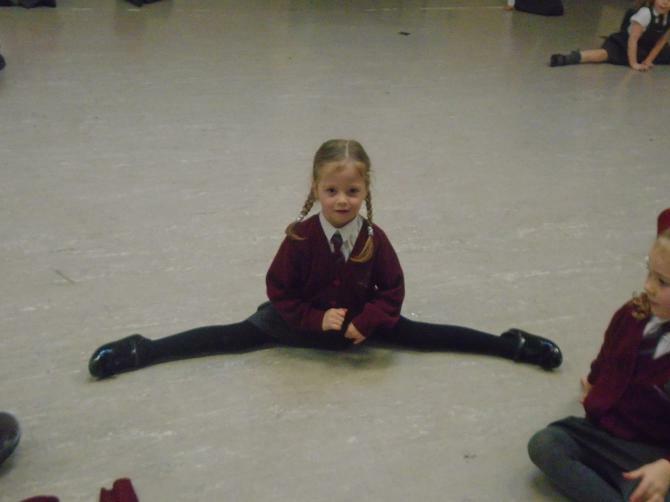 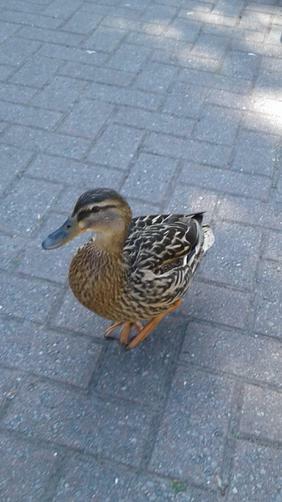 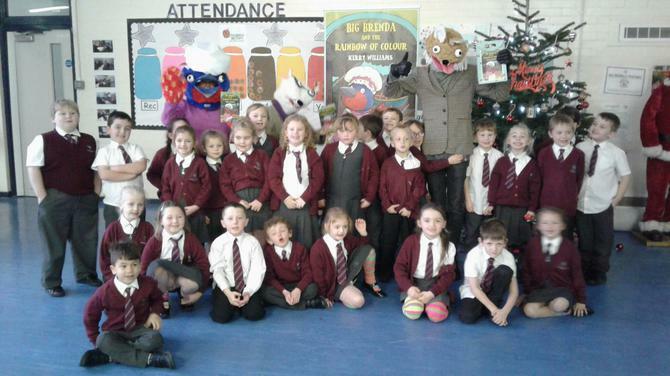 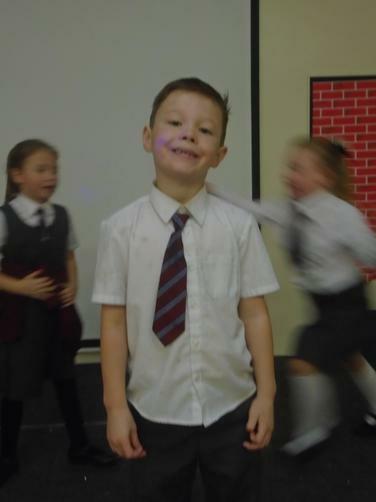 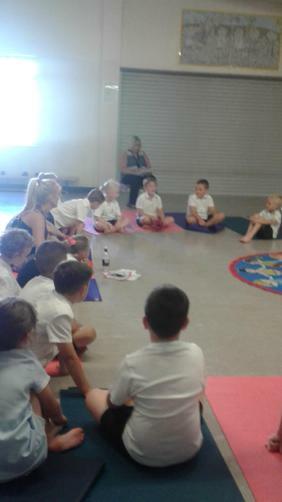 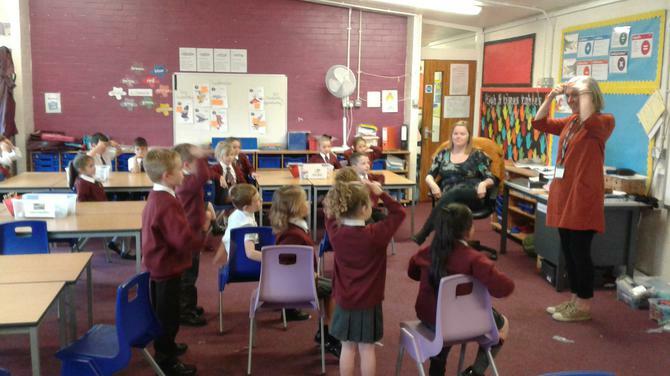 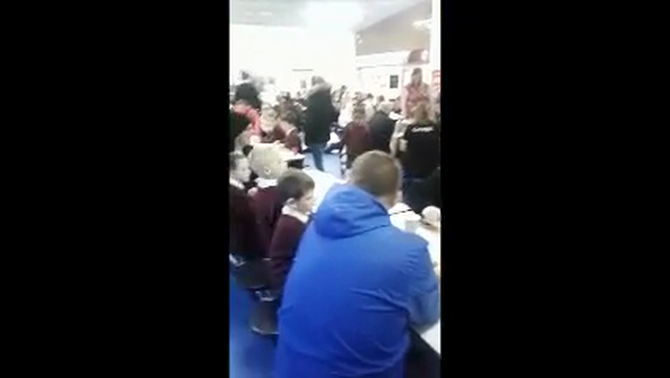 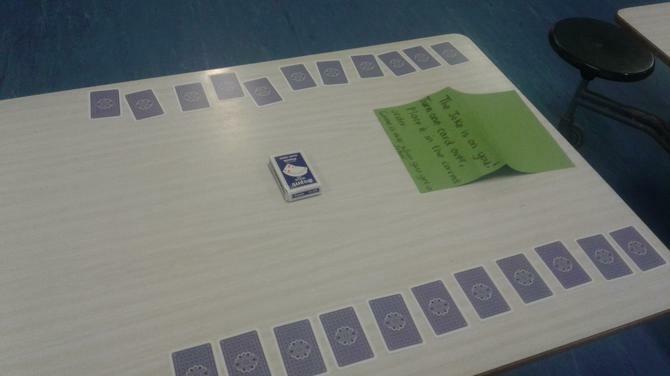 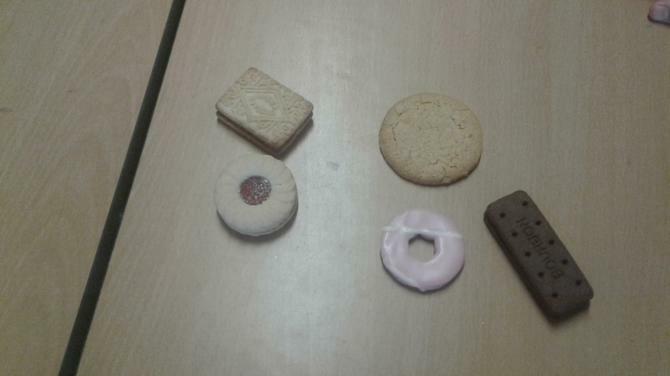 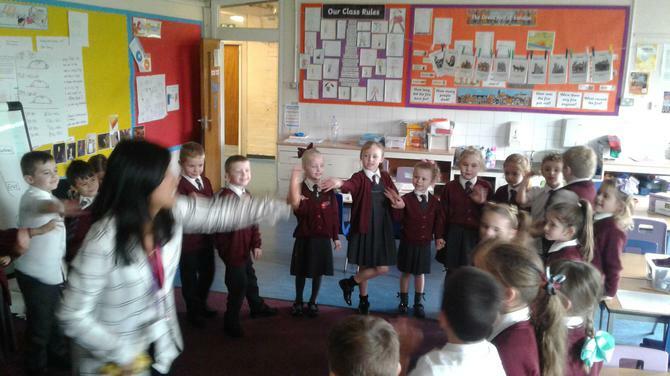 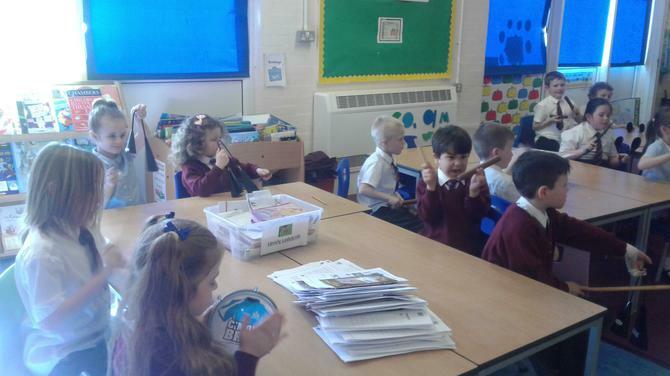 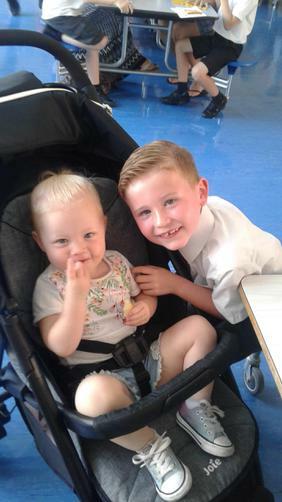 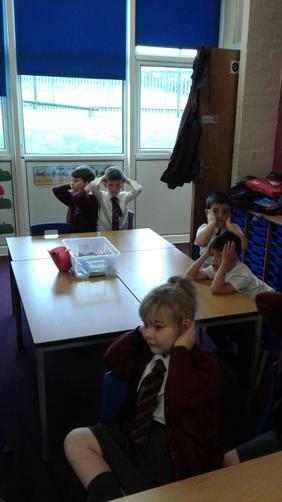 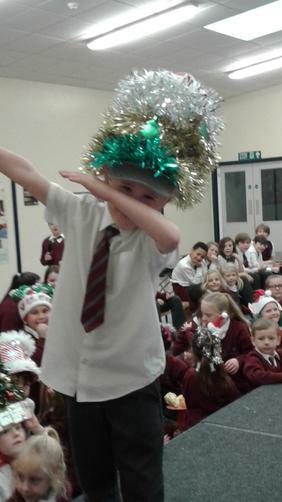 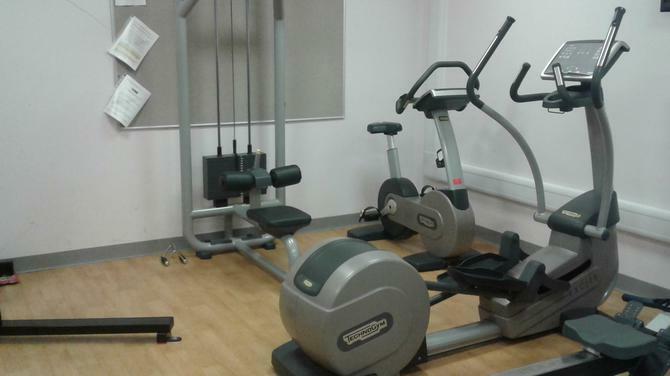 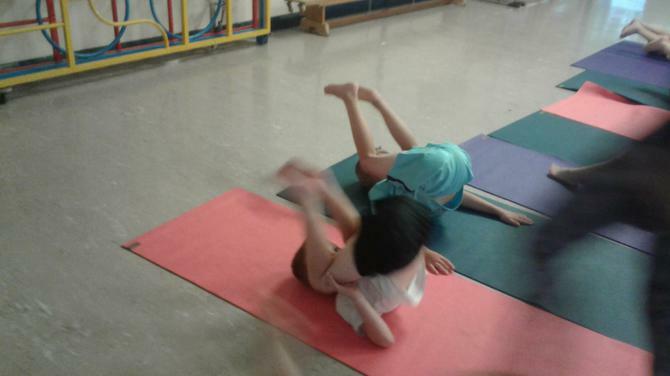 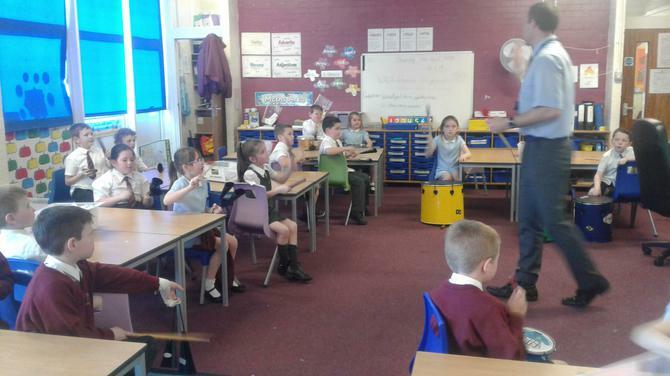 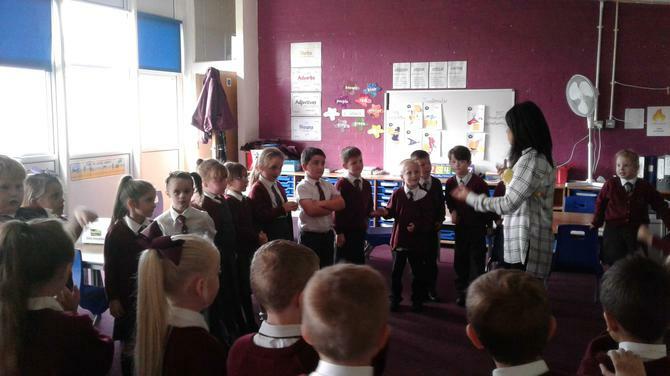 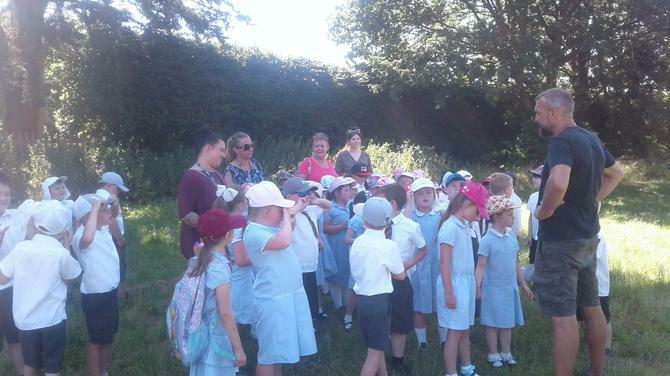 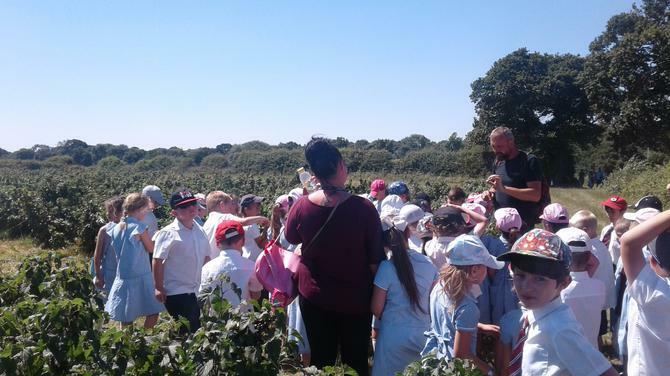 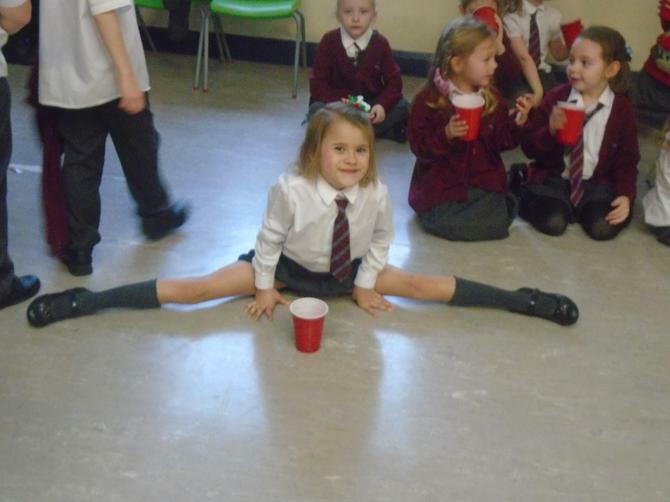 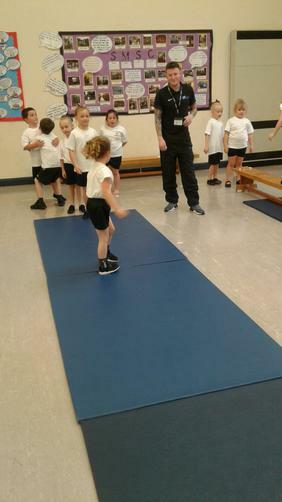 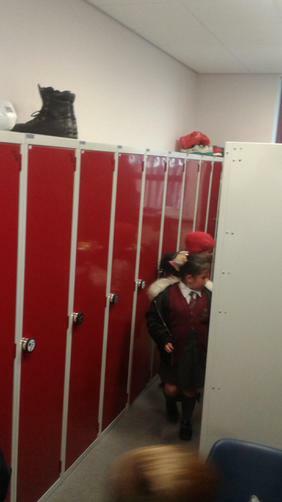 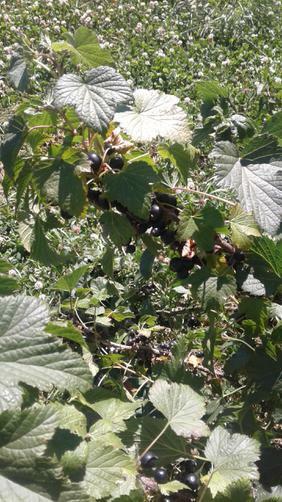 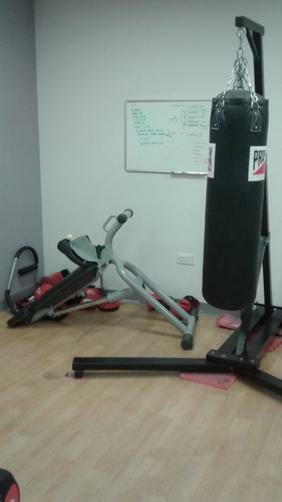 Hi and welcome to Year 2's class page! 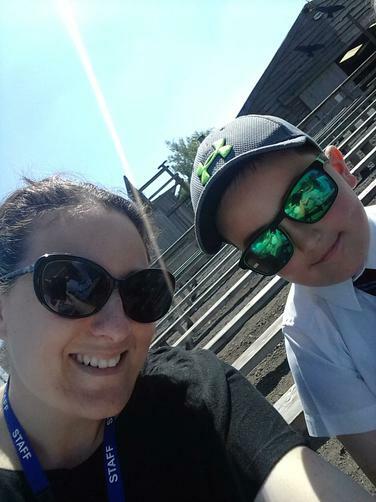 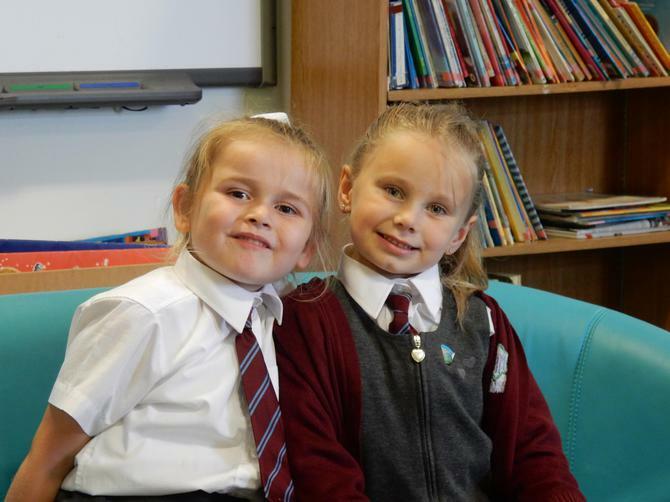 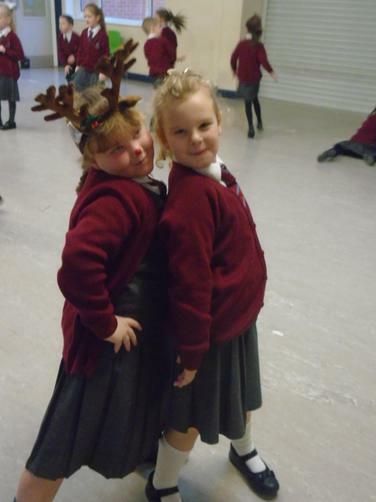 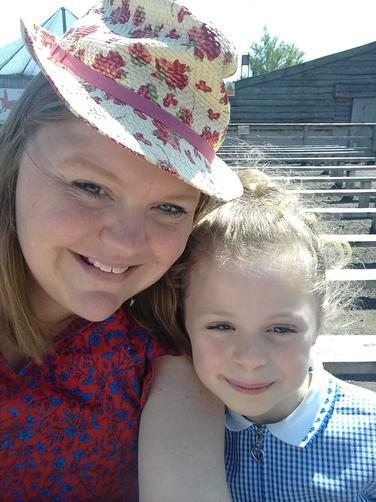 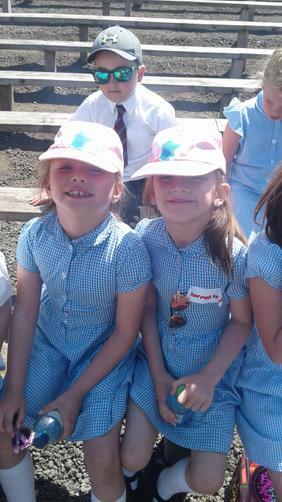 Our Teacher this year is Miss Harrison and our teaching assistant is Mrs Kelly. 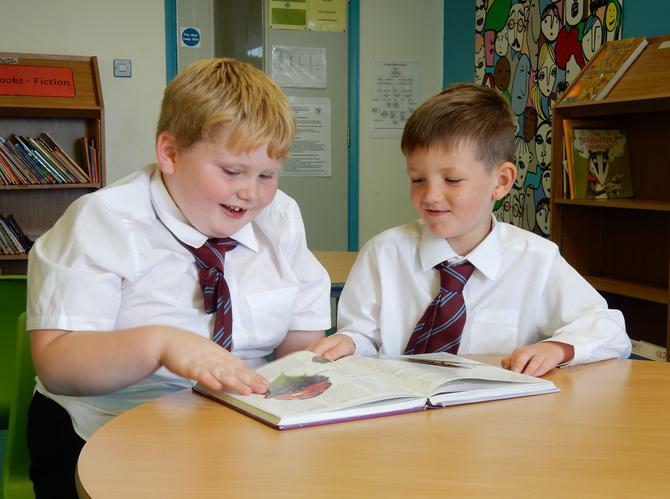 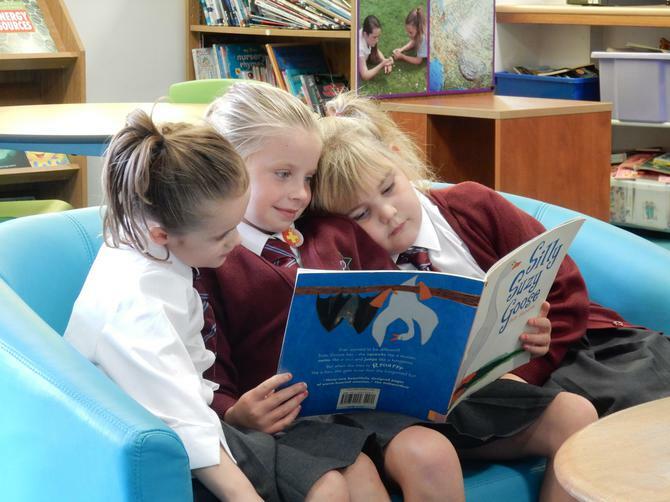 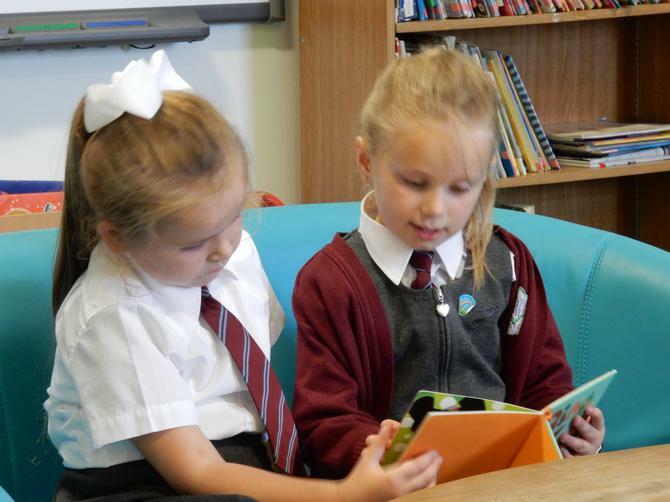 Reading books will be sent home daily and books will be changed whenever needed. 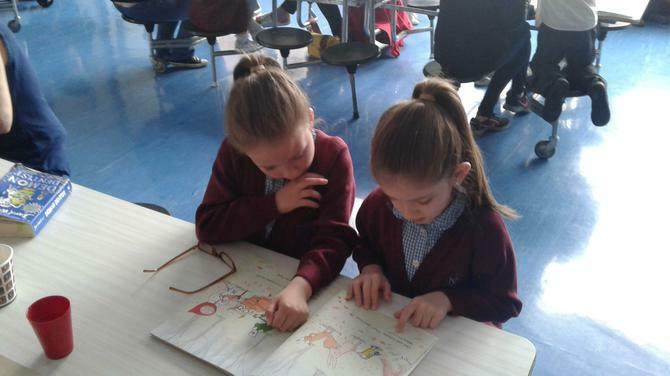 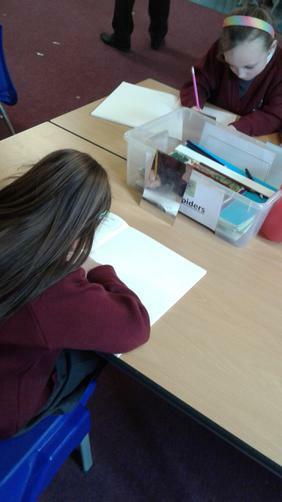 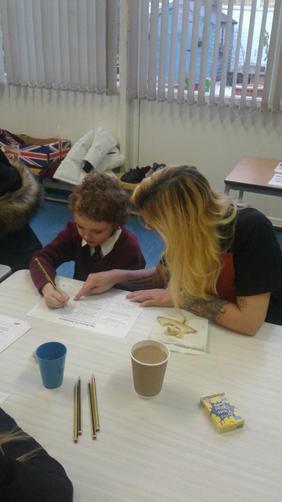 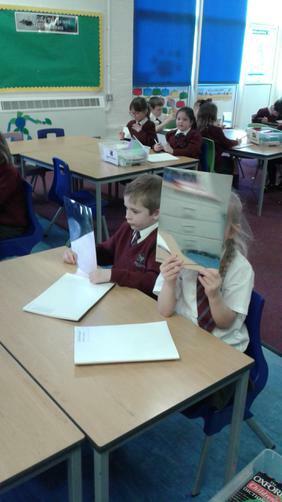 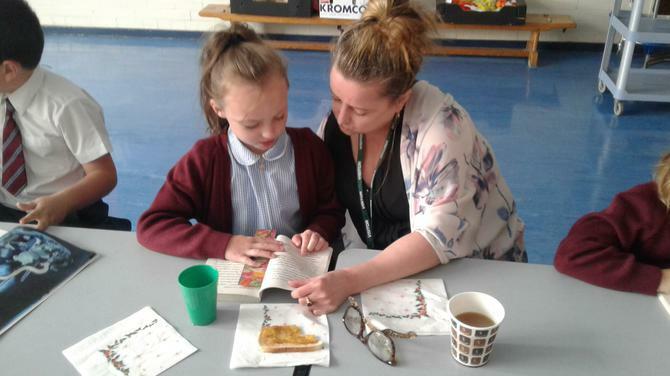 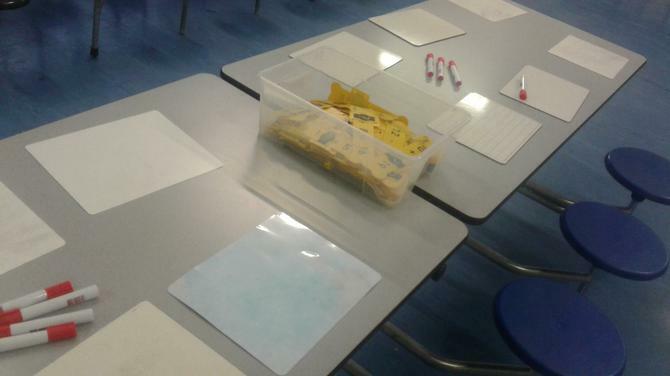 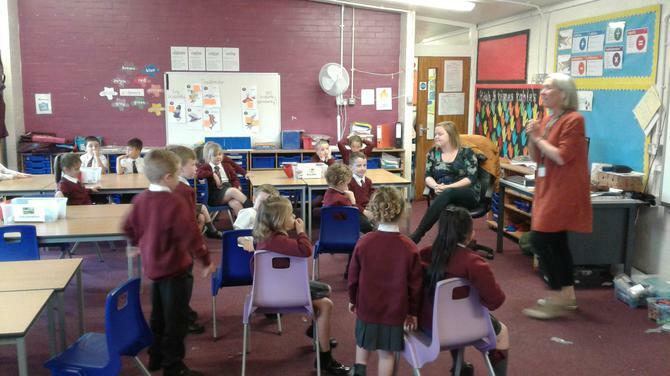 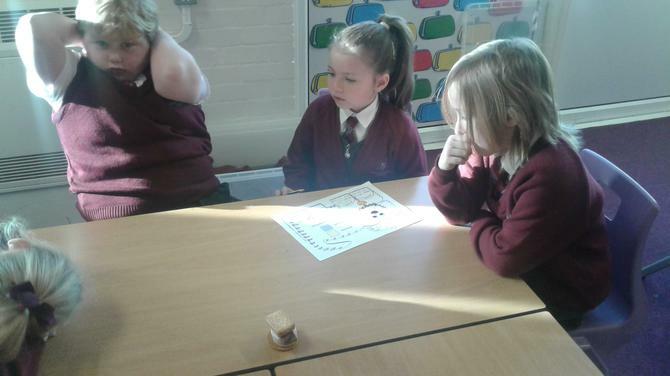 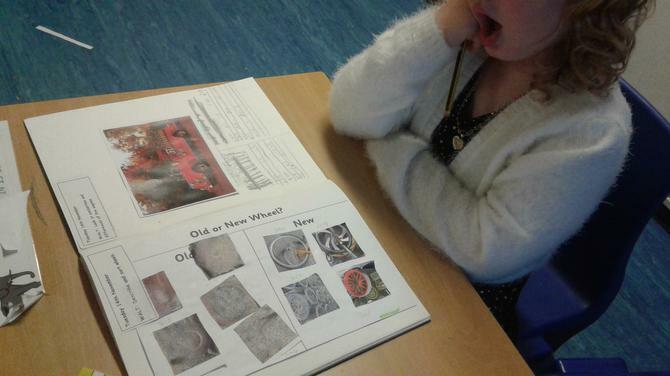 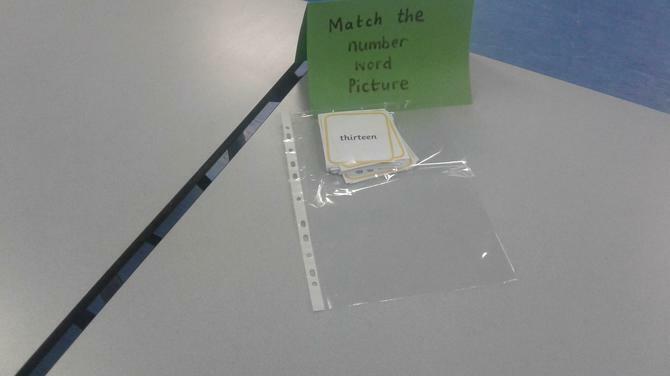 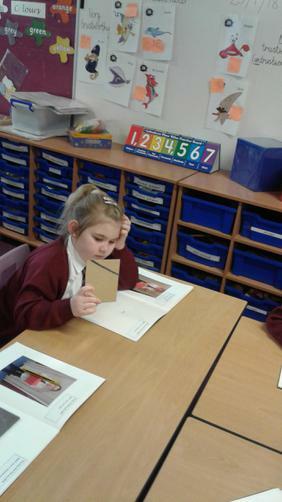 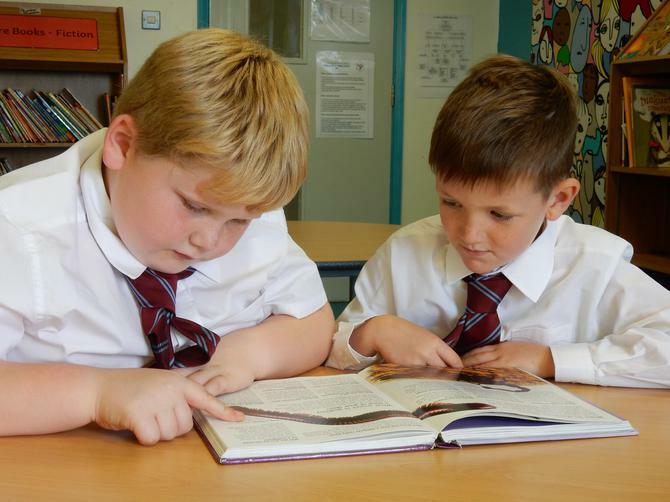 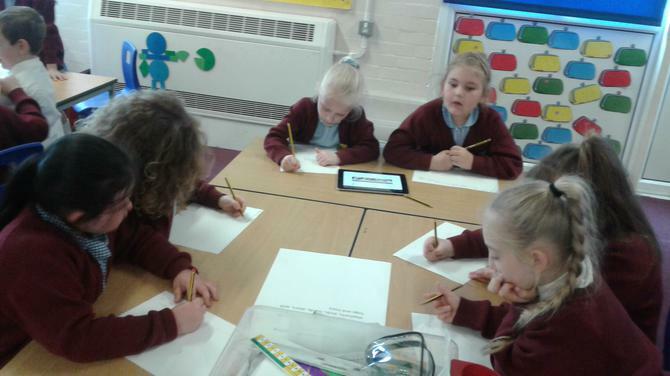 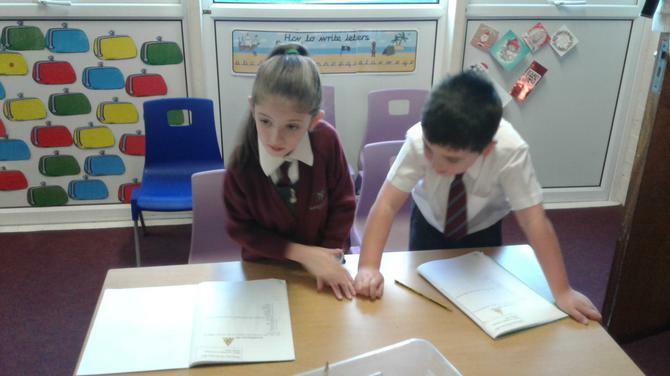 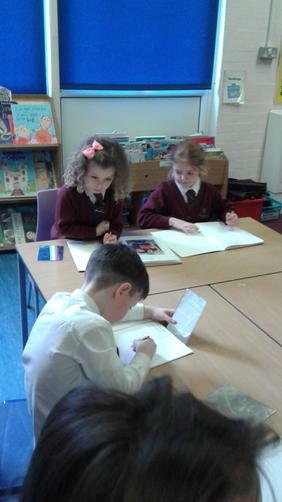 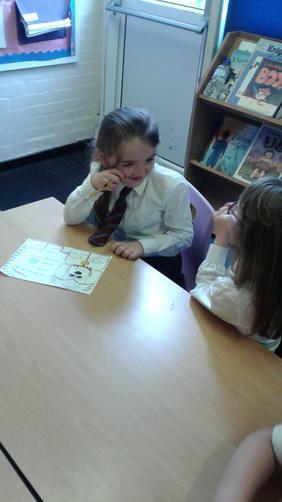 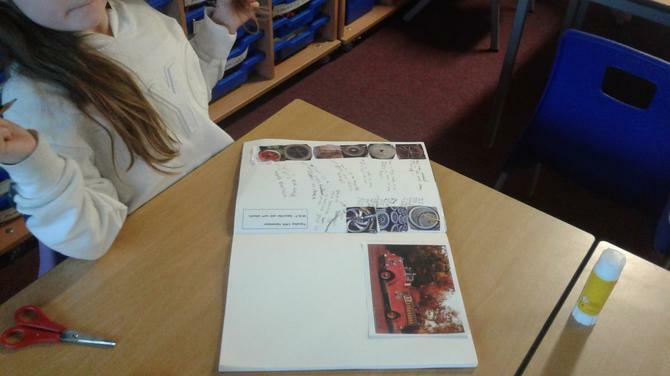 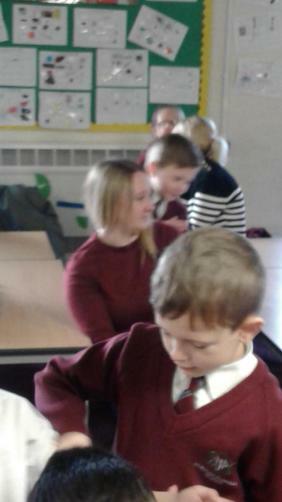 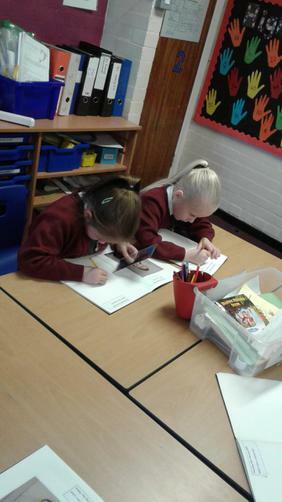 Children will complete a guided reading session each week with Miss Harrison and Mrs Kelly . 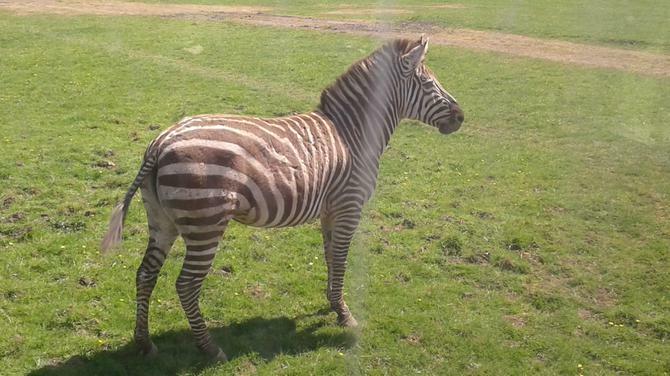 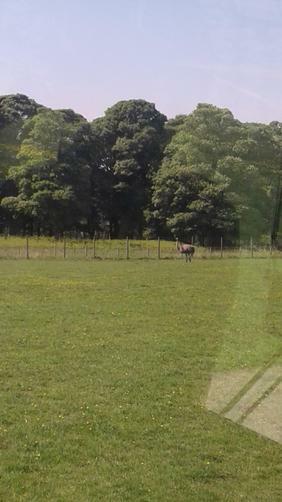 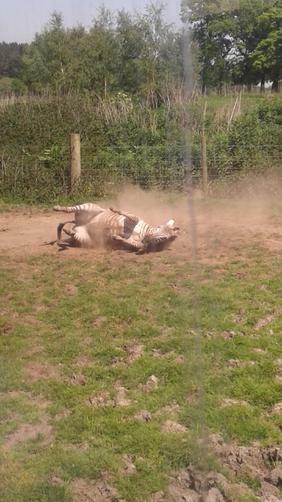 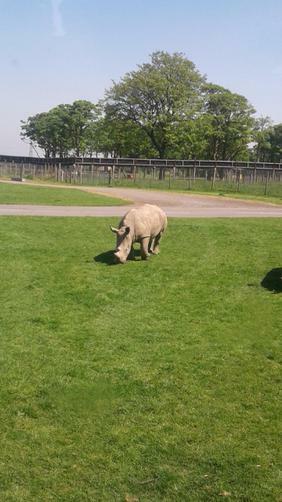 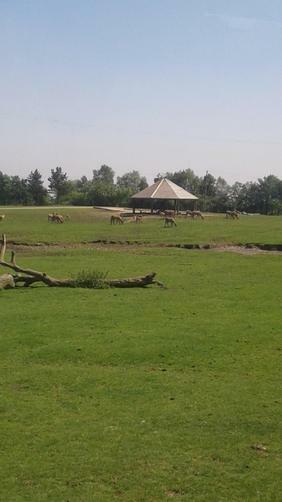 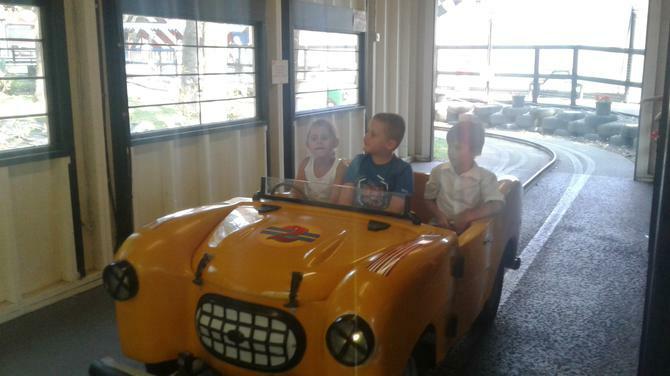 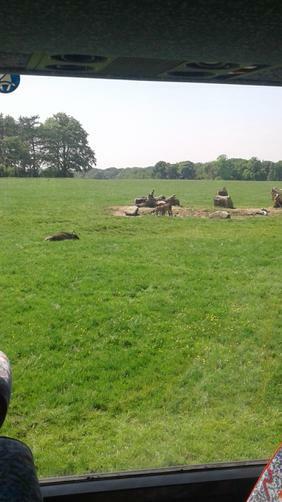 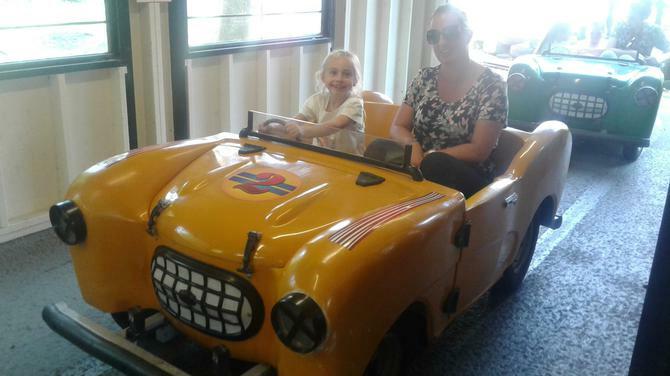 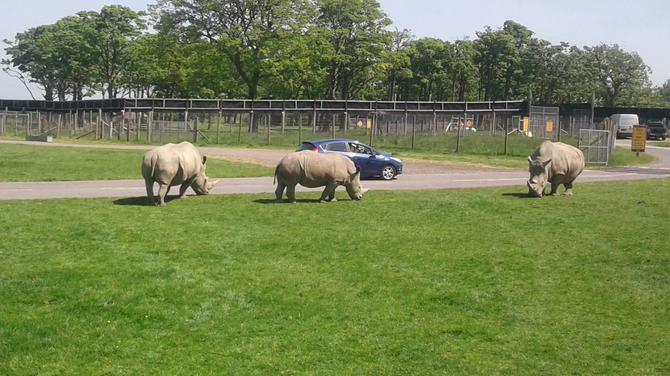 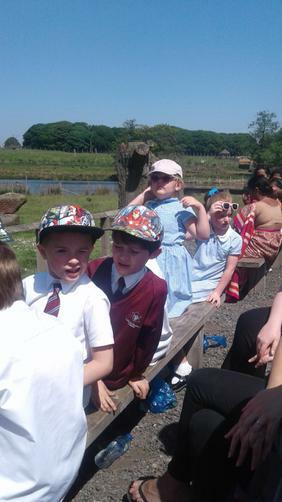 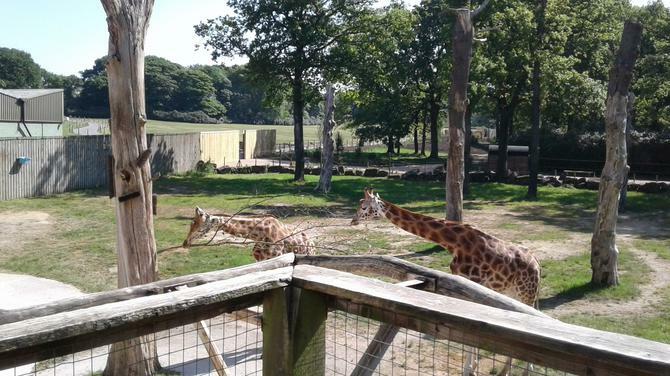 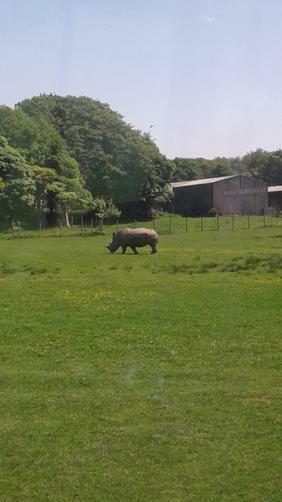 We had a fantastic day at Knowsley Safari Park. 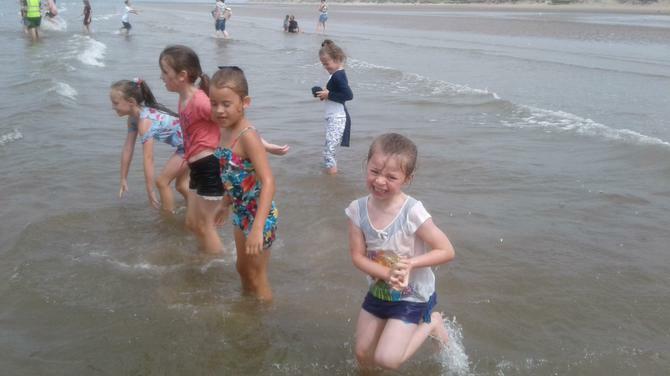 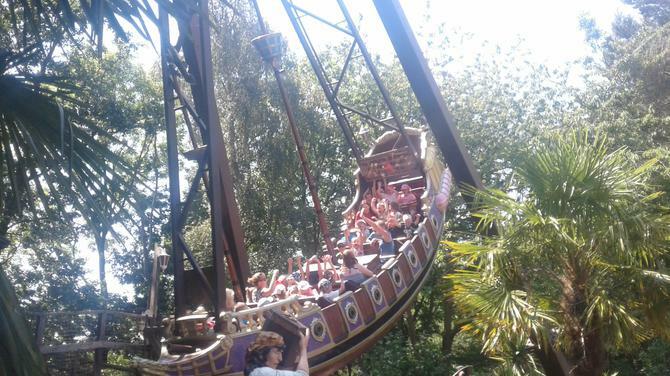 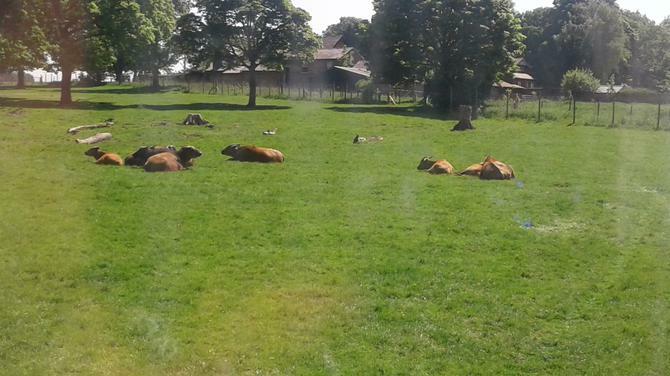 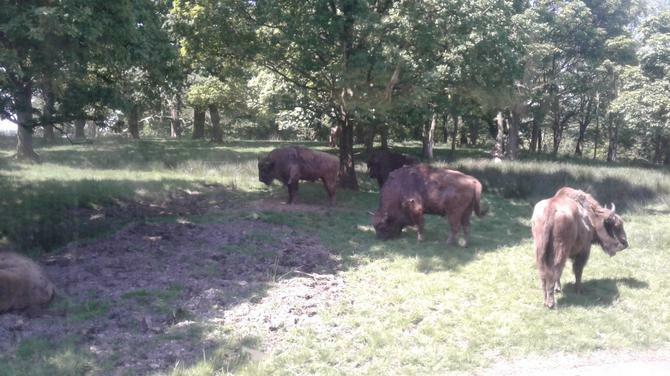 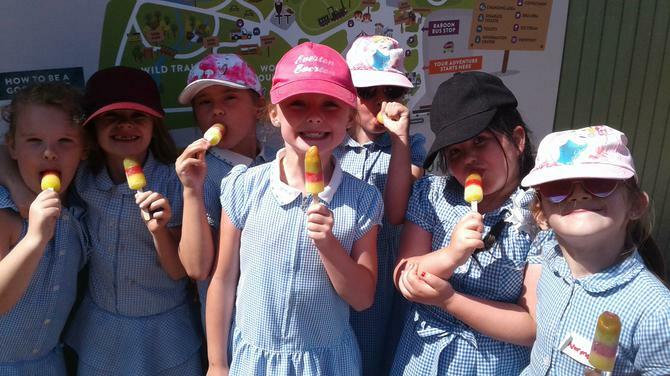 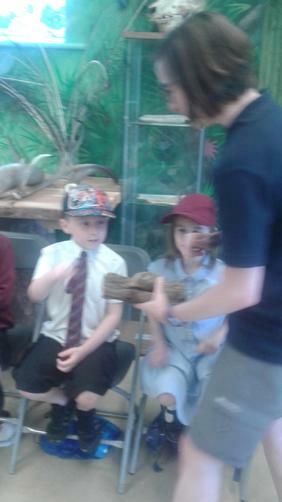 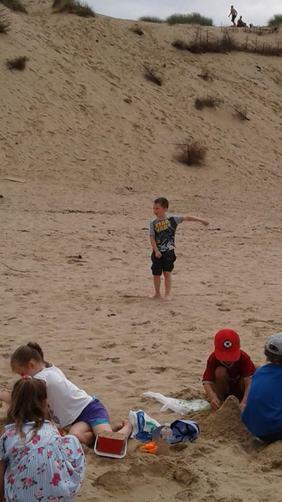 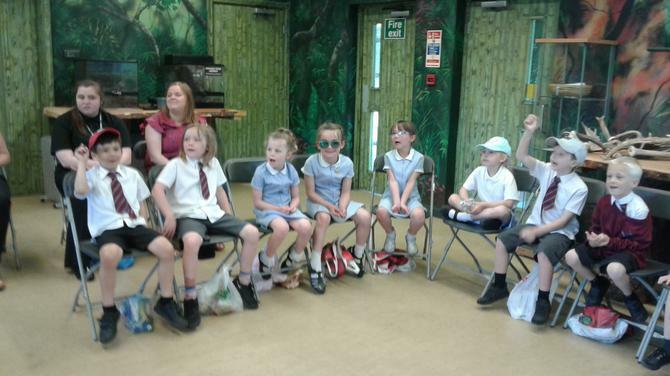 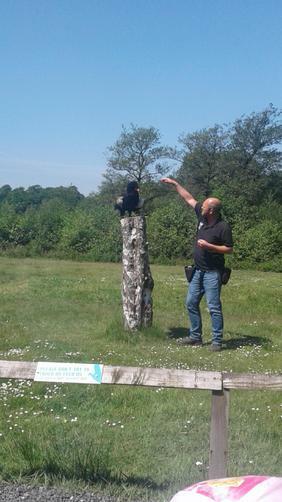 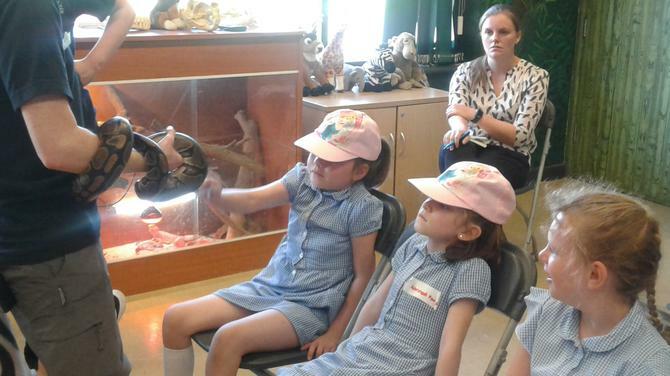 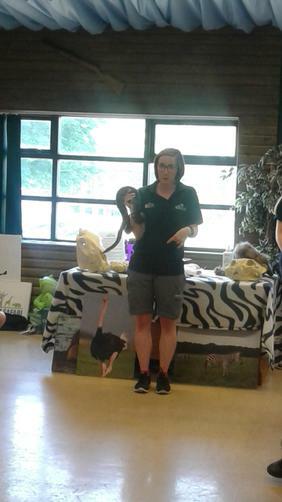 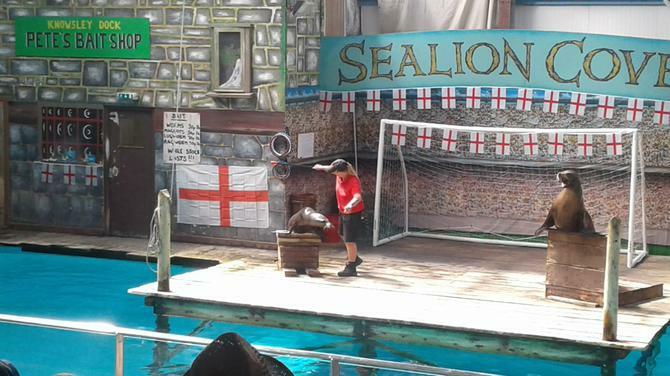 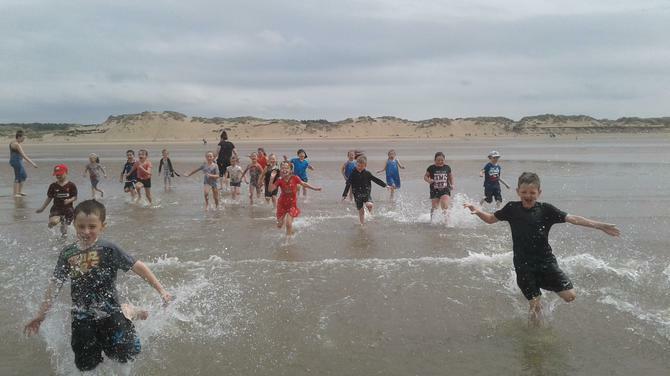 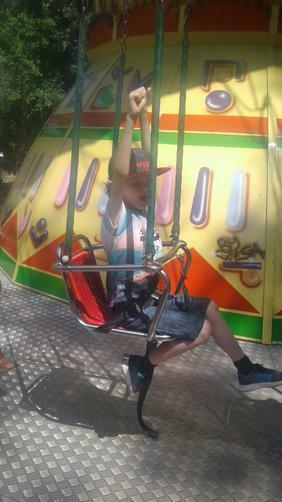 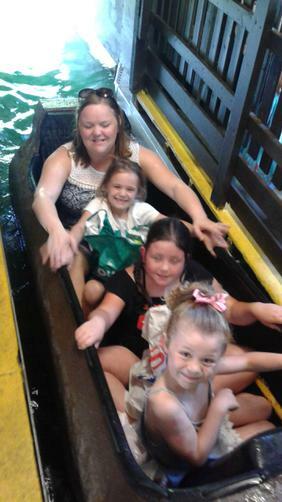 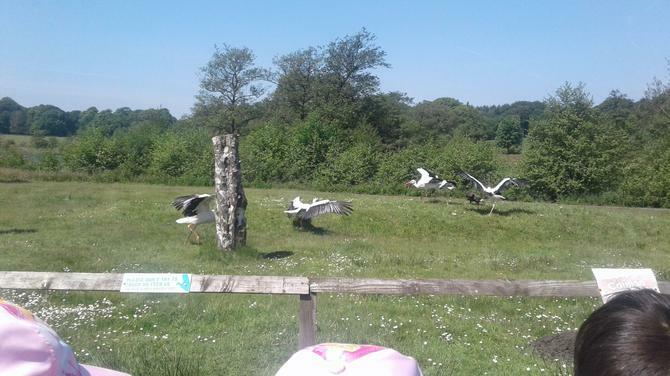 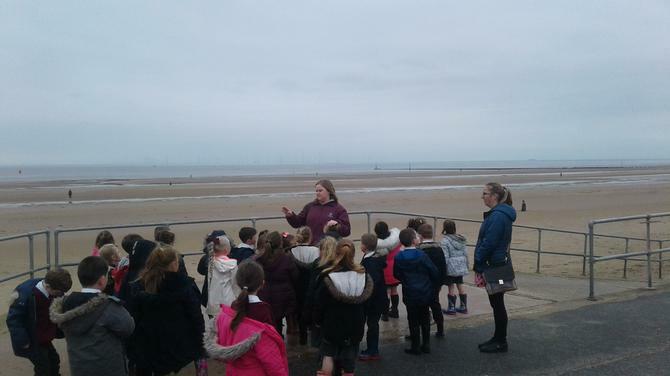 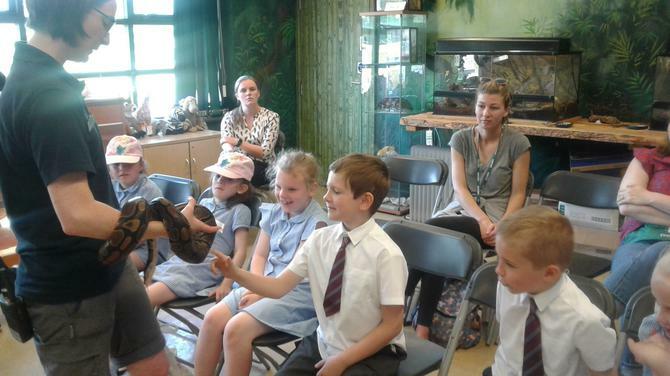 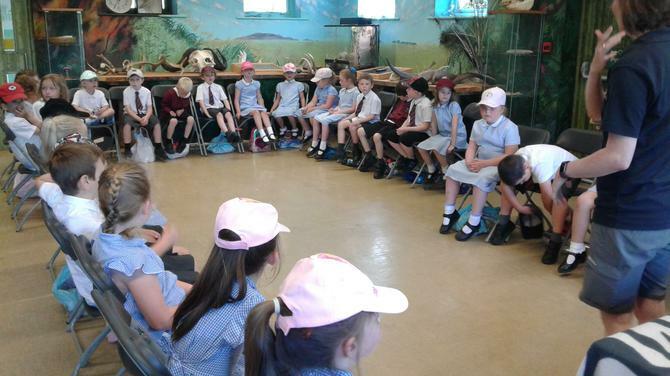 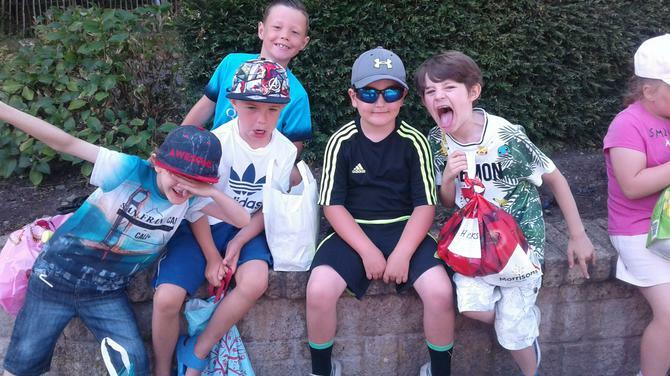 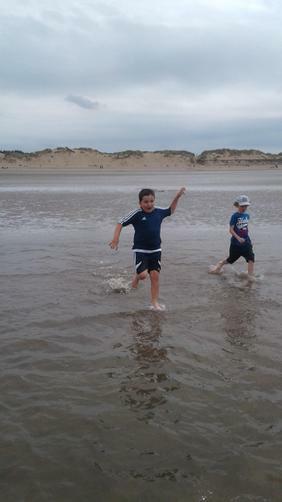 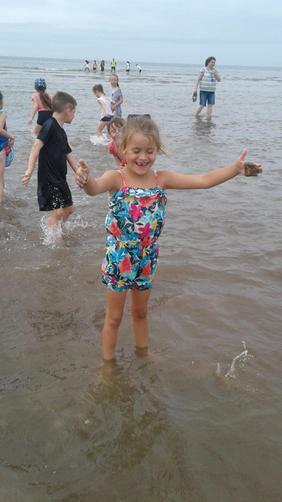 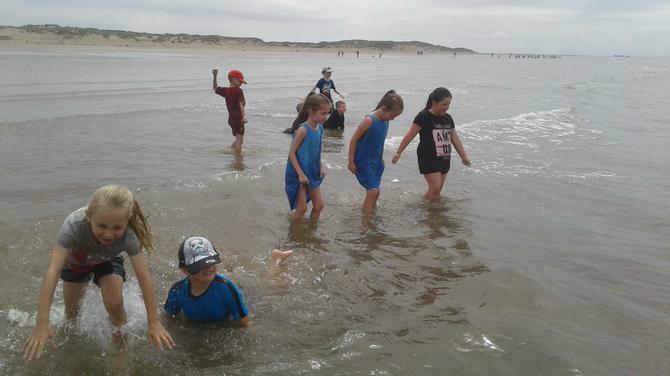 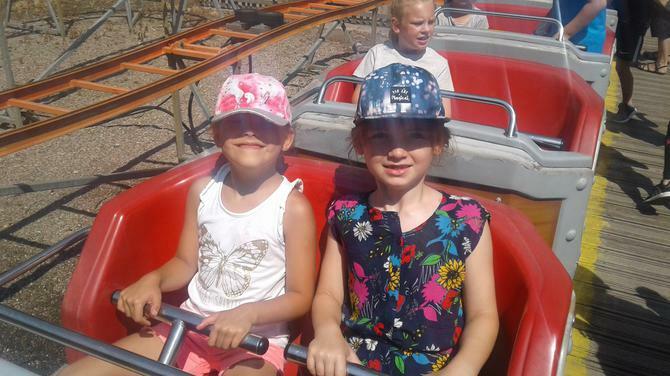 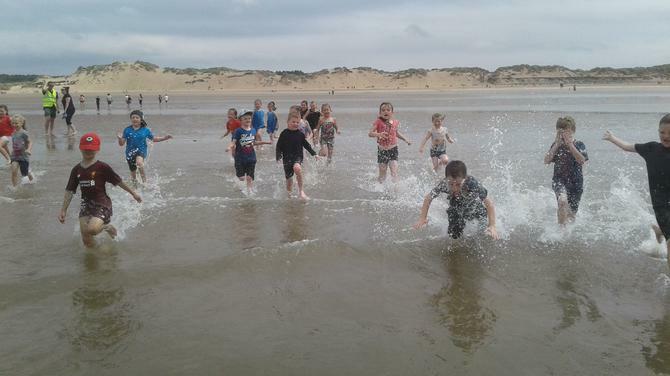 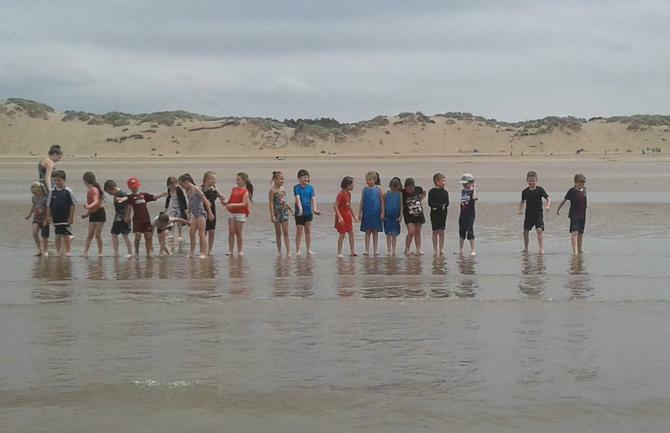 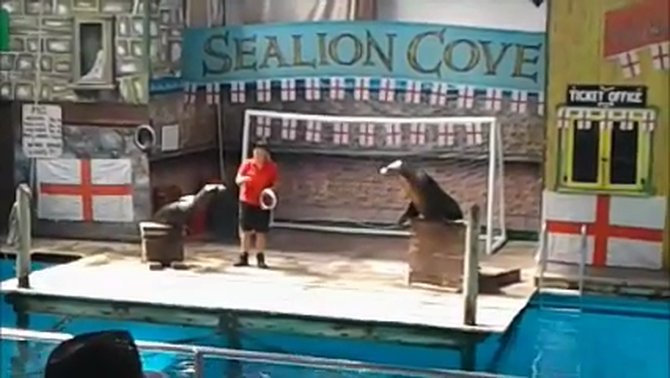 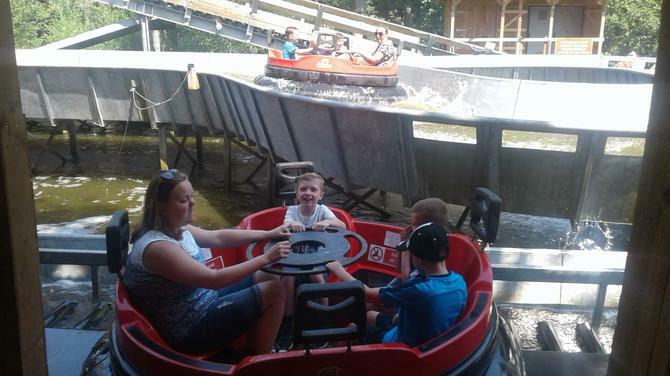 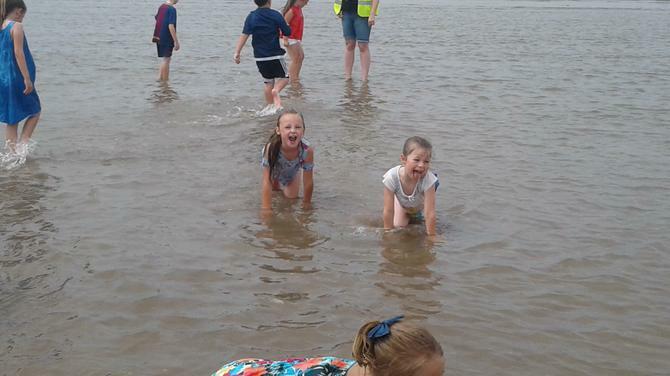 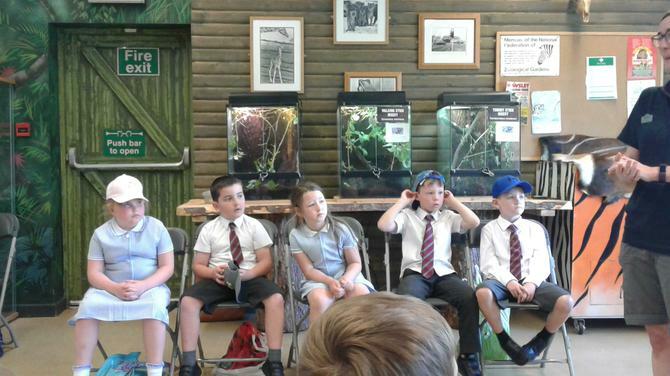 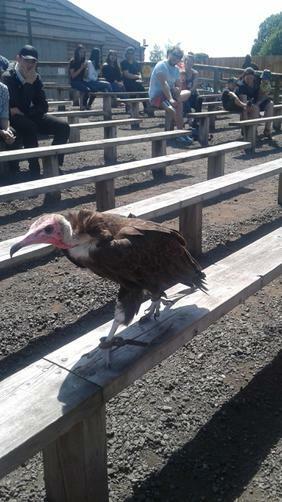 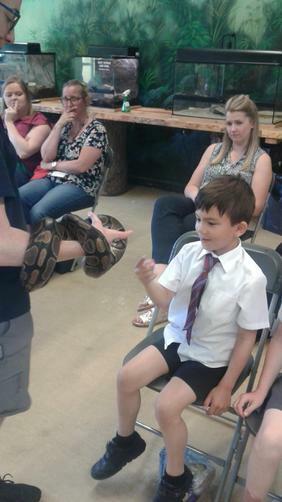 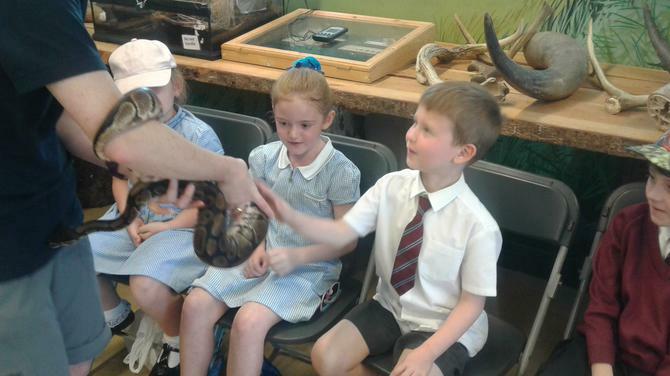 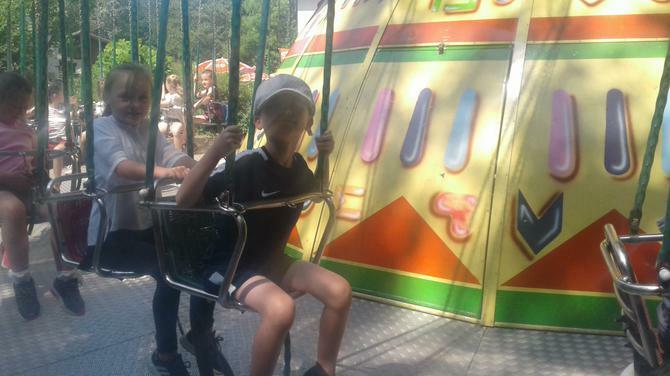 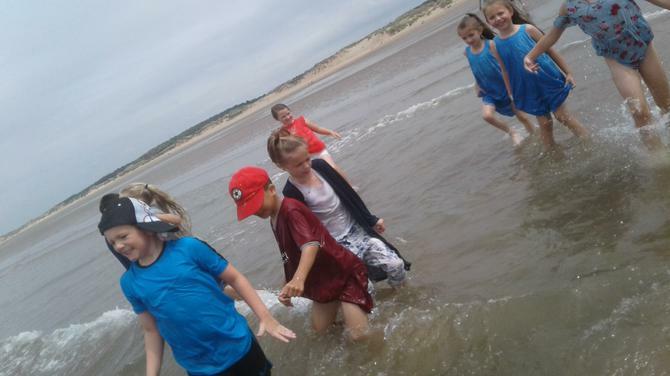 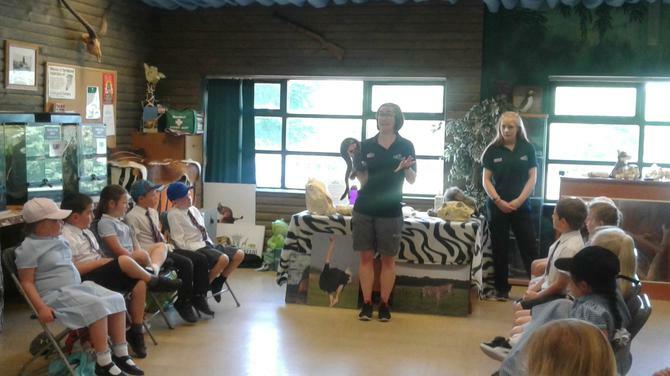 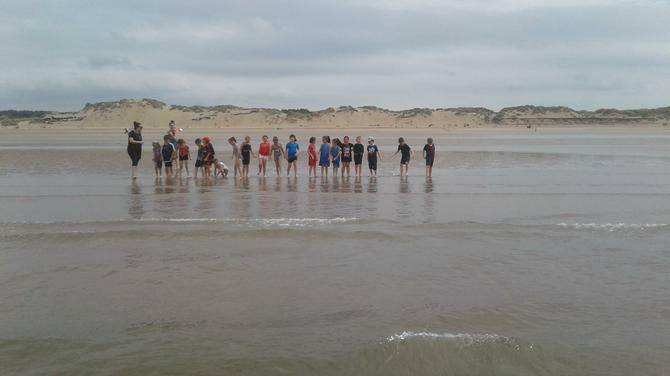 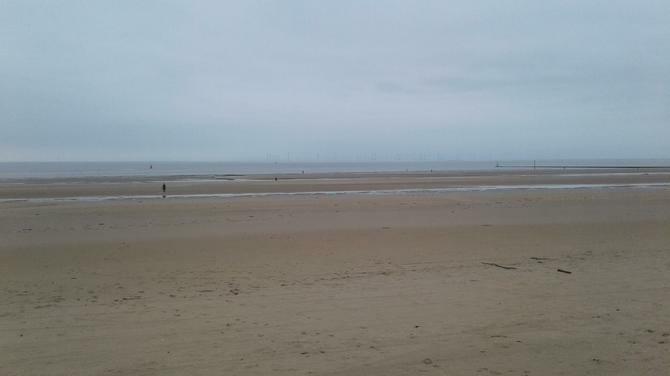 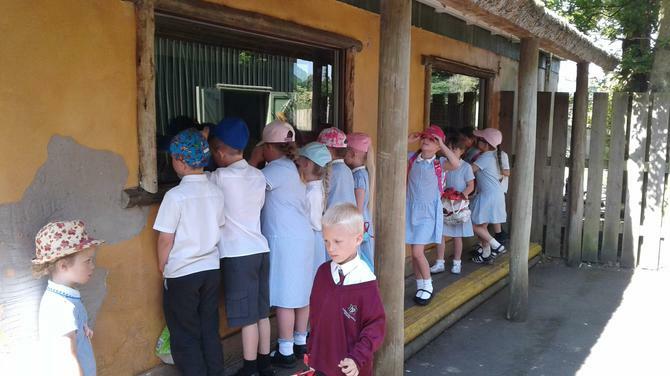 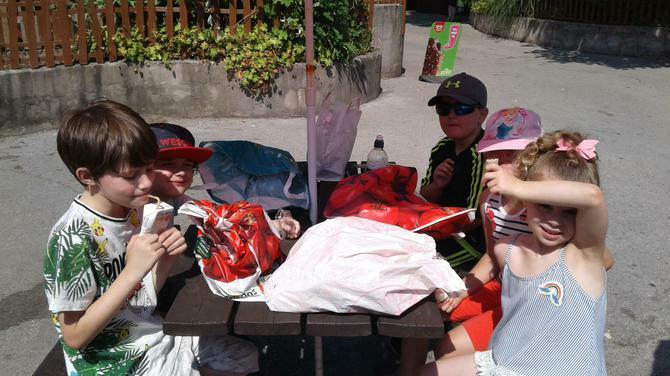 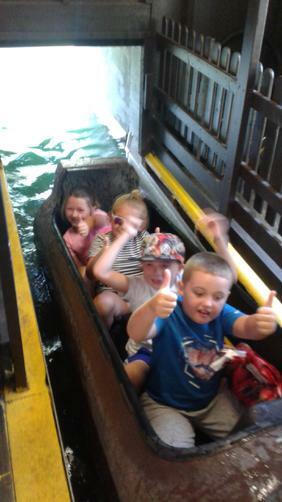 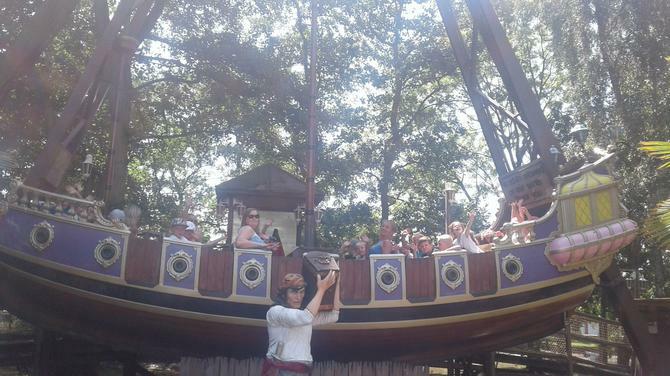 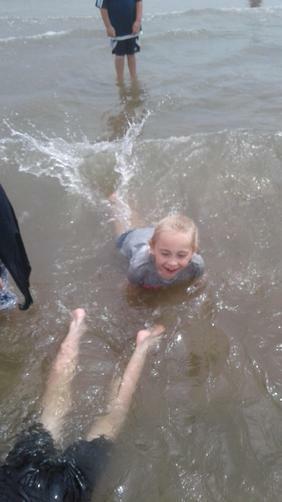 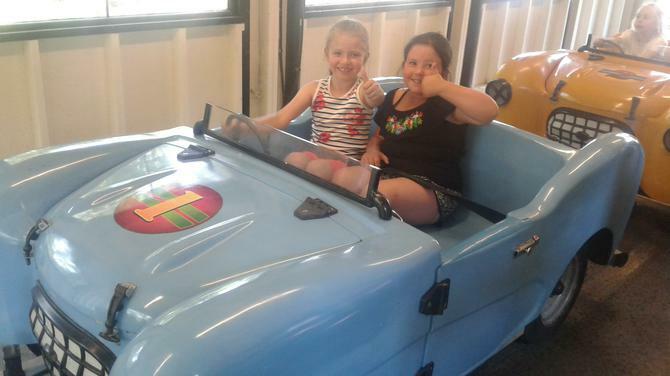 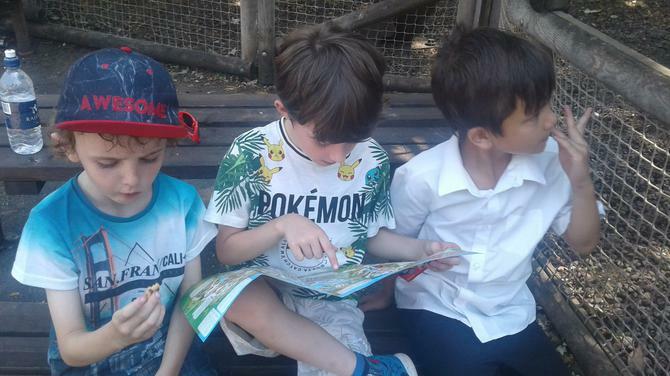 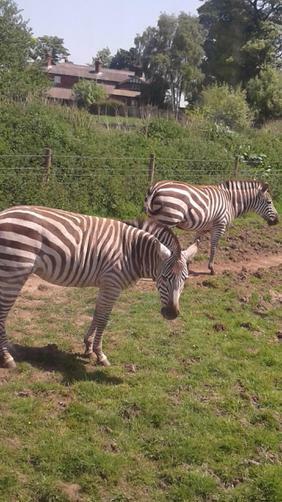 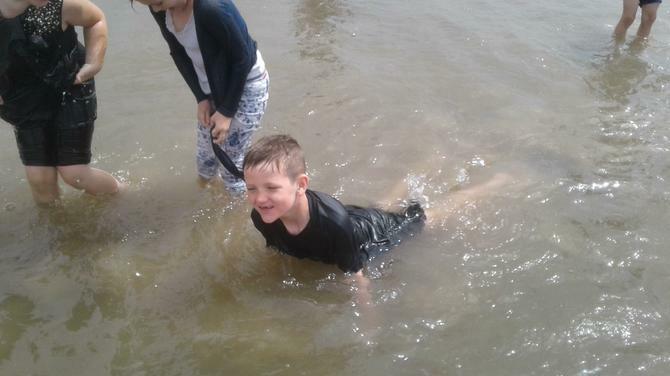 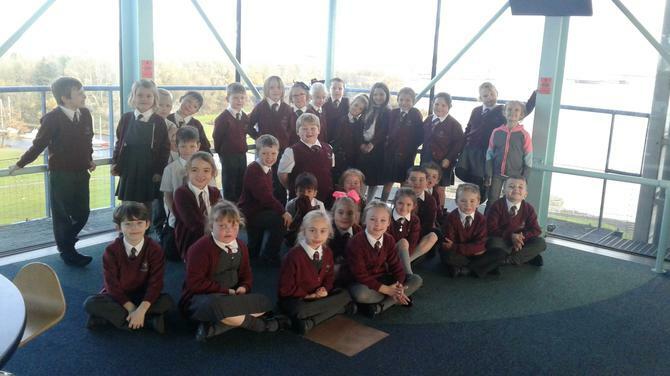 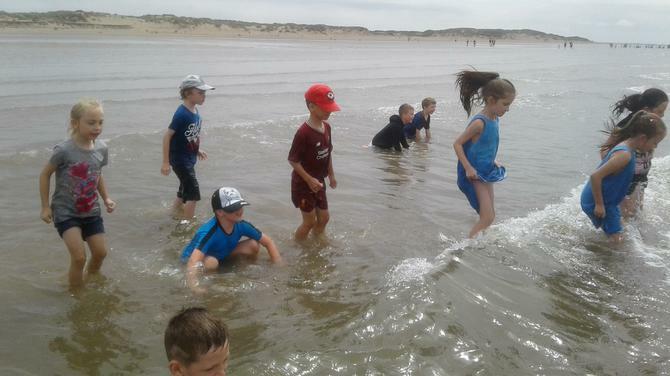 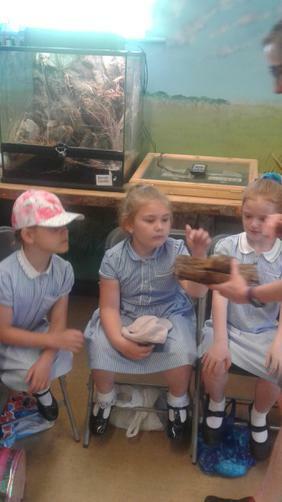 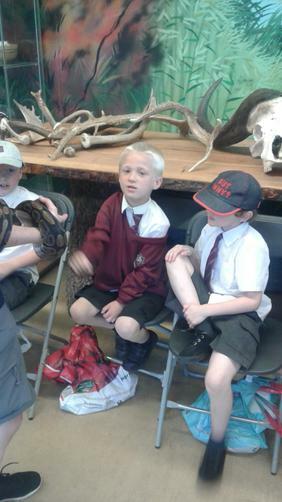 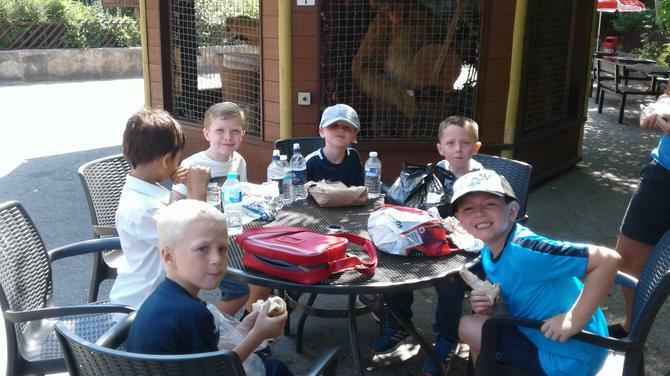 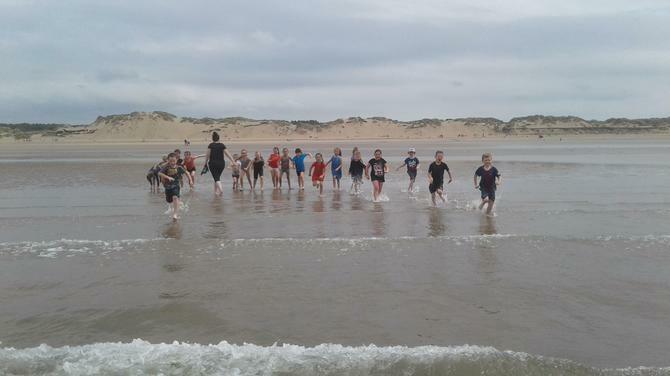 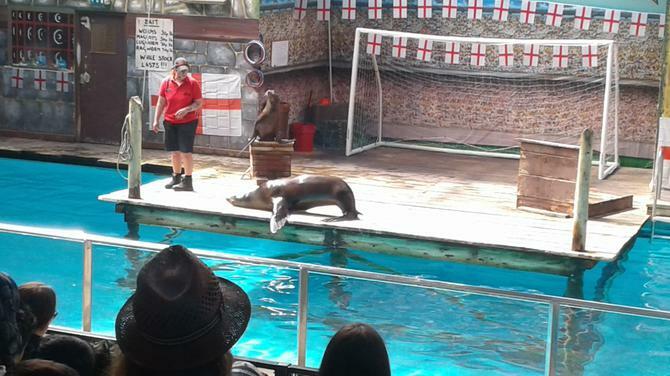 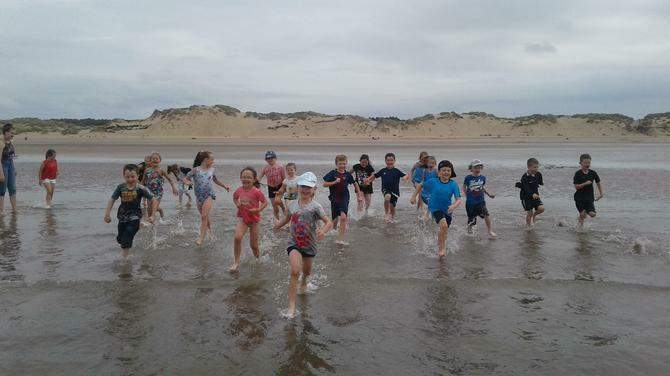 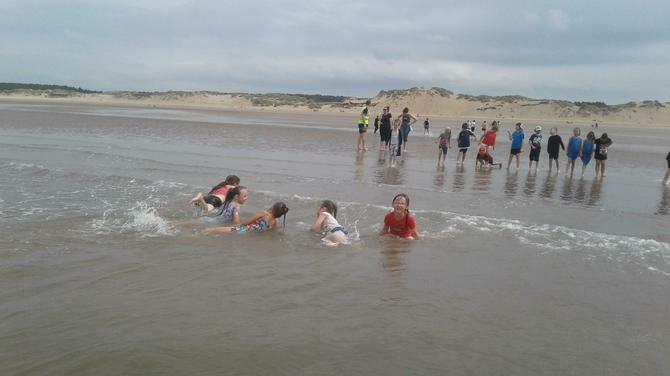 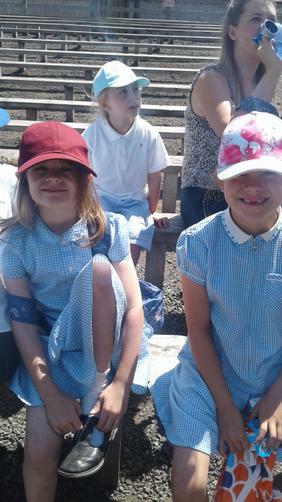 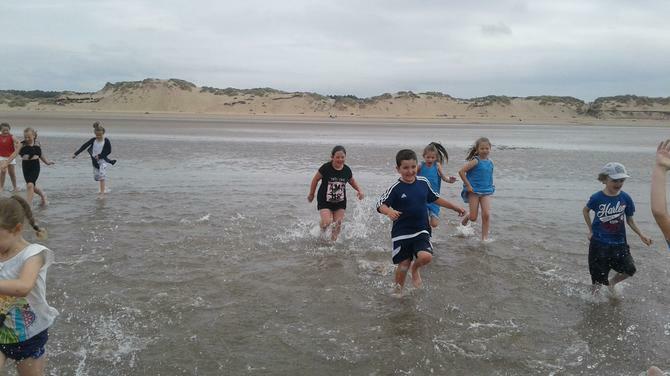 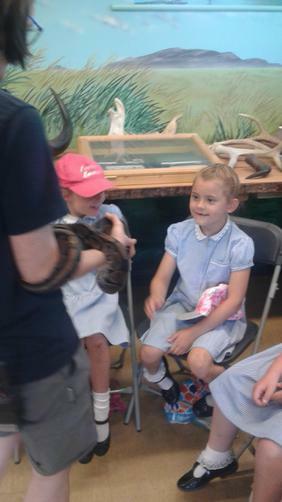 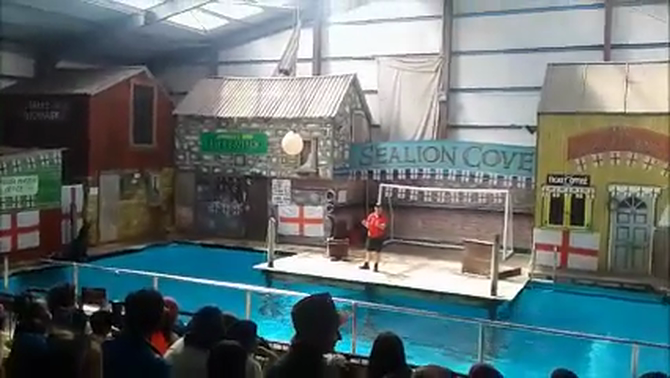 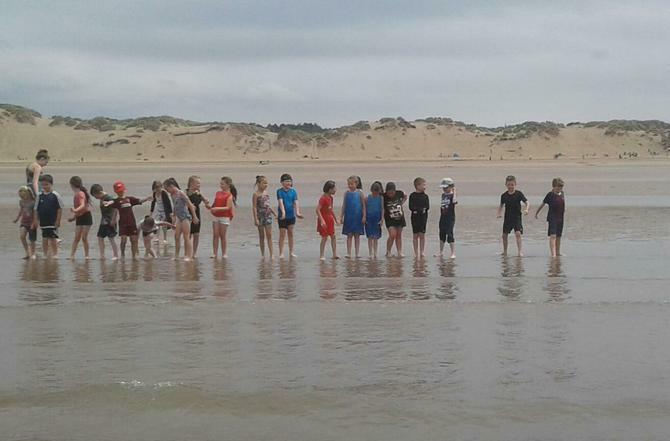 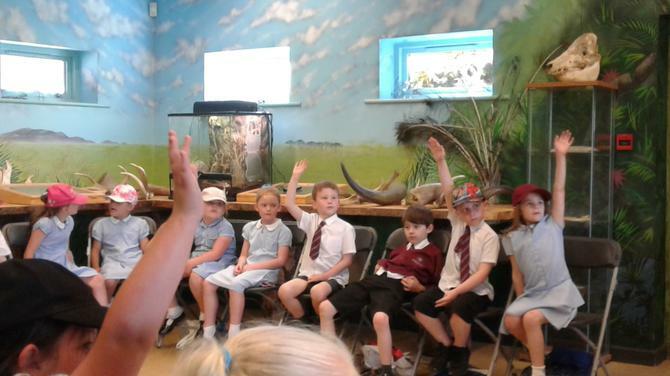 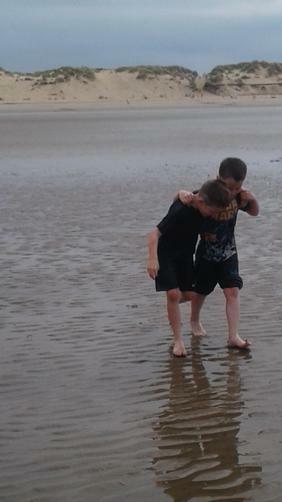 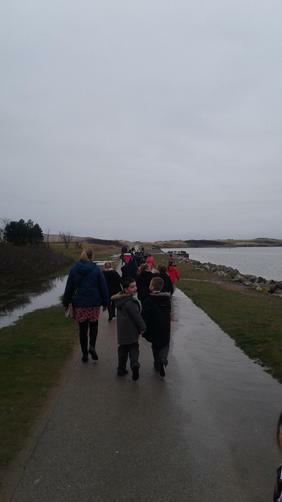 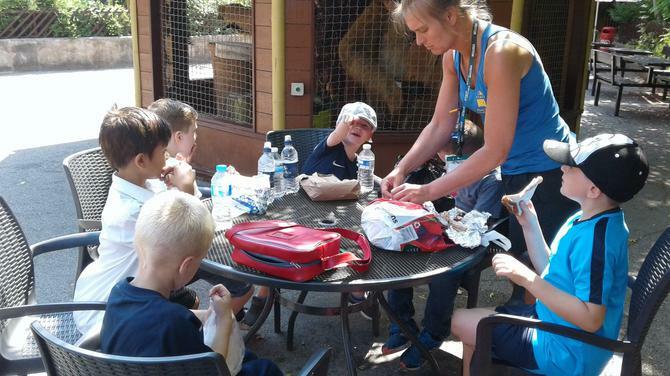 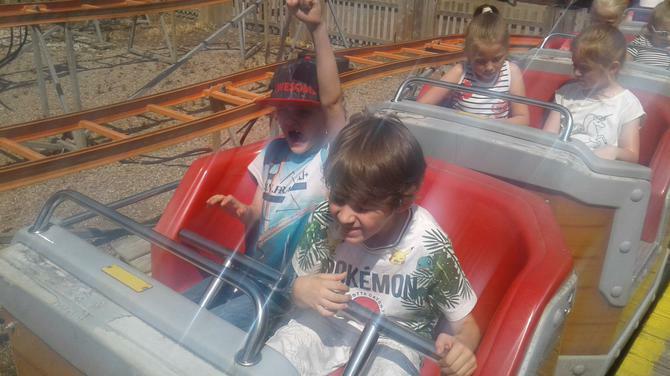 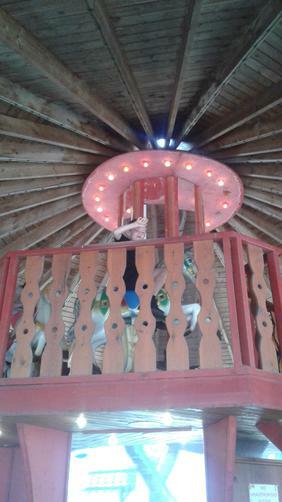 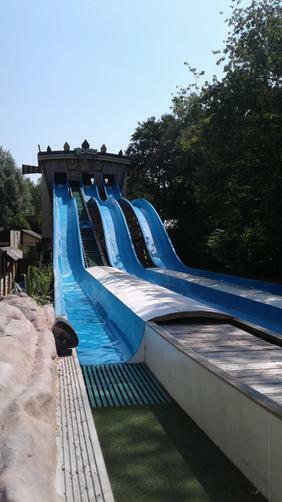 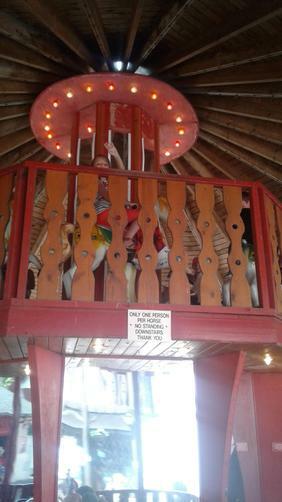 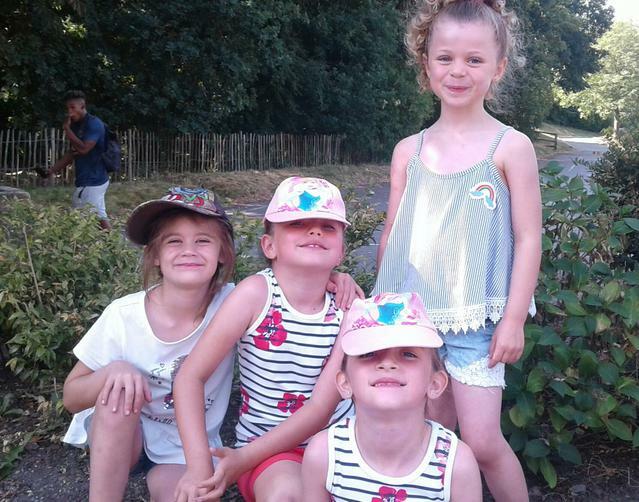 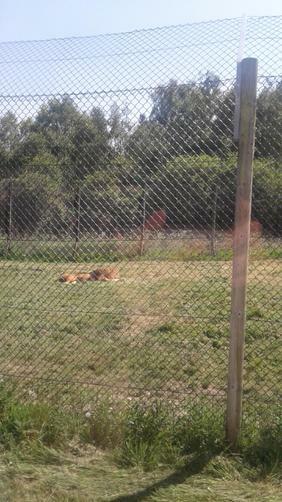 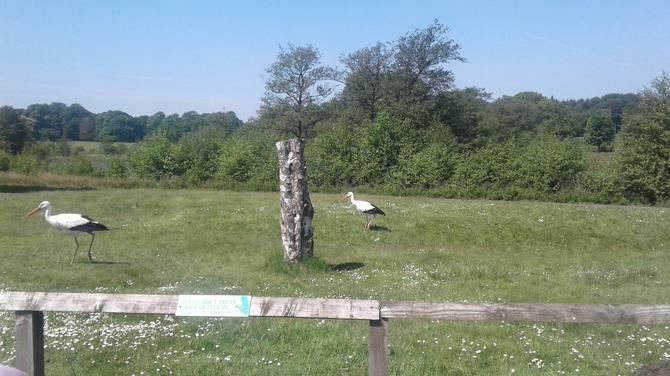 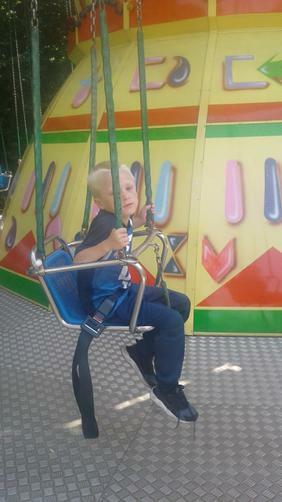 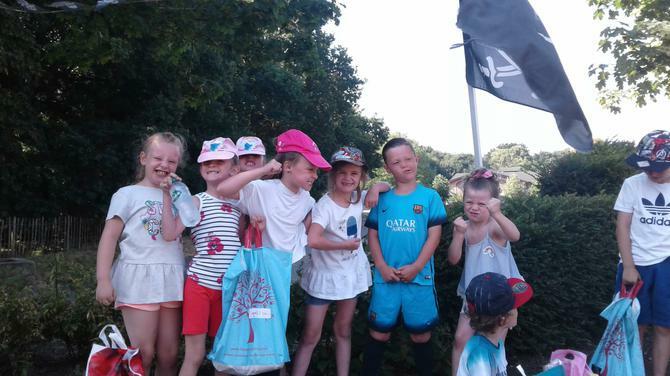 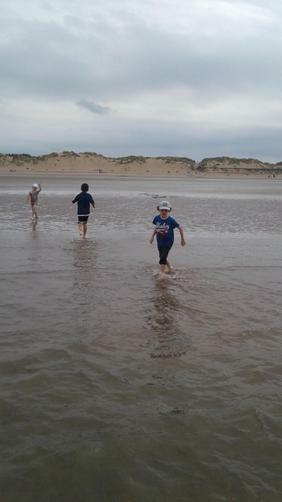 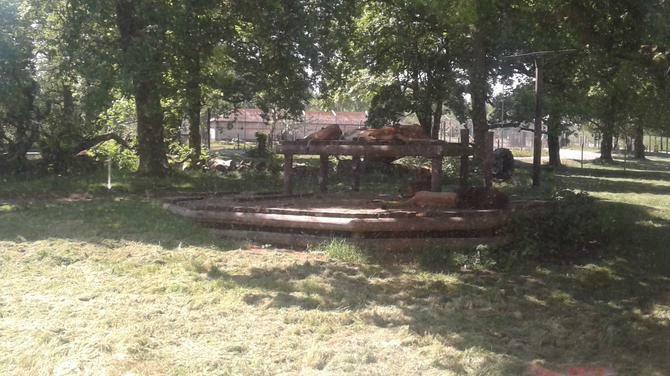 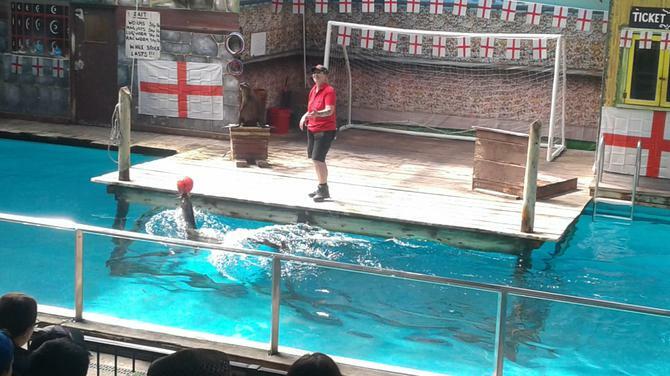 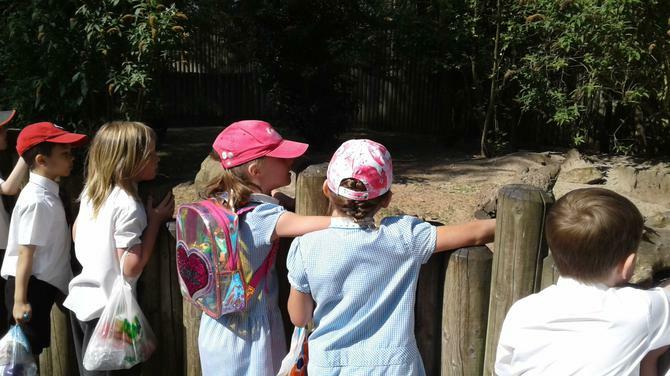 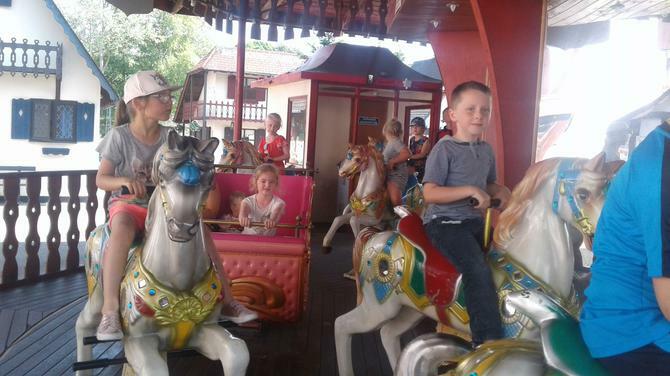 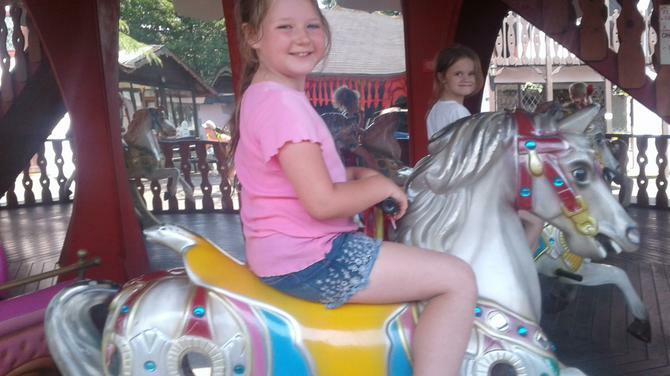 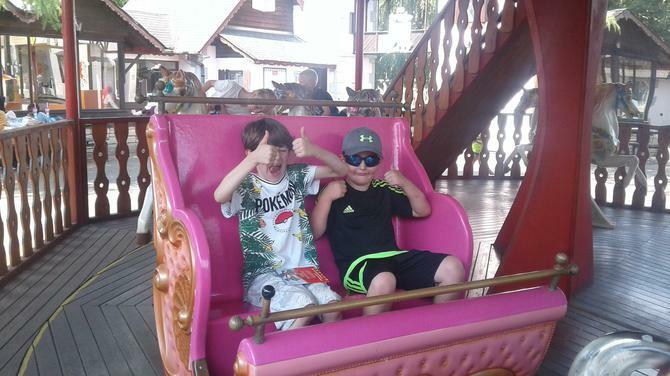 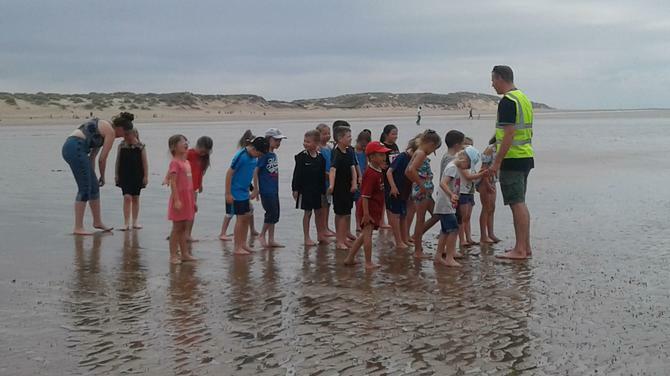 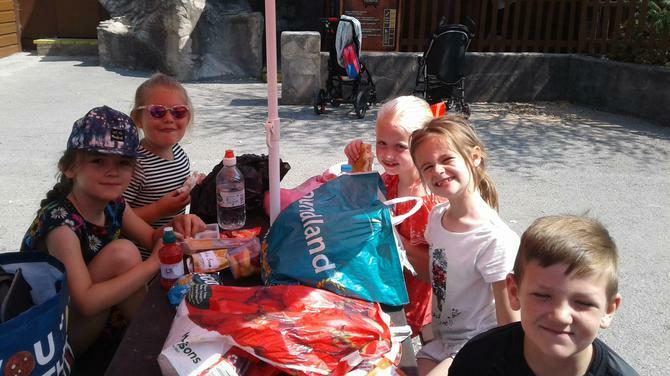 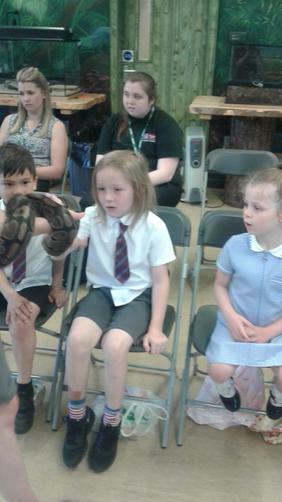 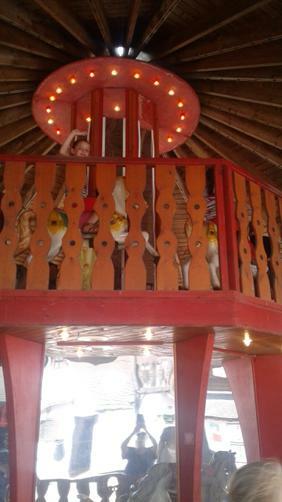 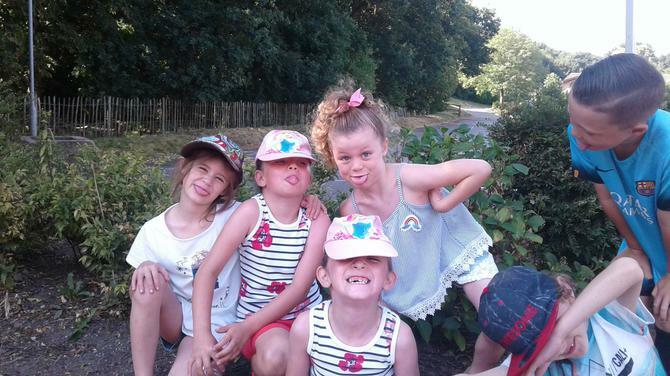 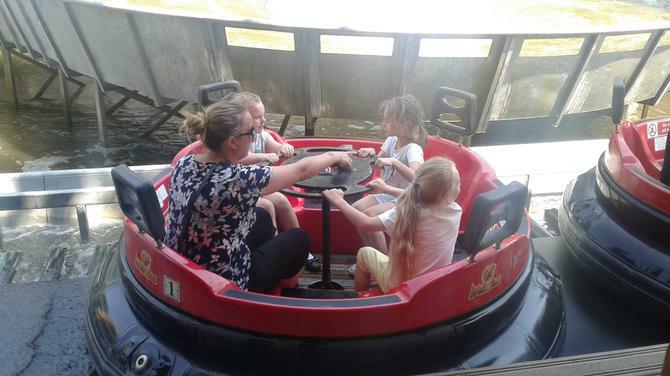 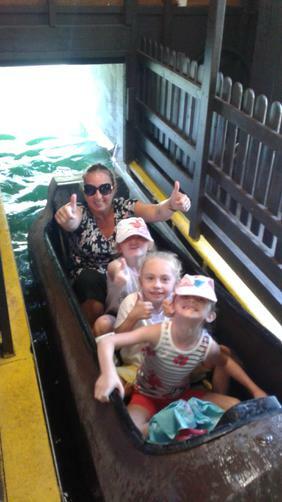 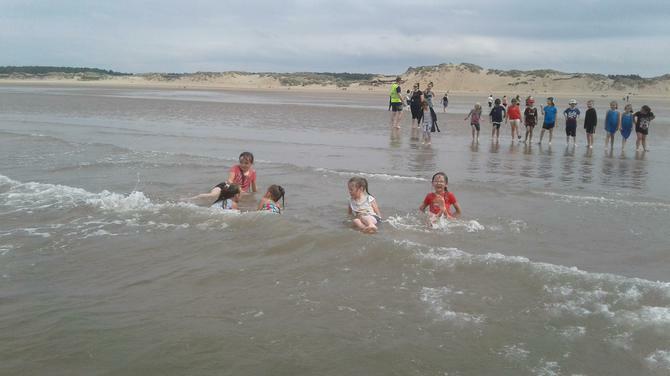 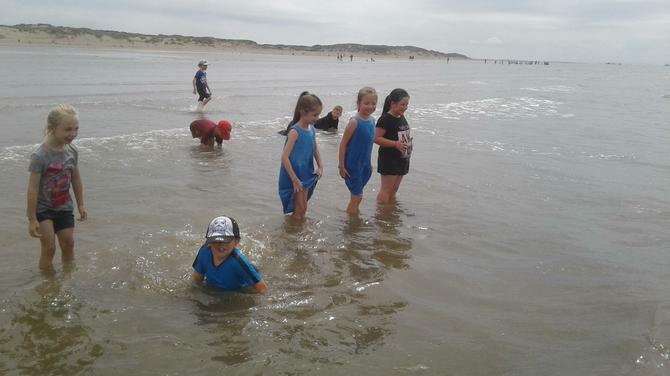 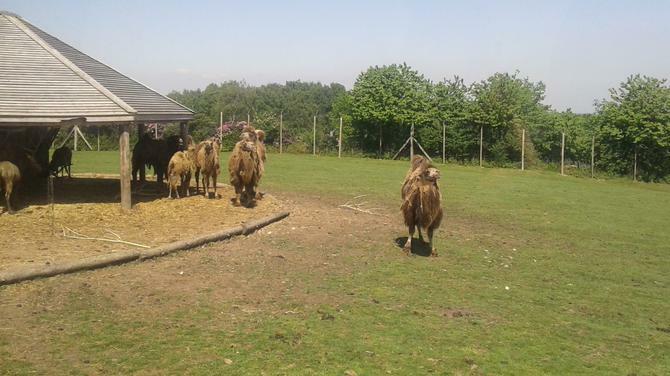 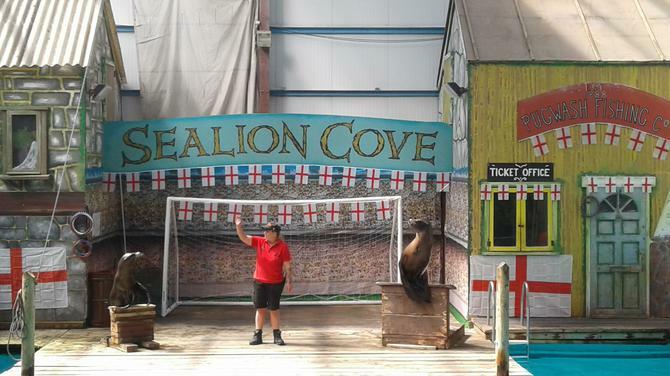 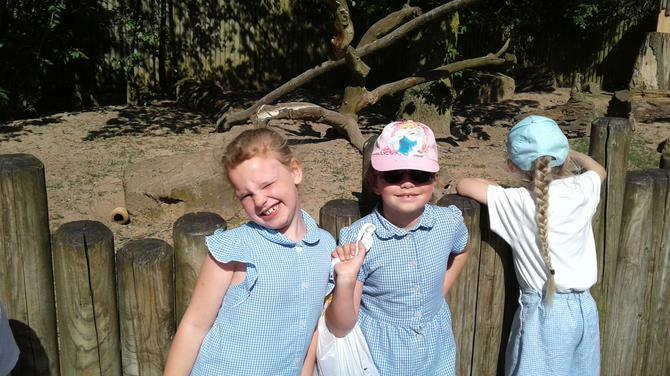 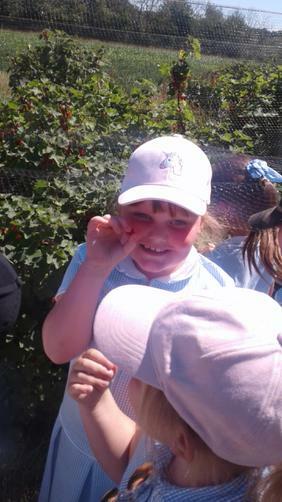 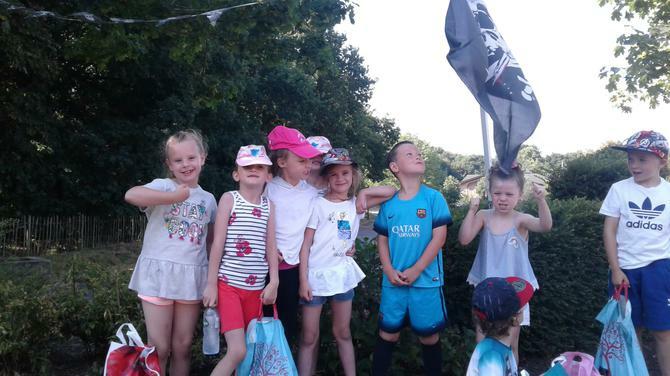 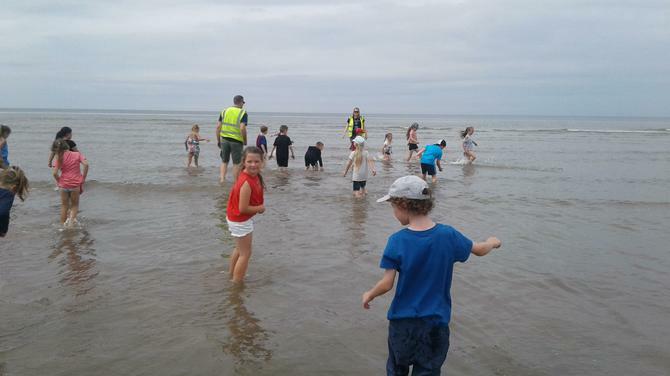 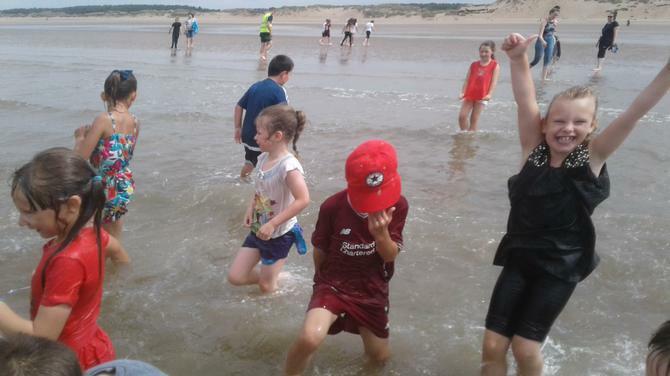 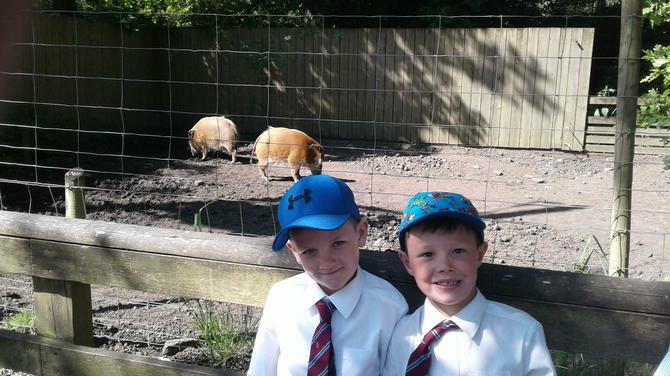 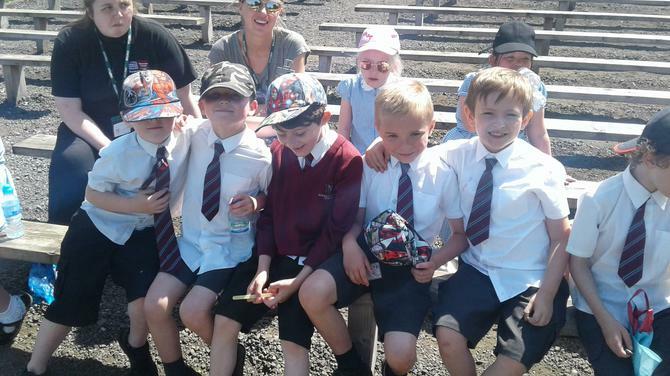 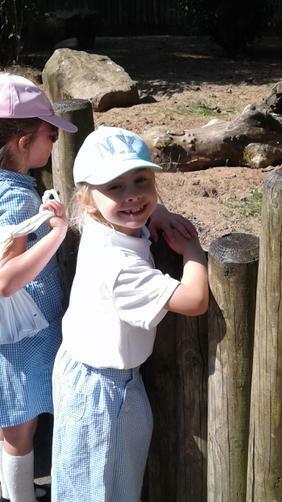 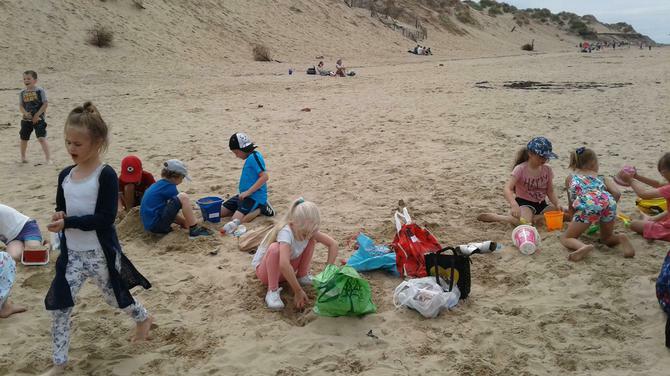 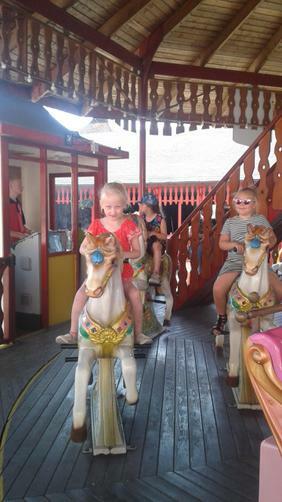 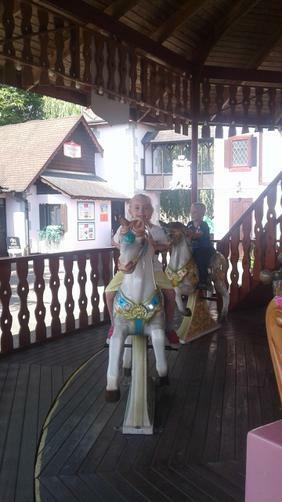 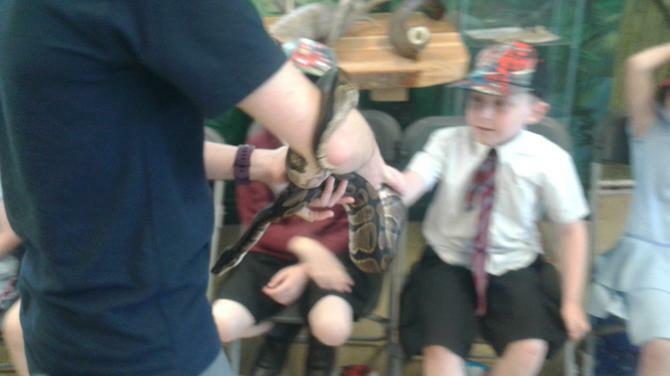 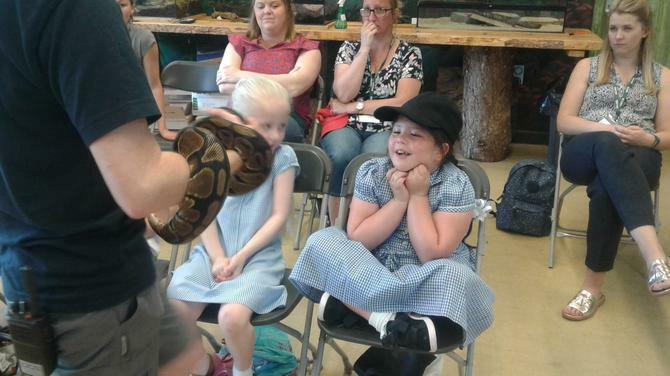 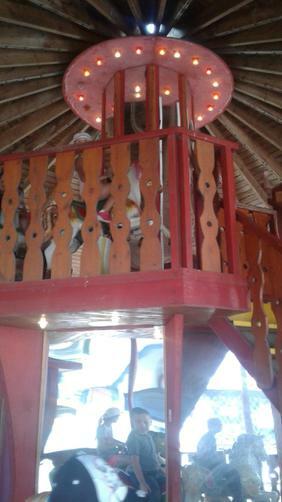 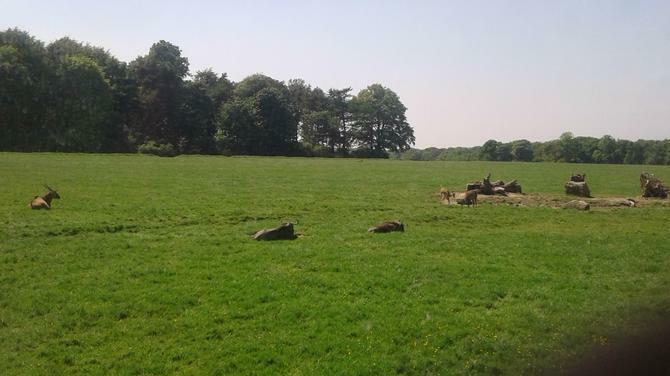 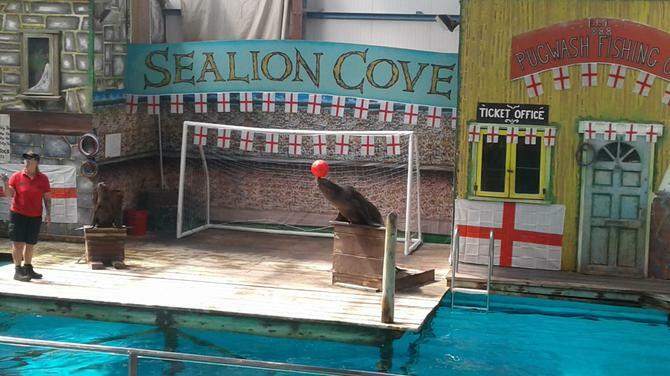 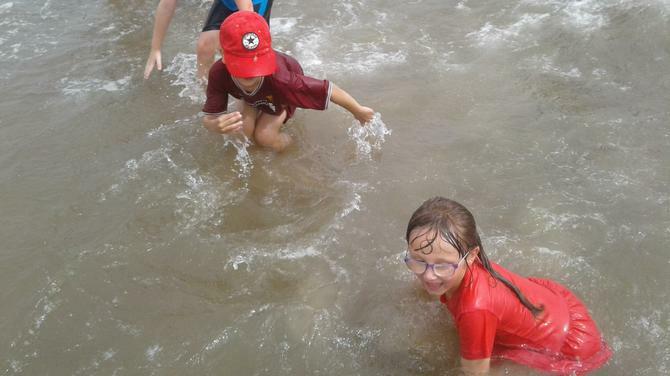 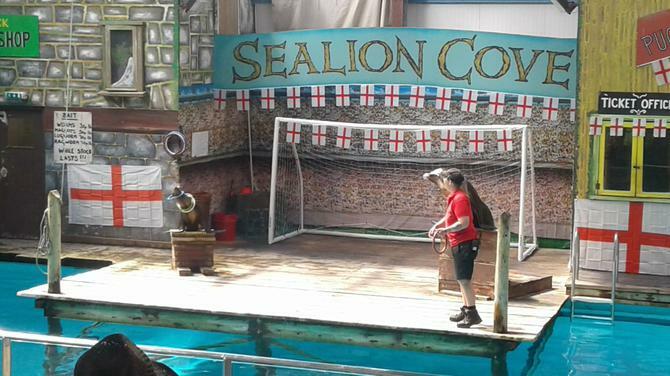 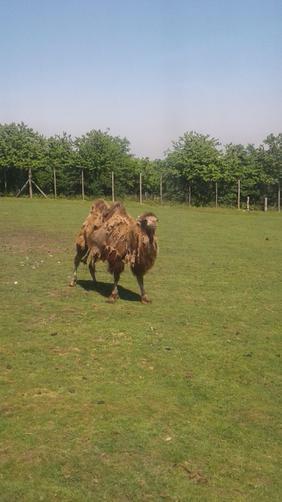 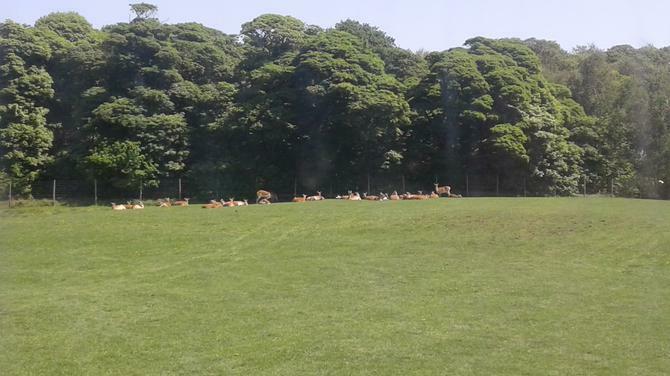 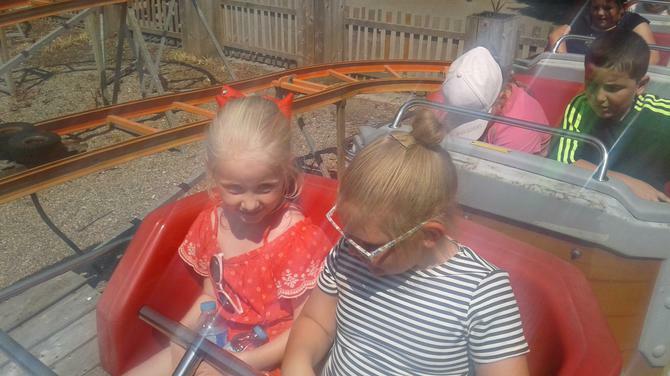 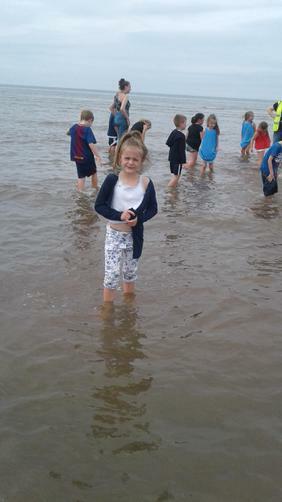 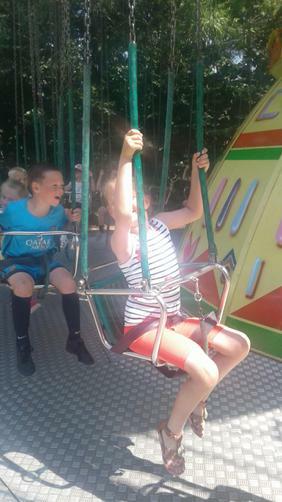 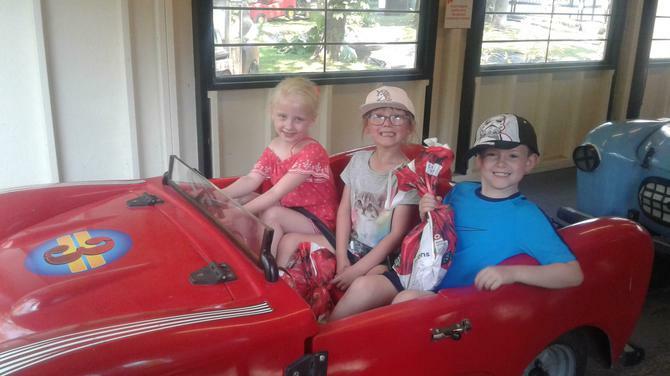 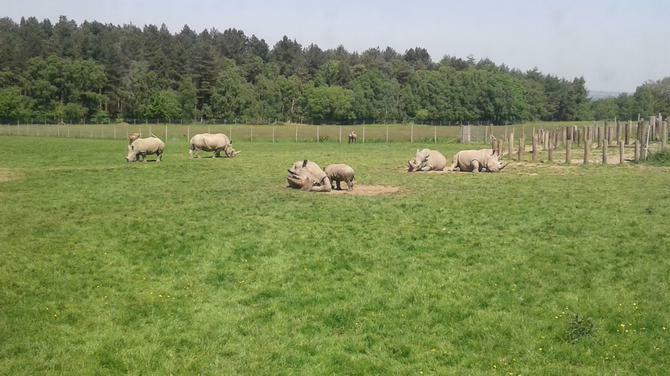 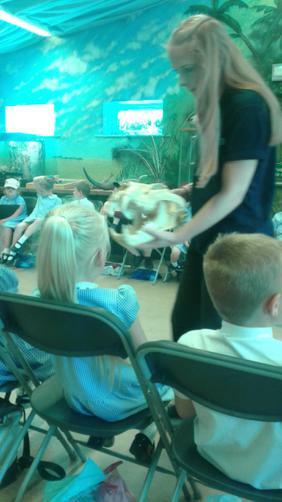 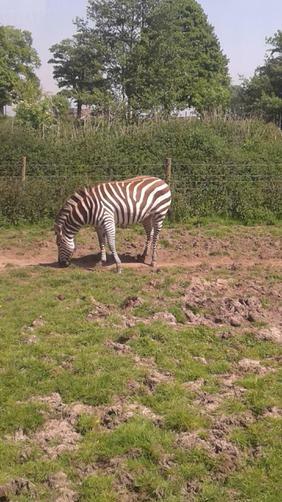 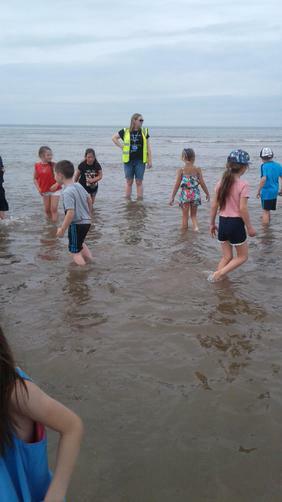 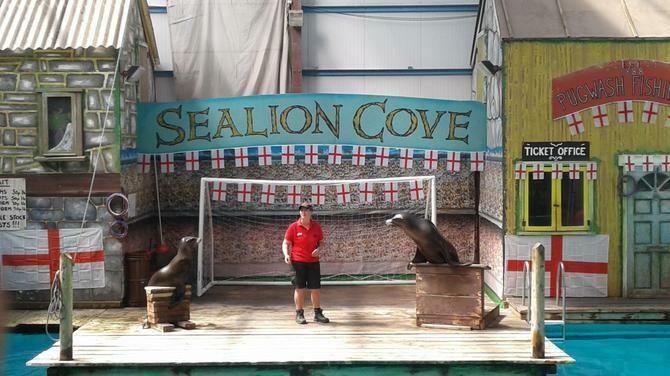 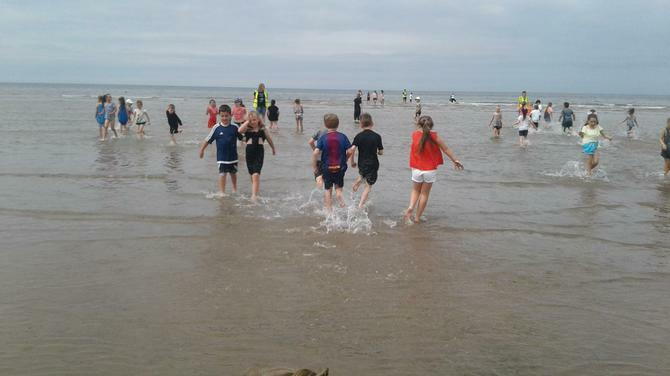 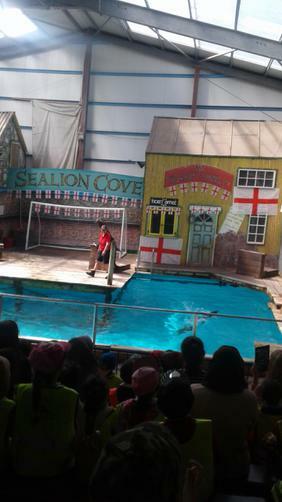 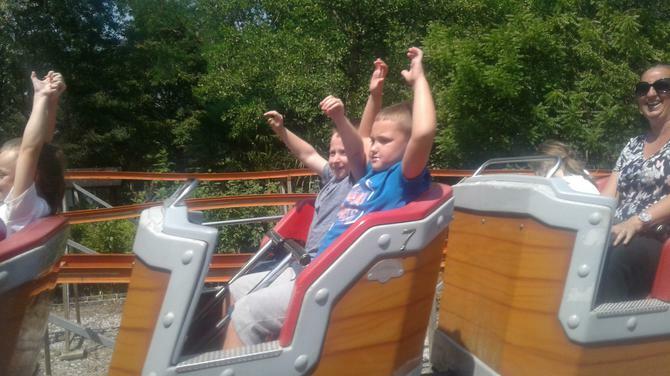 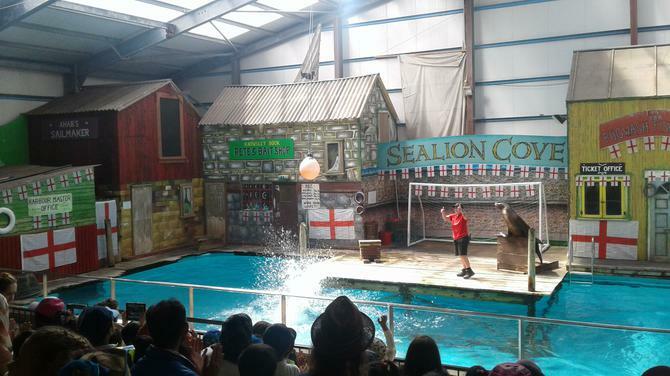 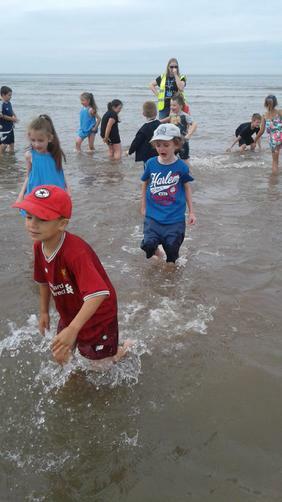 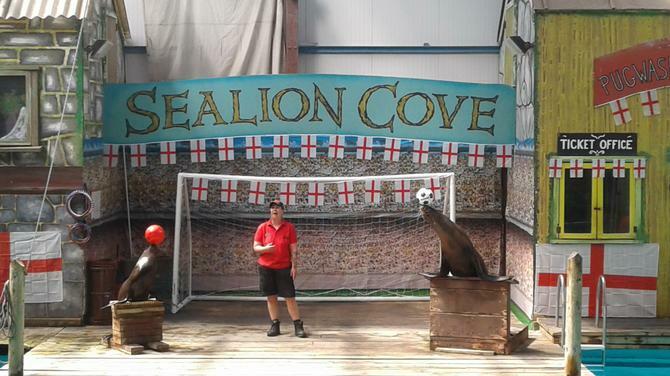 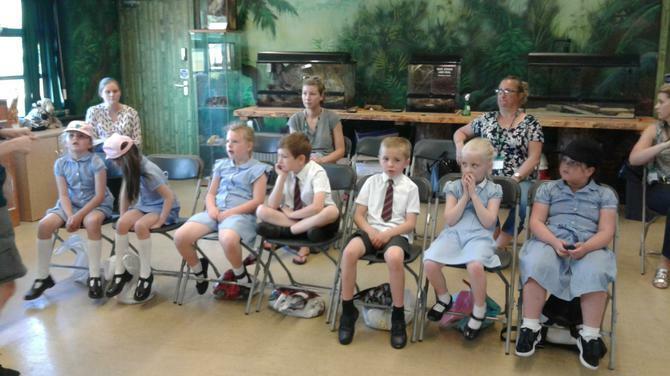 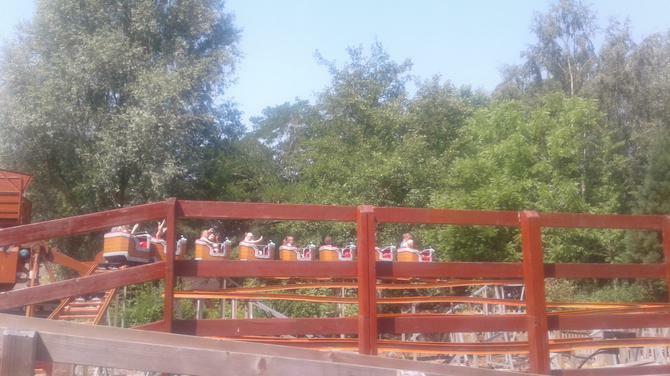 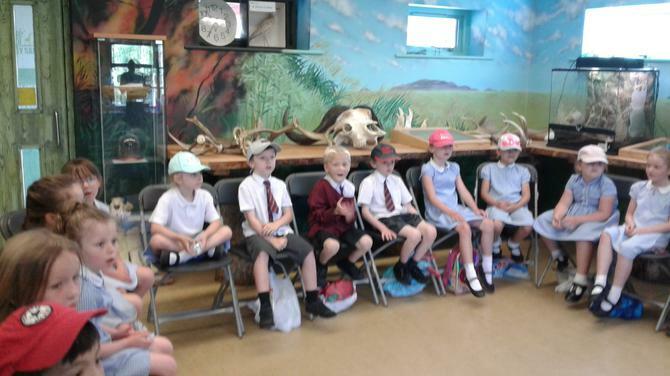 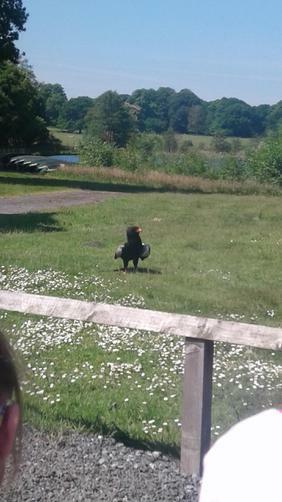 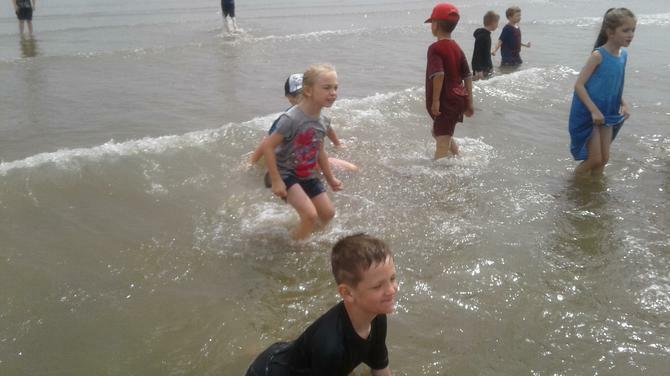 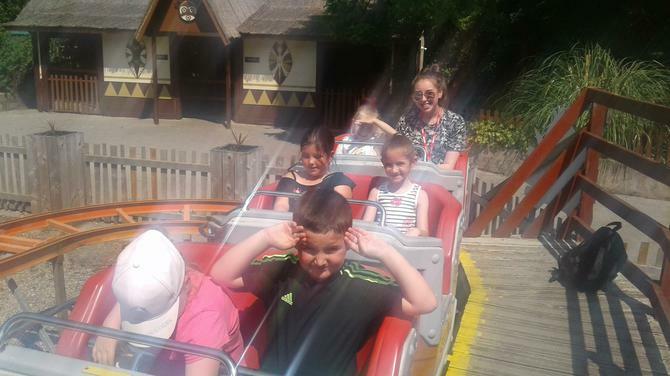 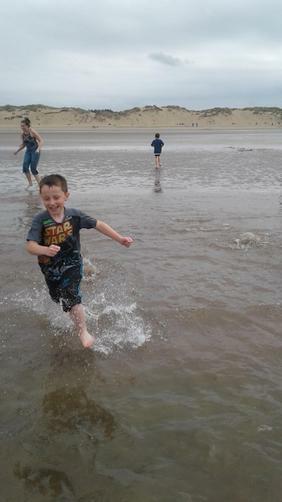 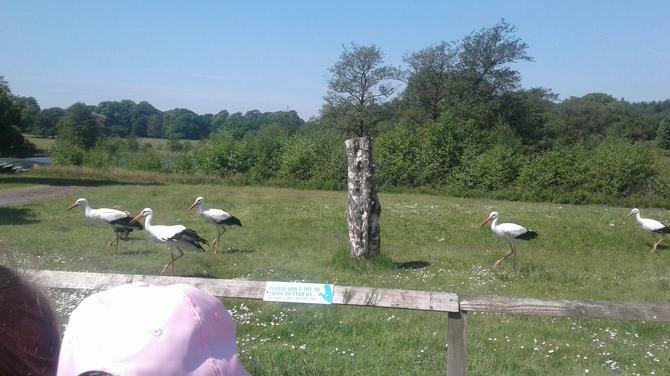 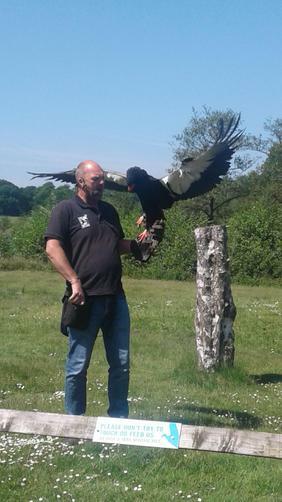 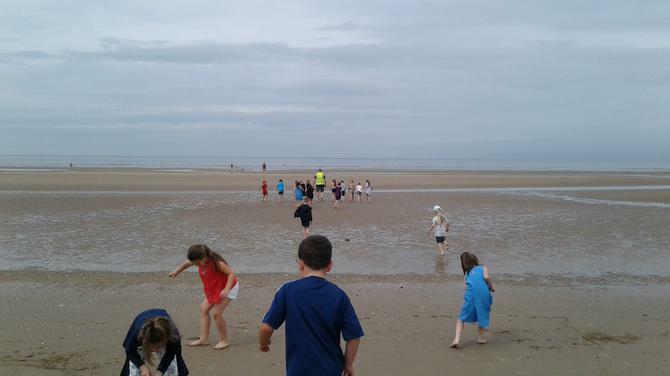 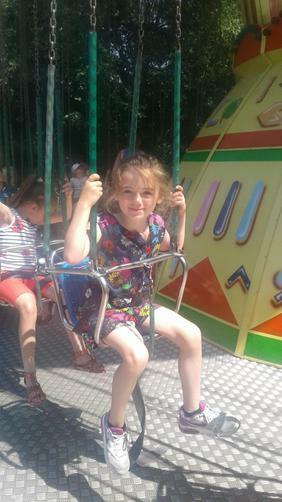 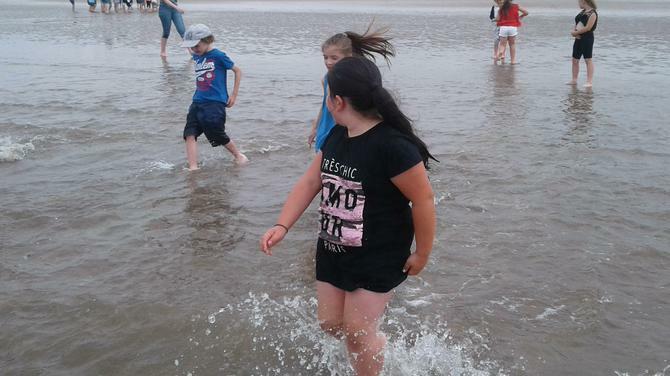 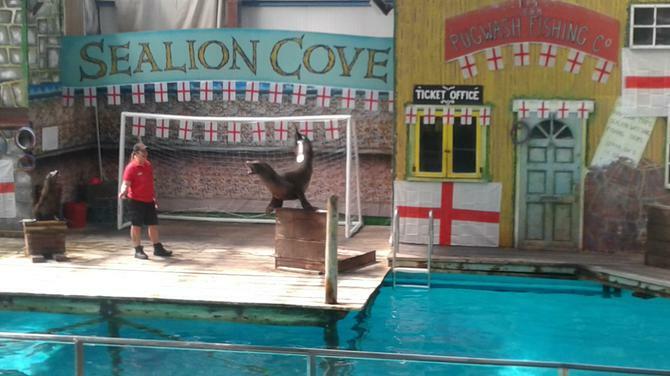 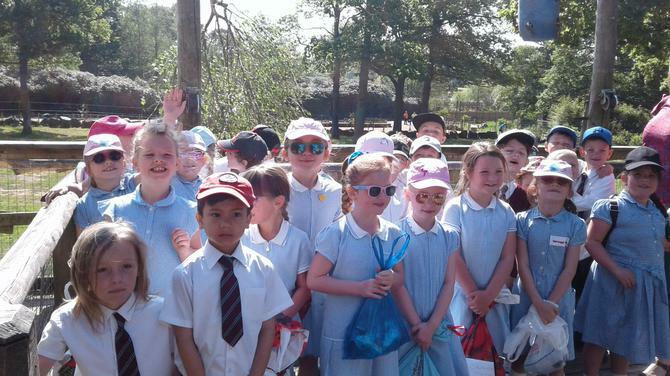 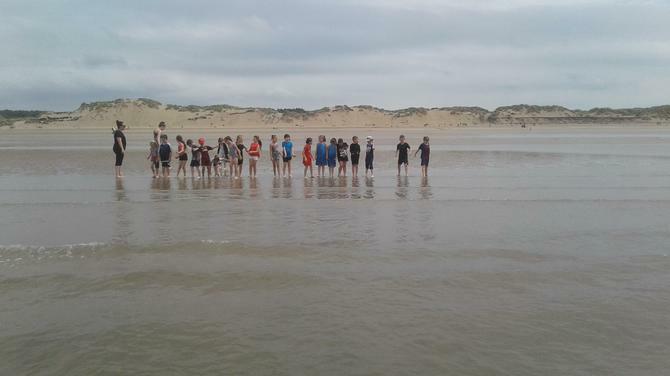 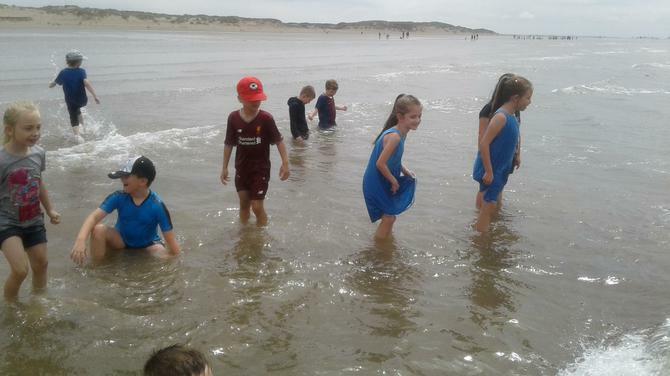 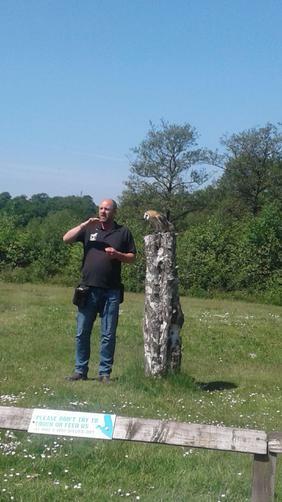 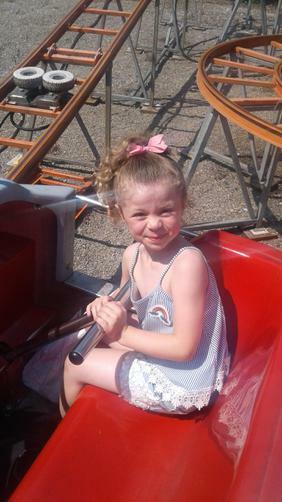 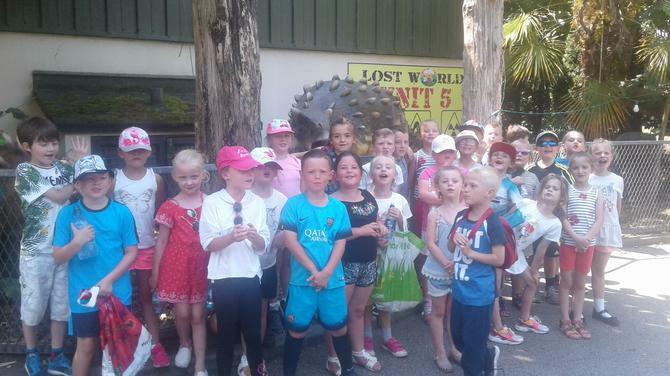 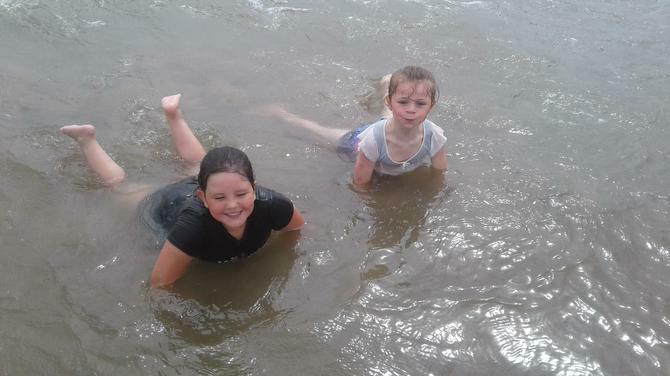 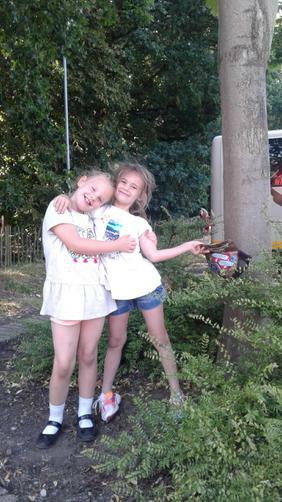 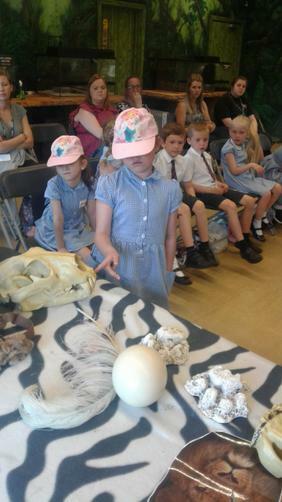 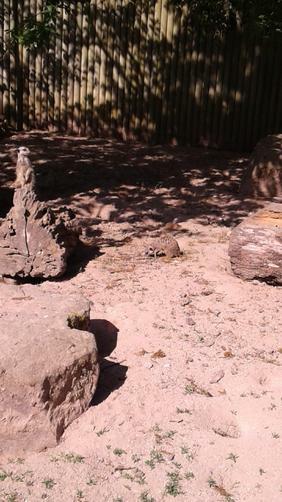 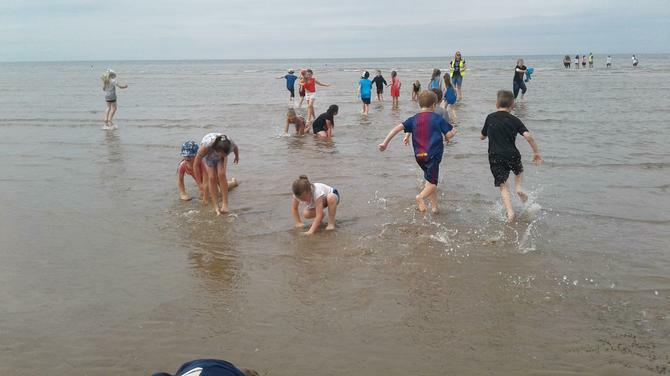 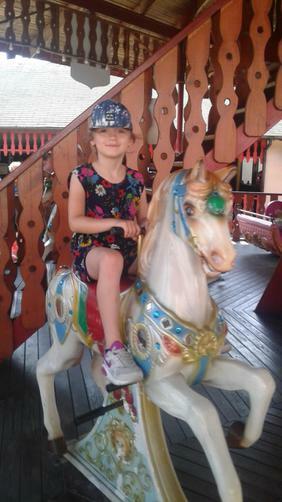 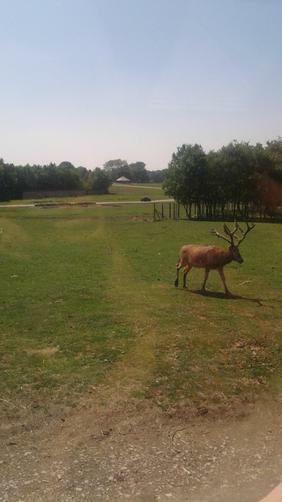 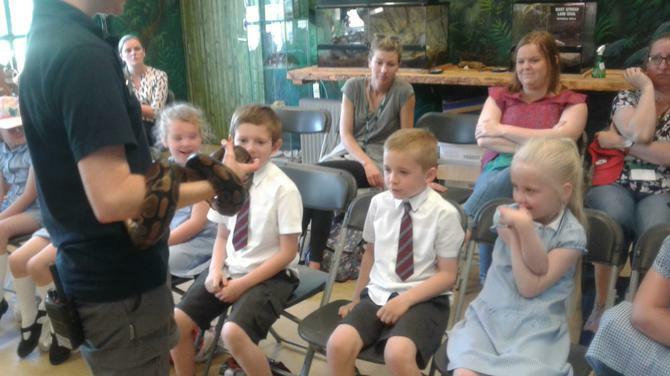 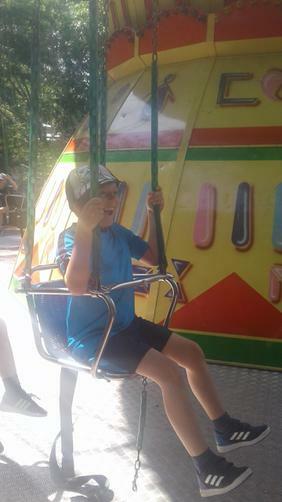 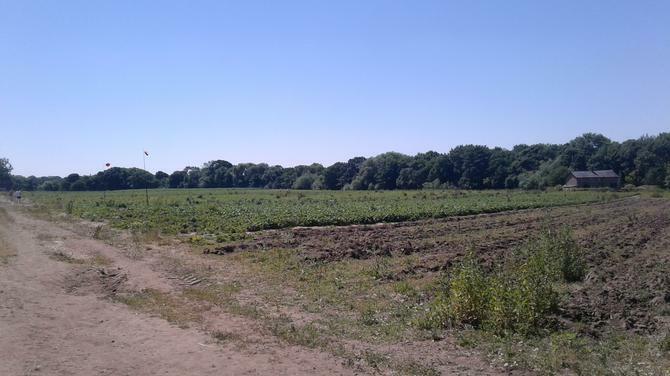 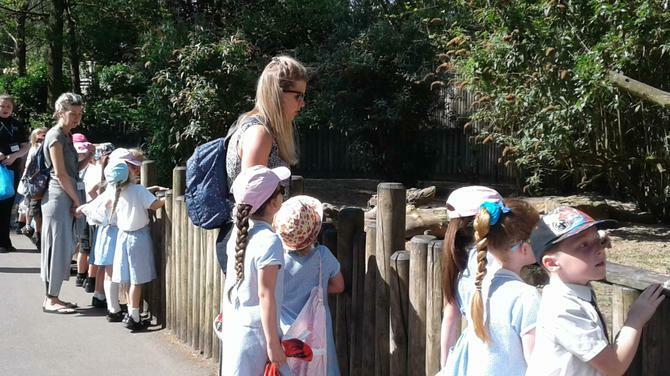 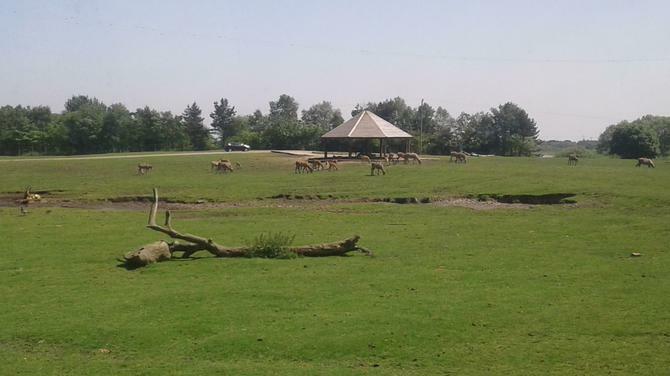 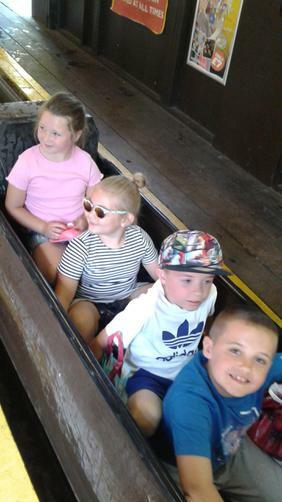 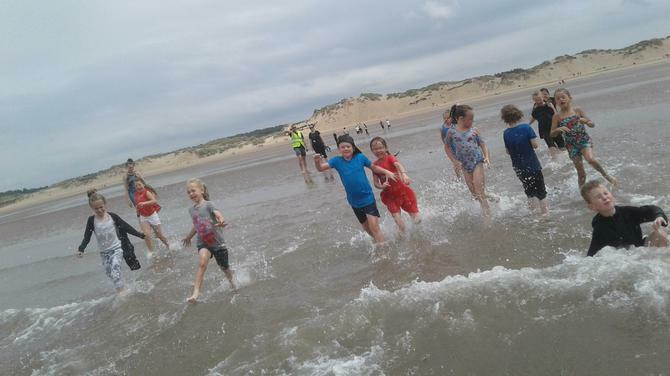 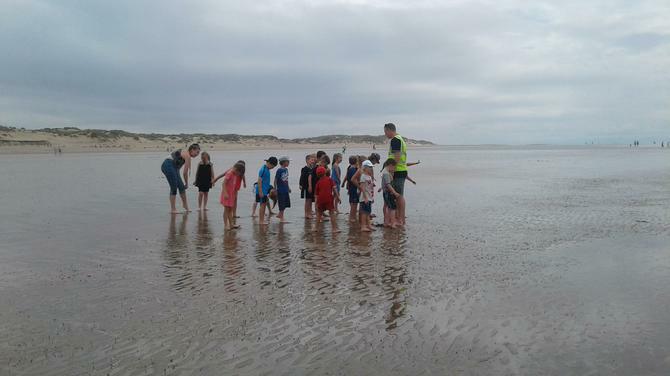 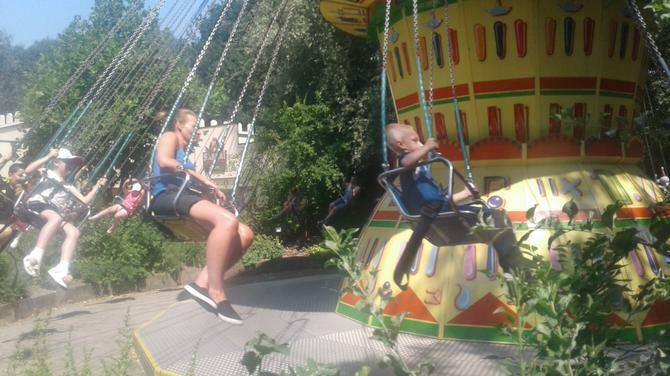 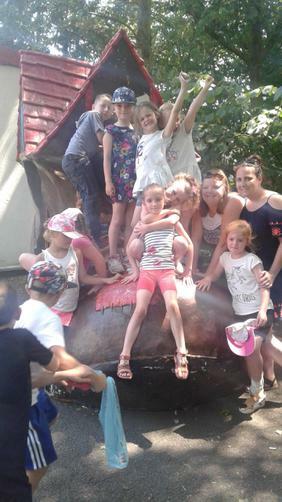 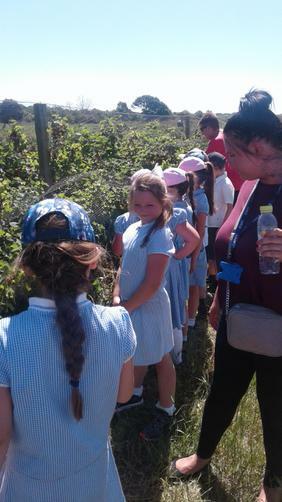 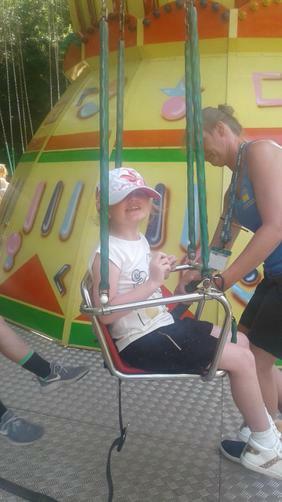 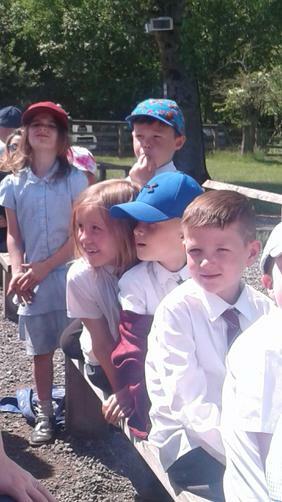 The children loved seeing the sea lions, birds of prey and all the animals out on safari. 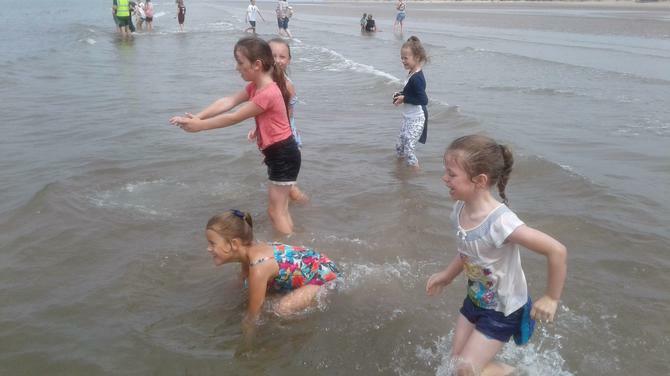 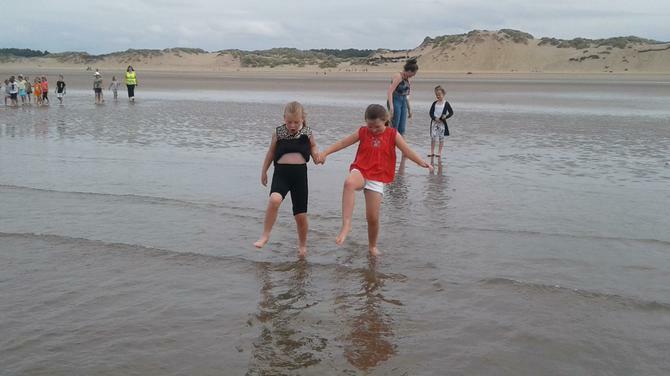 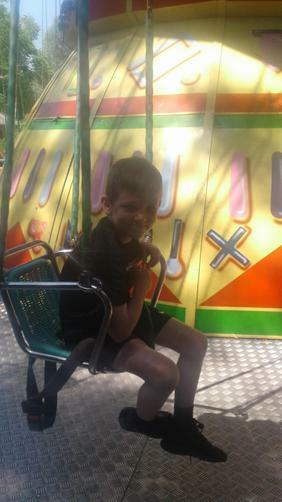 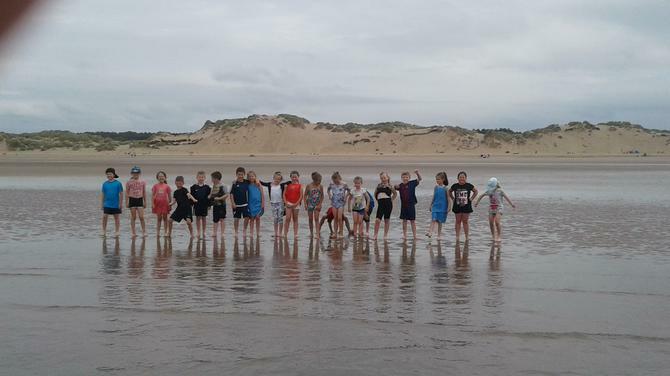 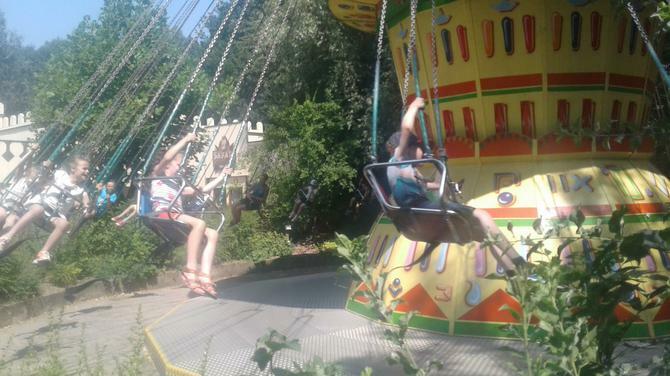 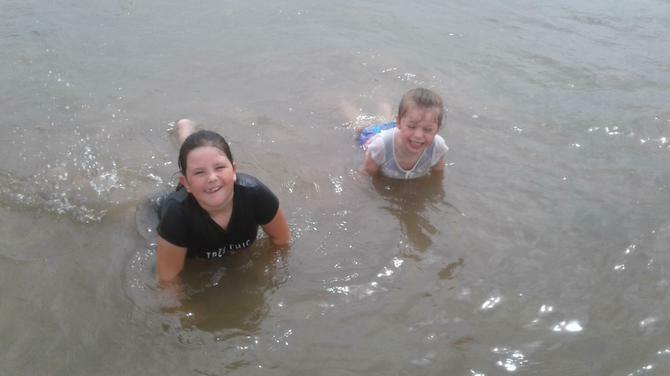 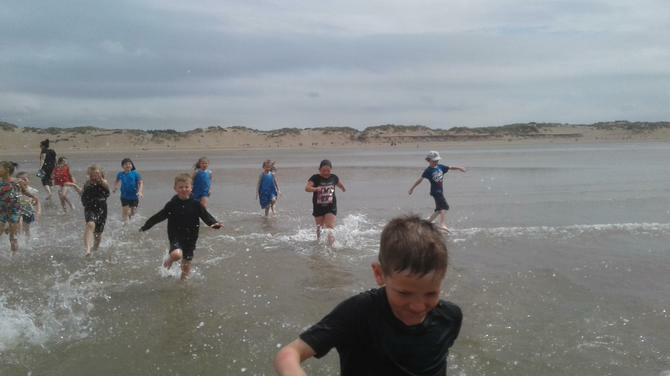 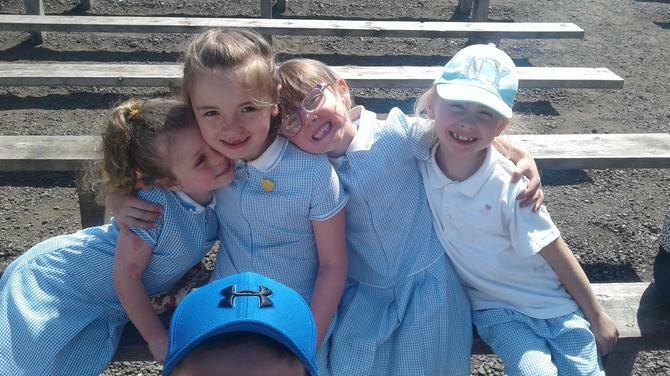 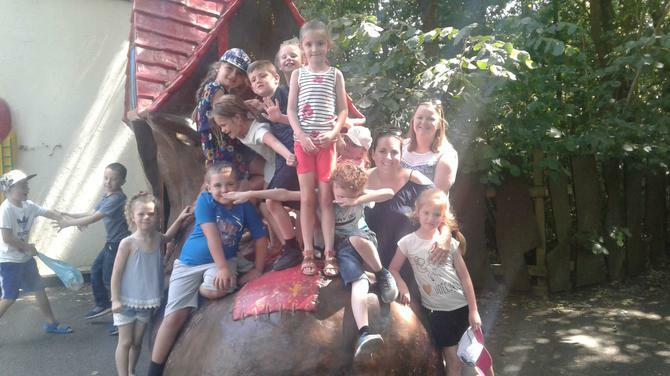 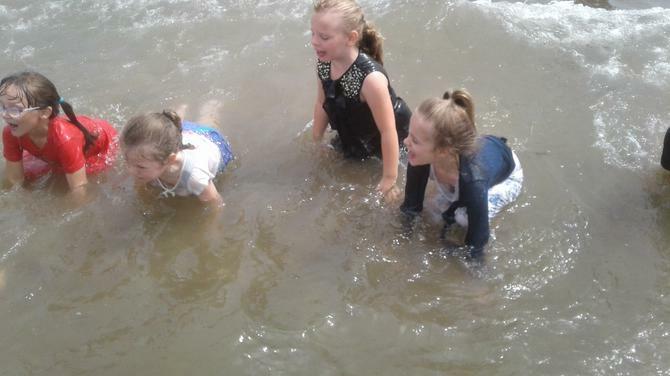 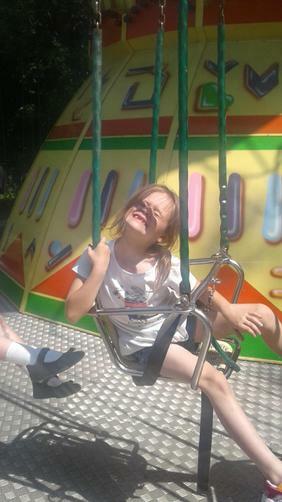 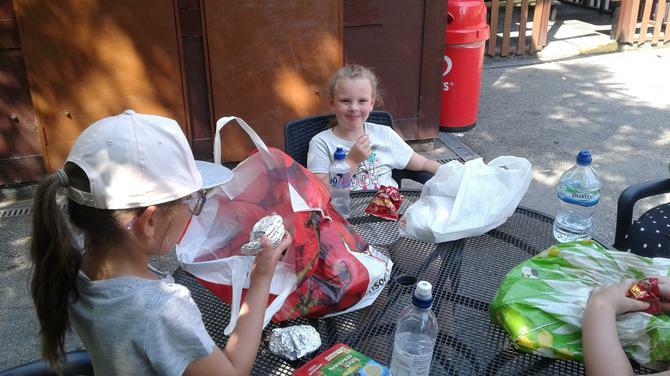 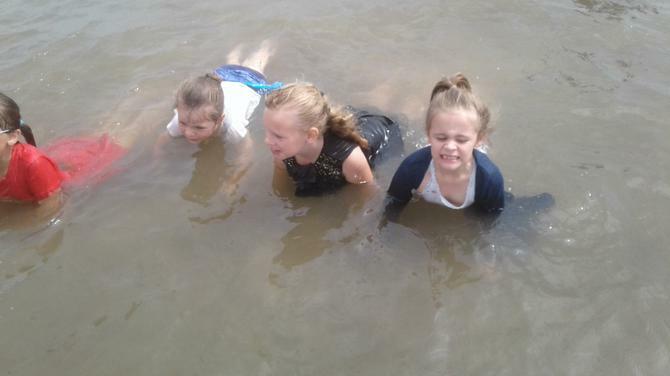 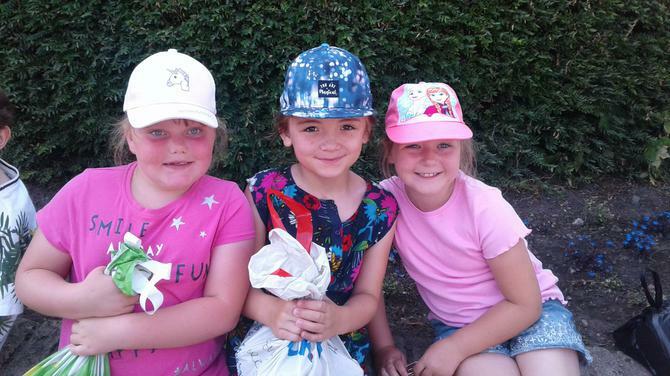 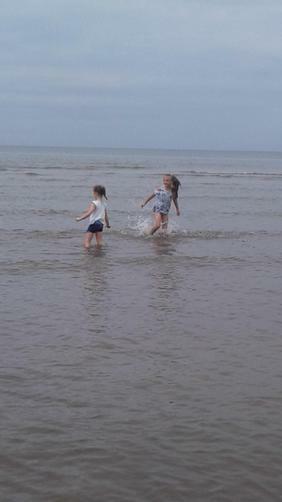 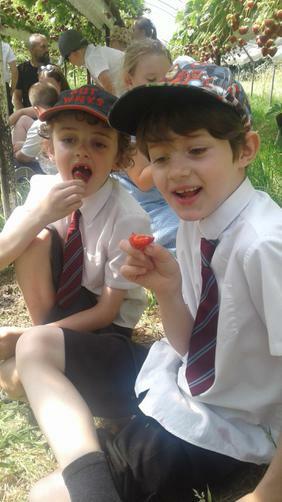 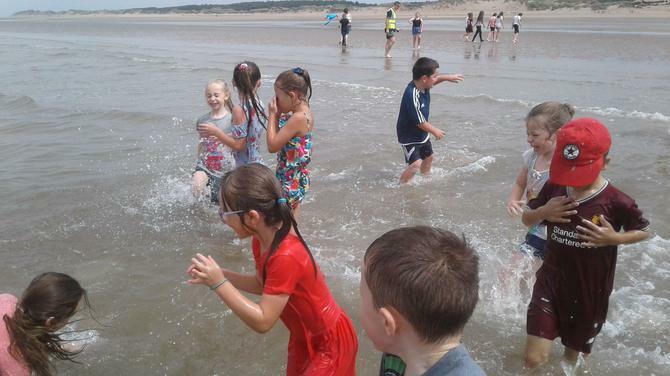 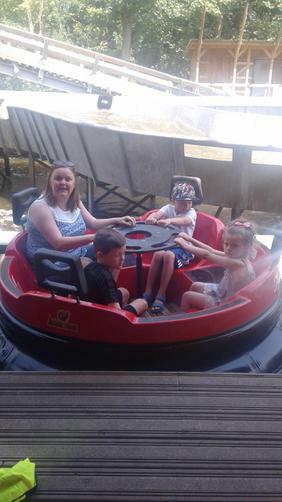 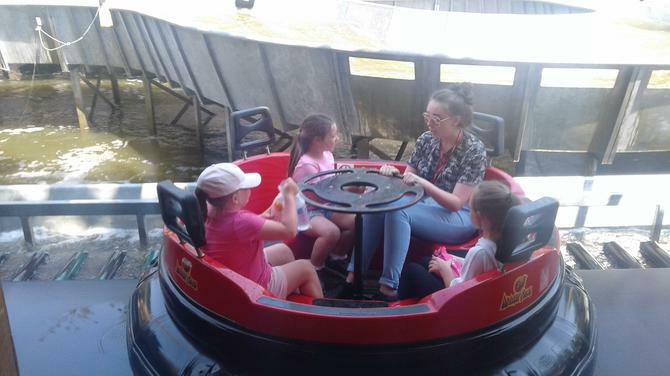 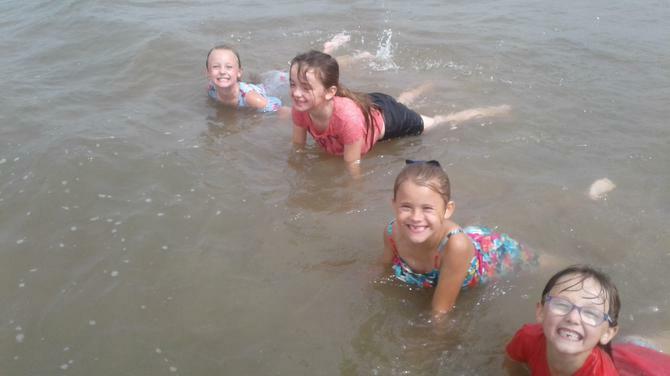 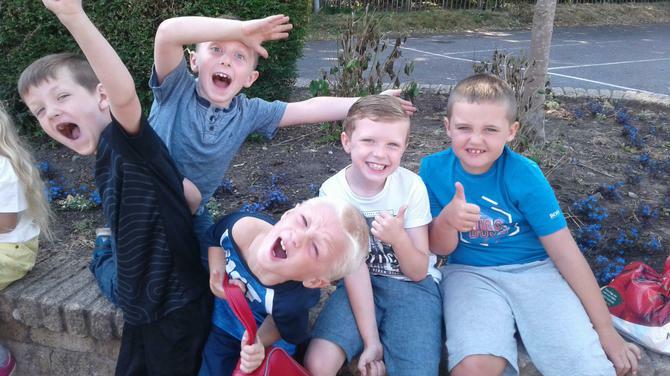 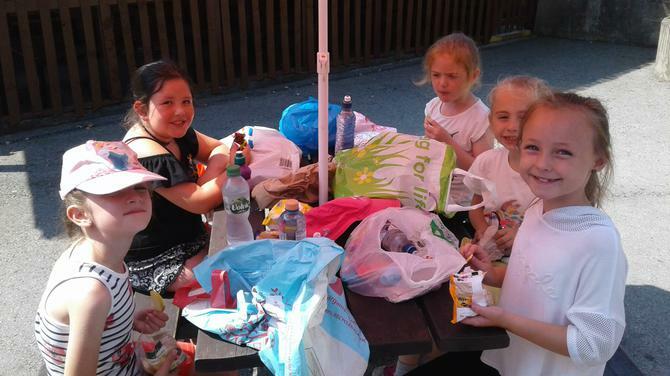 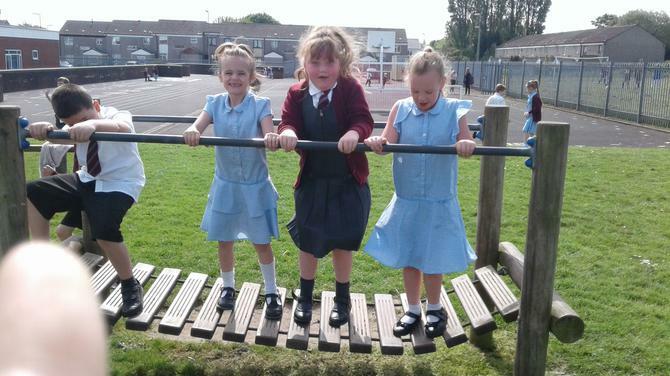 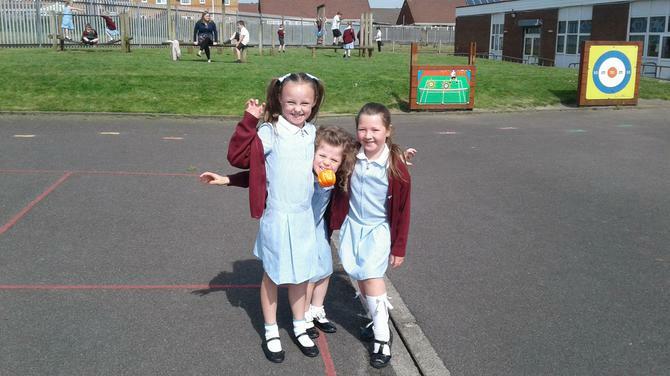 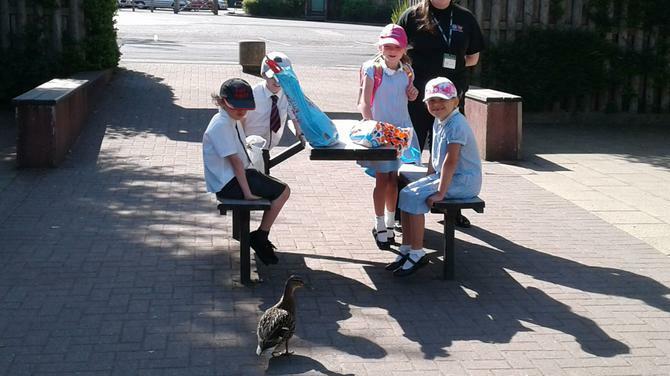 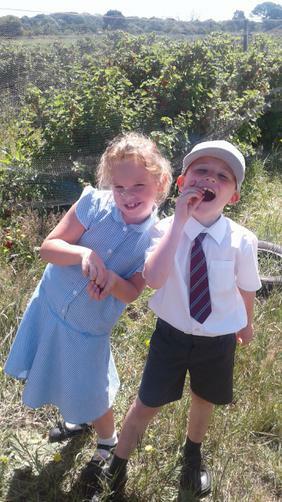 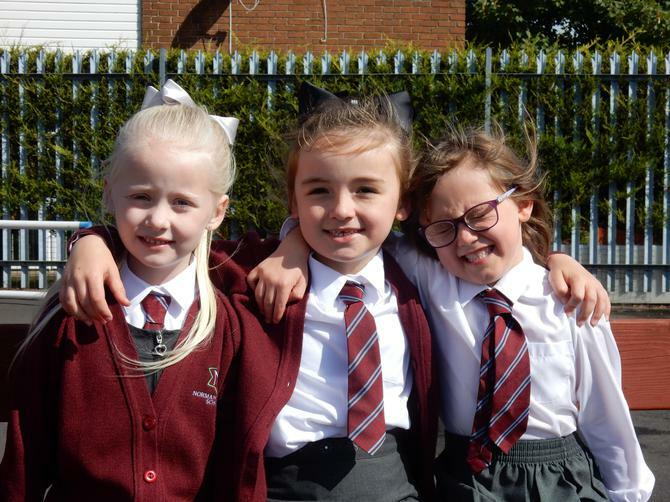 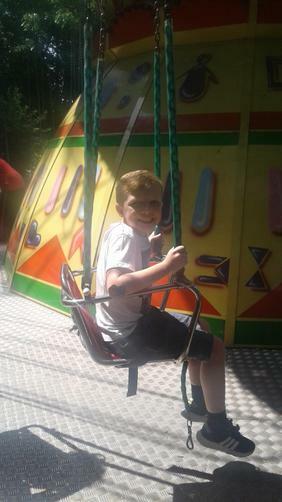 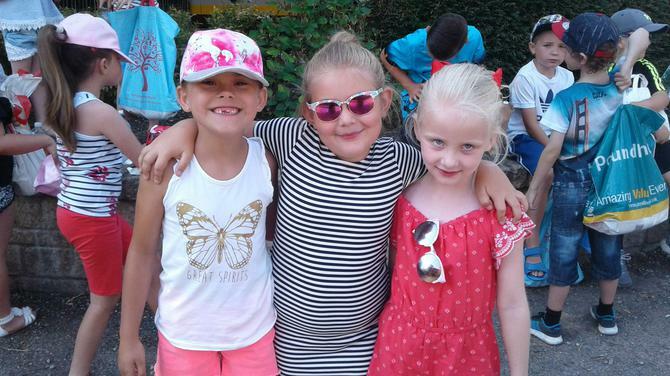 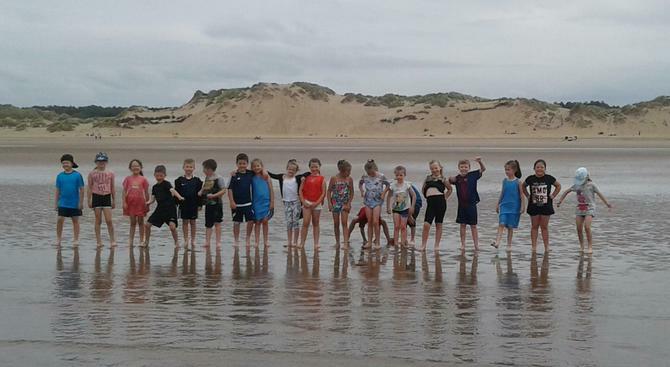 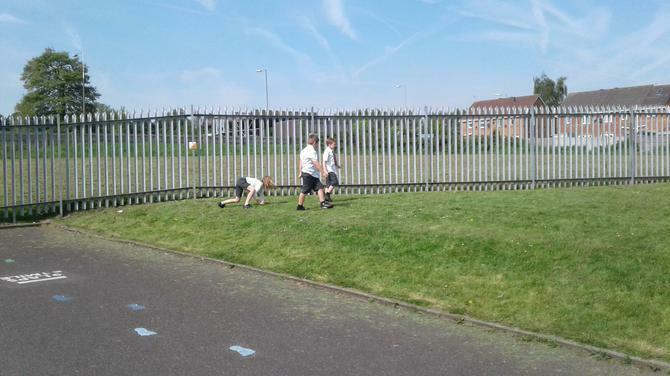 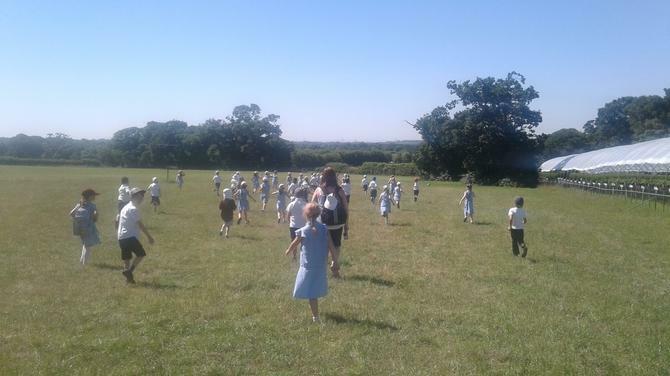 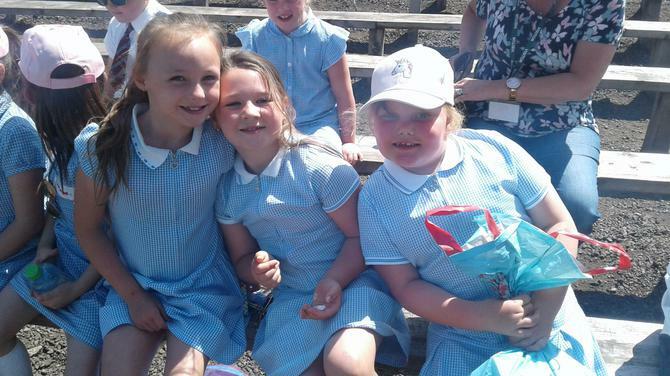 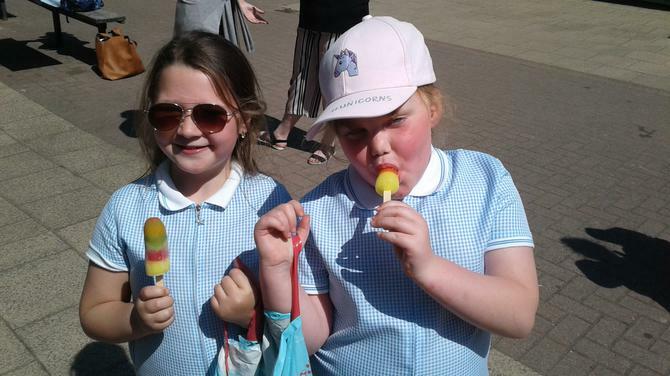 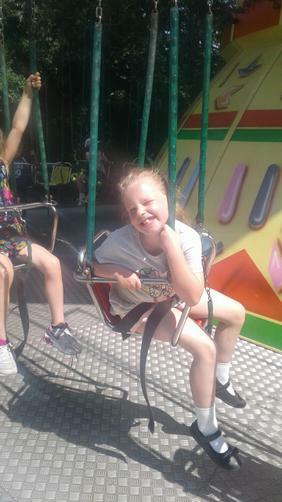 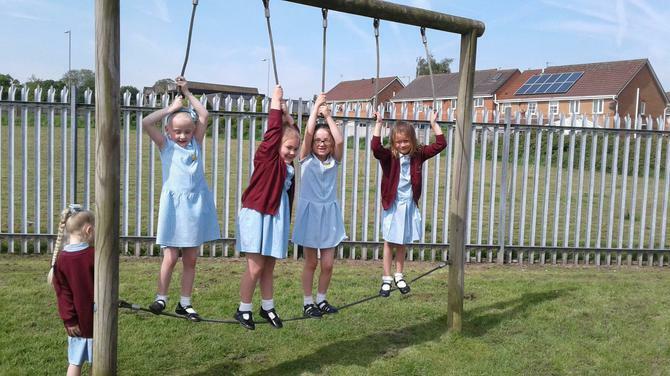 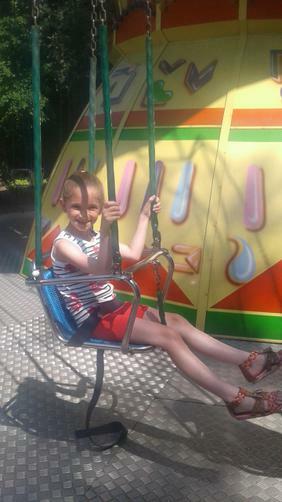 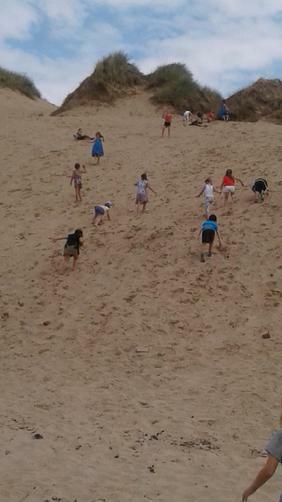 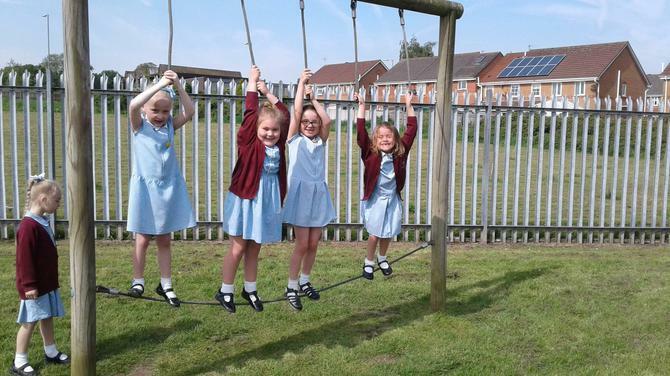 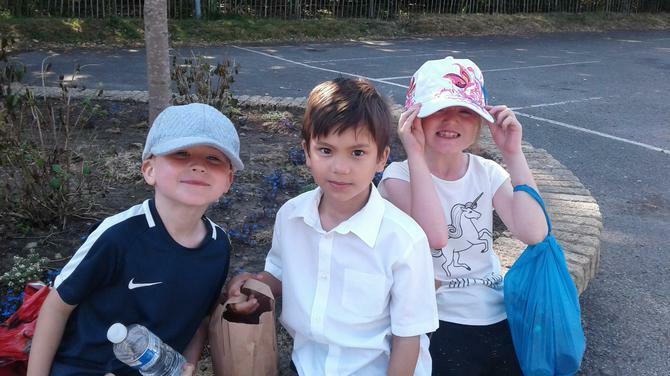 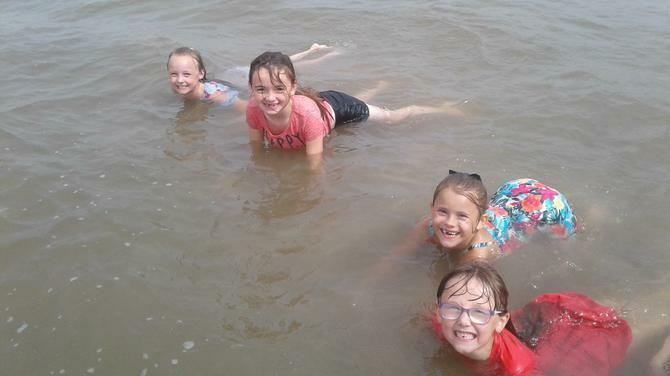 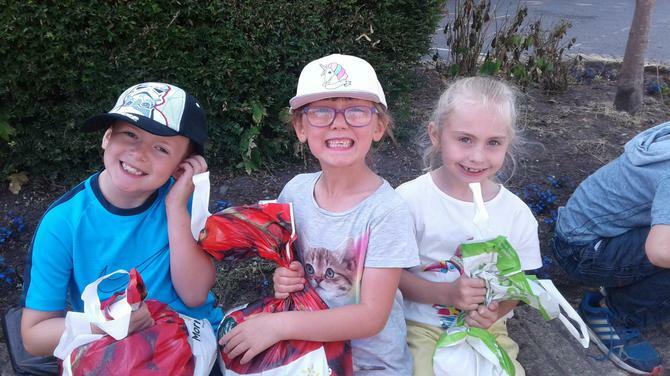 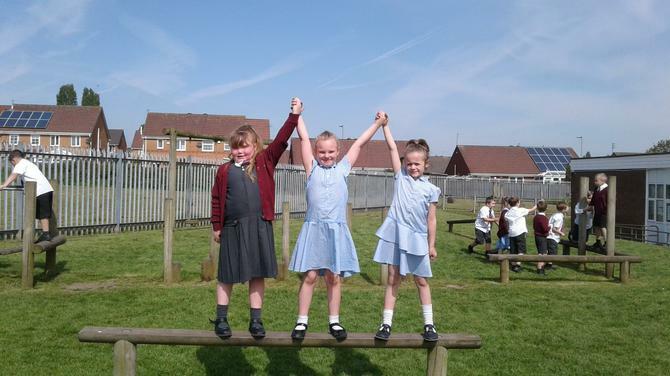 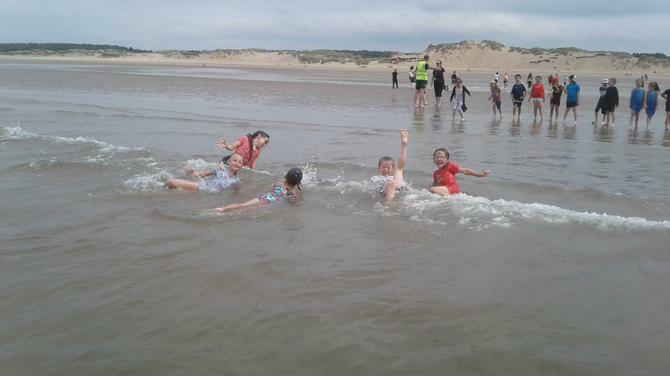 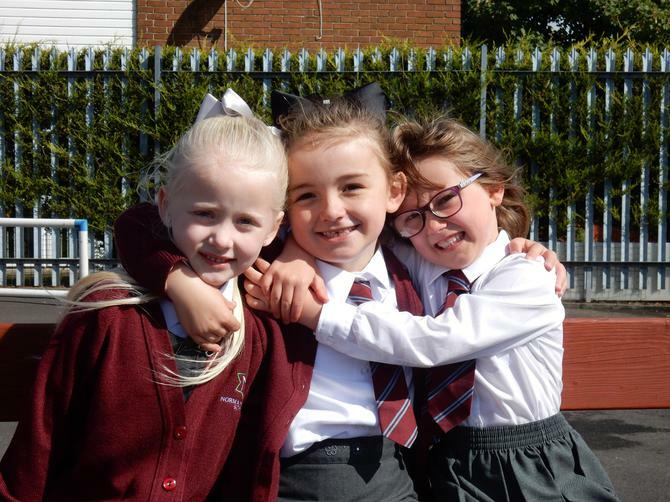 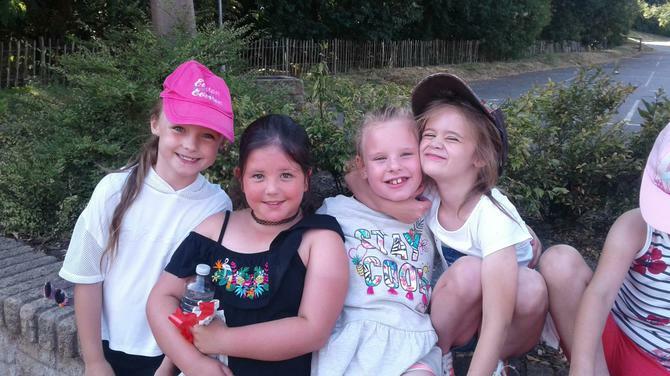 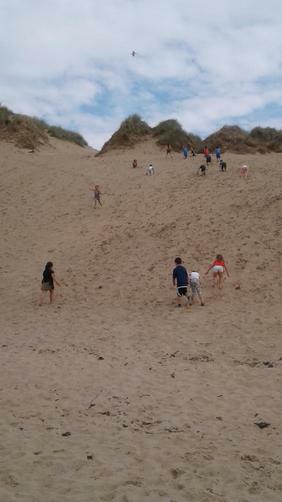 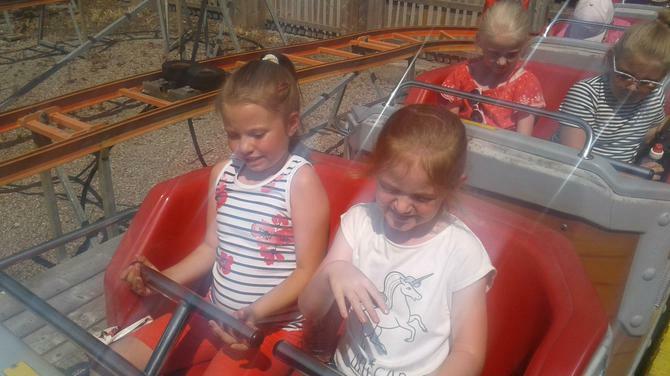 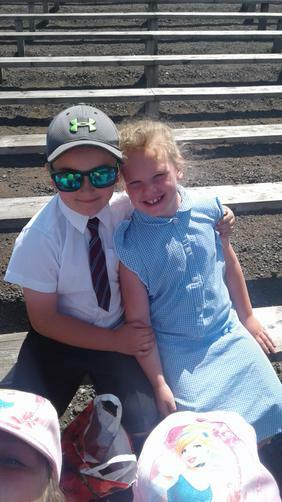 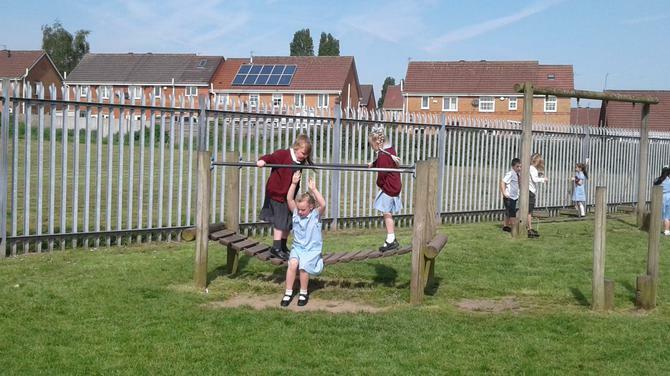 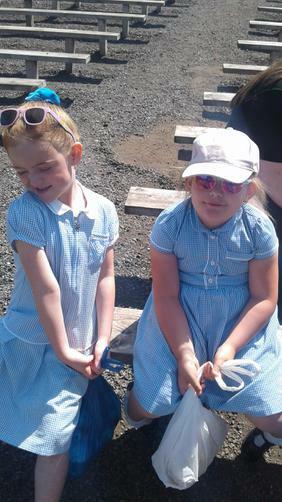 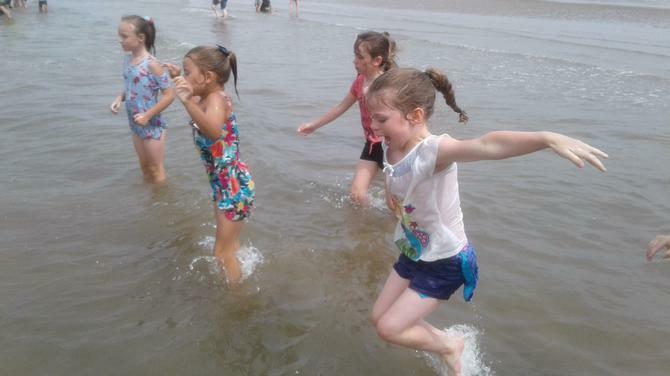 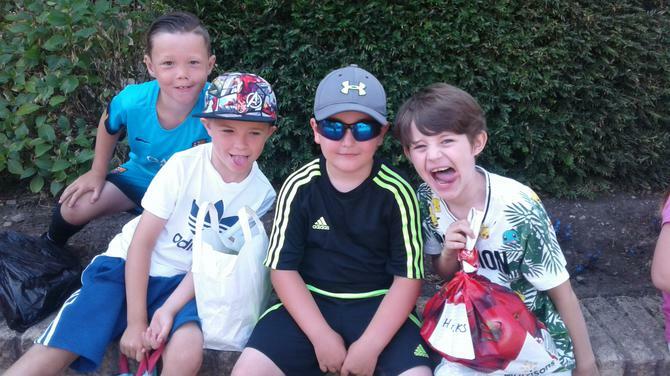 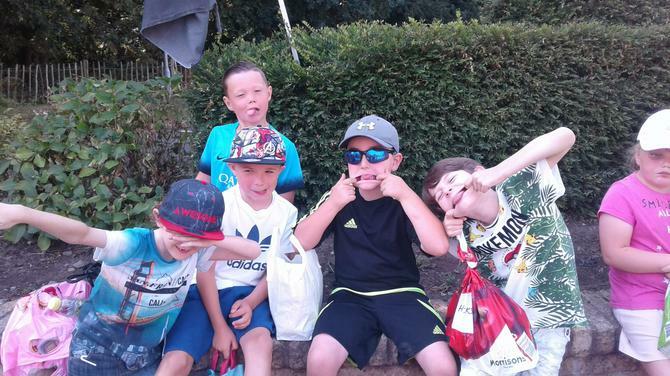 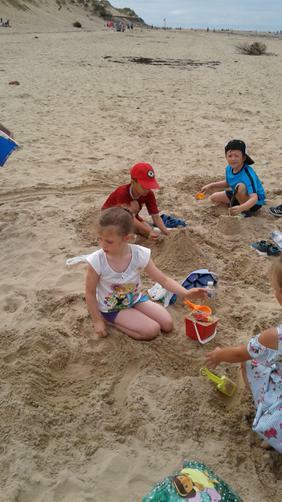 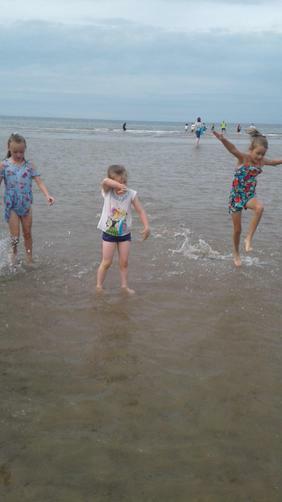 The children have now completed their SATS and are enjoying some fun in the sunshine. 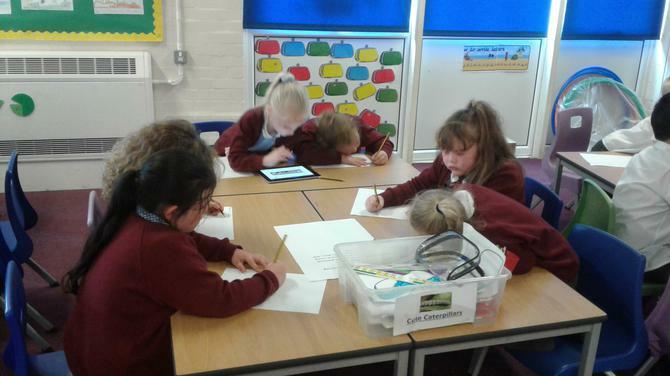 Researching the Big Five! 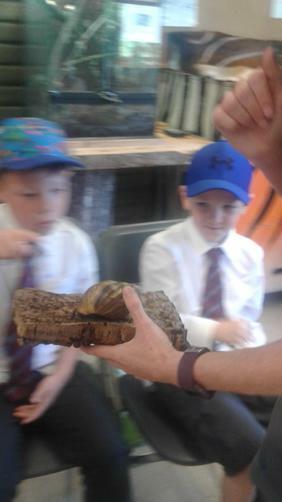 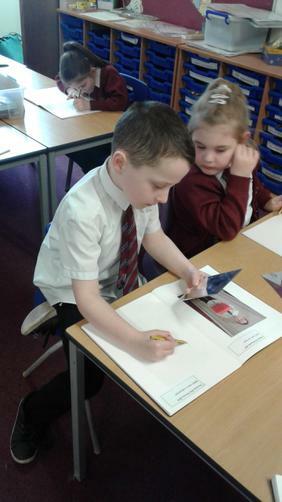 The children found some fantastic facts out about these amazing animals. 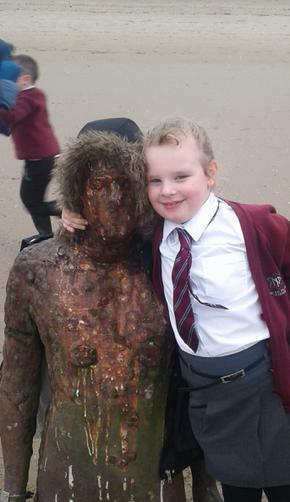 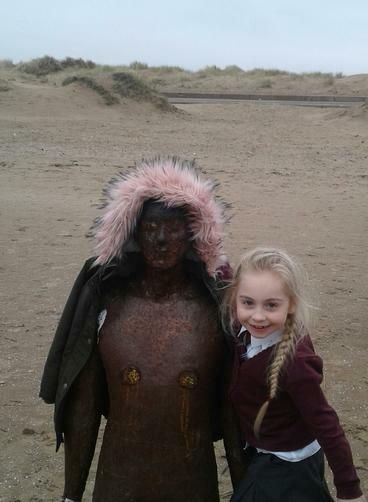 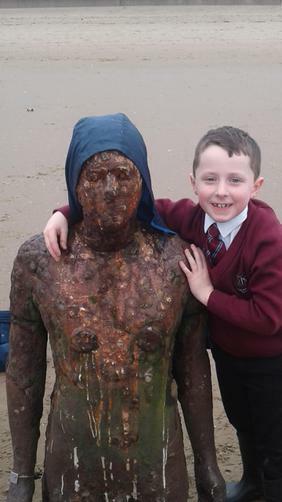 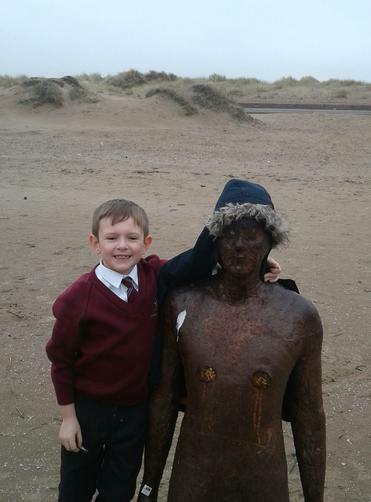 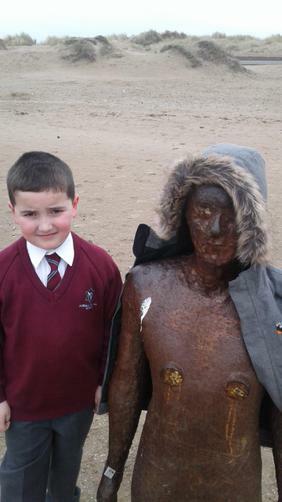 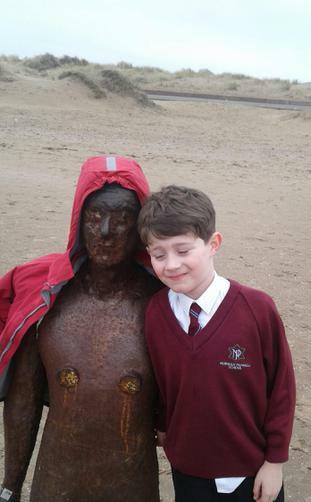 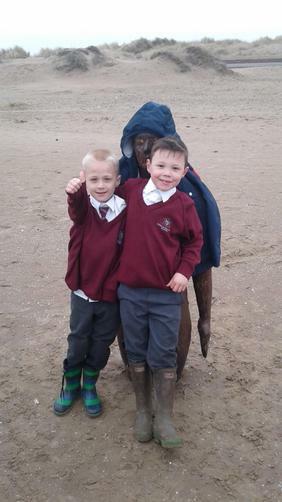 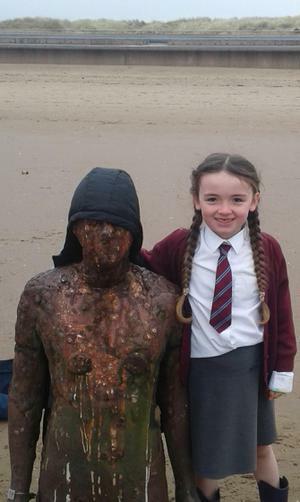 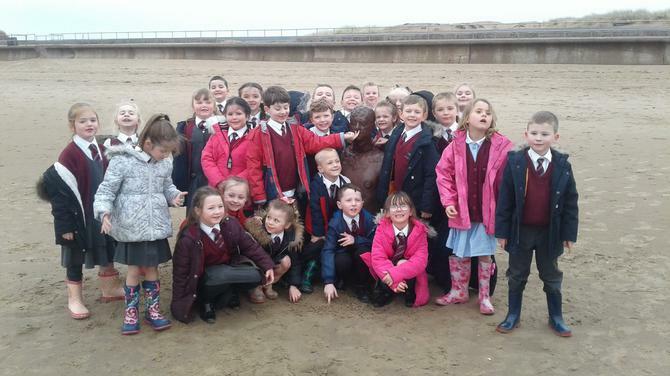 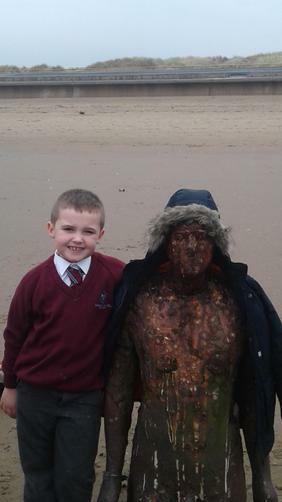 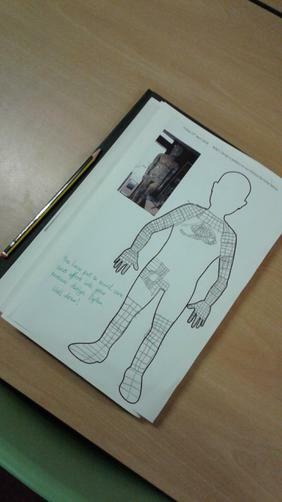 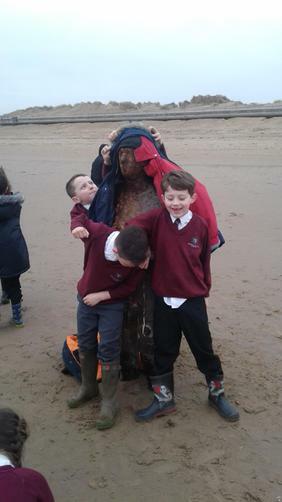 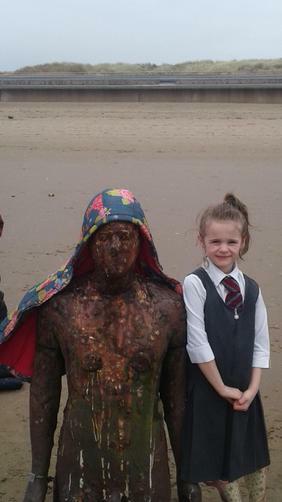 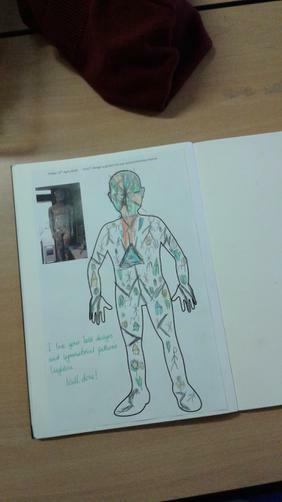 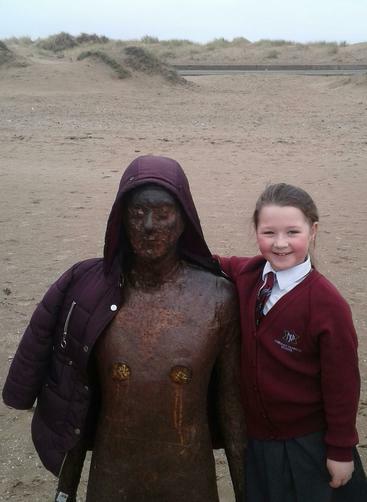 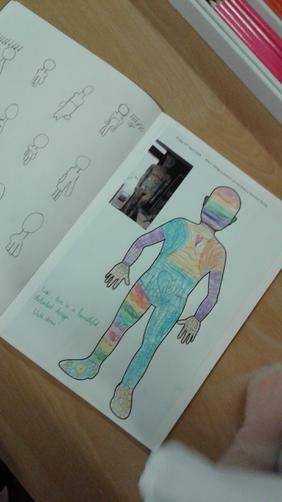 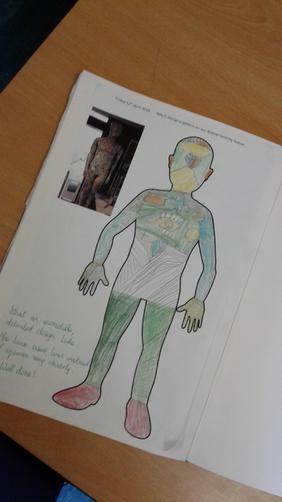 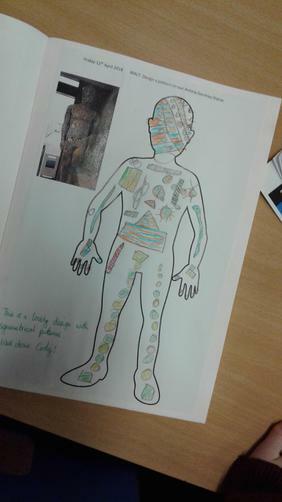 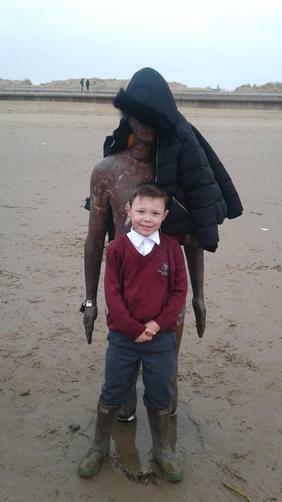 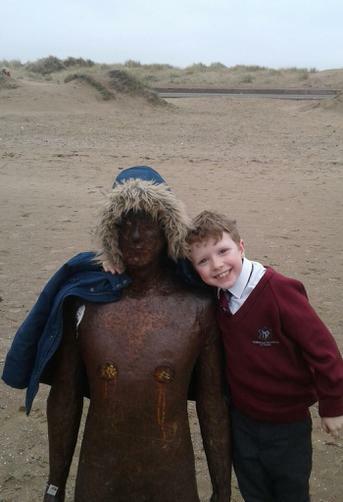 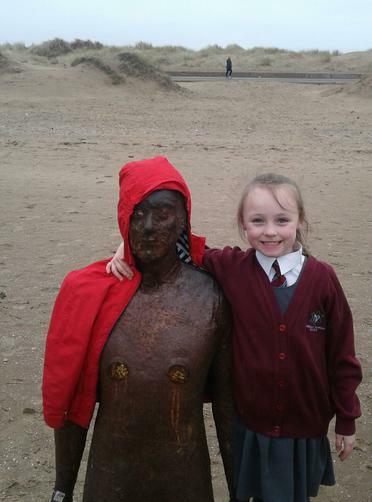 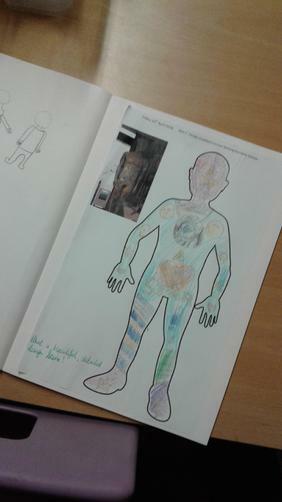 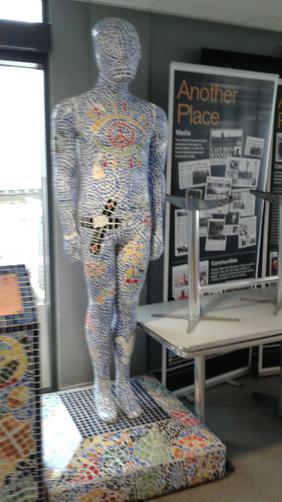 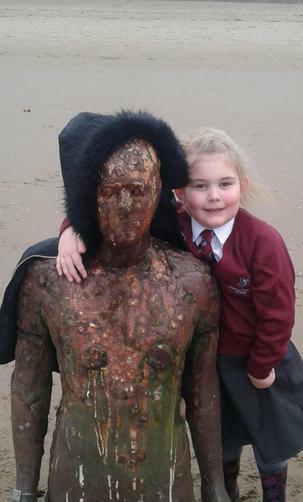 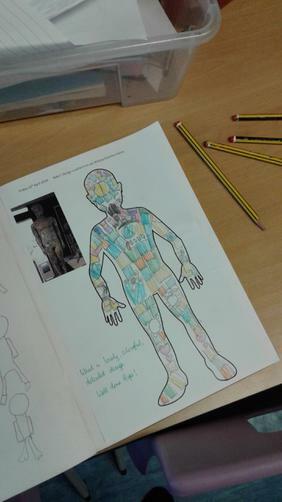 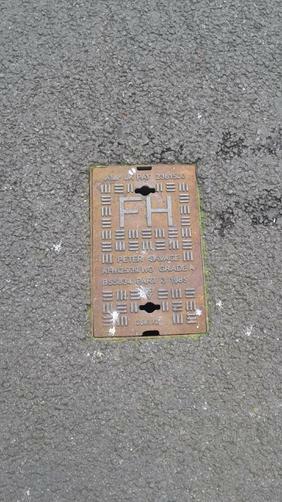 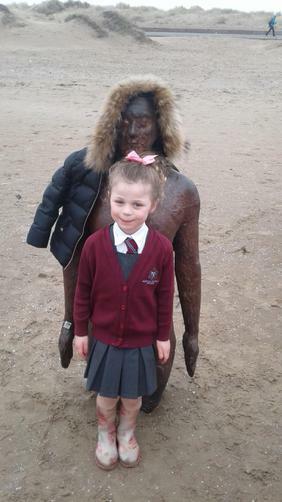 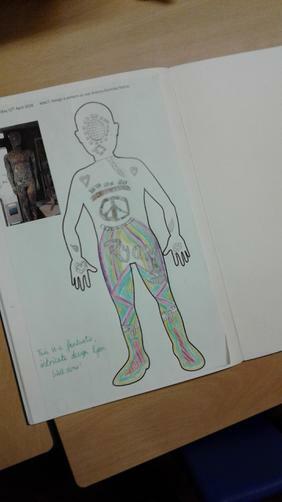 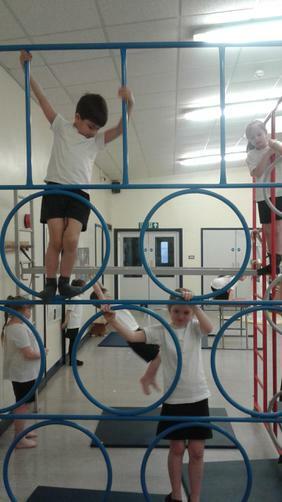 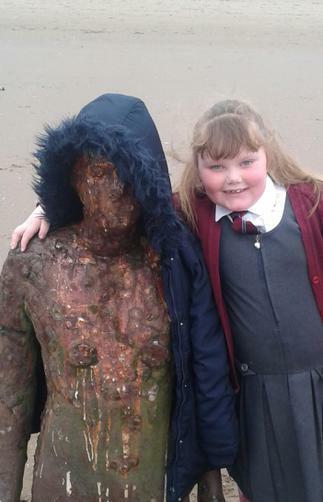 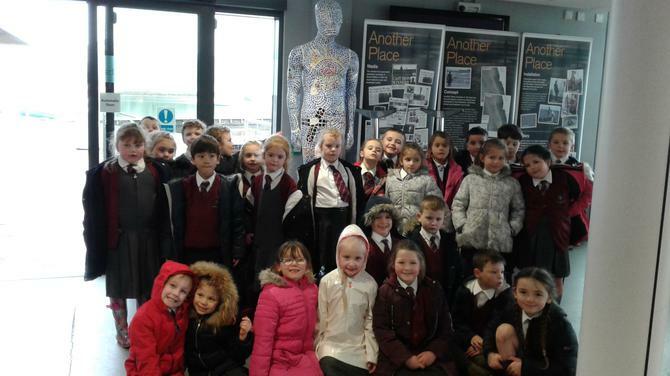 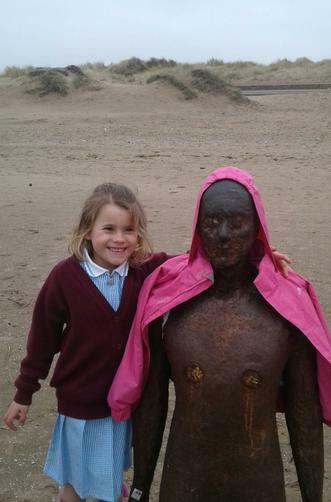 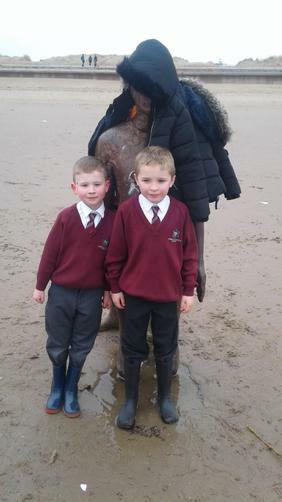 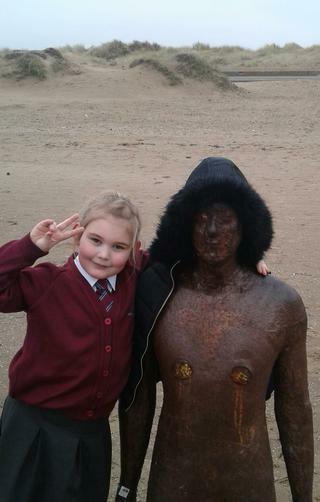 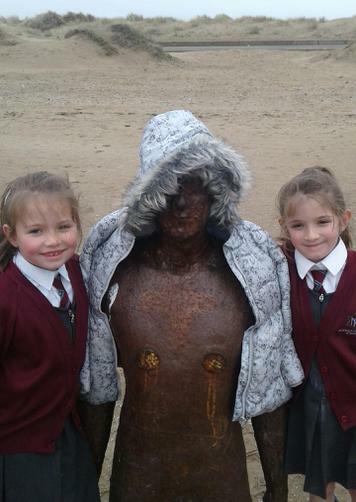 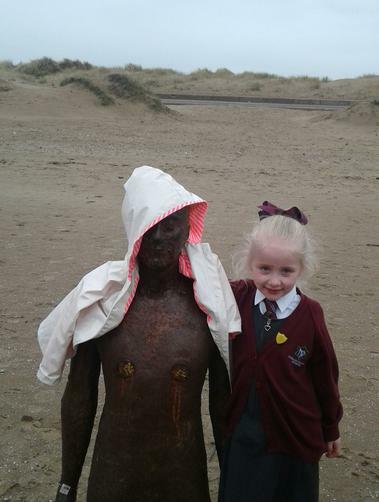 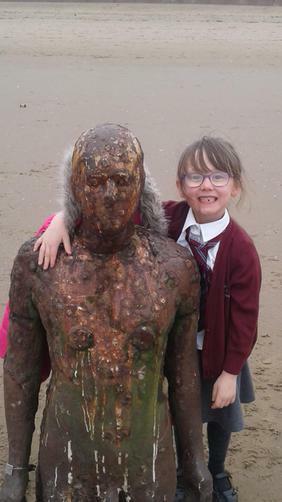 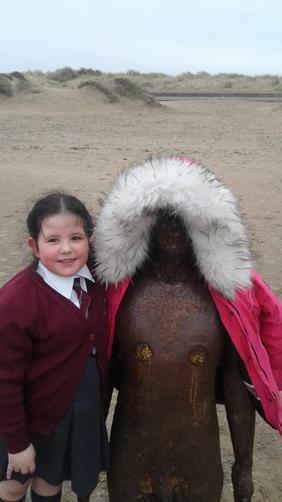 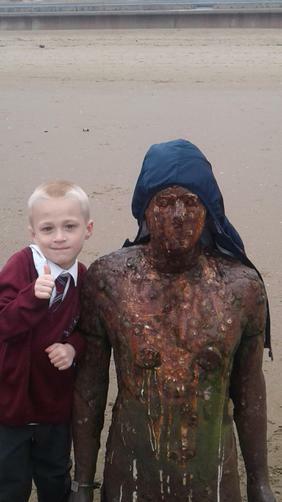 We designed a pattern on our Anthony Gormley statue. 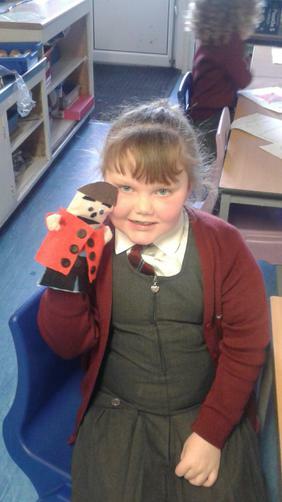 Some fantastic work! 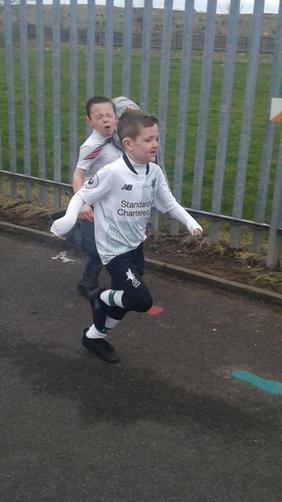 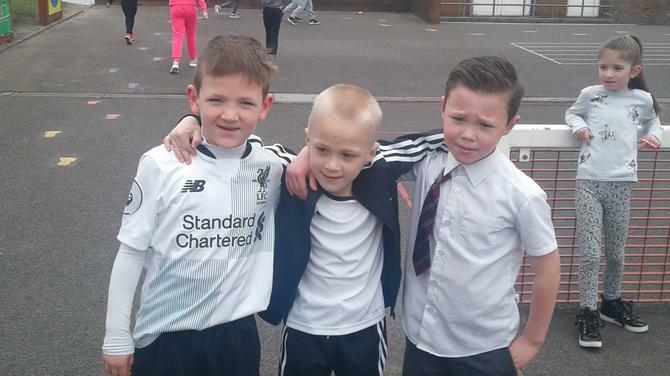 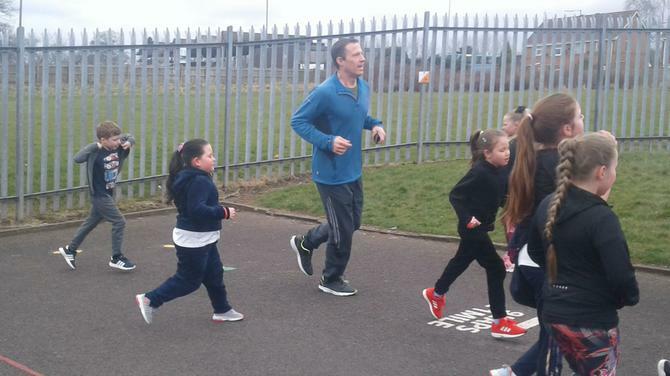 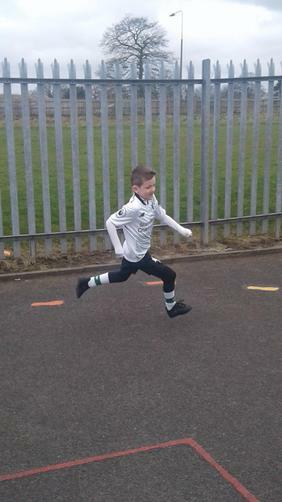 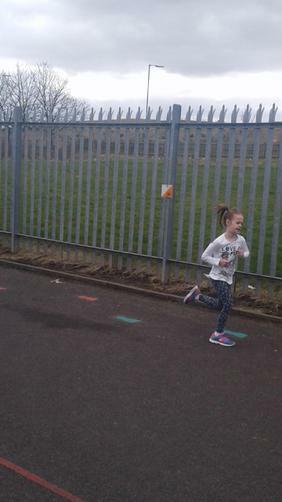 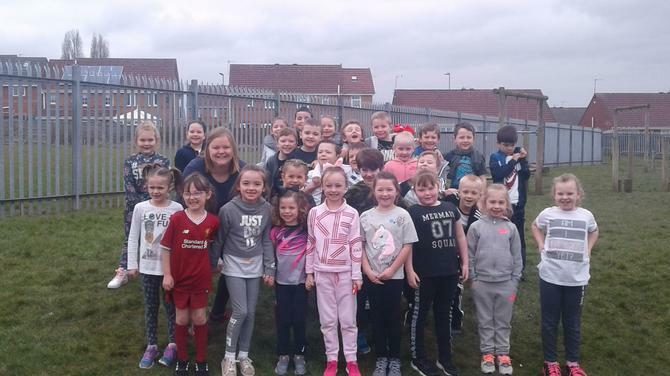 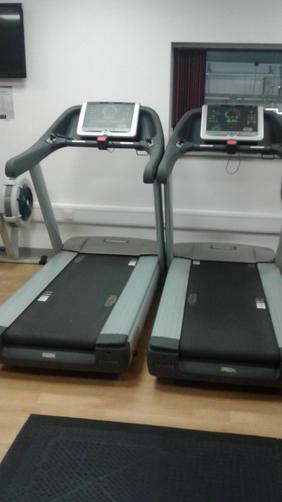 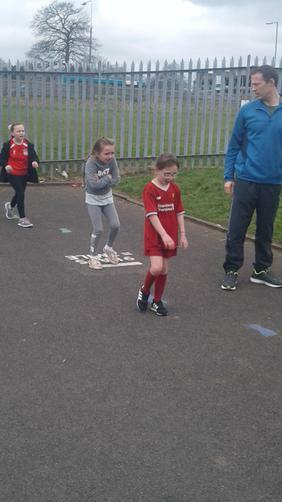 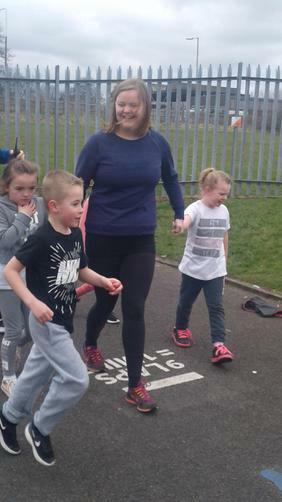 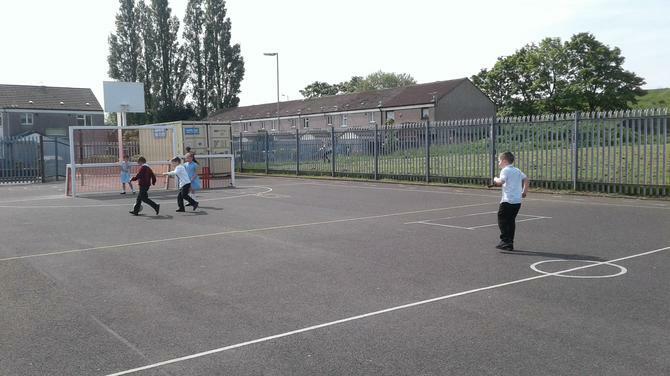 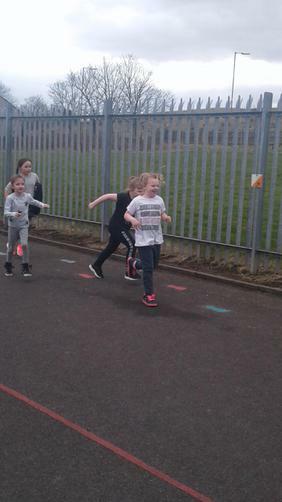 Sports Relief, run a mile! 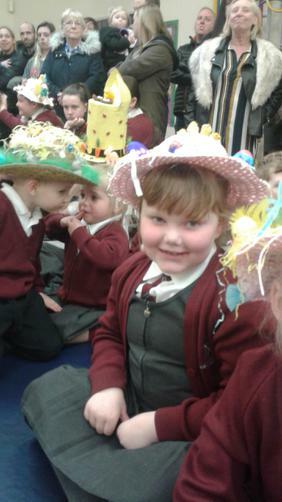 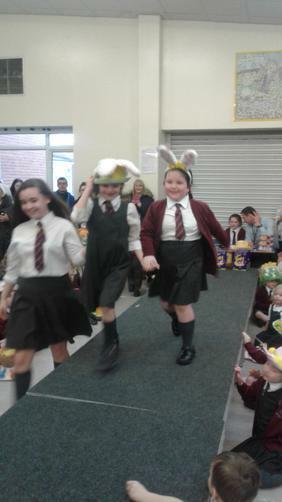 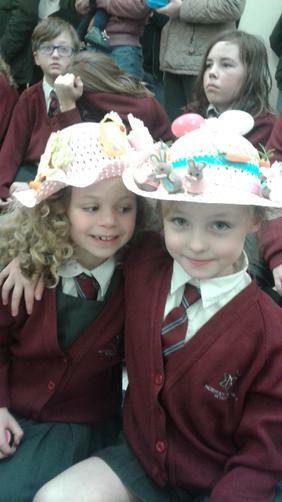 Easter fun at Christ Church. 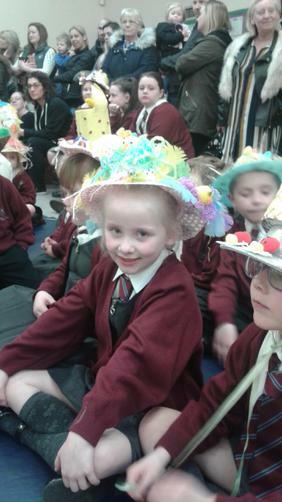 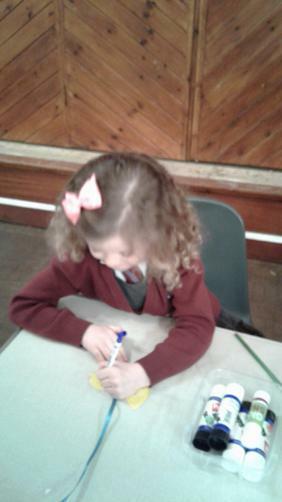 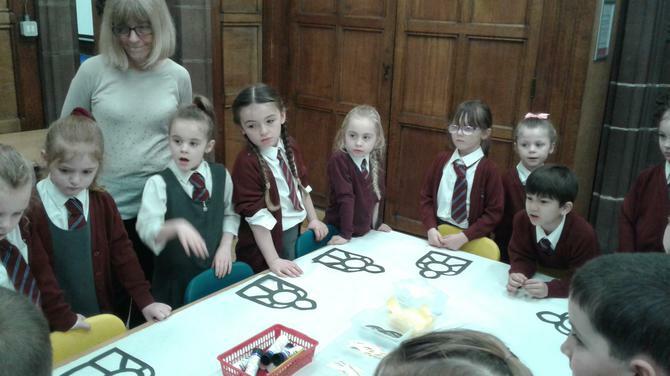 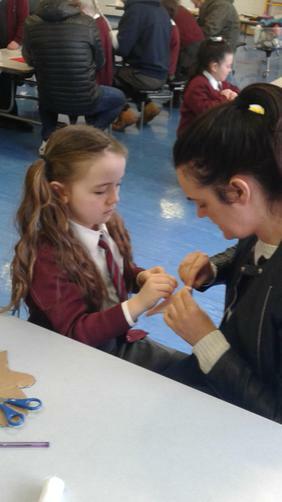 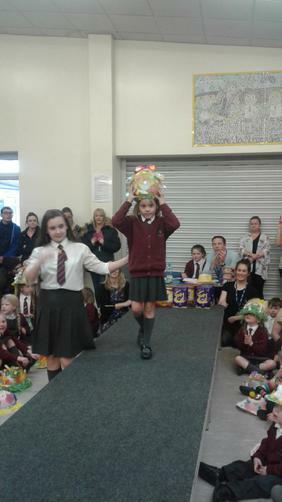 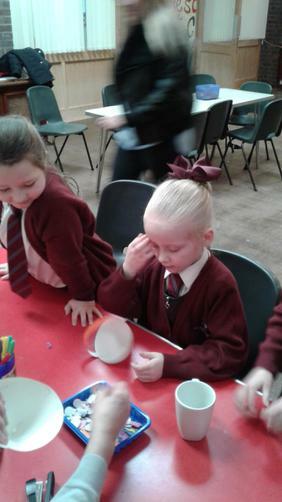 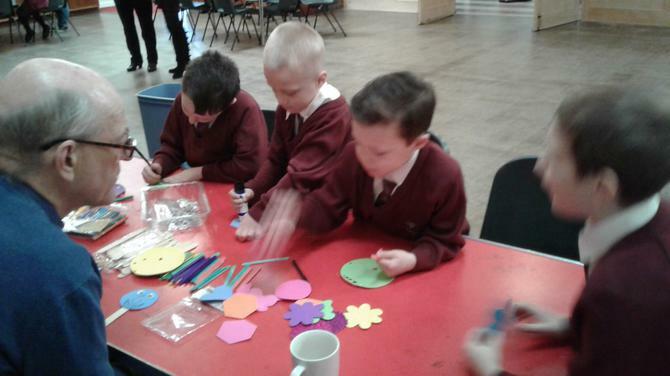 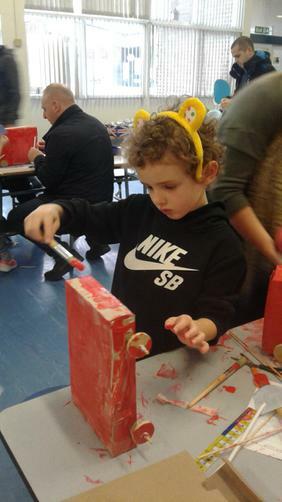 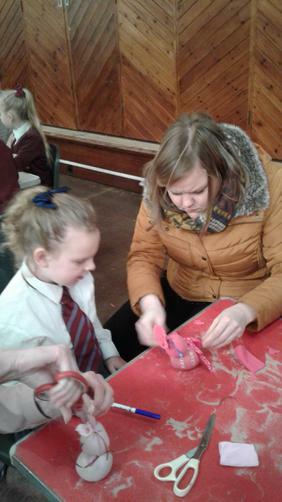 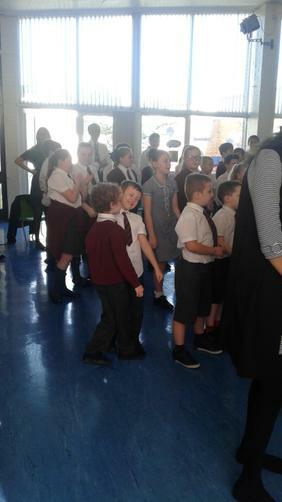 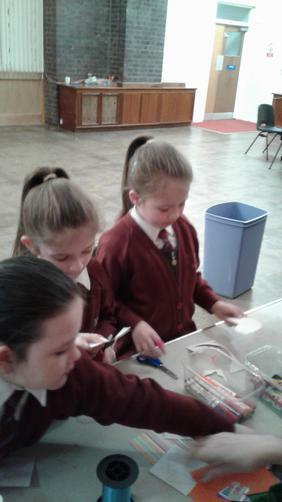 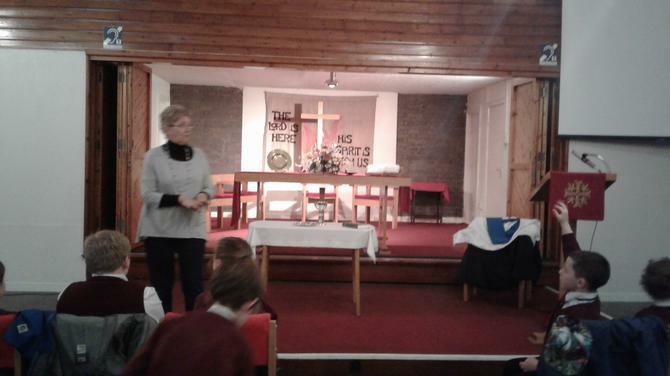 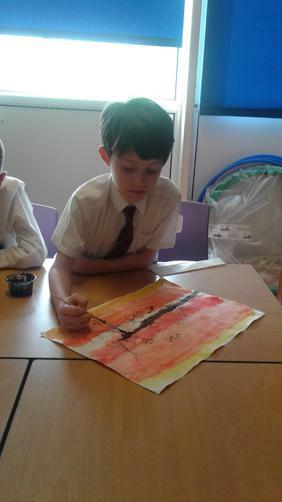 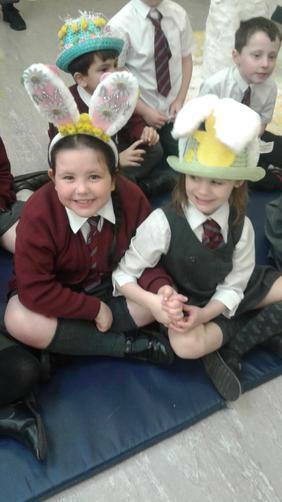 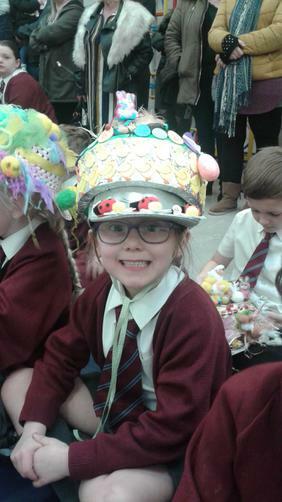 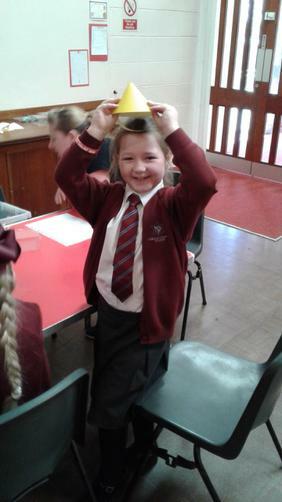 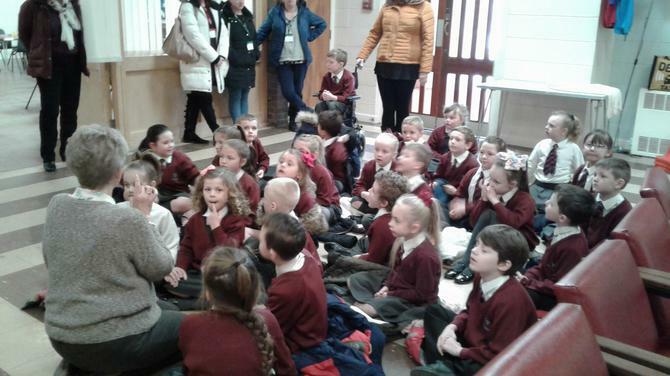 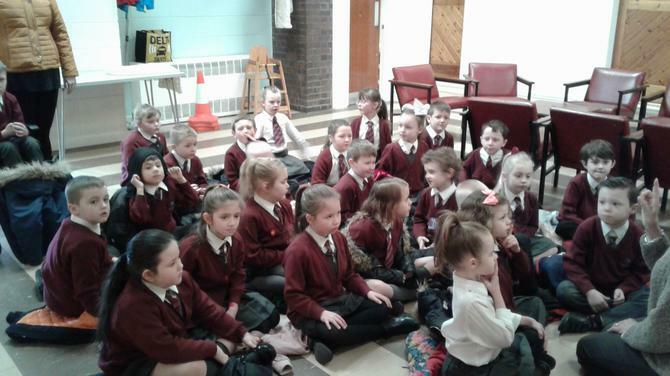 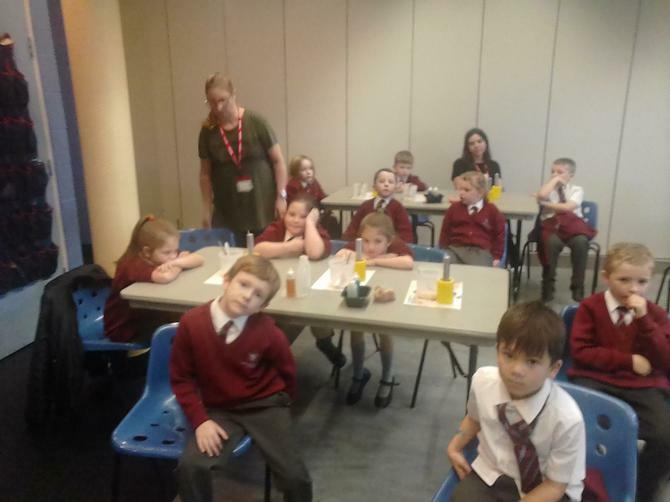 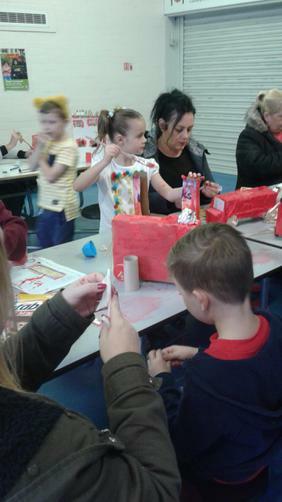 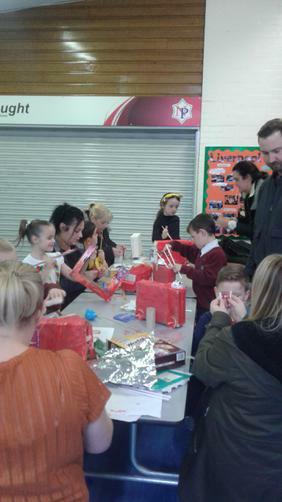 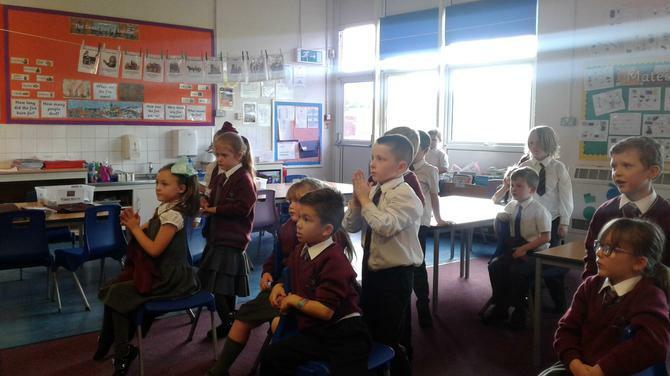 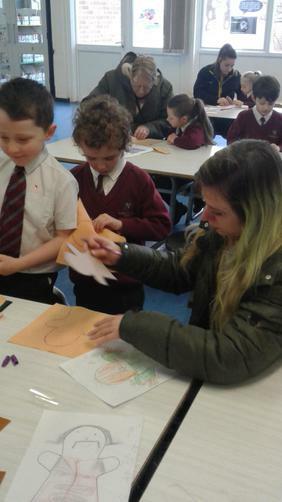 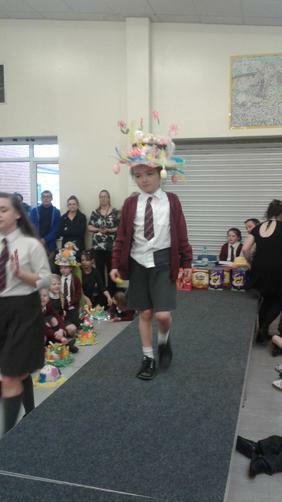 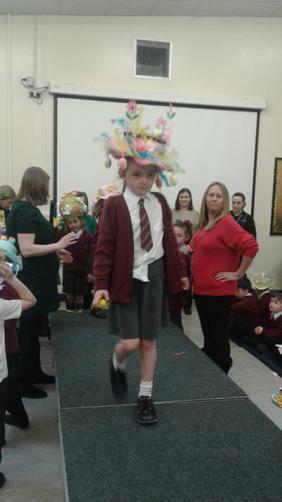 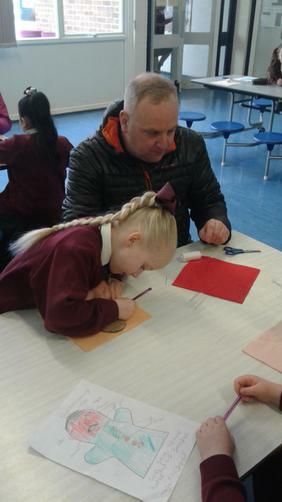 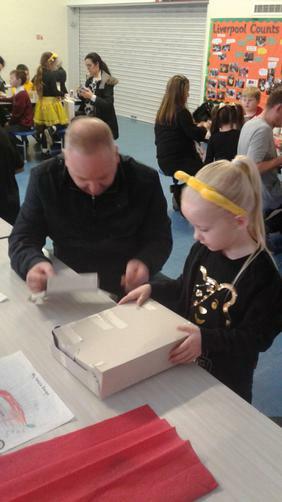 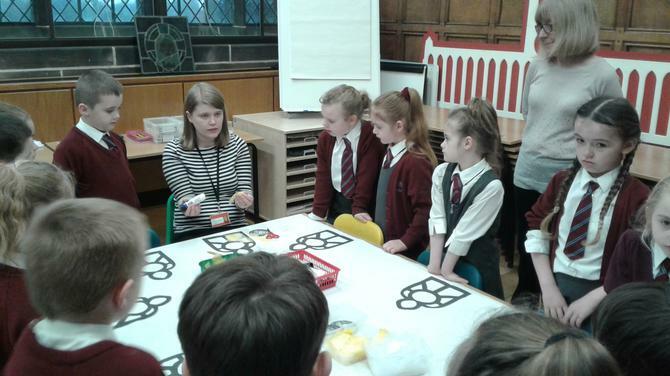 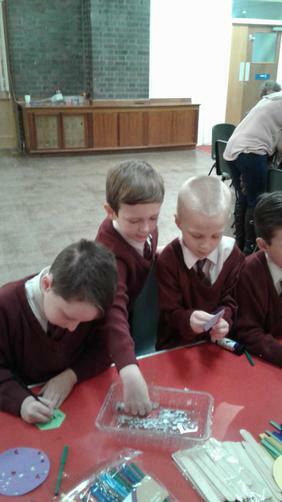 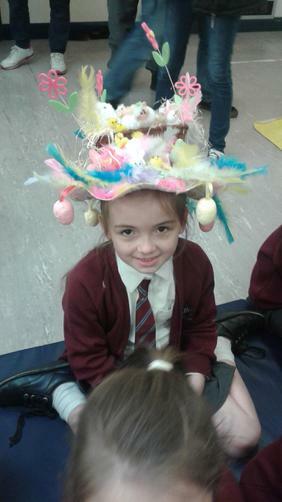 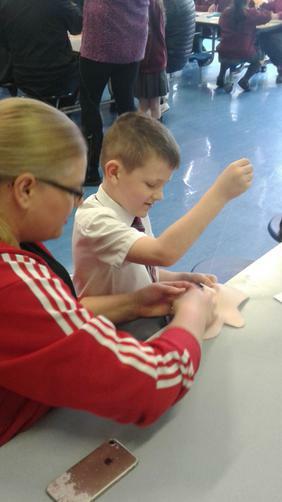 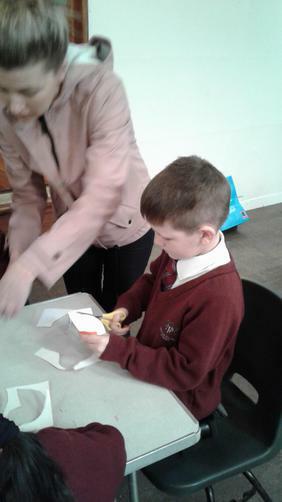 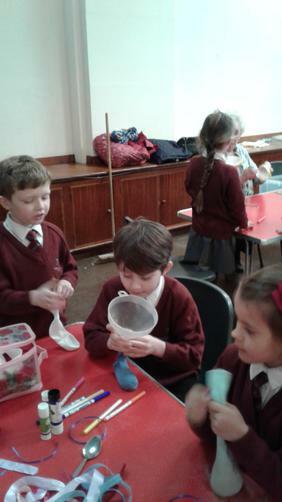 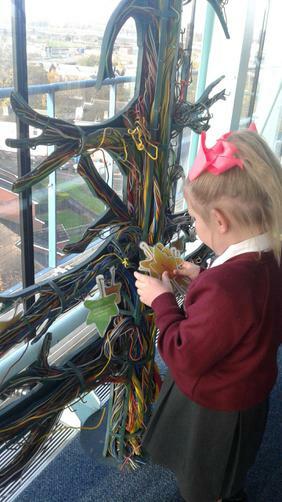 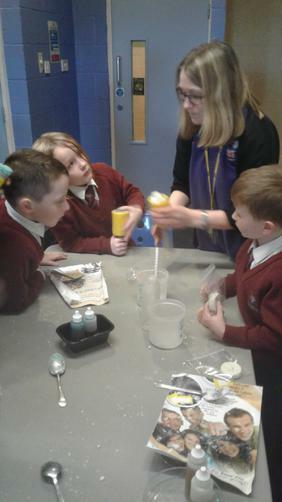 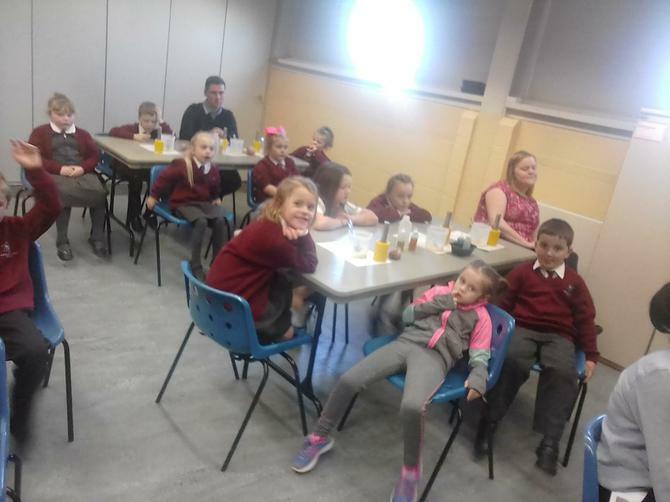 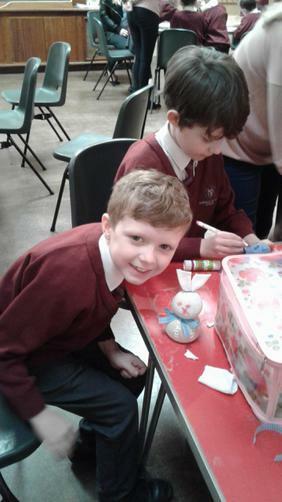 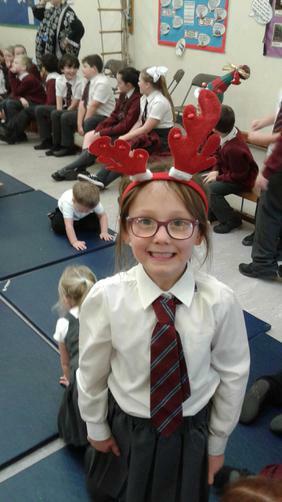 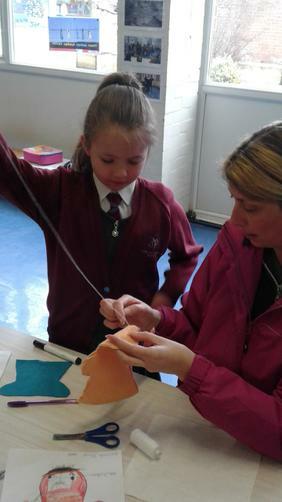 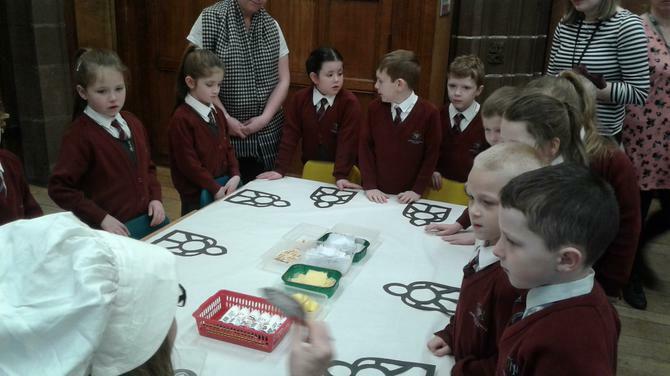 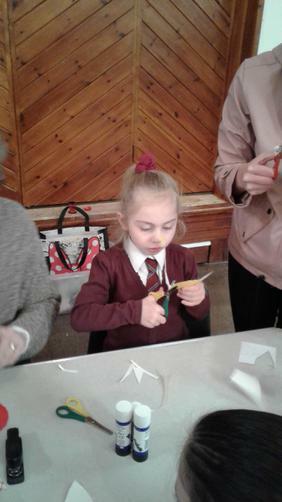 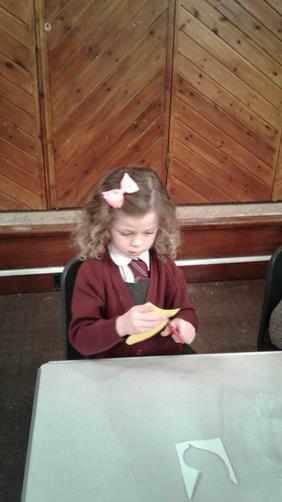 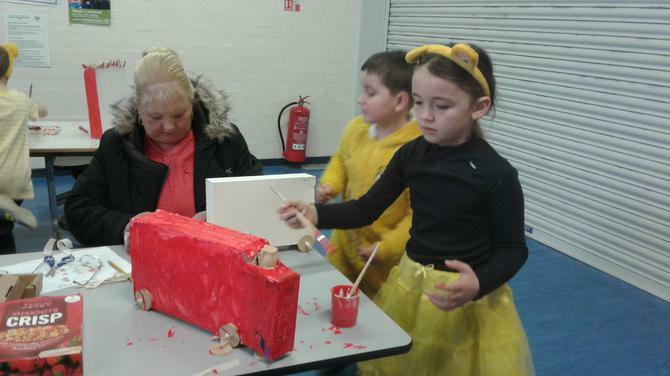 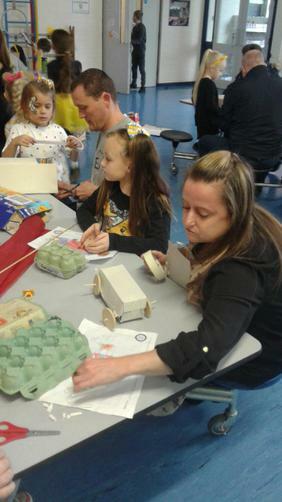 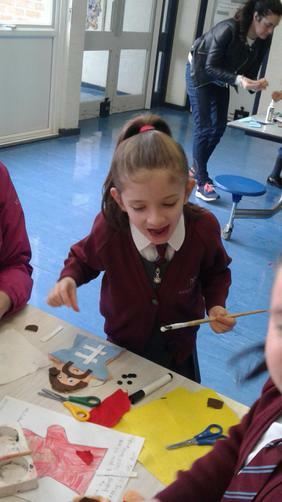 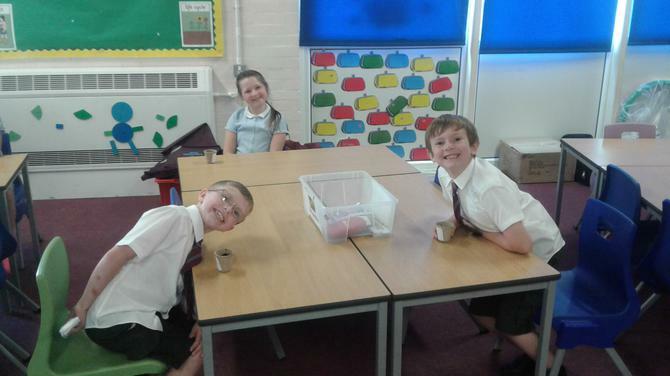 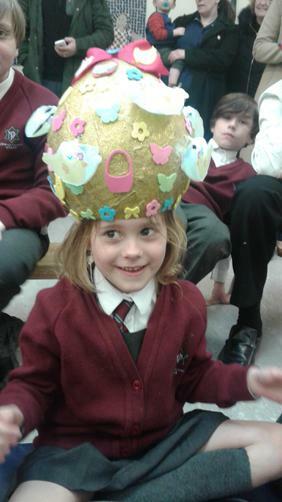 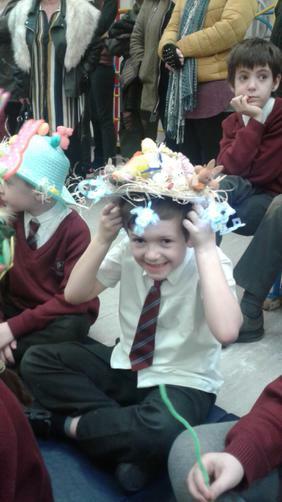 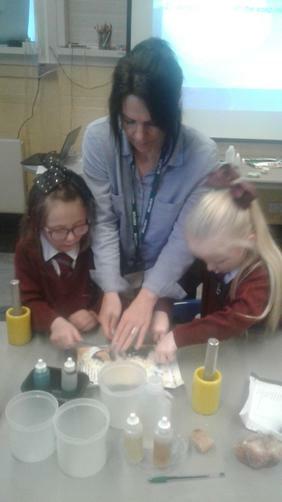 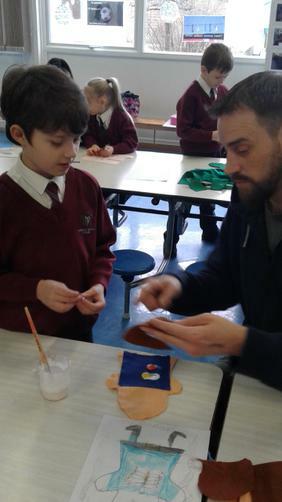 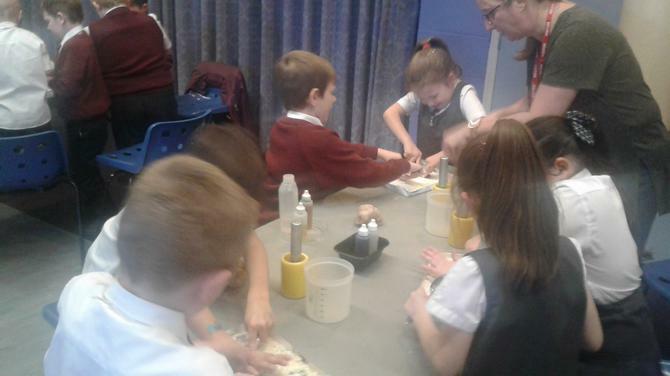 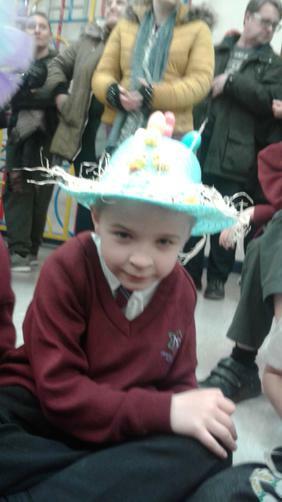 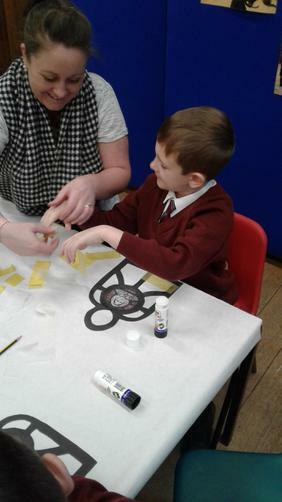 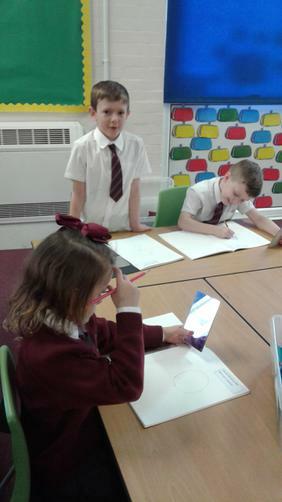 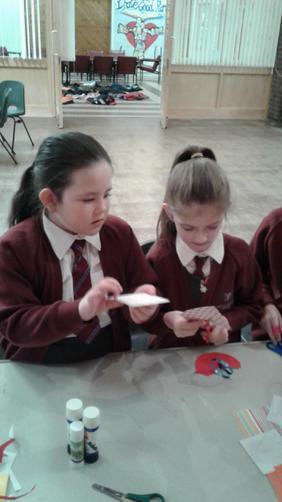 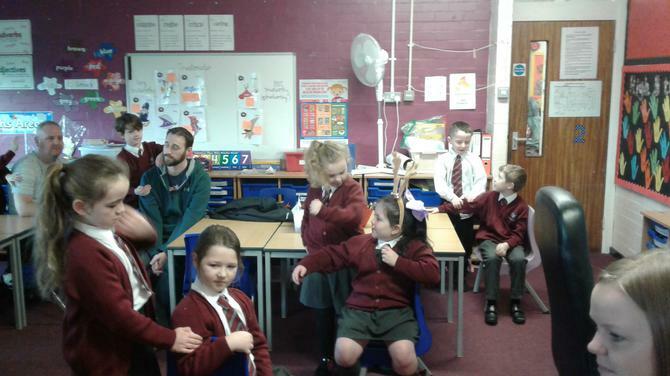 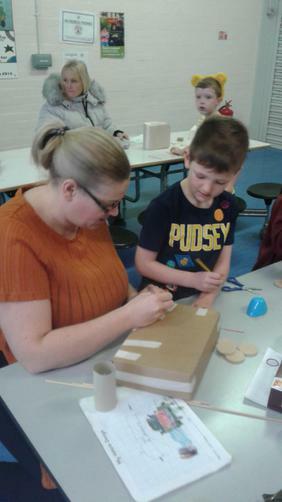 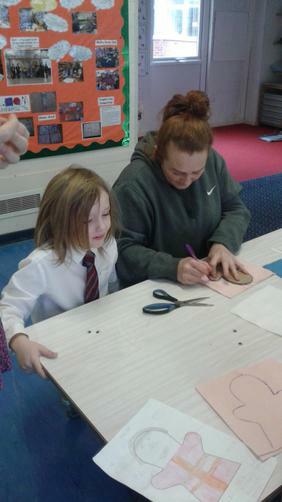 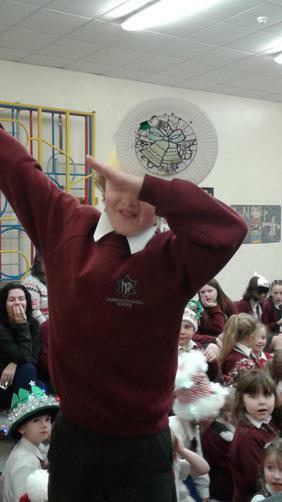 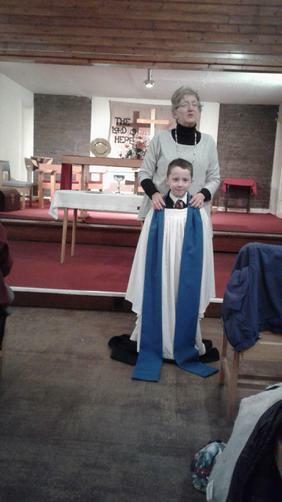 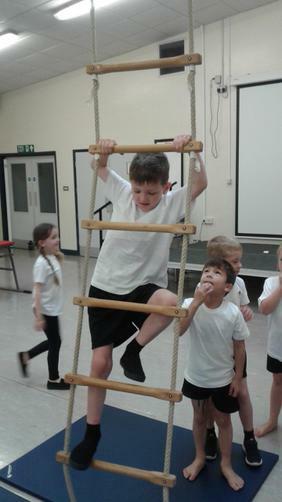 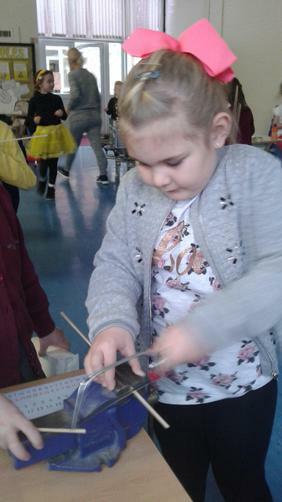 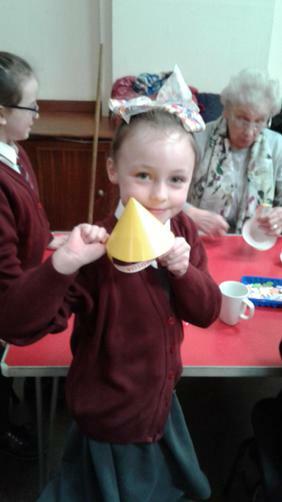 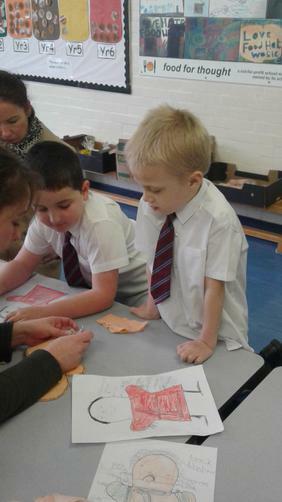 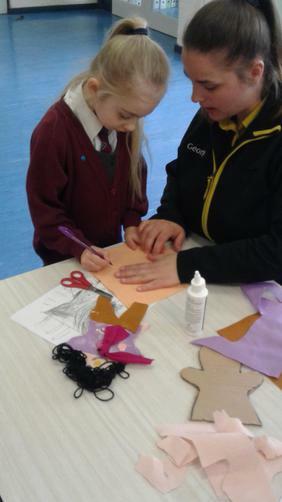 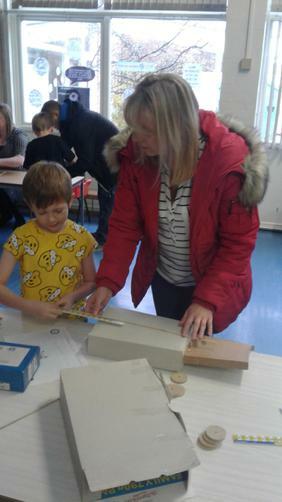 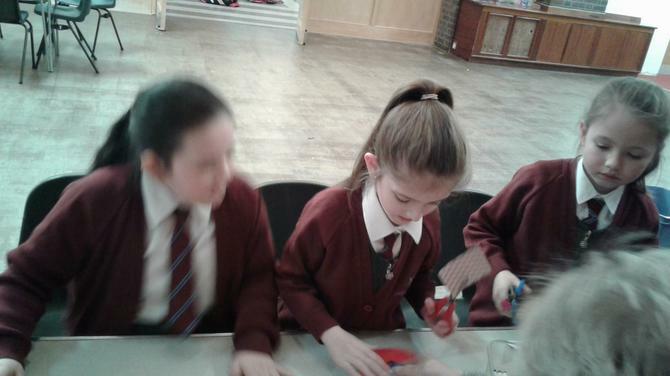 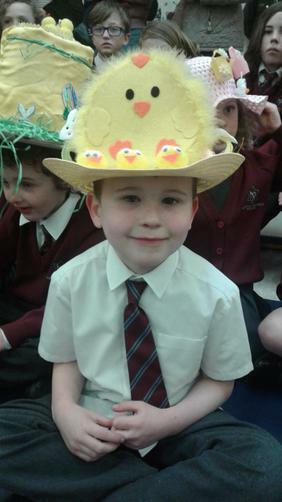 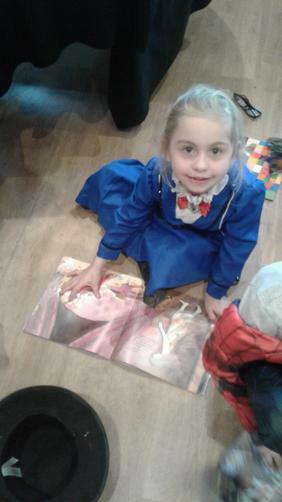 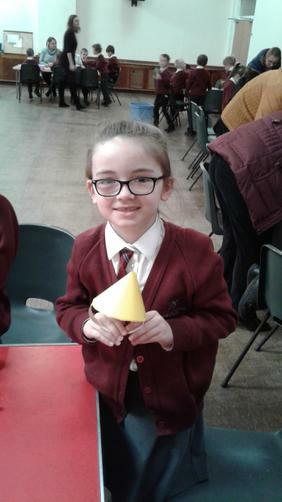 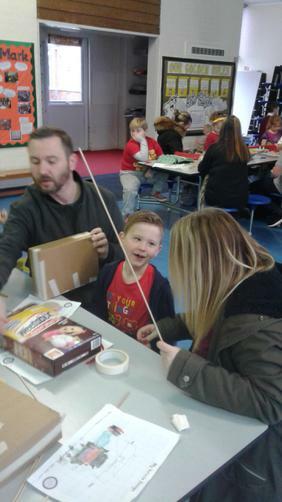 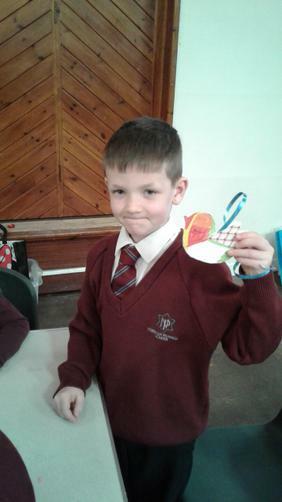 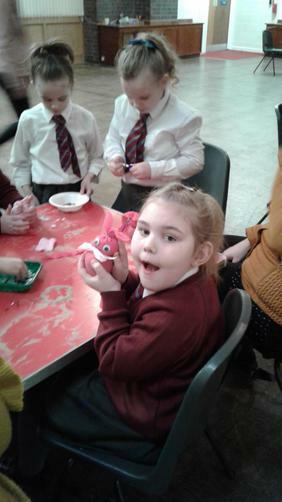 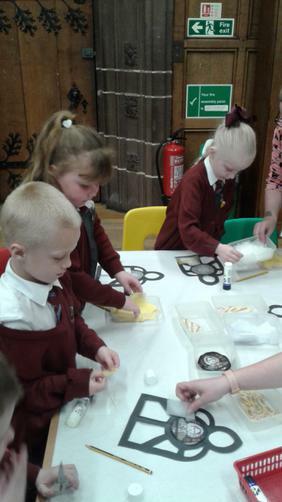 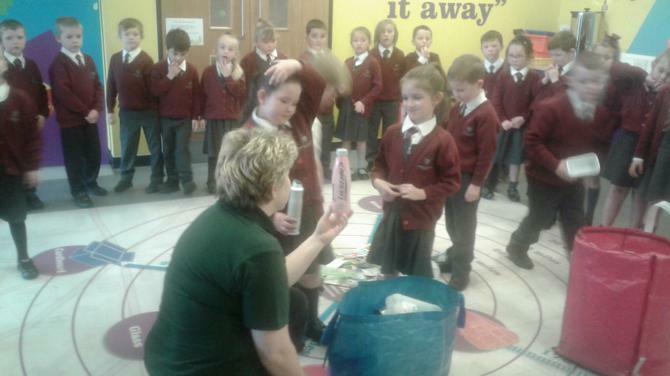 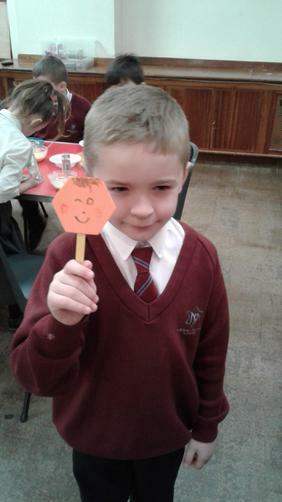 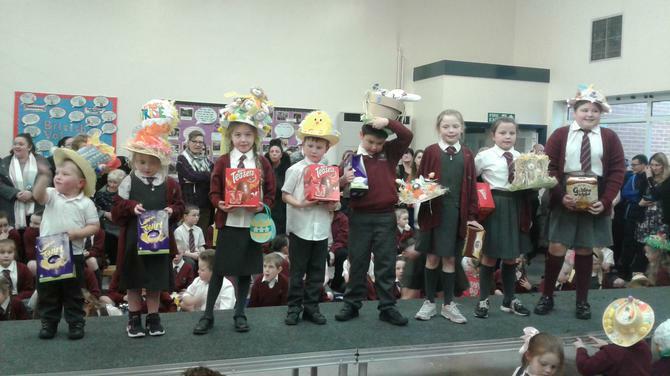 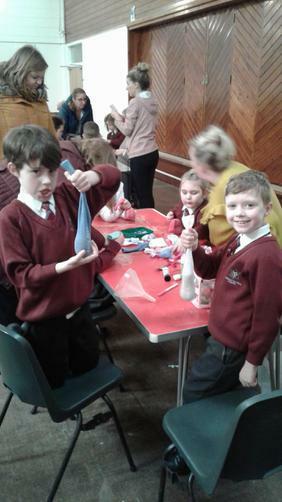 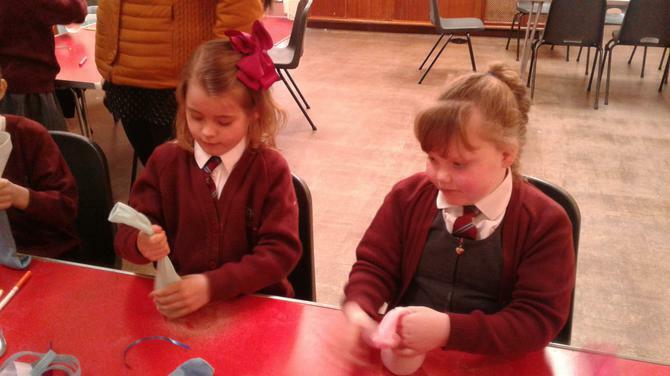 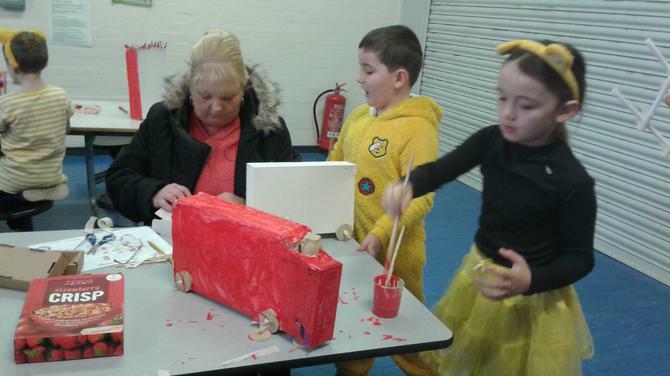 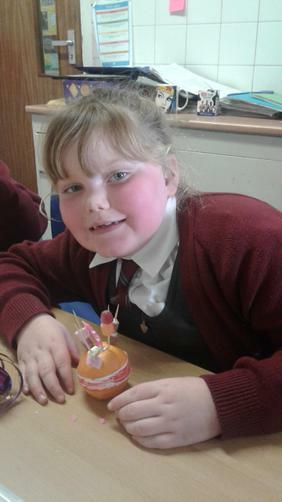 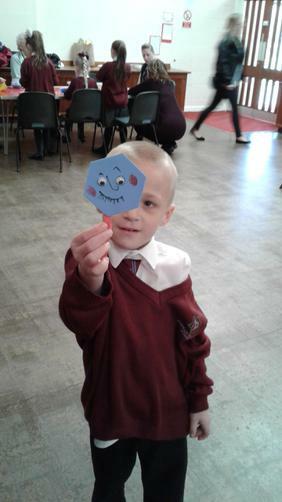 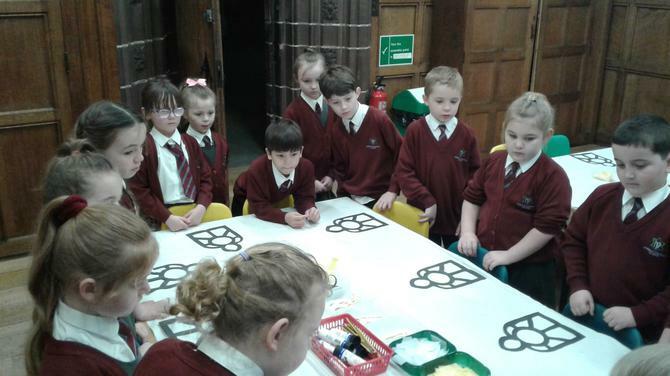 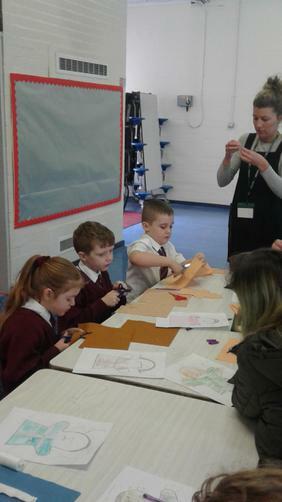 The children enjoyed their morning in Christ Church, learning about the true meaning of Easter and taking part in some fun Easter activities. 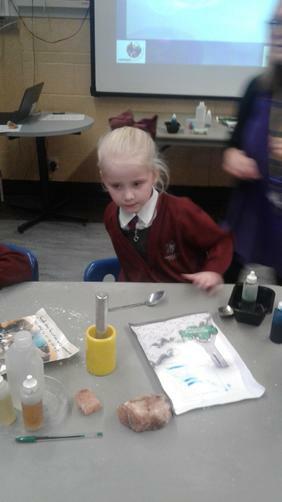 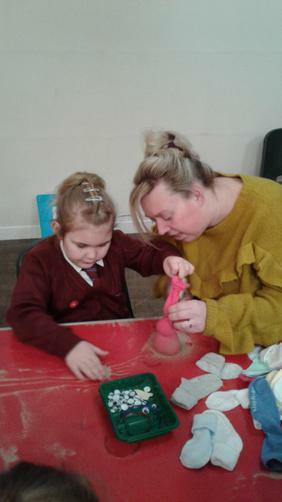 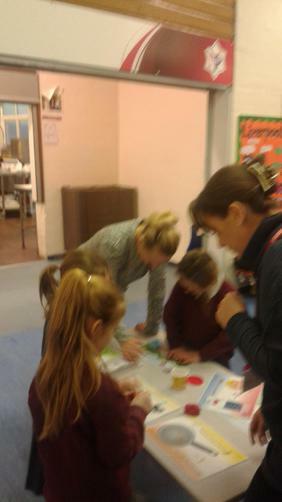 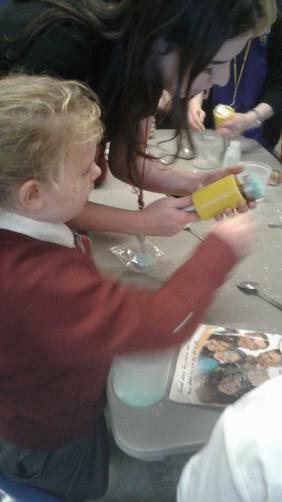 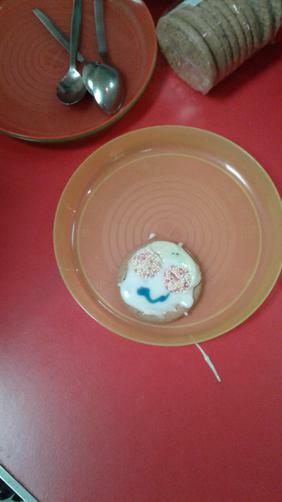 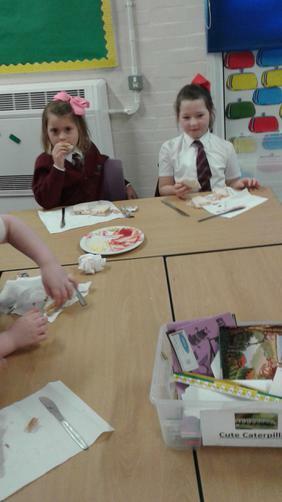 Thank you to everyone who came to messy morning today. 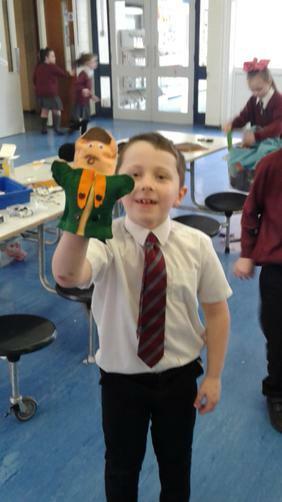 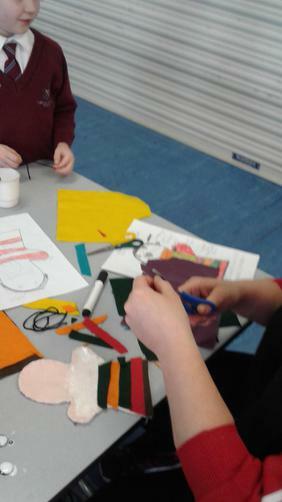 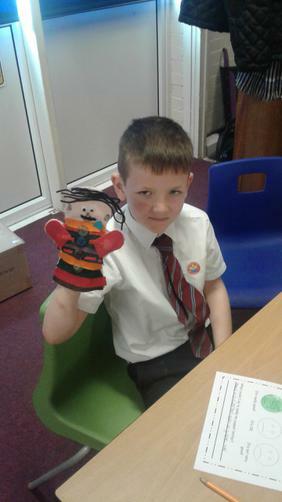 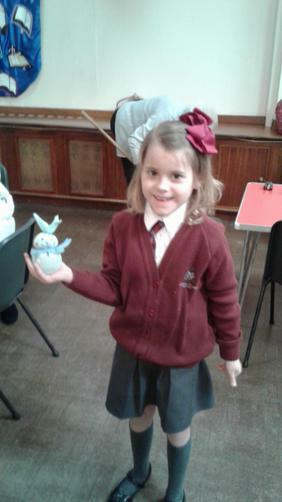 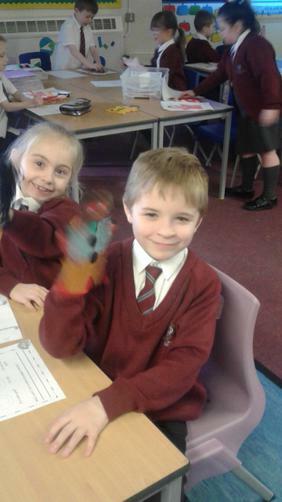 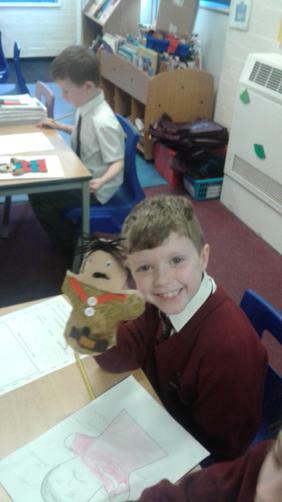 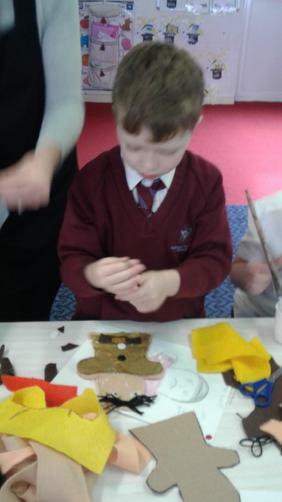 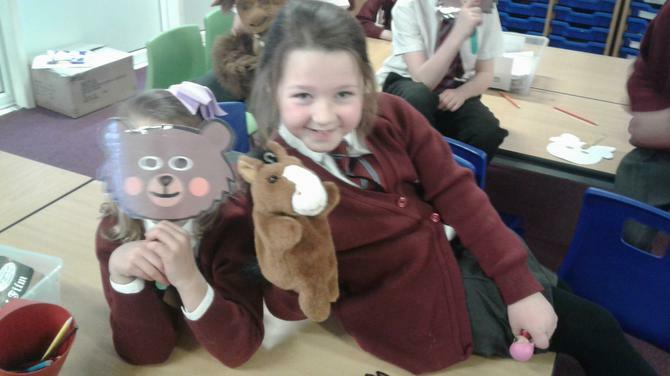 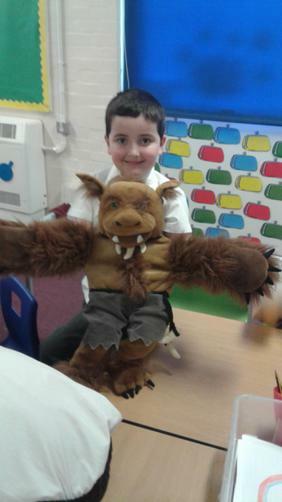 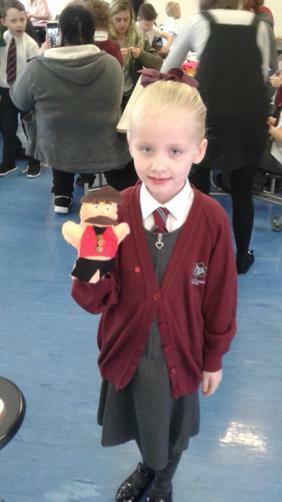 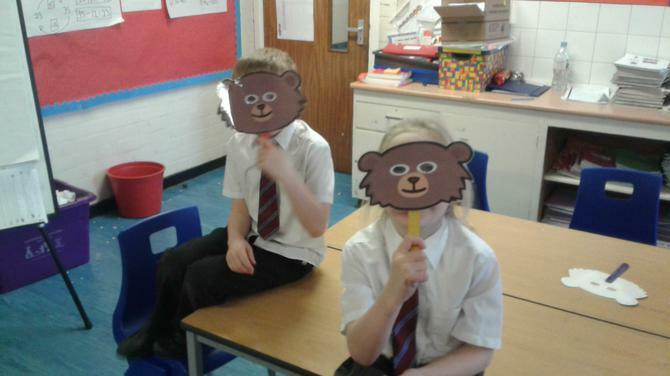 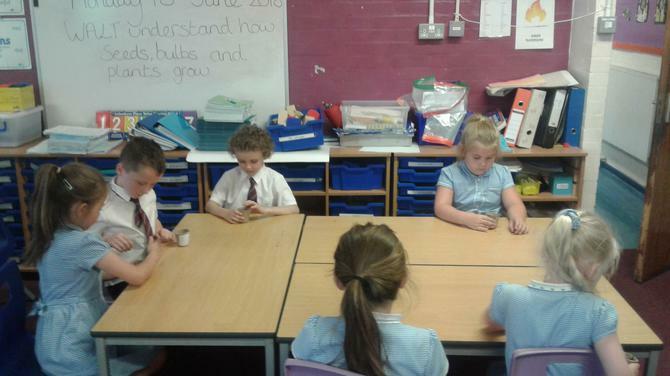 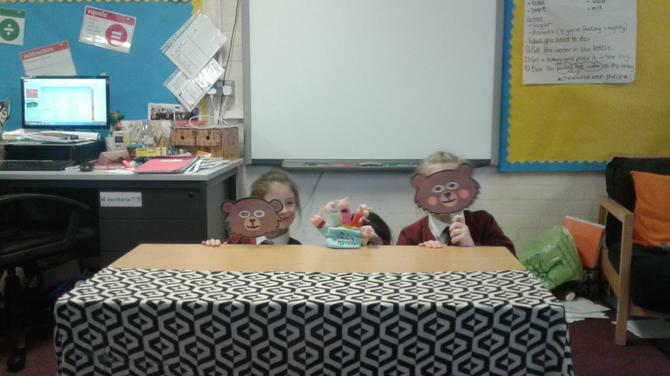 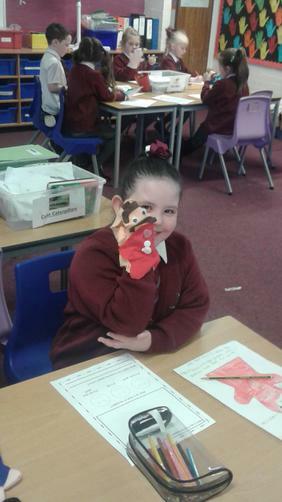 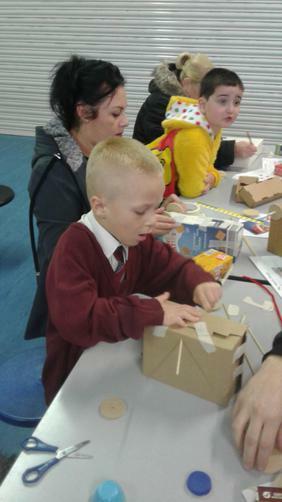 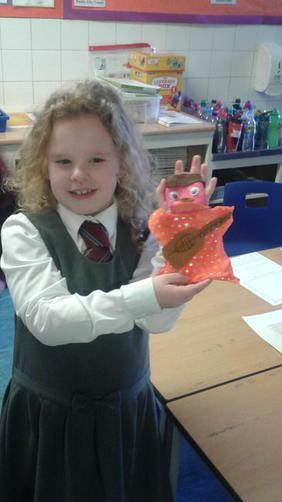 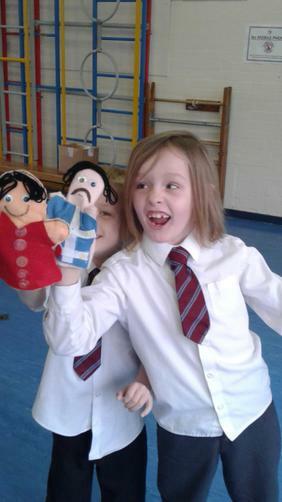 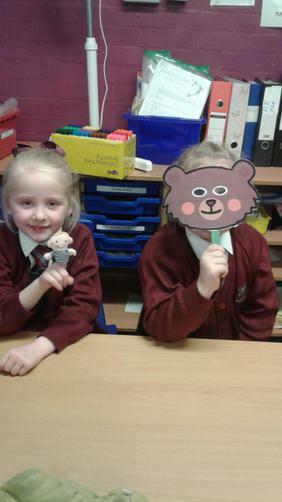 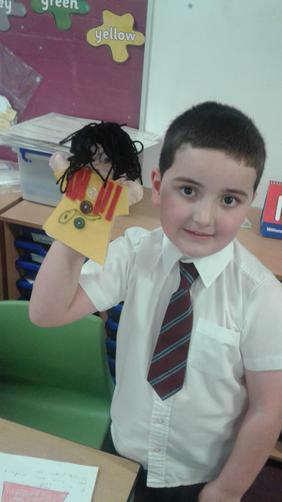 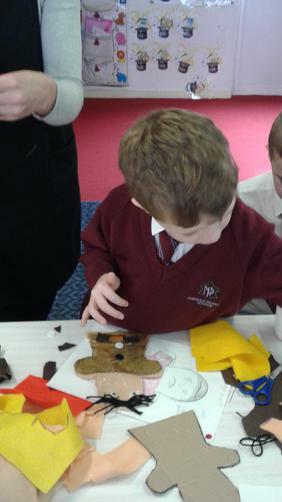 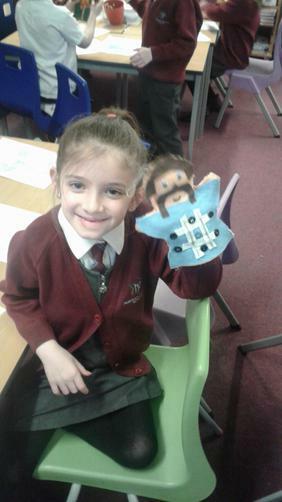 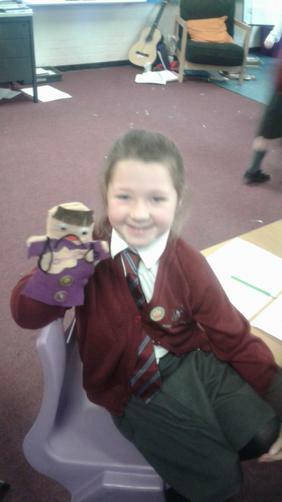 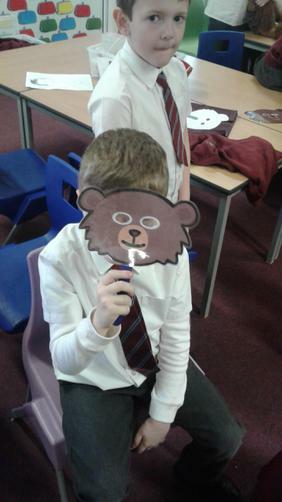 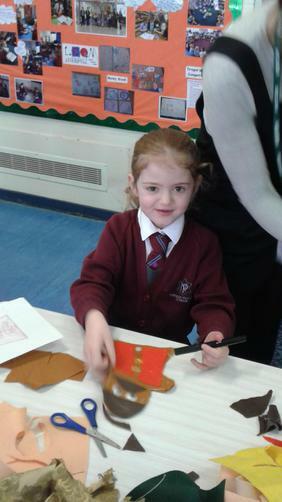 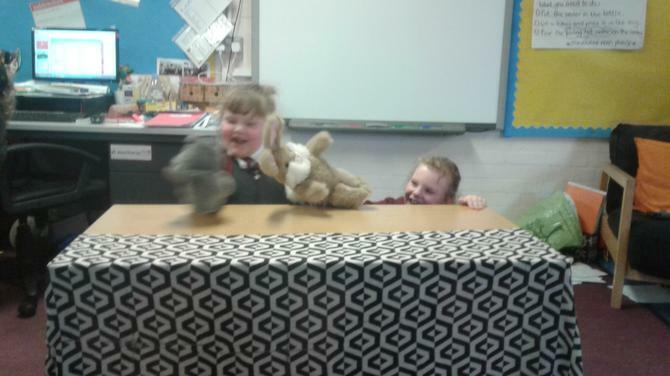 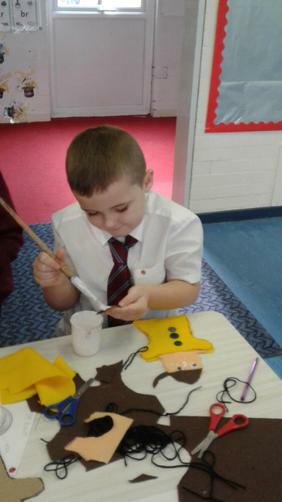 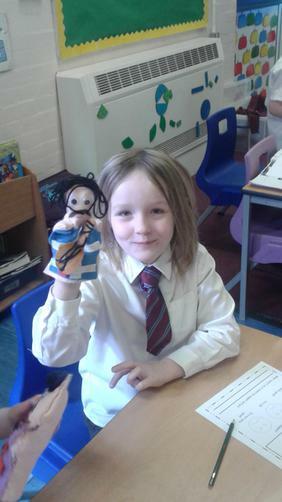 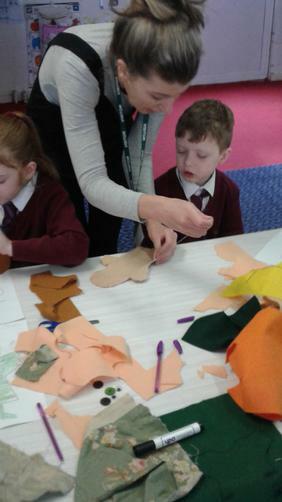 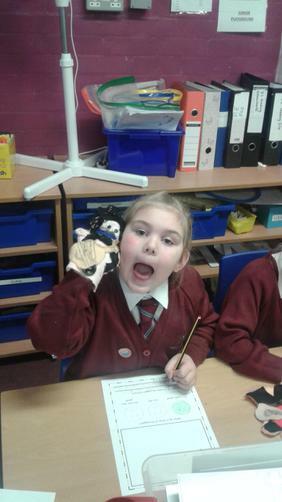 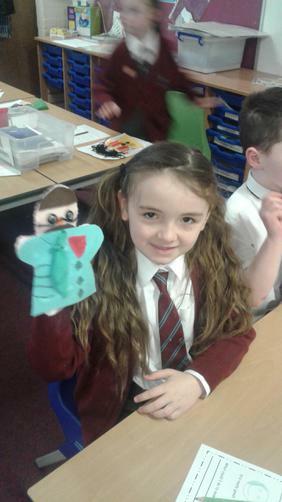 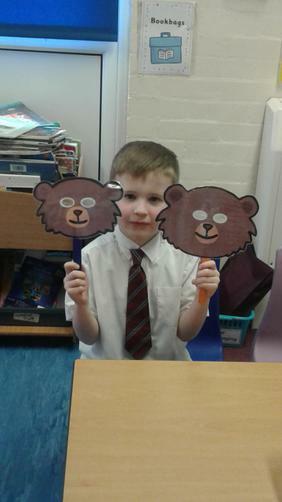 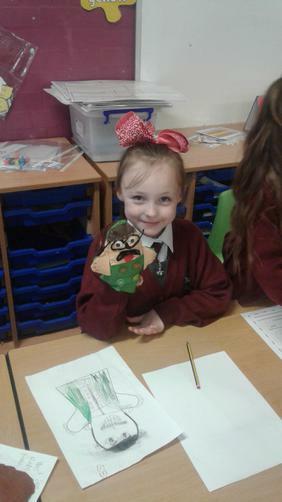 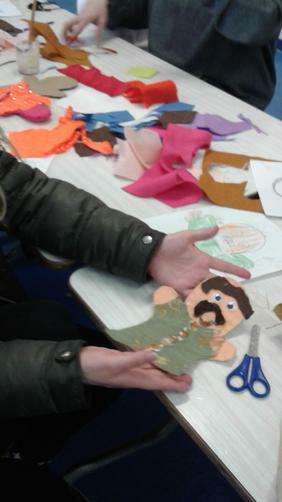 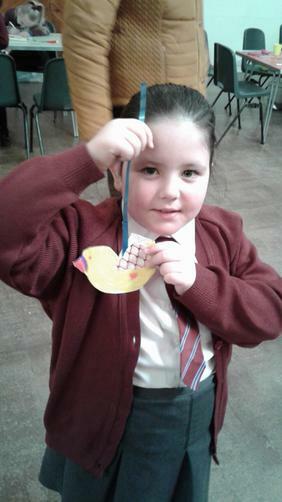 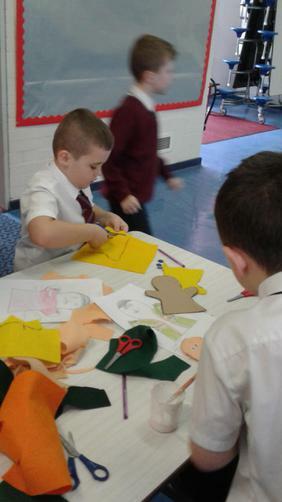 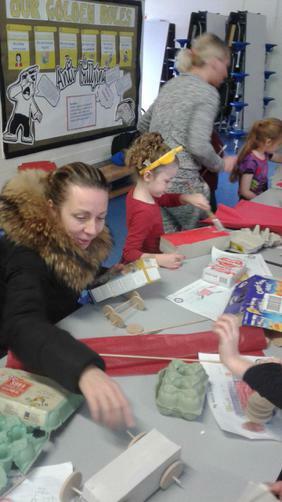 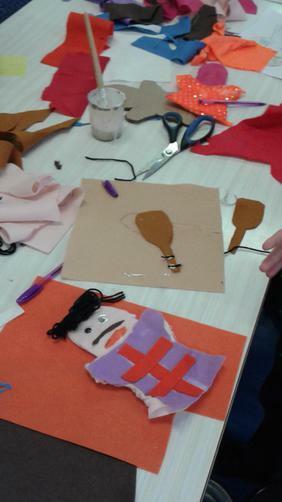 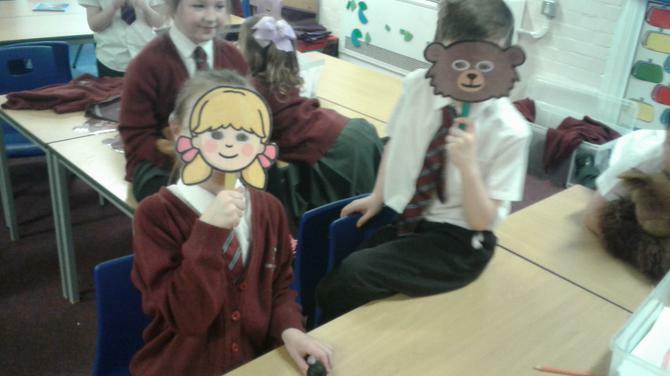 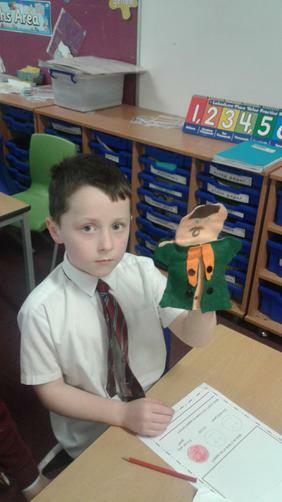 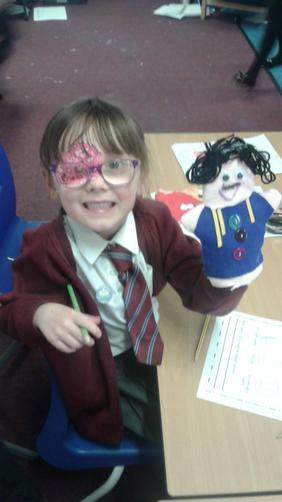 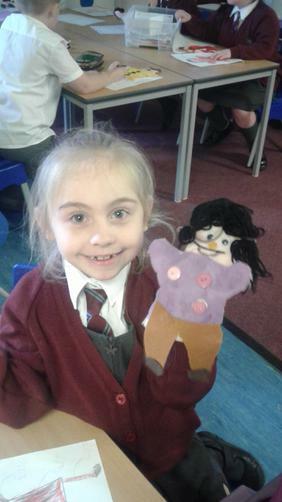 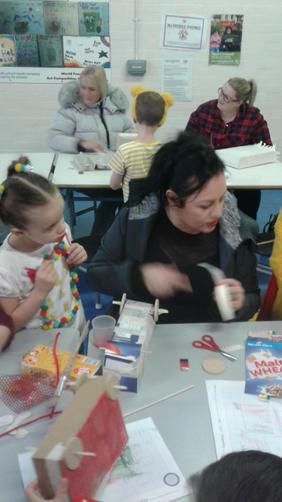 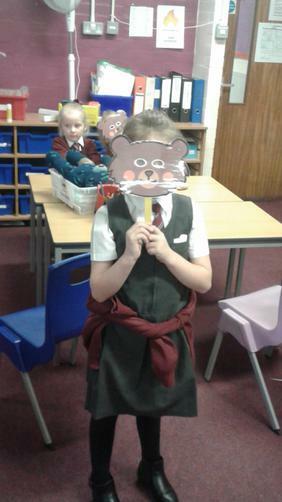 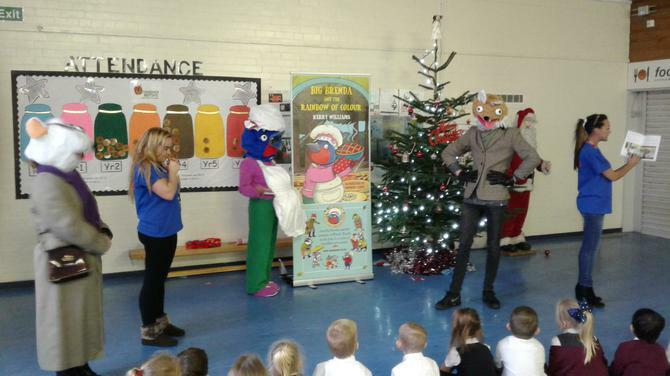 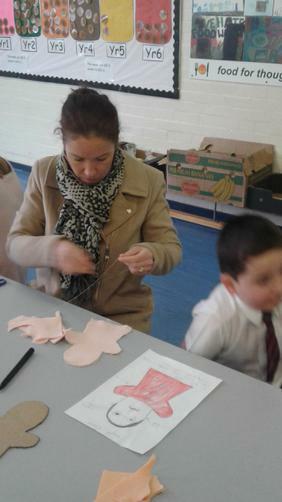 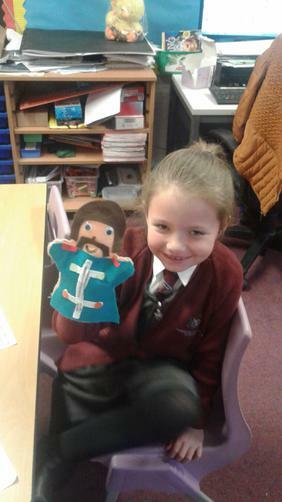 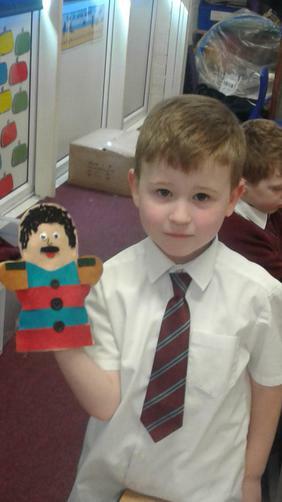 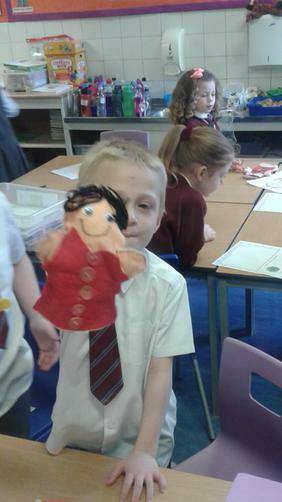 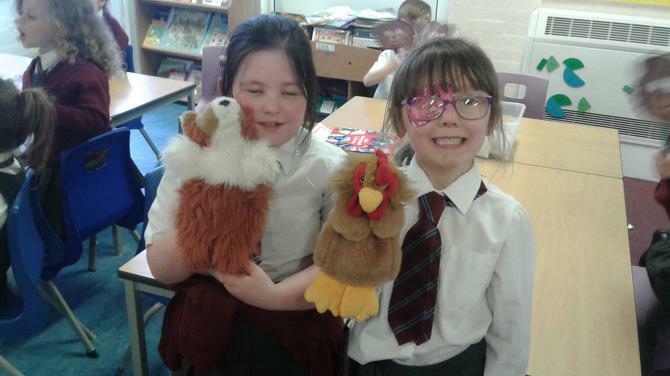 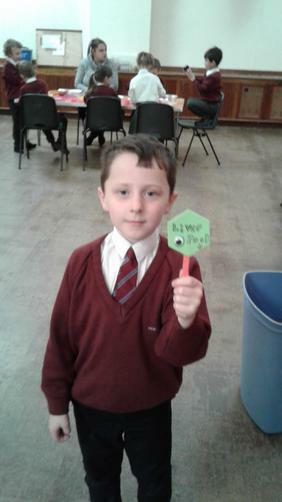 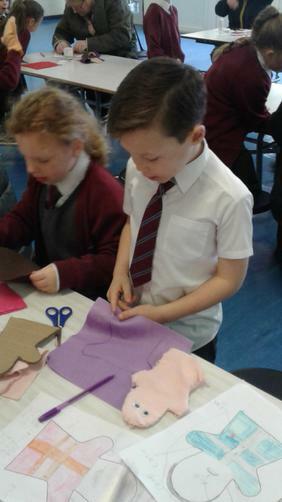 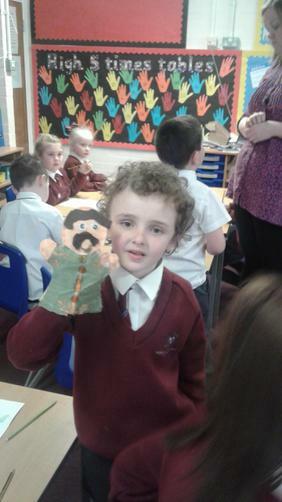 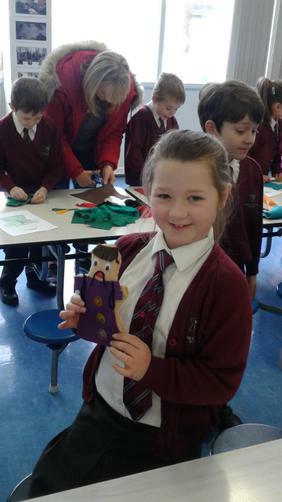 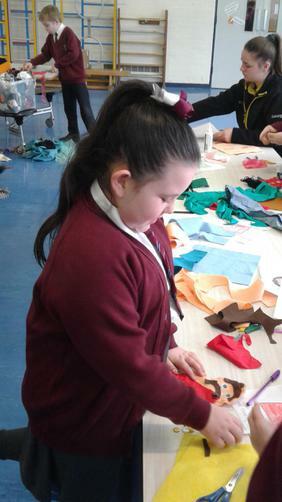 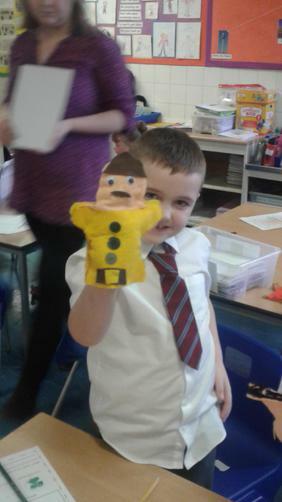 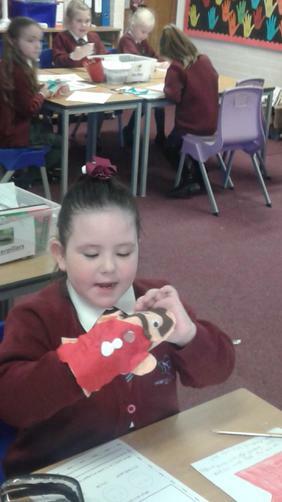 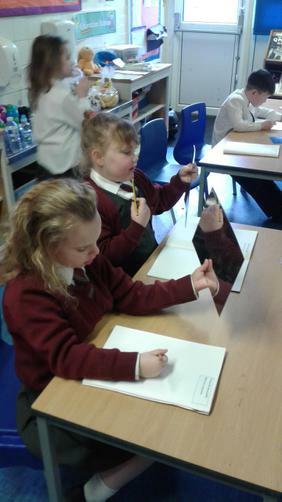 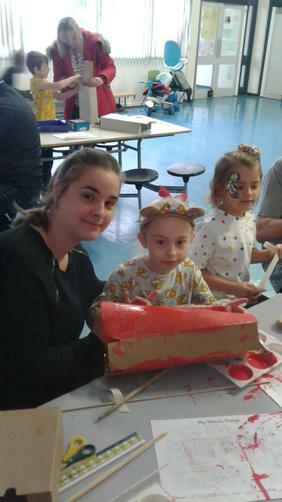 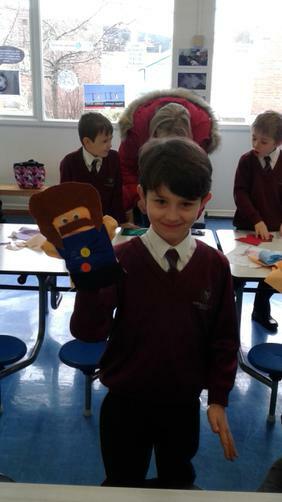 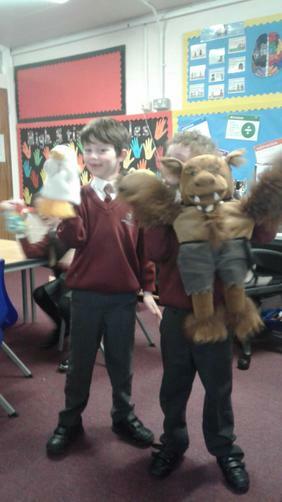 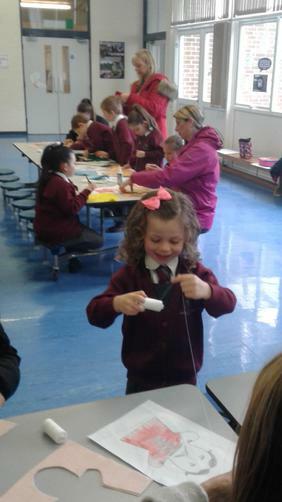 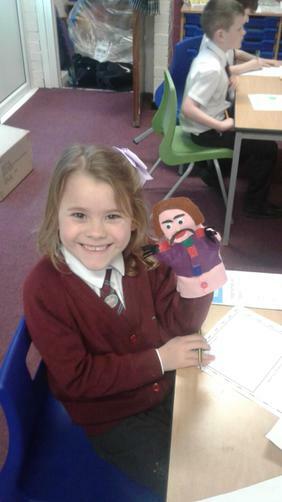 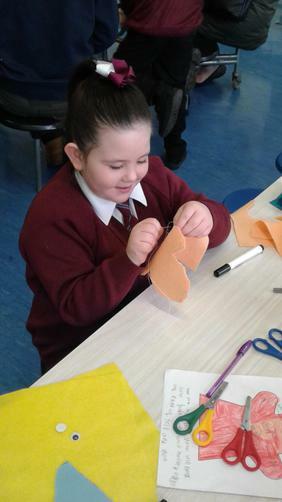 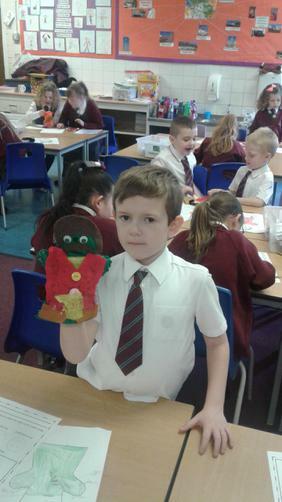 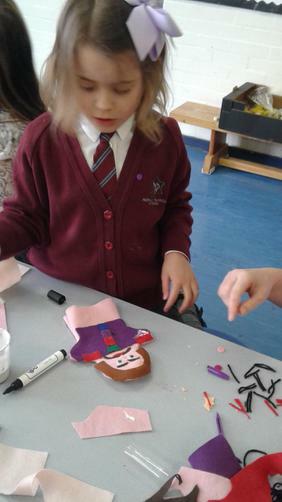 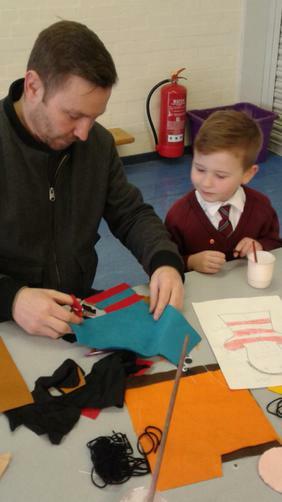 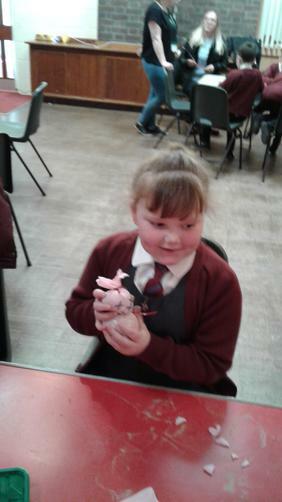 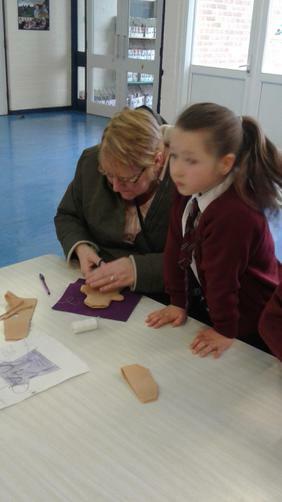 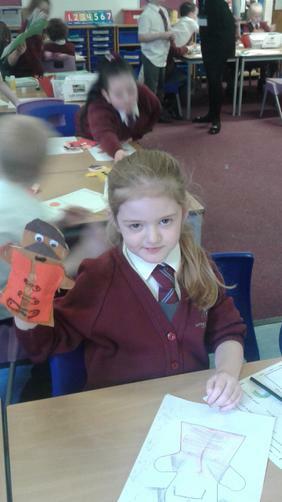 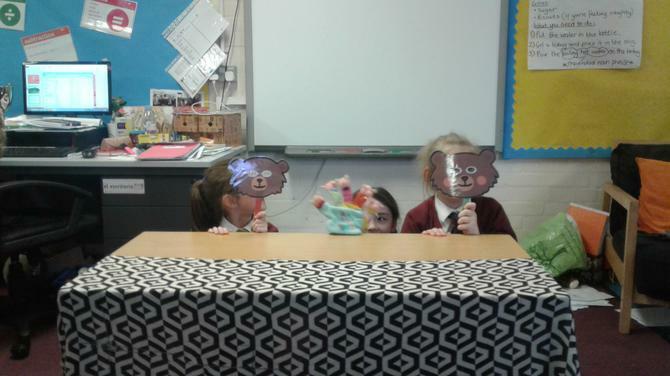 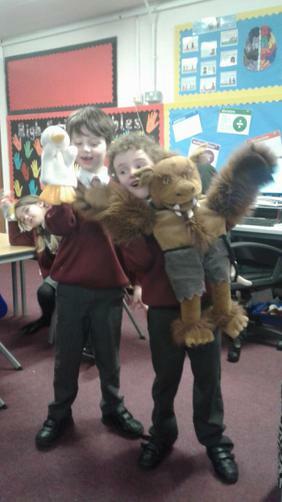 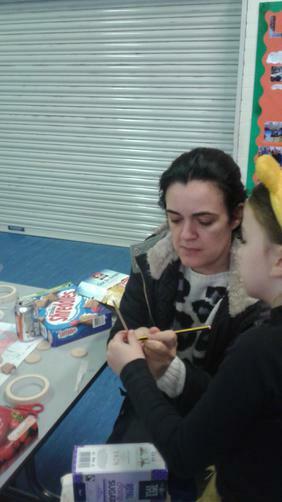 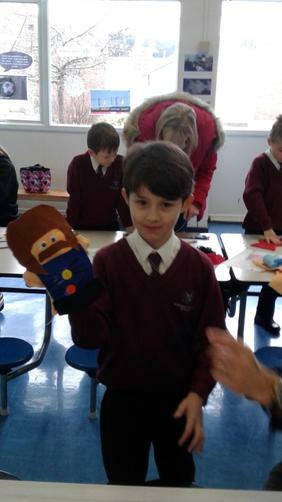 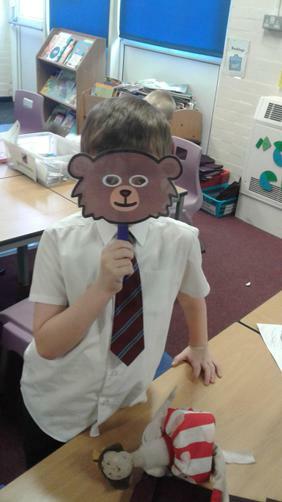 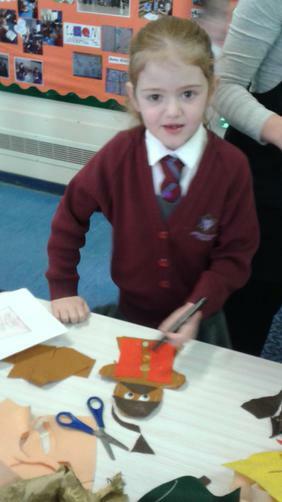 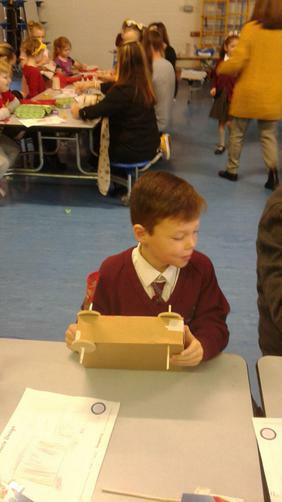 The children really enjoyed making their puppets and the results were fantastic. 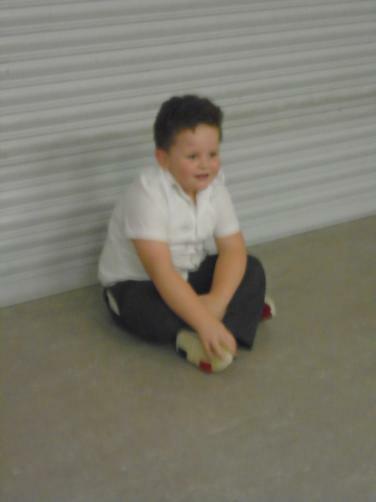 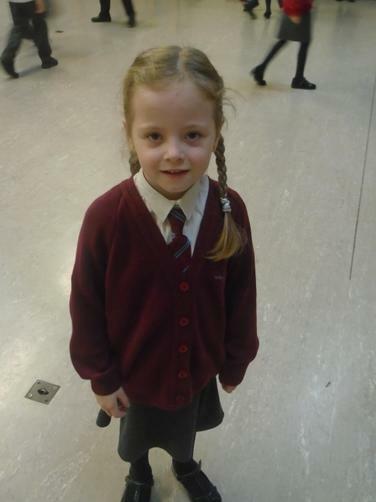 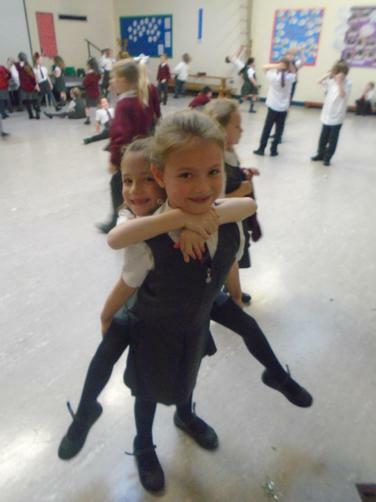 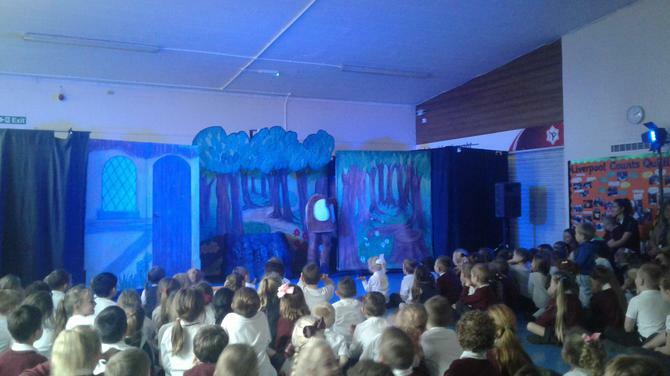 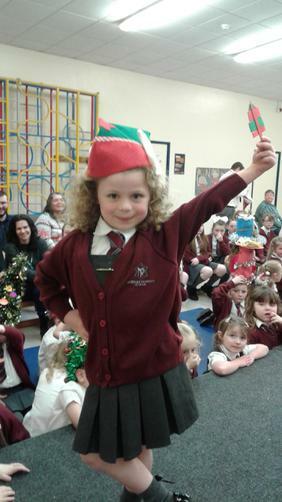 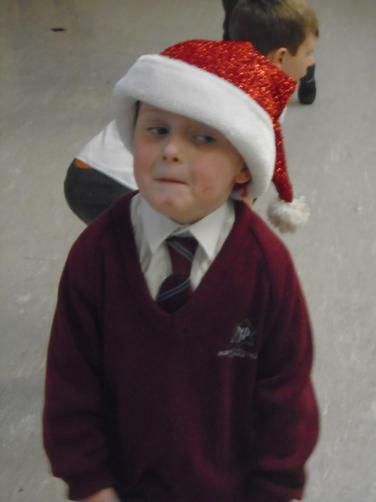 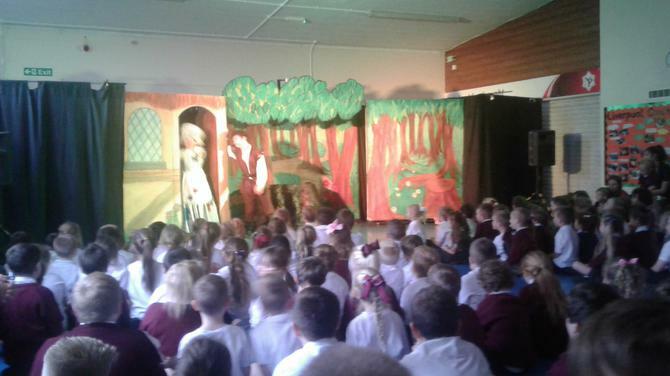 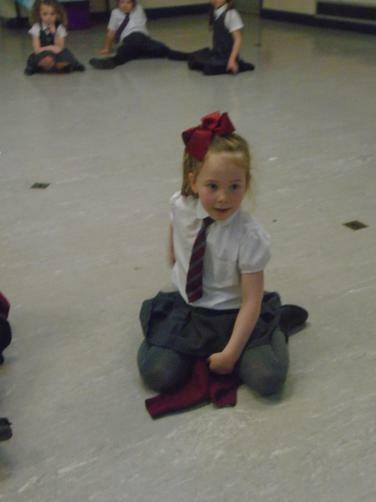 Keep checking our page for updates on the children performing with them. 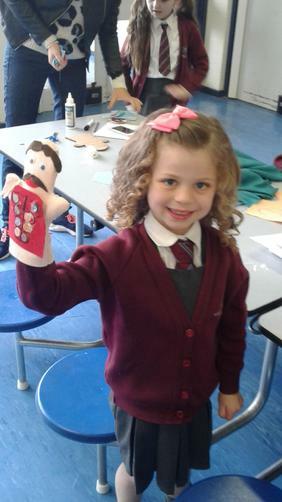 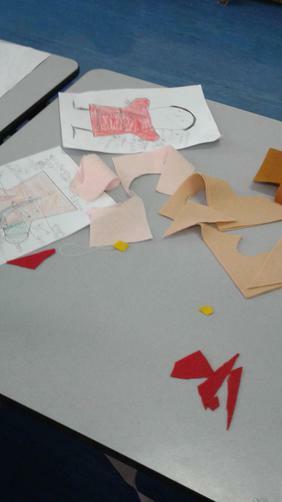 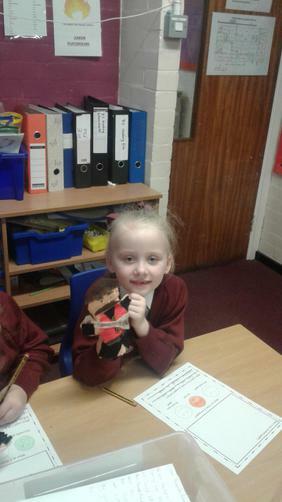 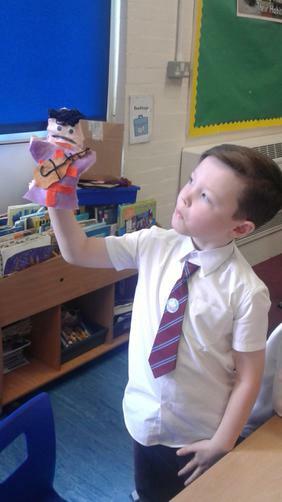 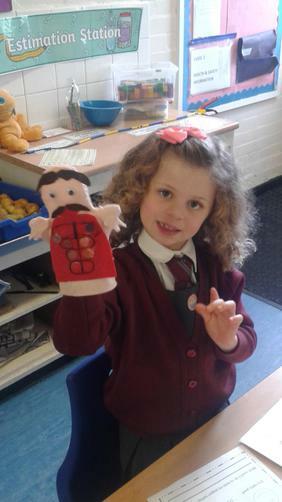 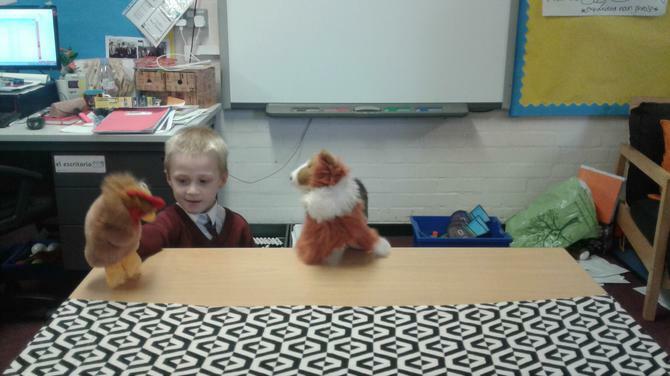 Year 2 are learning about puppets for Design Technology, looking at all the different types of puppets and how they are made. 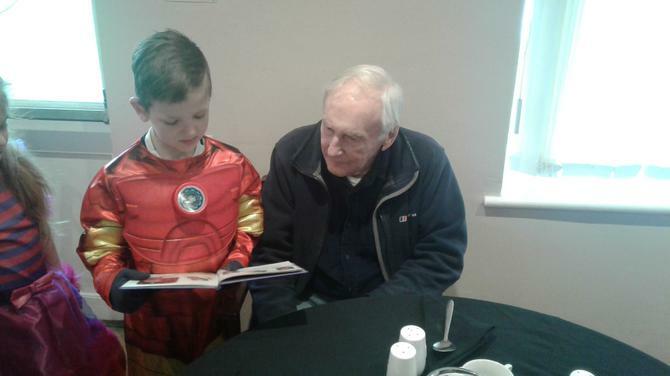 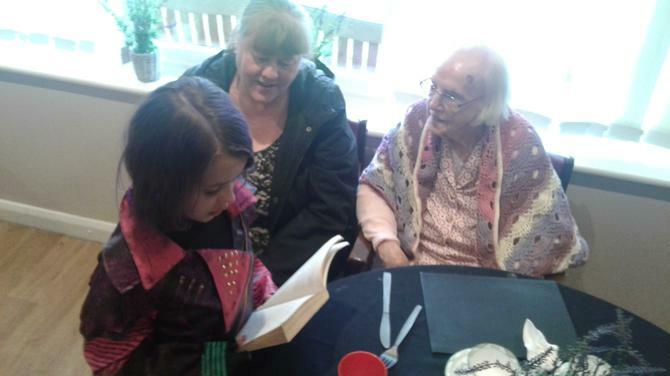 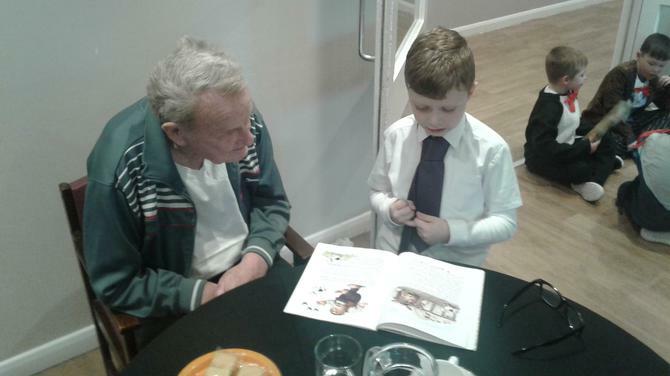 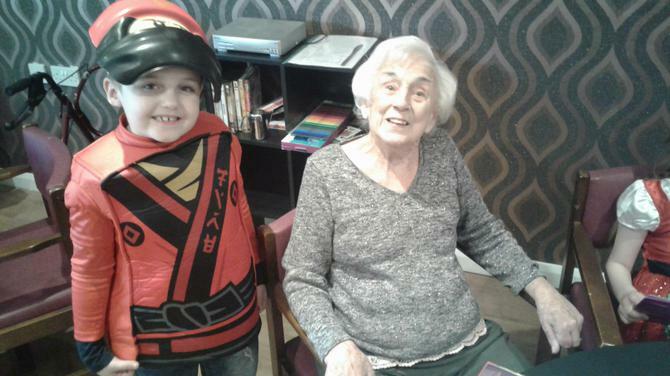 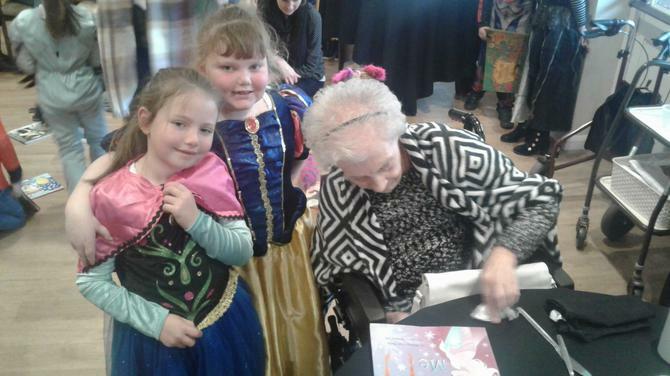 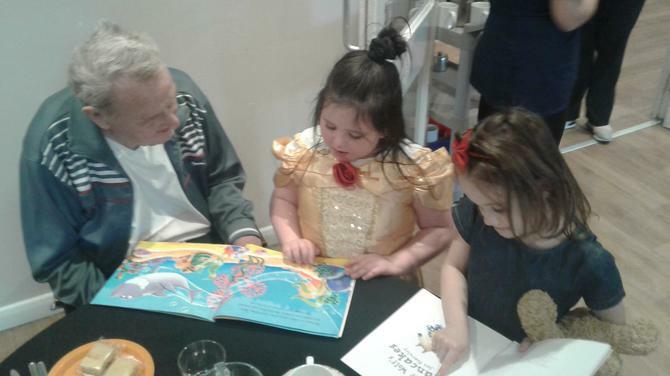 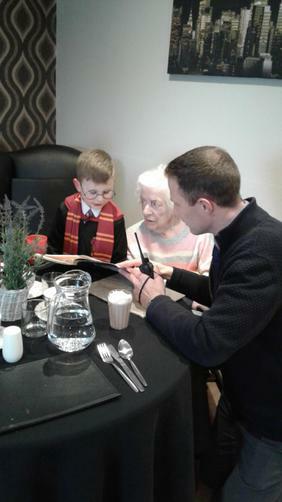 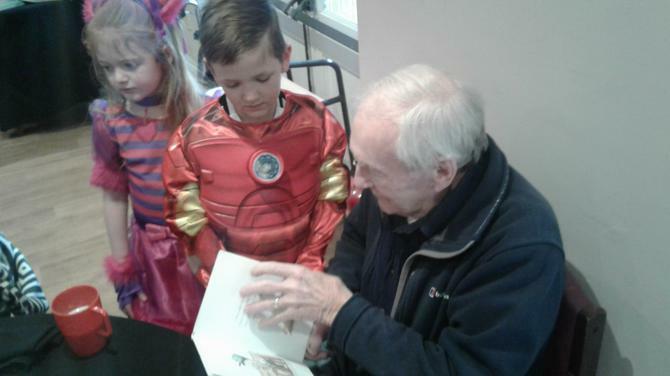 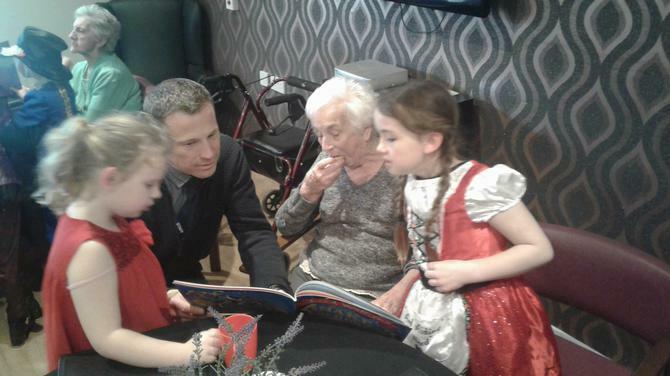 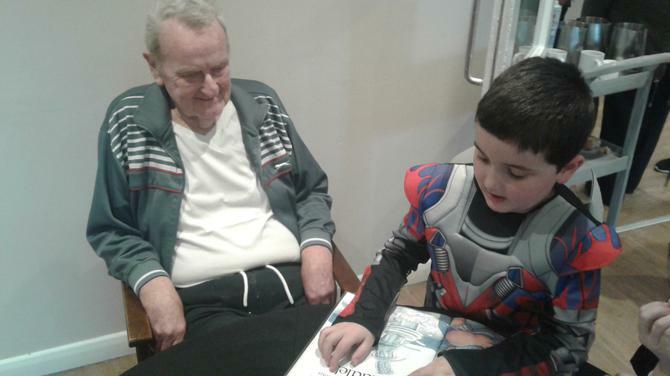 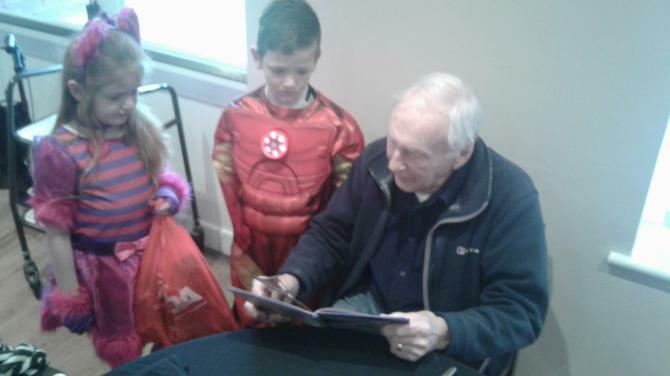 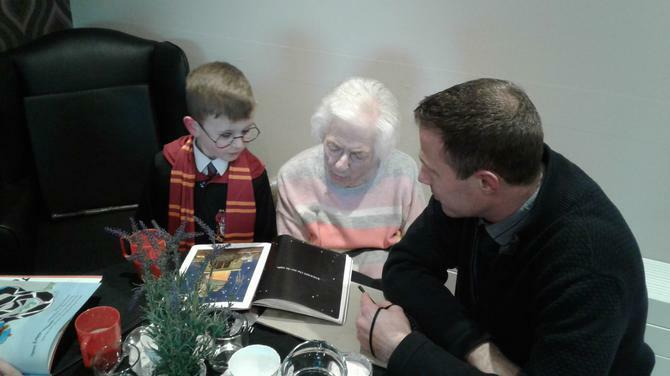 Today we visited our local nursing home to share their favourite stories with the residents. 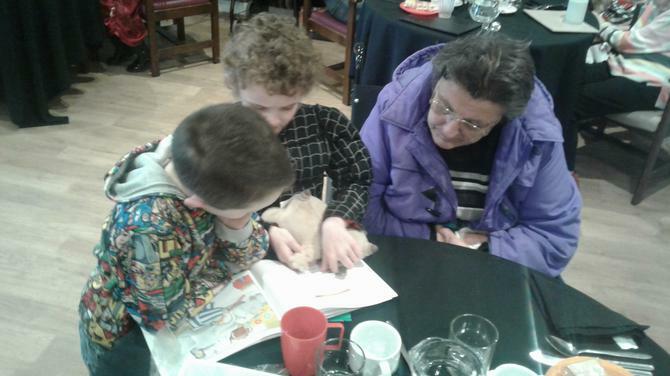 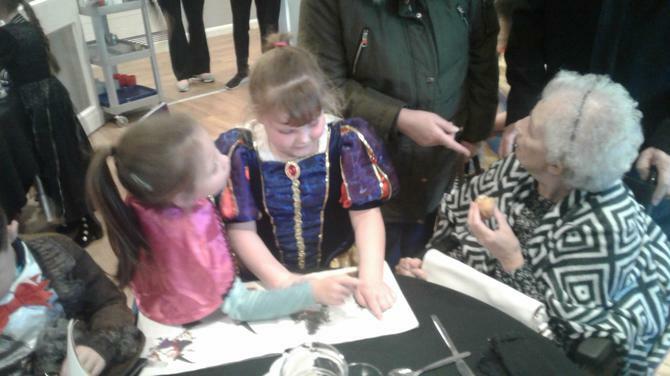 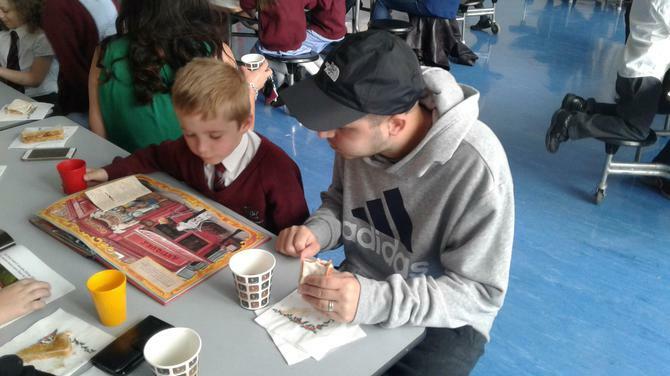 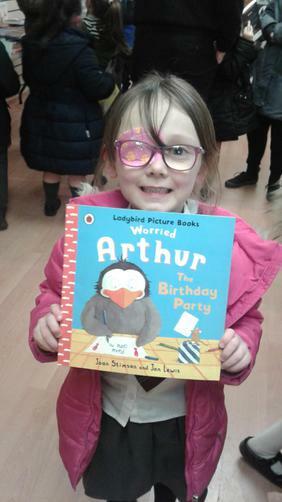 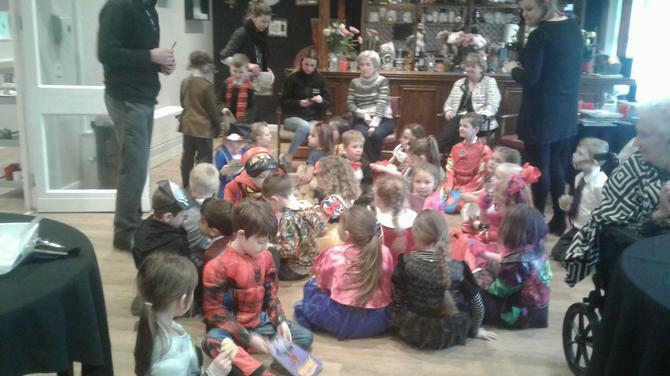 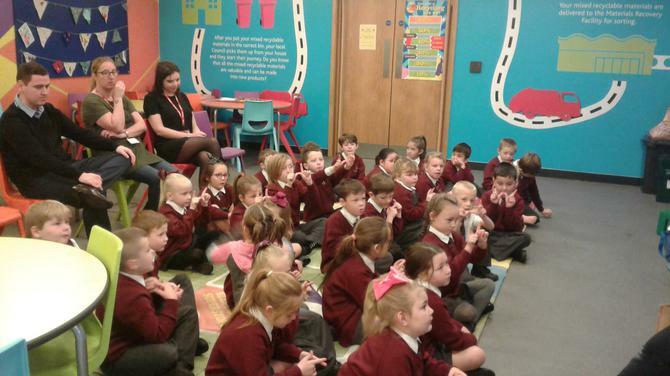 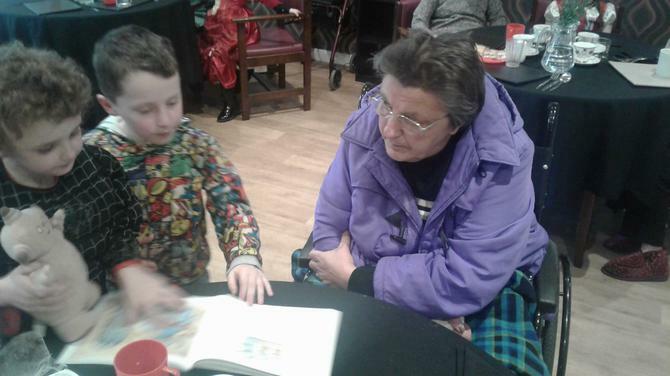 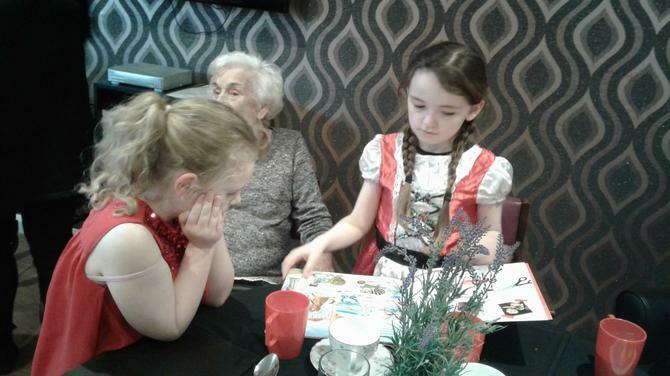 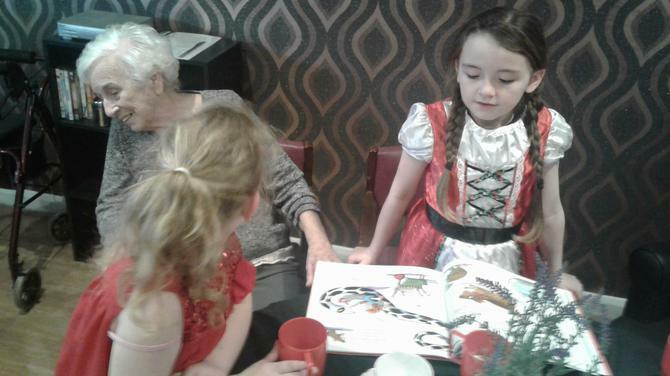 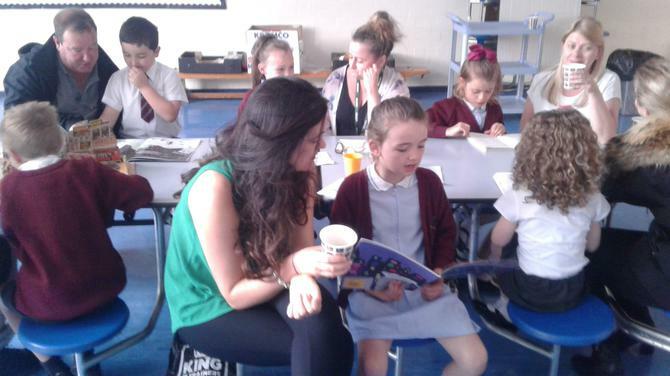 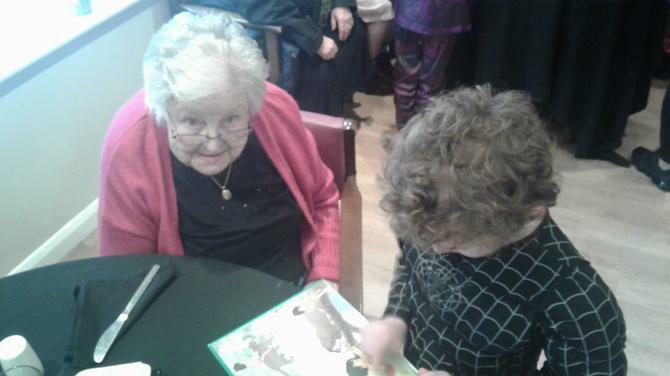 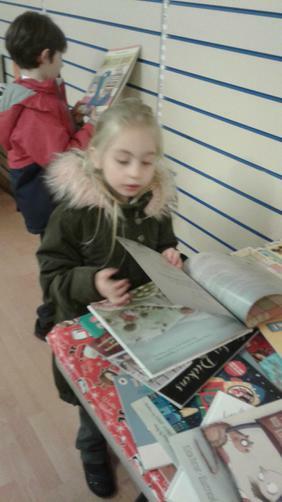 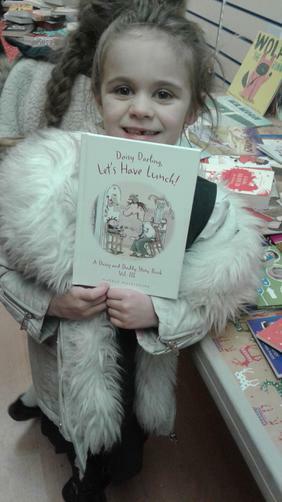 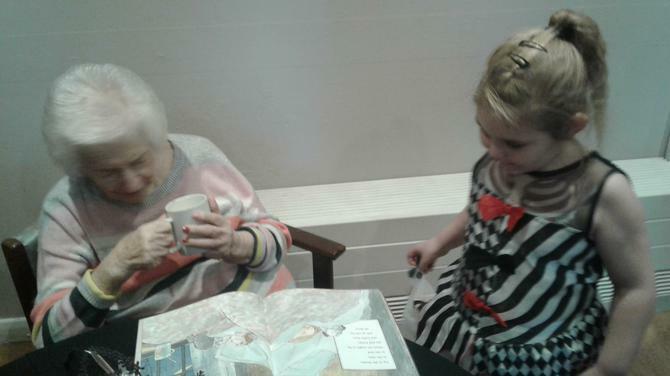 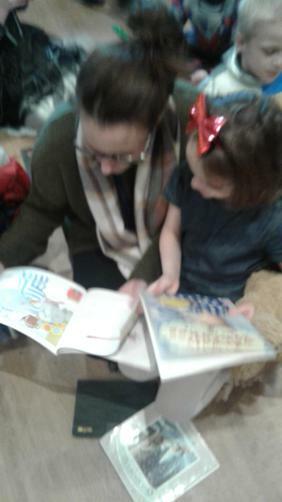 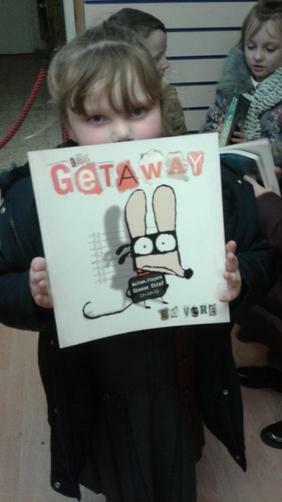 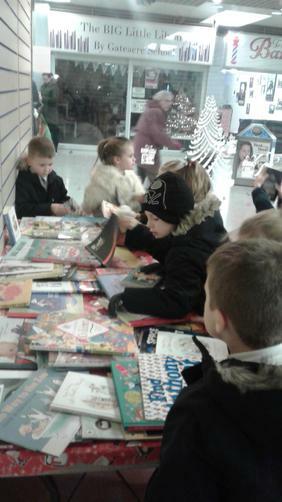 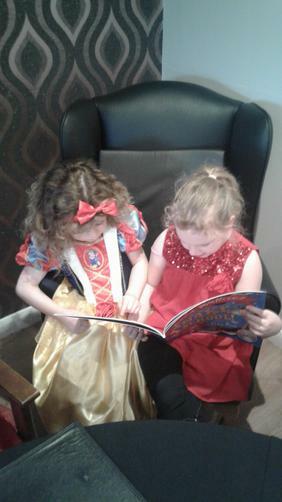 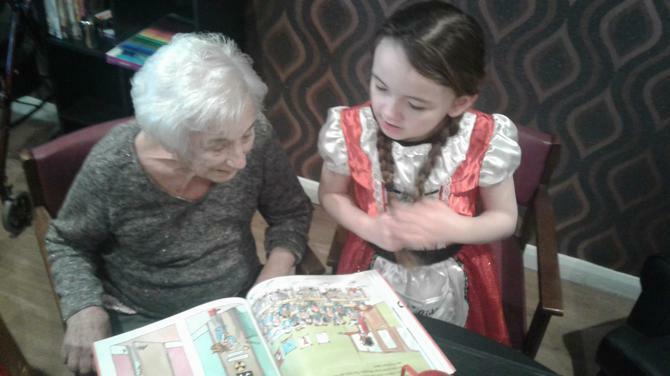 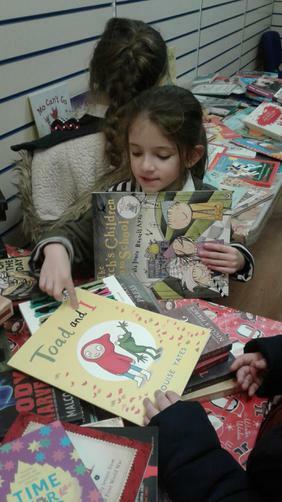 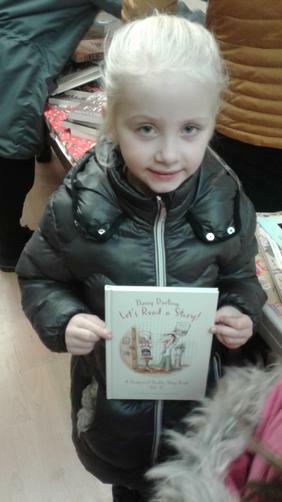 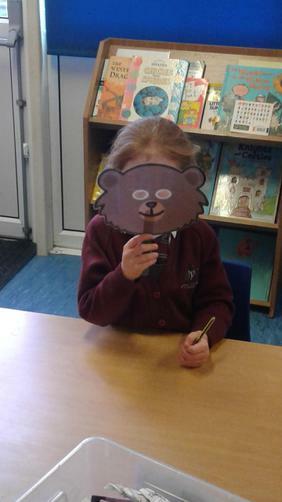 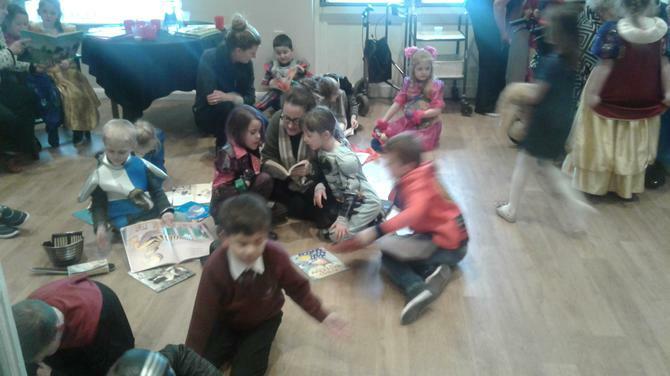 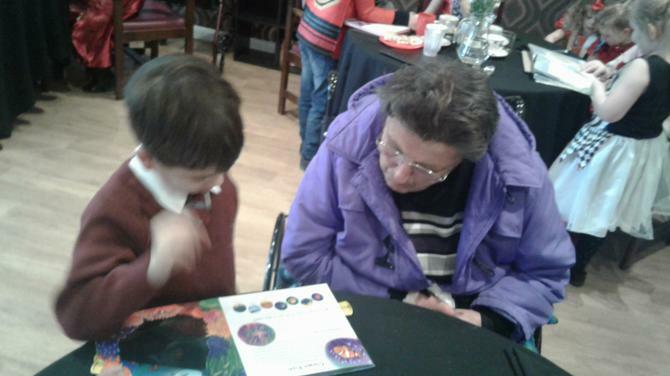 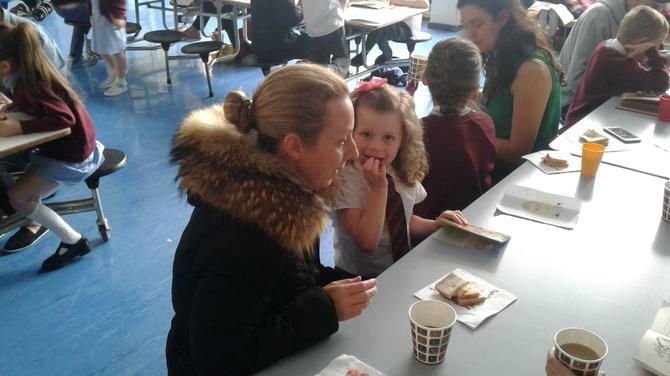 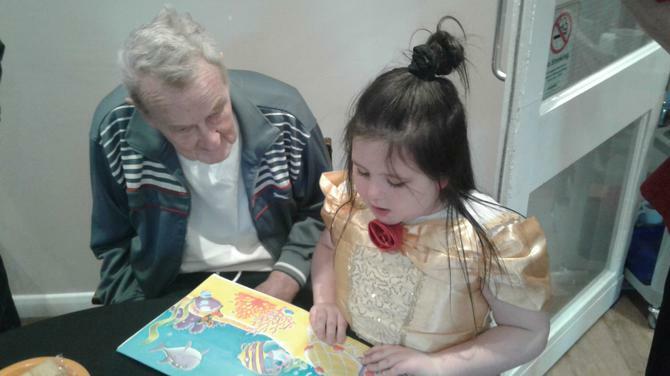 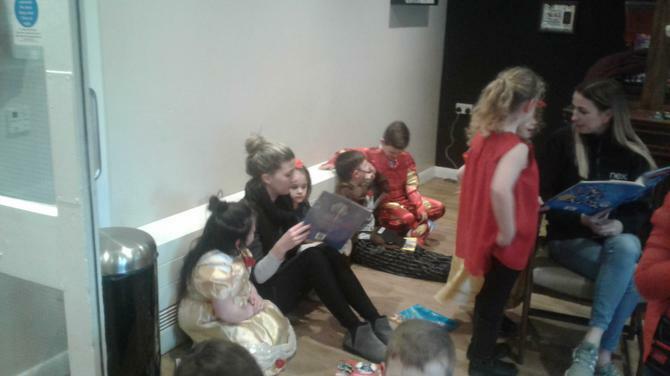 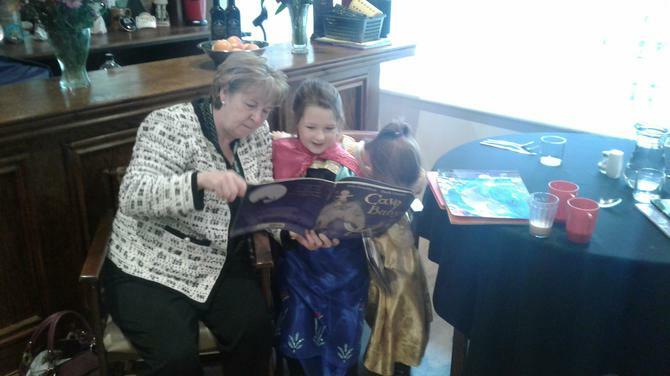 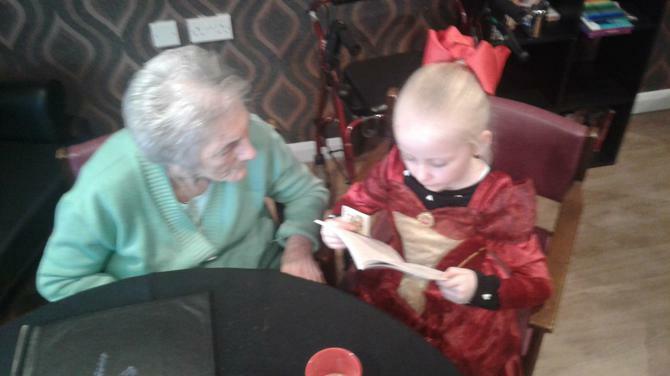 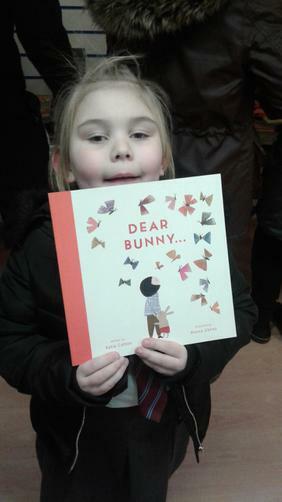 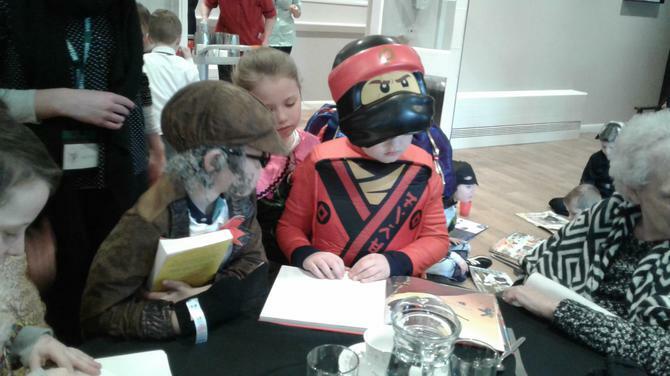 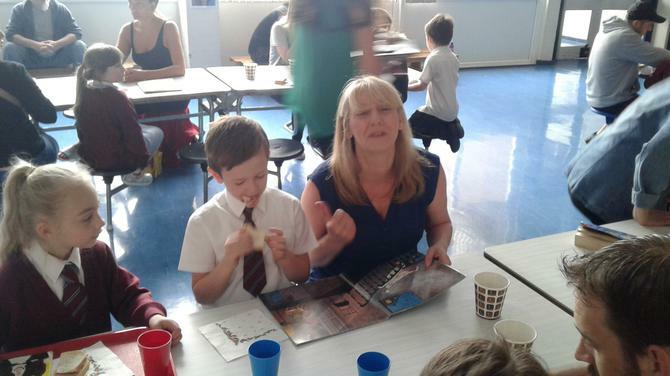 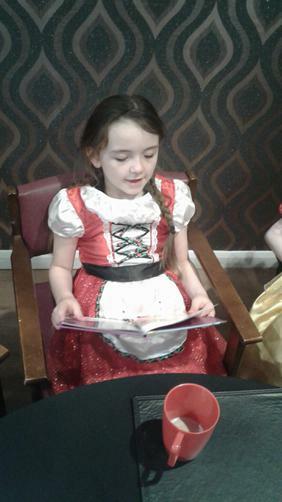 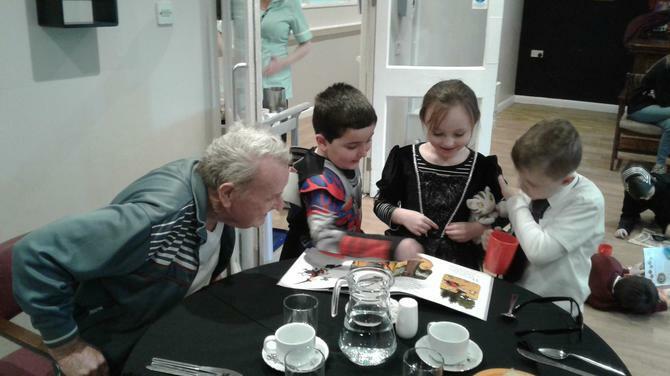 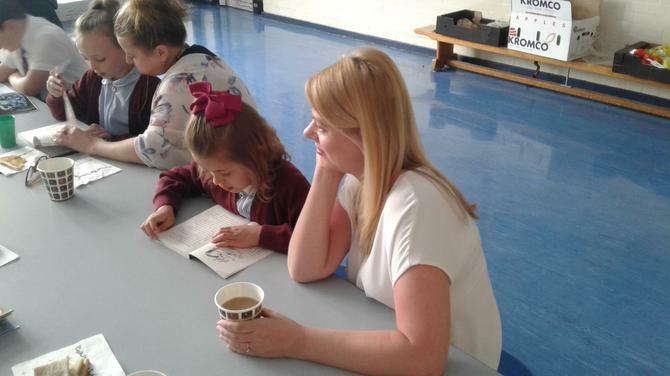 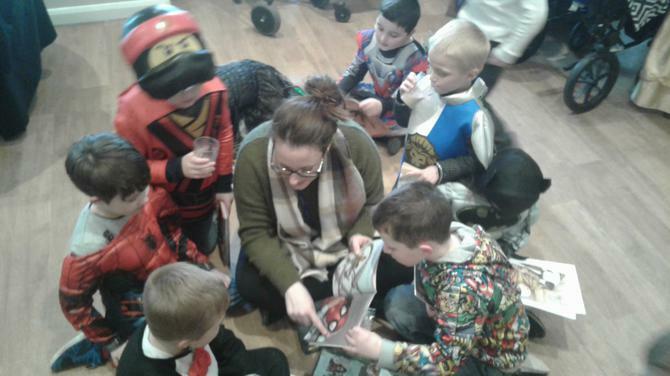 The children had a lovely time reading their stories, drinking hot chocolate and eating cakes. 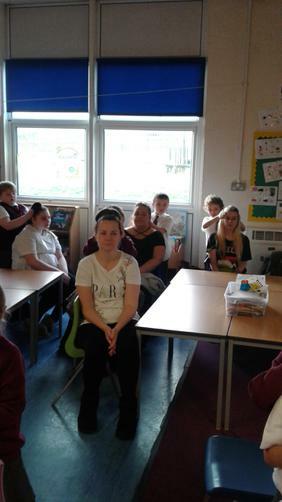 The children are very relaxed after our first session of massage for children in 2018. 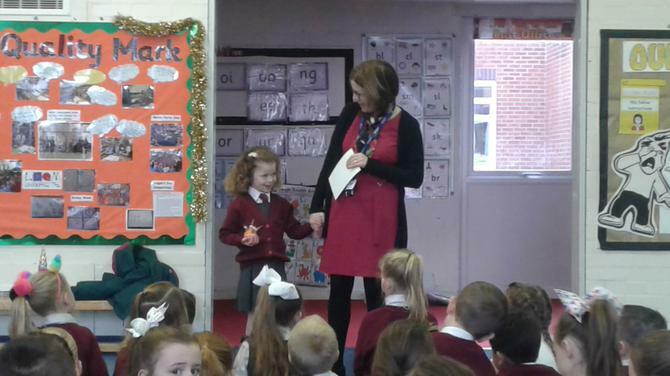 A big thank you to Kate! 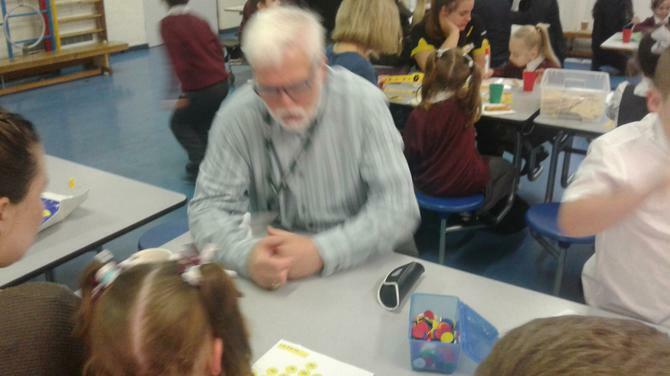 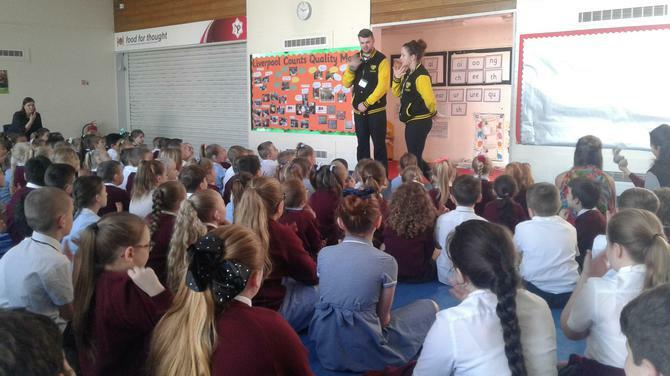 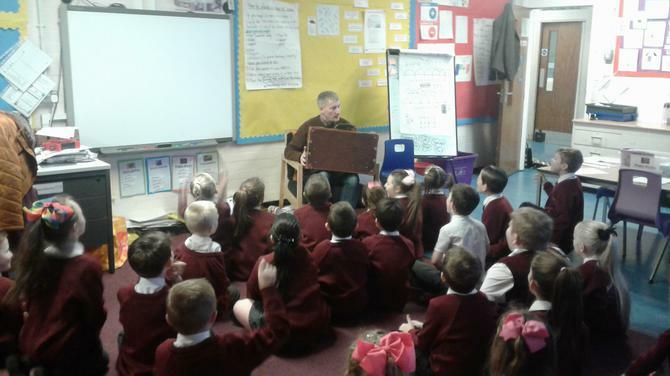 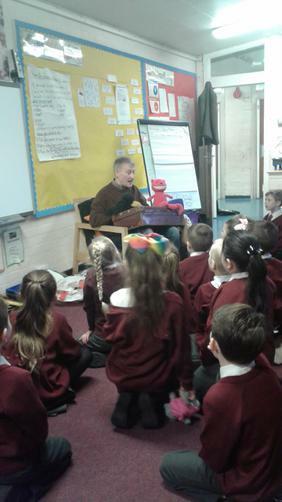 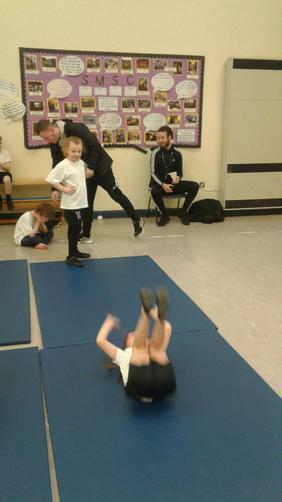 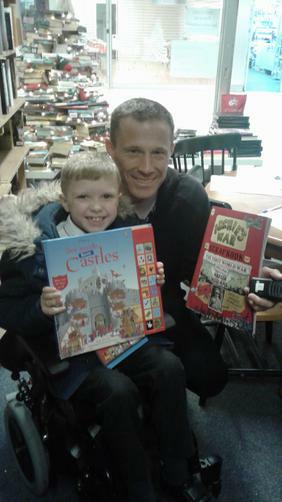 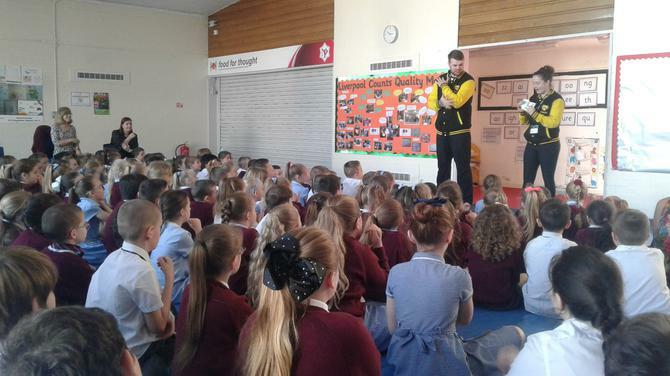 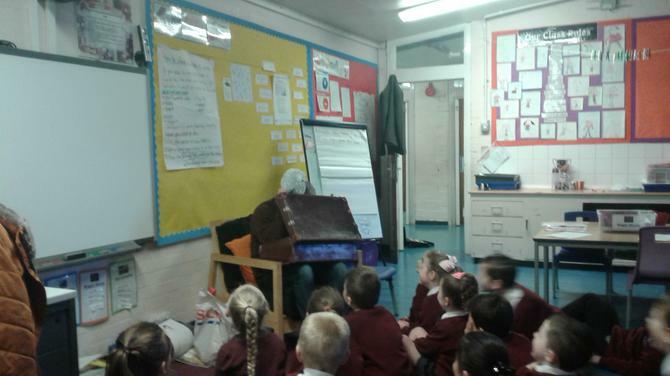 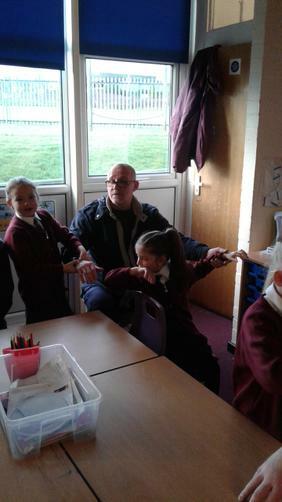 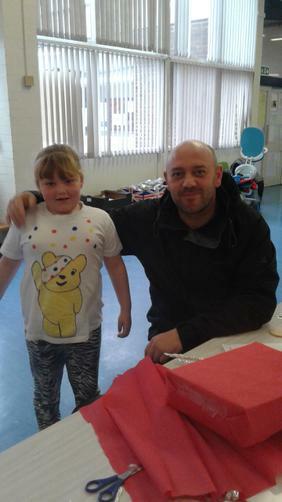 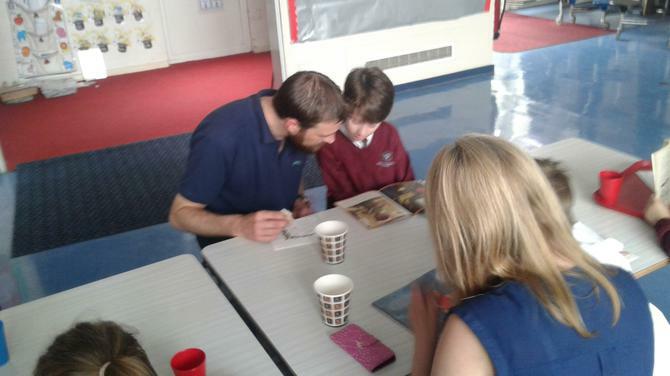 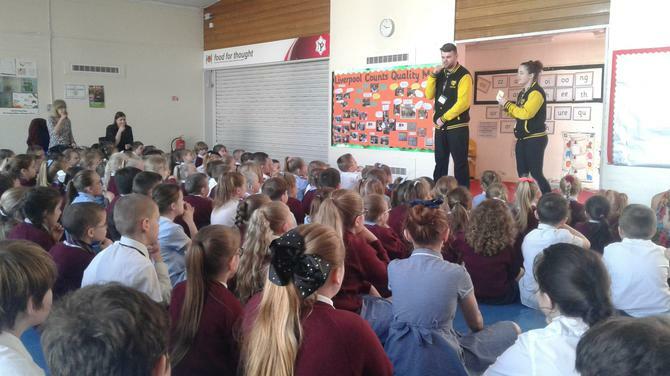 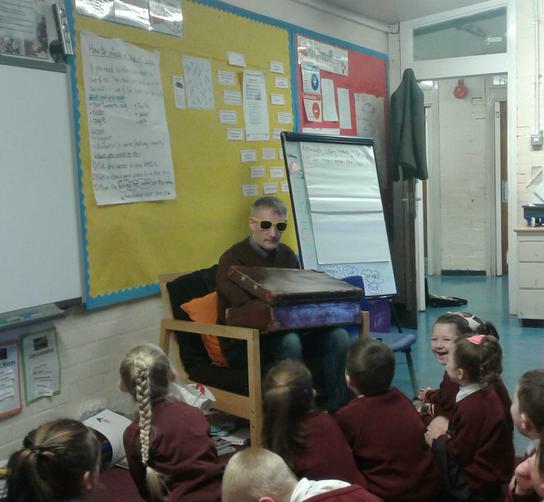 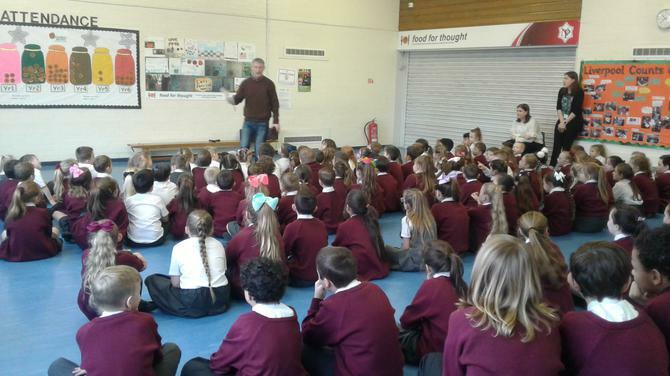 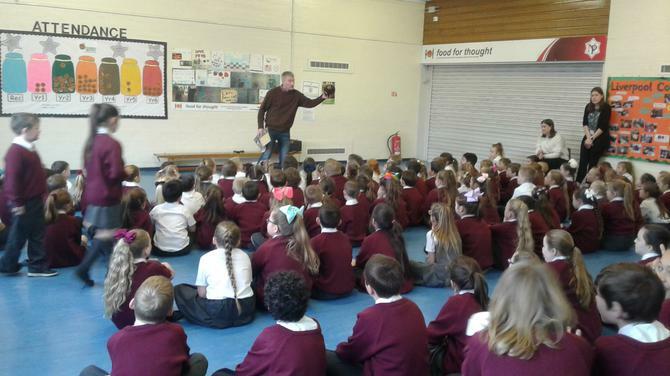 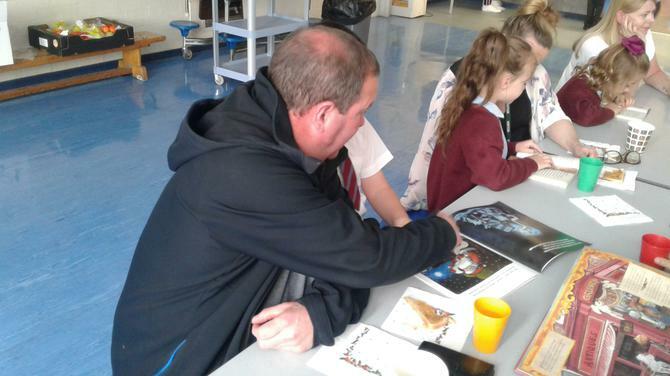 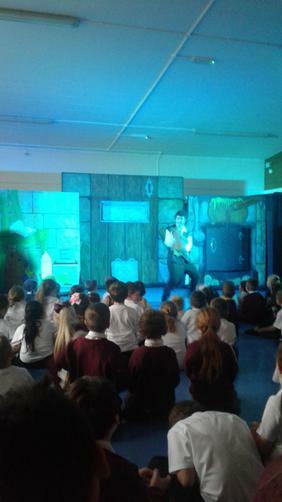 The children have loved having Paul Delaney in school today. 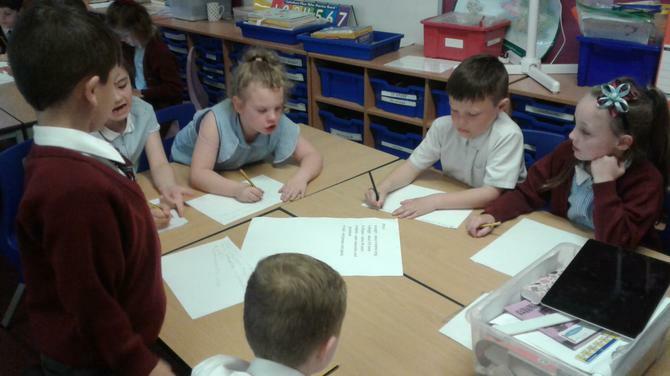 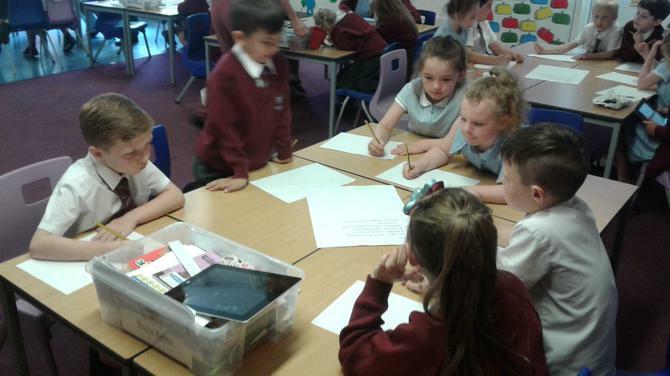 They've produced some fantastic poetry in class. 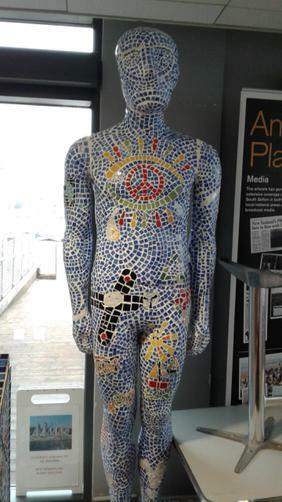 Keep posted to check out some of their work! 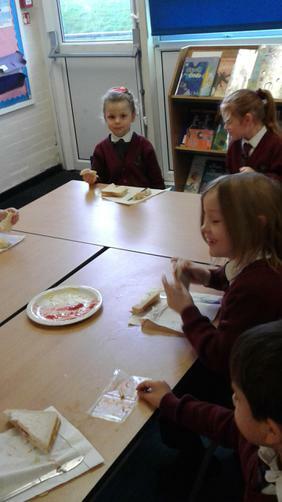 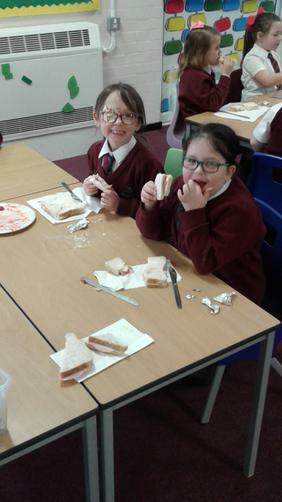 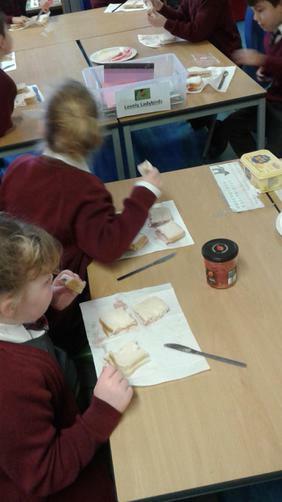 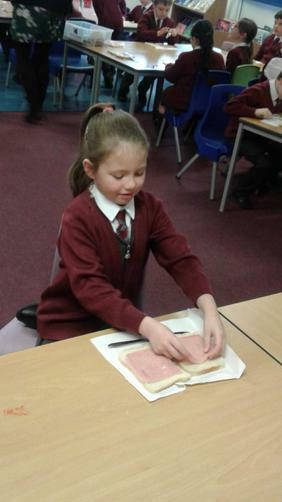 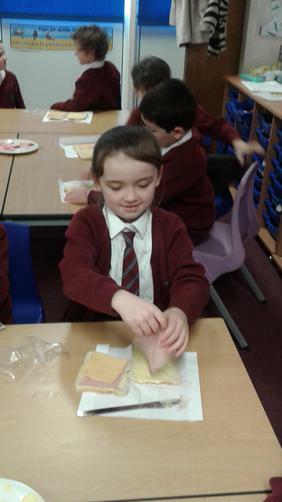 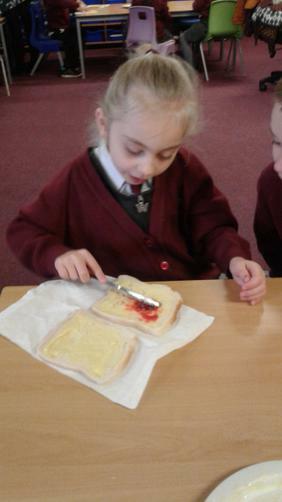 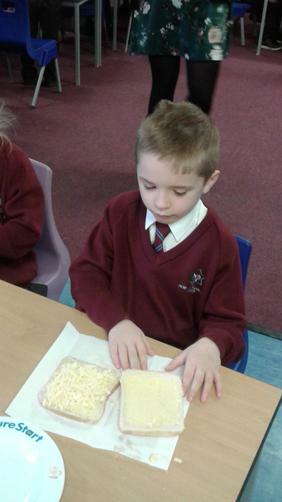 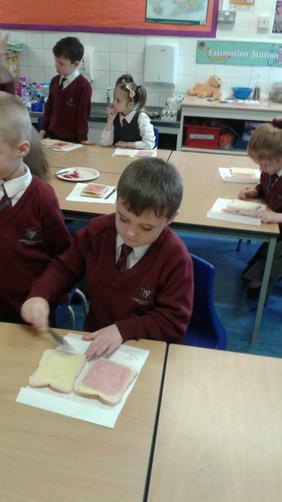 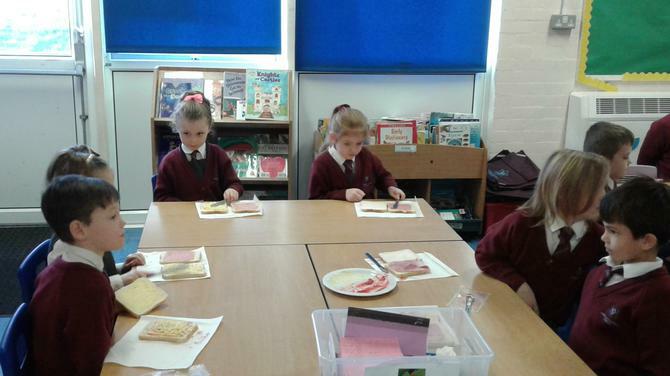 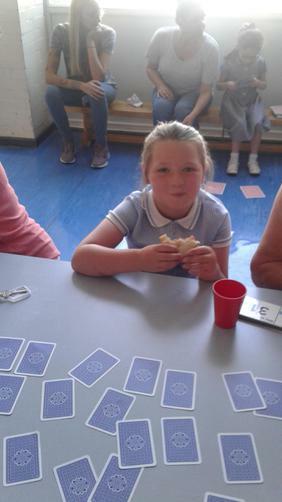 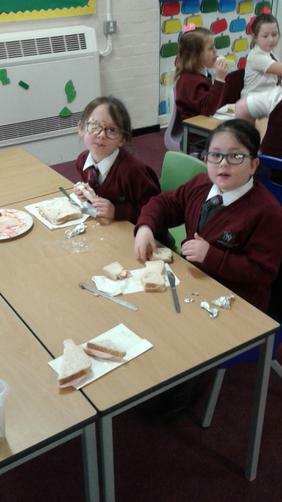 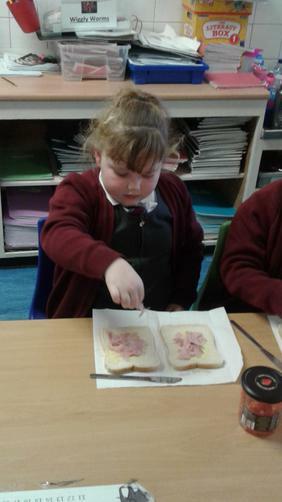 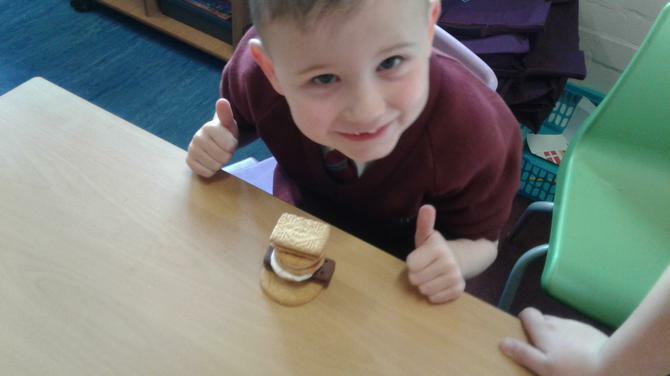 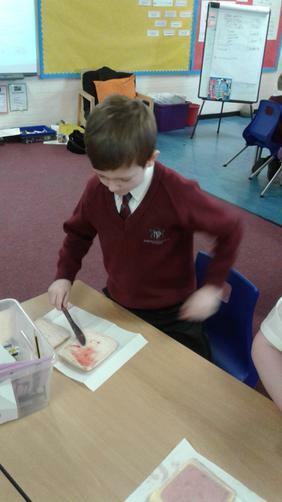 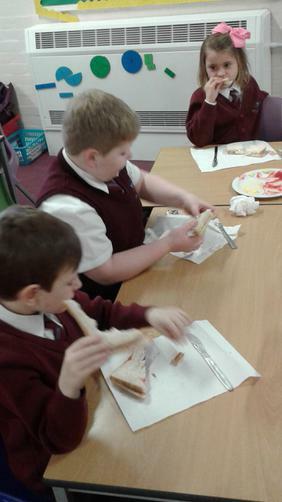 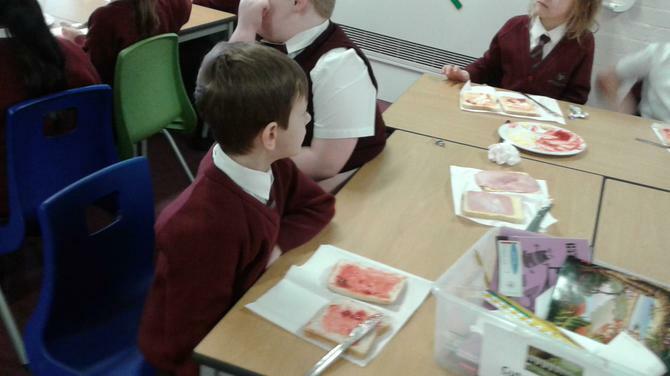 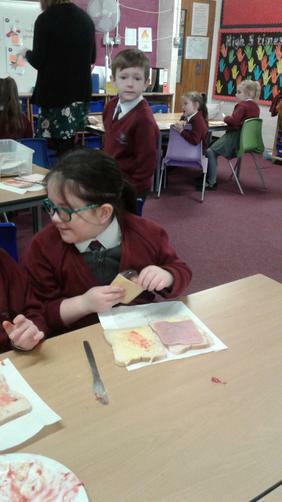 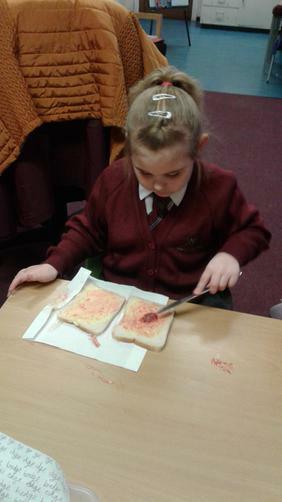 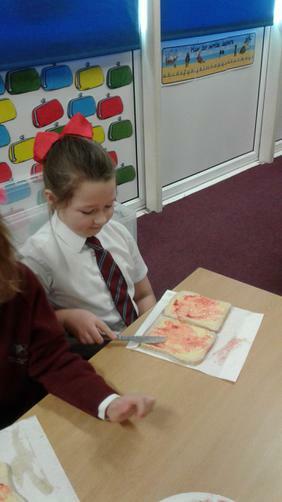 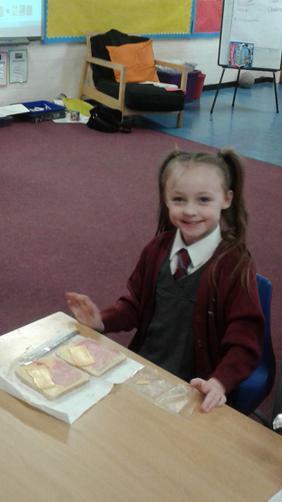 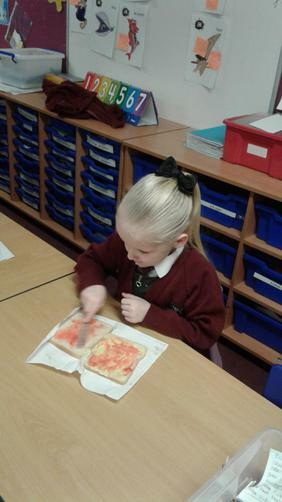 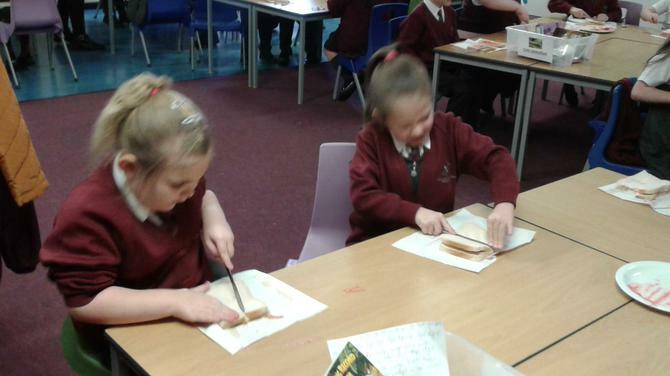 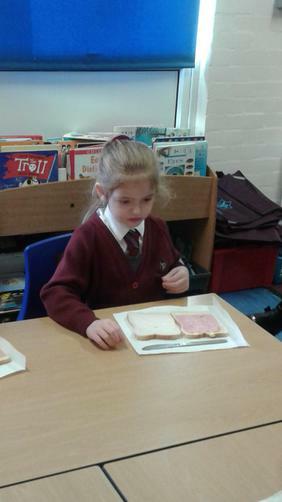 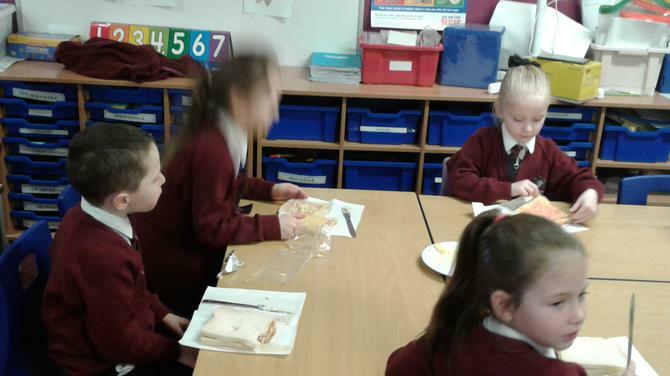 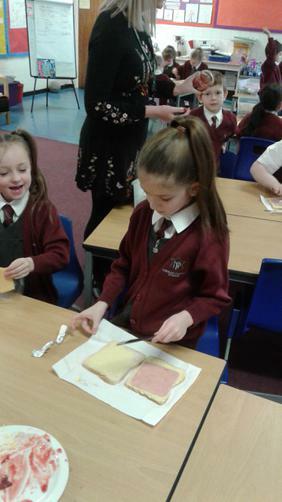 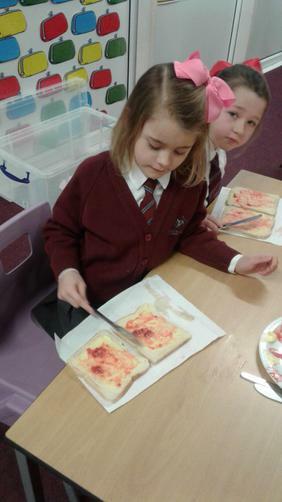 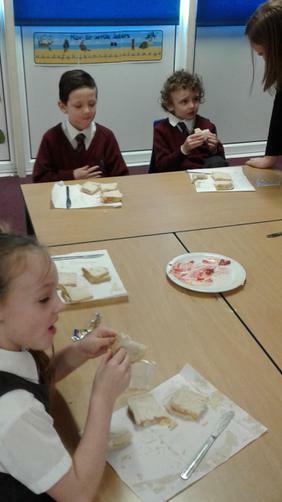 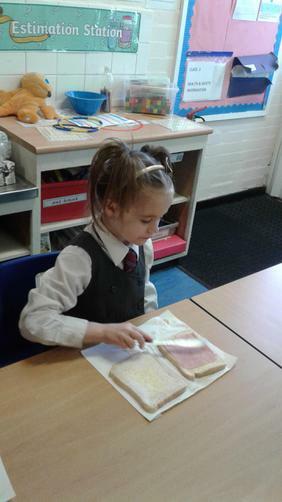 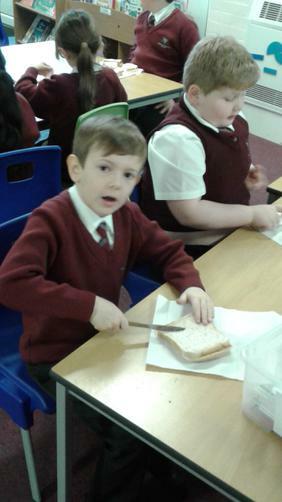 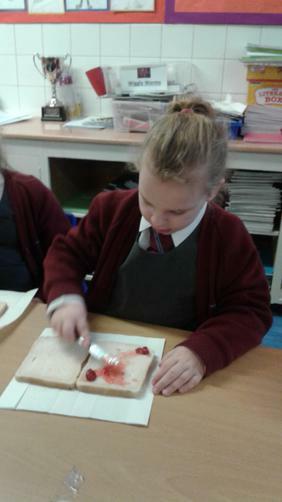 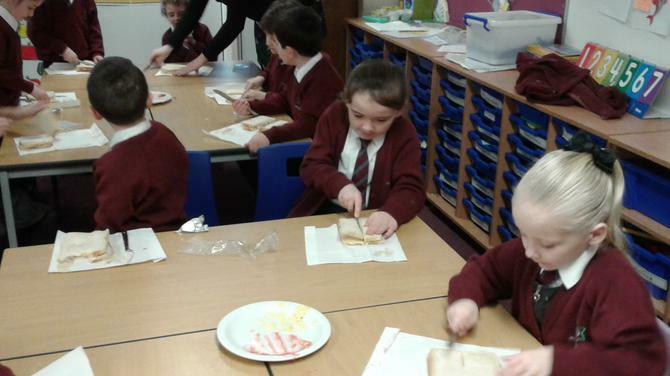 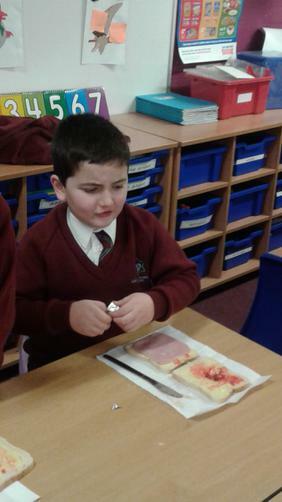 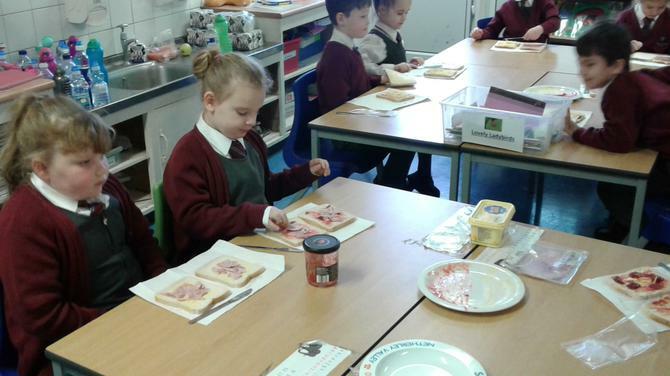 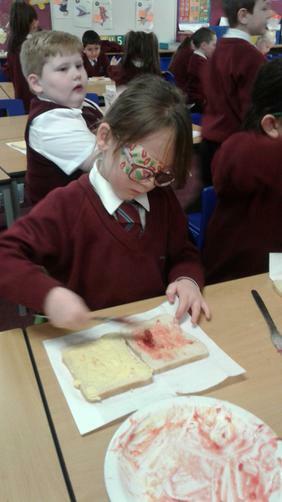 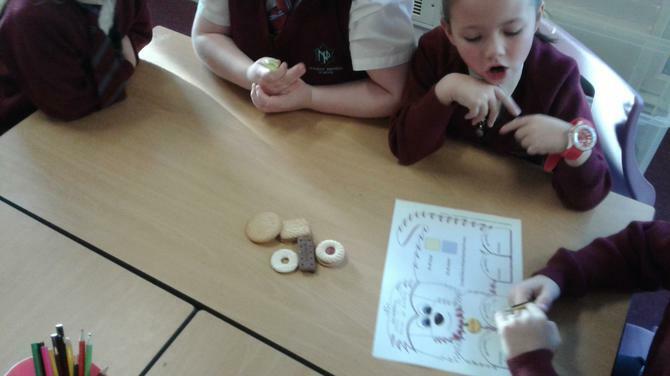 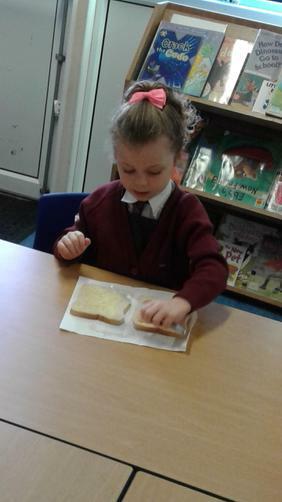 Today the children made sandwiches for a snake! 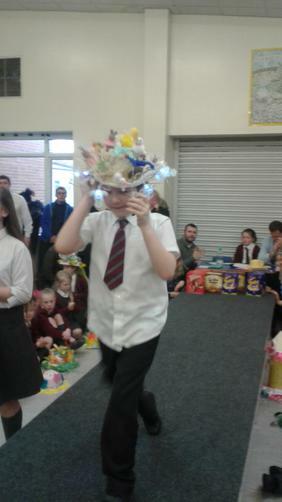 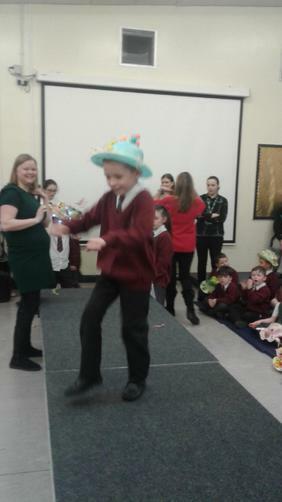 There were some very interesting combinations! 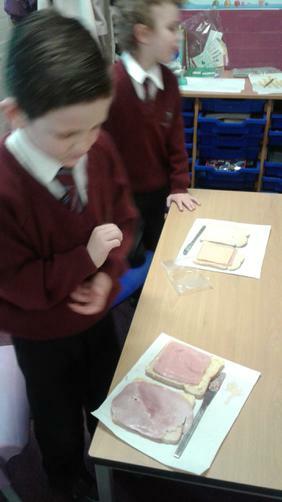 These incuded Ham and Jam (frogs eyes and rats blood) and cheese spread, grated cheese and jam (snails bodies , mouse tails and crocodile blood). 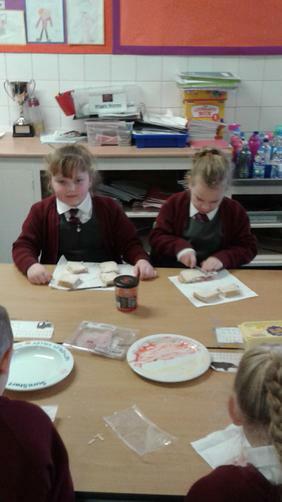 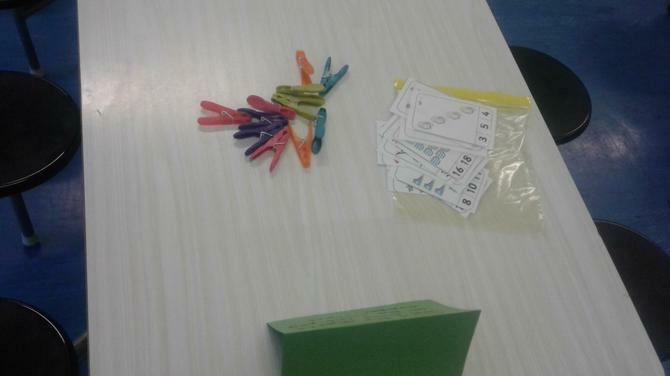 Tomorrow the children will write an instruction text on how to make a sandwich for a snake in English! 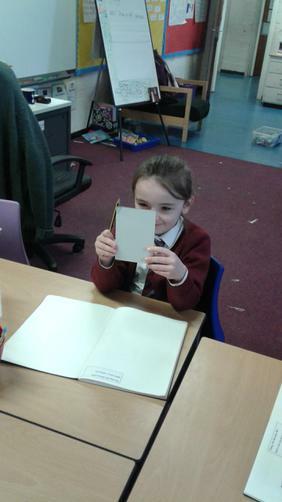 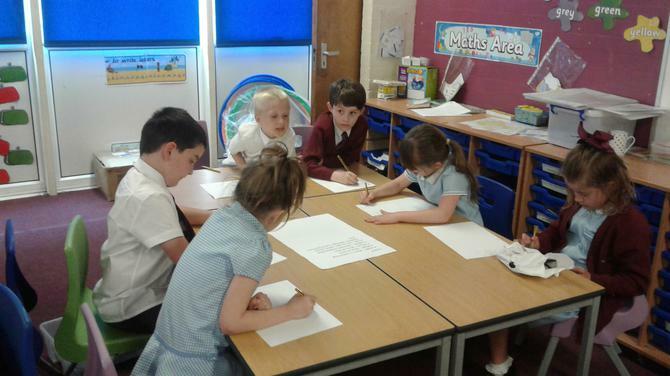 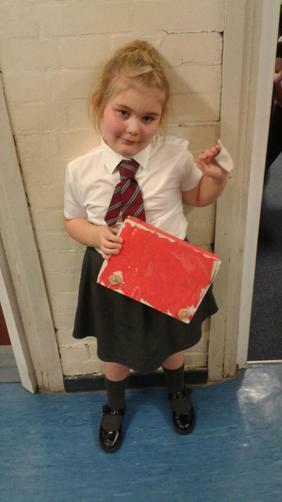 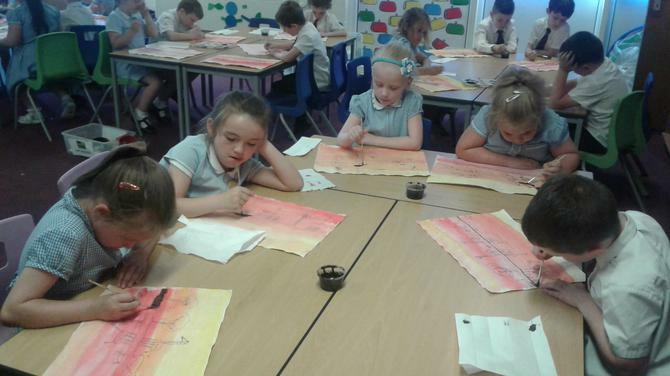 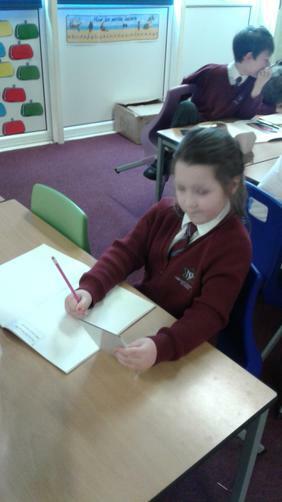 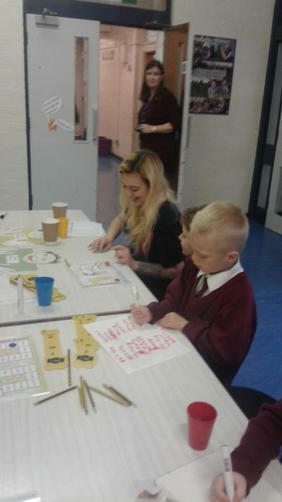 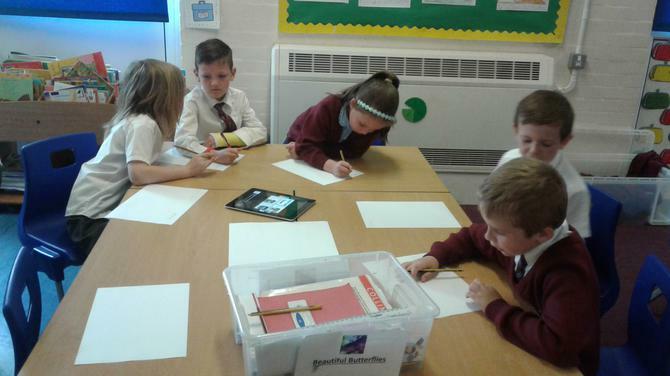 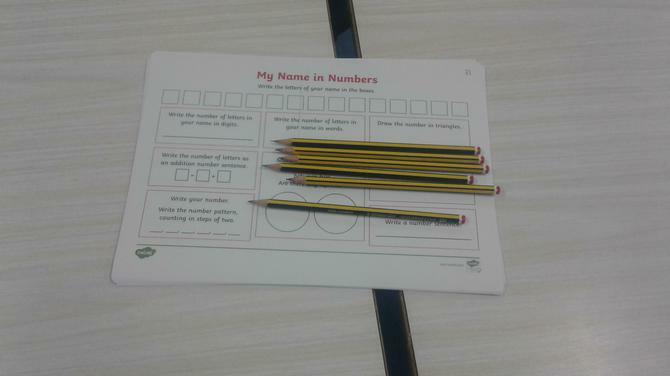 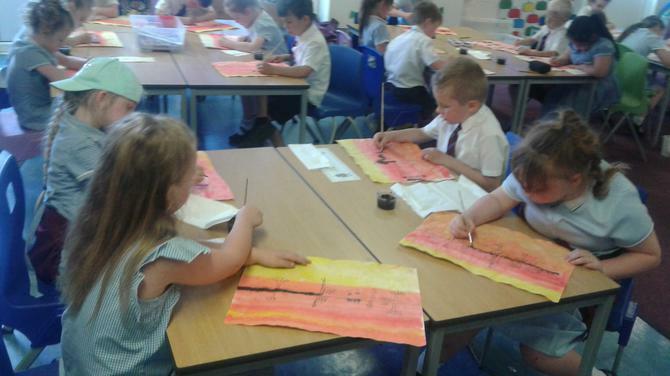 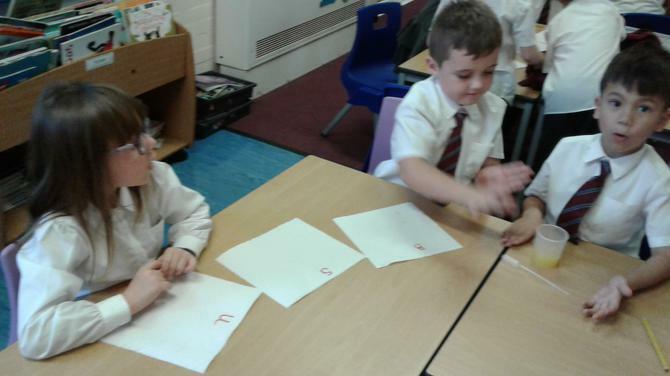 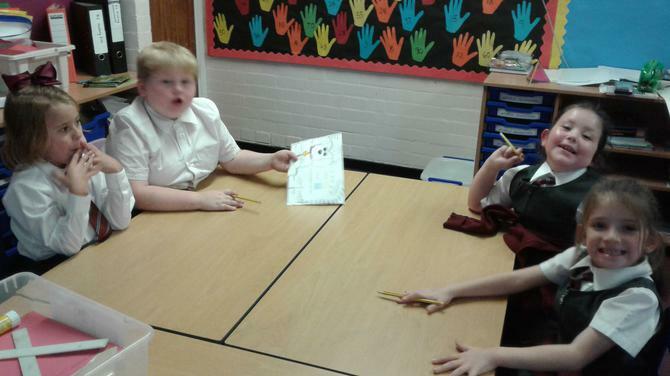 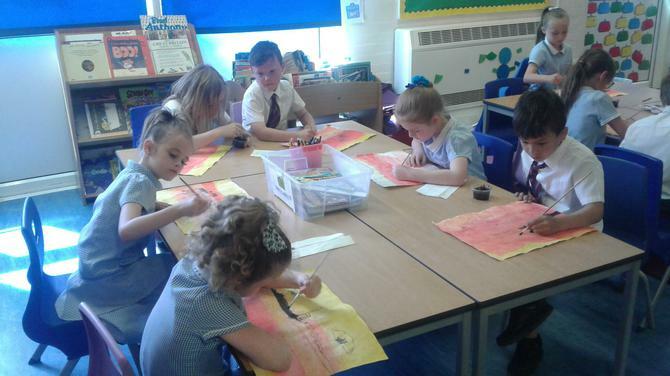 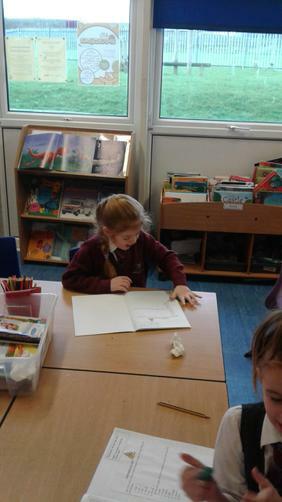 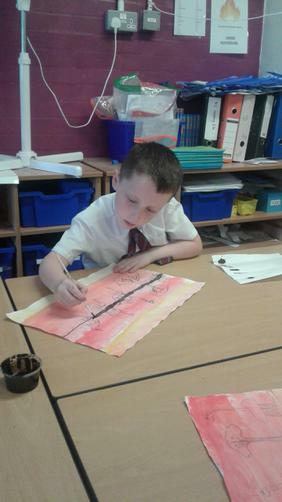 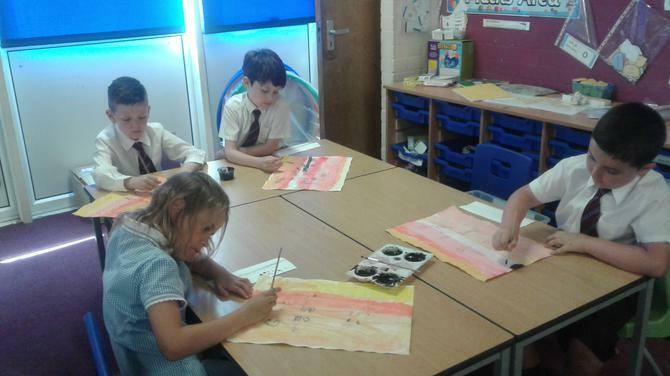 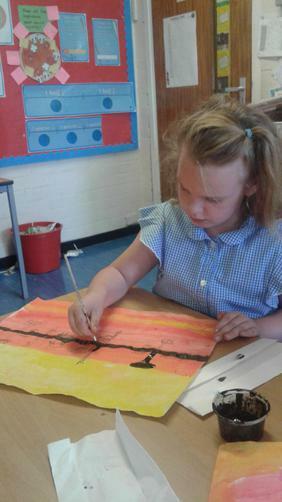 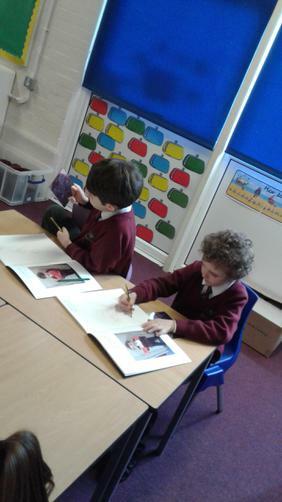 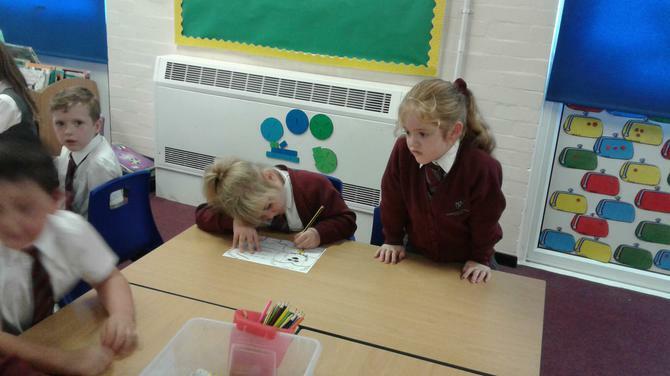 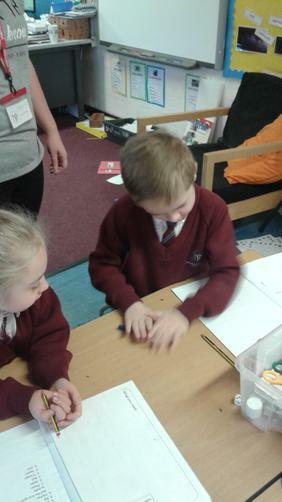 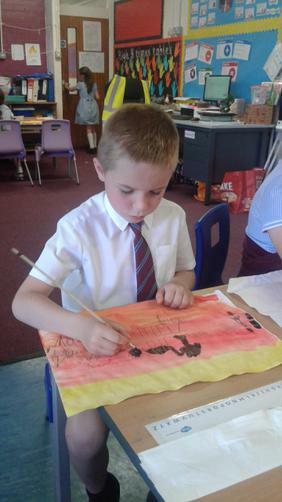 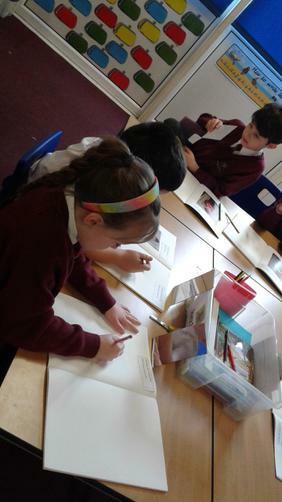 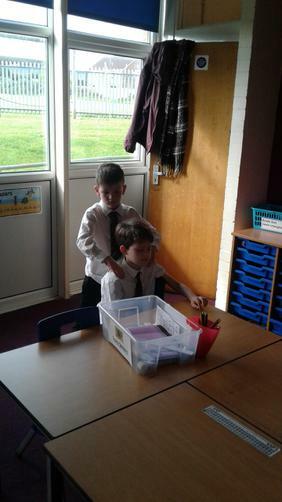 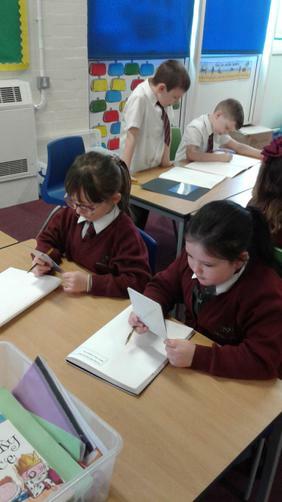 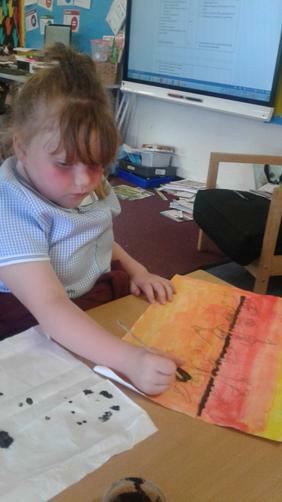 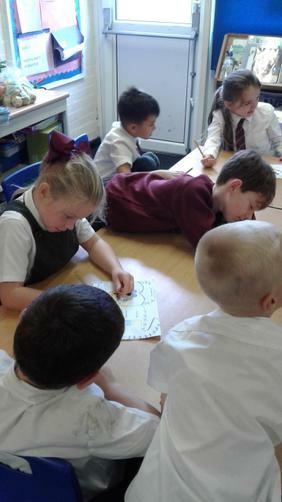 This week the children are learning how to follow instructions and write their own. 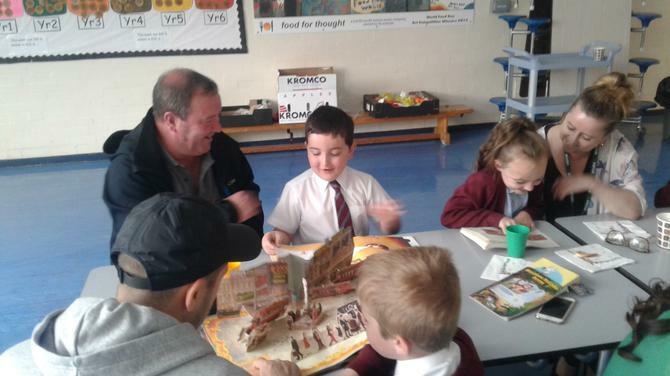 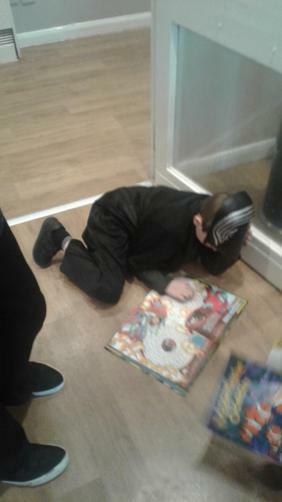 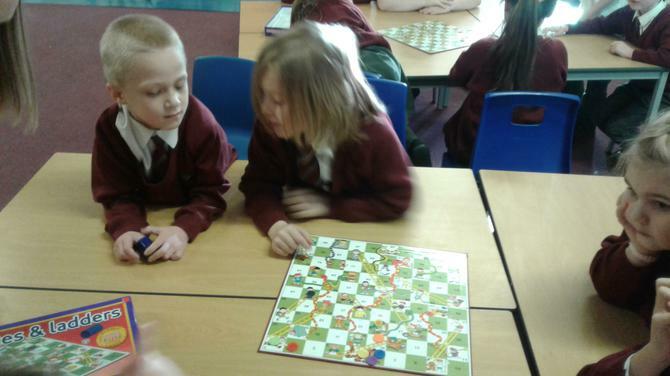 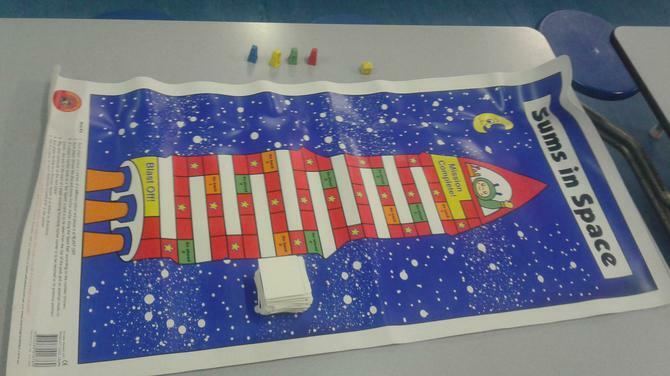 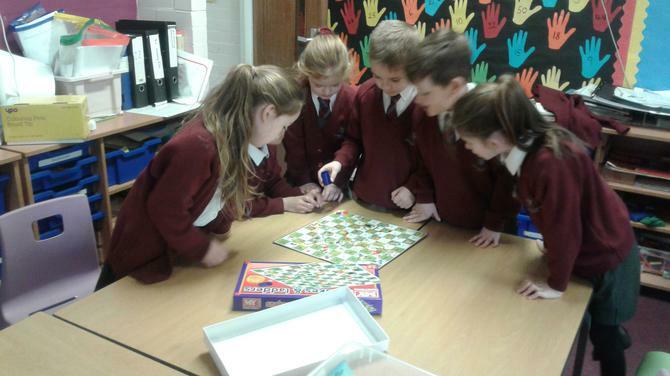 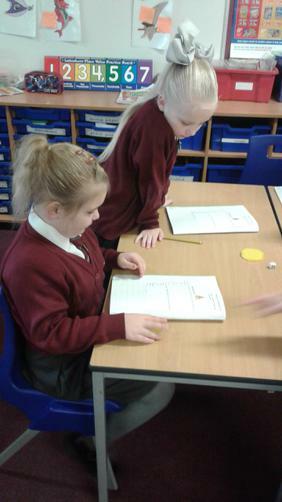 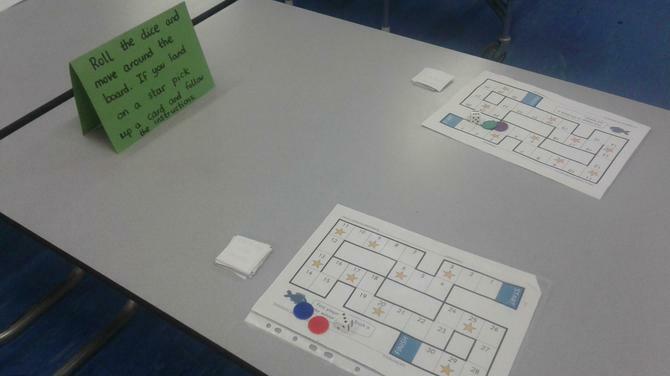 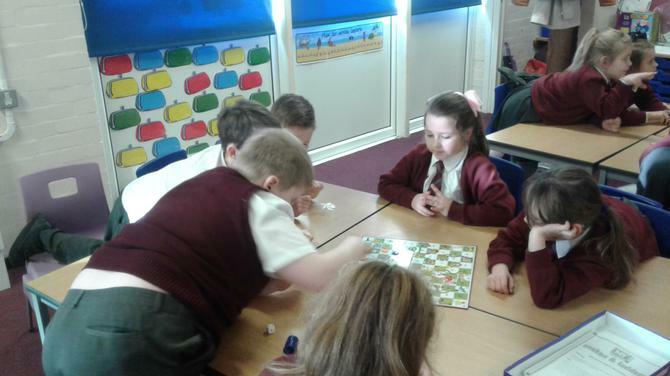 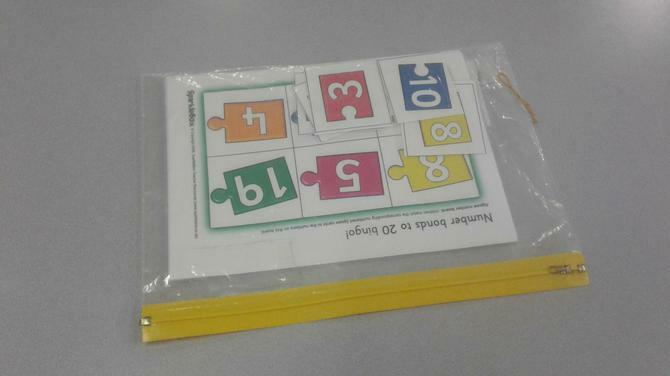 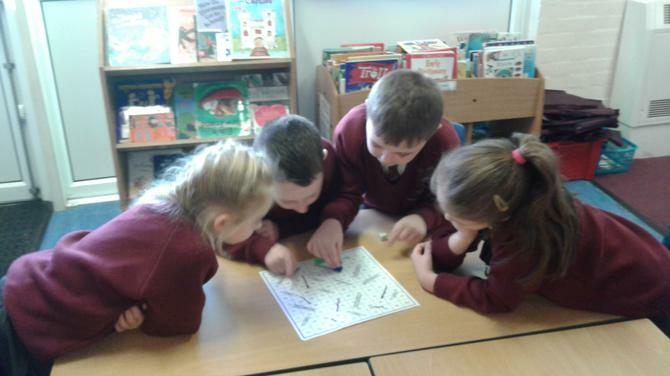 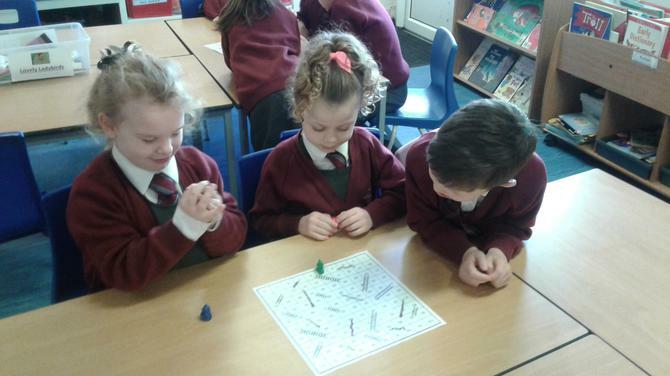 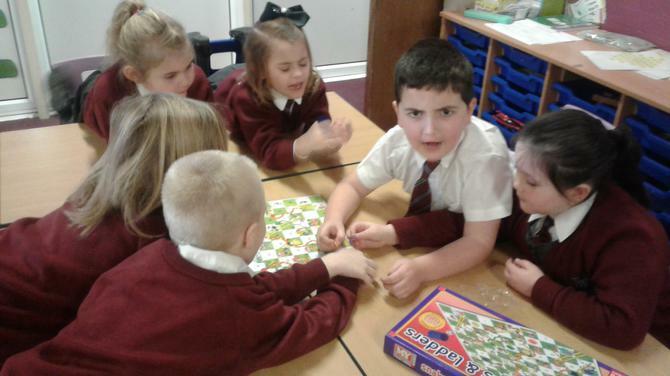 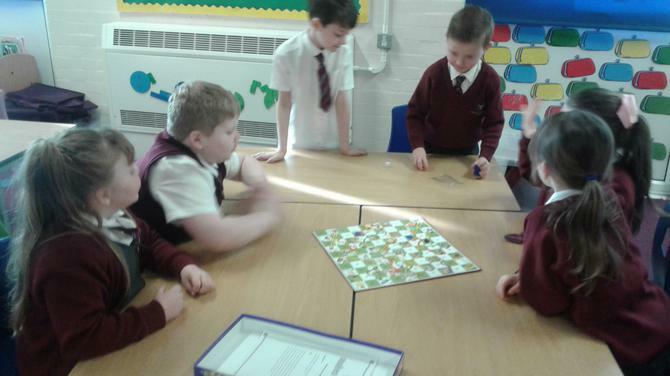 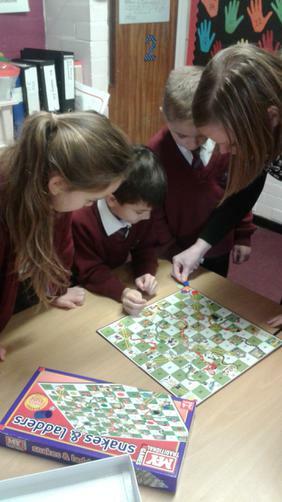 They played snakes and ladders, using the instructions to play the game. 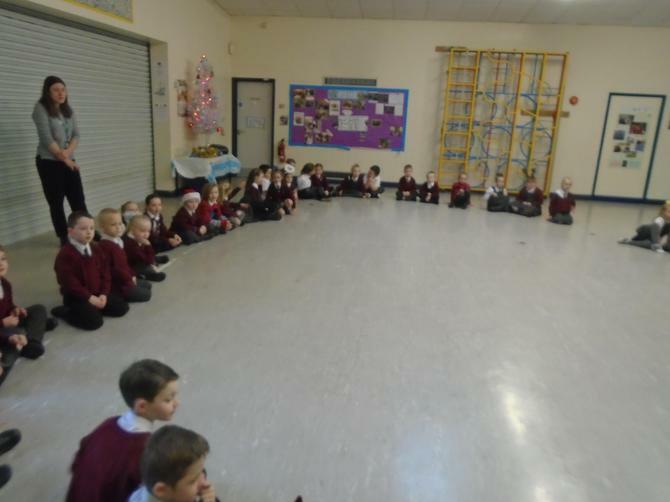 It's 2018, Happy new year from Class 2! 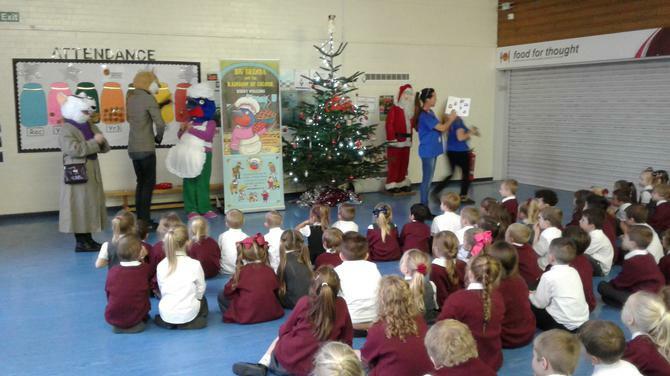 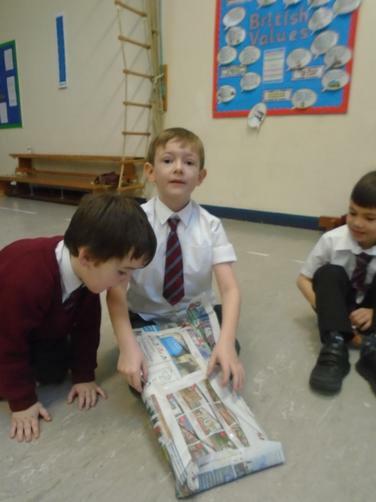 The Christmas countdown continues with our story books! 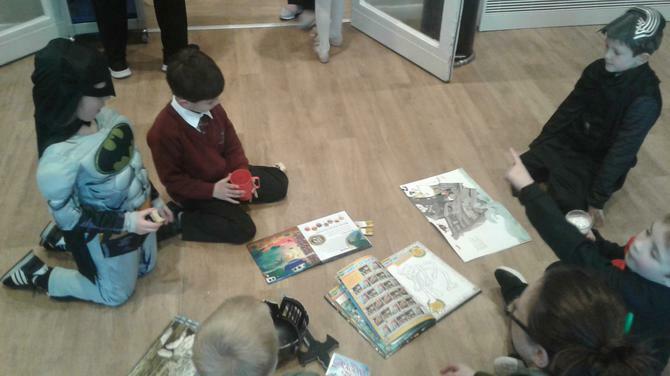 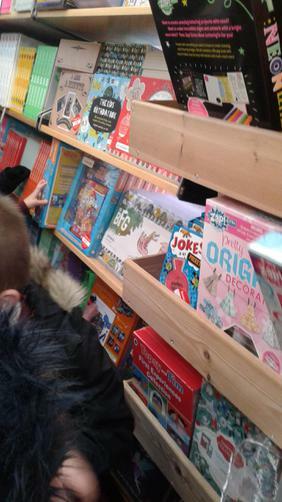 Today Year 2 went to visit the Big, Little library in Belle Vale. 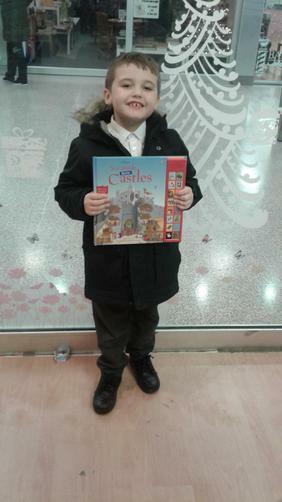 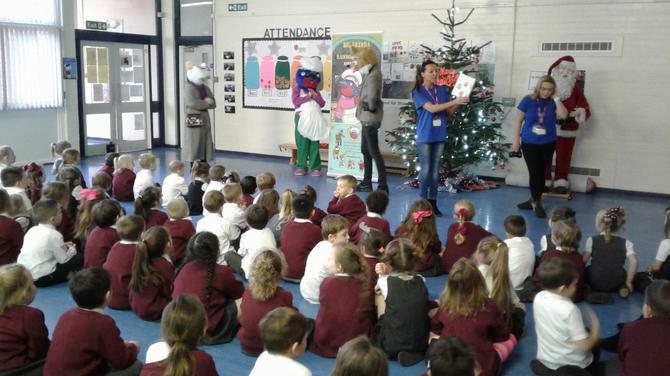 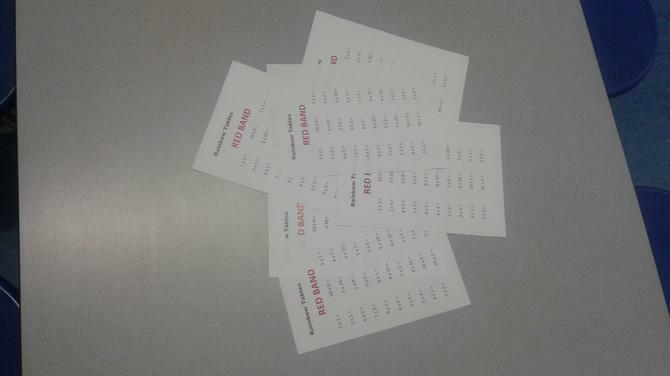 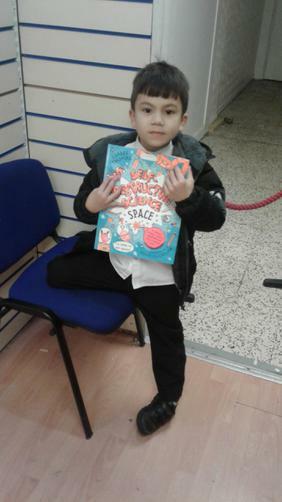 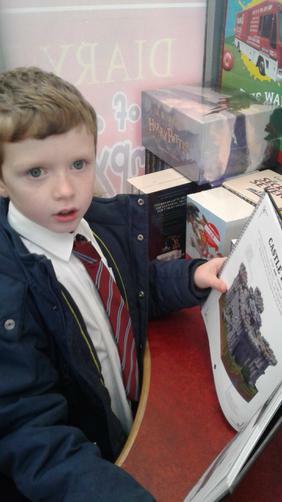 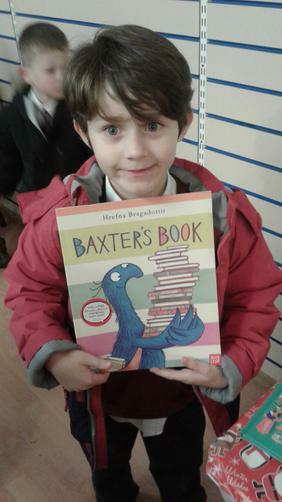 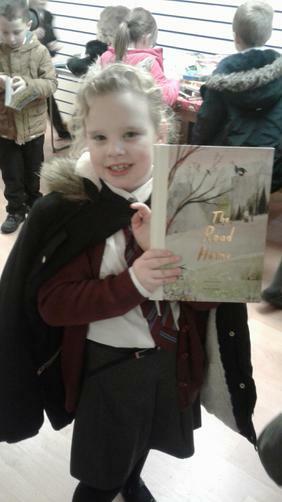 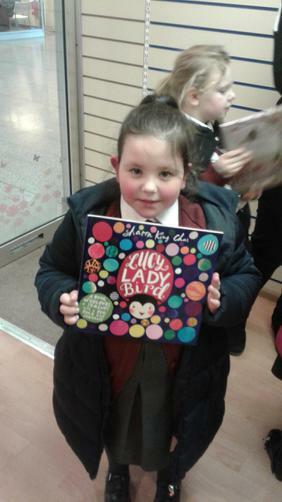 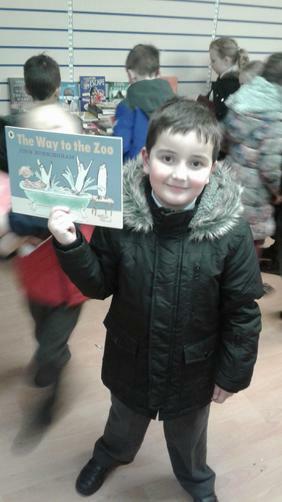 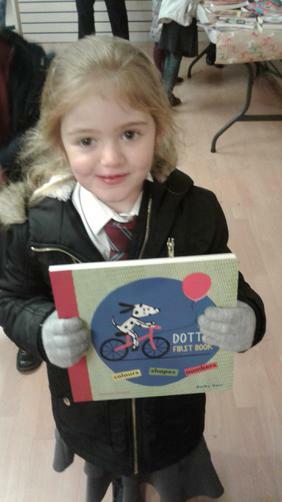 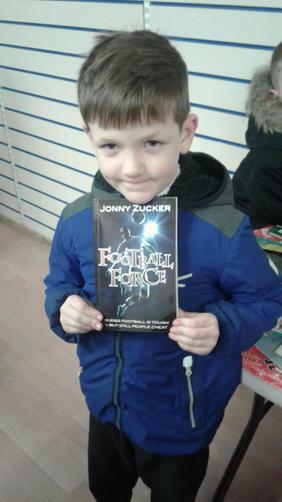 Each of our children received a free book, brand new! 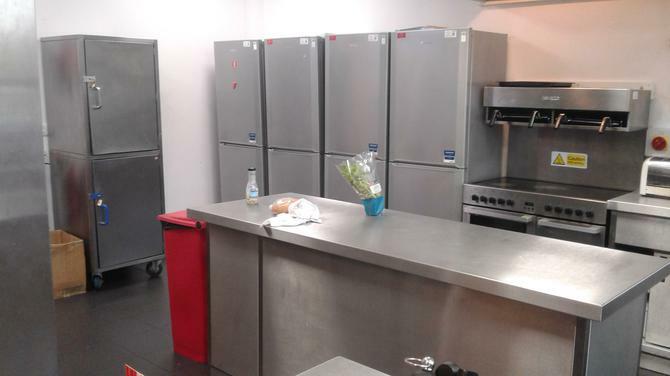 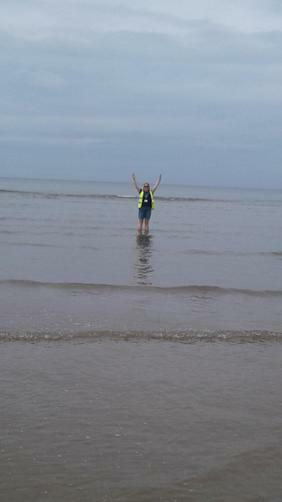 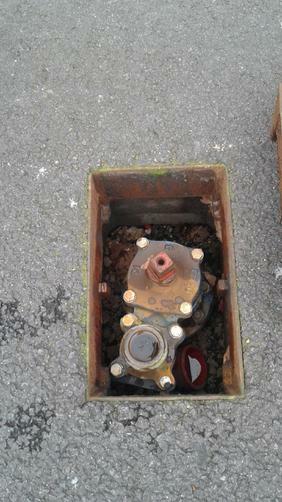 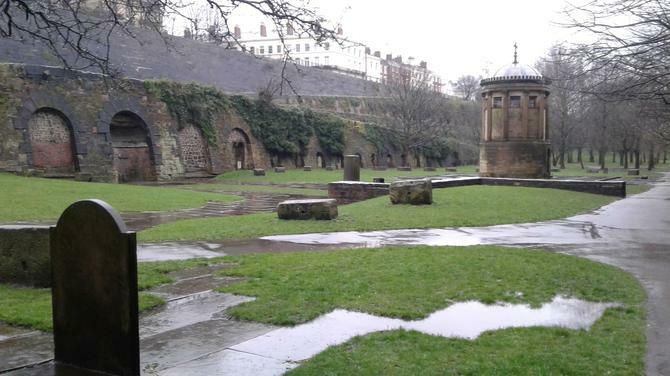 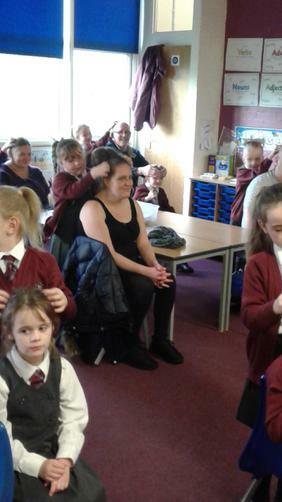 A HUGE thank you to Lisa from Gateacre School. 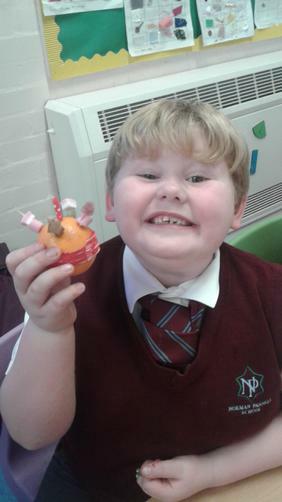 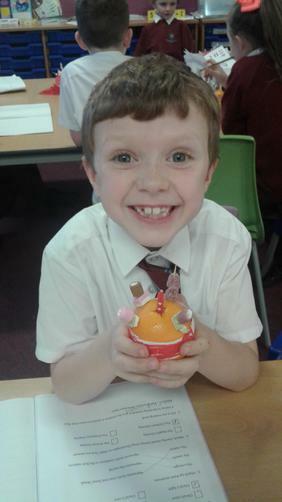 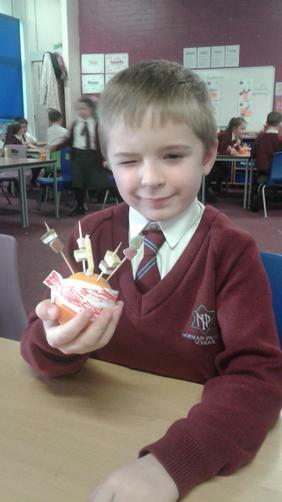 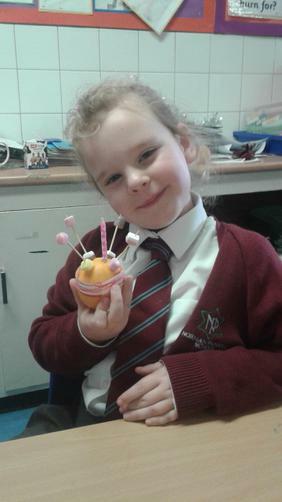 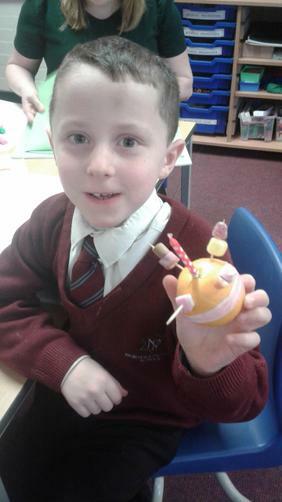 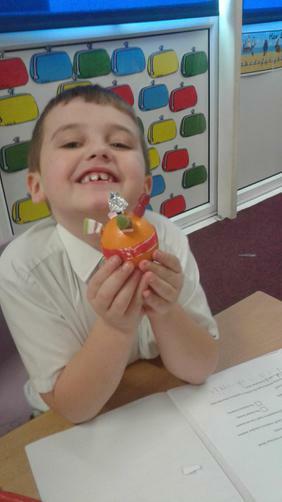 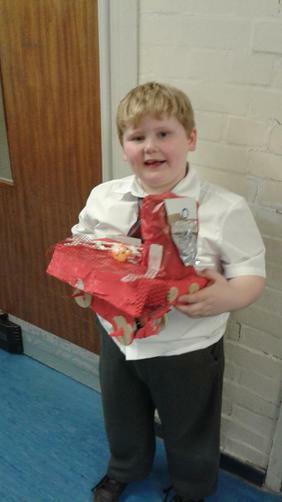 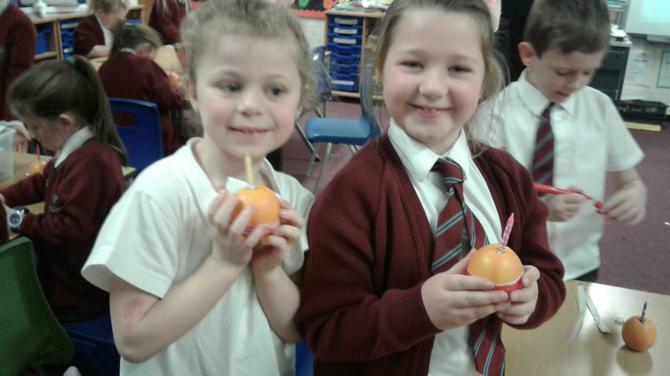 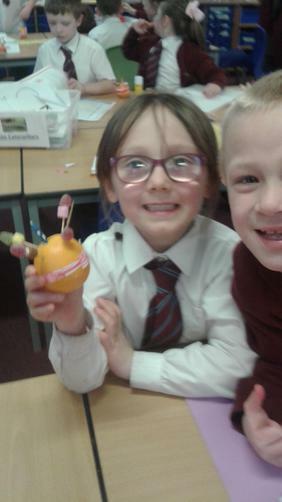 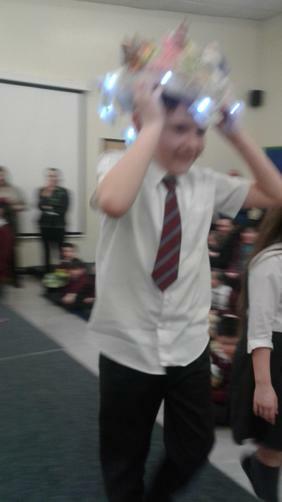 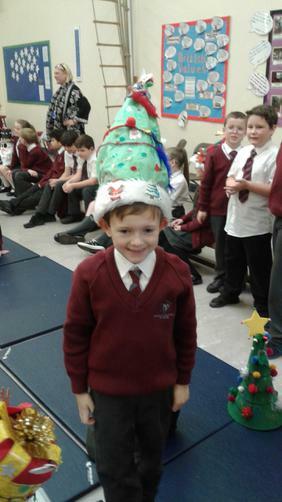 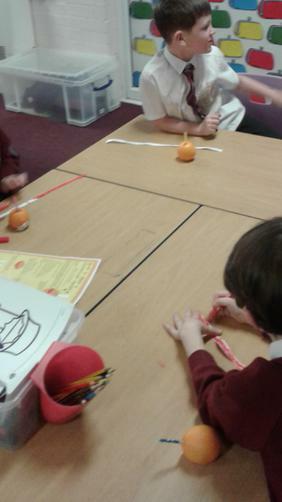 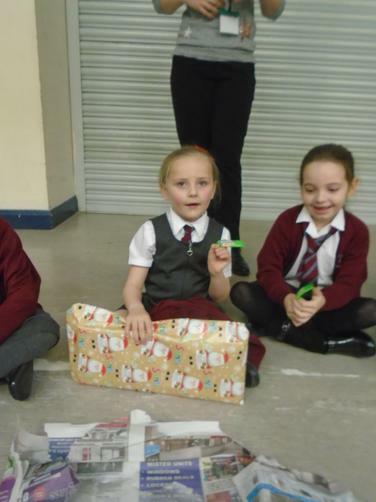 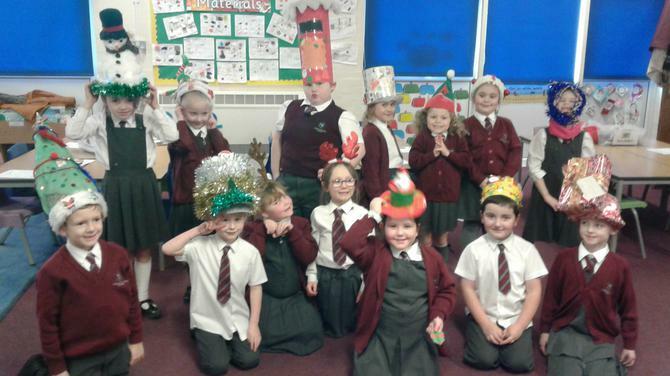 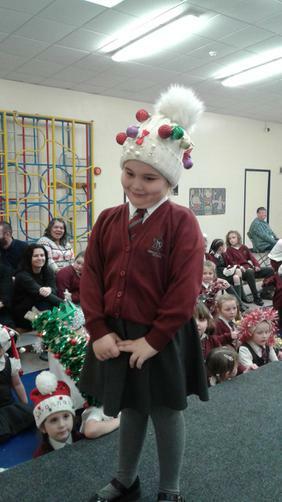 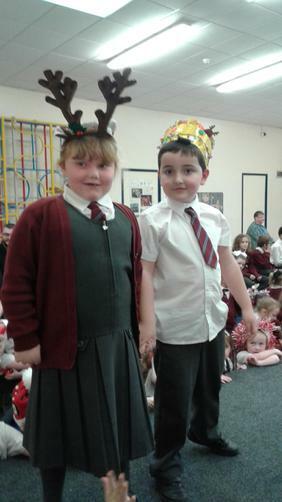 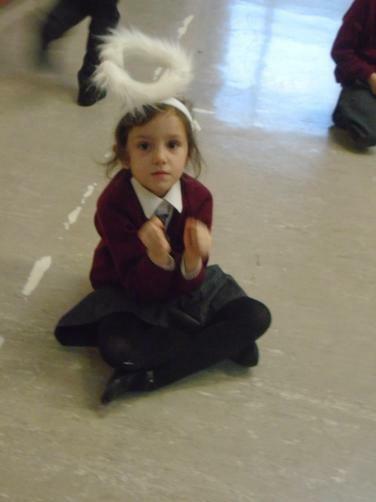 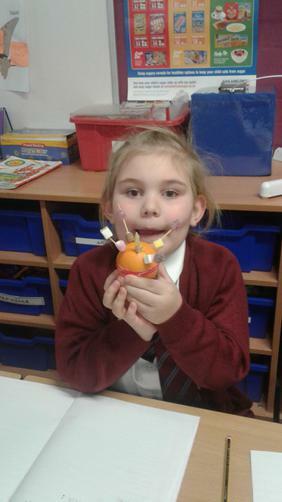 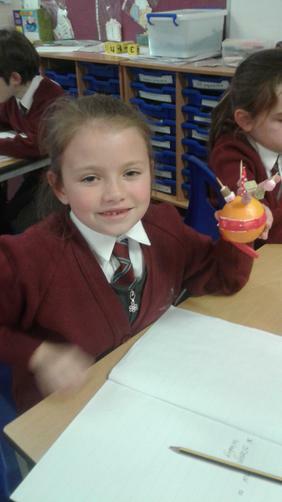 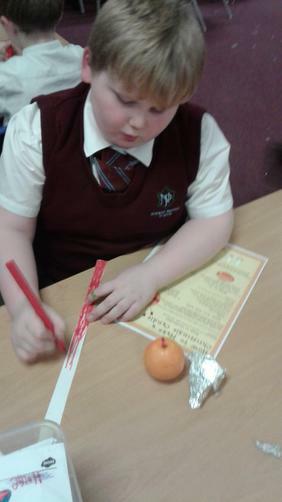 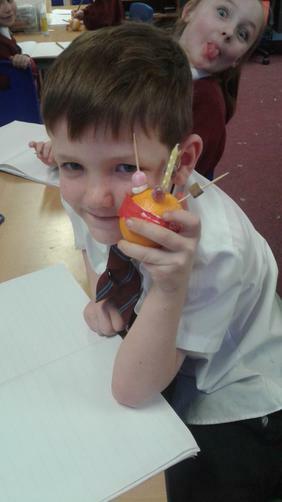 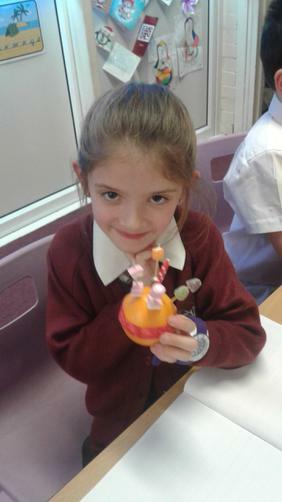 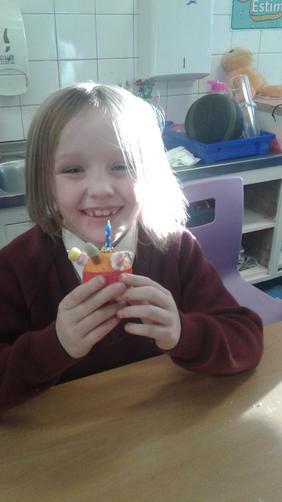 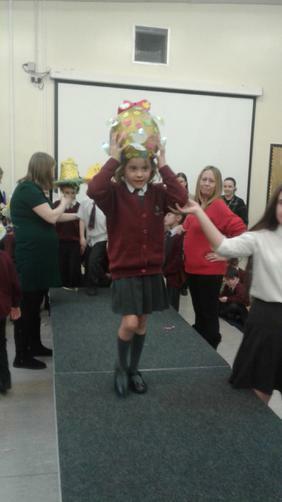 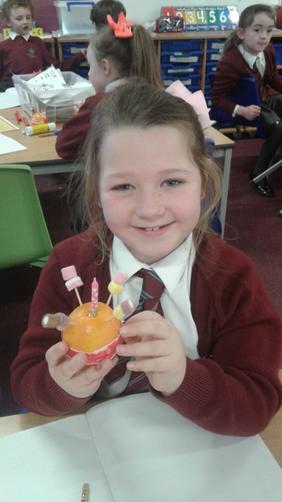 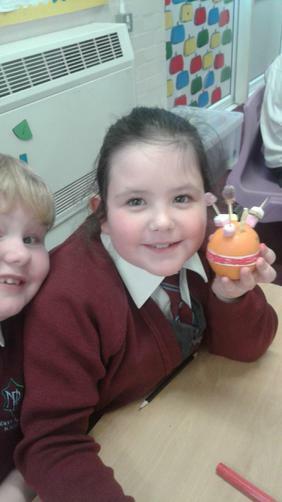 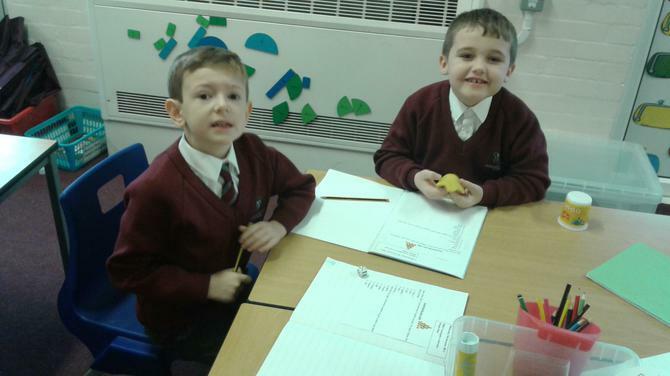 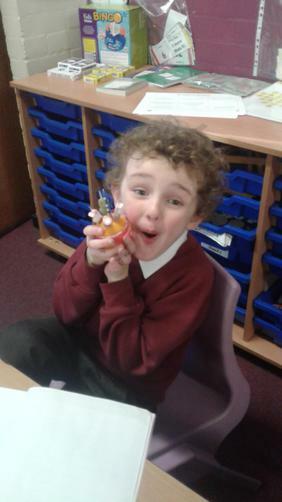 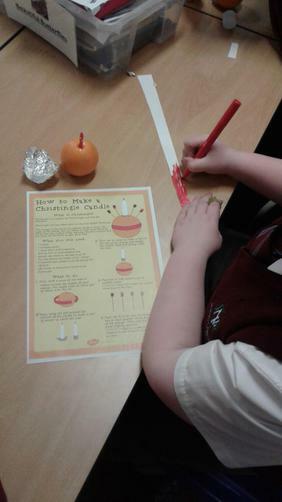 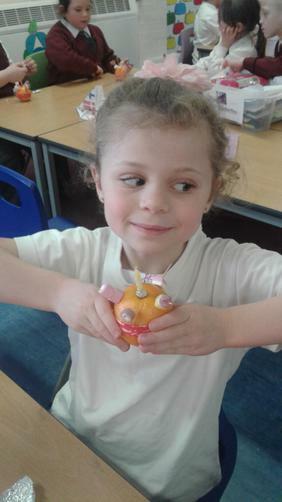 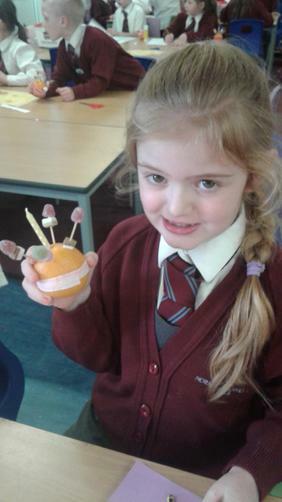 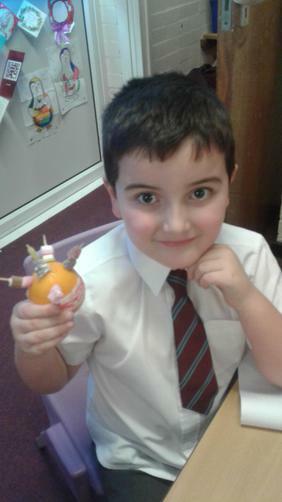 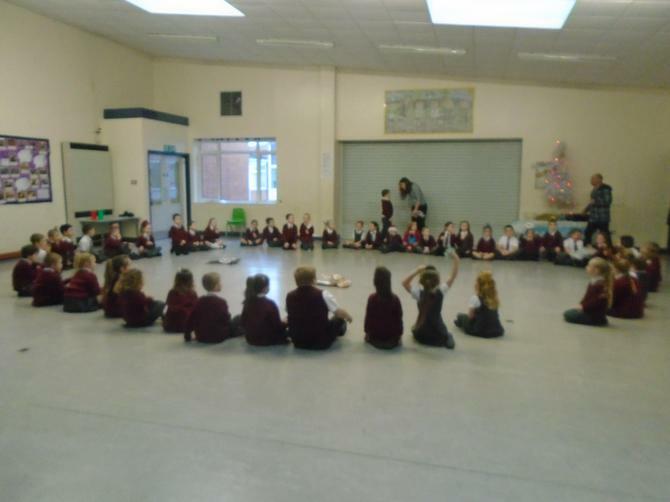 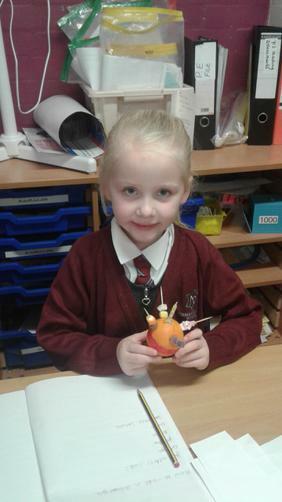 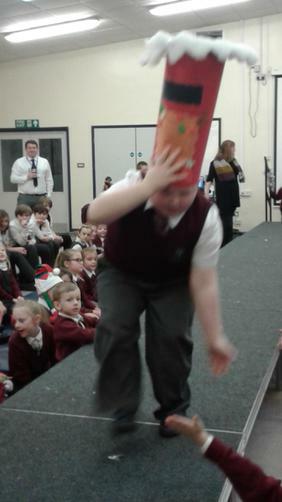 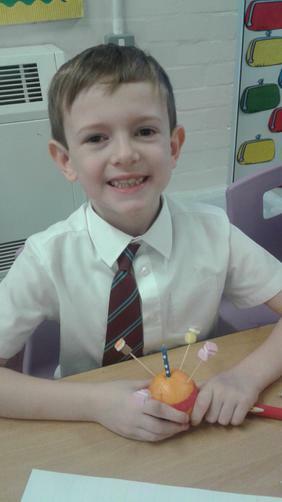 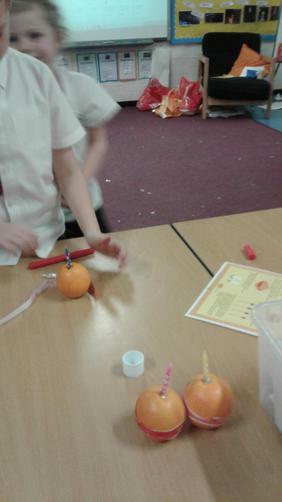 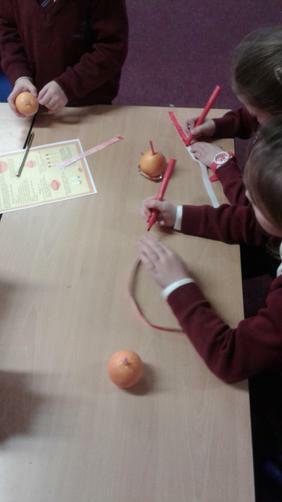 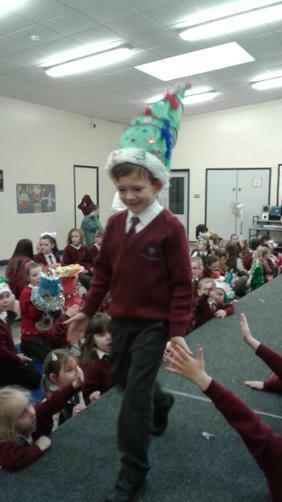 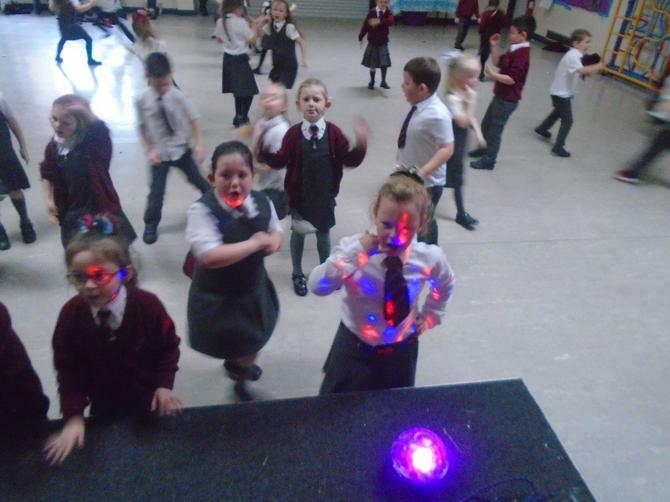 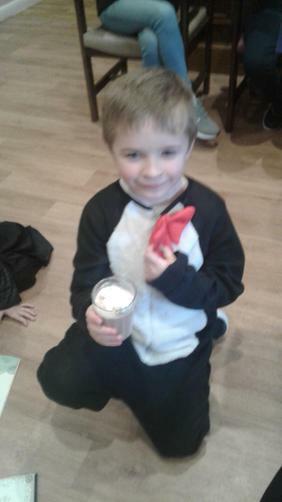 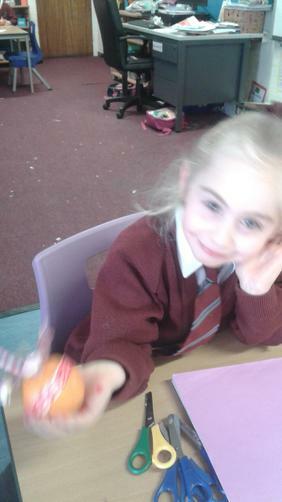 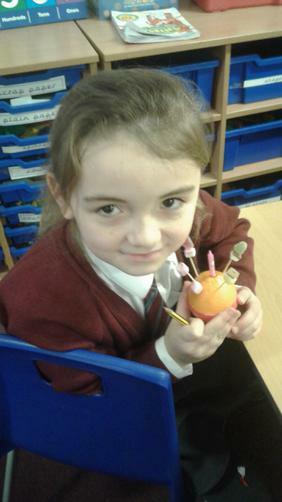 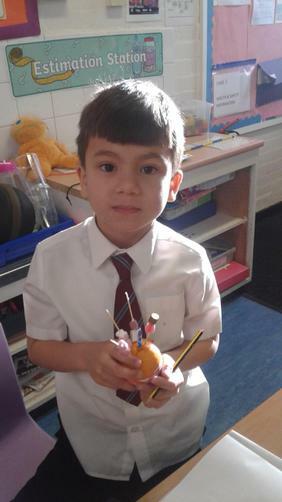 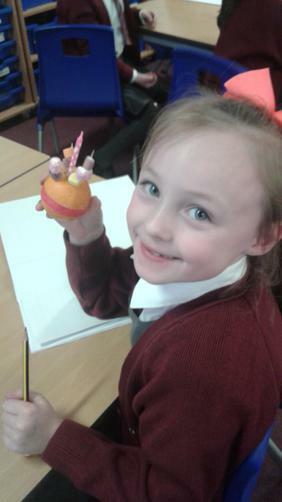 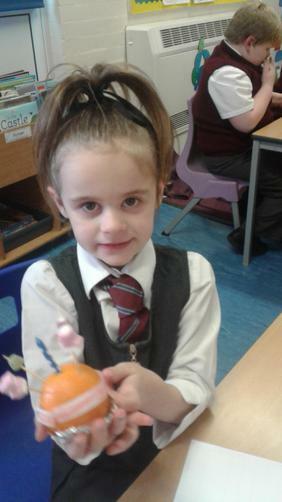 Each child in Year 2 made their own Christingle yesterday. 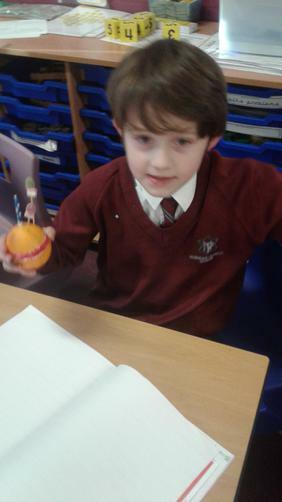  Ask the about the meaning of Christingle and why we have it. 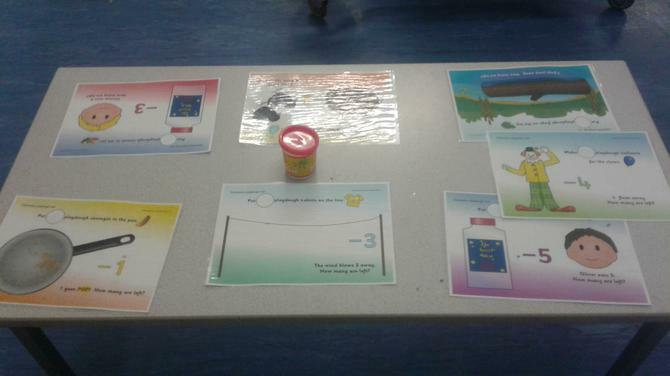 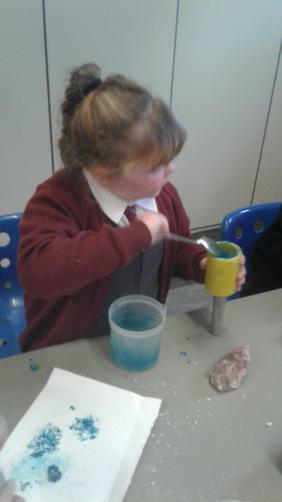 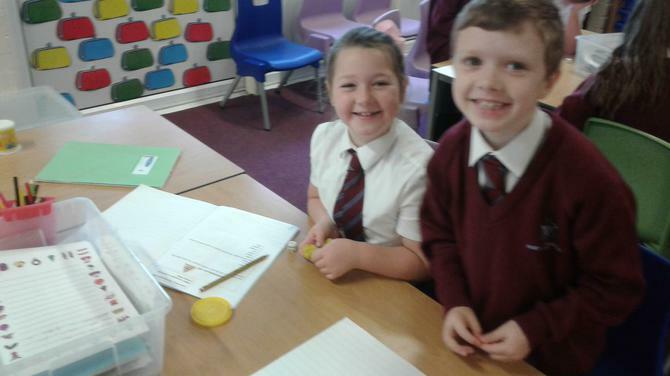 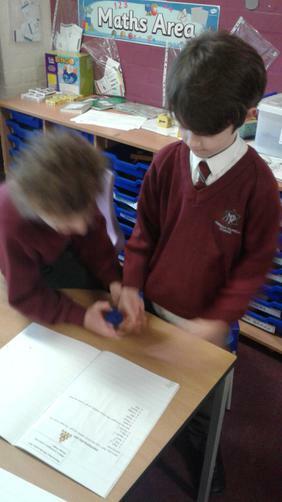 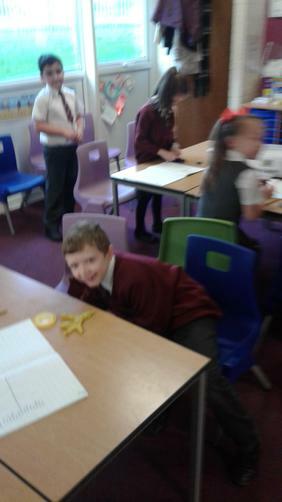 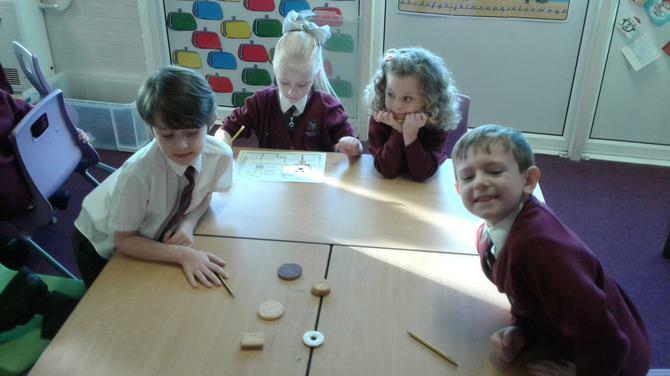 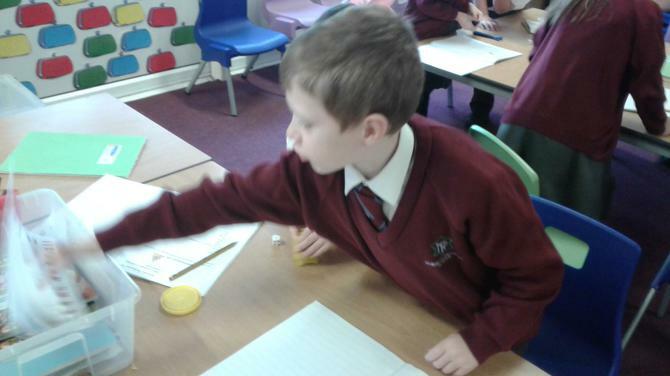 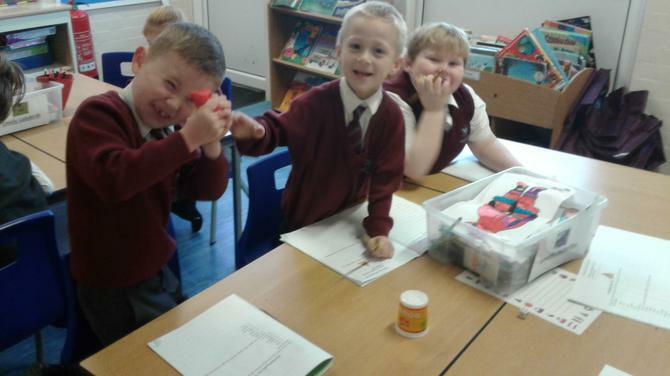 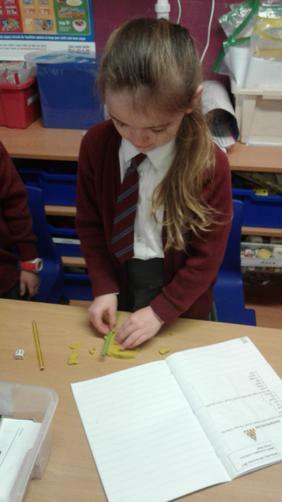 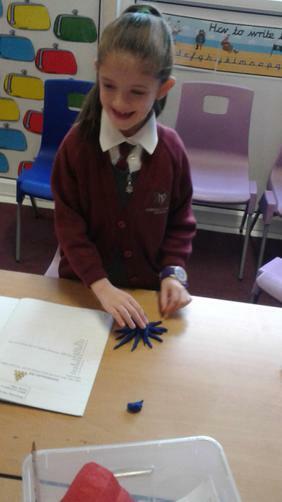 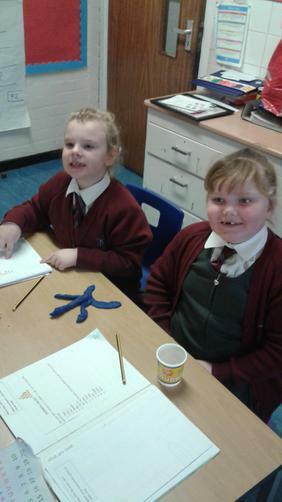 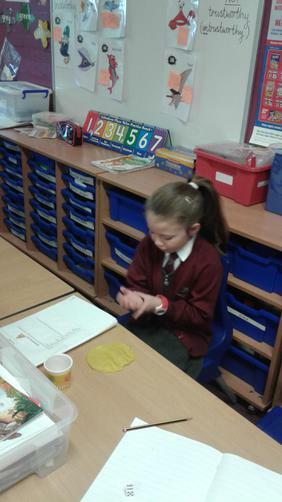 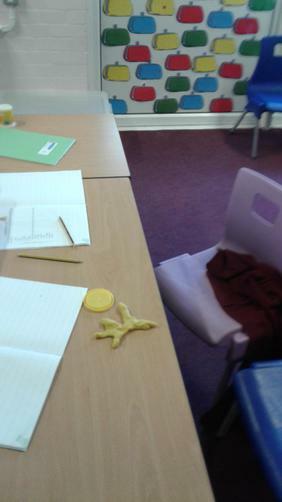 Today the children experimented how many ways a solid can change shape using play doh. 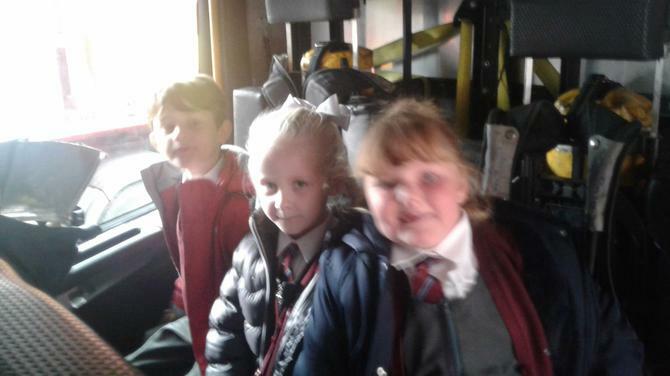 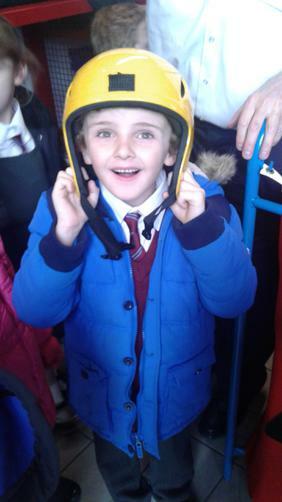 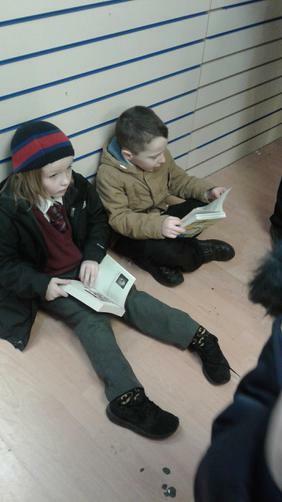 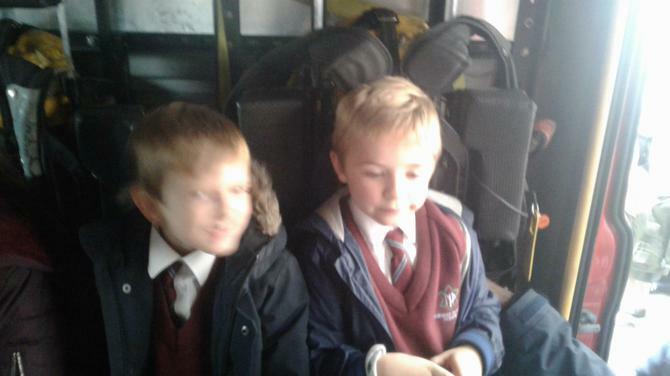 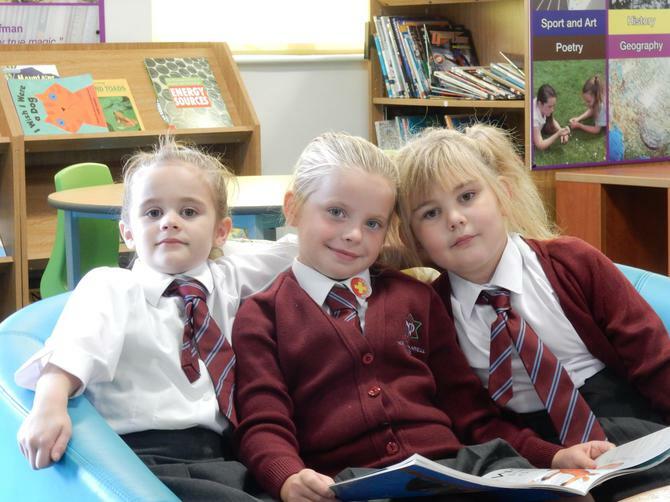 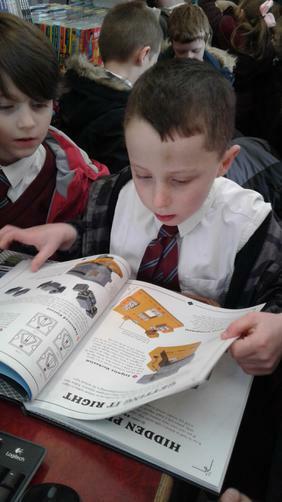 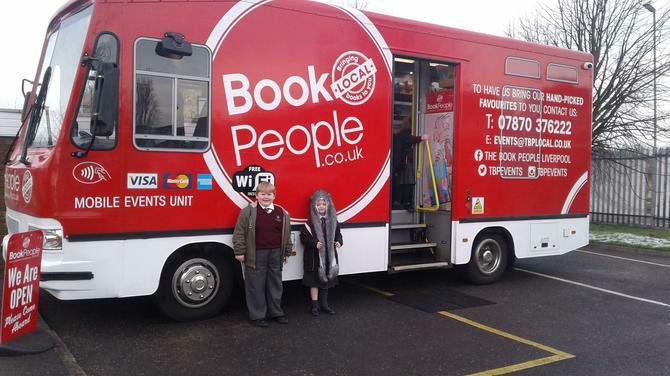 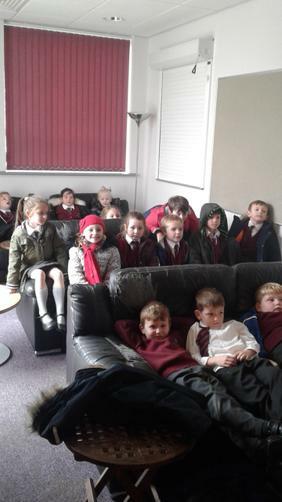 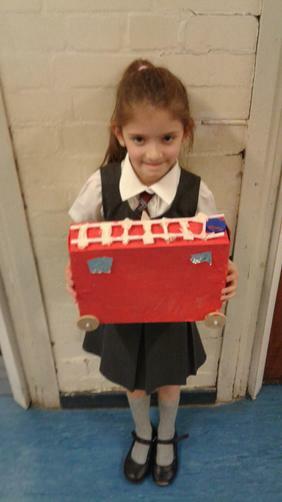 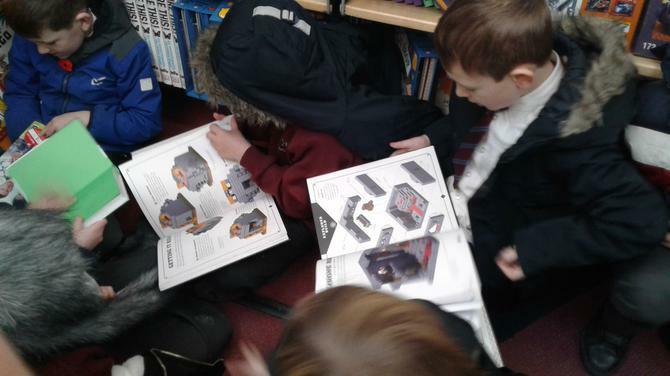 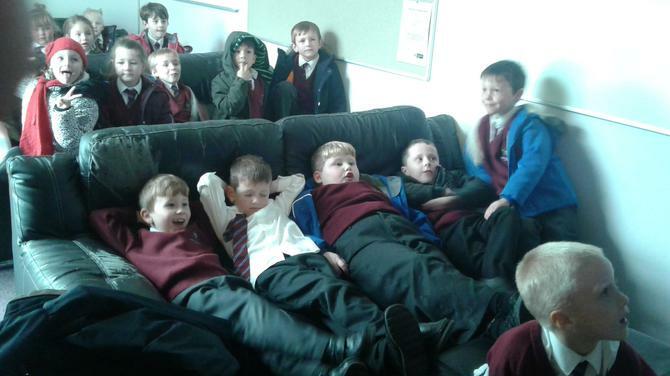 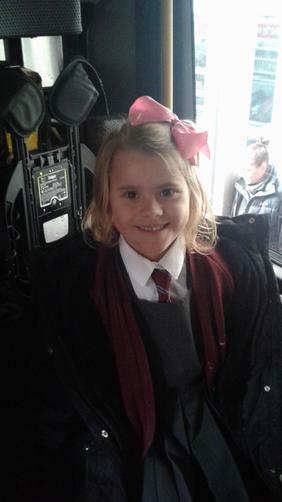 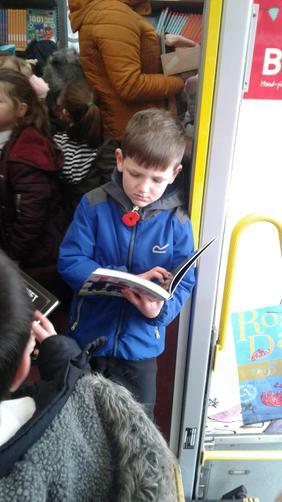 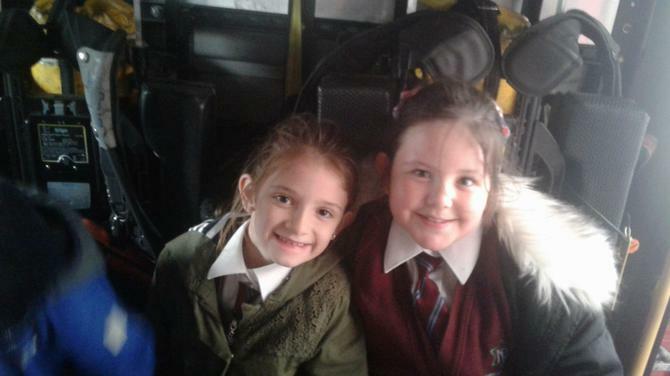 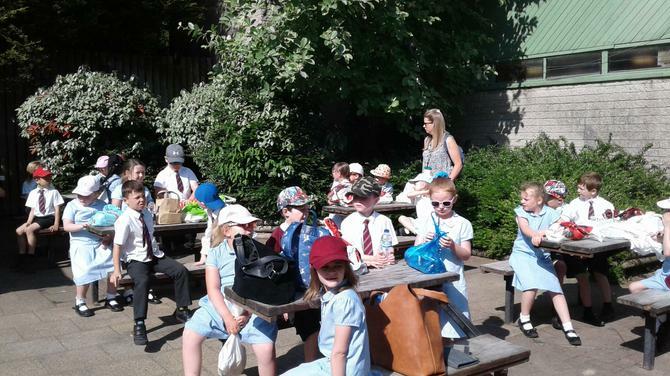 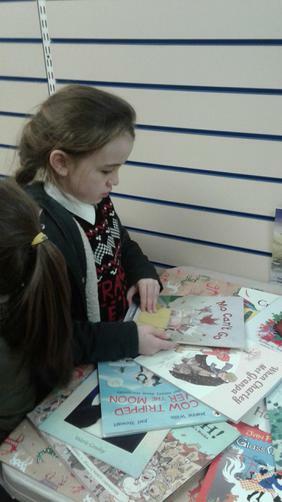 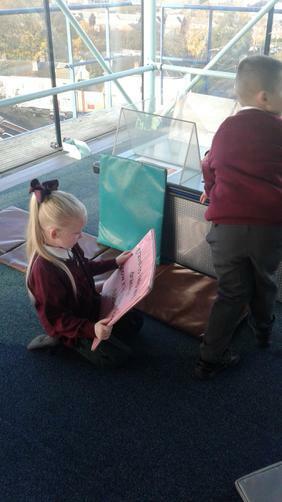 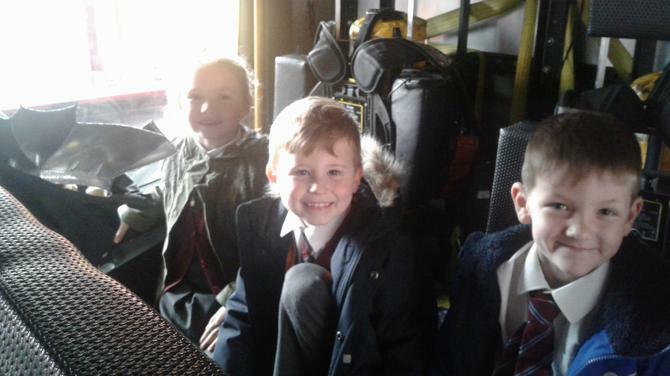 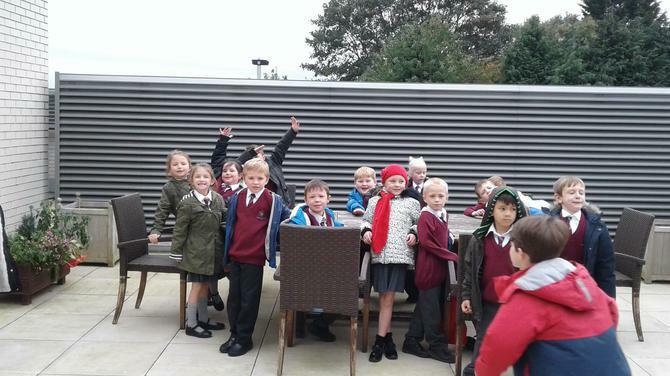 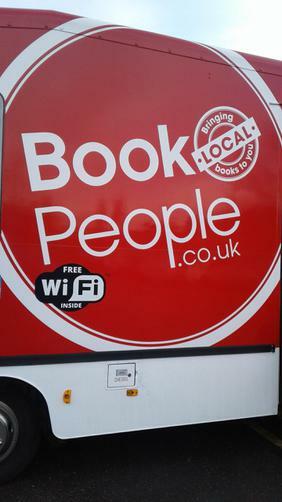 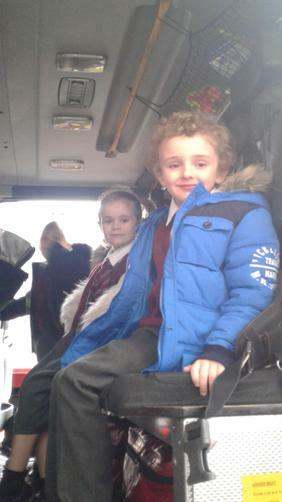 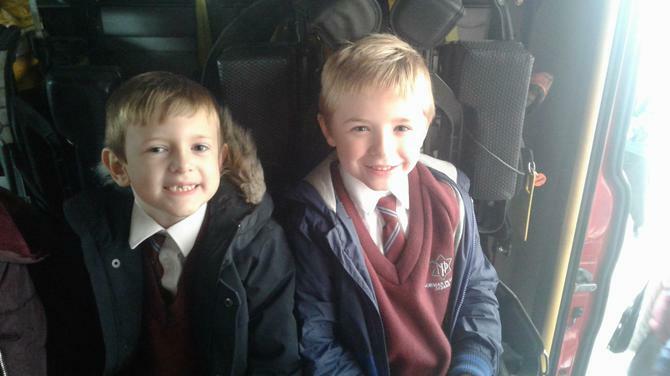 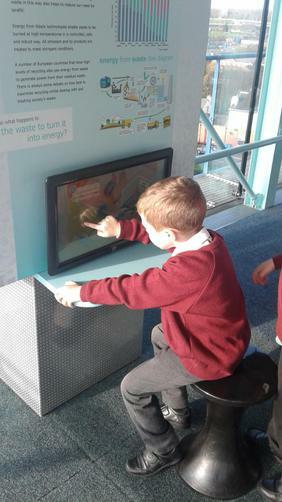 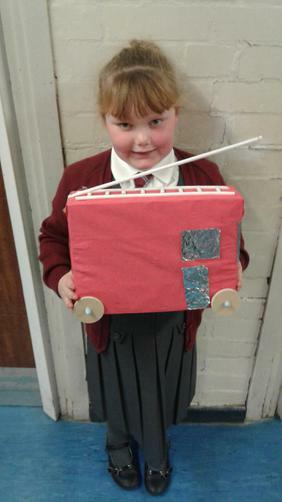 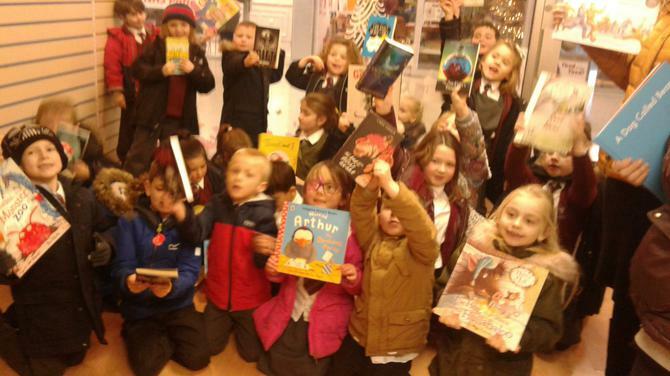 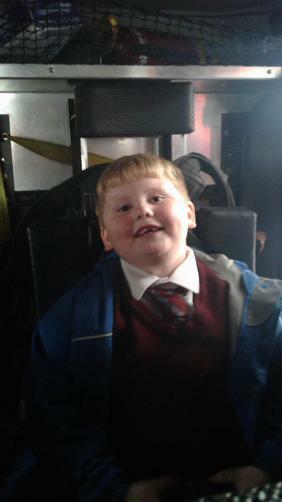 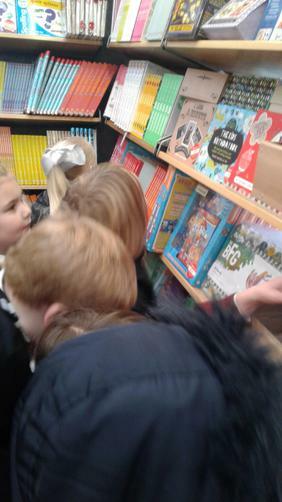 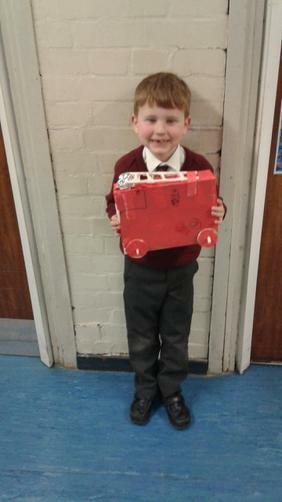 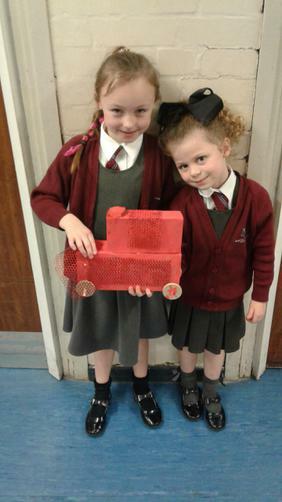 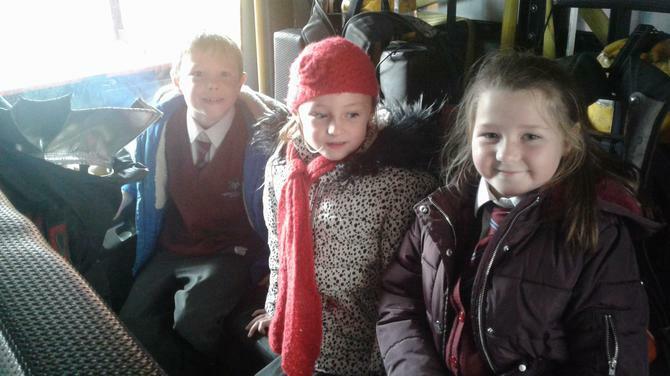 The Year 2 children enjoyed some time on the book bus when it came to visit our school on Tuesday. 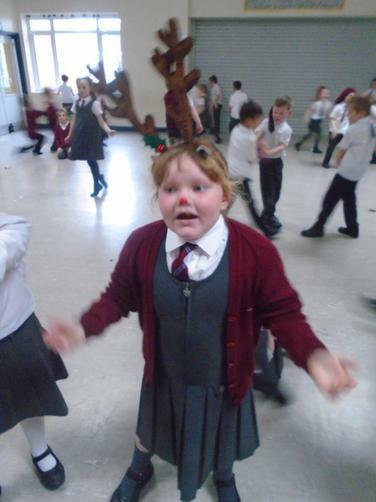 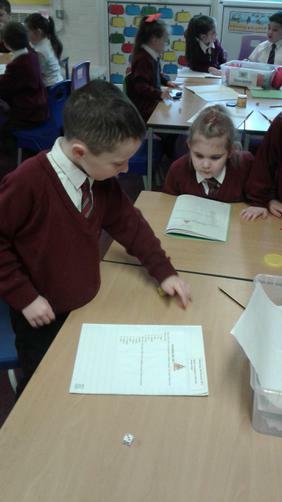 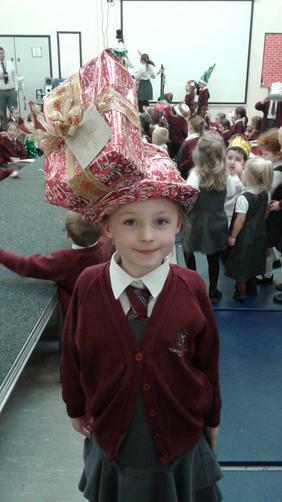 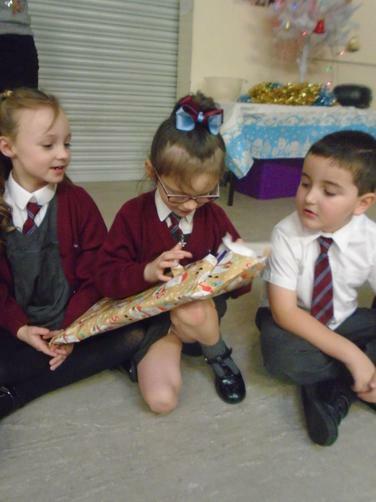 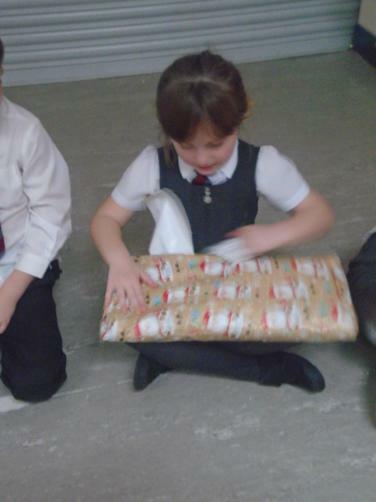 Year 2 have a new Christmas story delivered wrapped up in their register everyday. 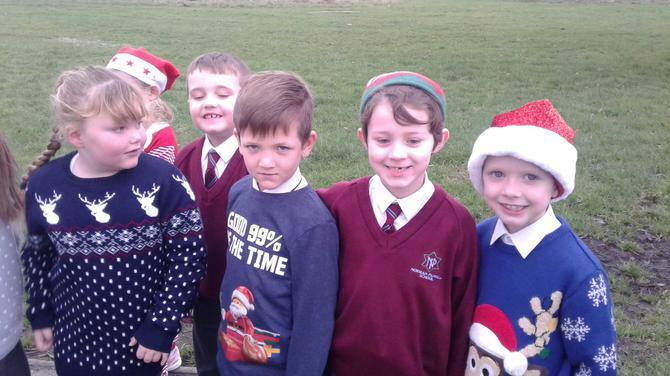 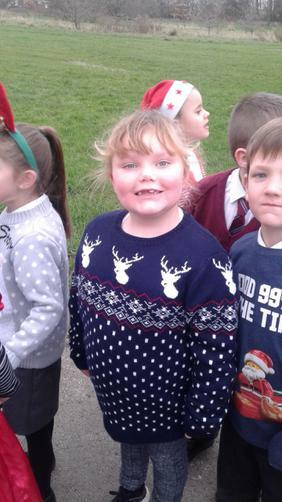 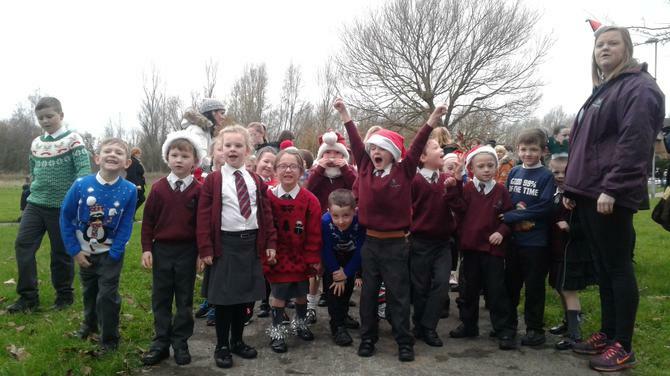 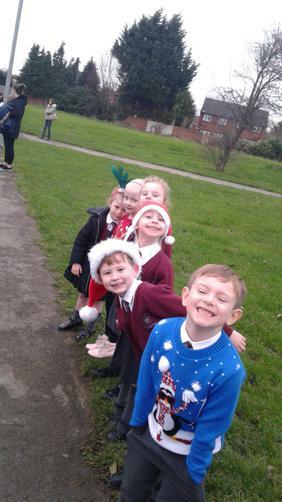 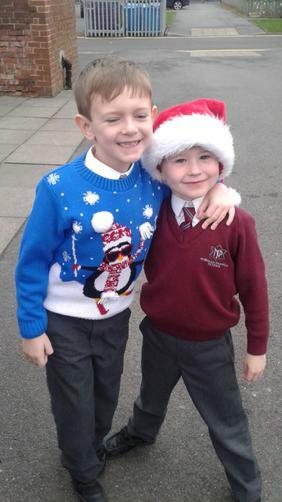 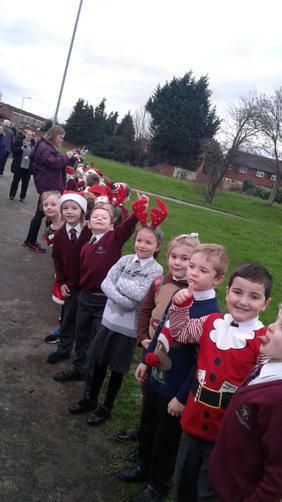 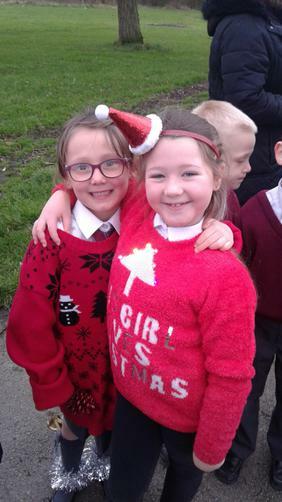 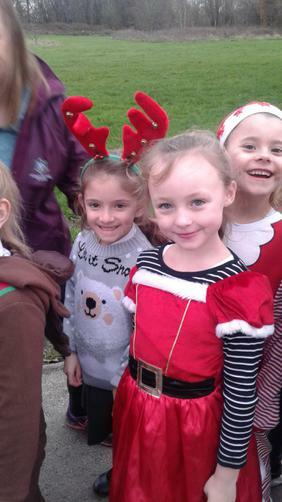 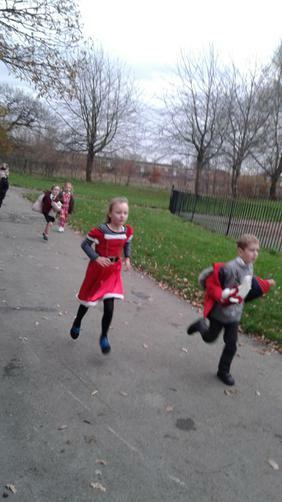 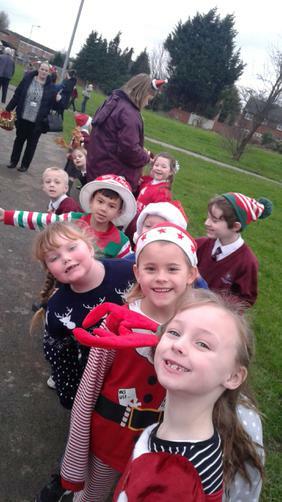 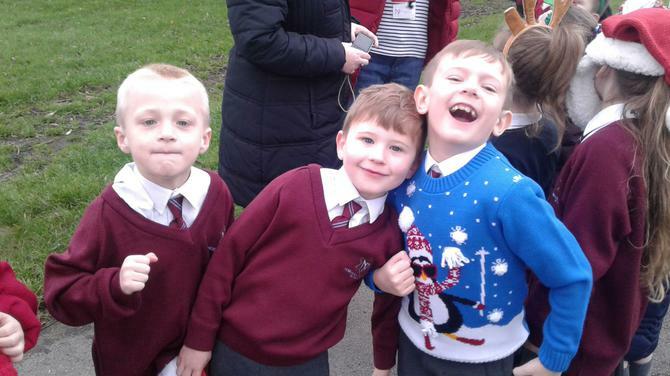 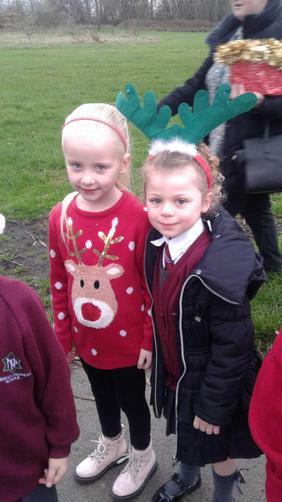 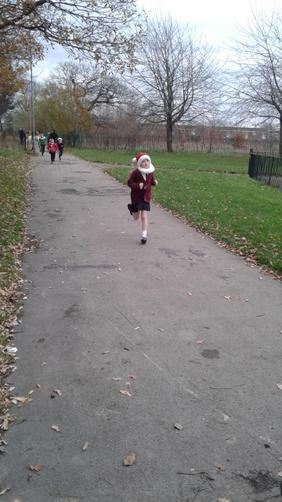 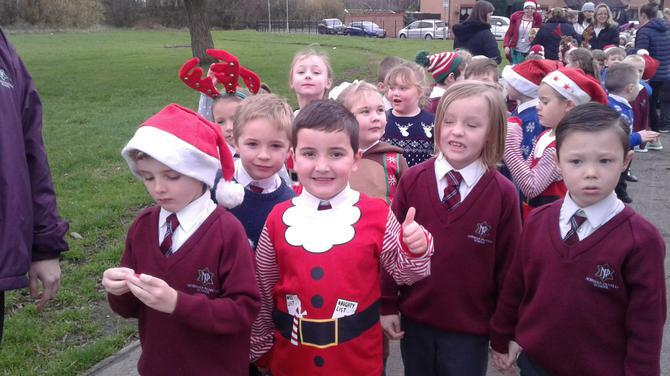 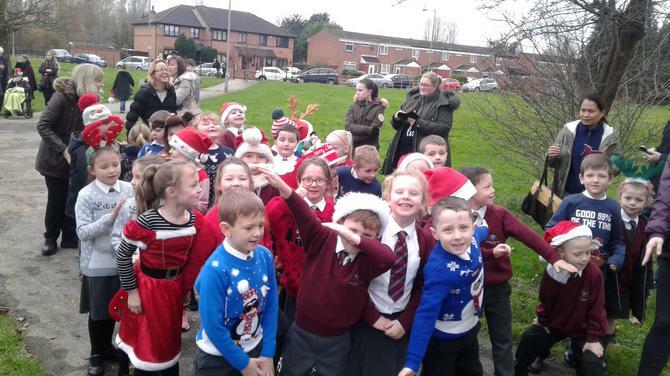 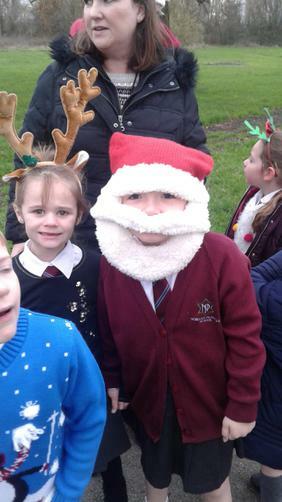 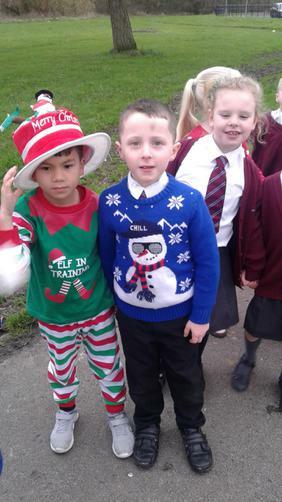 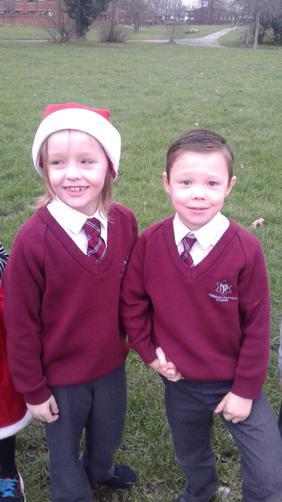 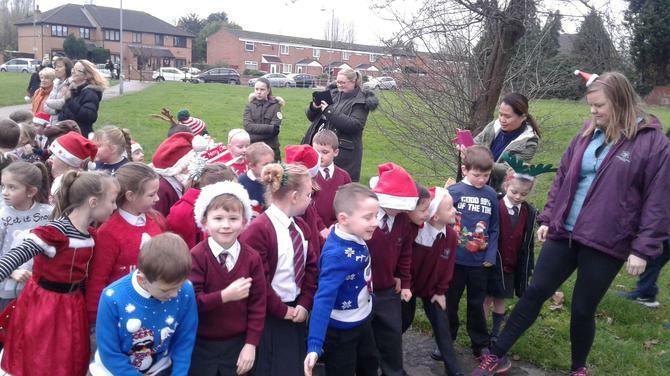 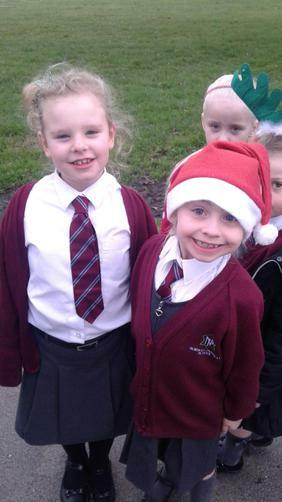 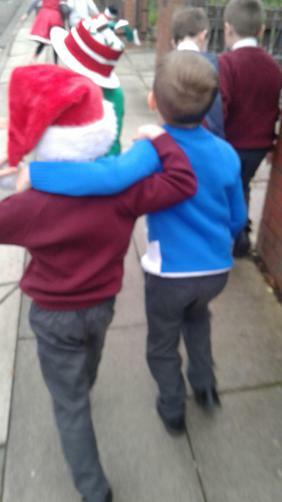 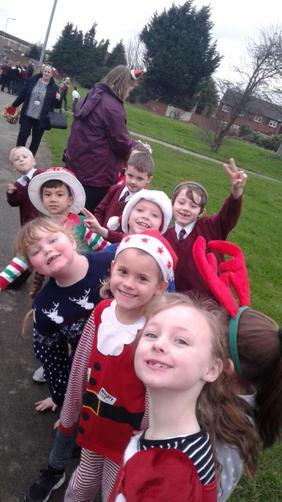 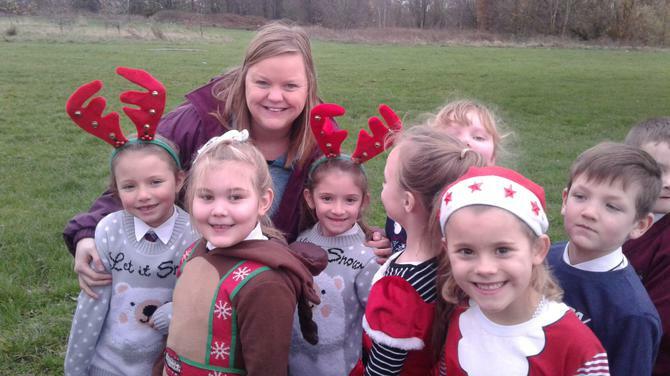 The children of Norman Pannell took part in our annual santa dash this morning. 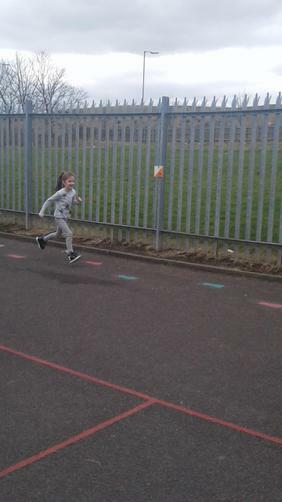 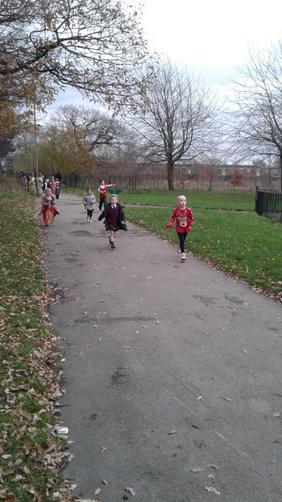 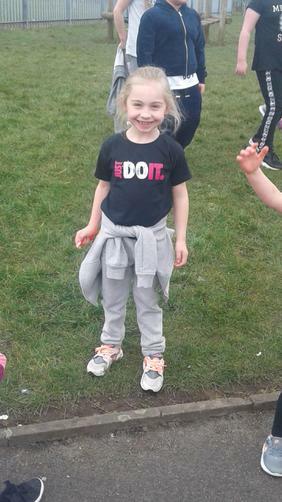 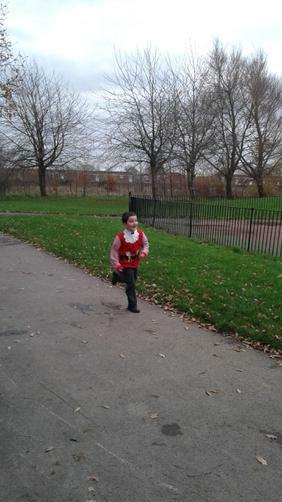 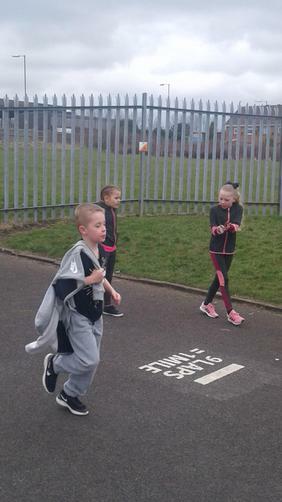 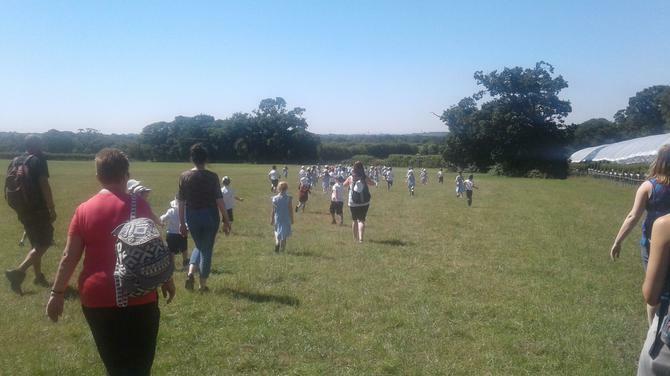 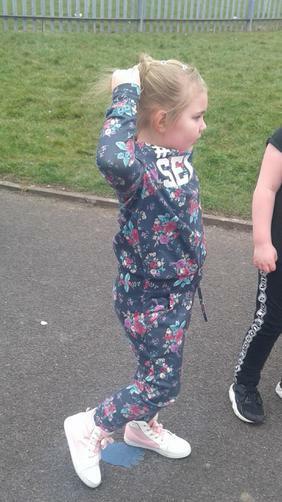 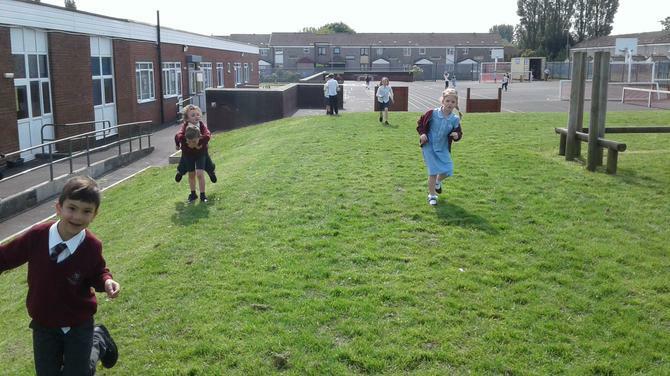 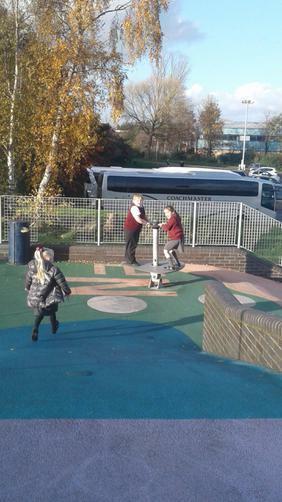 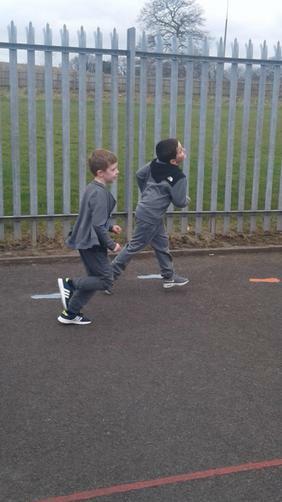 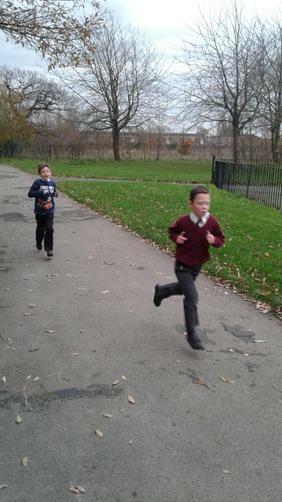 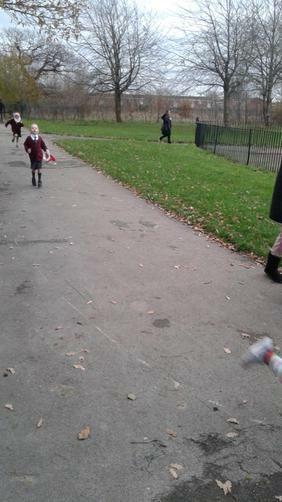 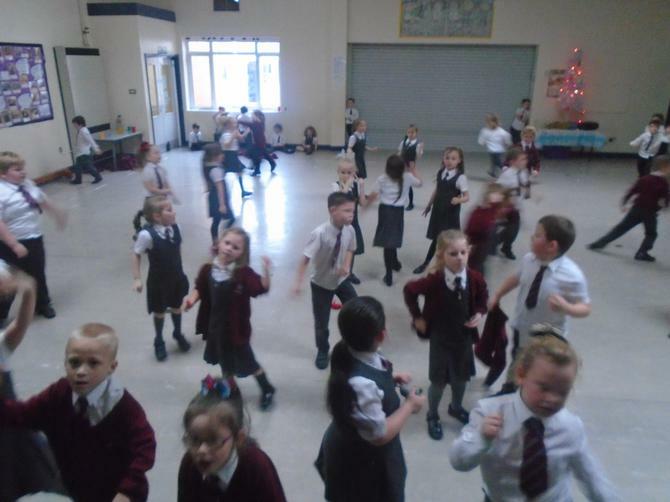 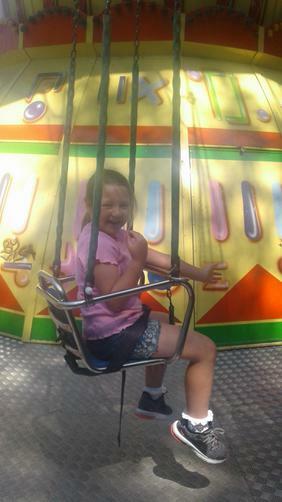 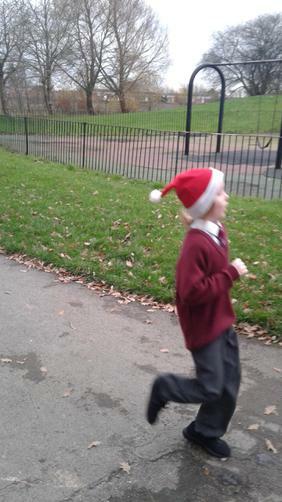 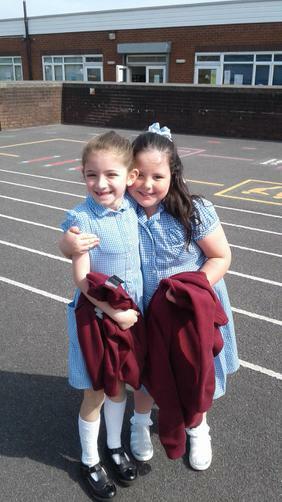 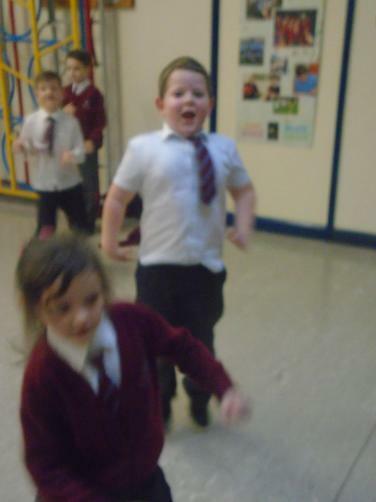 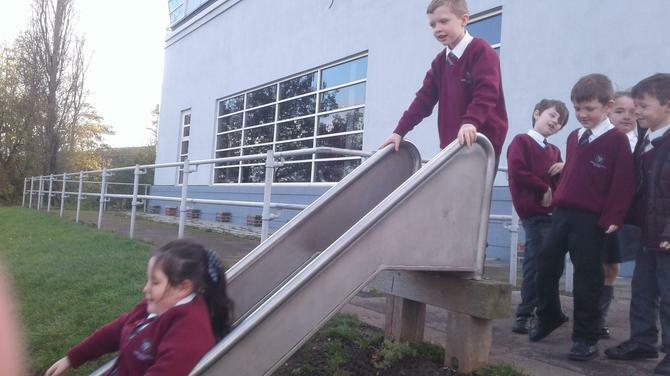 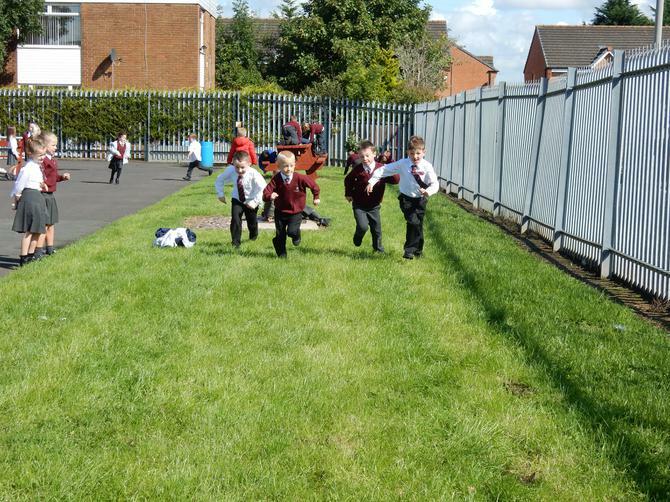 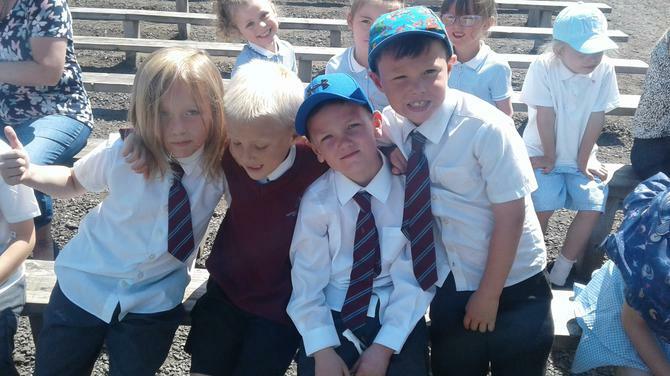 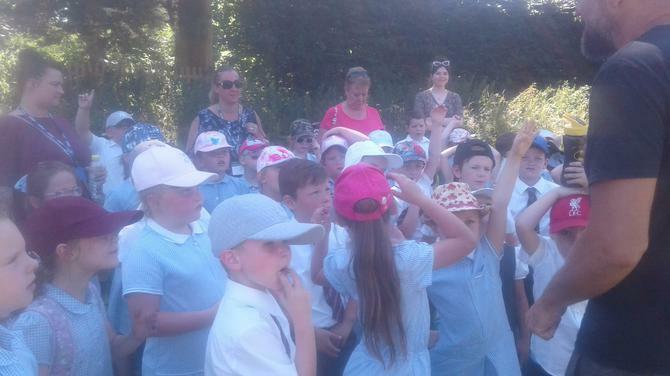 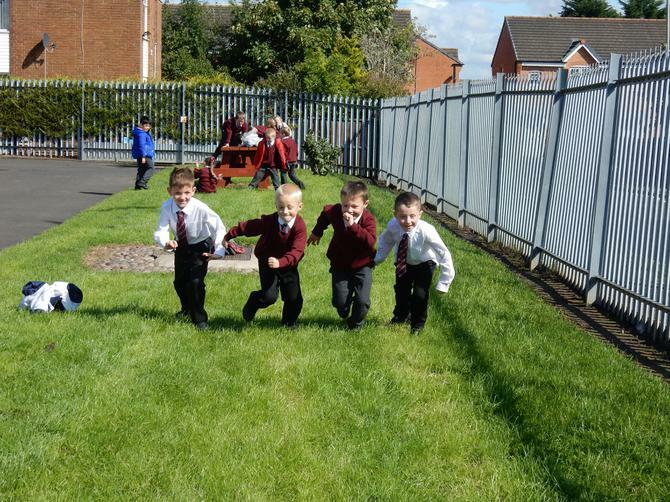 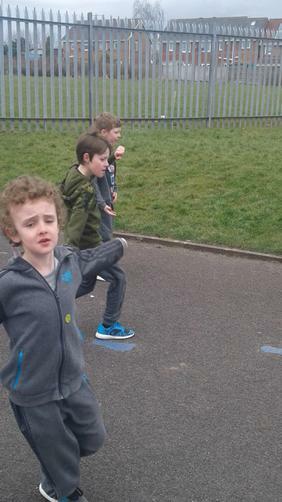 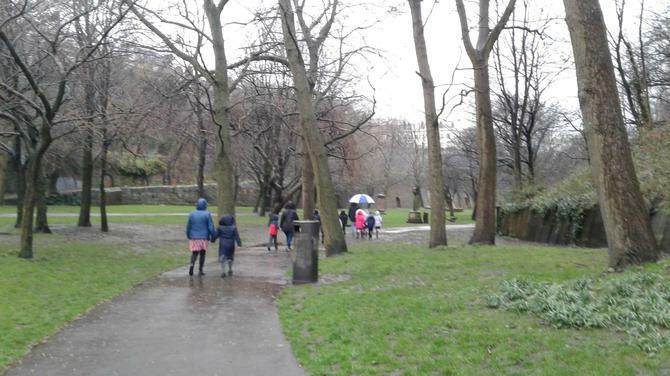 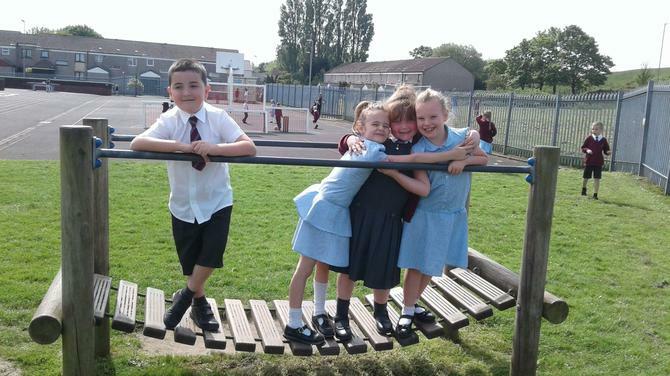 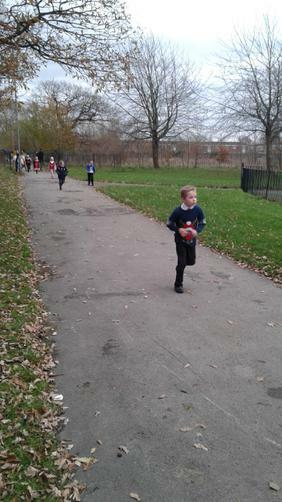 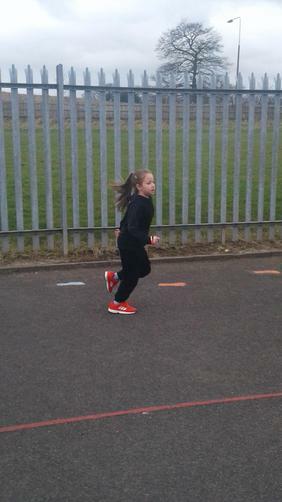 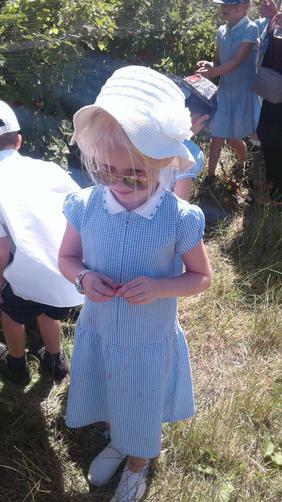 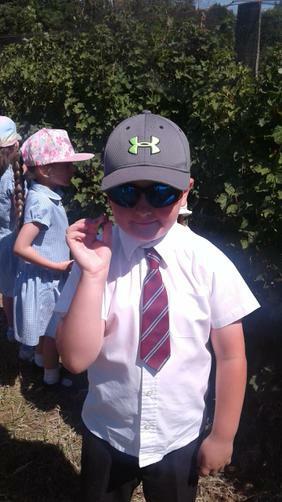 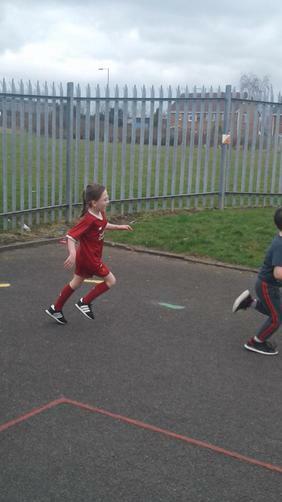 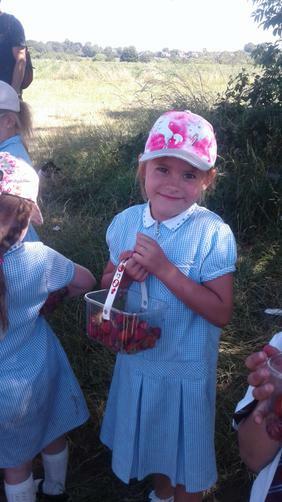 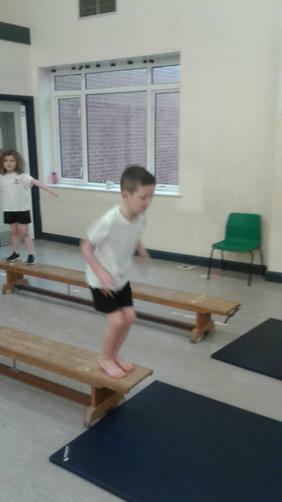 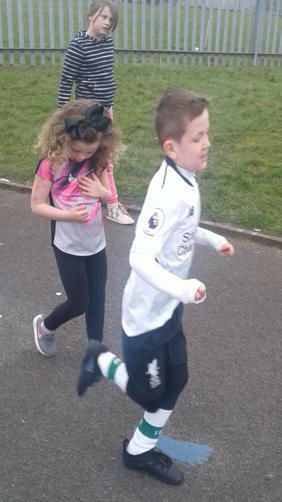 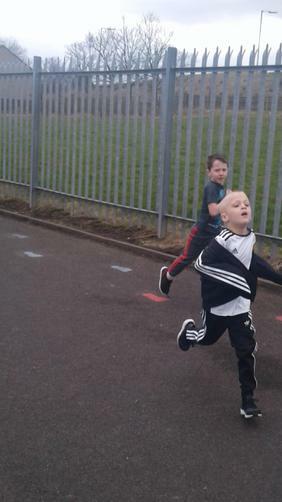 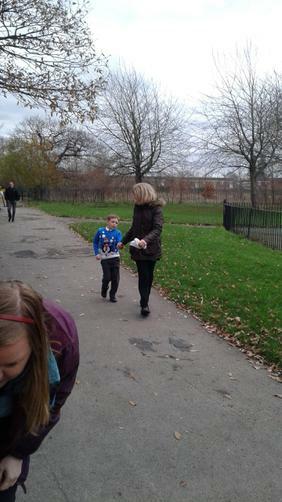 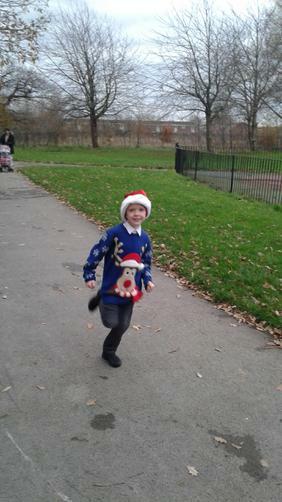 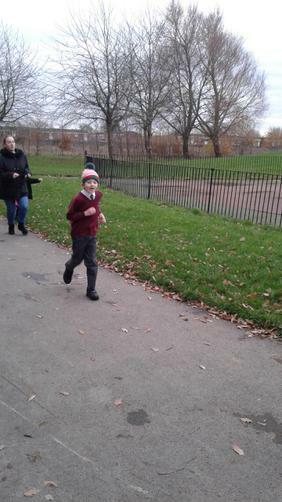 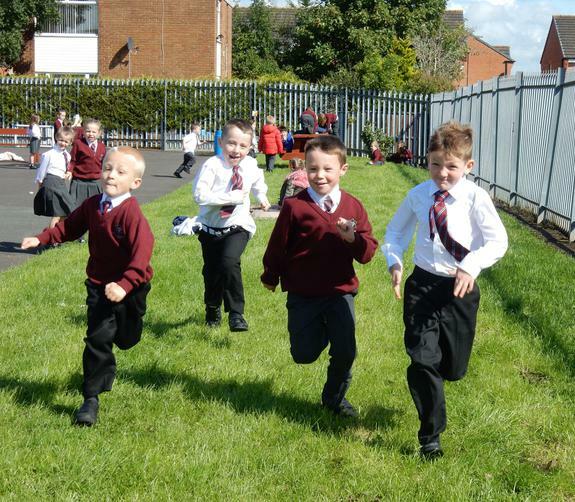 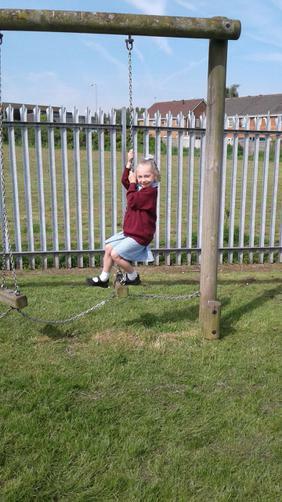 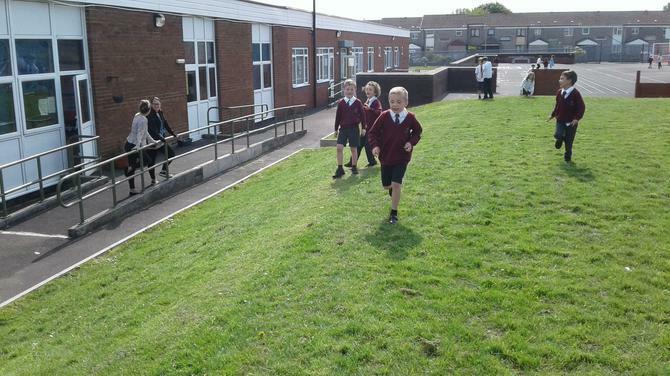 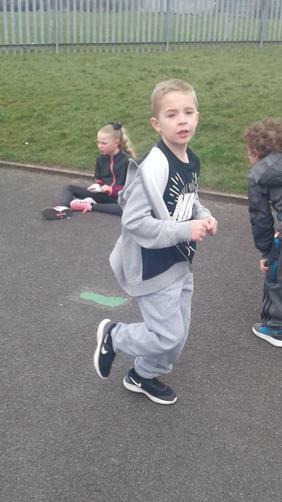 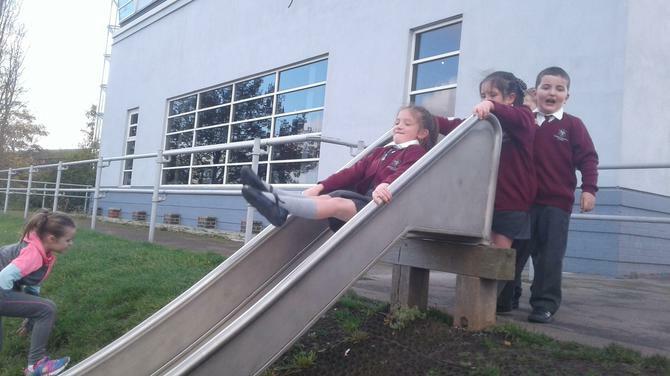 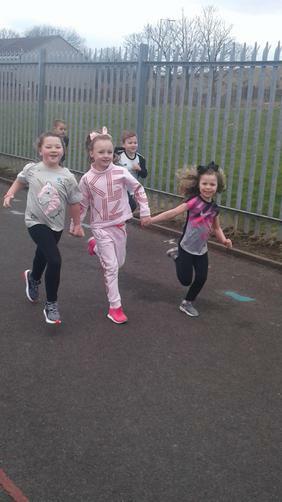 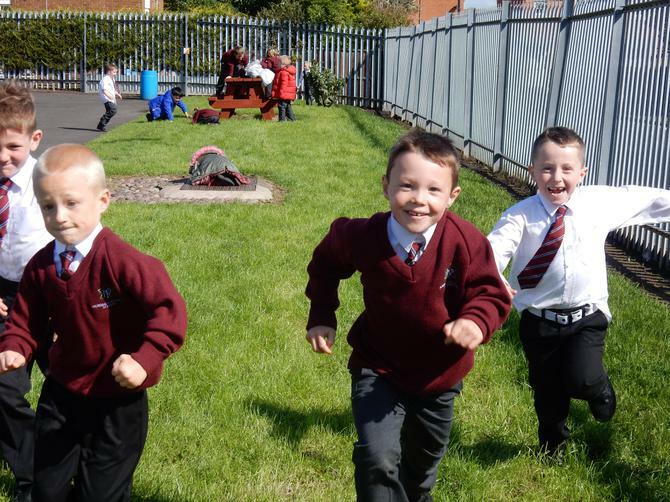 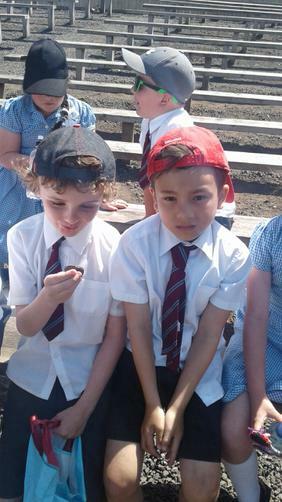 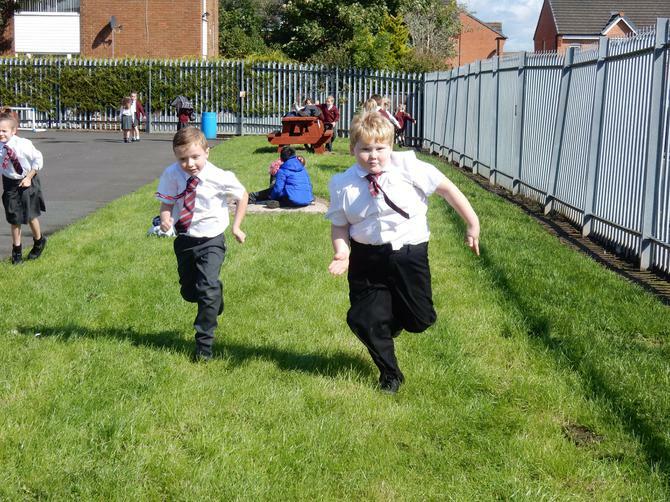 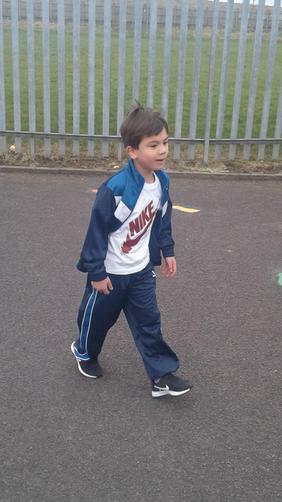 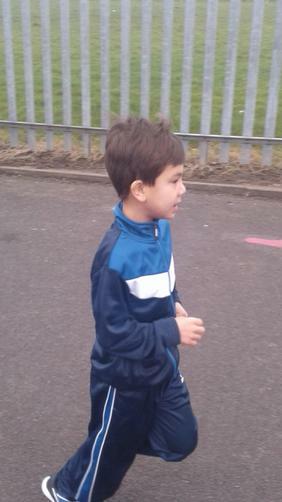 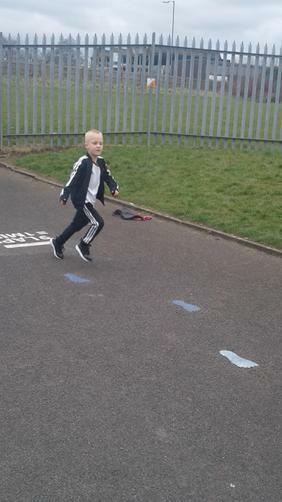 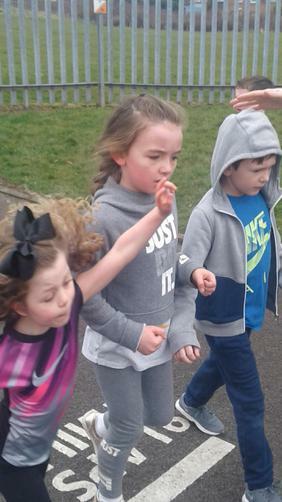 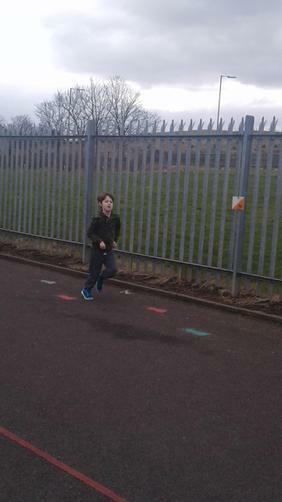 Year 2 had lots of fun running around the park and cheering on the other classes. 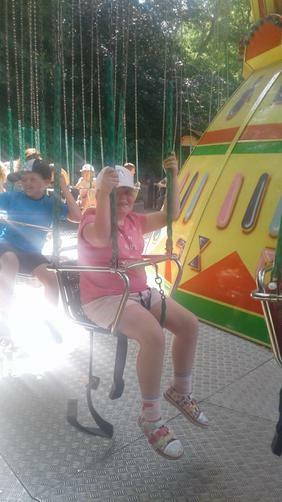 Big Brenda and the Rainbow of colour. 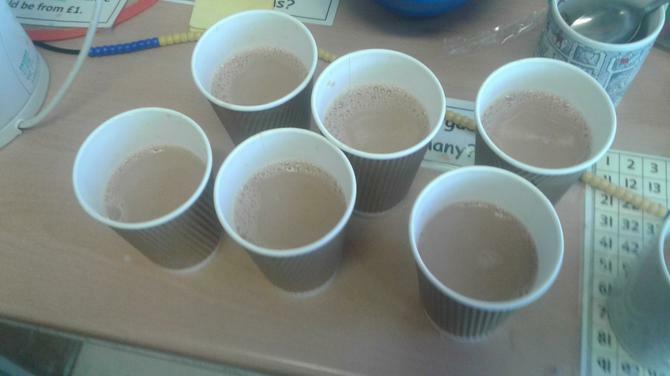 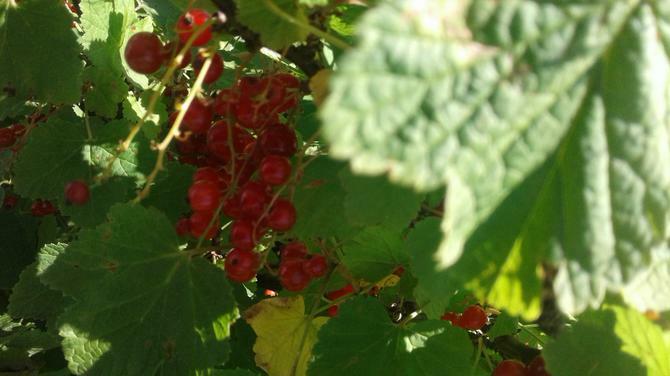 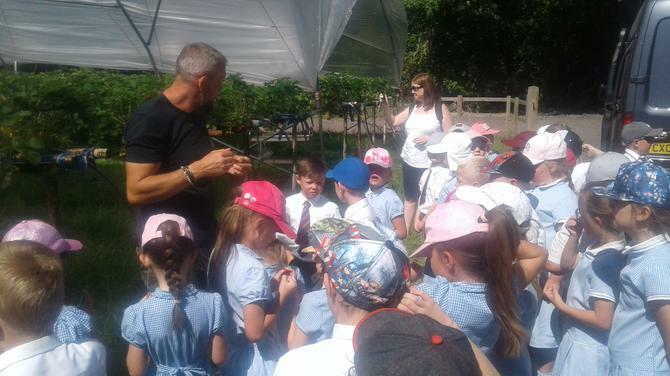 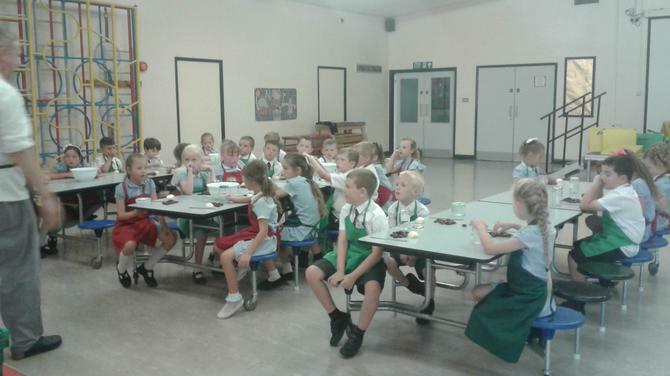 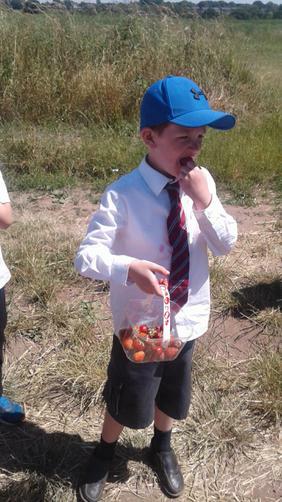 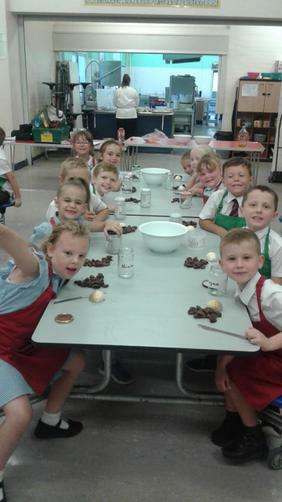 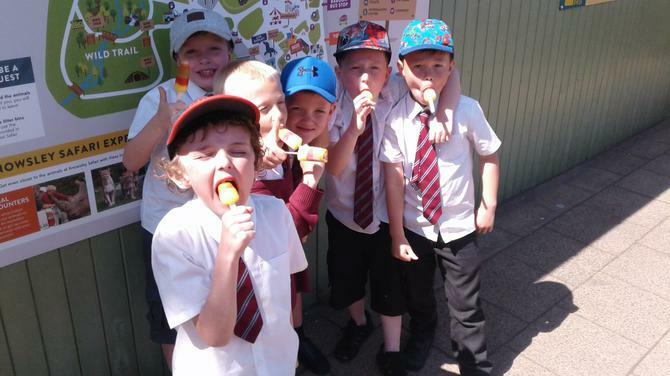 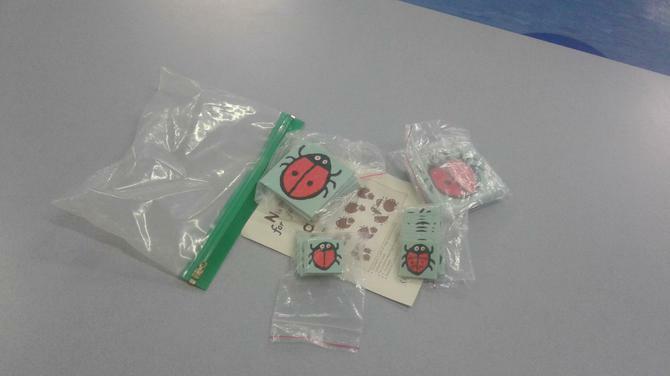 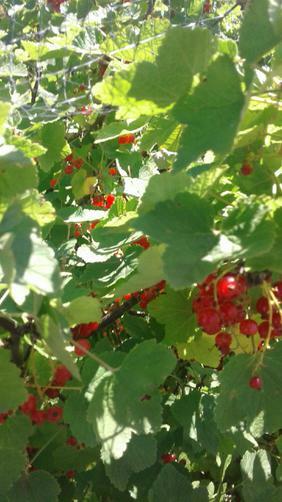 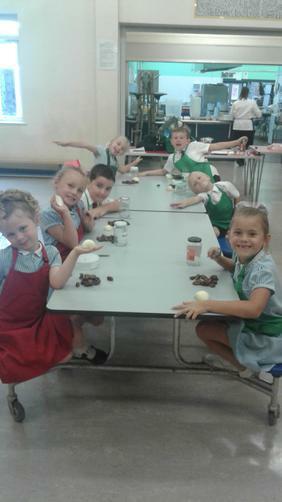 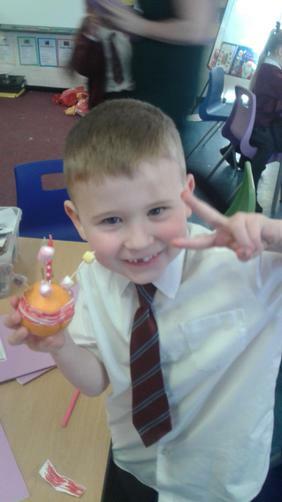 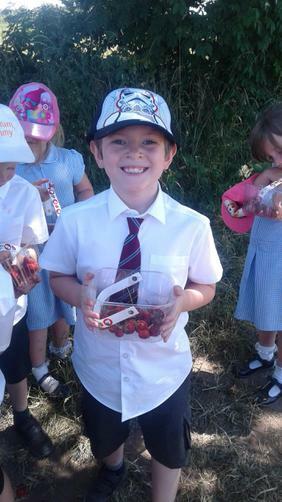 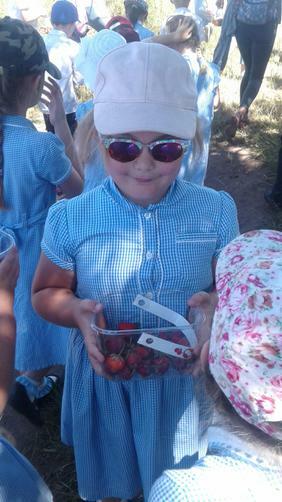 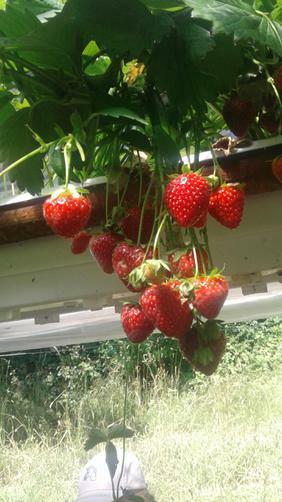 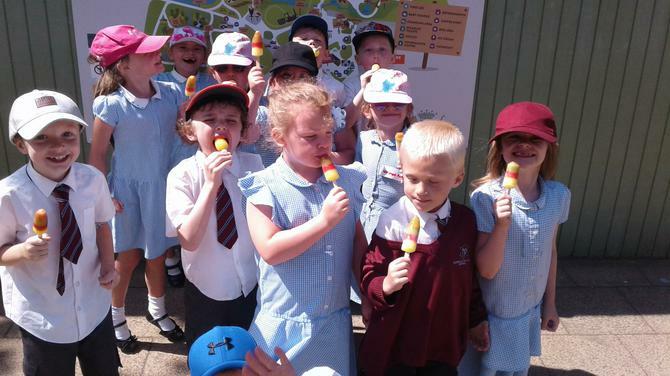 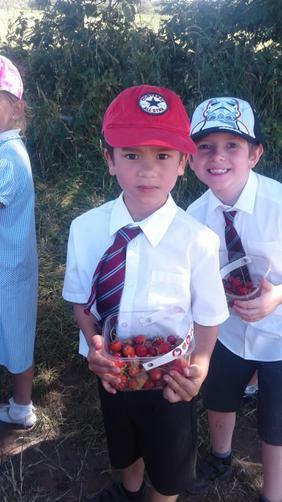 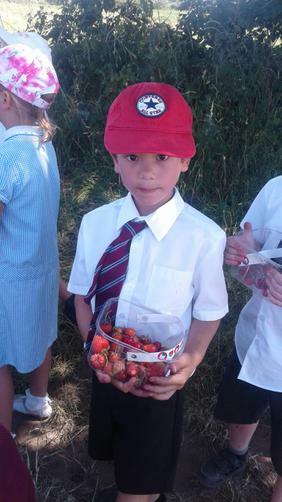 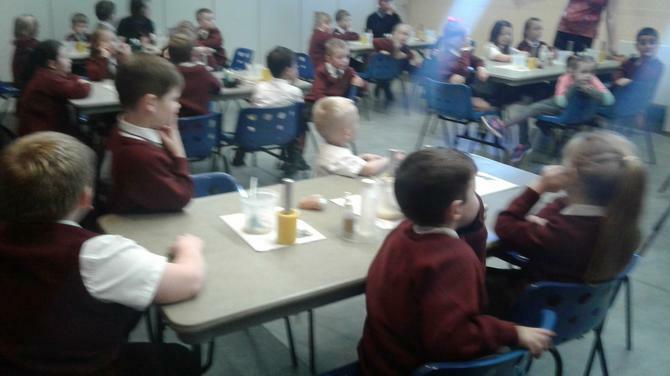 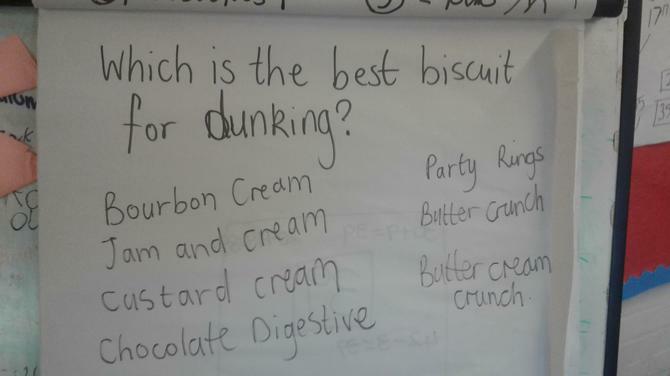 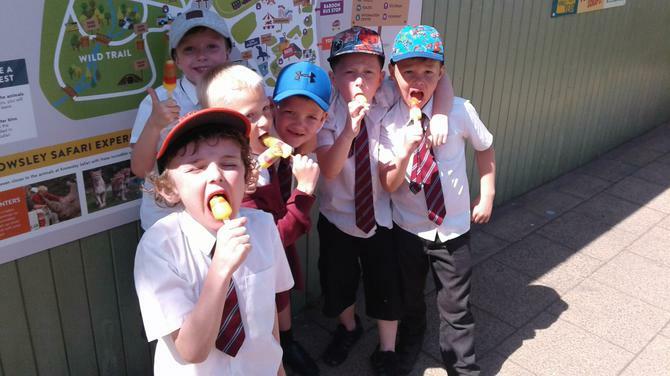 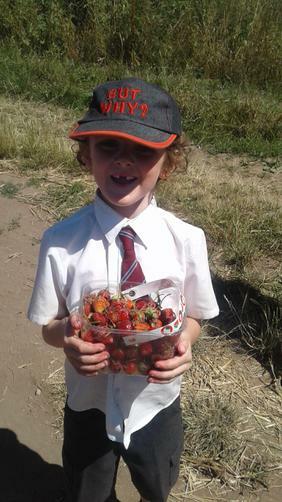 Year 2 had a lovely treat today. 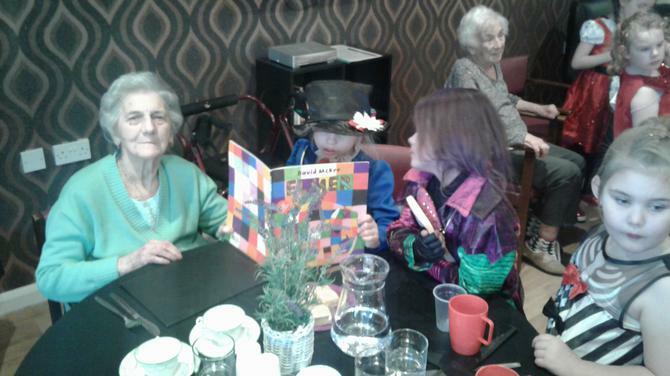 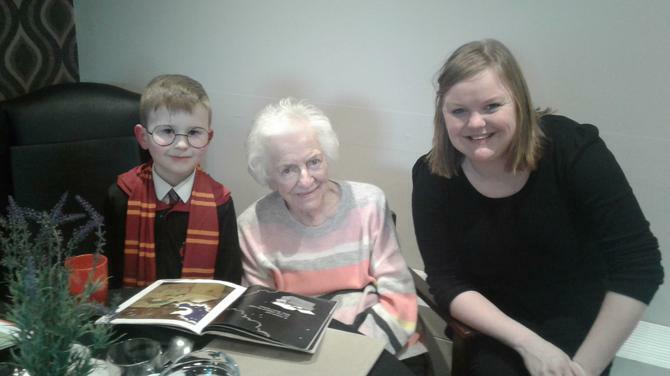 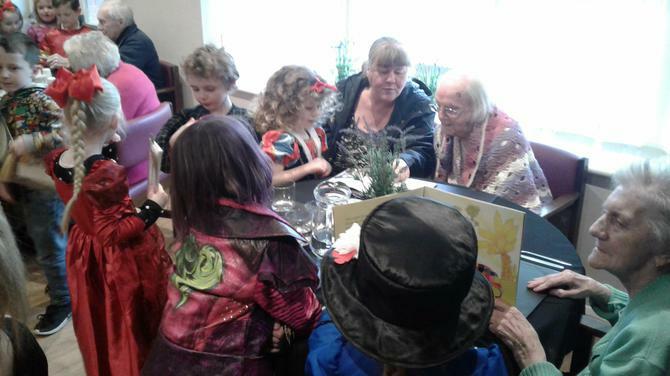 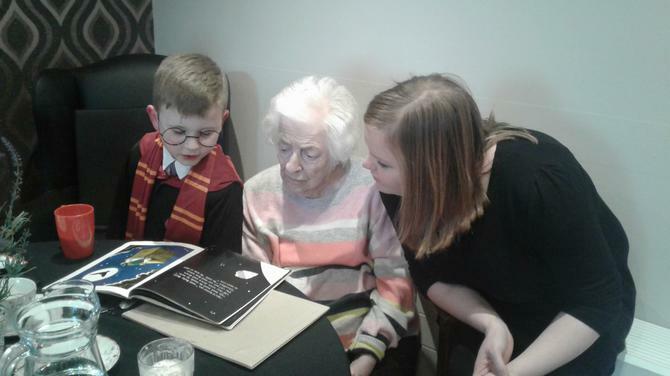 We got told a fantastic story about Big Brenda and the rainbow of colour. 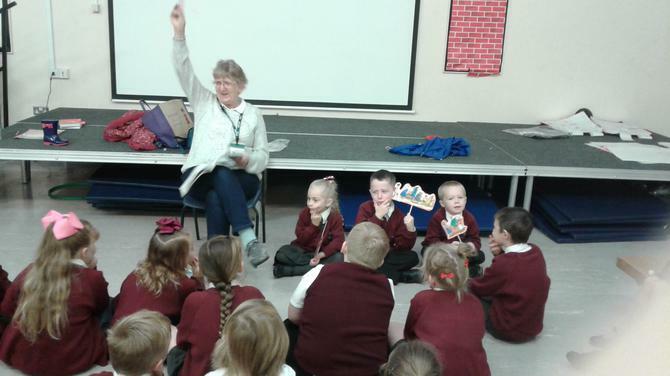 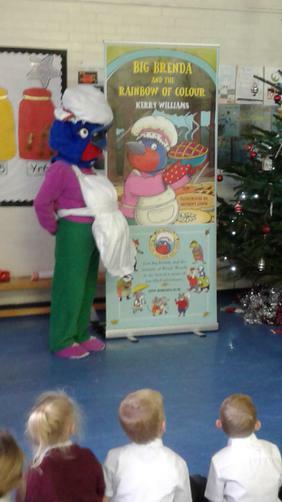 She told the children a story all about eating the colours of the rainbow. 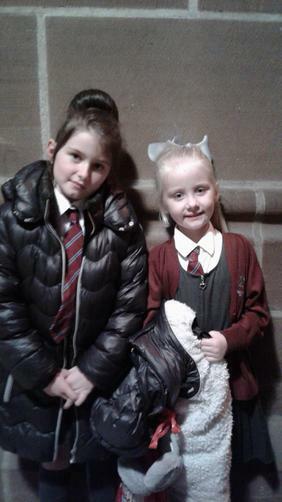 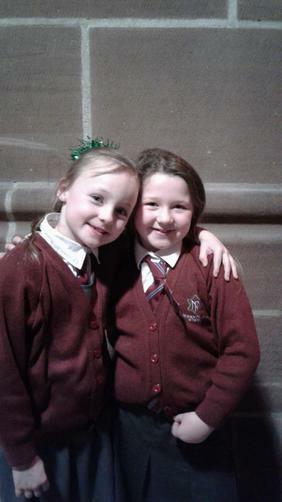 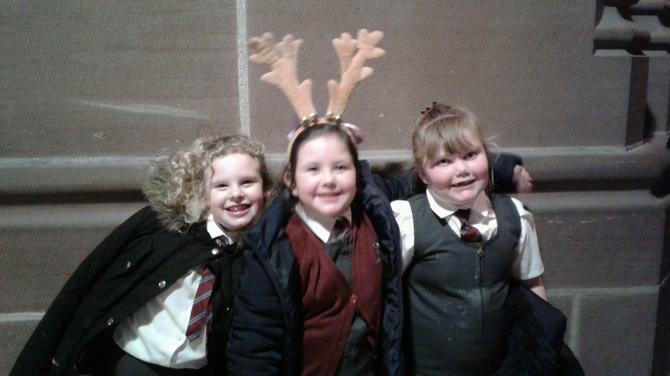 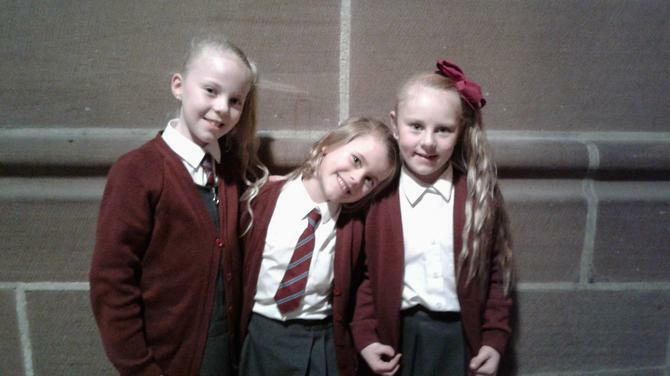 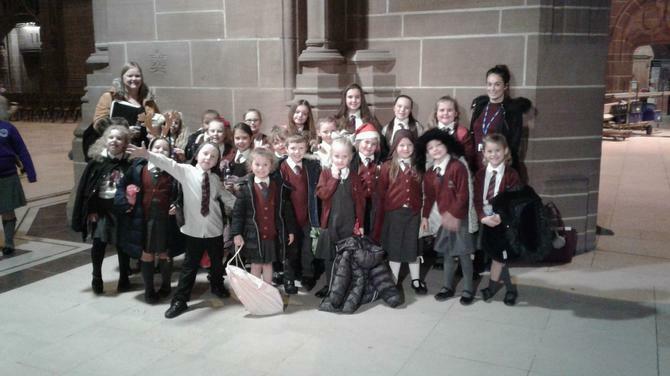 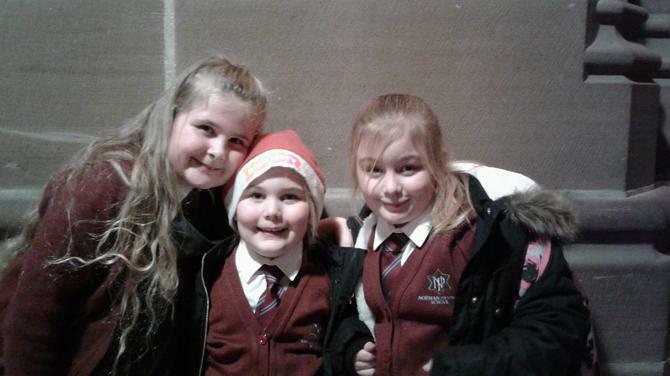 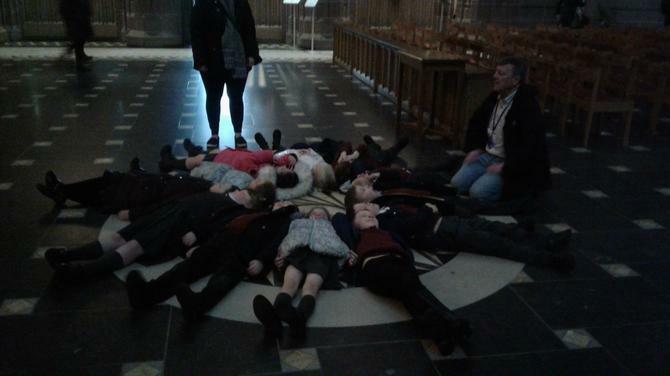 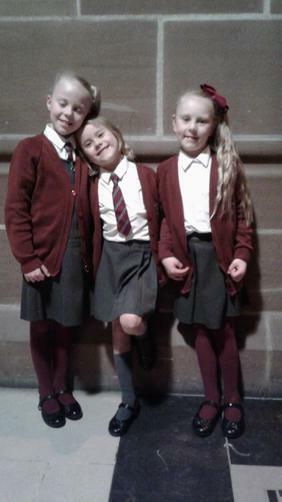 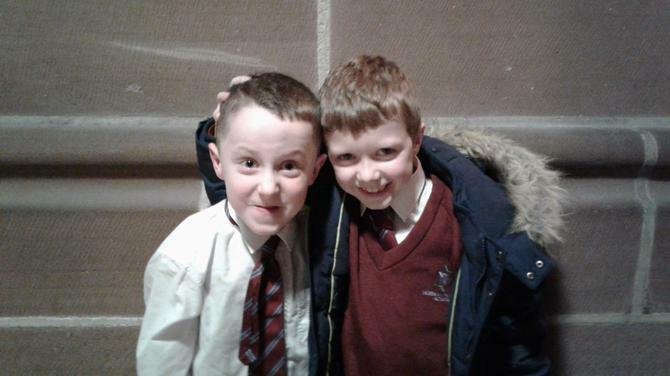 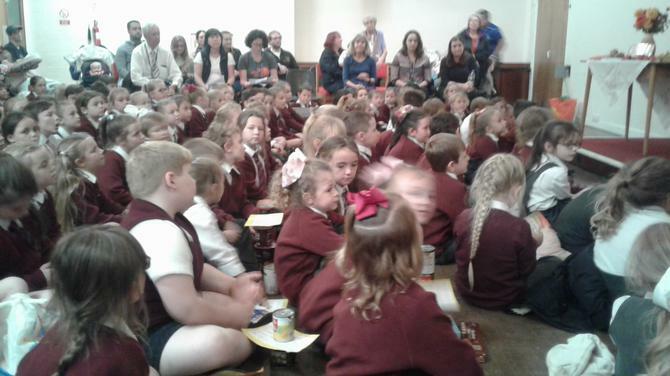 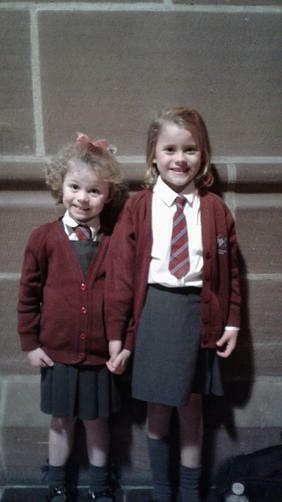 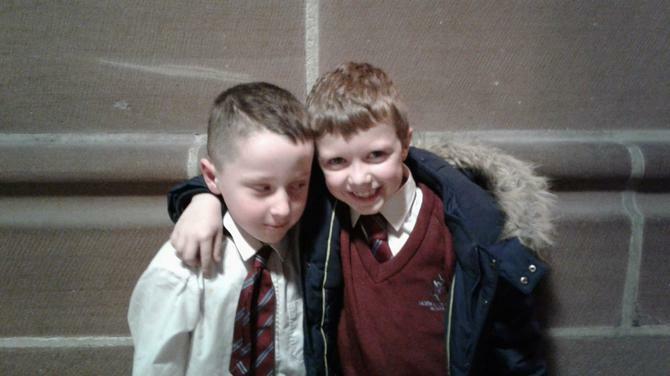 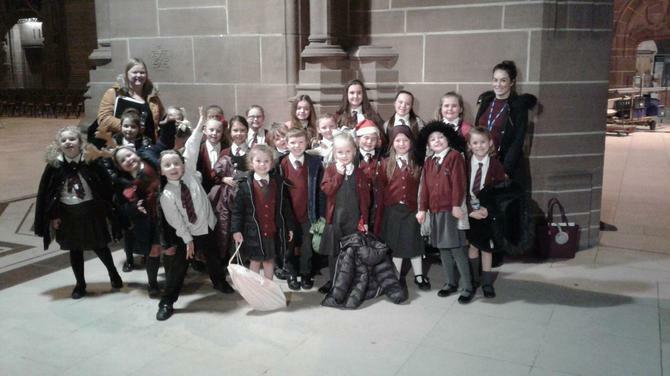 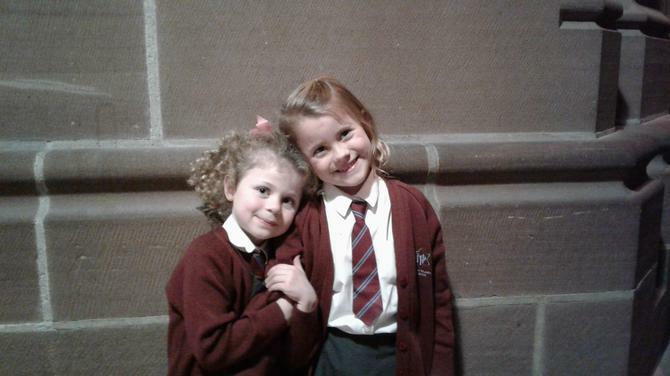 Some of the children in Year 2 sang in the school choir at the Anglican Cathedral. 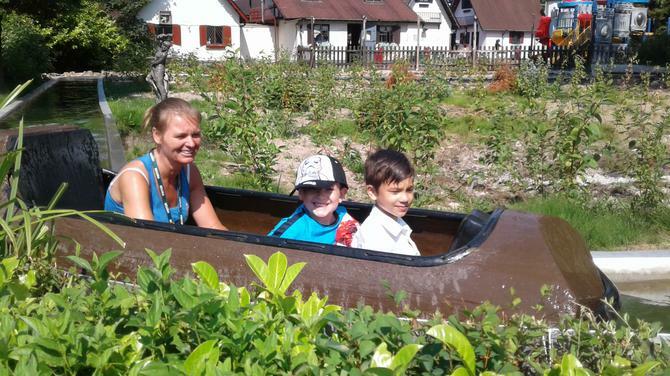 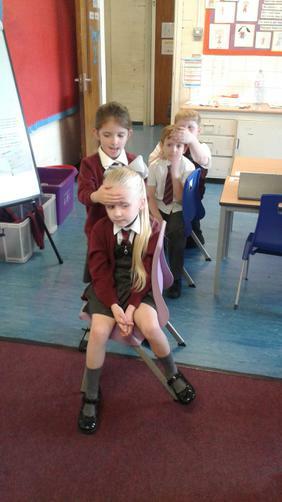 Massage for children with our family. 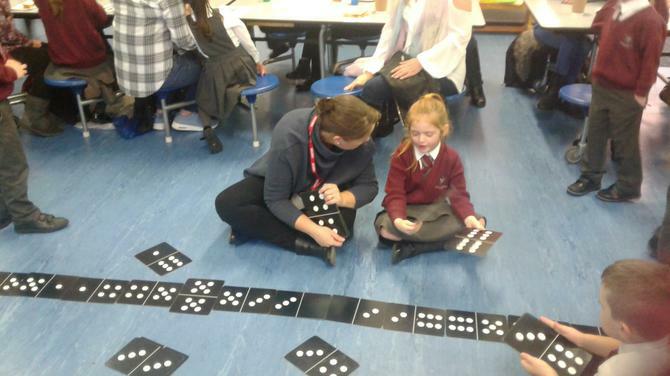 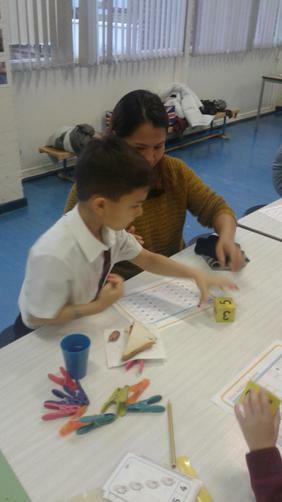 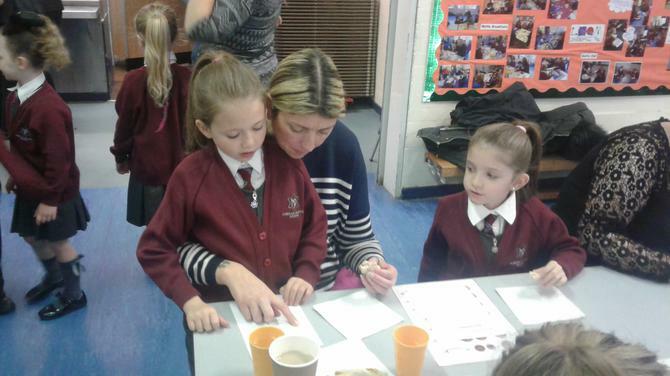 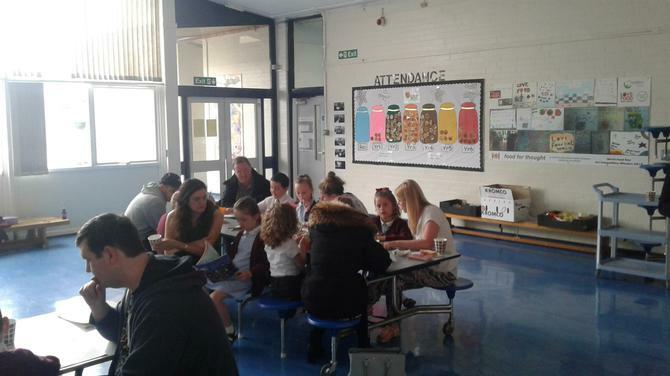 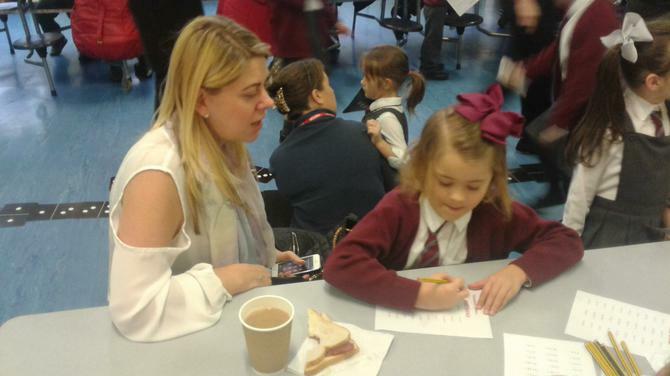 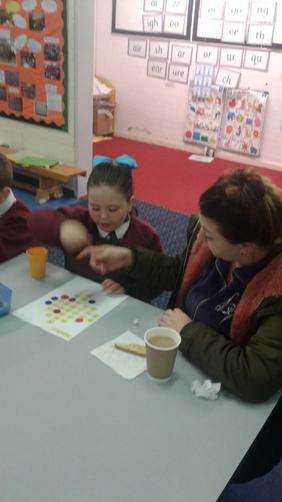 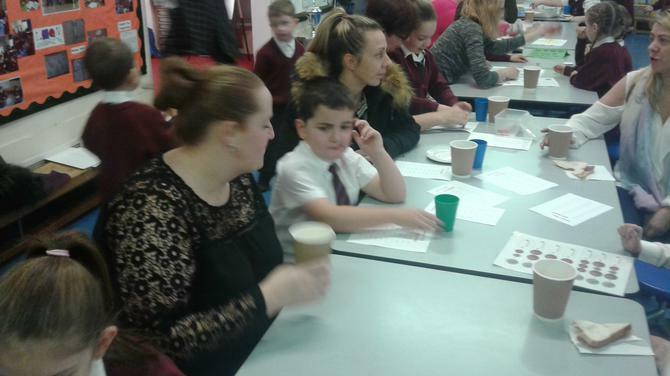 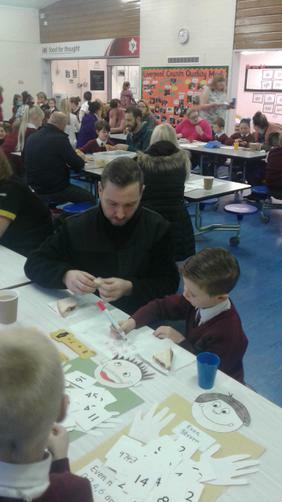 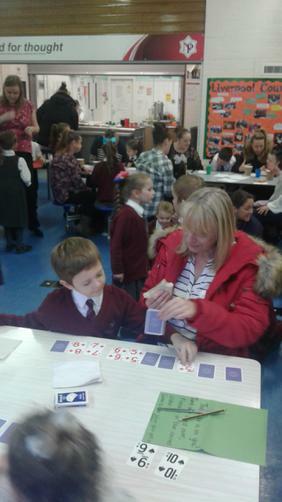 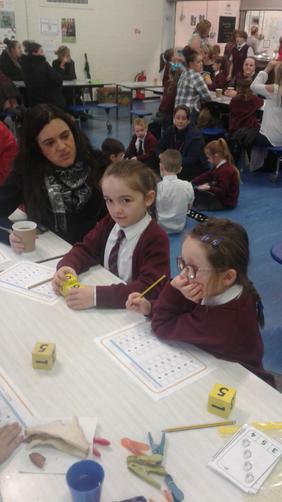 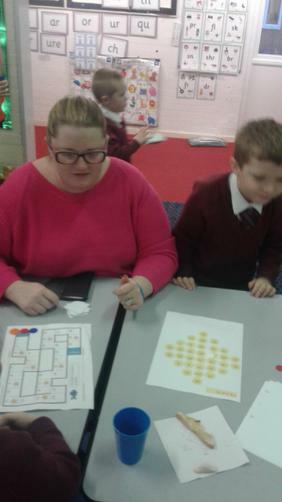 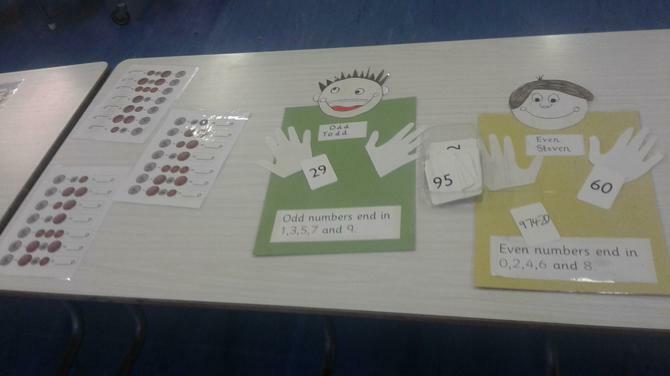 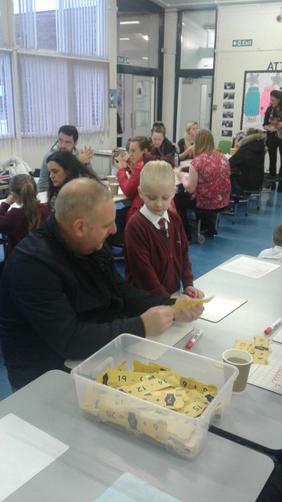 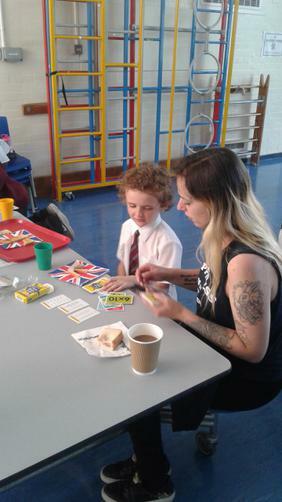 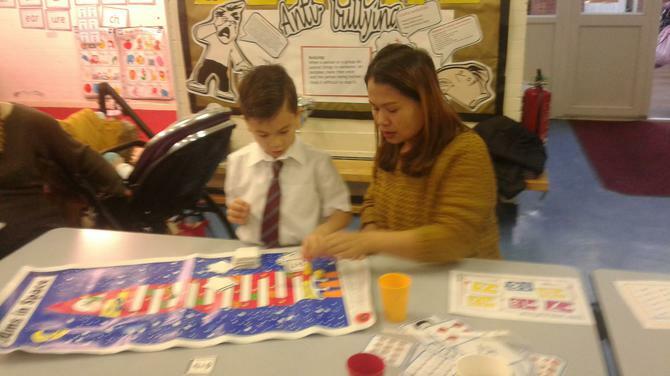 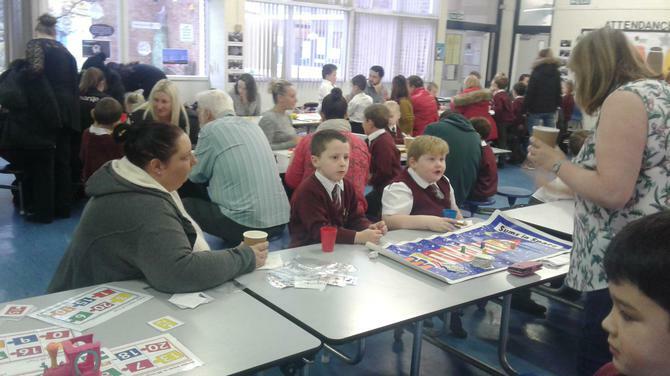 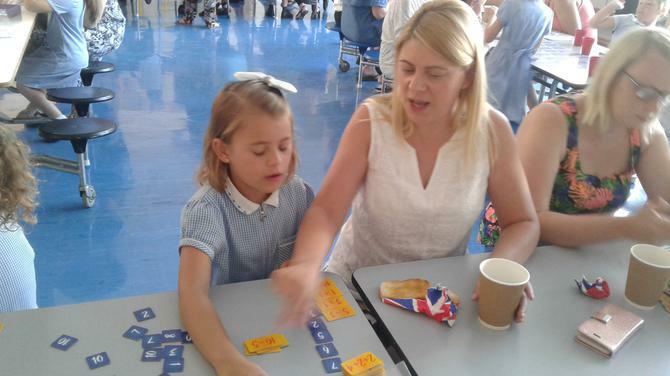 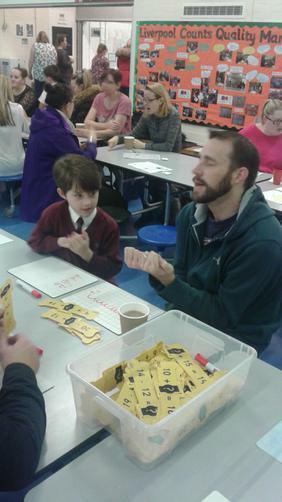 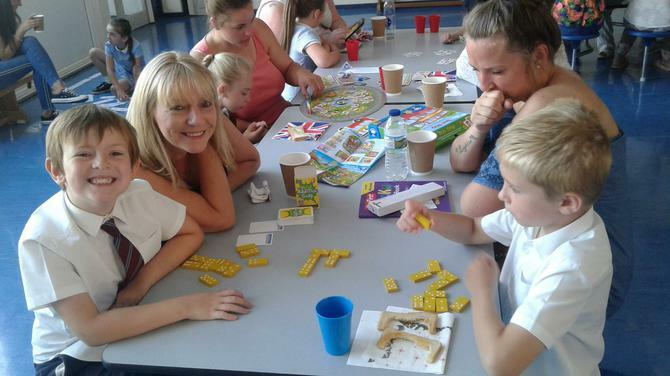 Thank you so much to all the parents who attended our Maths breakfast this morning. 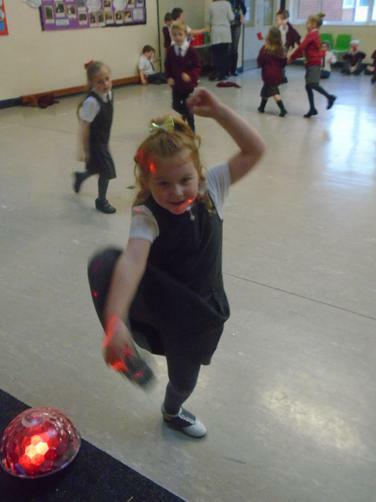 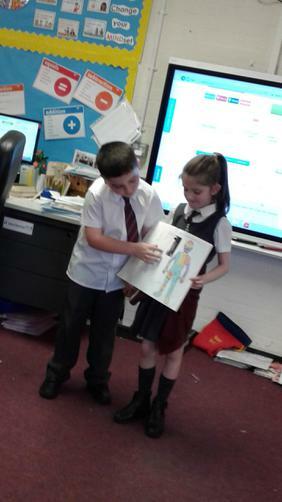 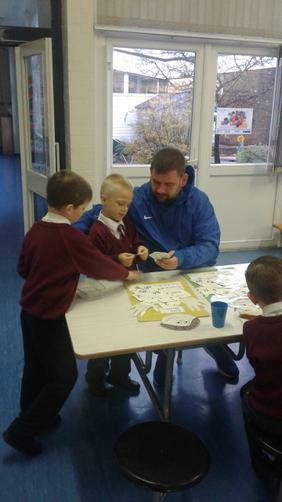 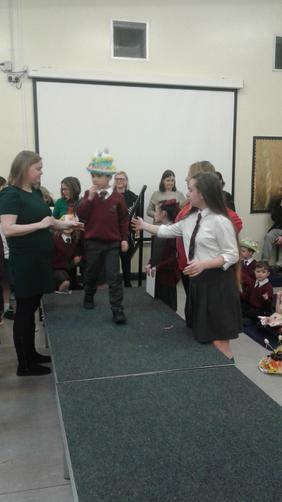 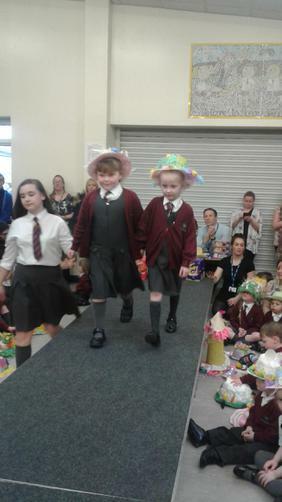 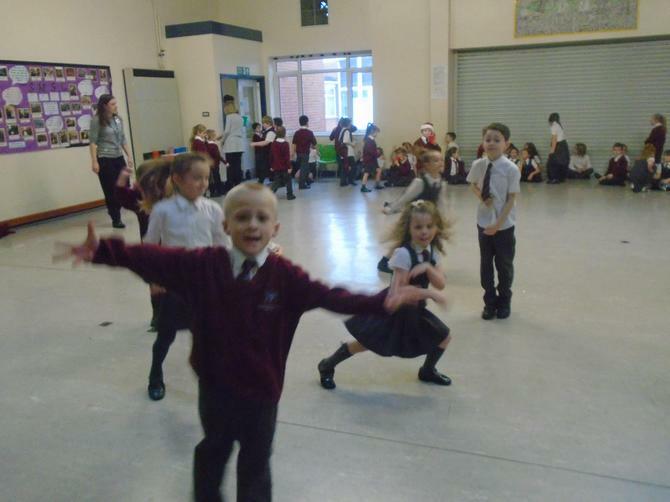 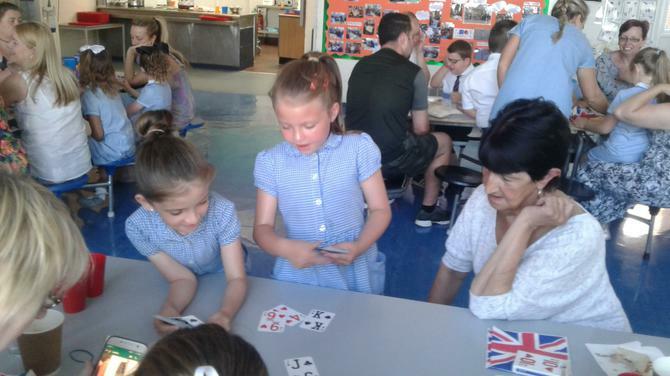 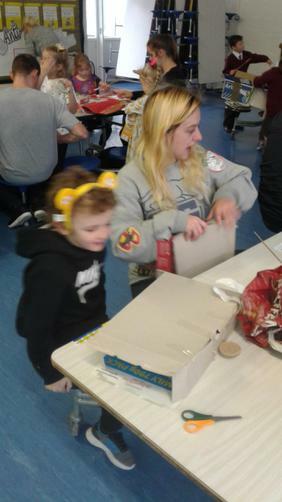 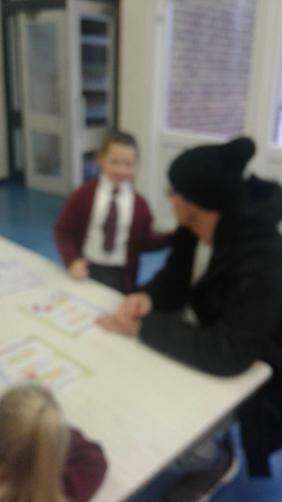 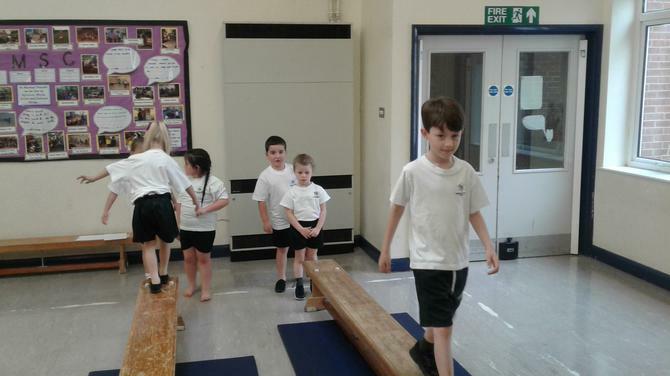 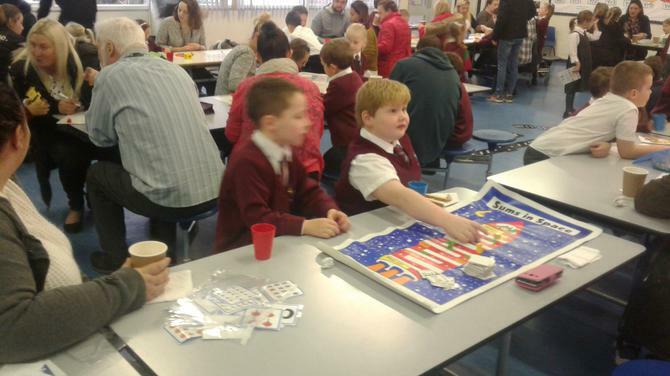 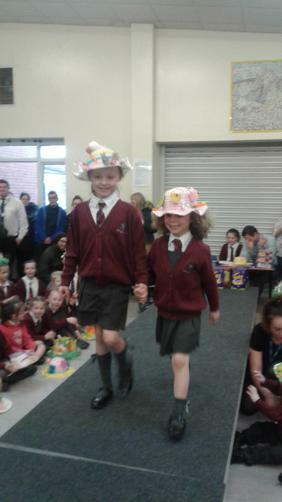 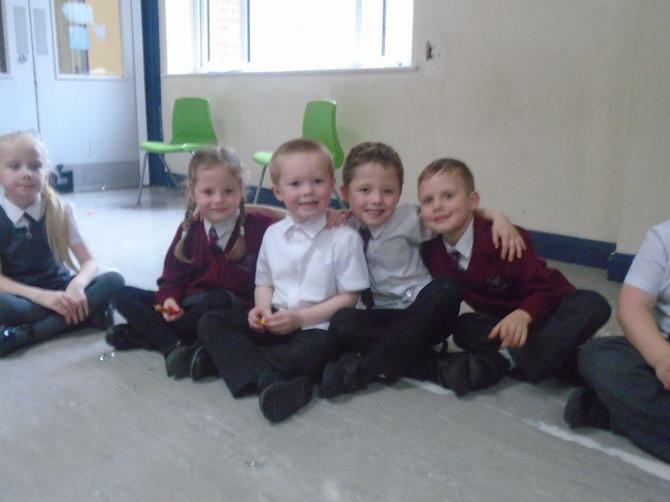 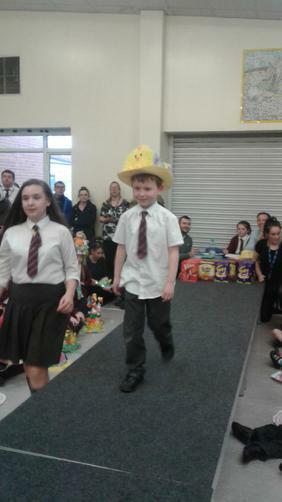 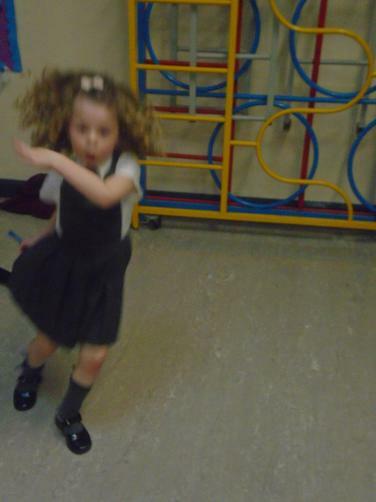 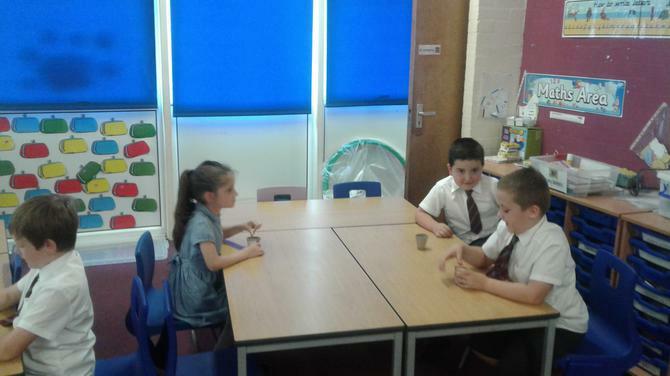 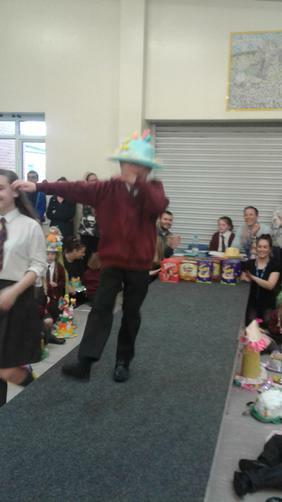 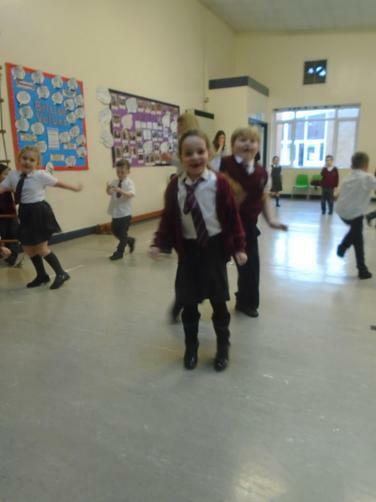 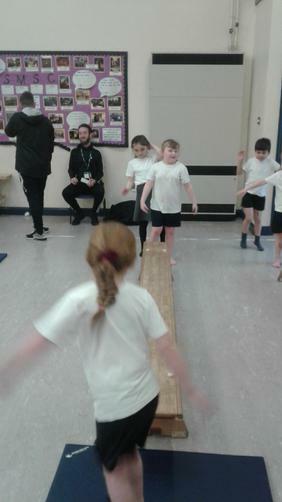 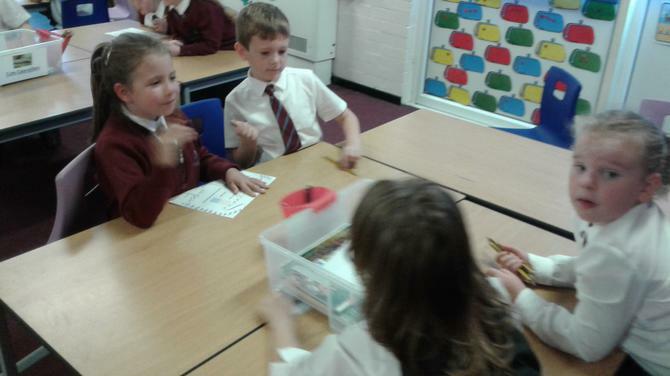 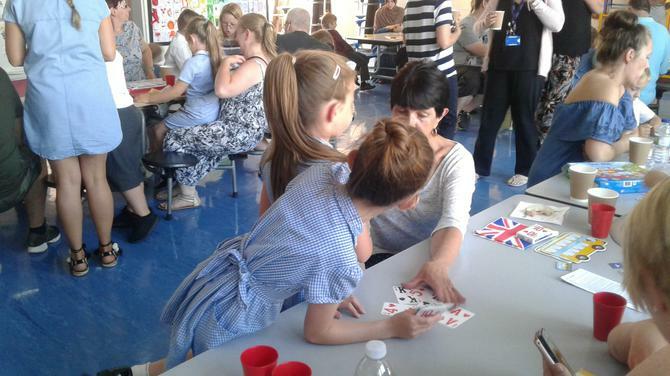 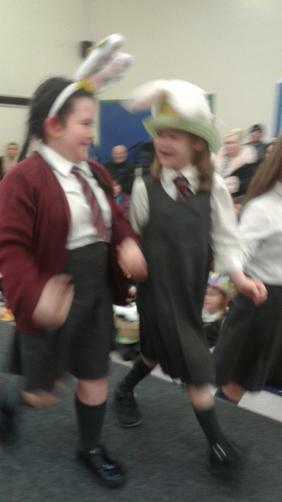 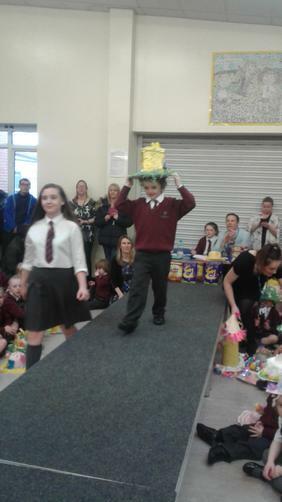 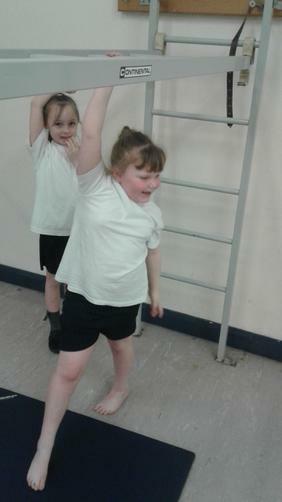 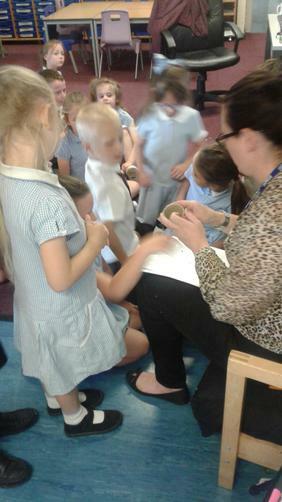 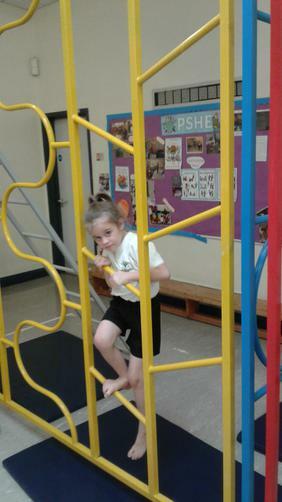 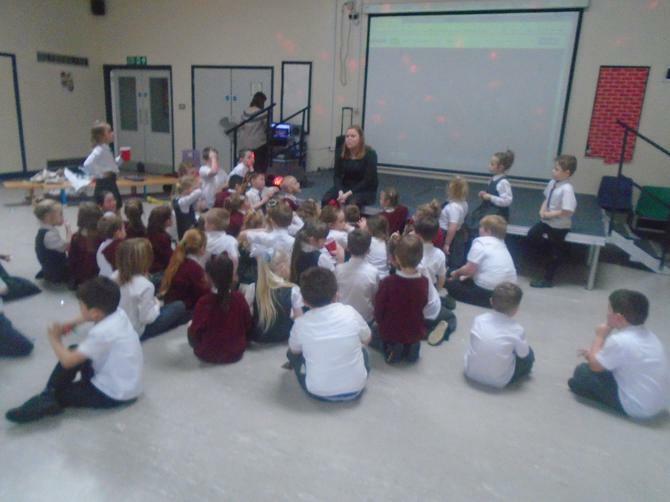 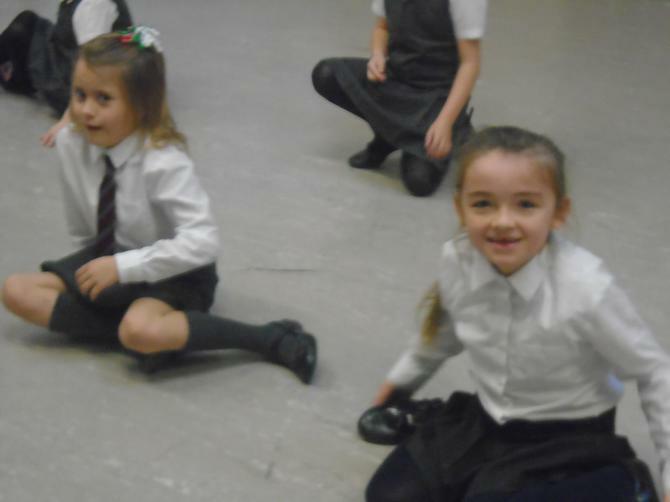 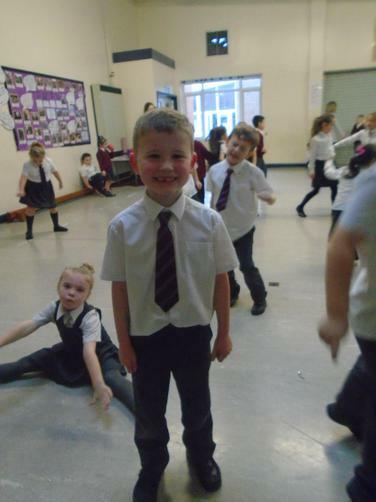 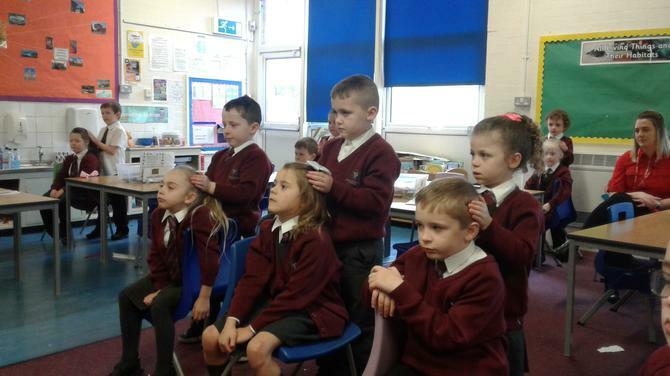 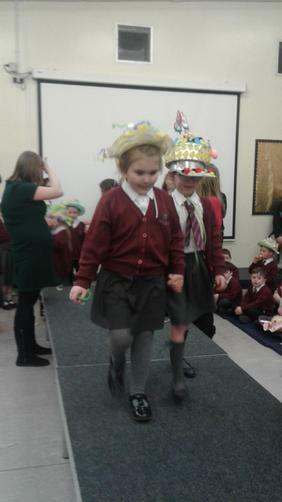 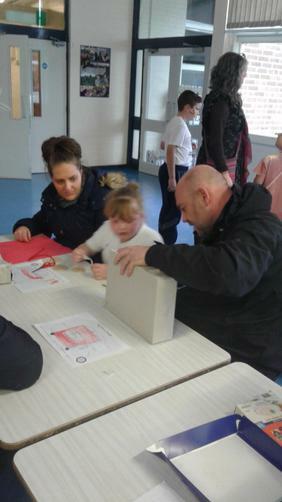 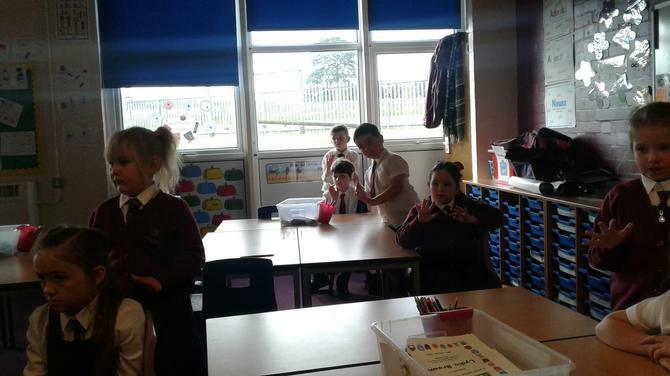 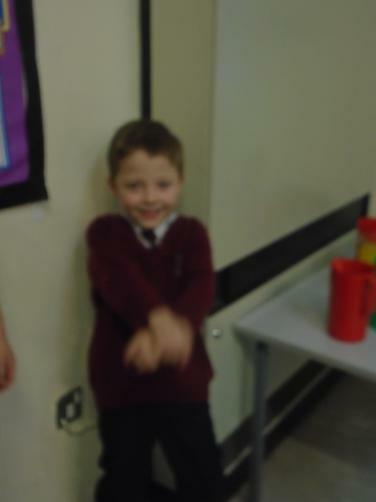 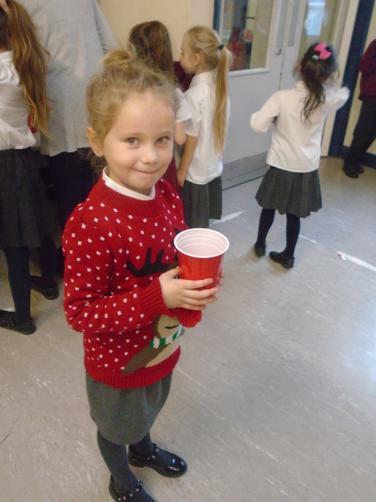 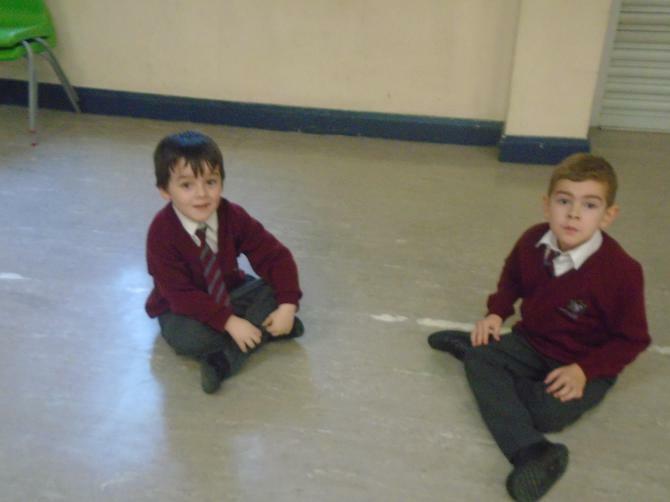 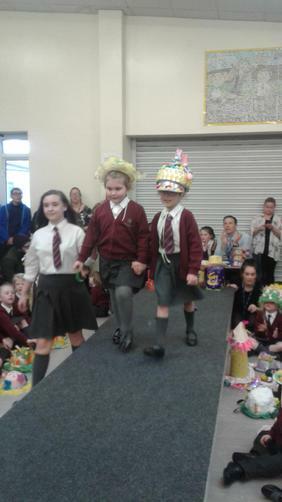 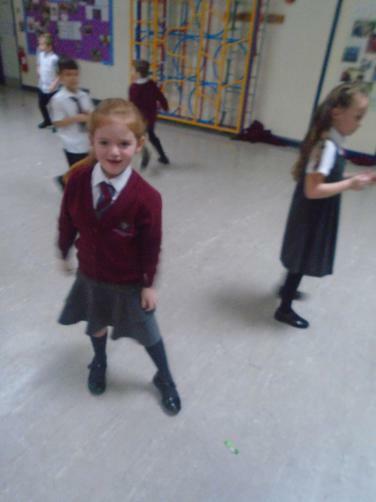 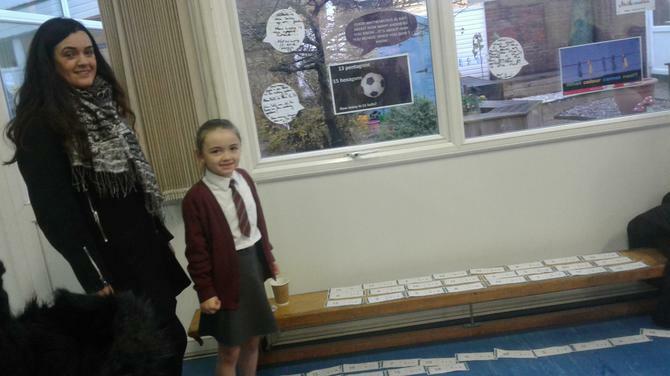 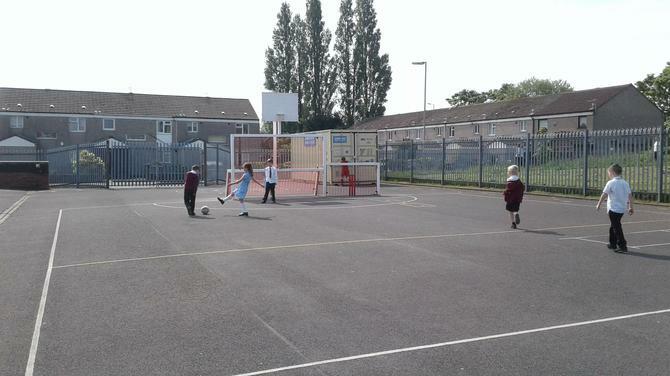 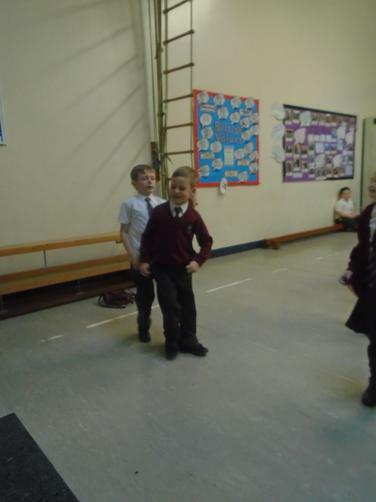 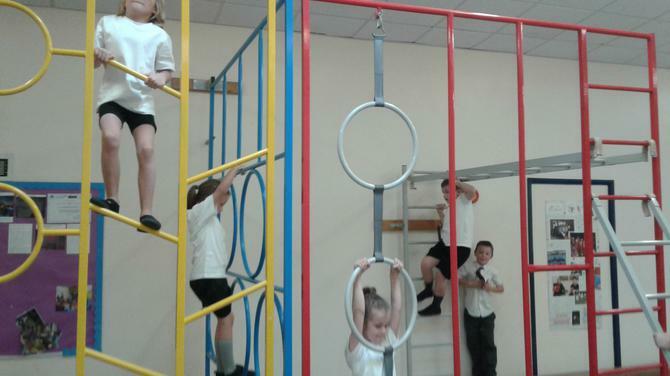 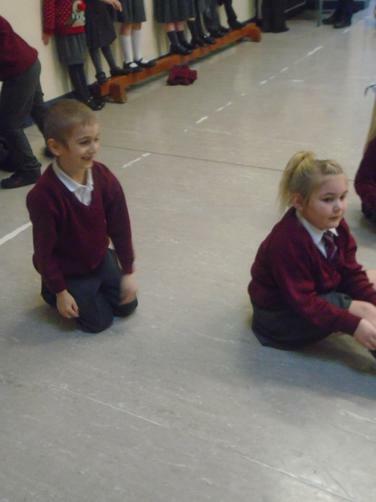 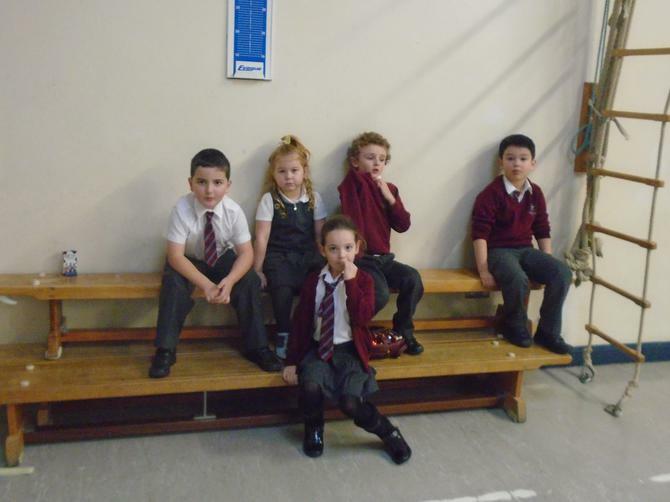 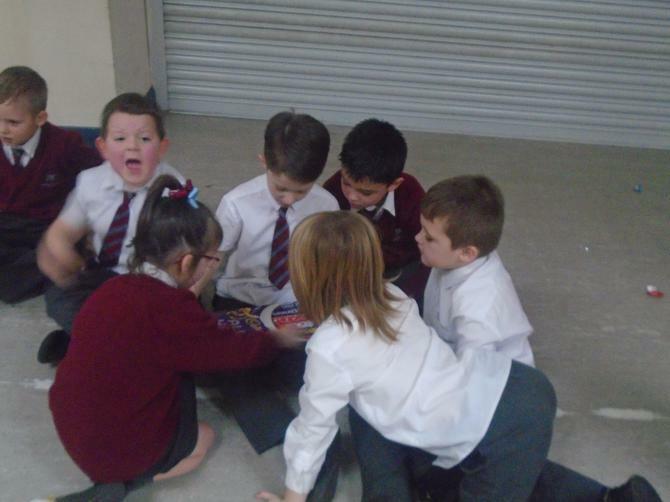 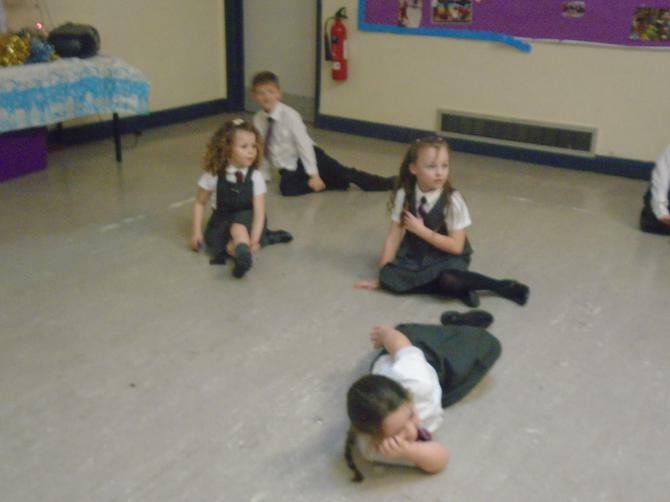 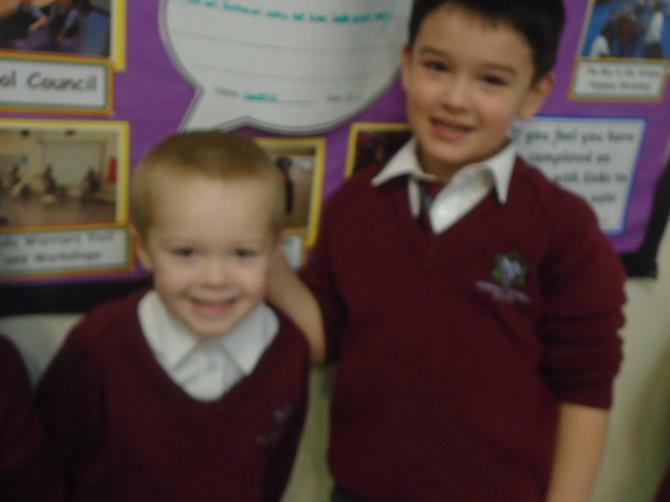 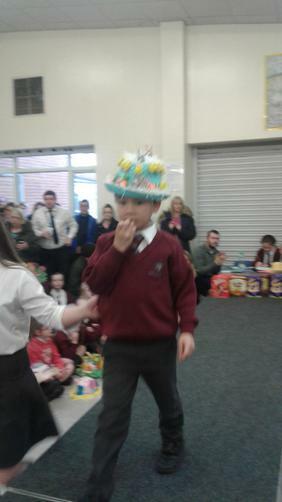 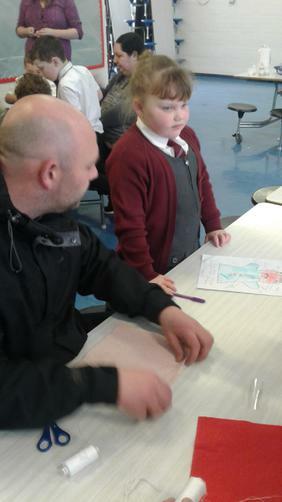 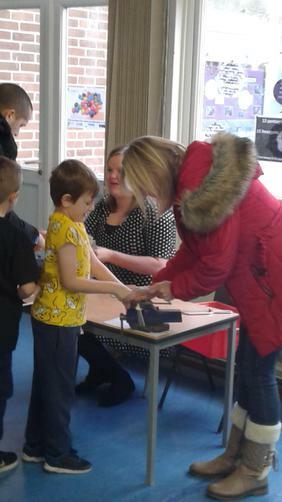 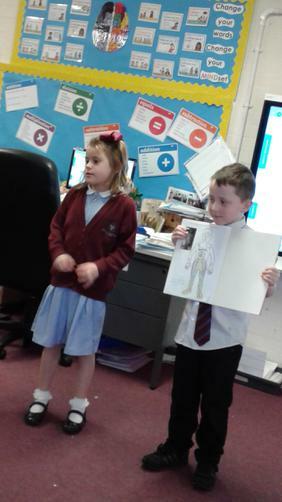 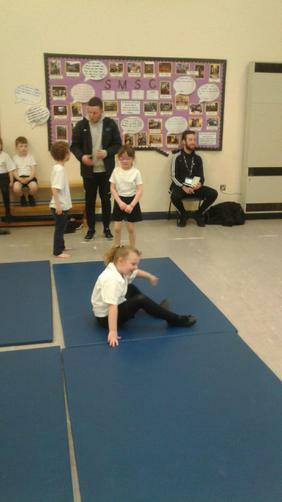 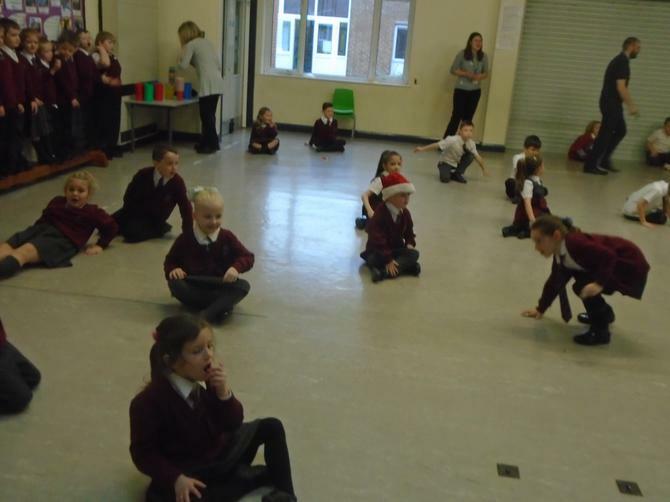 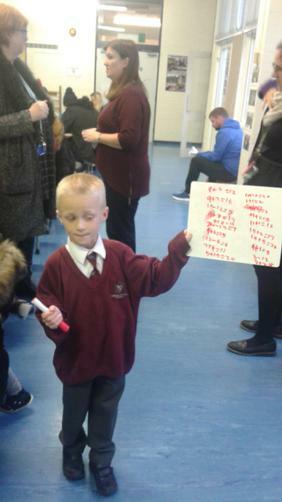 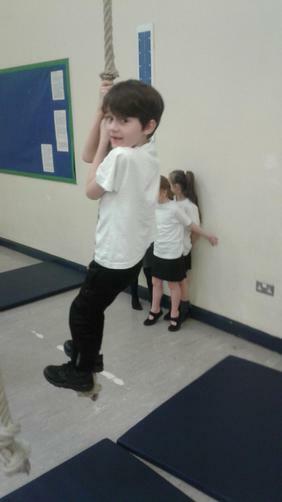 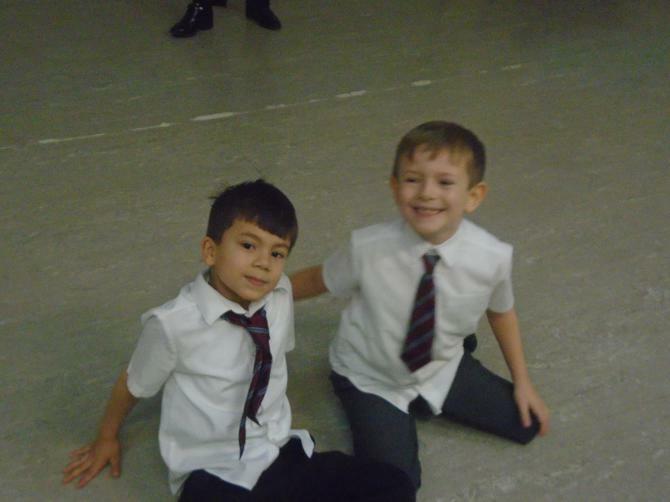 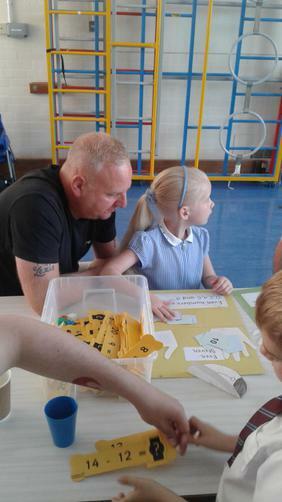 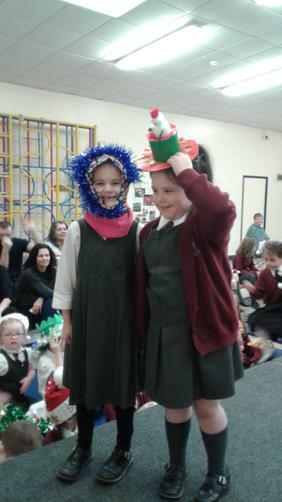 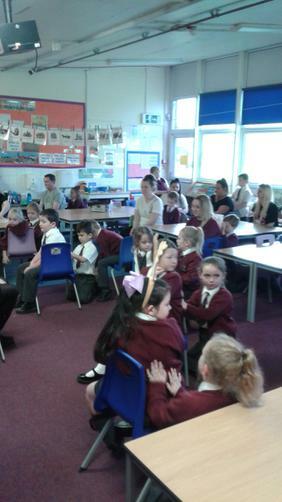 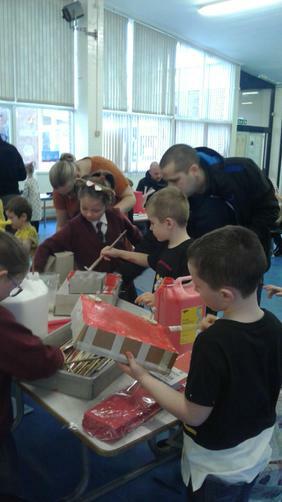 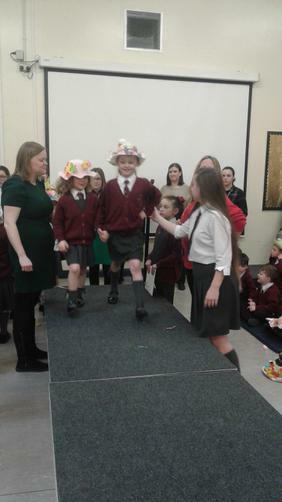 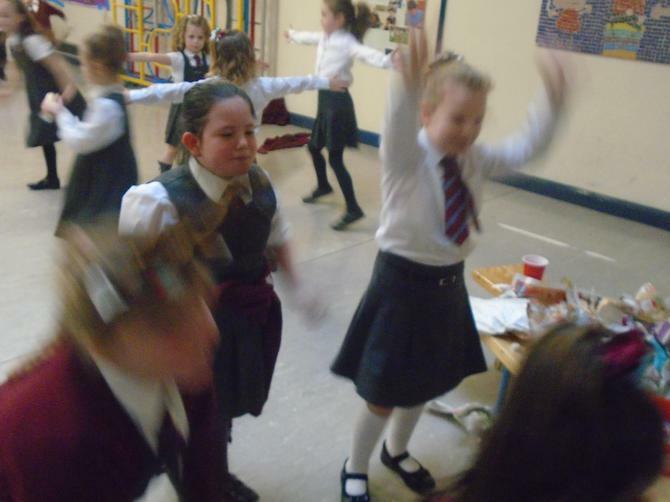 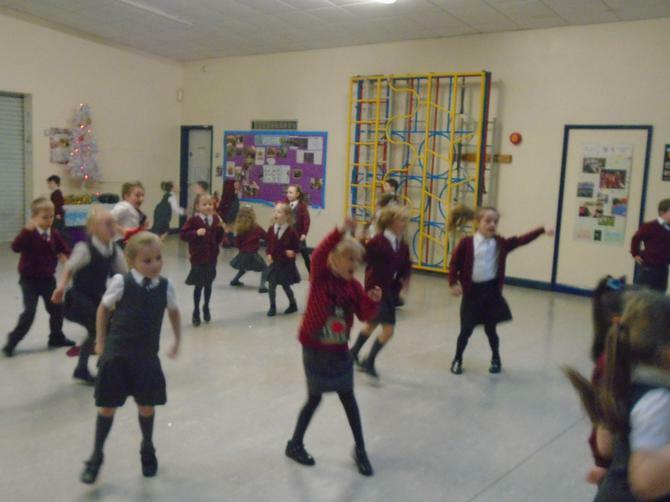 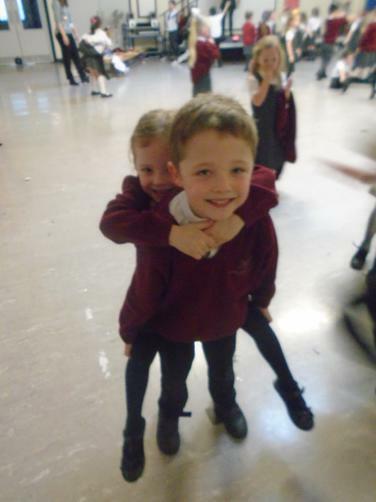 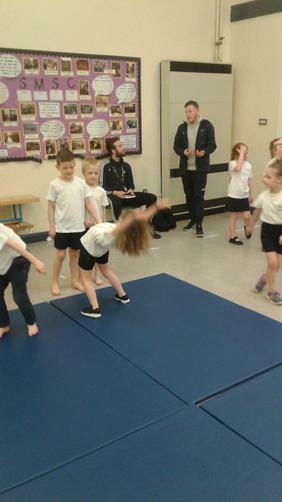 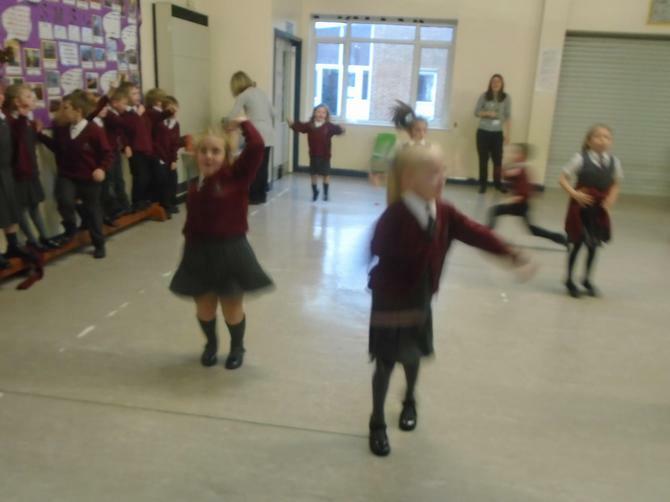 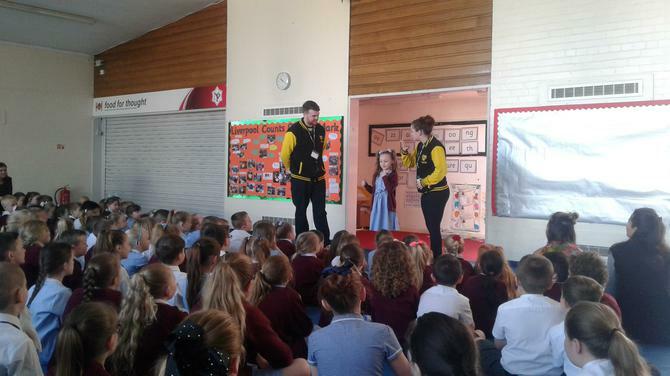 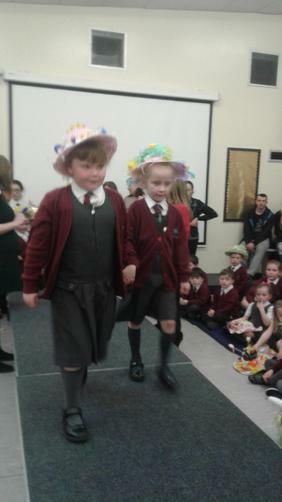 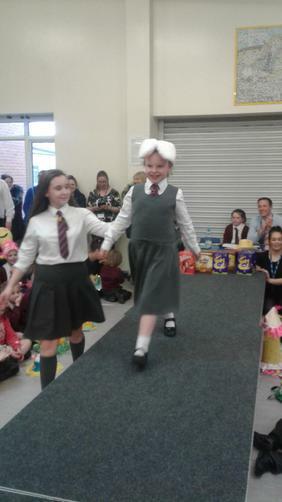 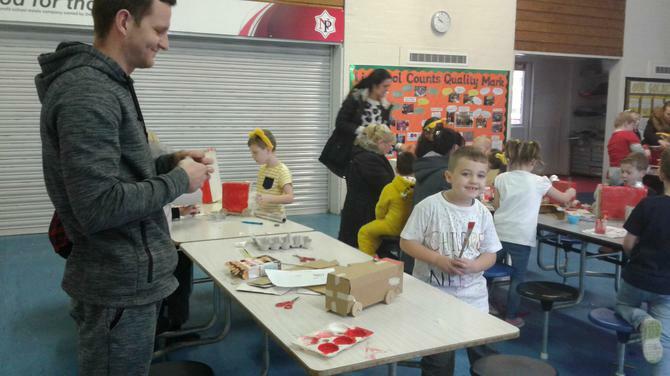 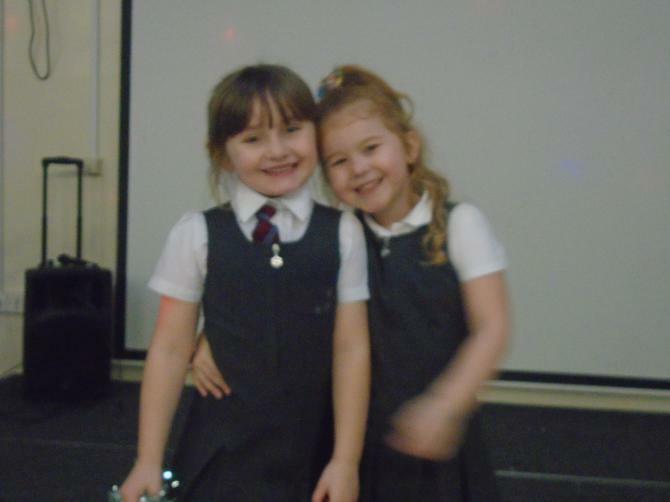 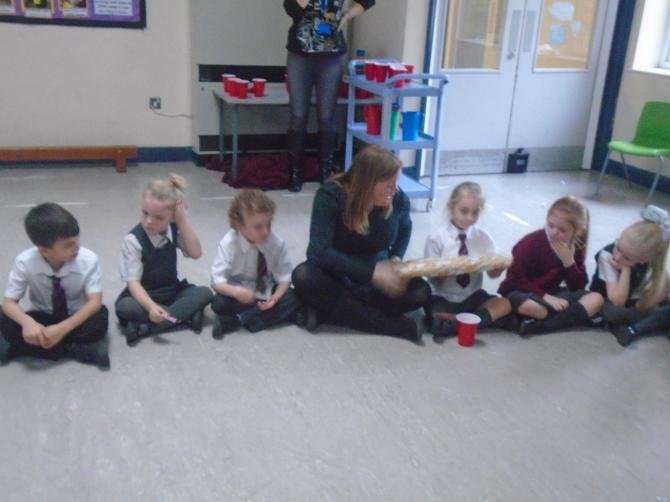 The children enjoyed showing you all the activities and games that we play in school. 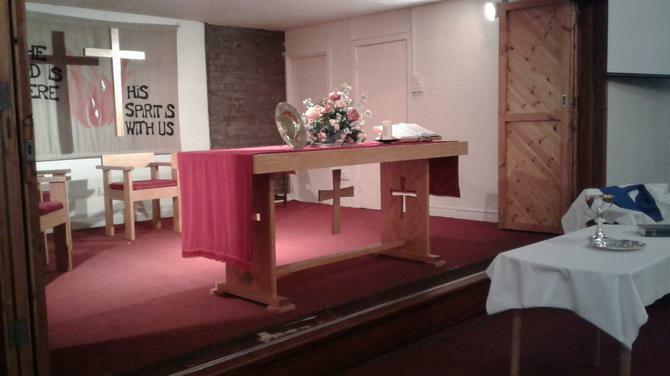 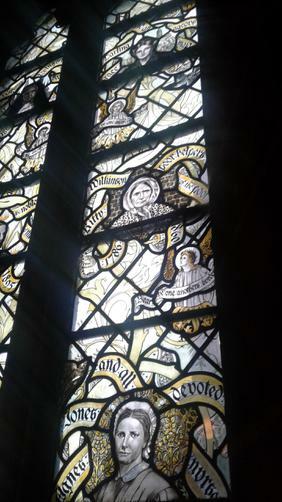 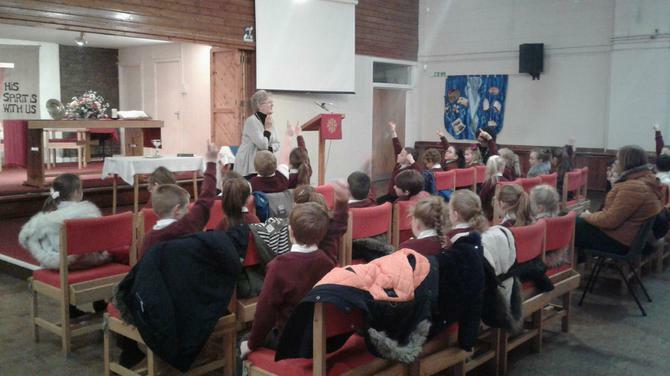 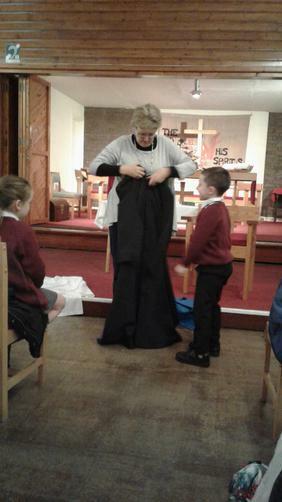 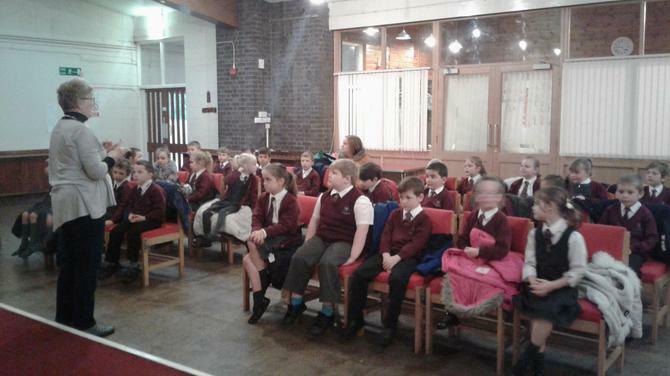 Today we visited Christ Church to learn all about the christian faith and the things we see when we visit a church. 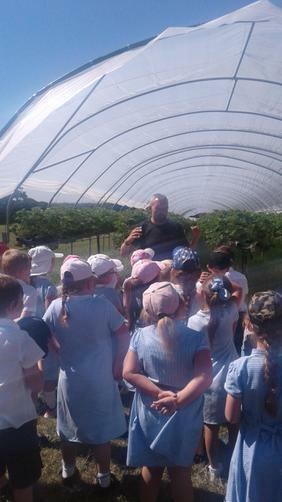 Thank you to Chris from Christ Church who gave us all the information. 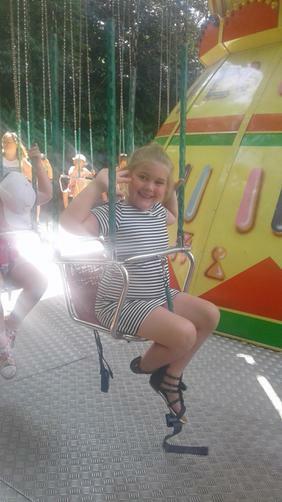 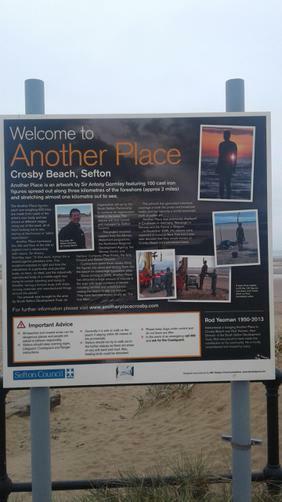 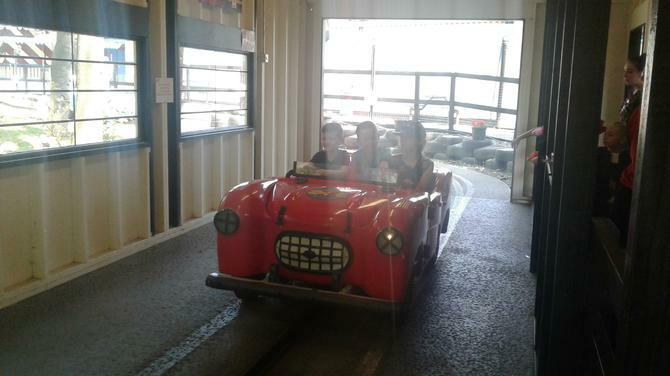 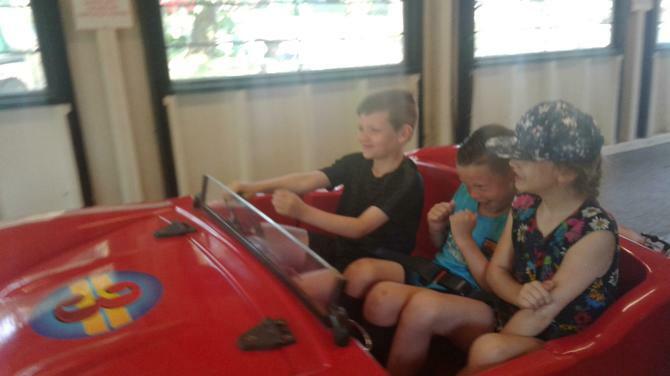 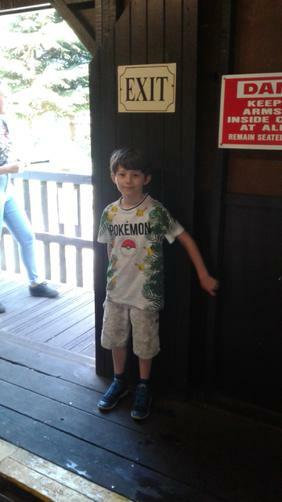 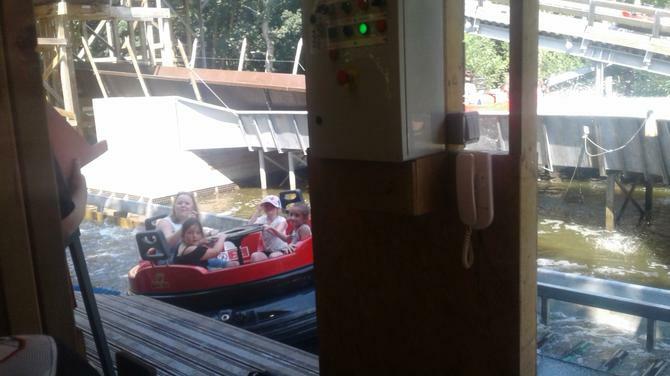 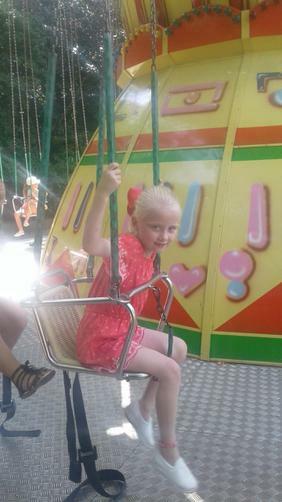 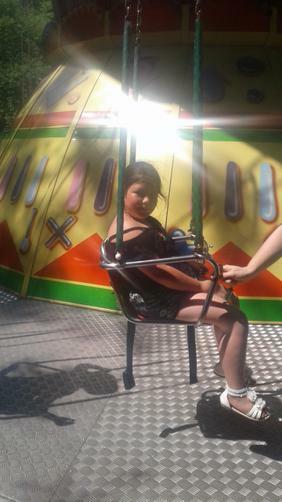 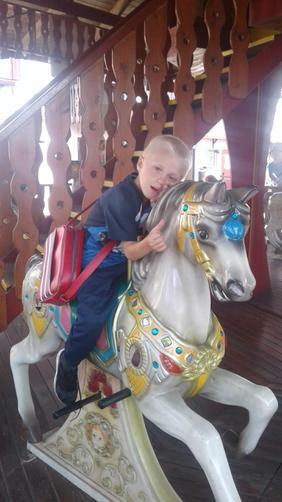 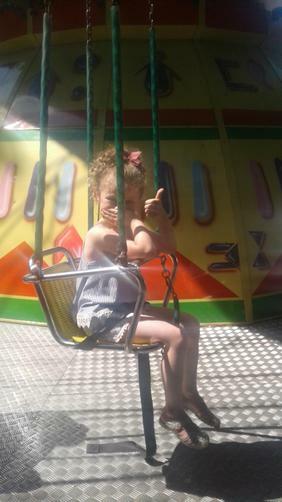 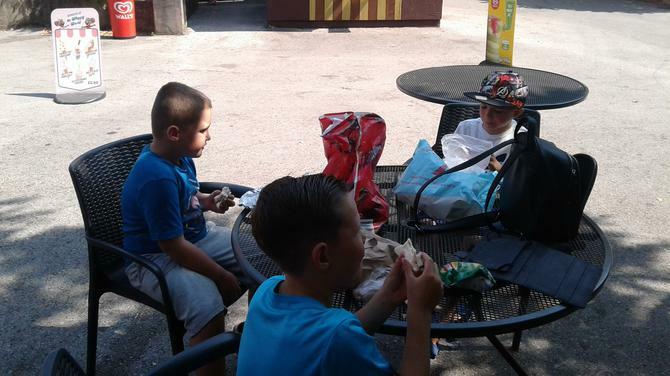 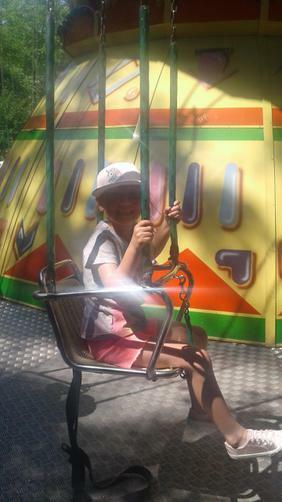 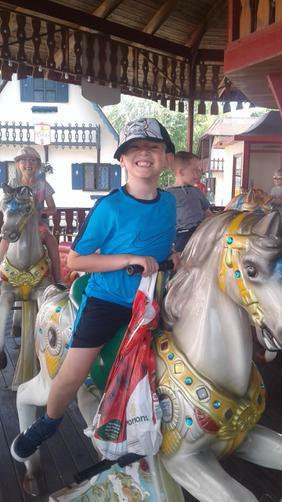 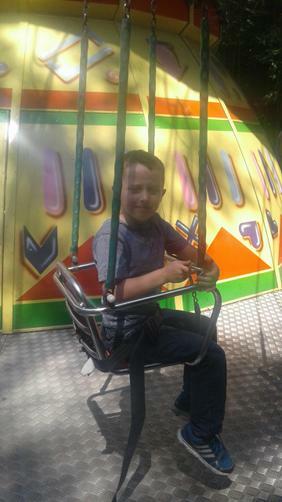 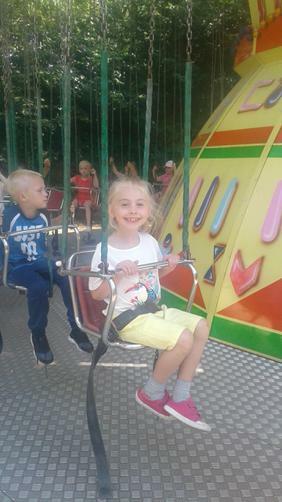 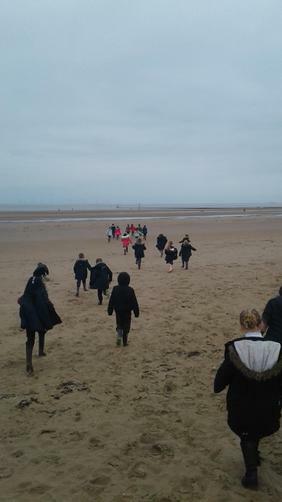 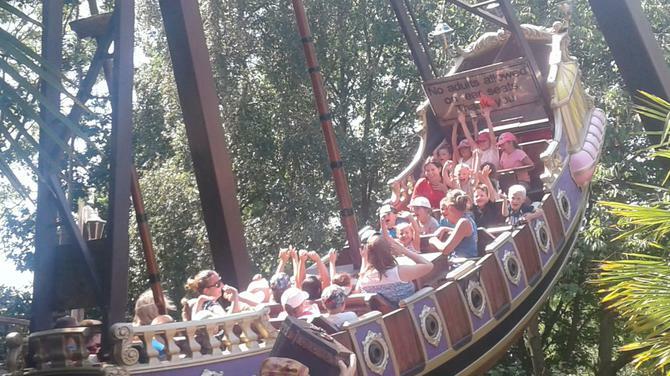 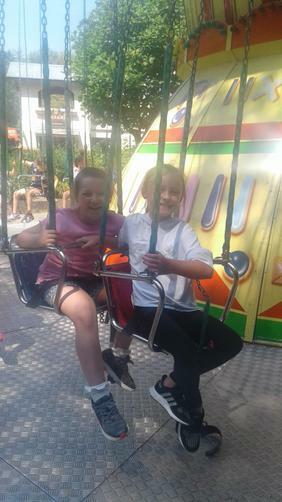 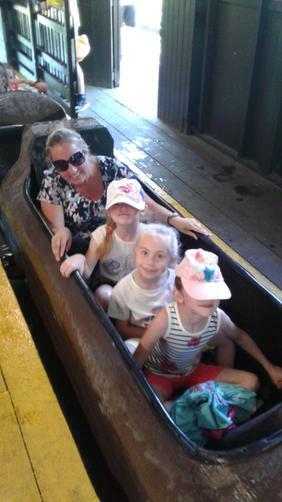 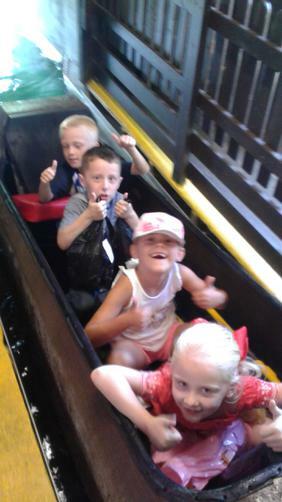 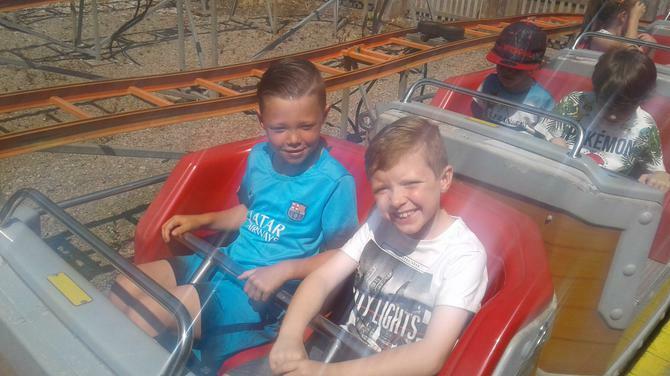 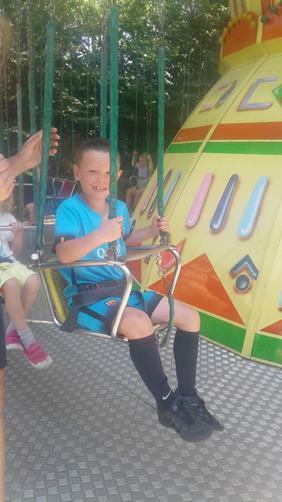 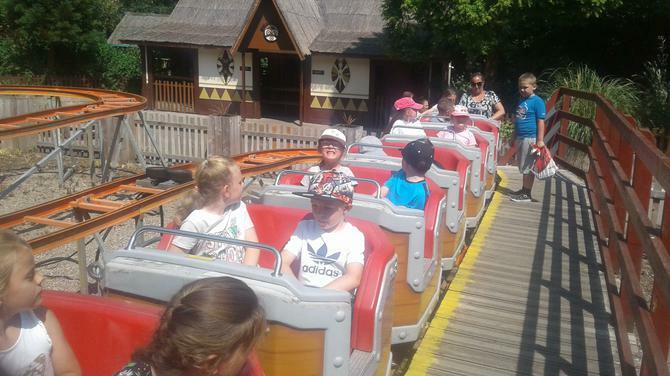 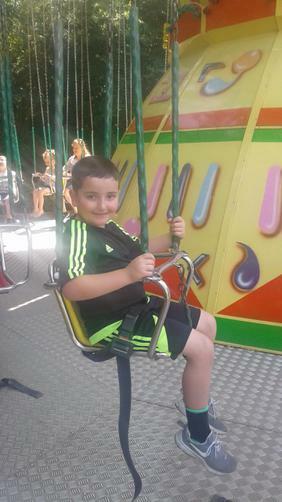 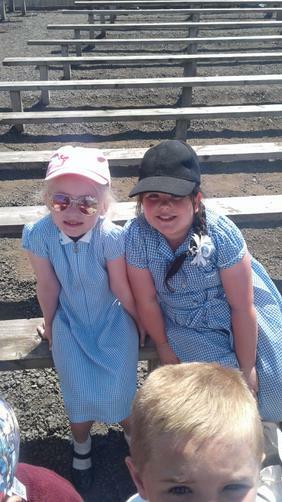 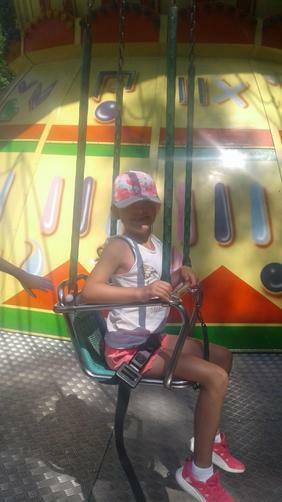 We had a great day today on our school trip. 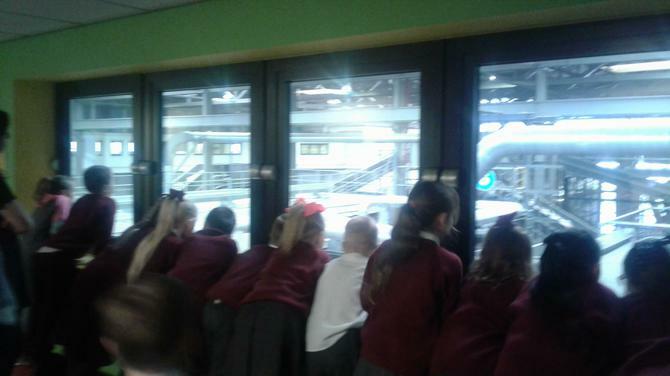 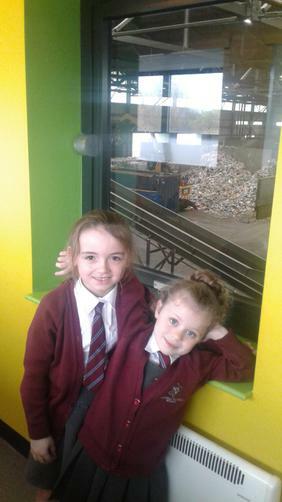 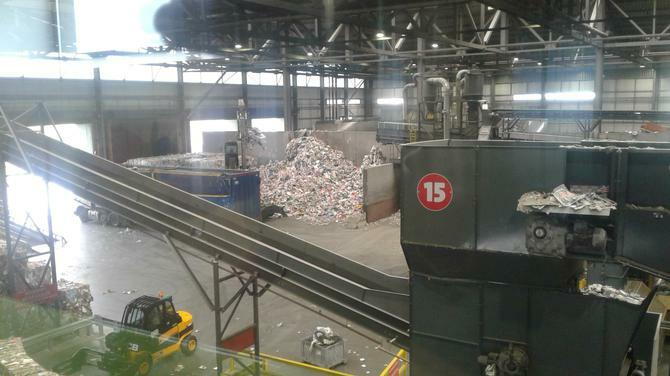 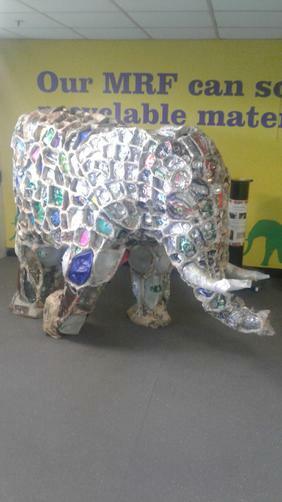 First, we visited Veolia, a recycling centre and learnt all about materials. 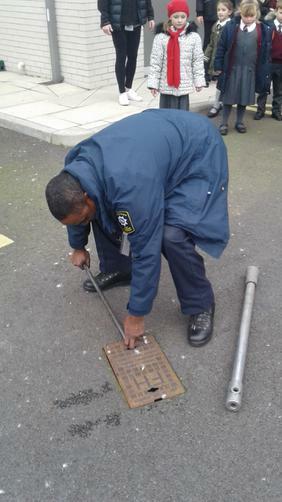 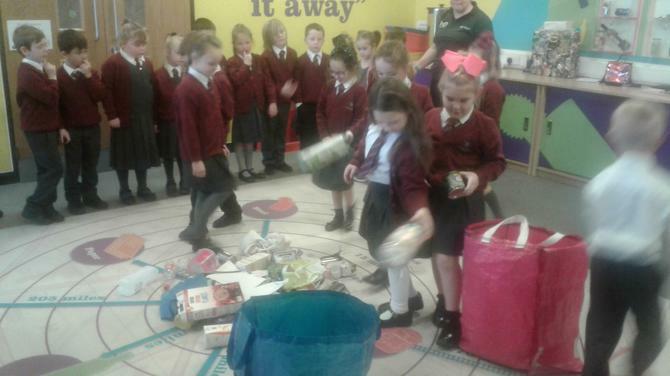 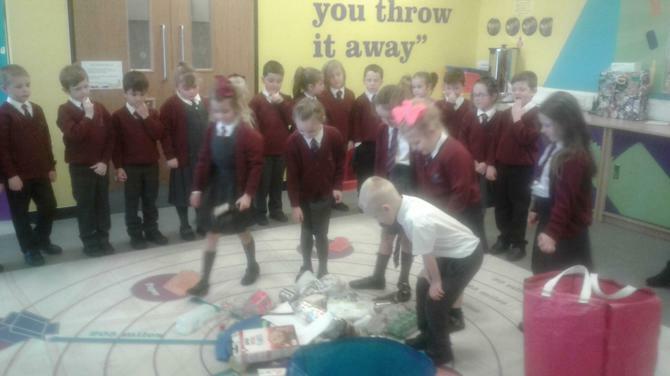 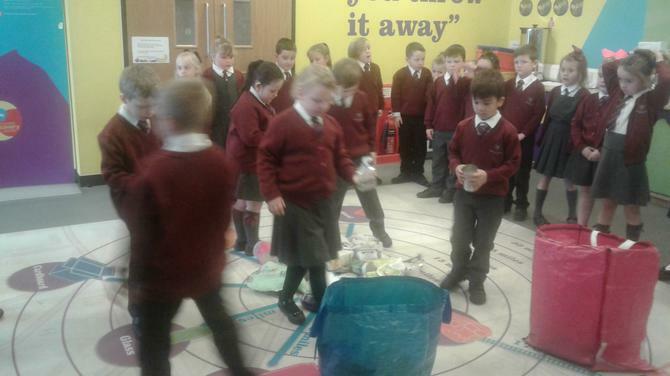 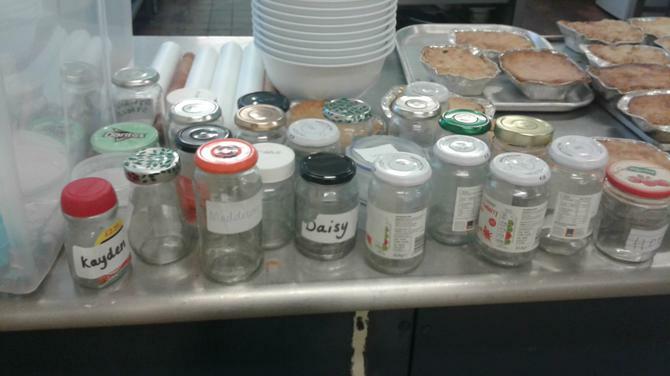 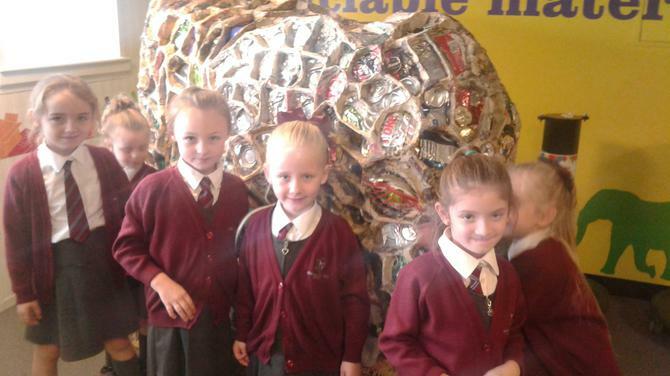 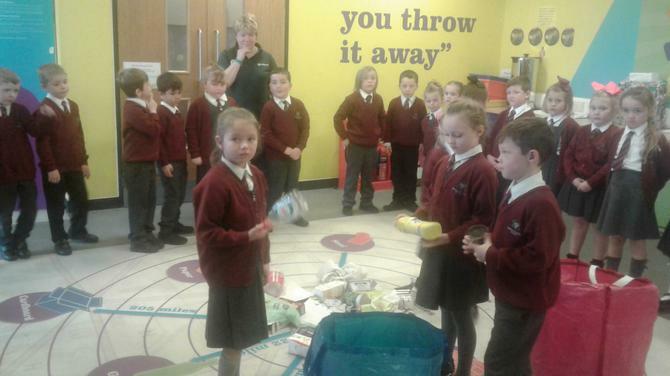 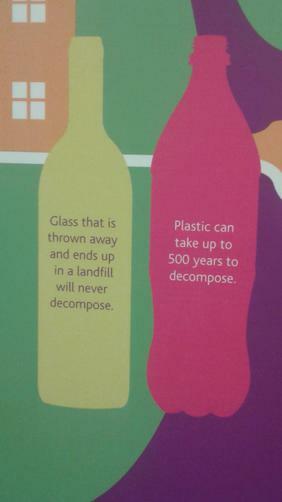 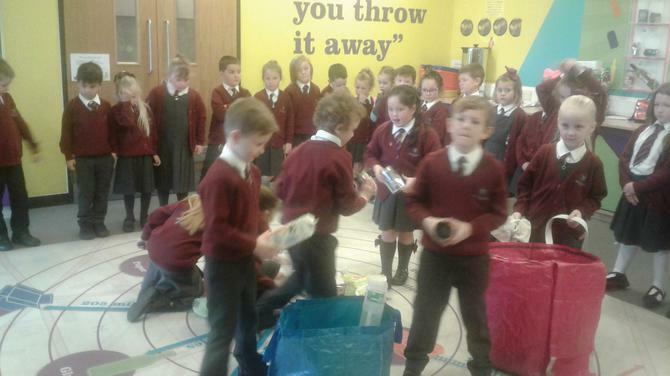 We discovered what can and can't be recycled and what happens after the bin men take our rubbish. 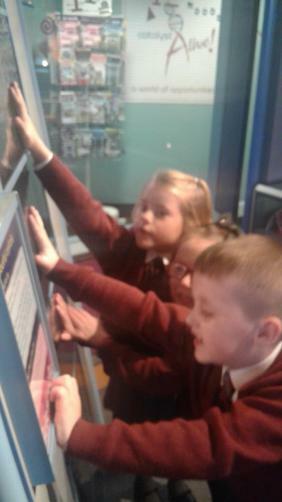 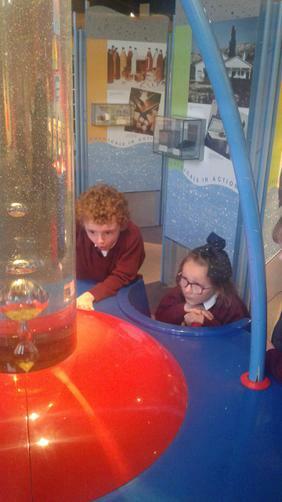 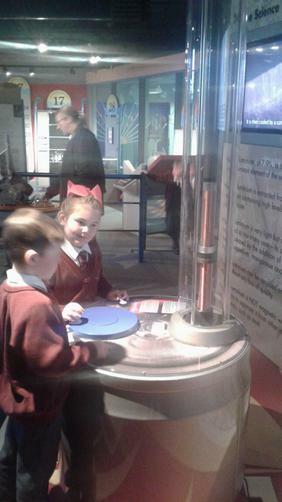 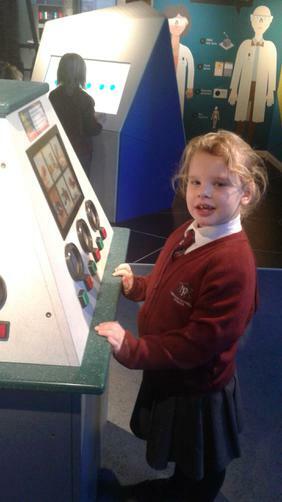 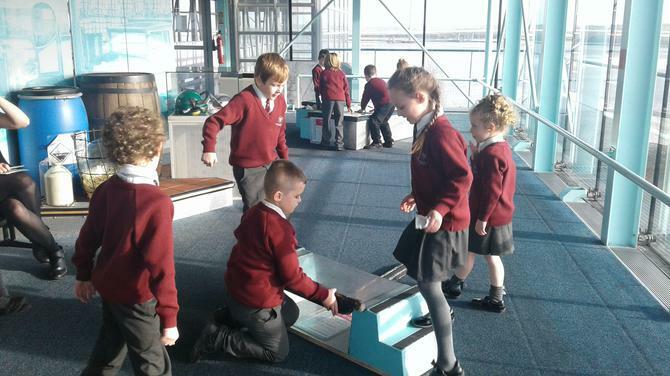 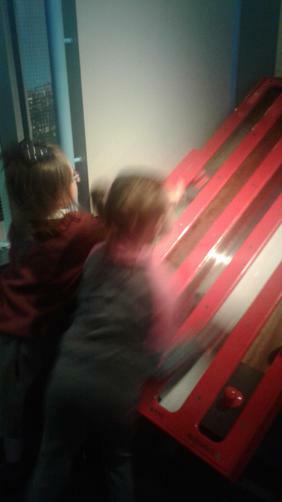 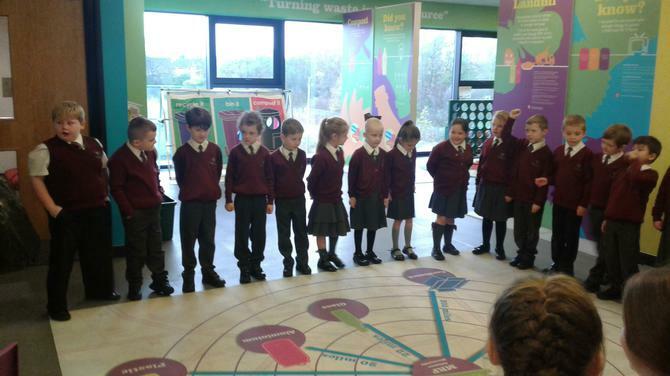 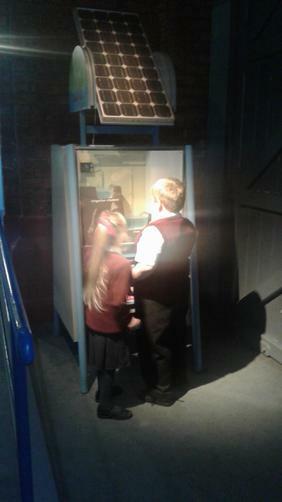 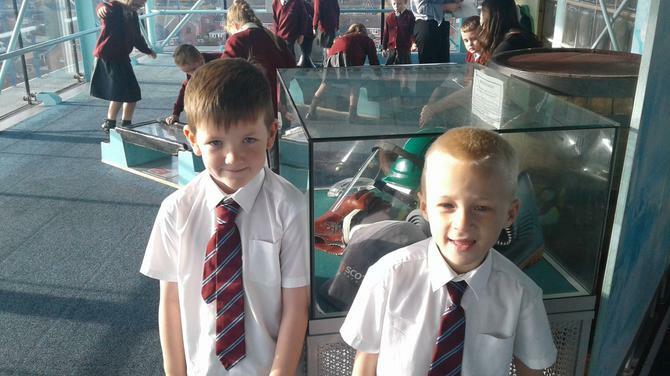 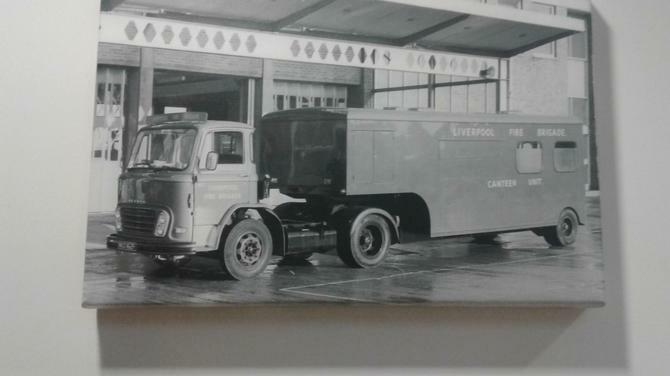 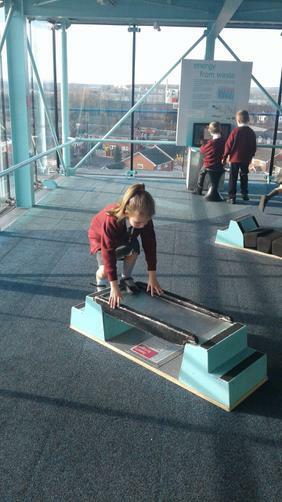 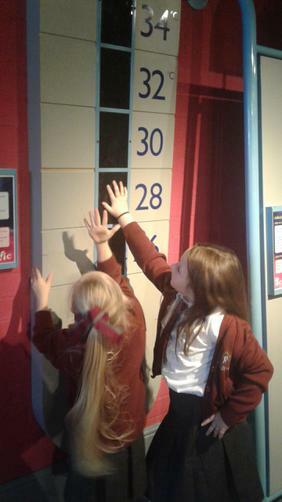 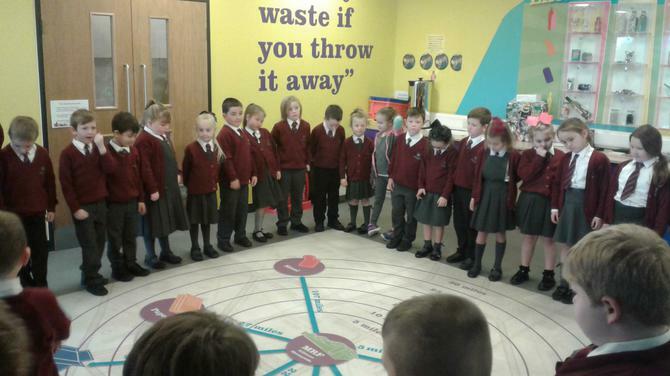 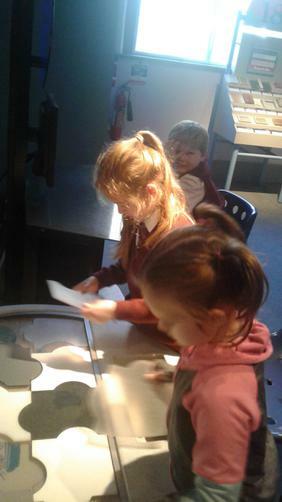 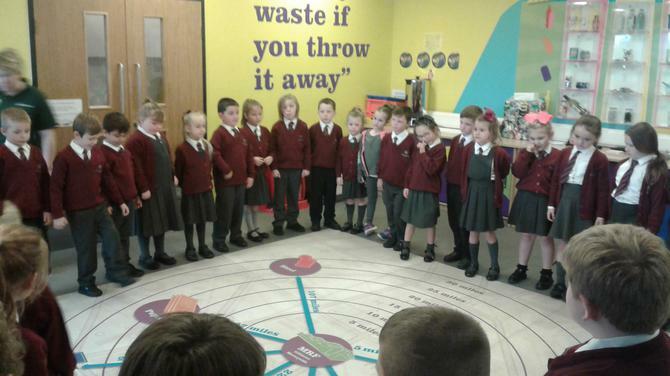 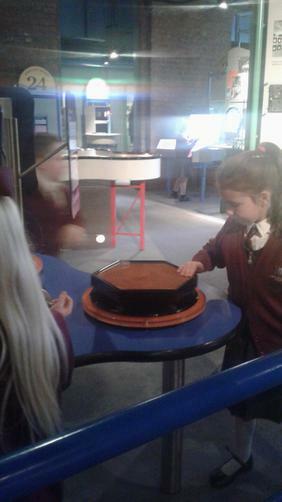 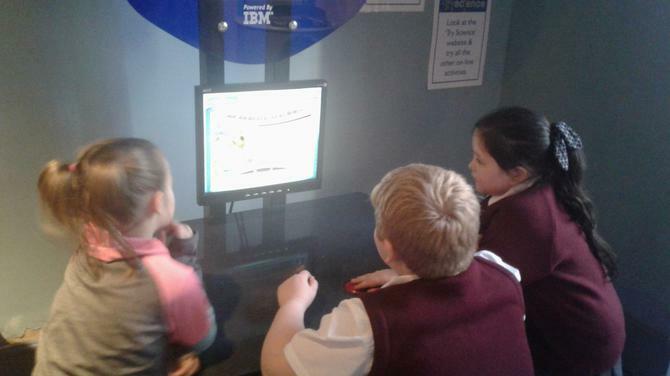 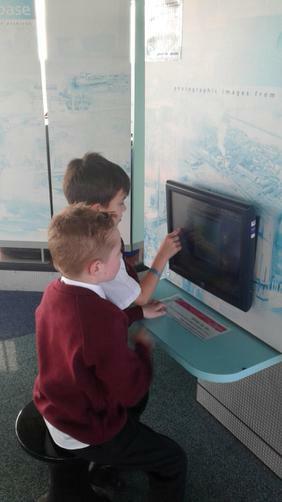 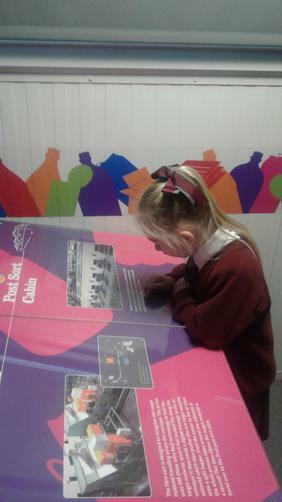 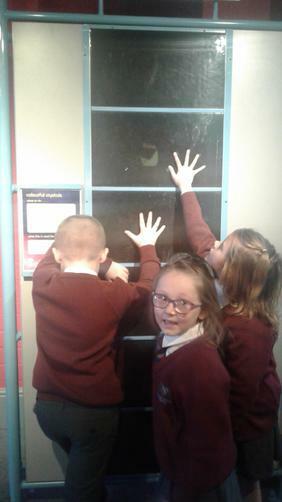 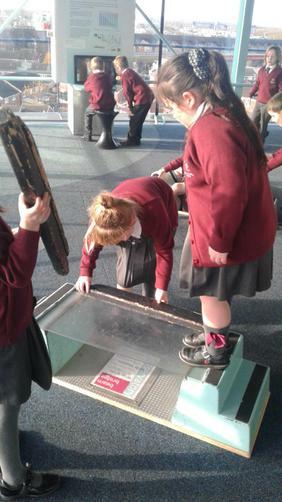 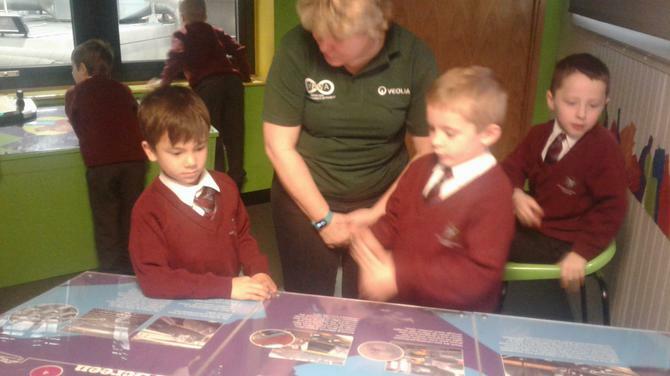 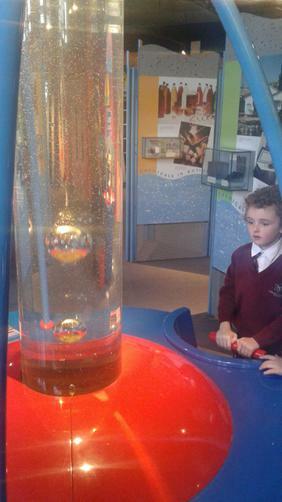 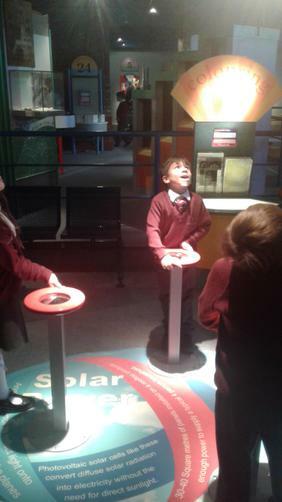 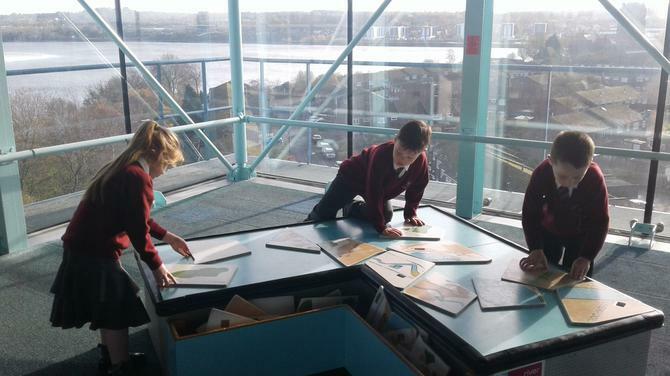 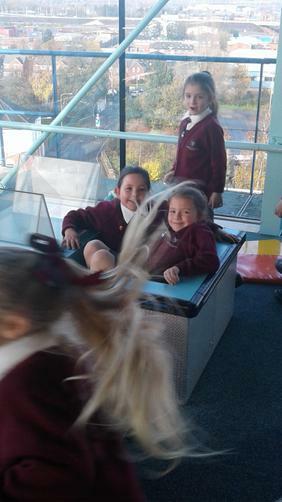 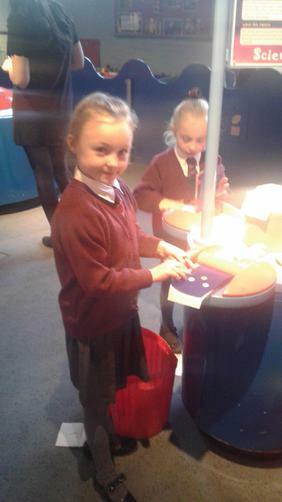 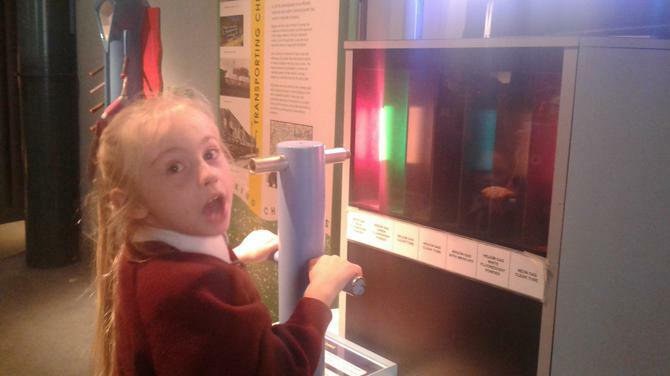 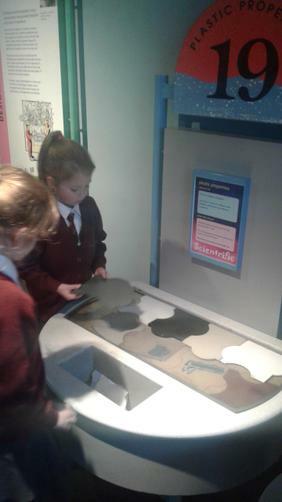 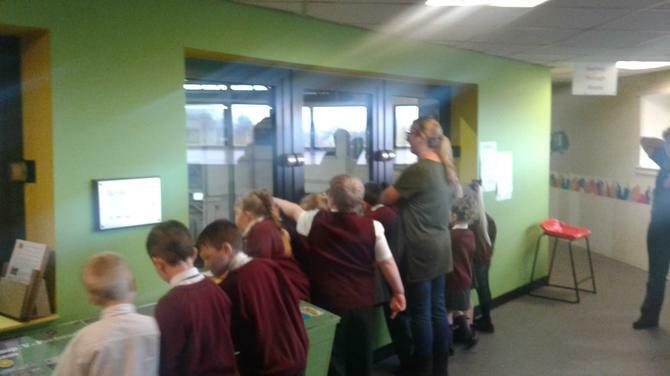 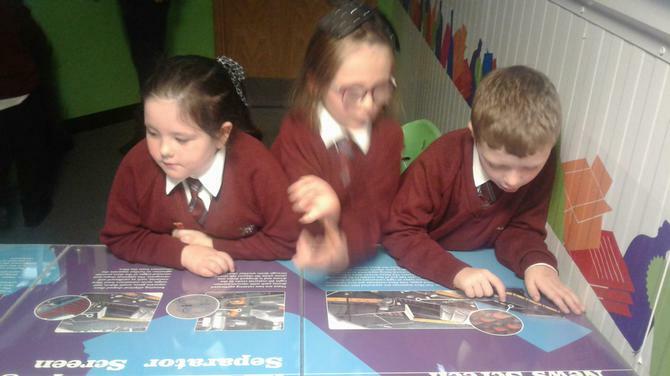 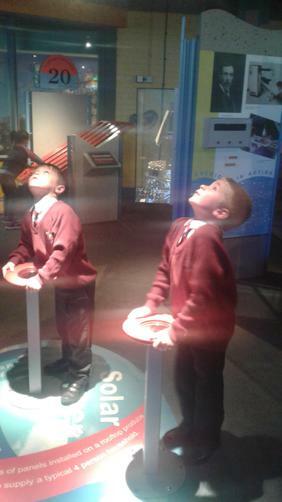 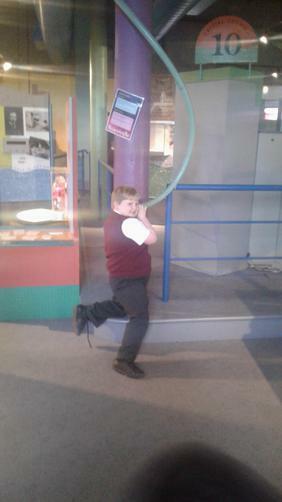 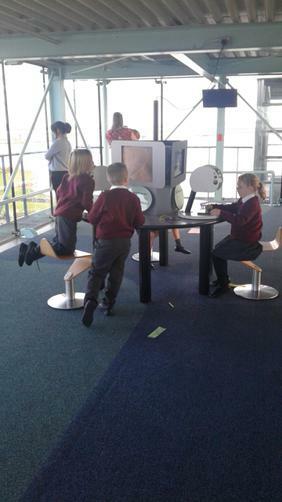 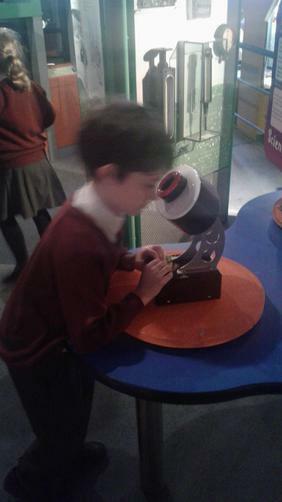 After that, we travelled to The Catalyst a science museum and explored lots of different areas. 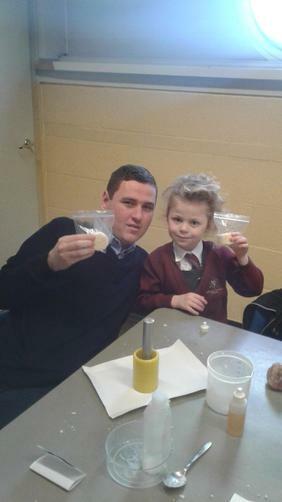 We made soap, from scratch and got to bring some home! 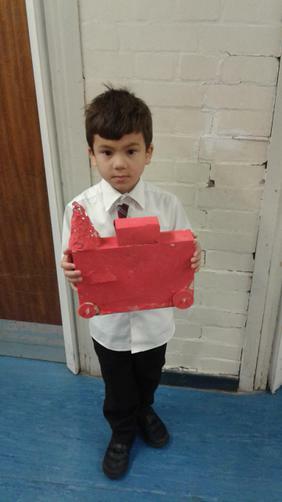 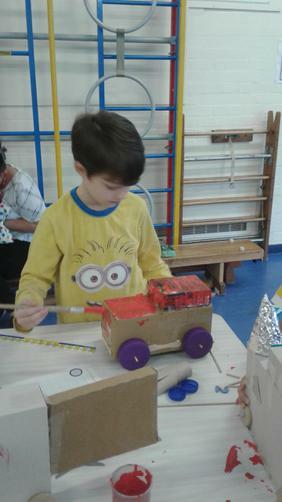 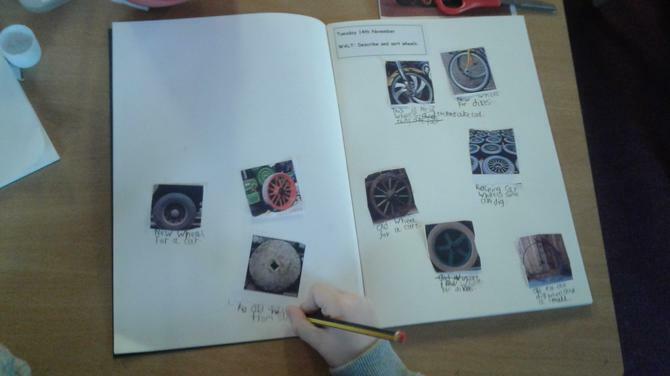 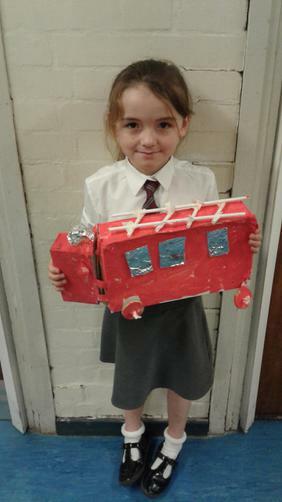 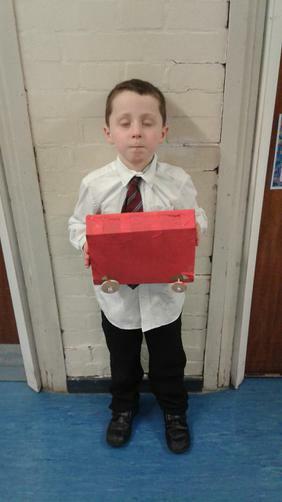 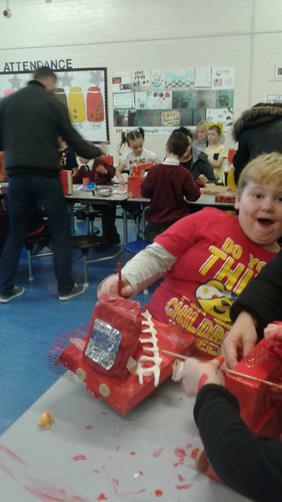 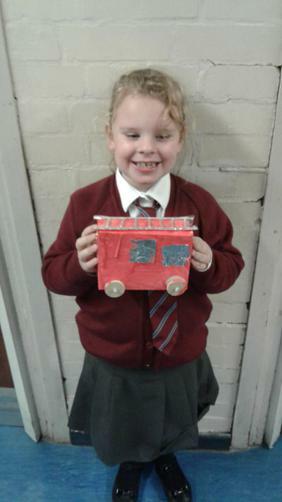 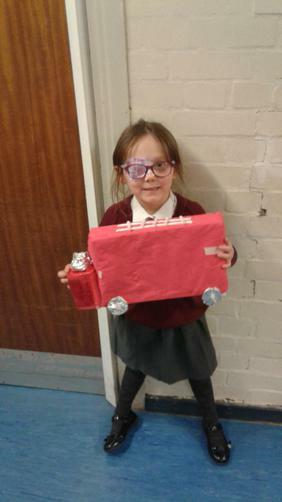 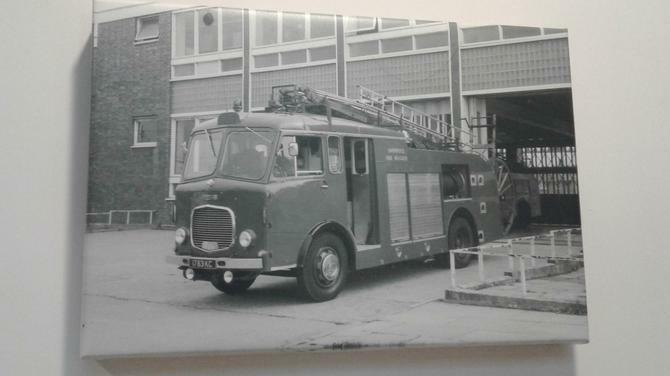 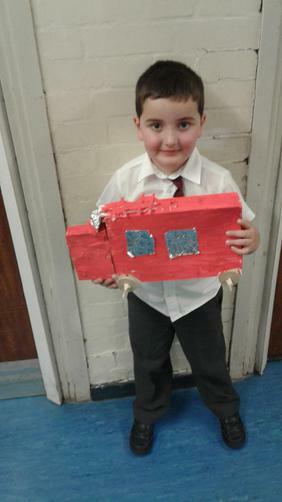 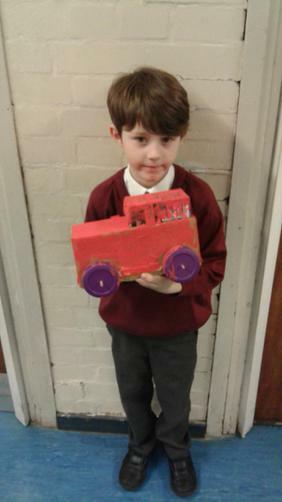 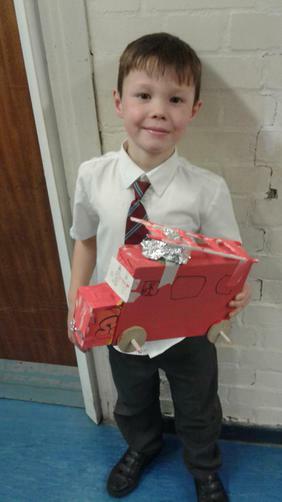 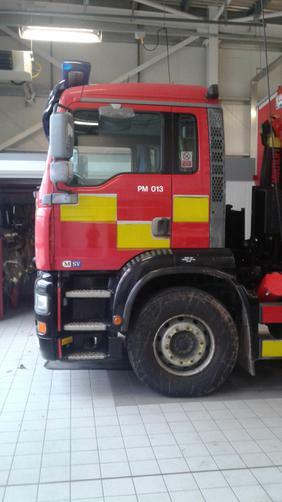 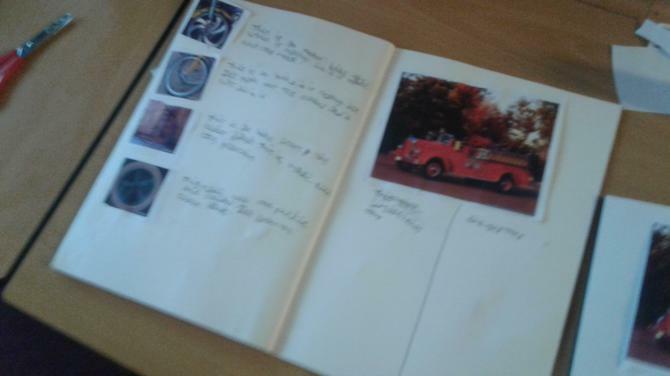 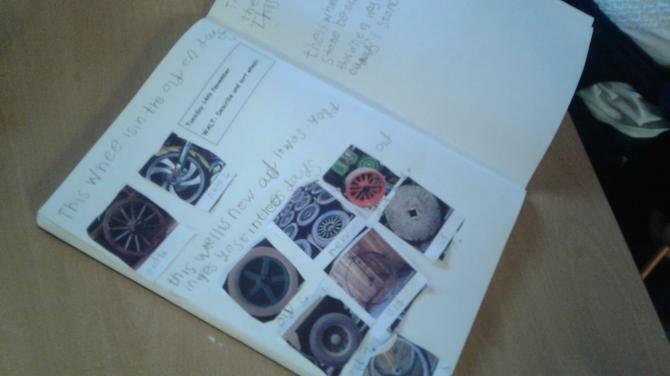 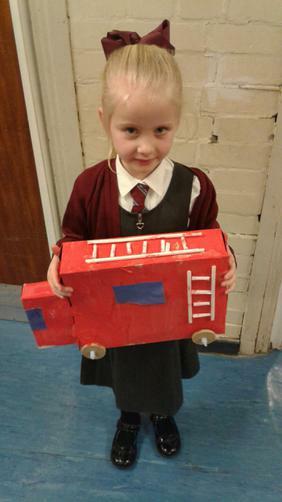 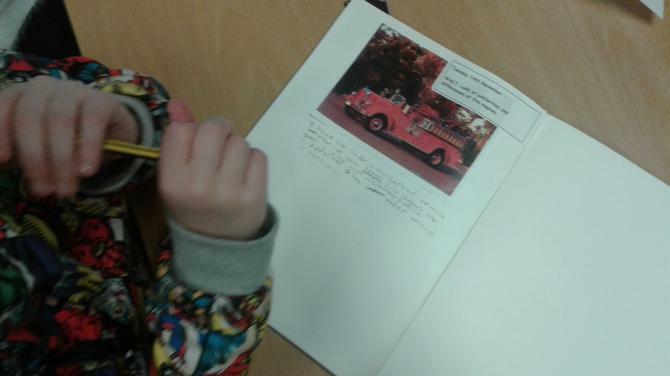 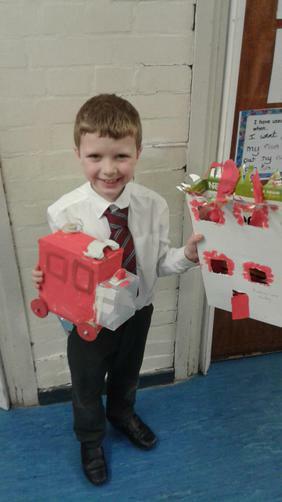 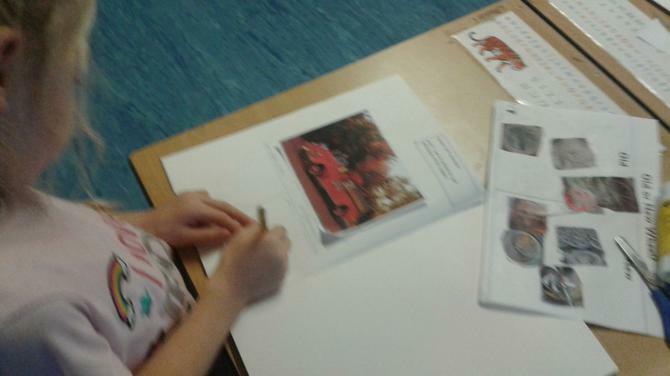 Today the children have been looking at different types of wheels and comparing a fire engine from years ago to how one looks today. 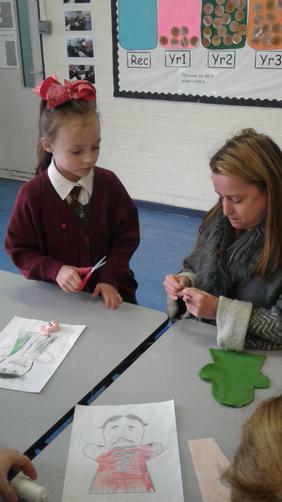 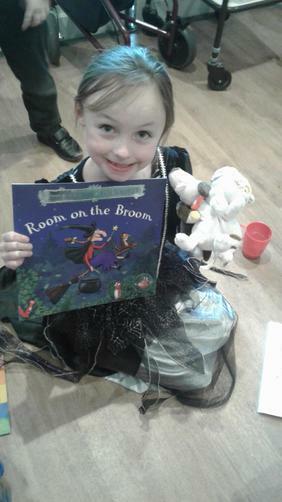 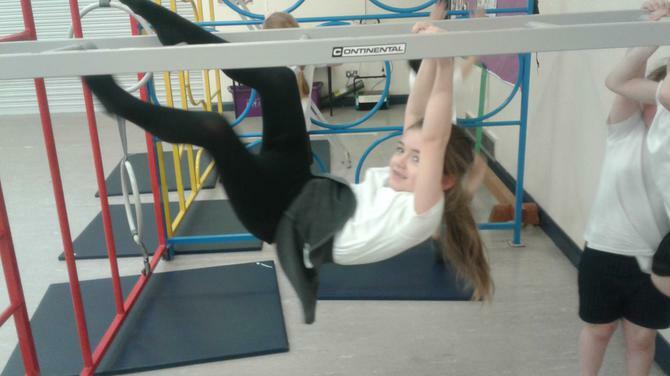 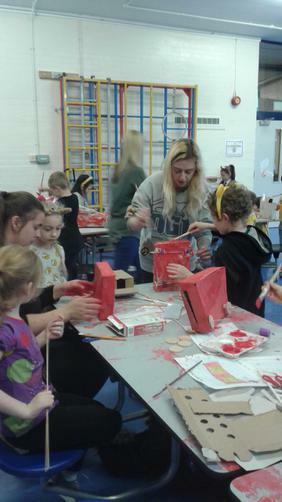 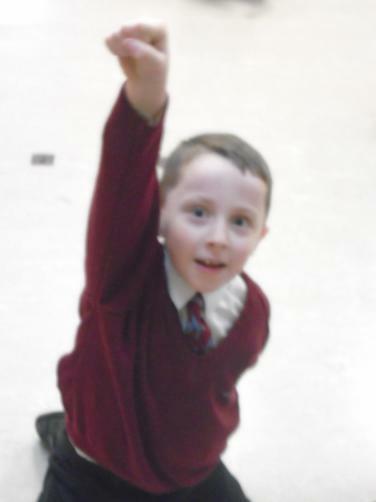 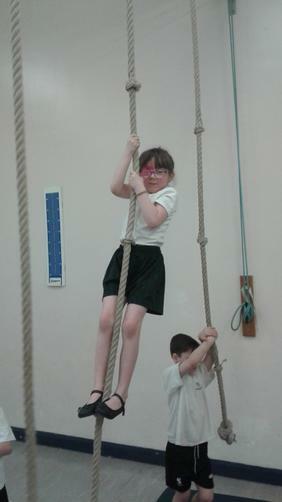 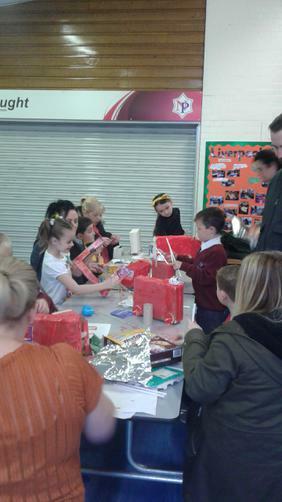 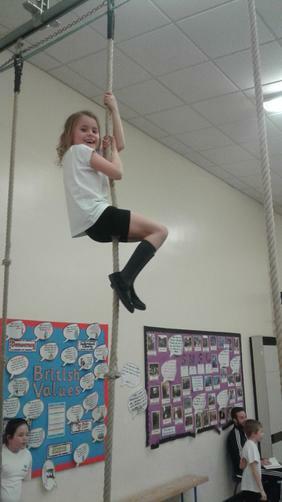 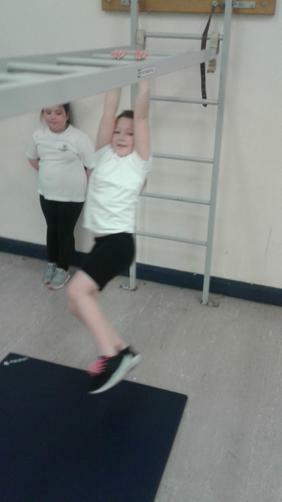 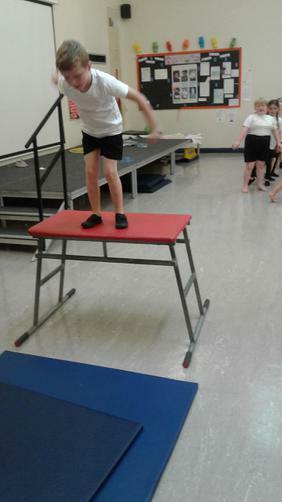 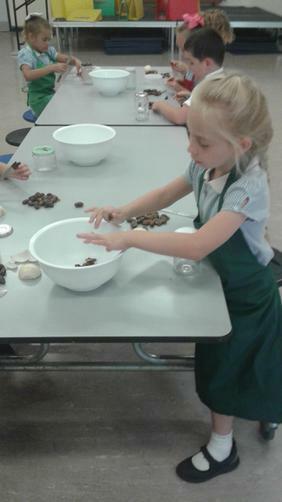 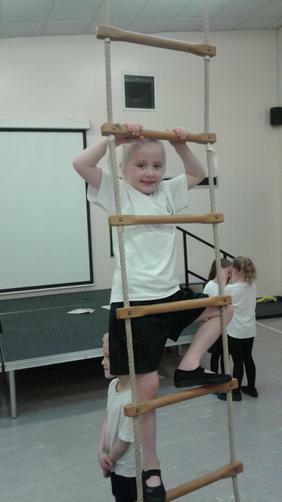 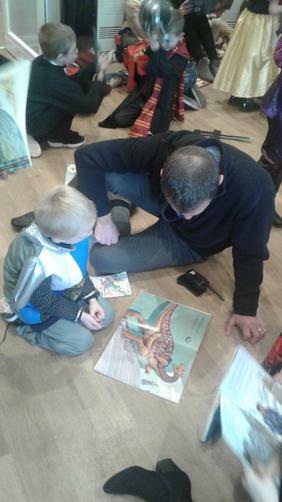 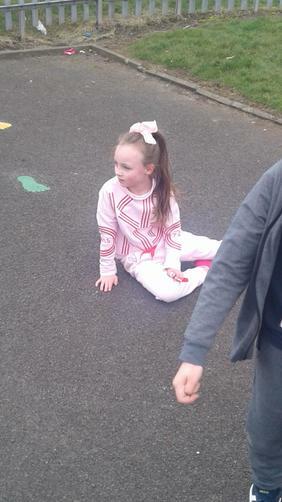 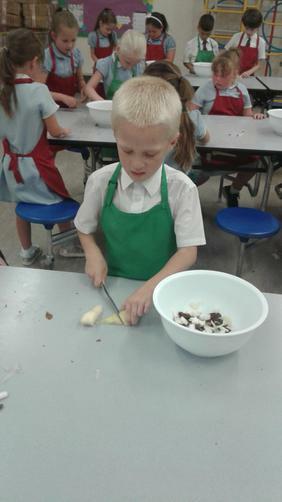 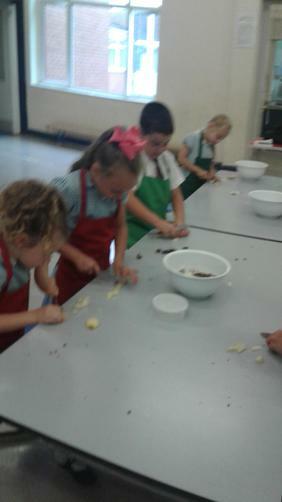 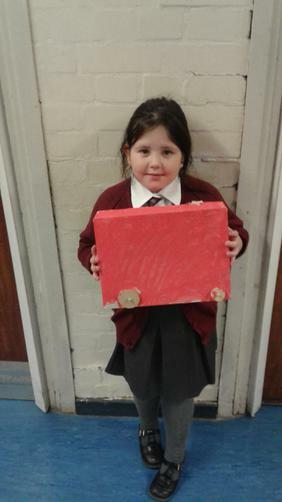 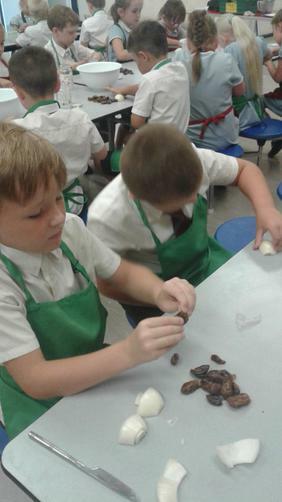 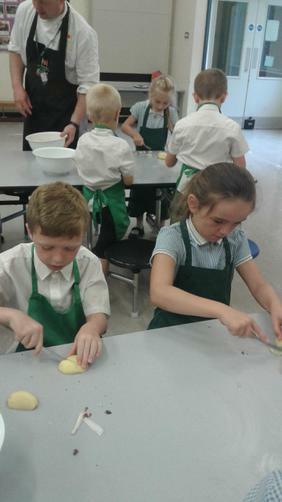 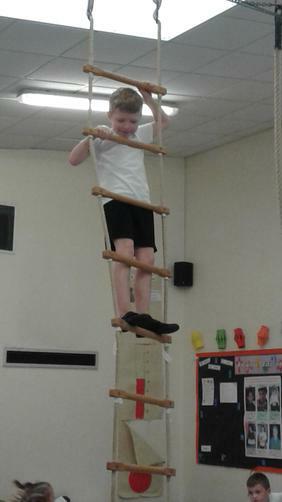 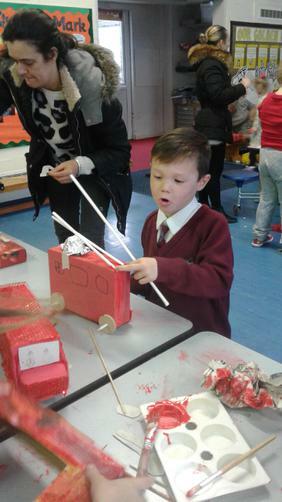 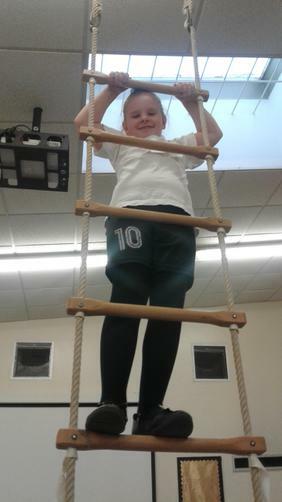 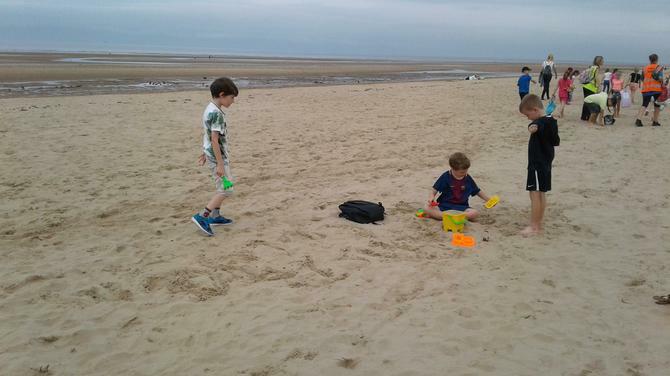 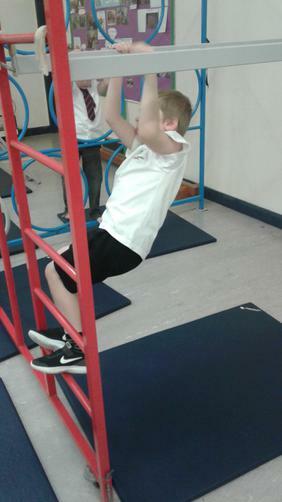 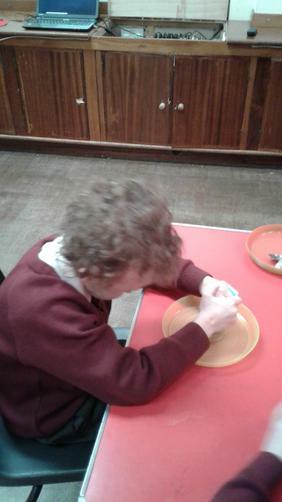 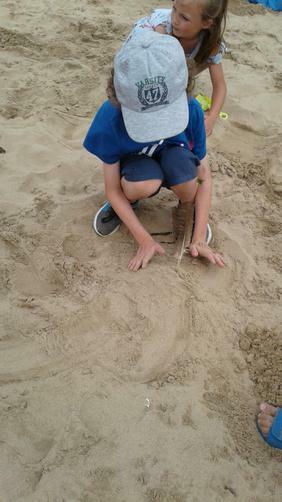 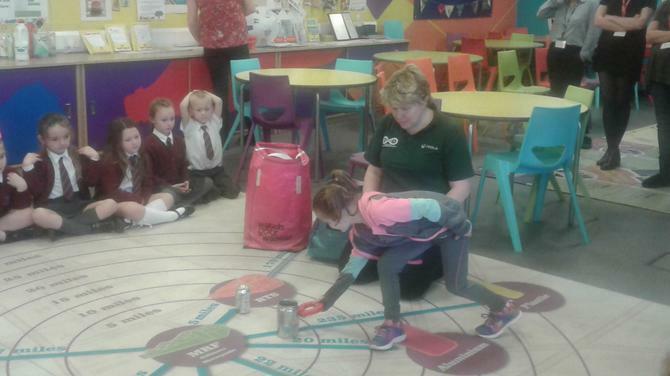 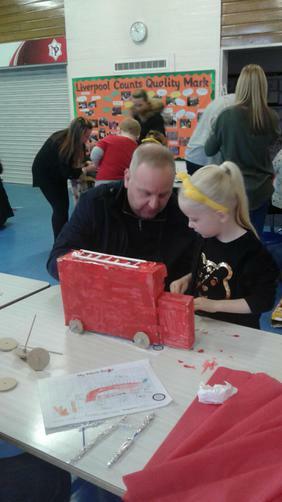 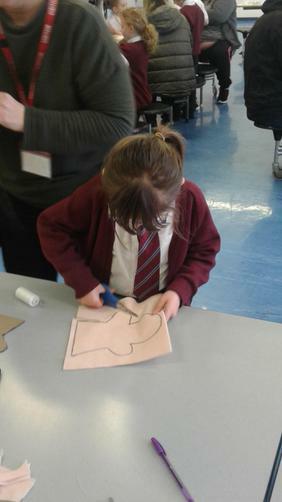 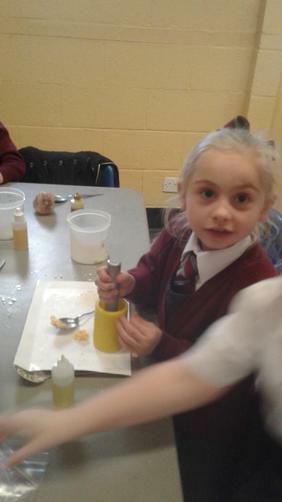 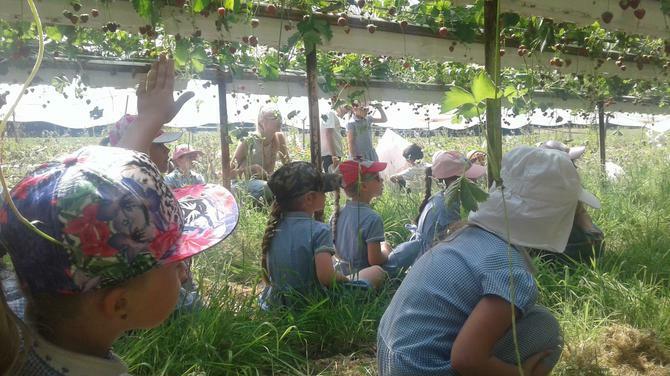 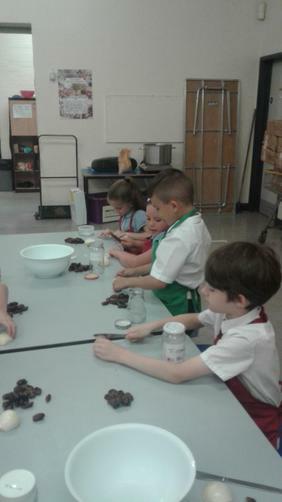 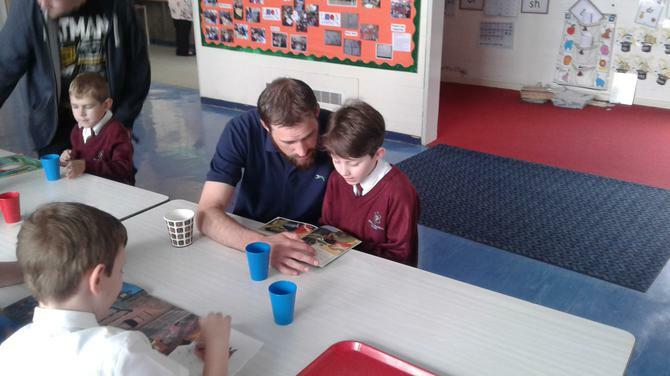 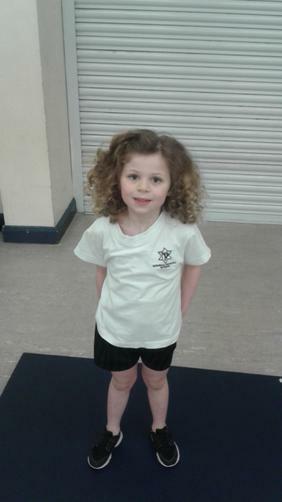 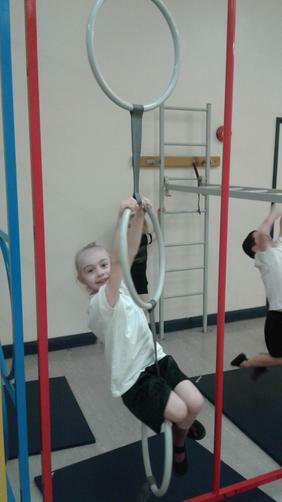 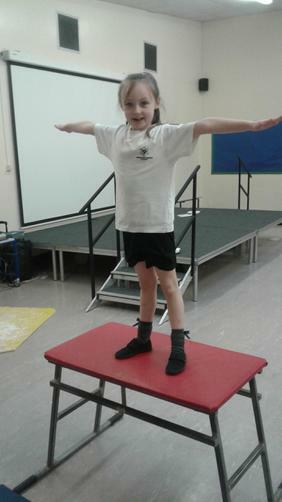 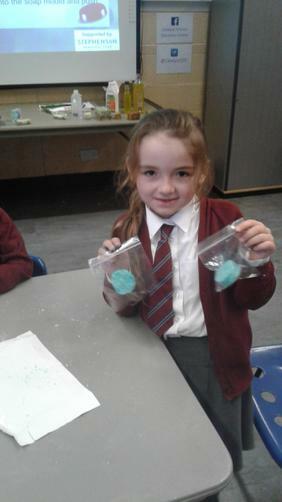 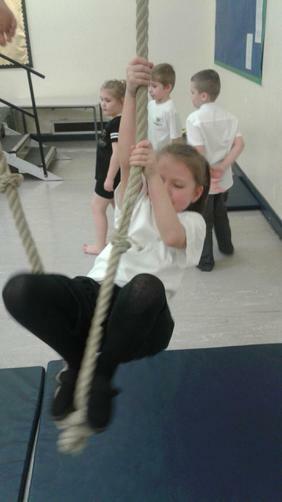 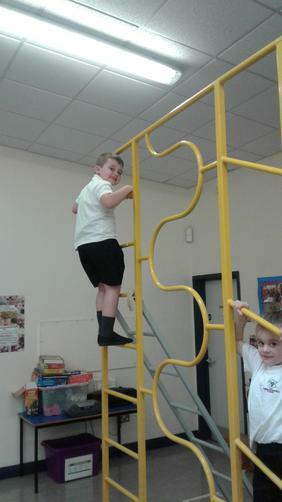 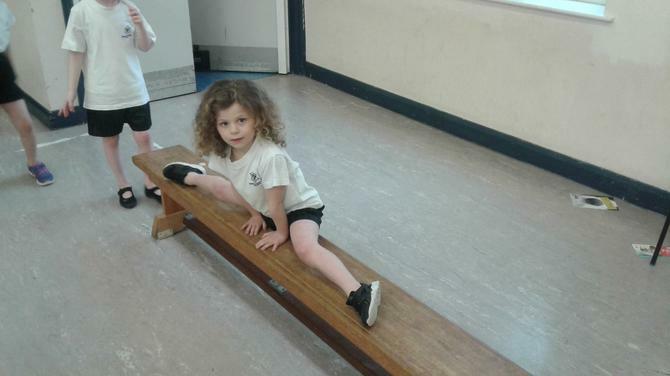 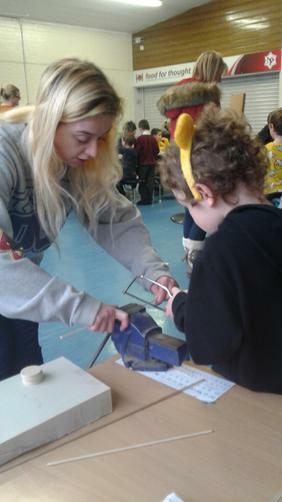 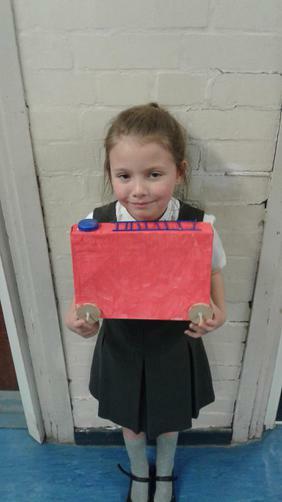 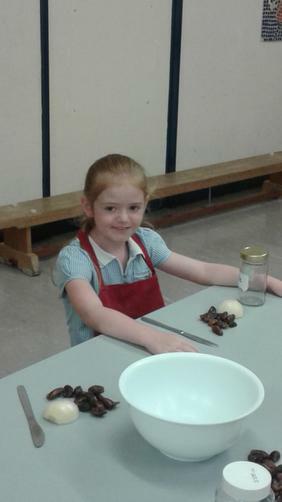 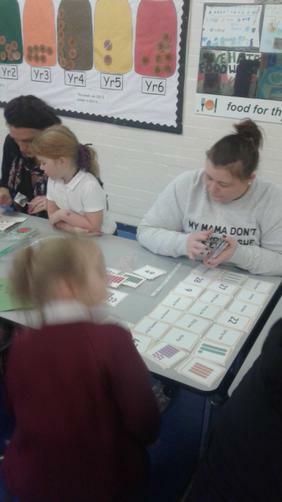 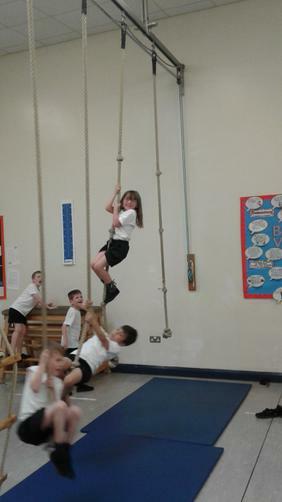 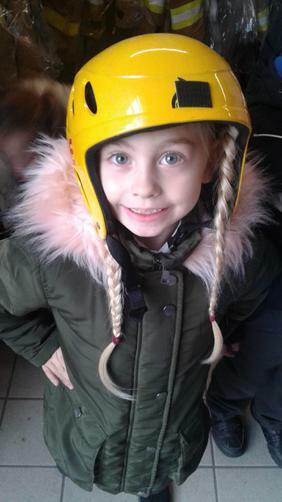 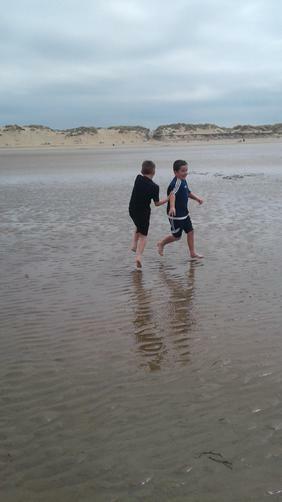 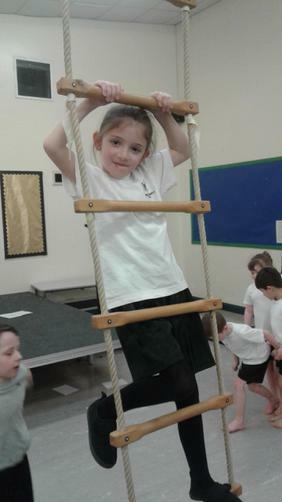 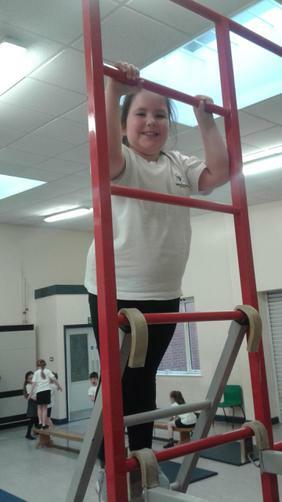 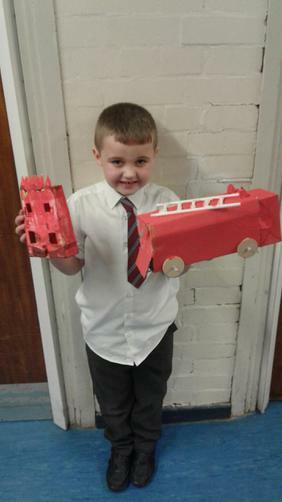 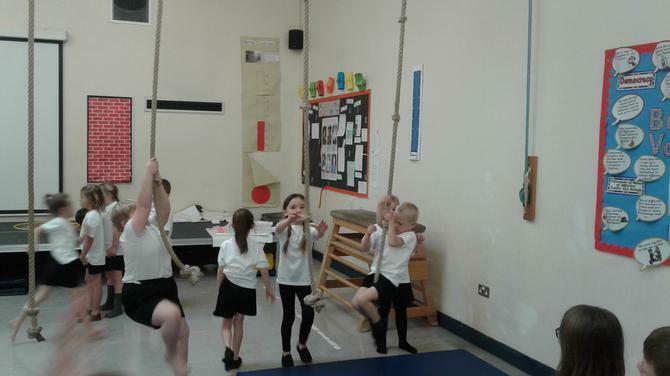 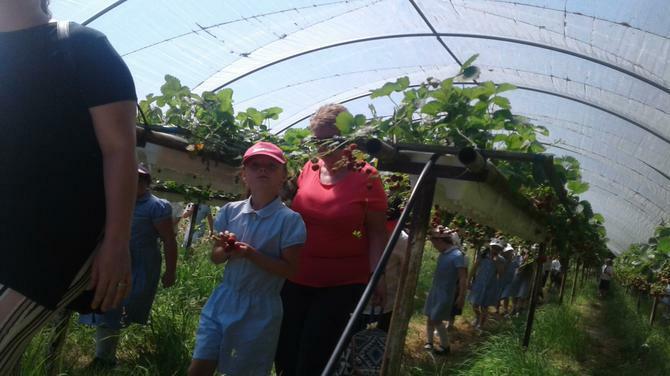 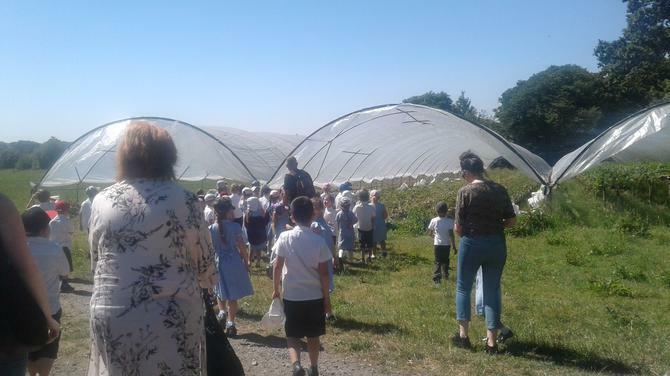 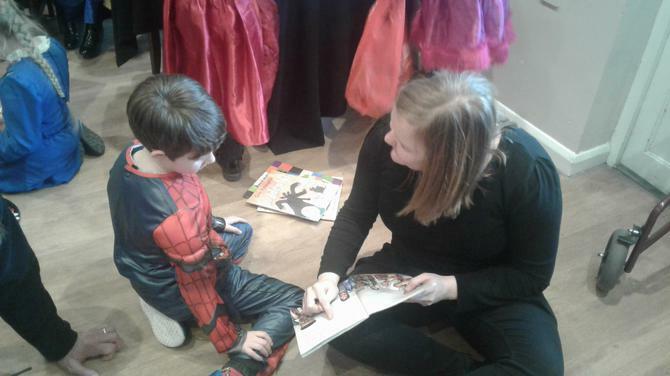 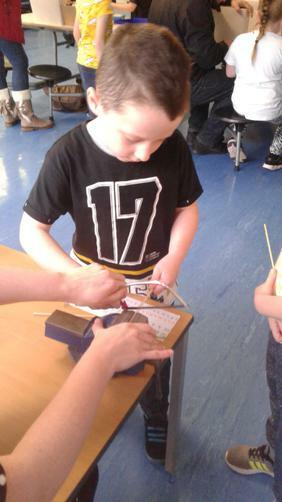 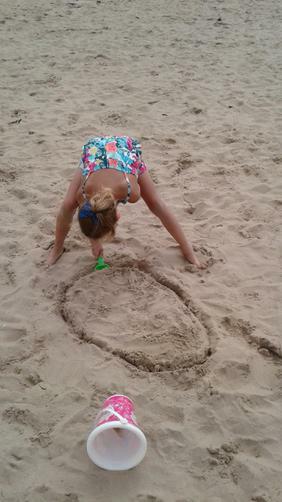 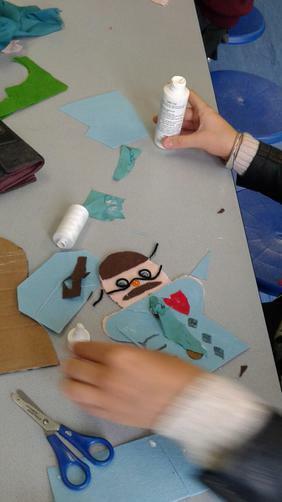 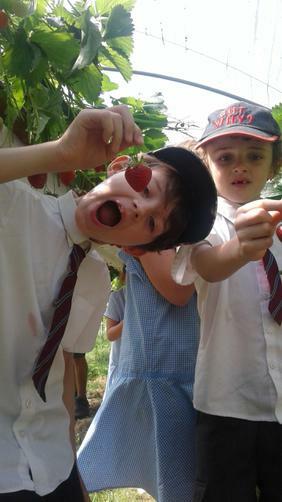 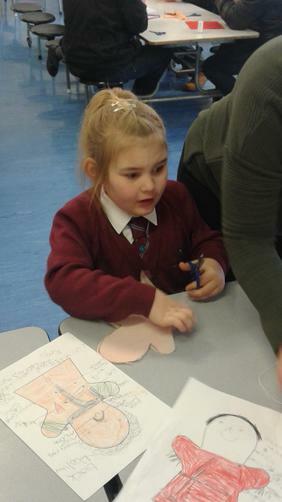 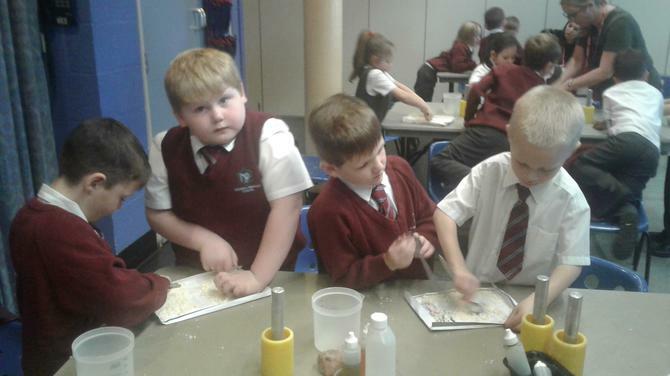 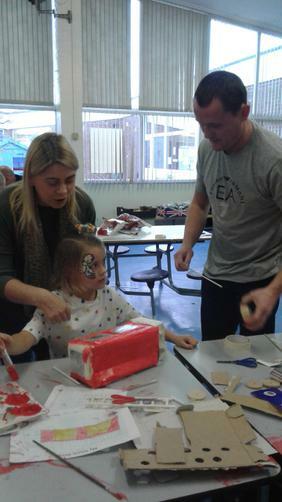 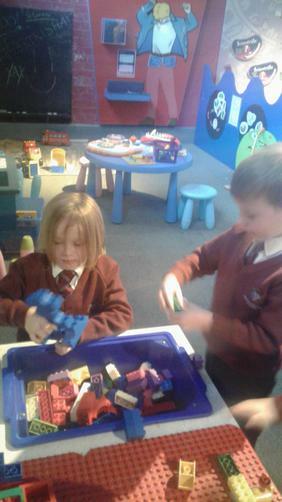 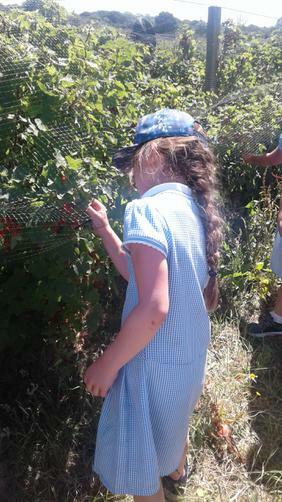 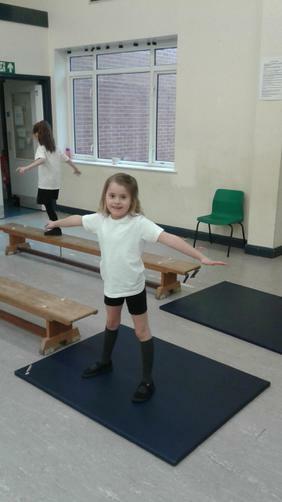 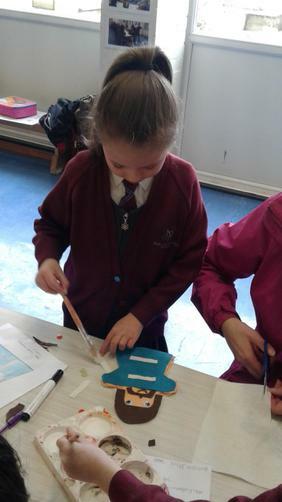 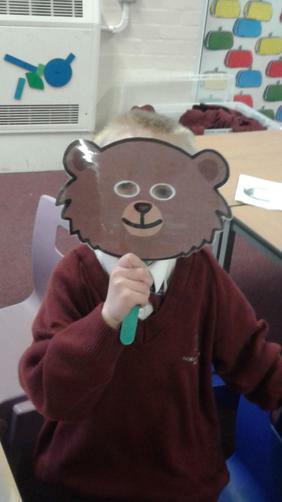 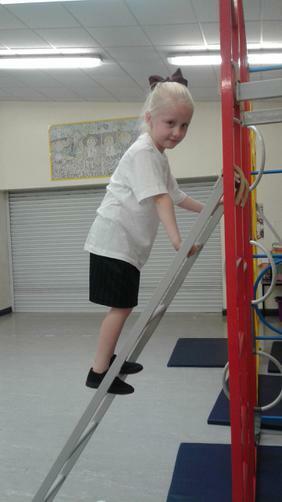 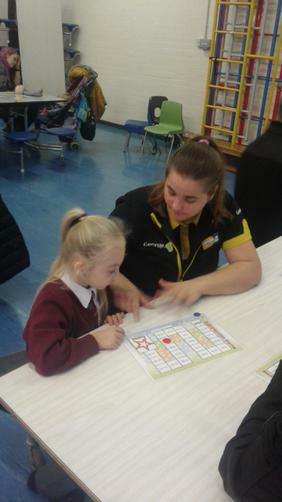 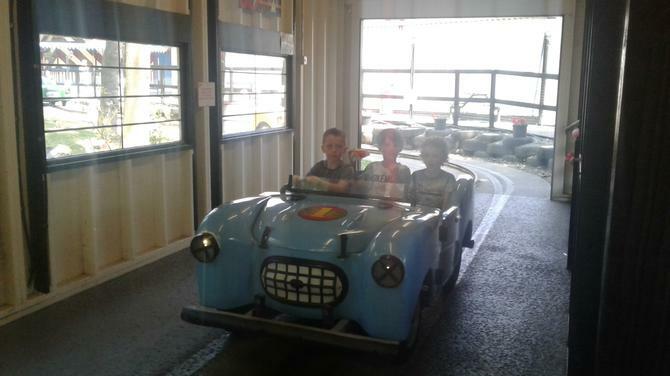 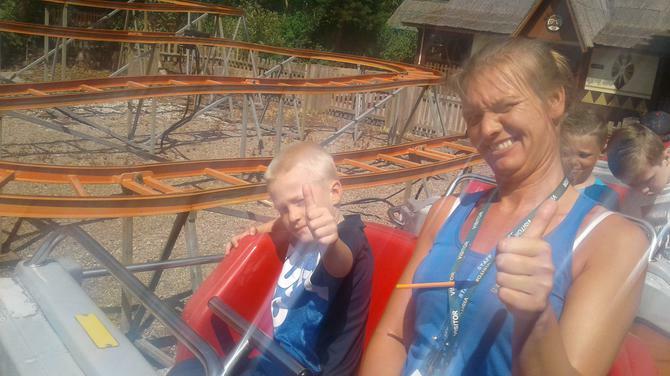 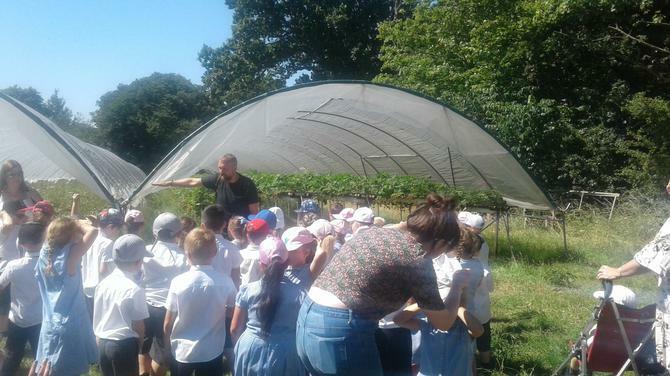 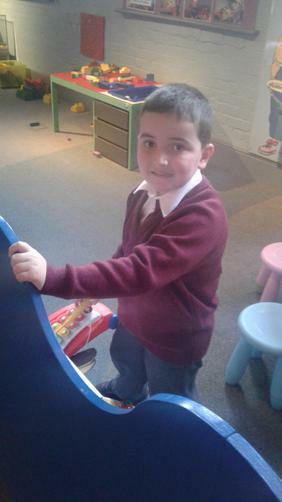 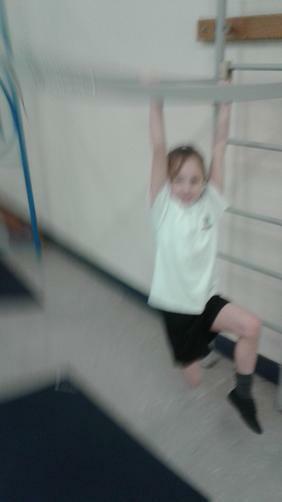 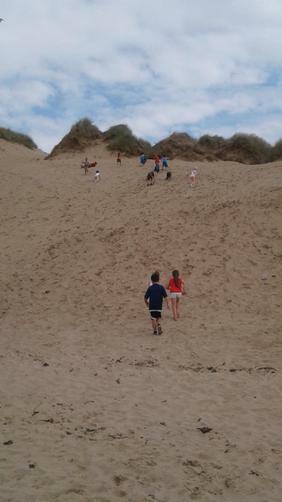 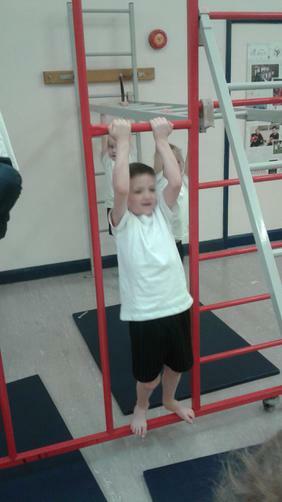 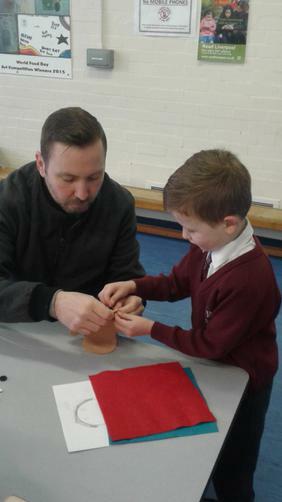 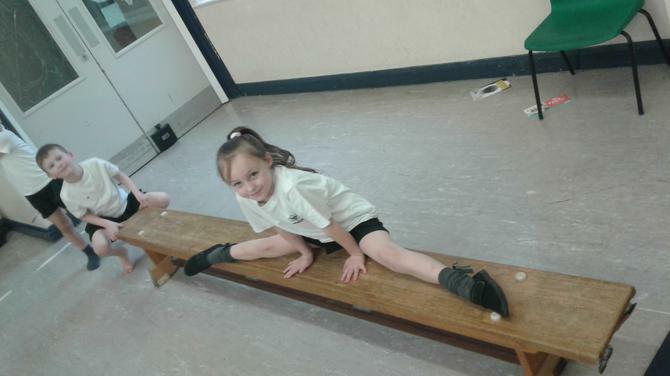 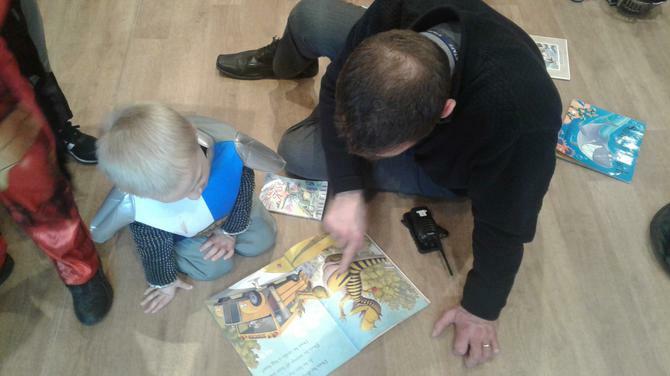 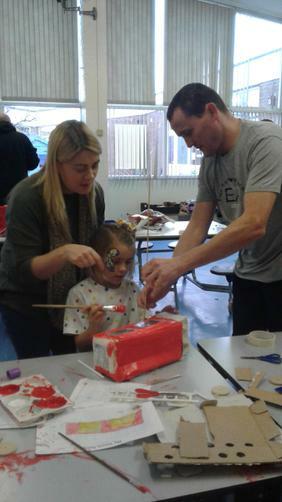 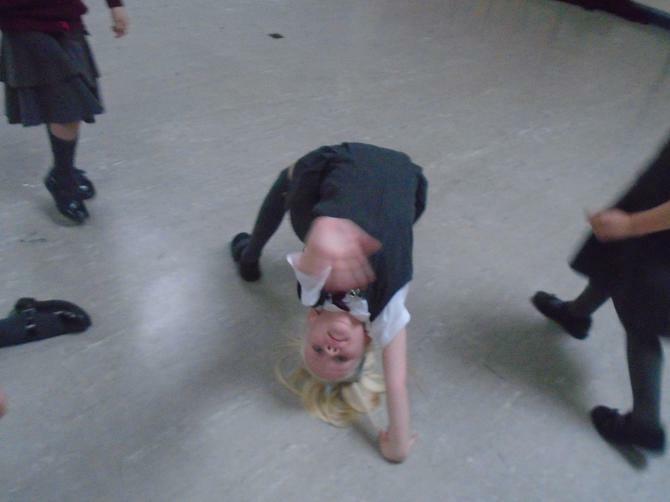 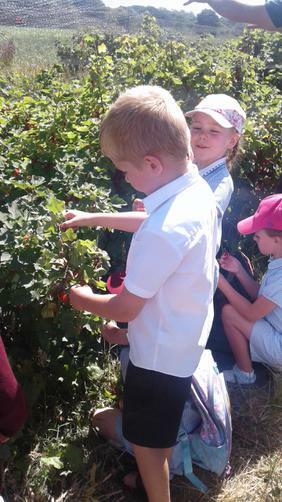 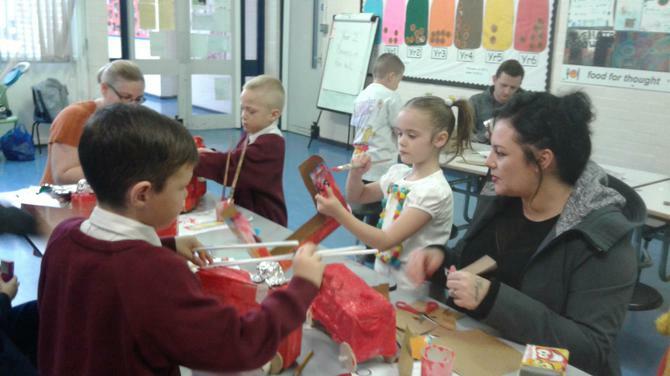 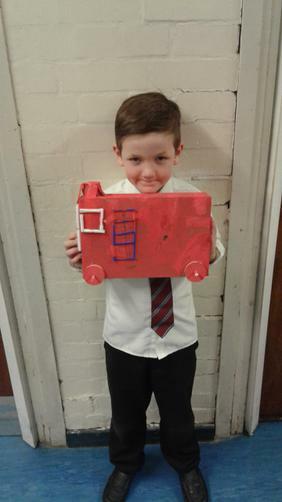 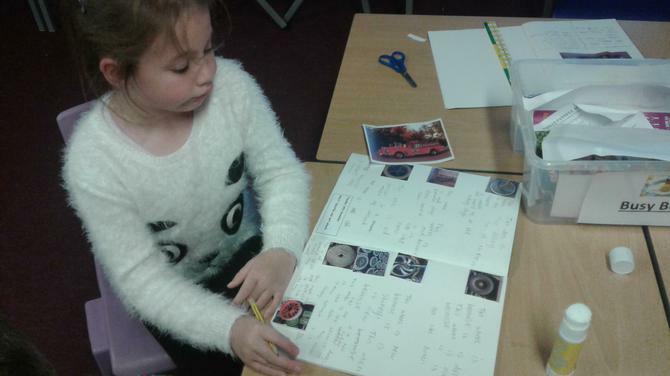 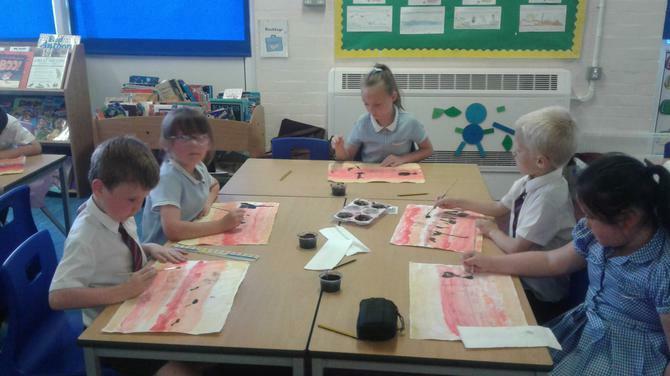 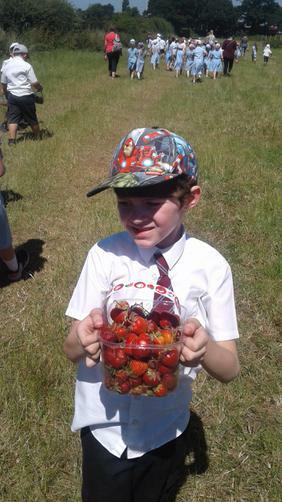 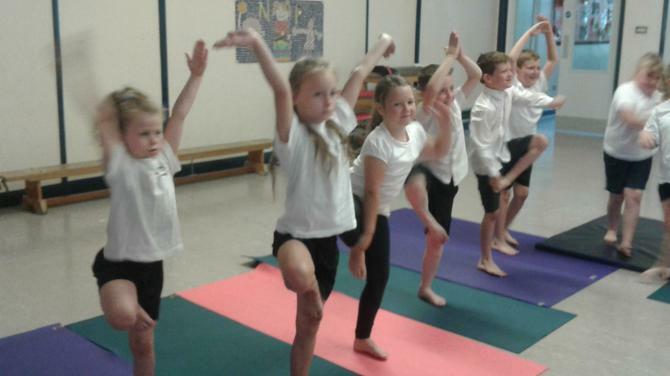 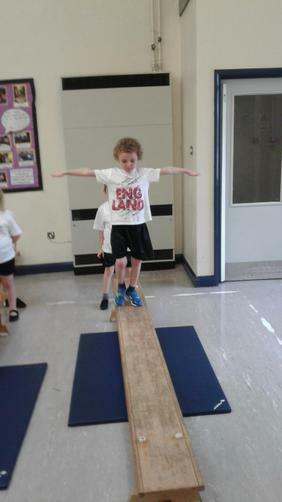 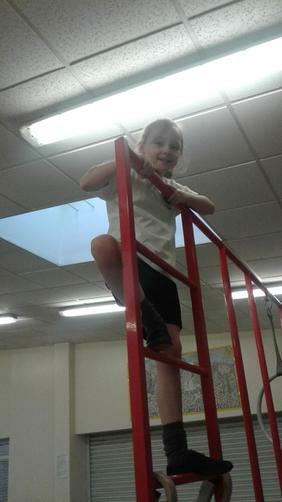 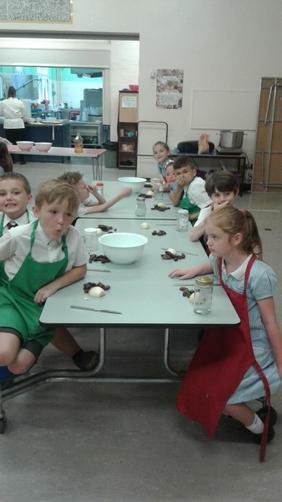 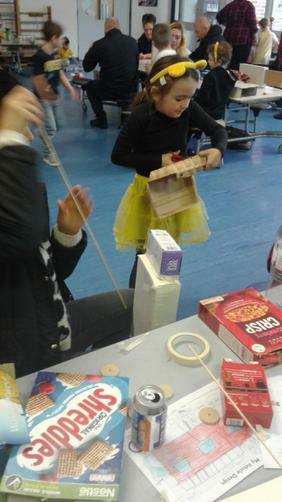 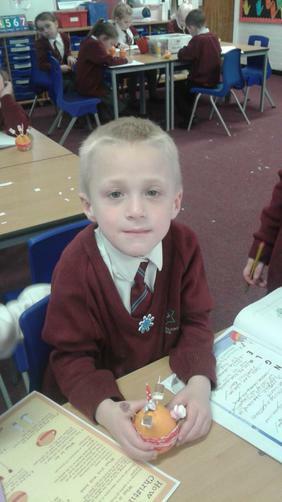 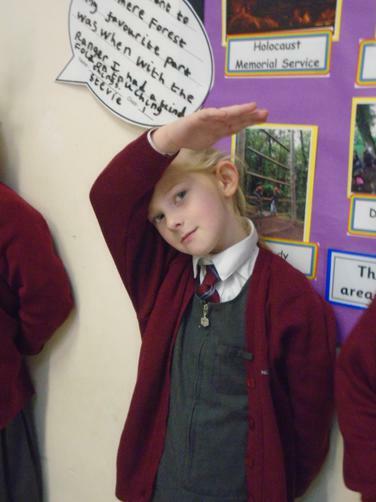 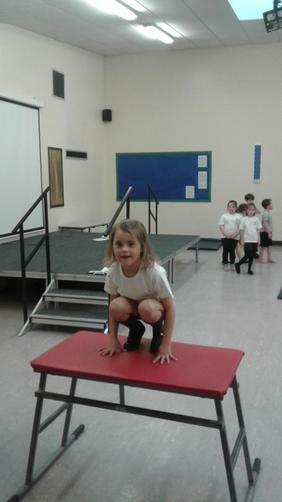 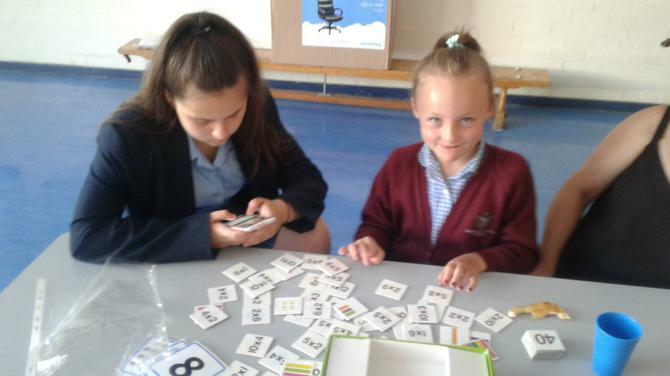 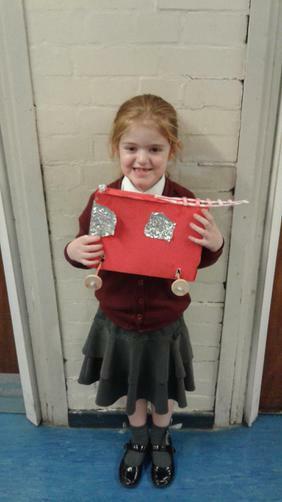 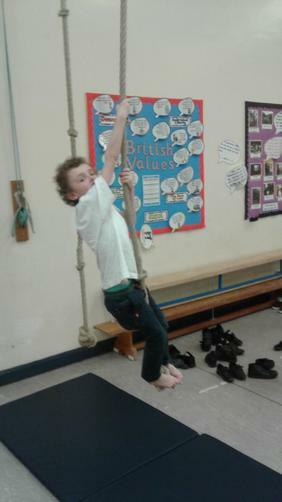 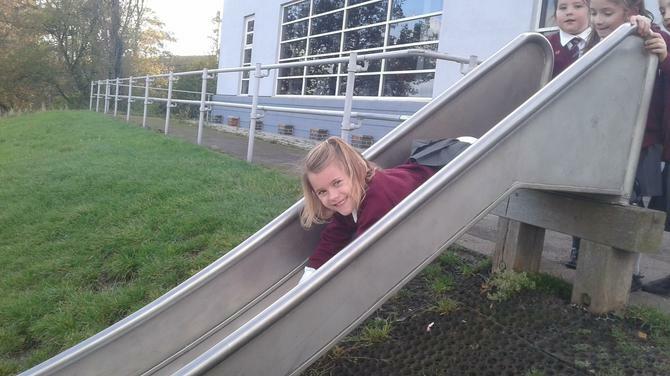 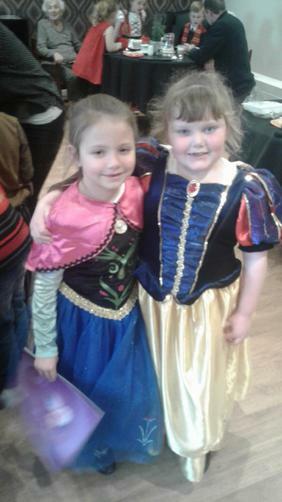 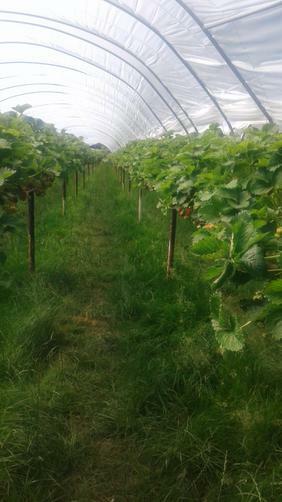 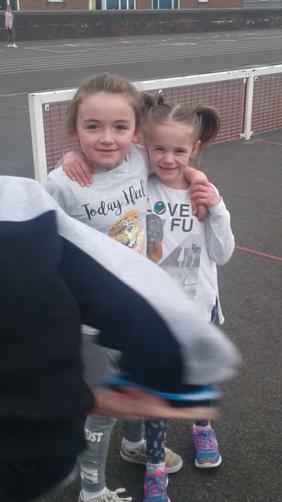 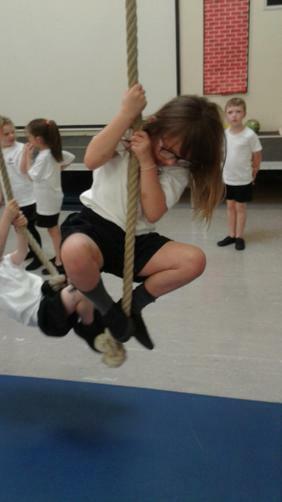 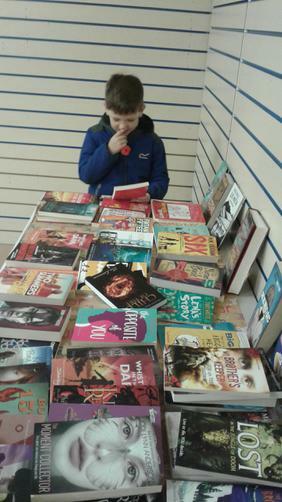 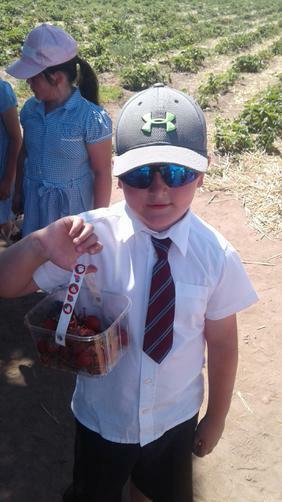 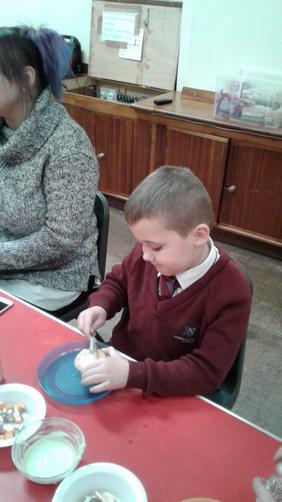 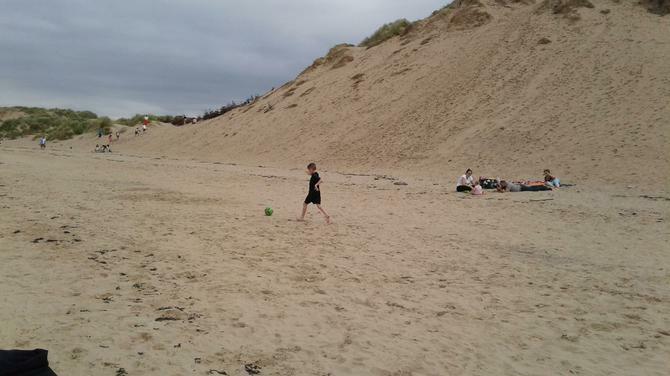 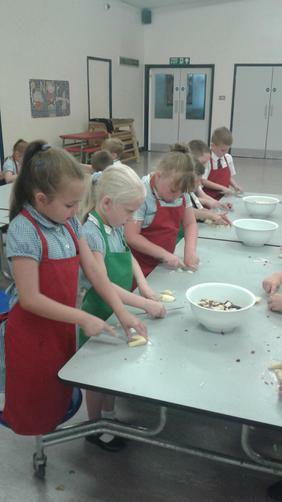 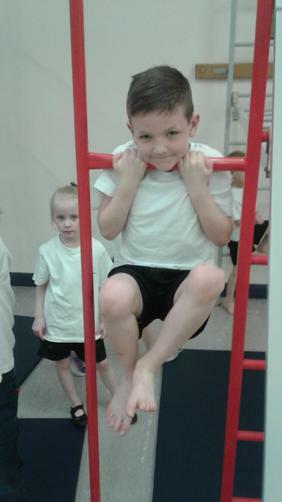 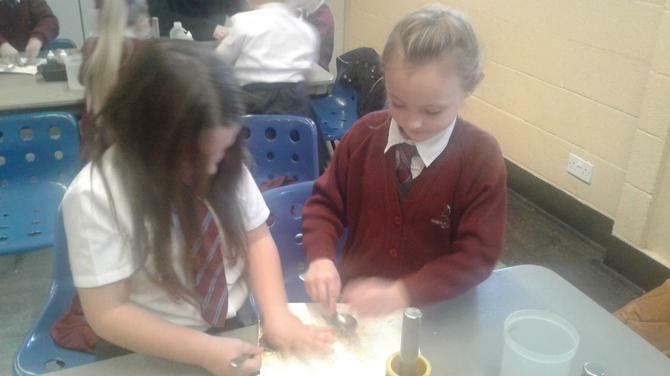 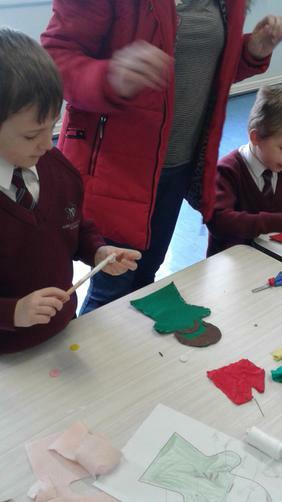 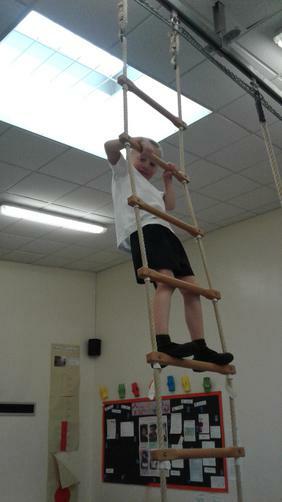 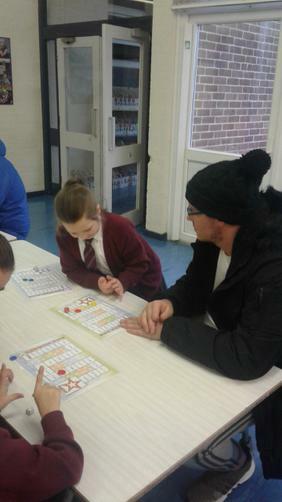 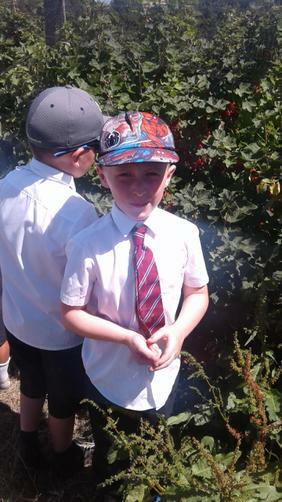 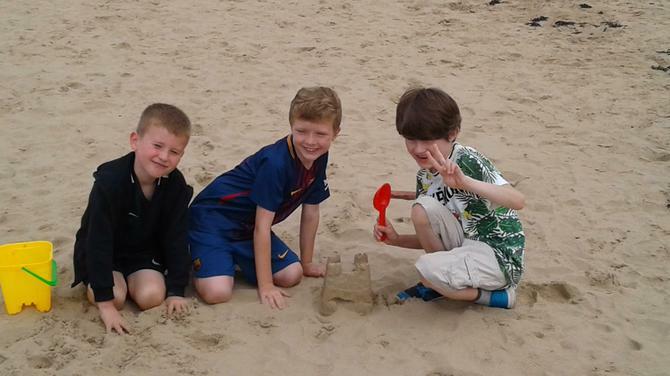 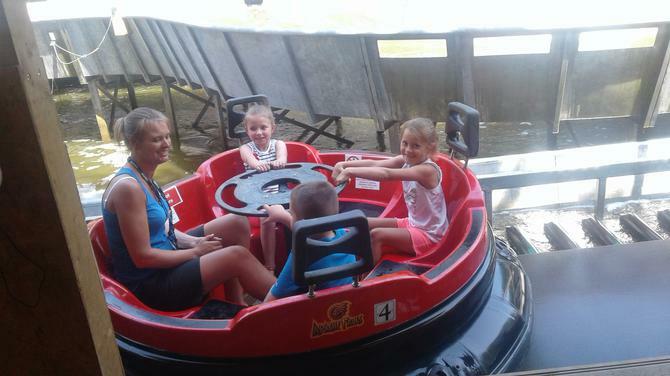 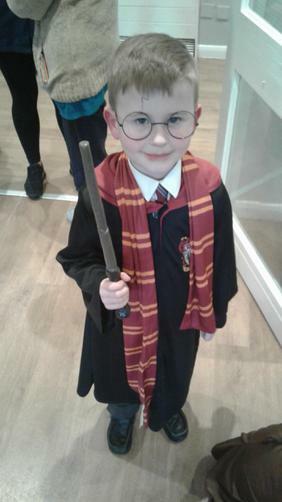 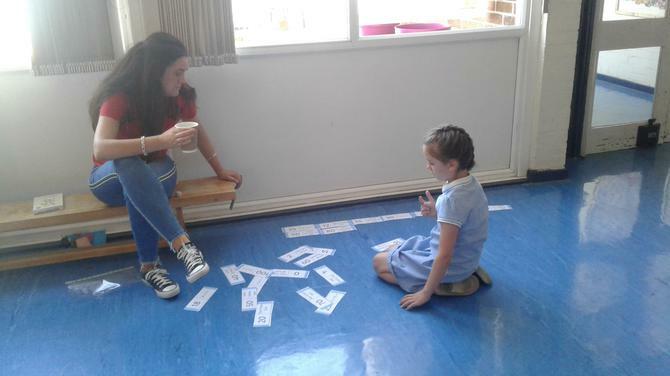 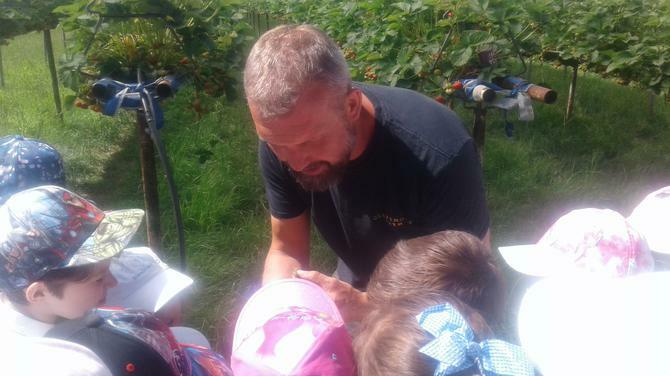 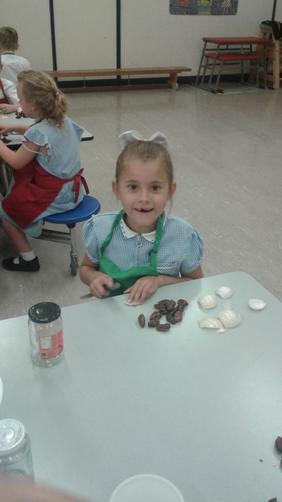 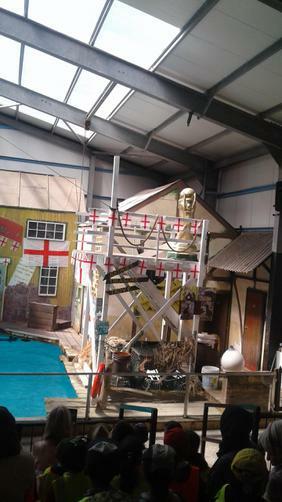 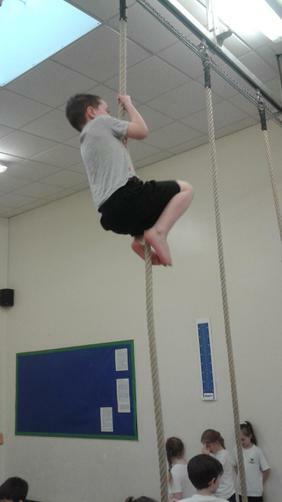 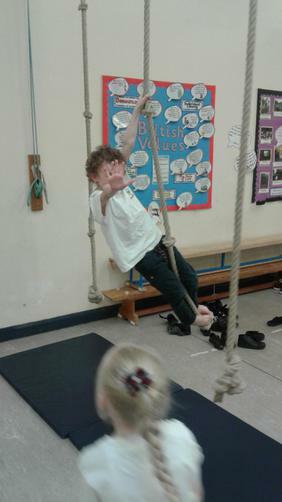 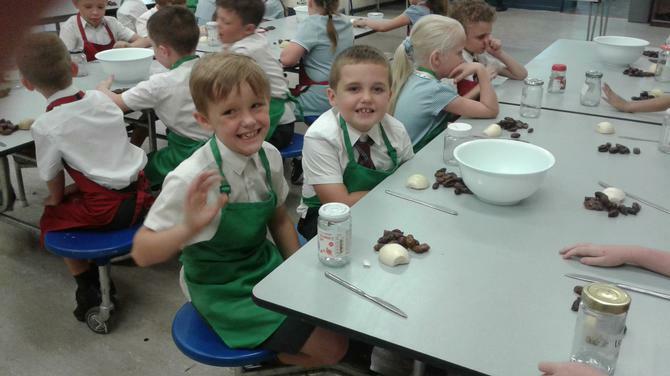 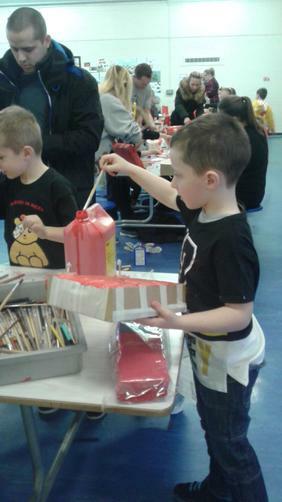 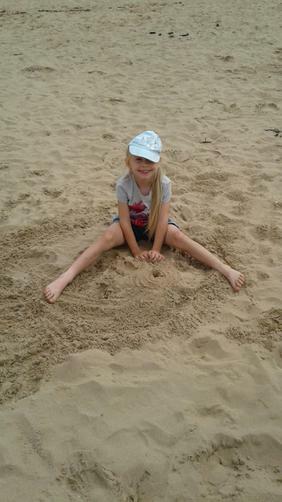 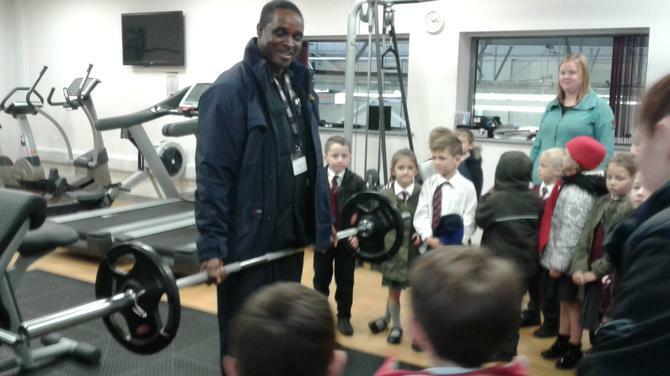 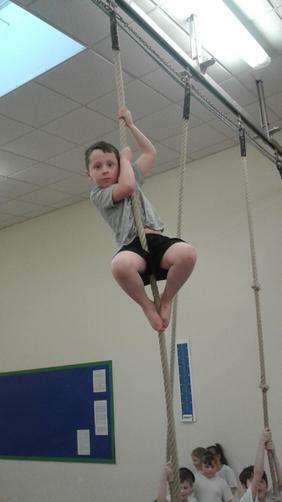 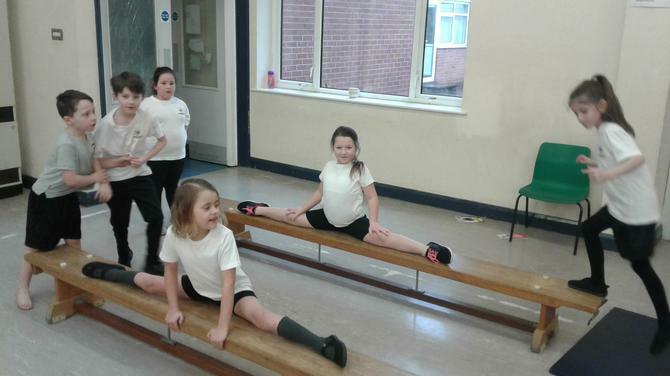 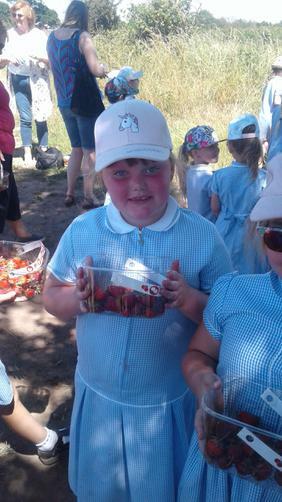 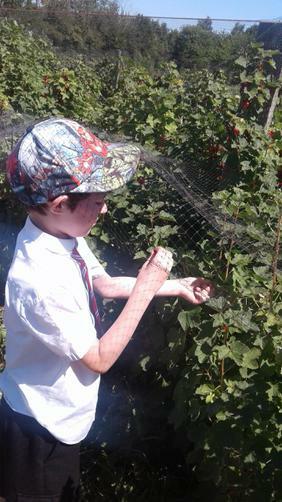 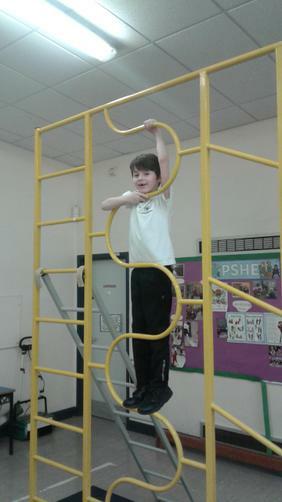 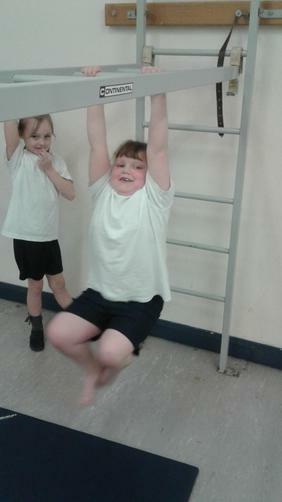 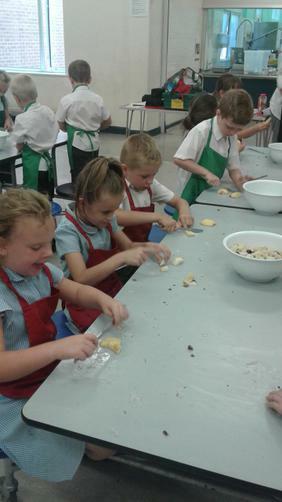 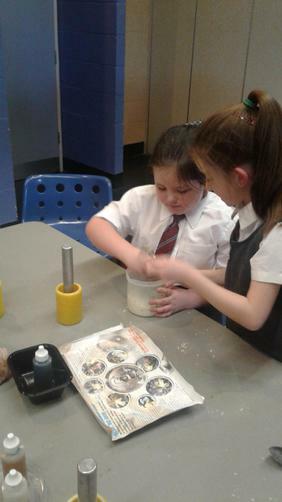 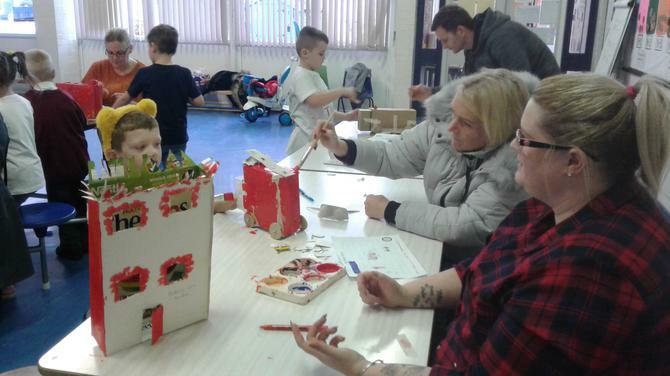 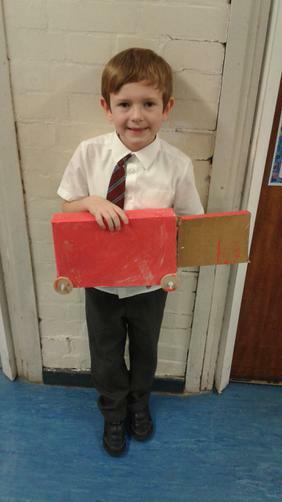 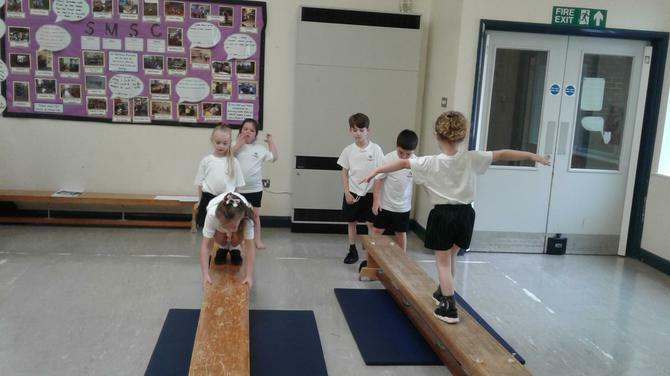 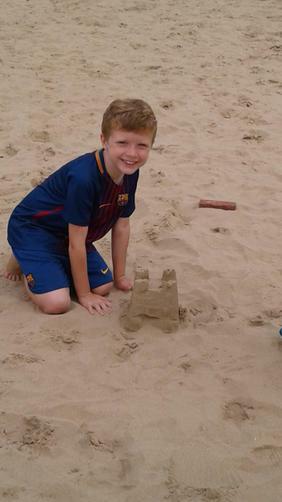 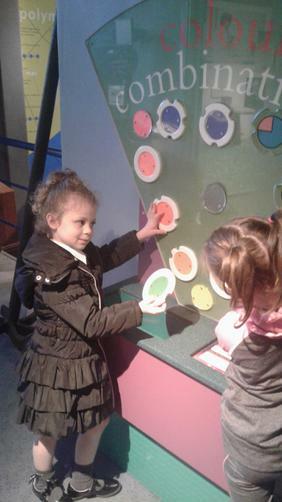 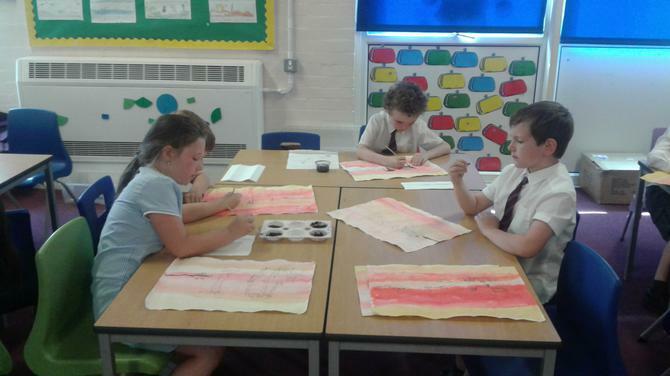 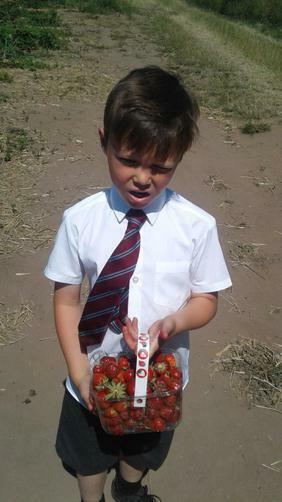 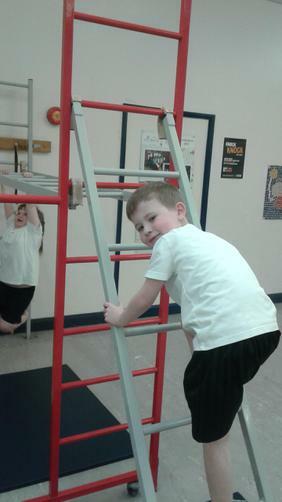 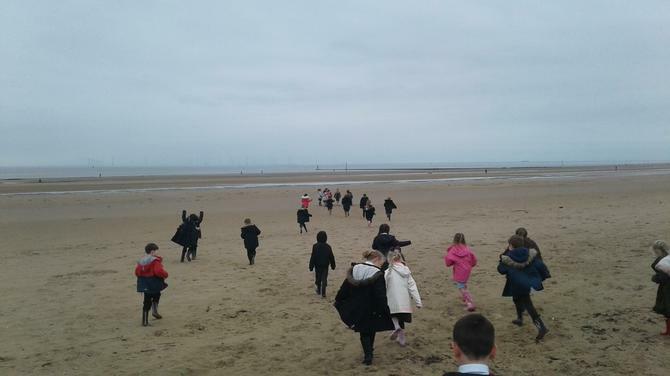 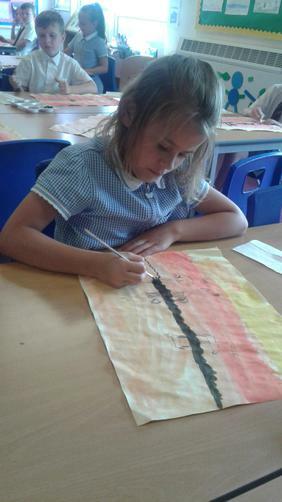 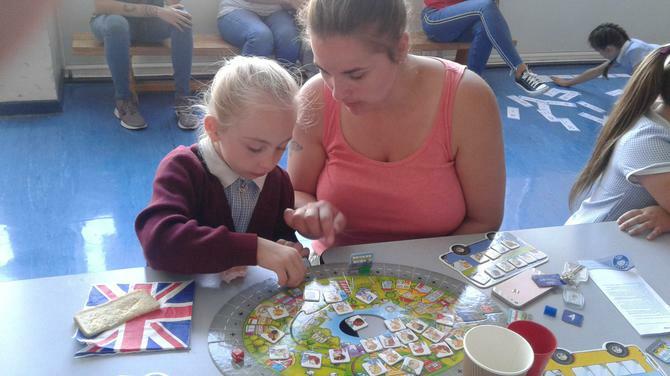 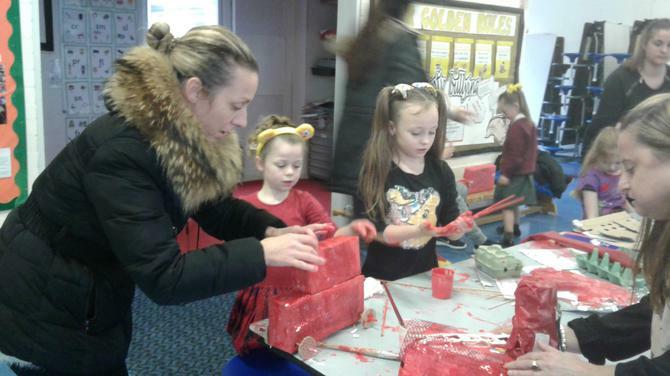 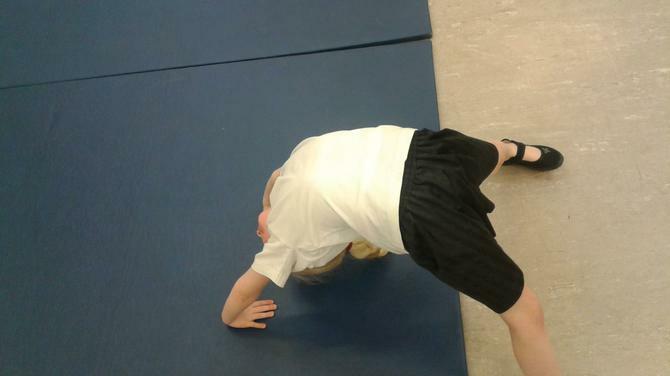 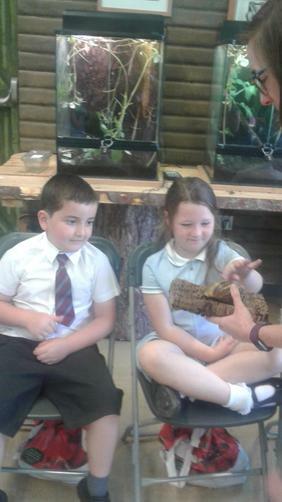 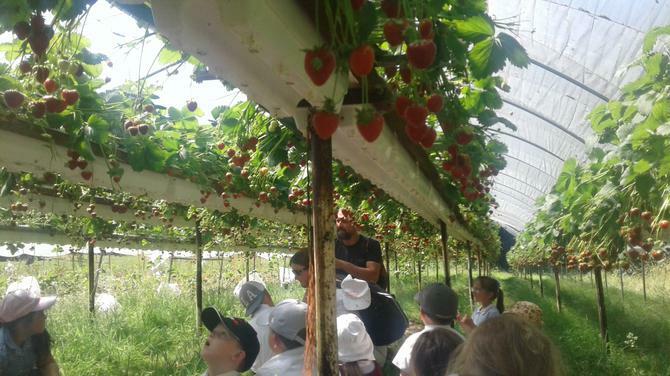 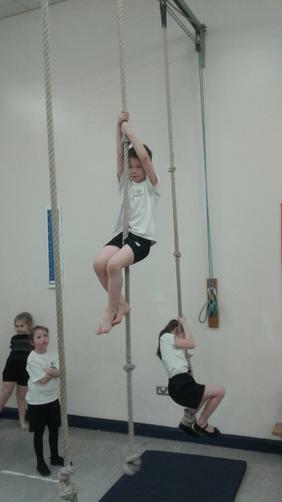 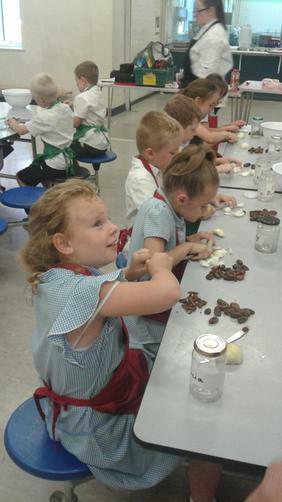 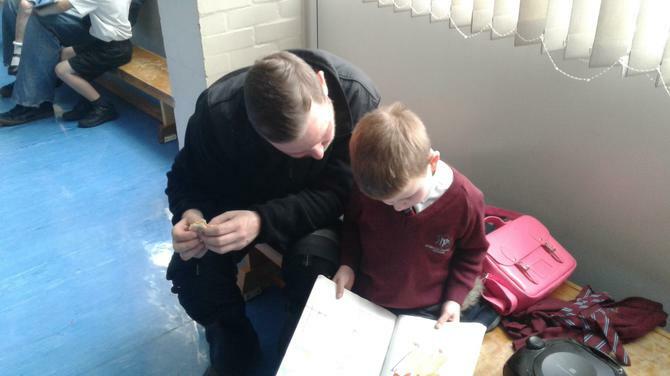 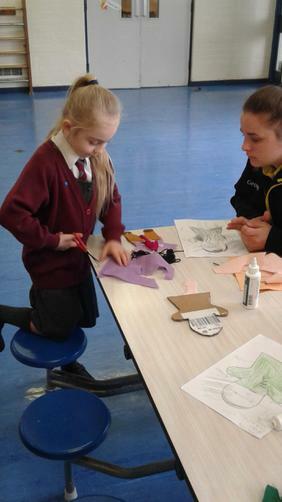 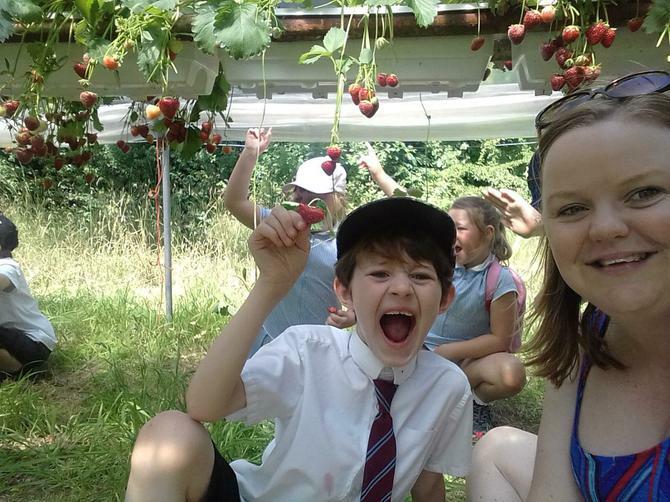 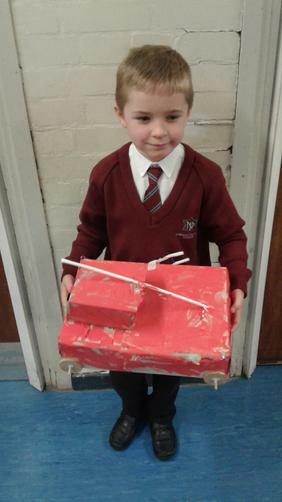 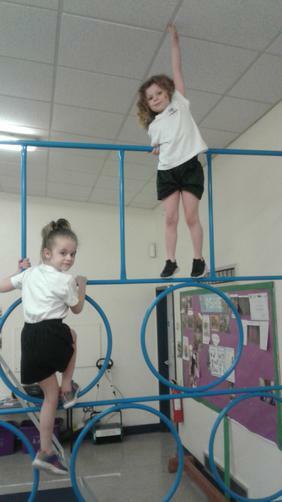 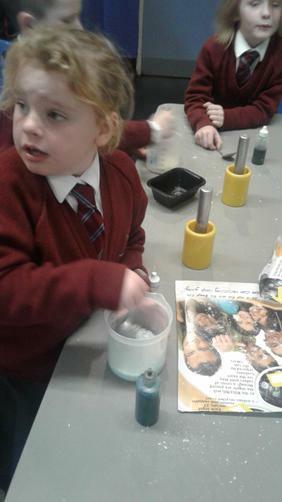 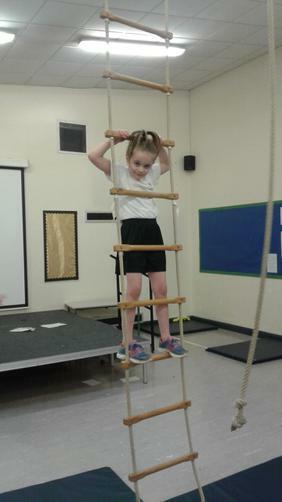 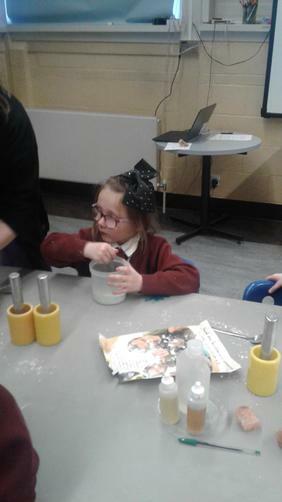 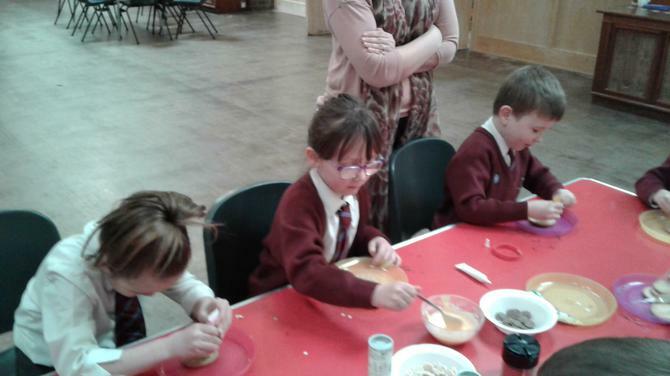 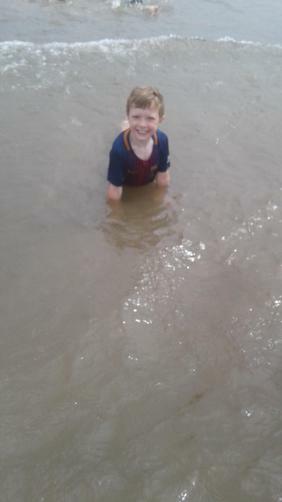 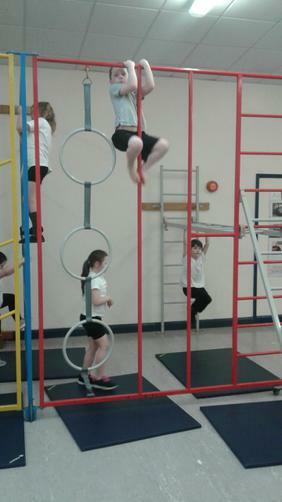 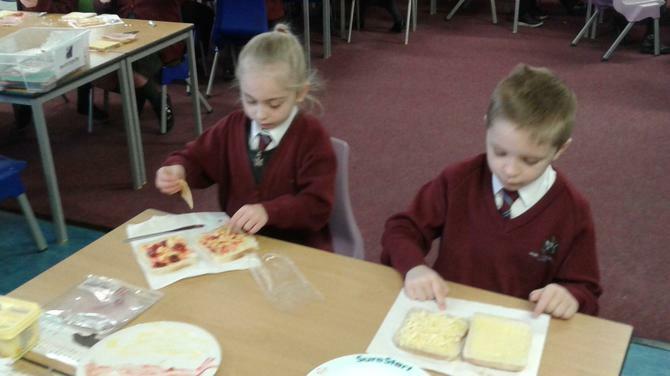 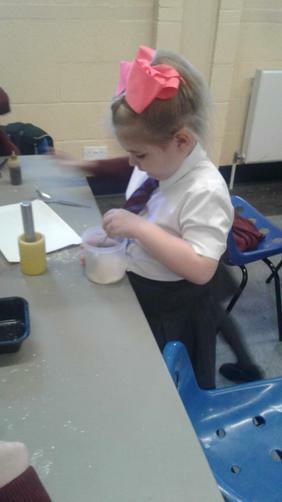 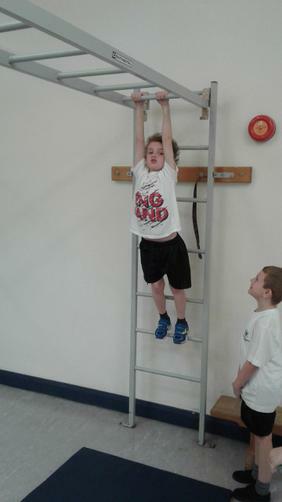 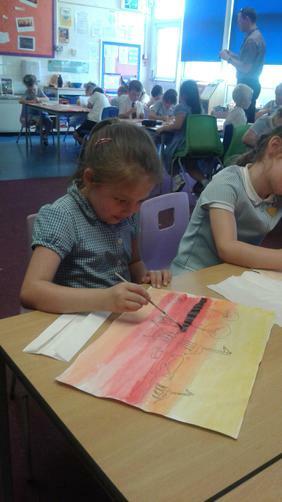 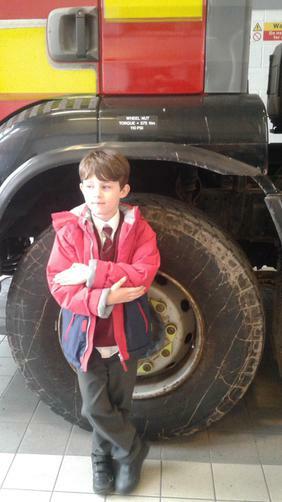 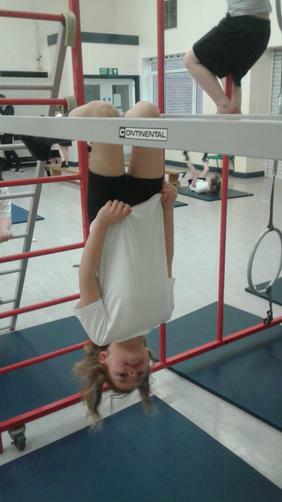 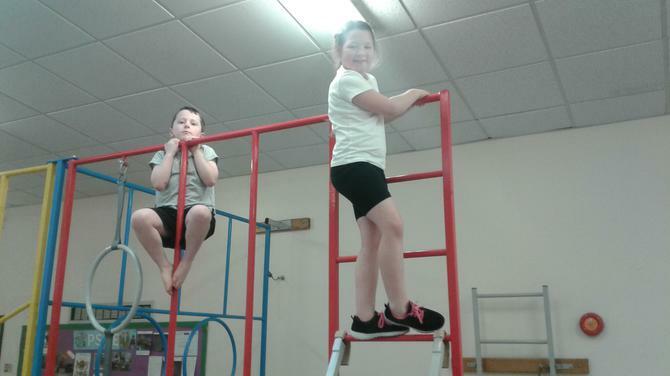 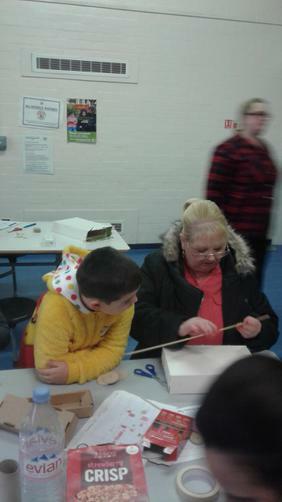 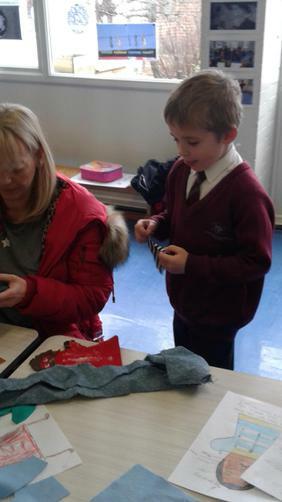 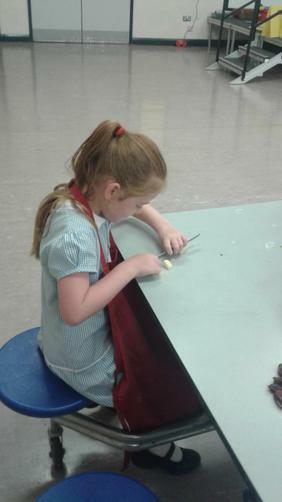 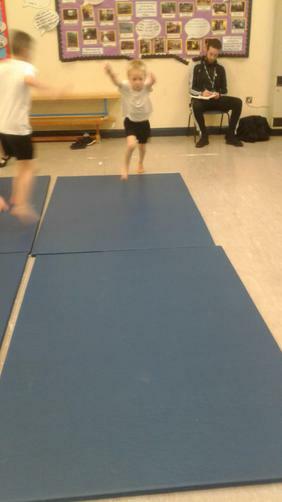 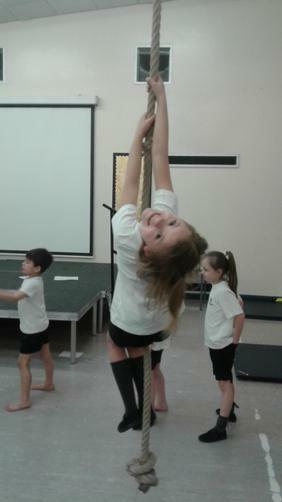 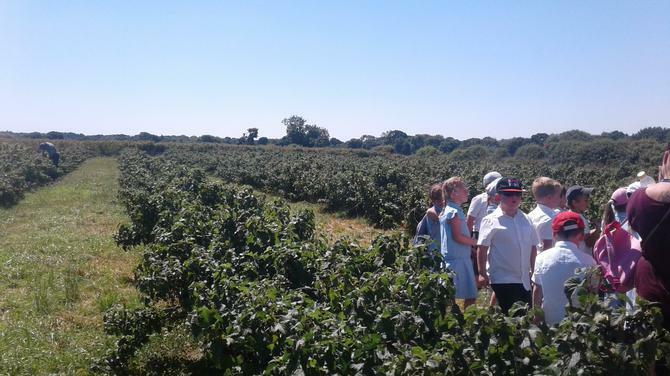 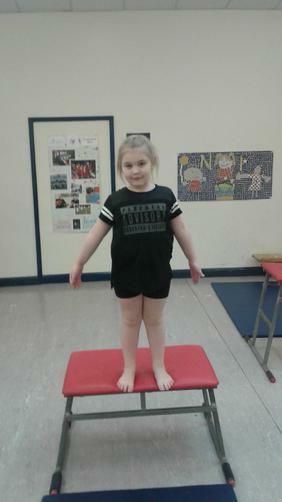 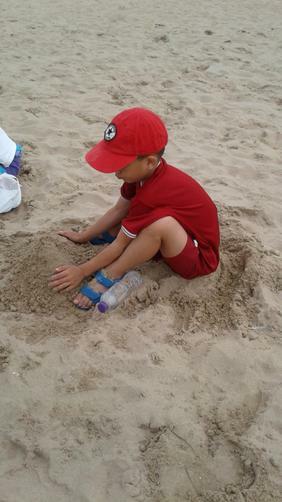 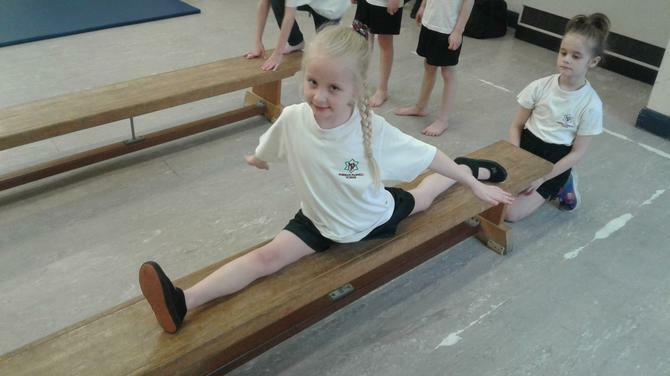 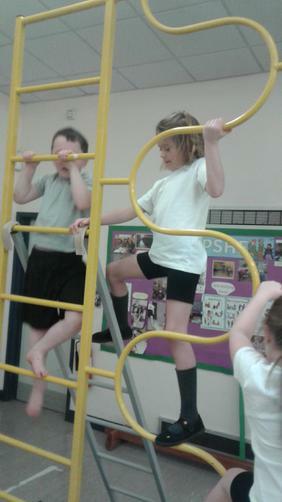 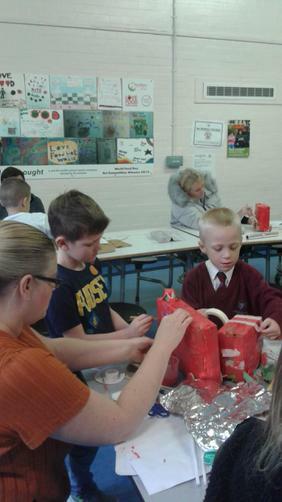 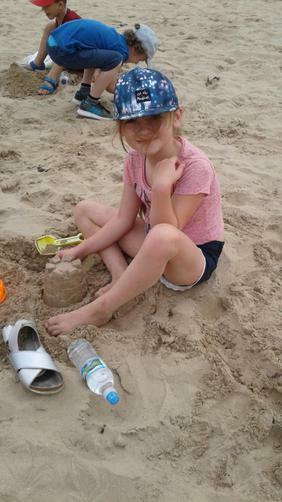 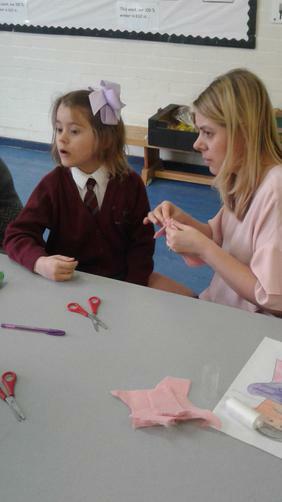 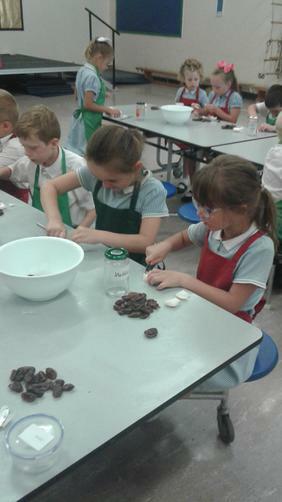 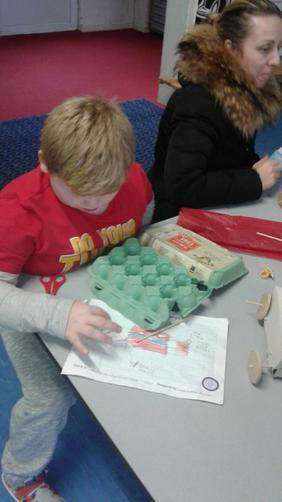 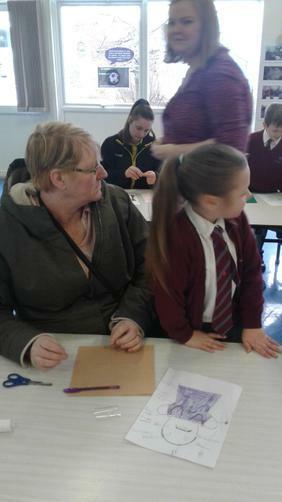 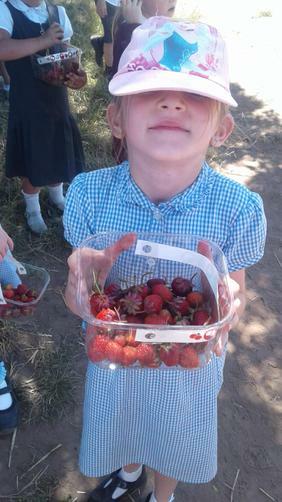 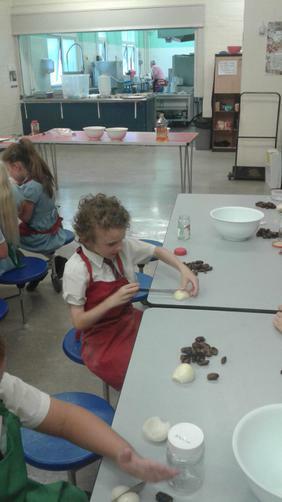 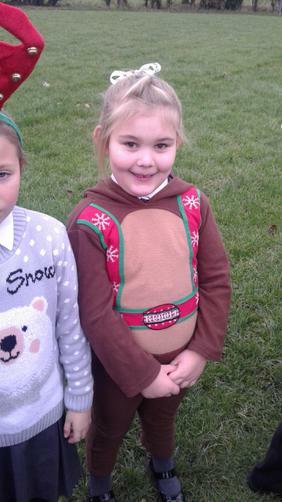 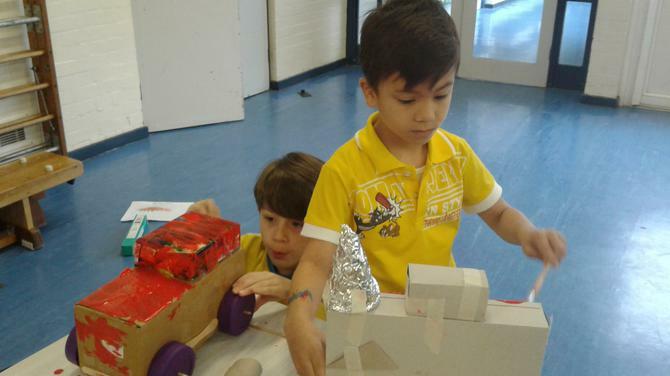 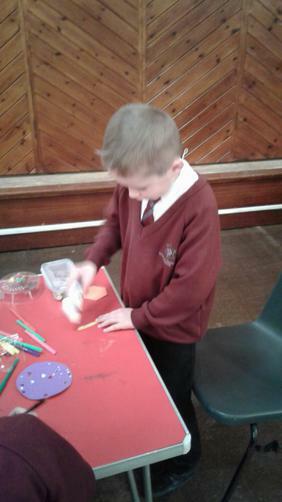 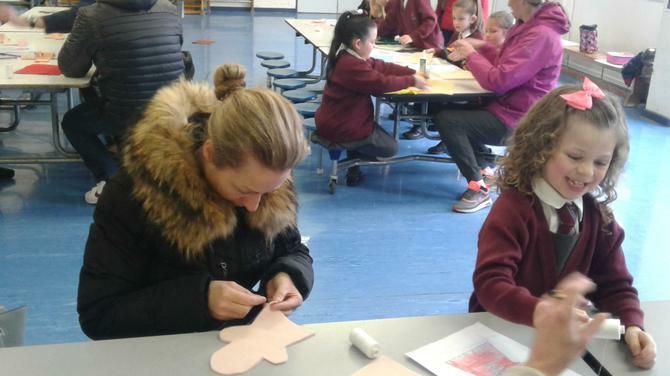 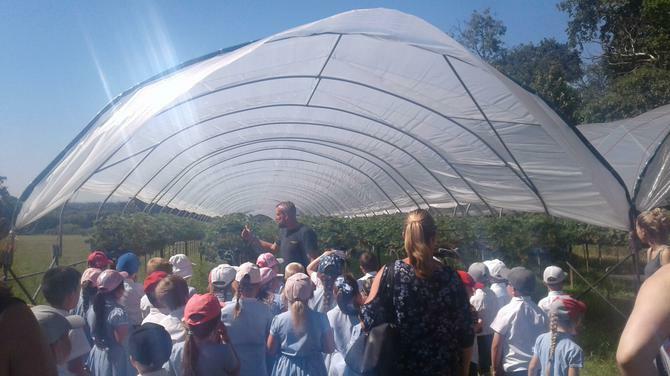 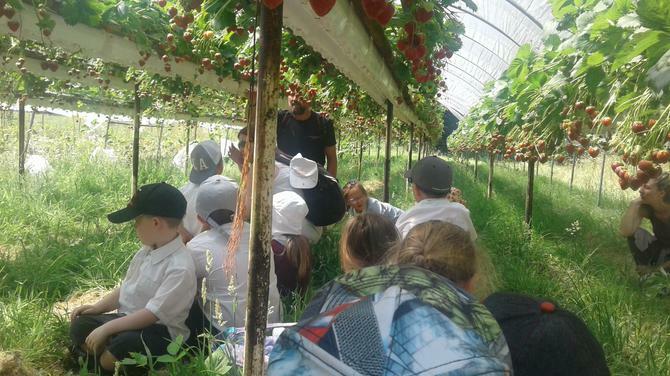 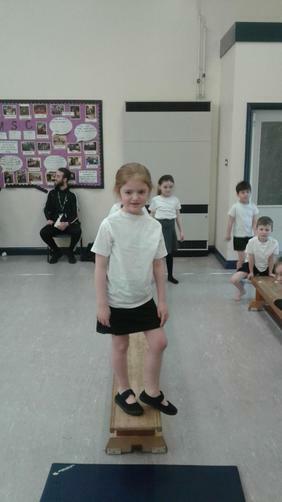 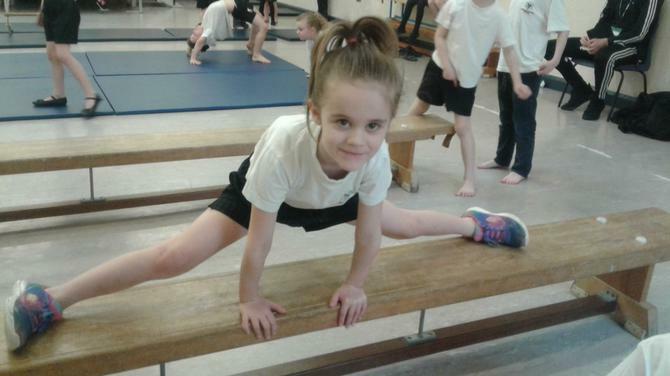 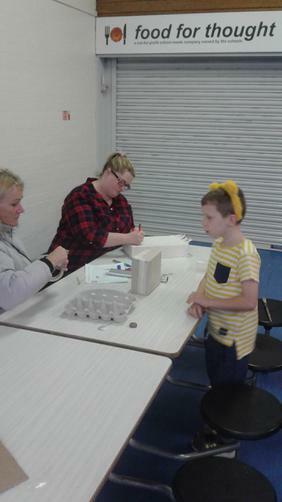 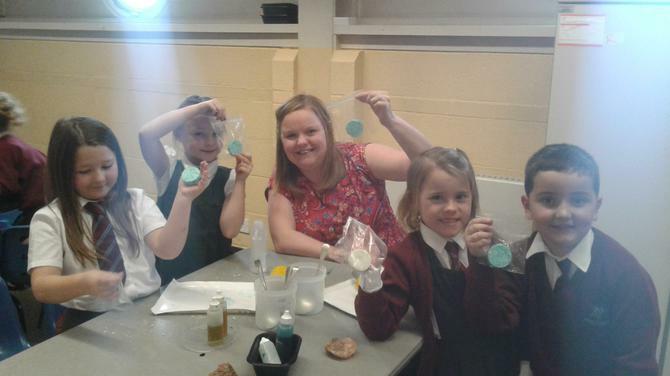 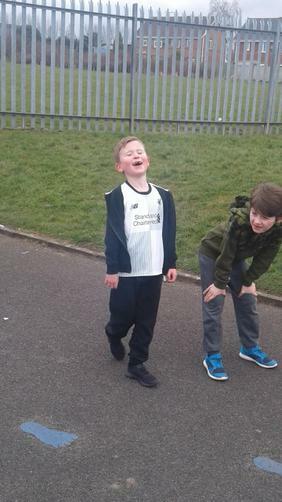 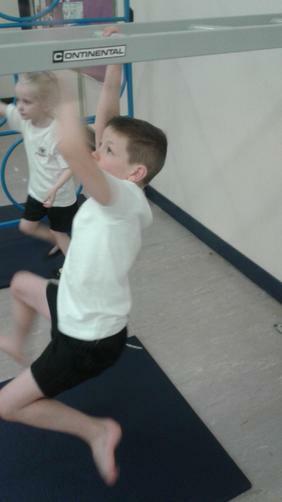 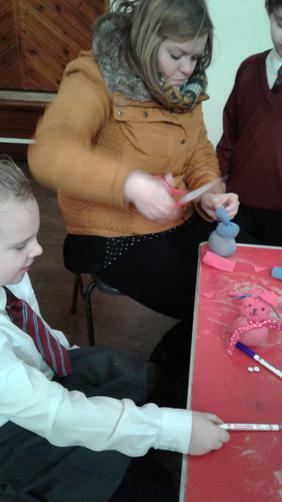 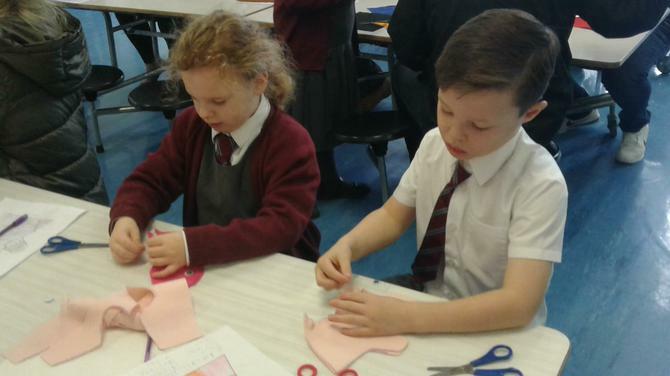 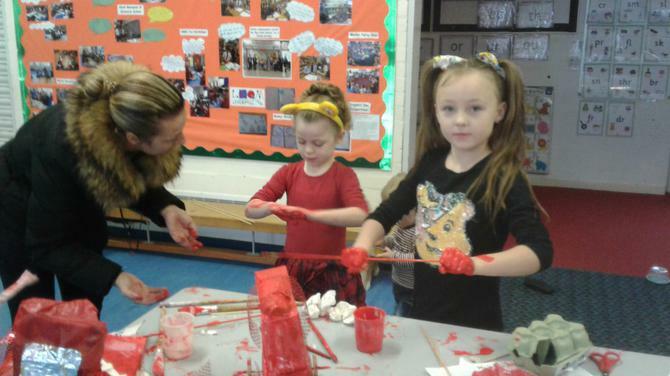 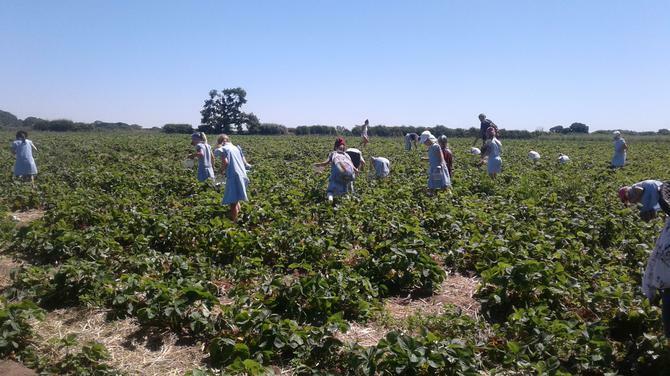 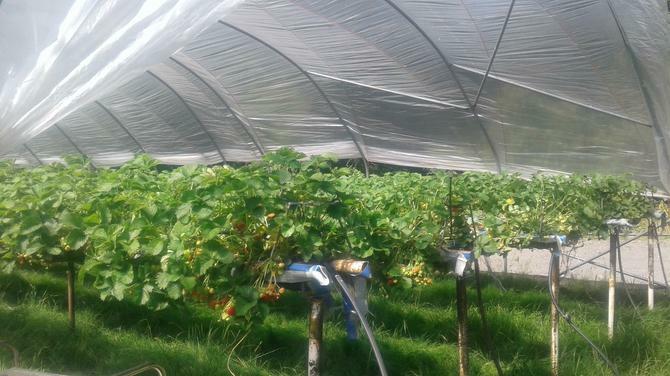 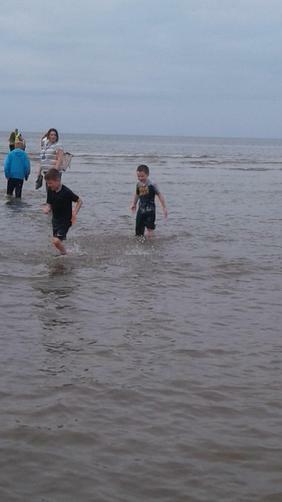 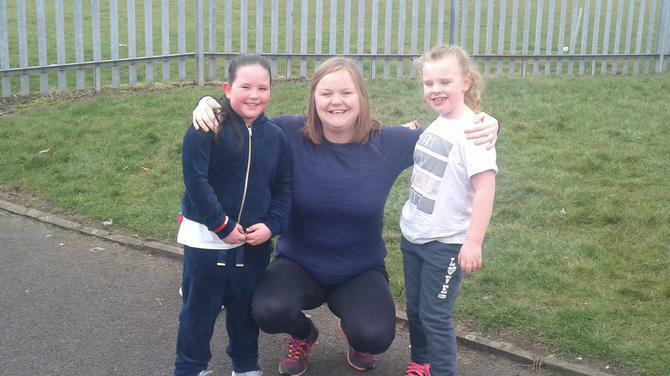 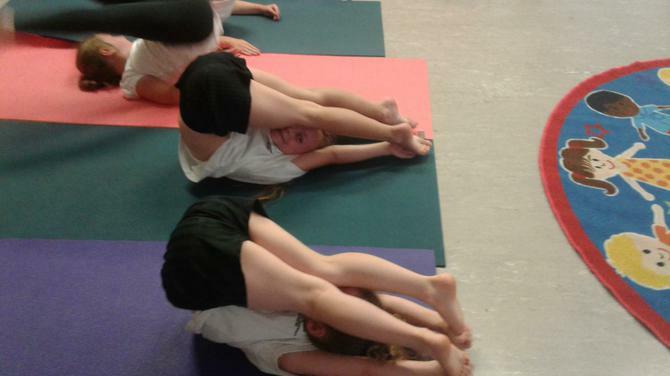 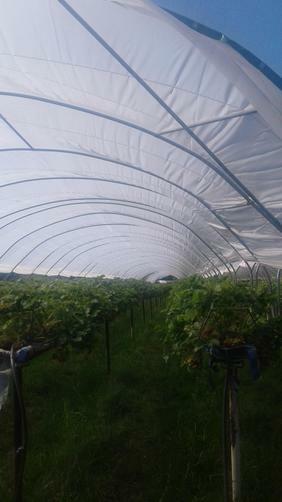 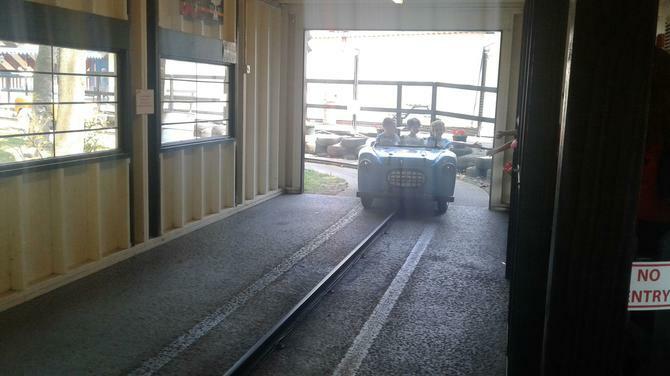 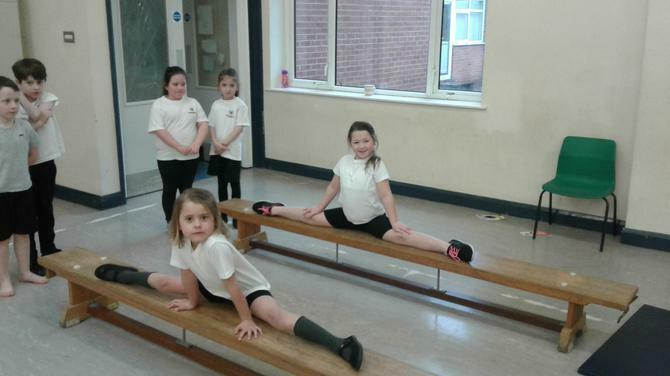 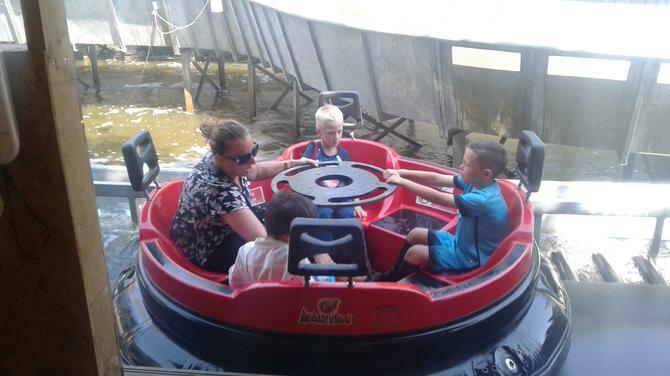 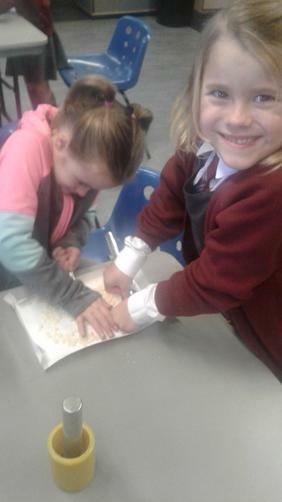 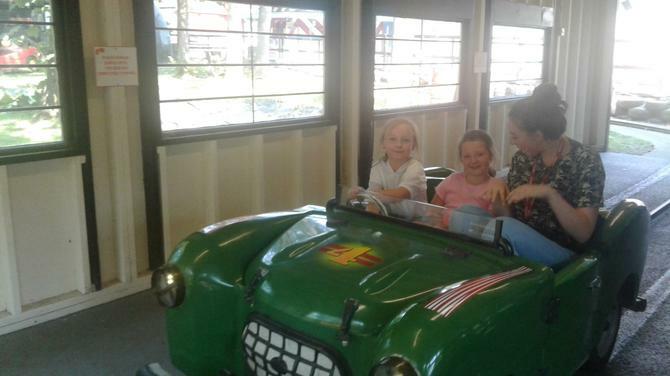 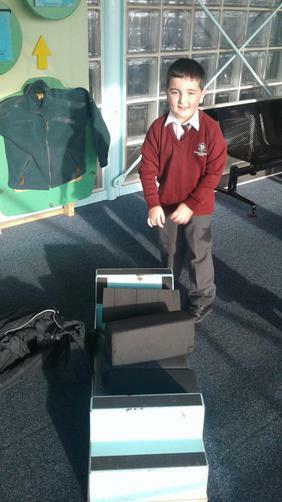 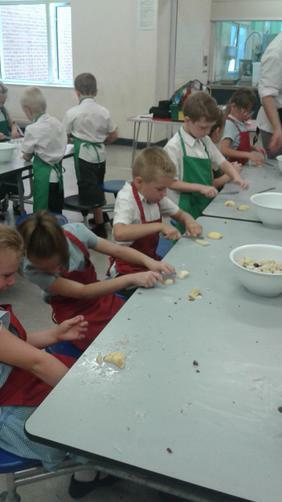 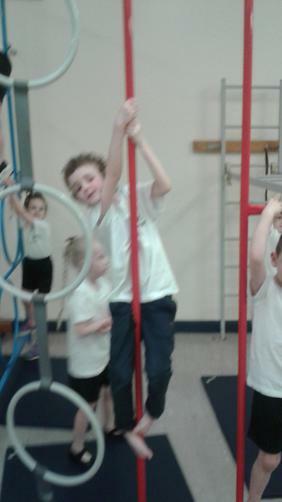 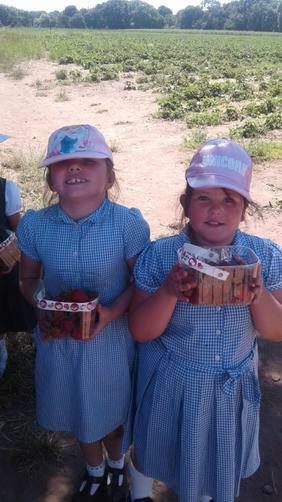 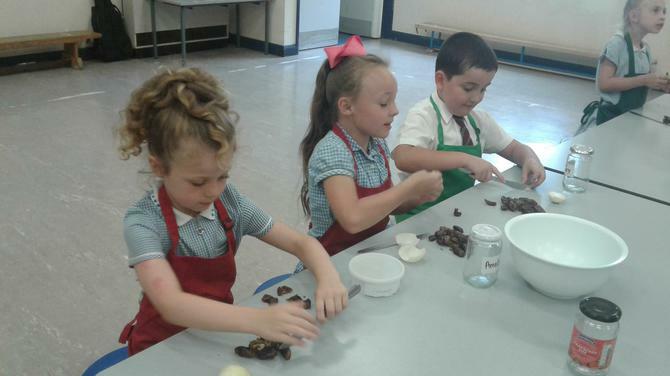 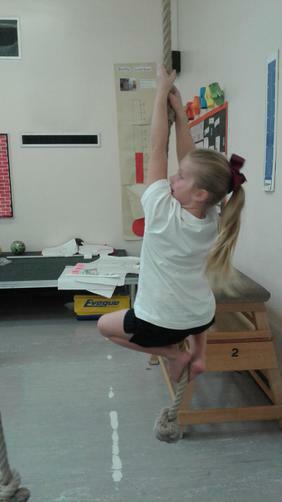 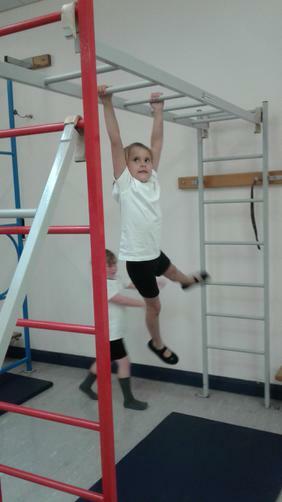 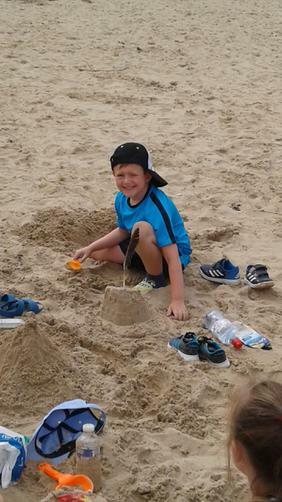 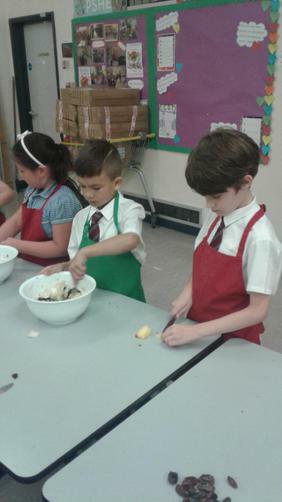 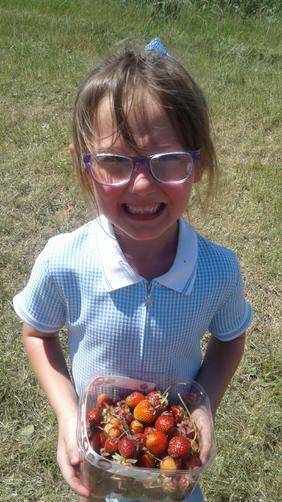 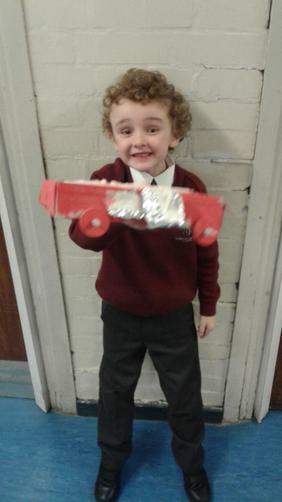 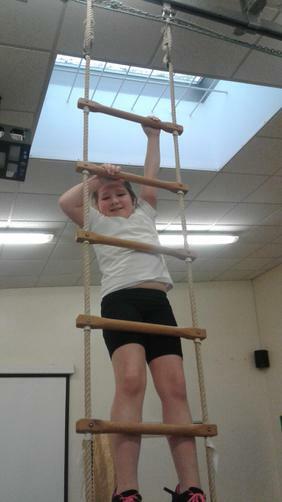 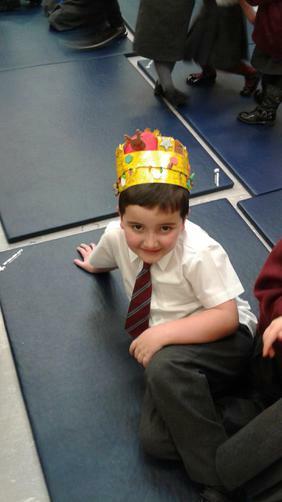 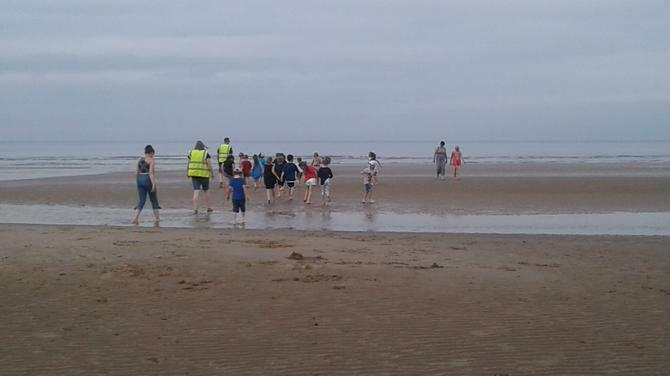 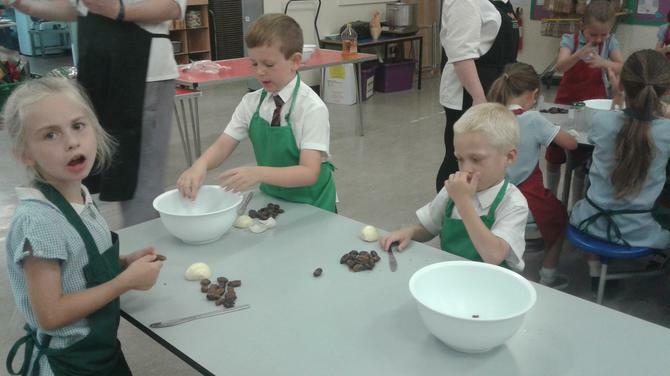 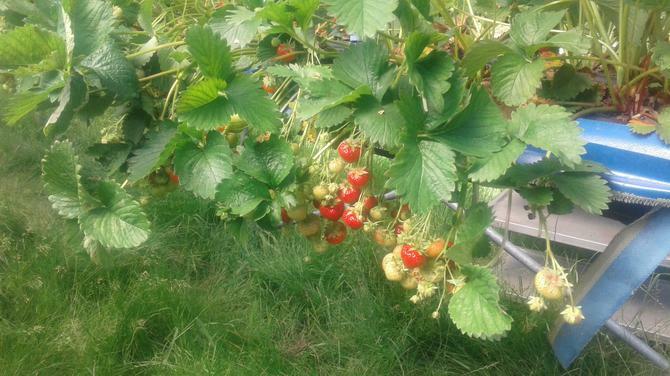 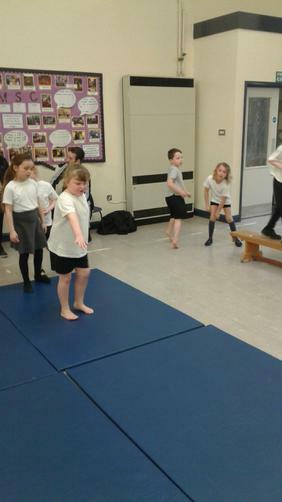 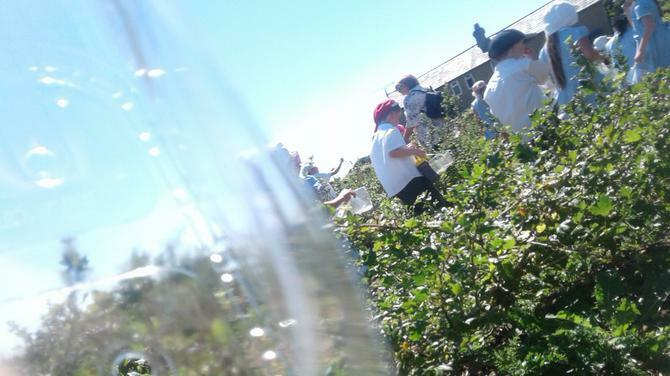 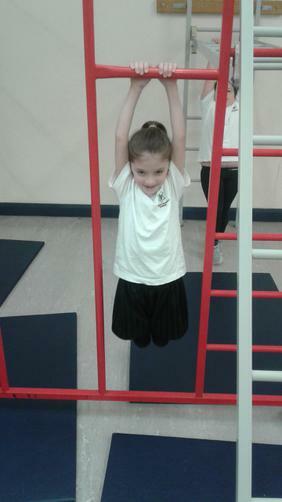 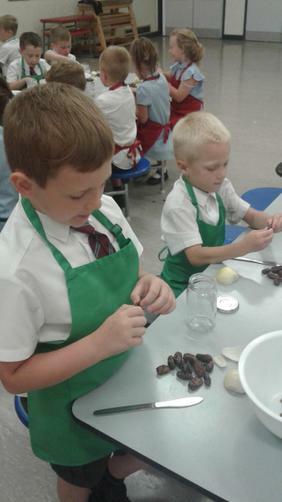 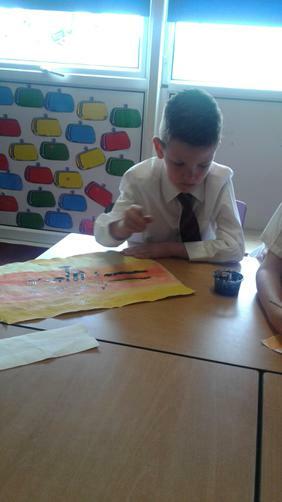 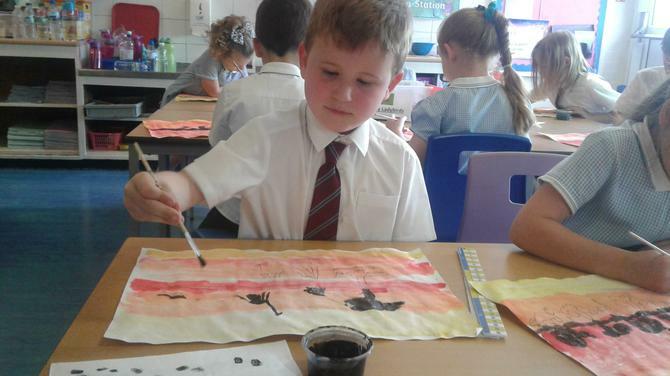 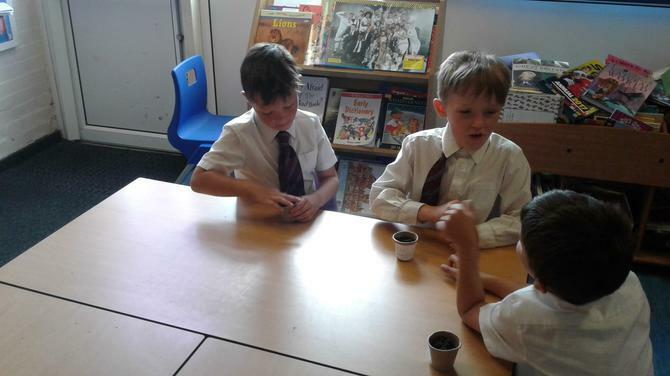 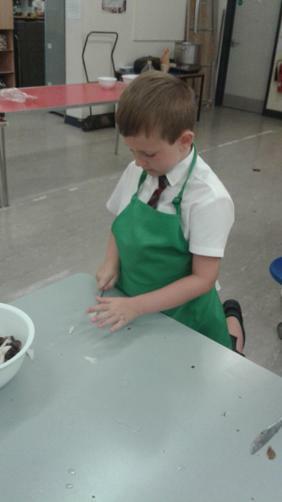 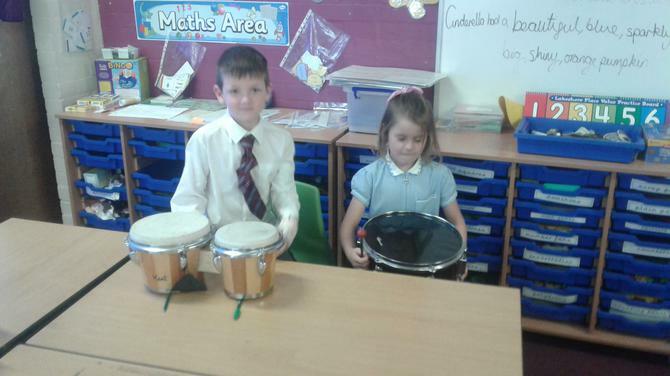 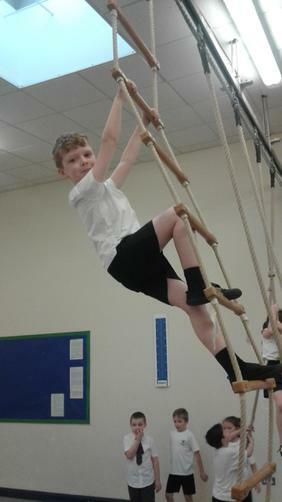 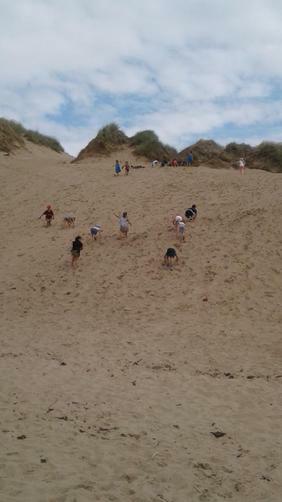 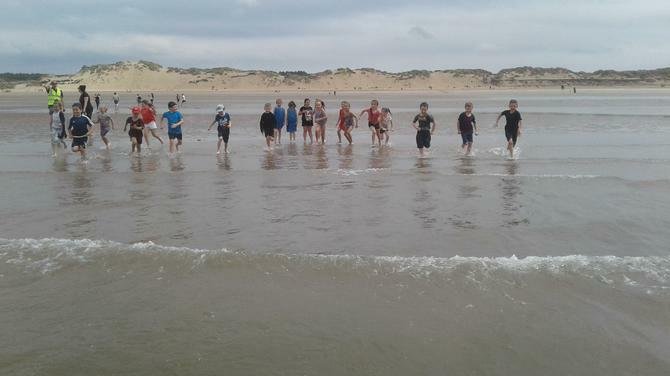 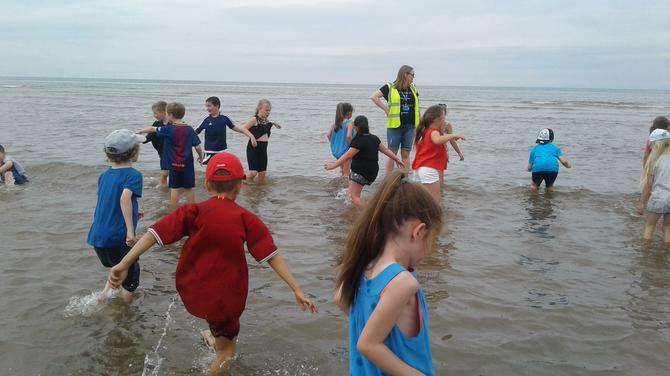 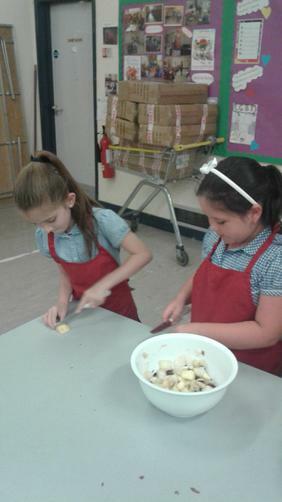 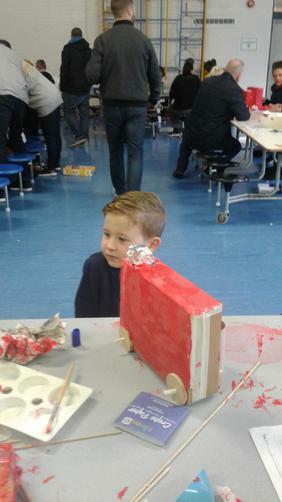 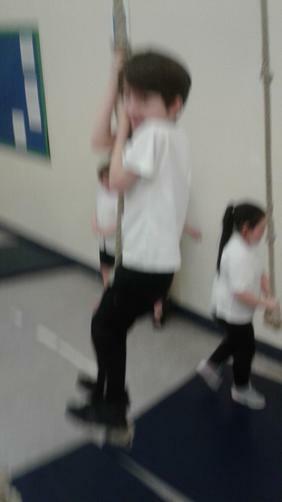 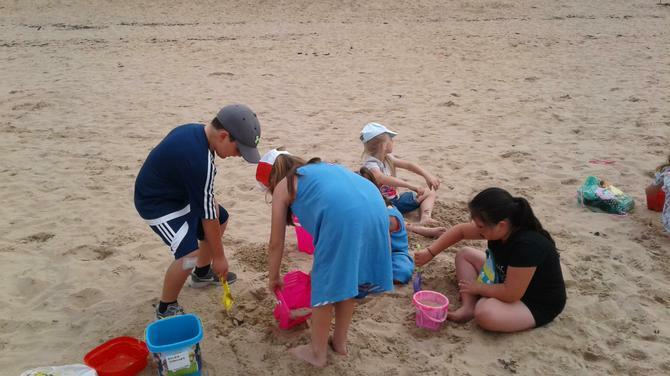 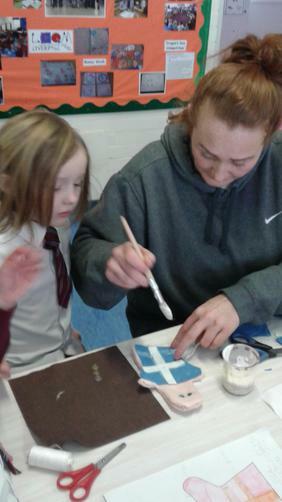 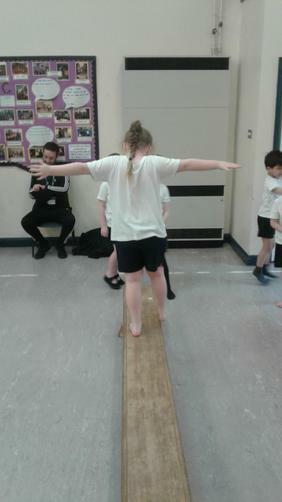 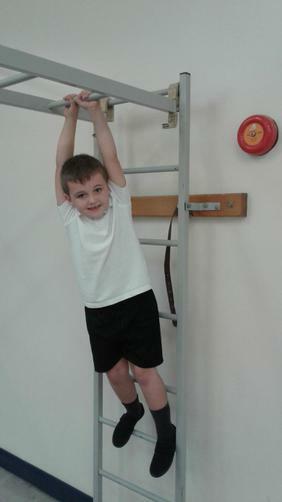 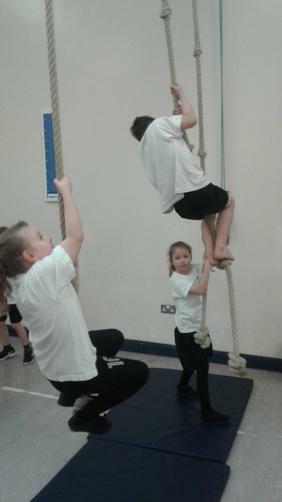 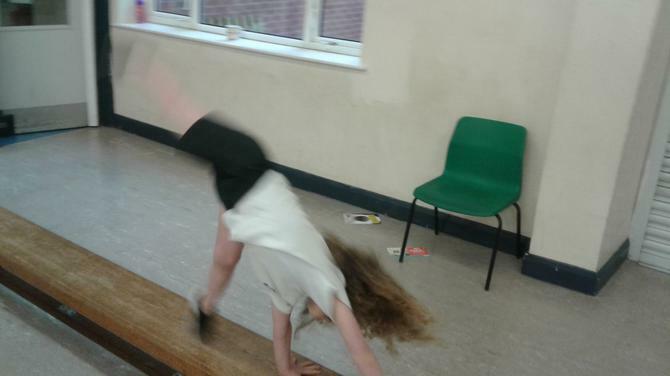 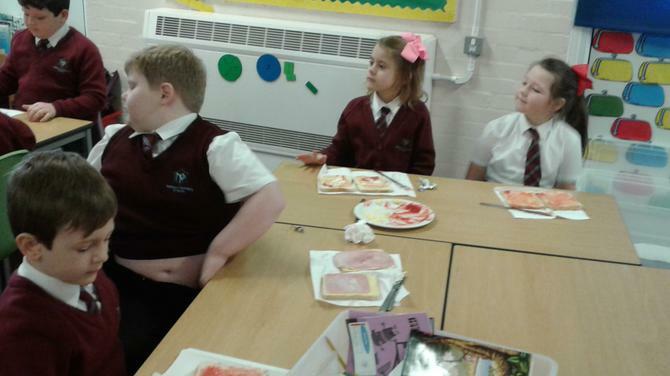 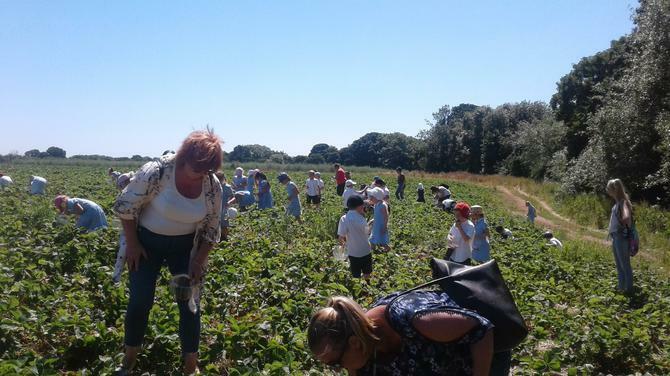 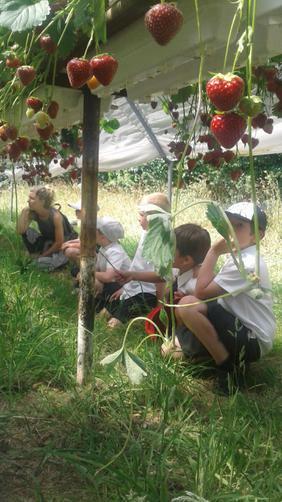 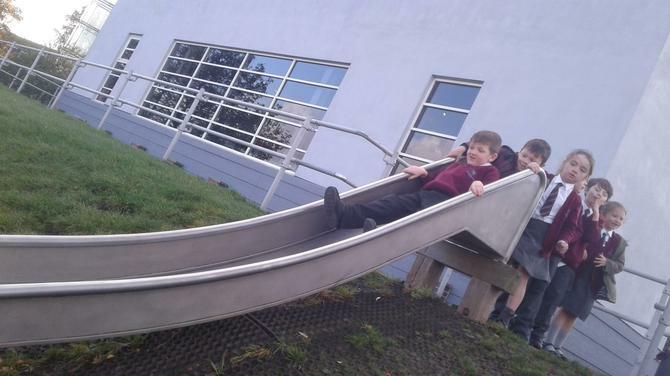 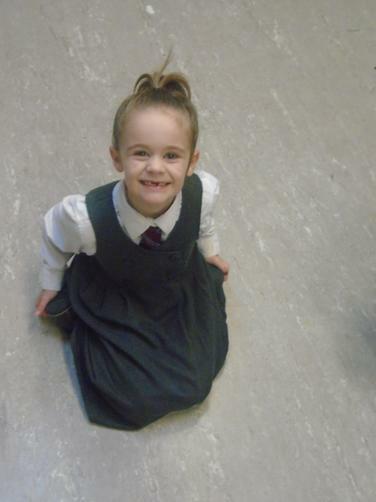 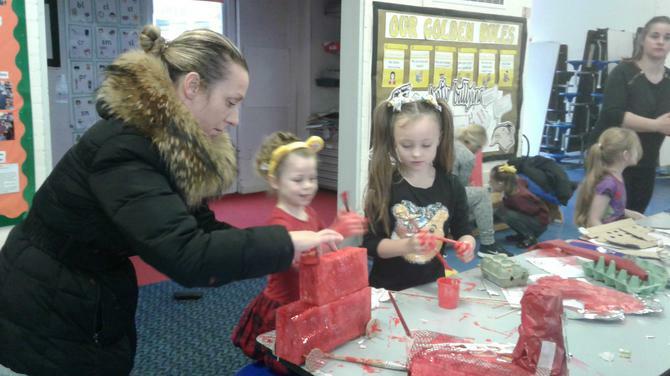 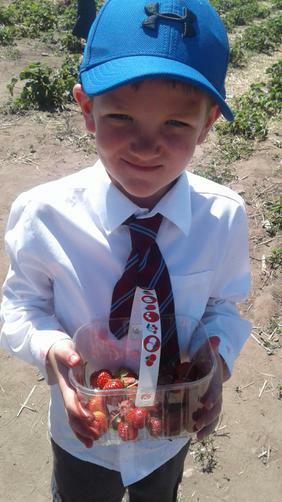 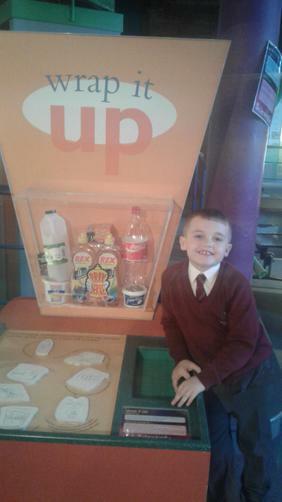 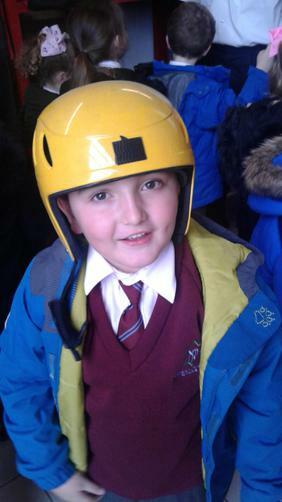 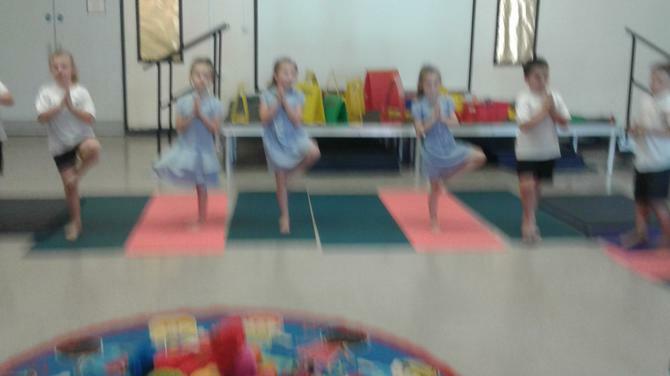 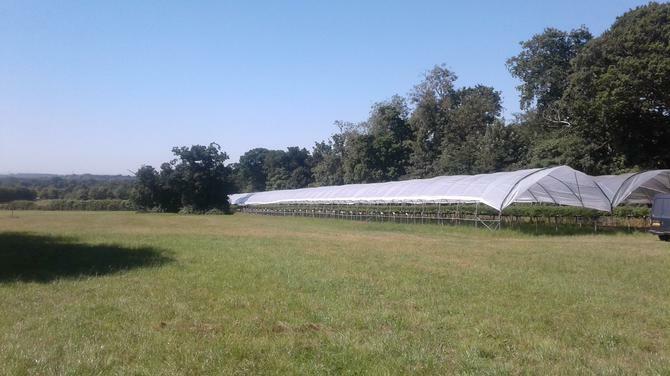 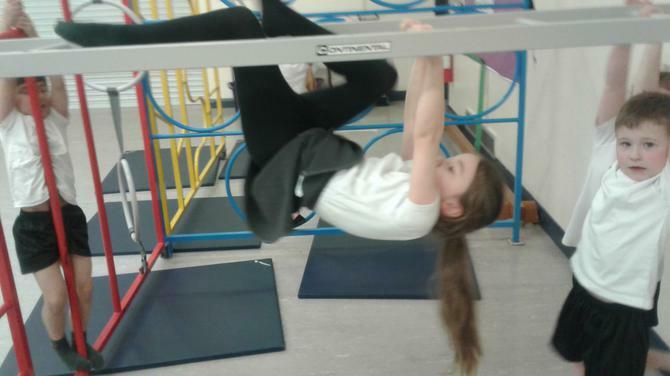 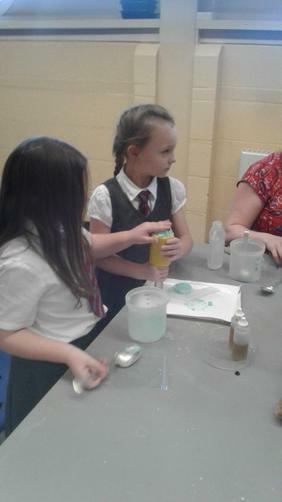 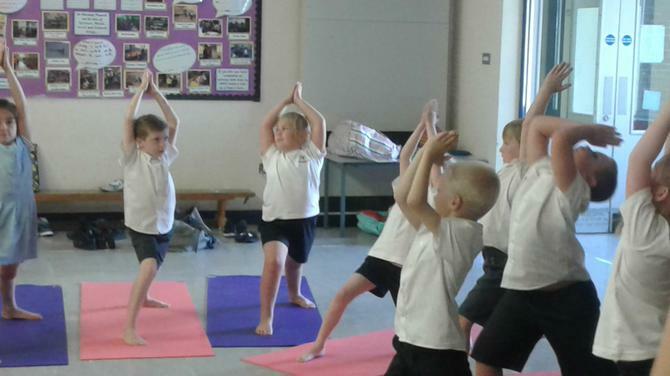 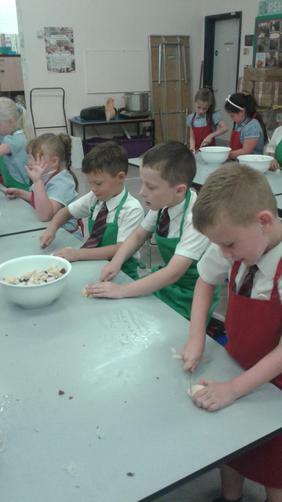 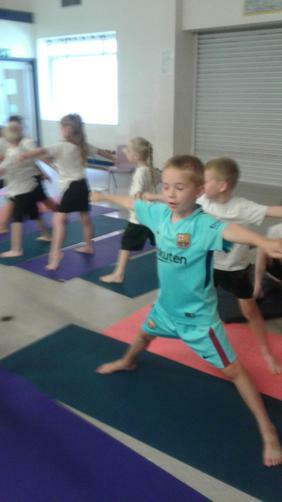 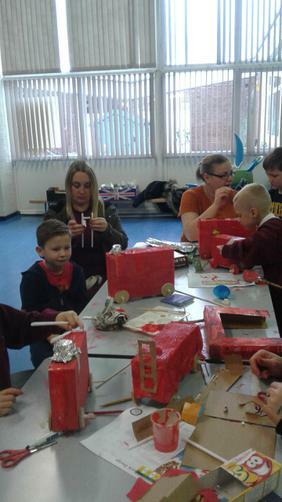 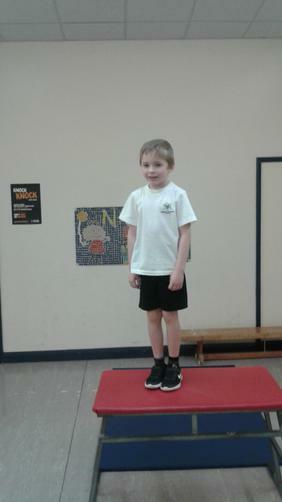 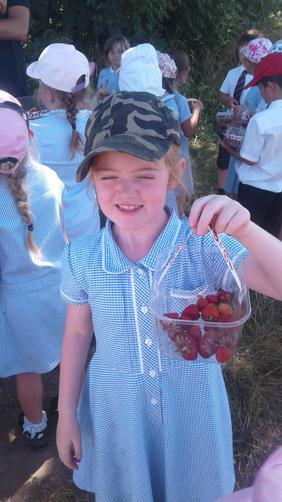 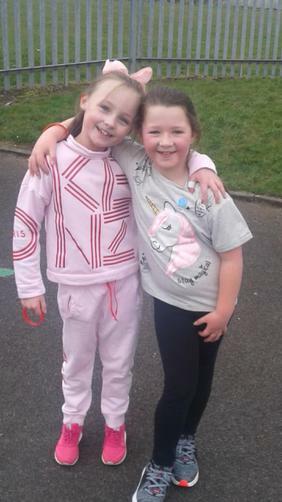 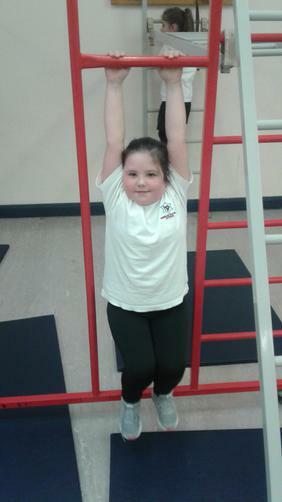 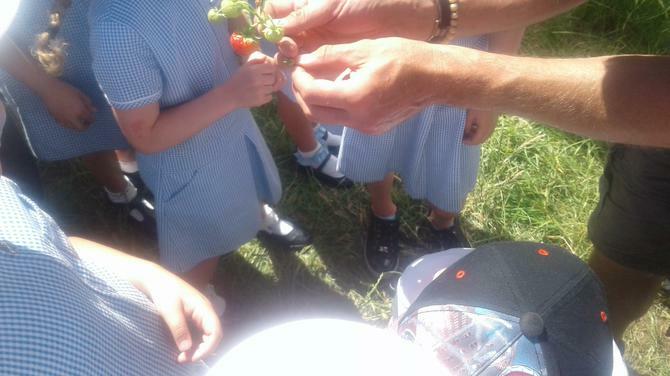 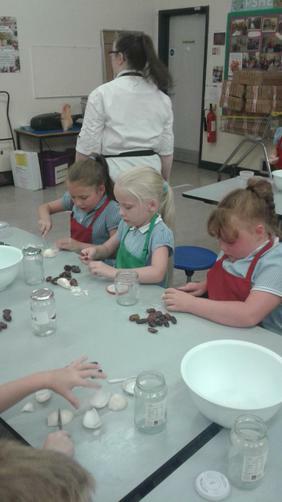 During the half term some of the children have took part in extra curriculum activities outside of school. 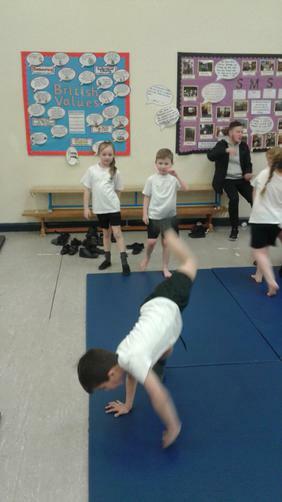 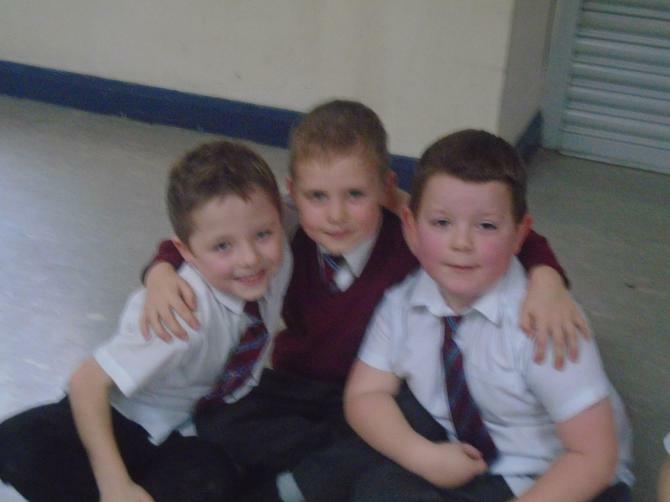 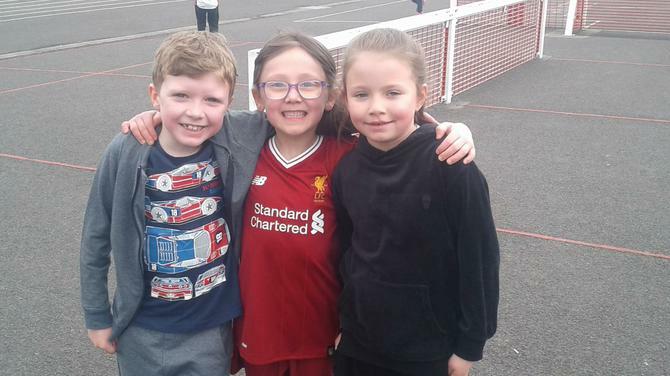 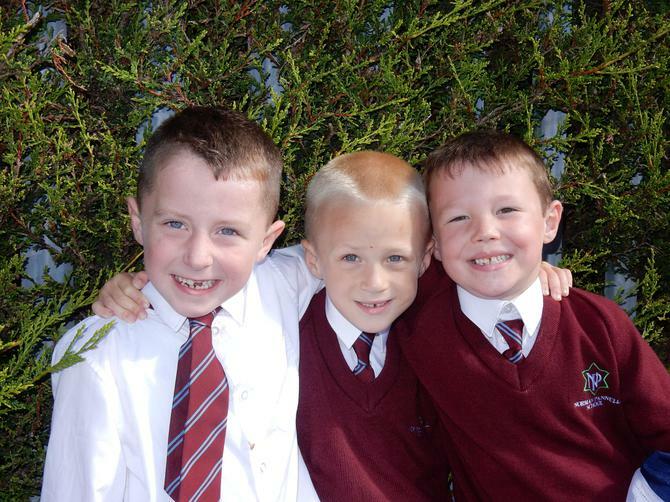 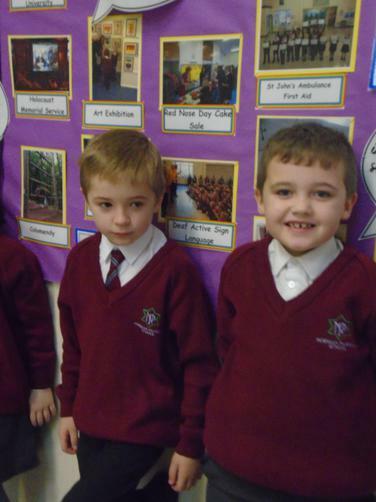 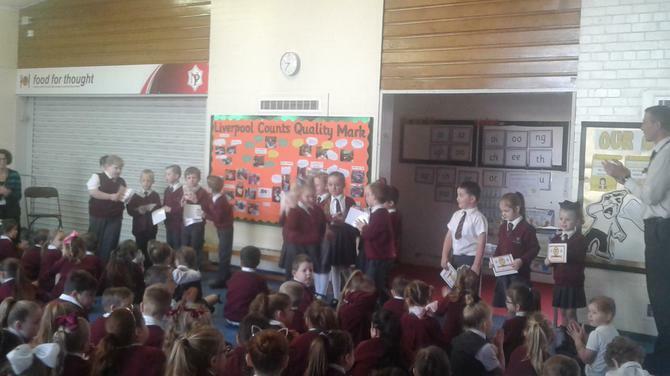 A big well done to Dylan, Kayden, Cody and Amelia. 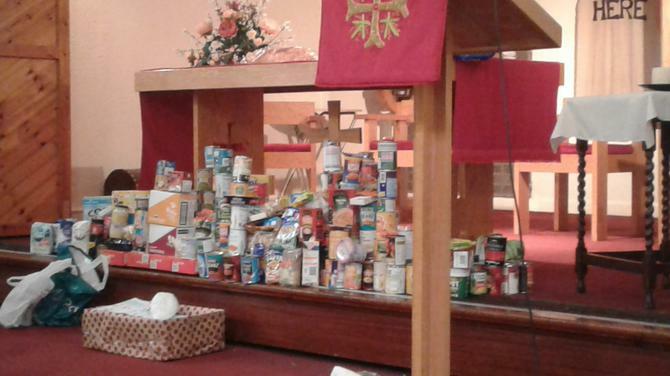 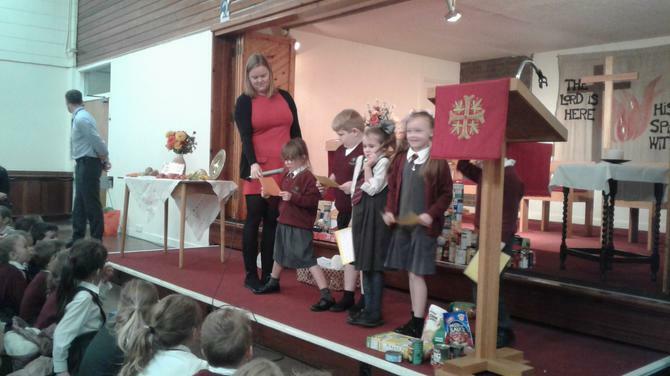 Thank you to all our children and parents who bought or donated food for the Harvest festival. 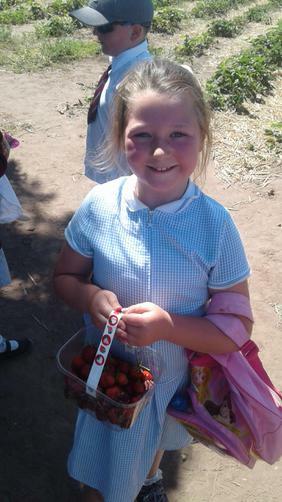 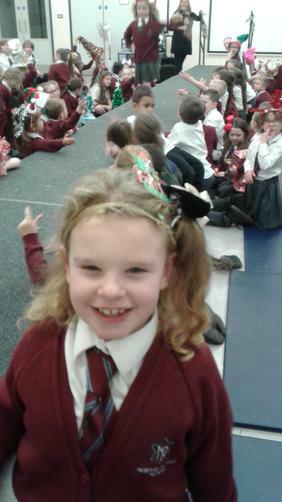 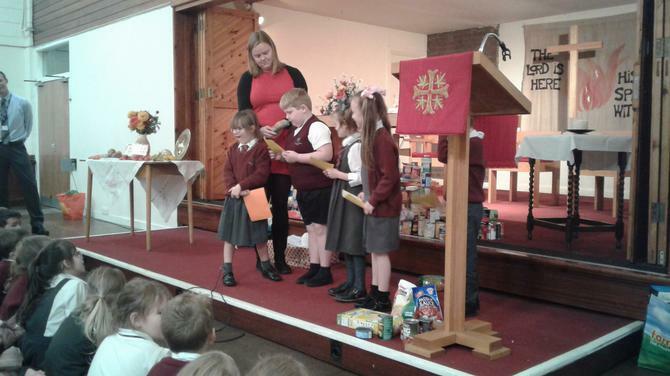 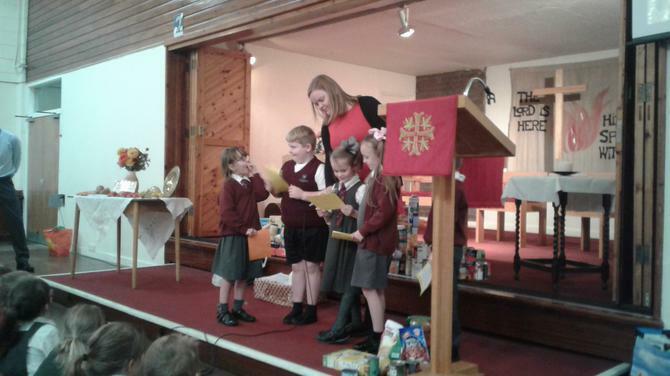 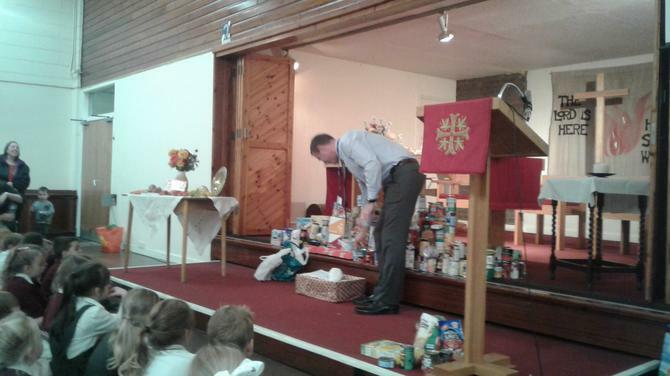 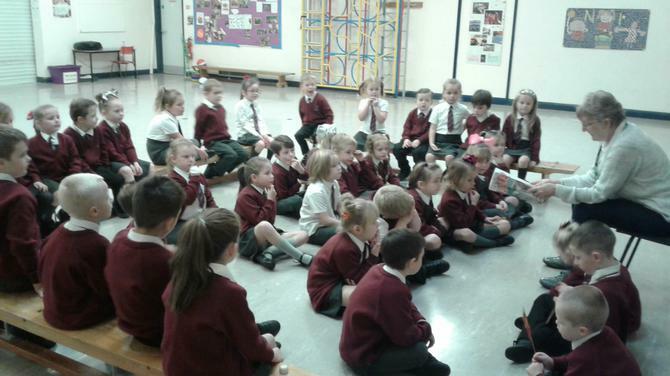 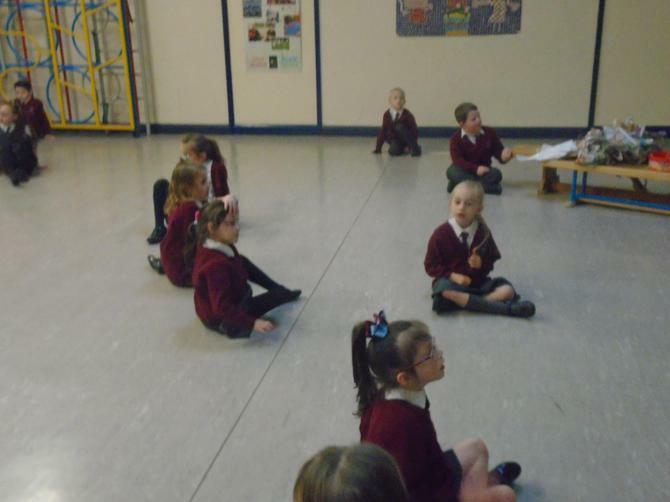 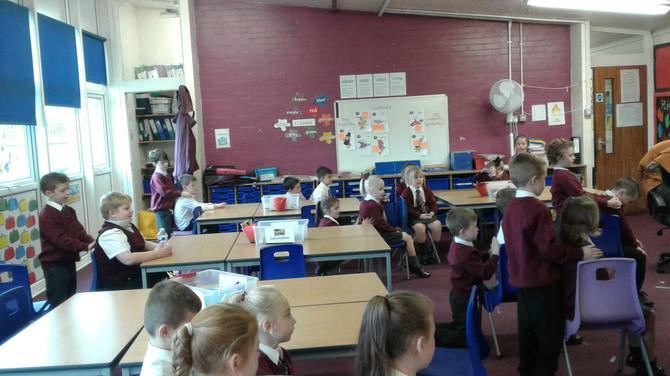 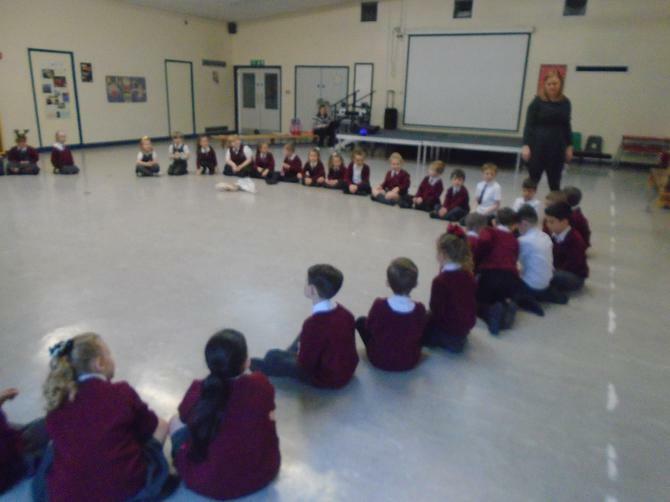 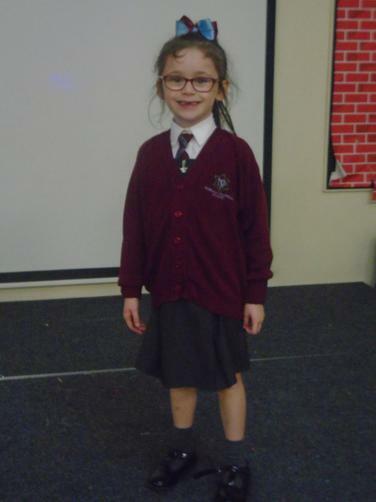 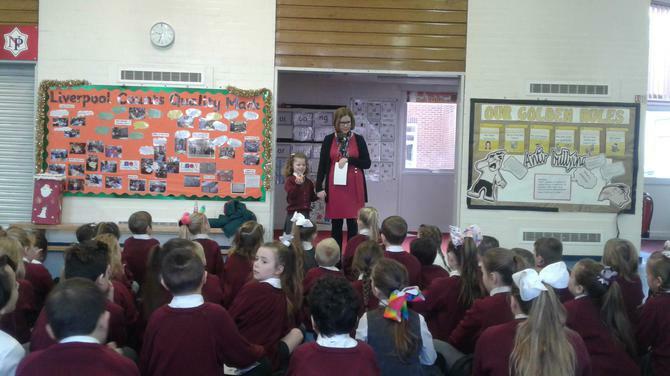 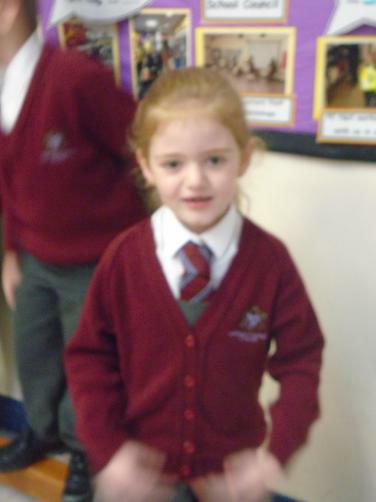 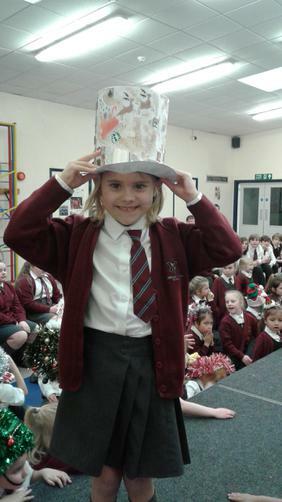 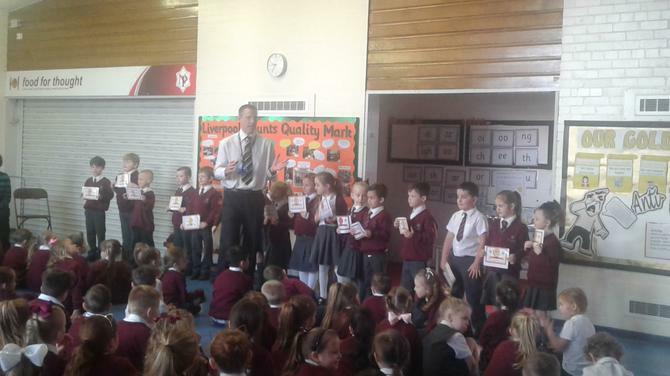 On Friday we had a Harvest assembly at Christ Church were each class shared something. 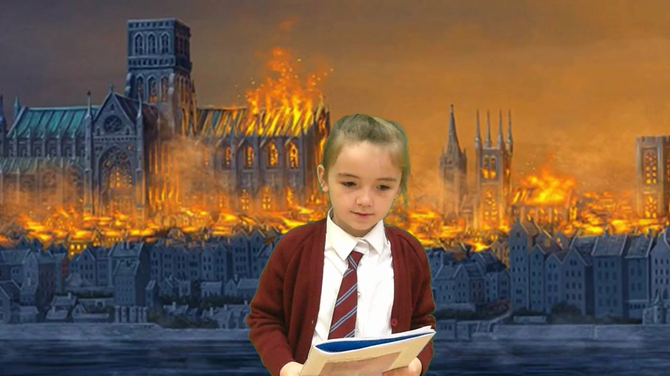 Welcome to the London news. 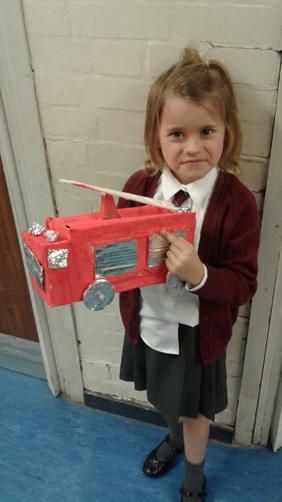 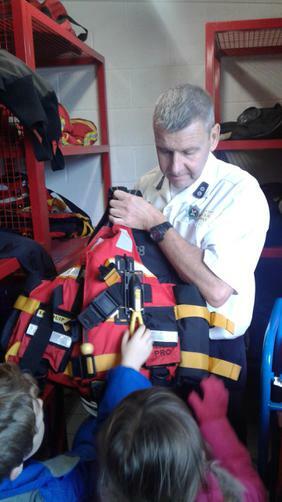 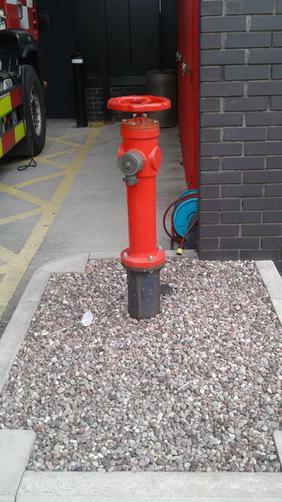 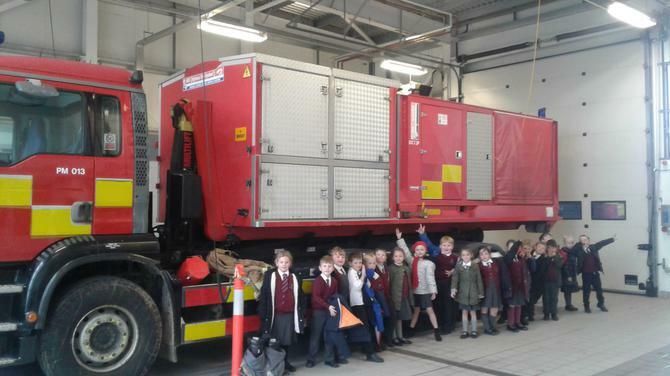 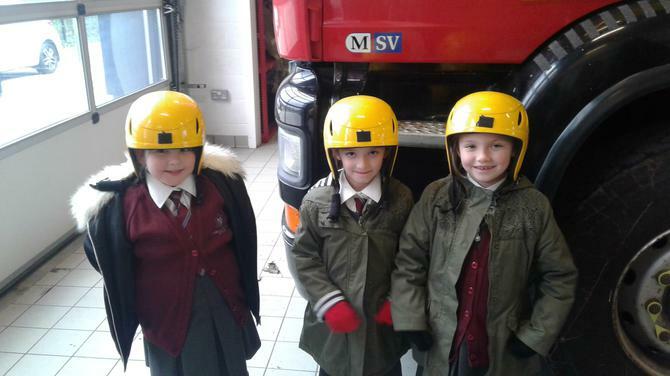 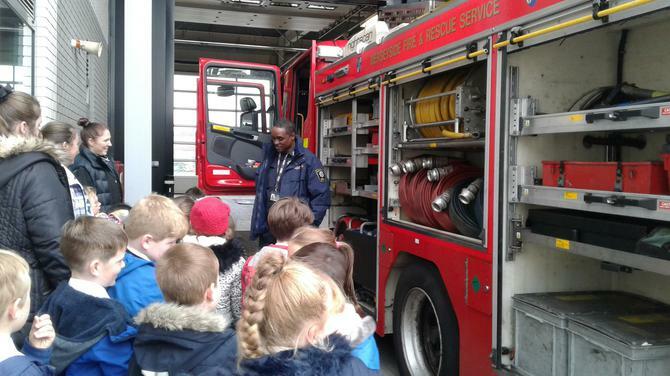 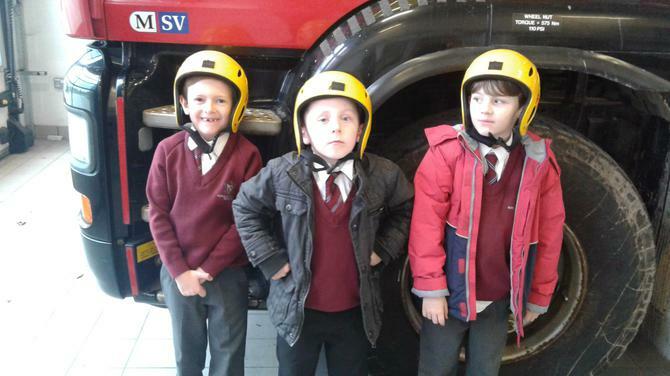 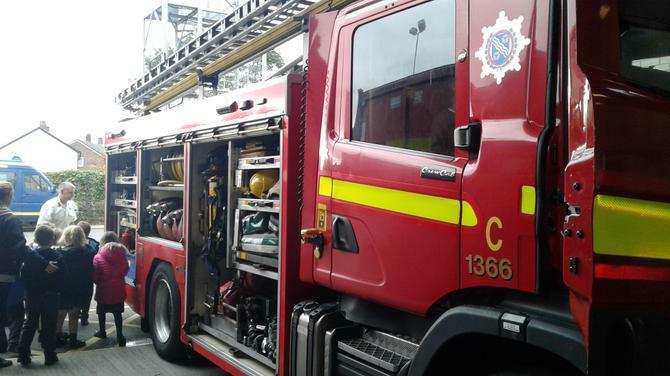 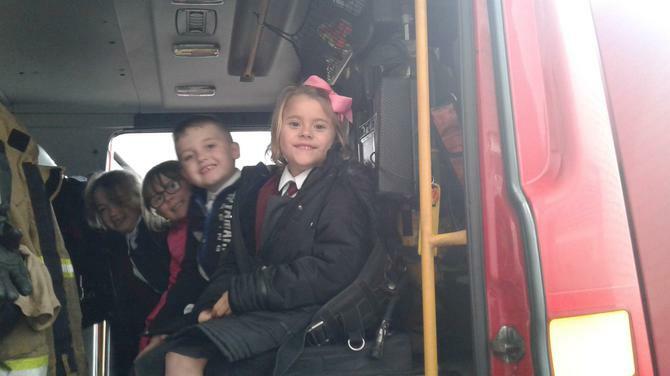 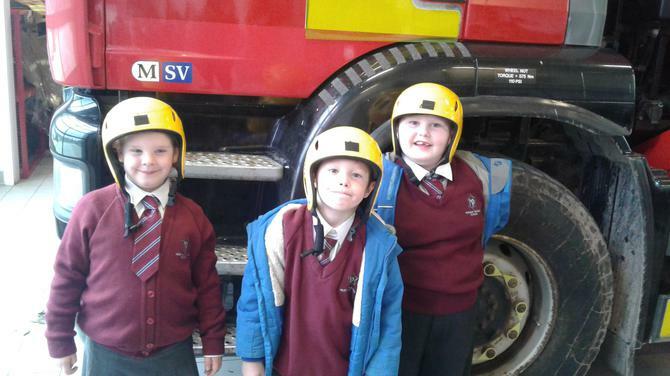 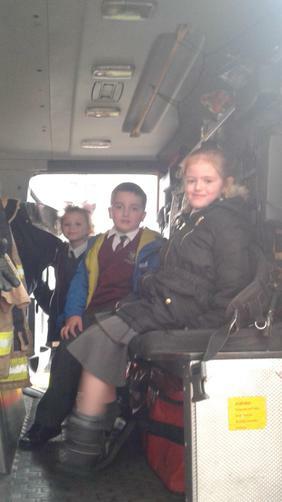 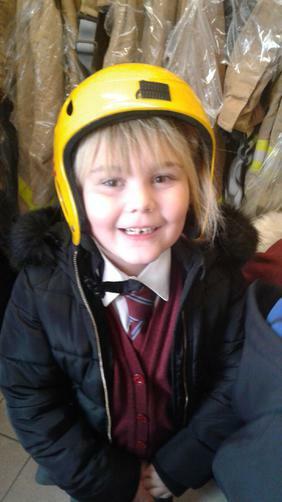 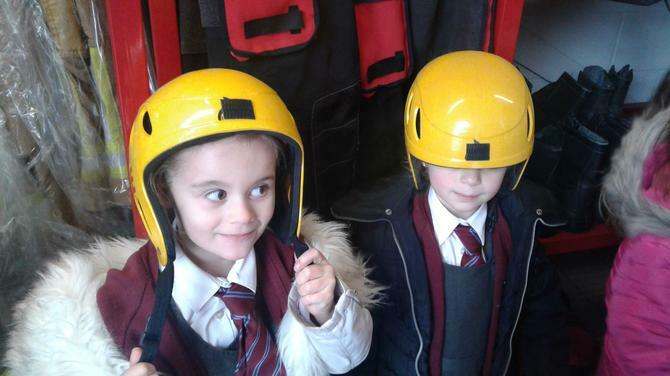 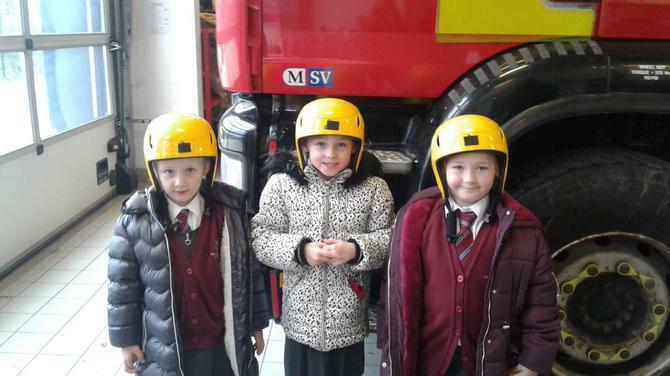 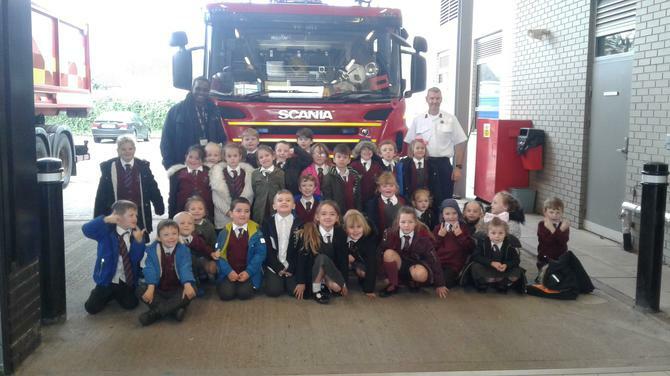 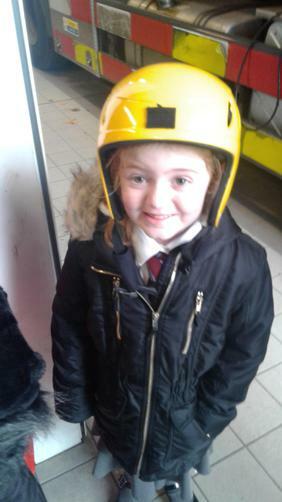 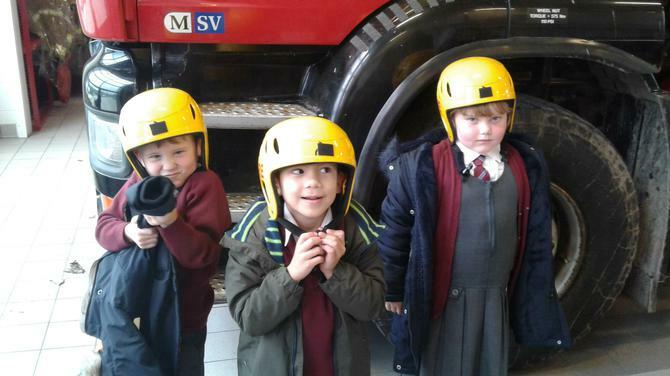 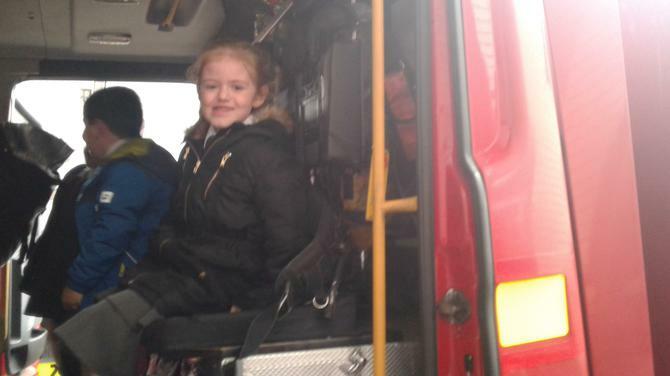 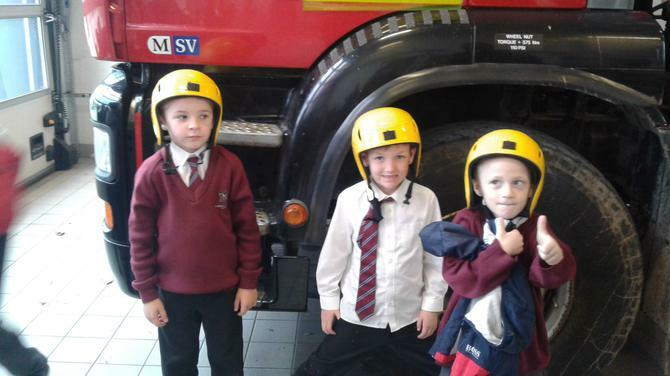 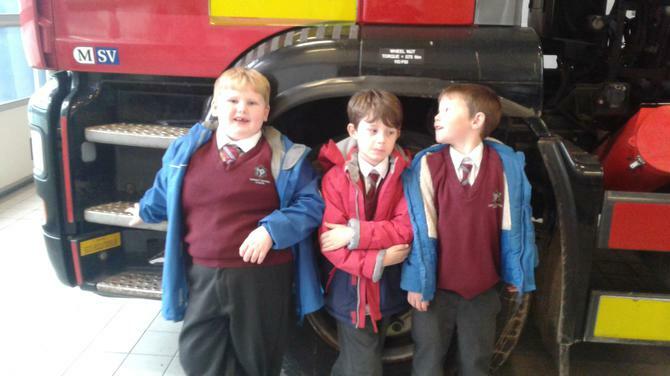 Year 2 had a fantastic time at Belle Vale Fire Station. 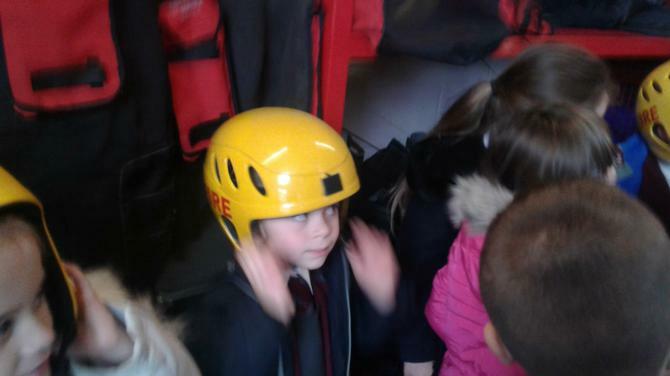 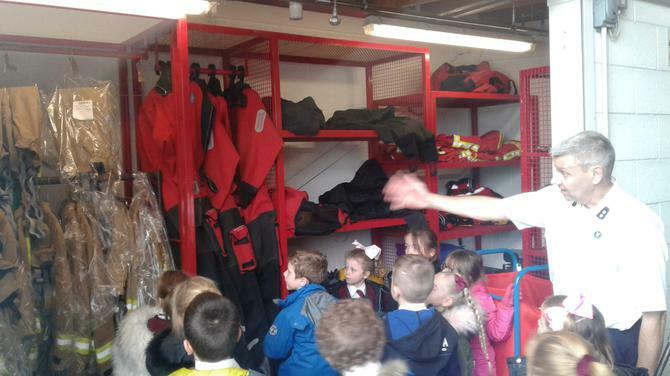 The children had a tour of the building, looking at all the different rooms in the fire station. 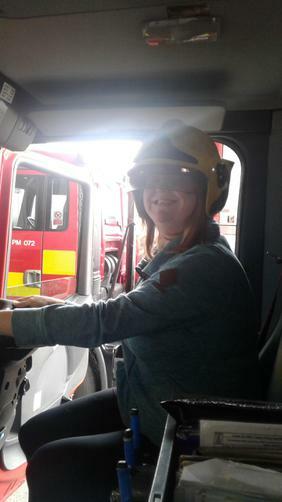 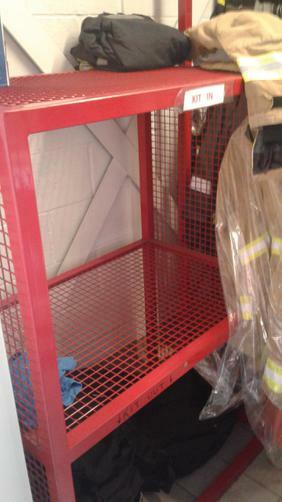 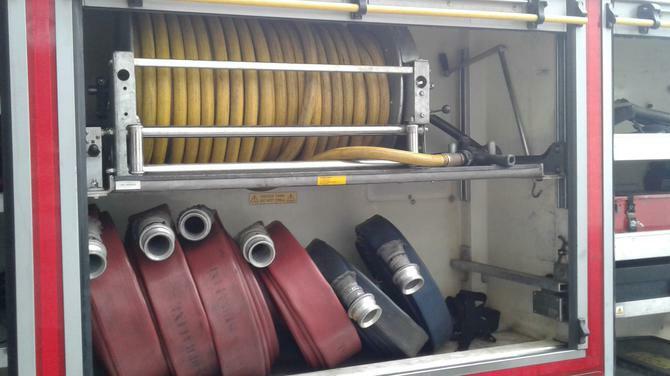 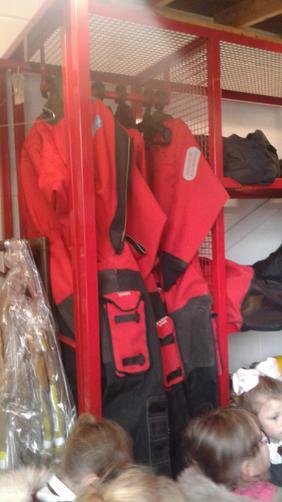 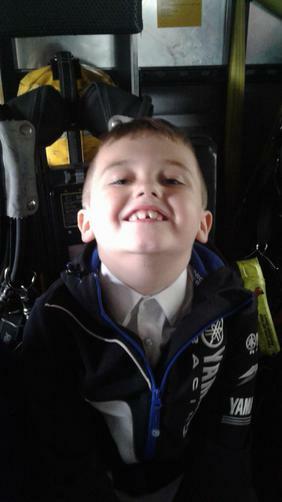 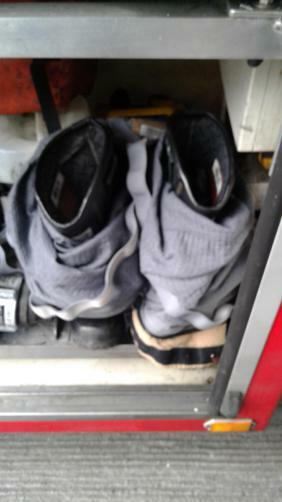 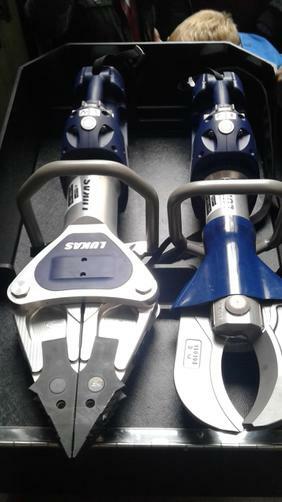 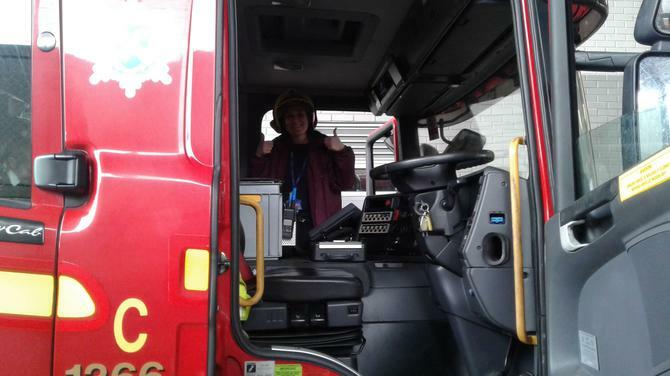 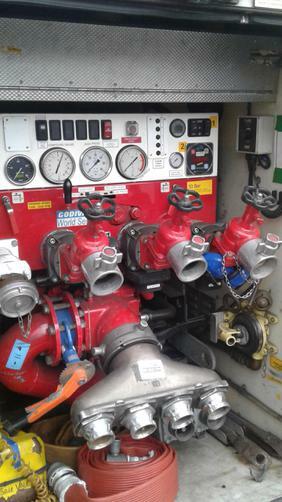 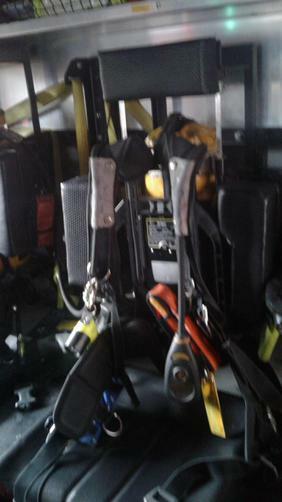 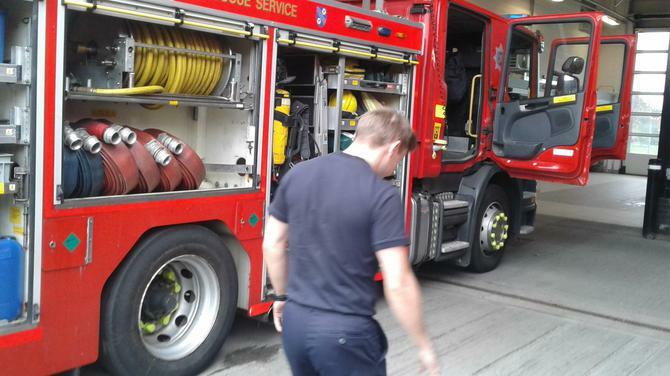 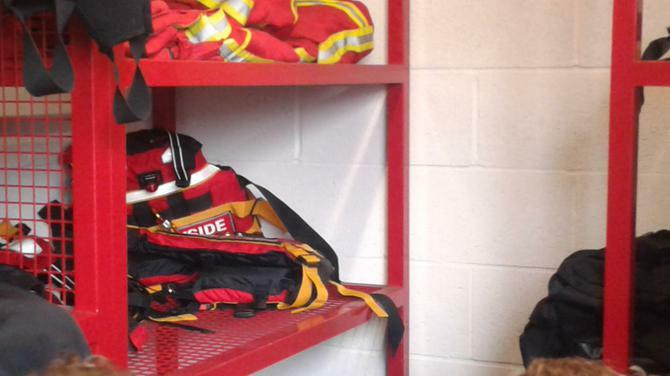 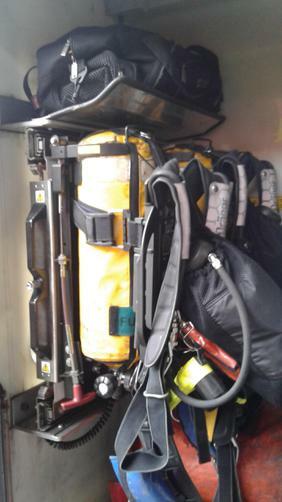 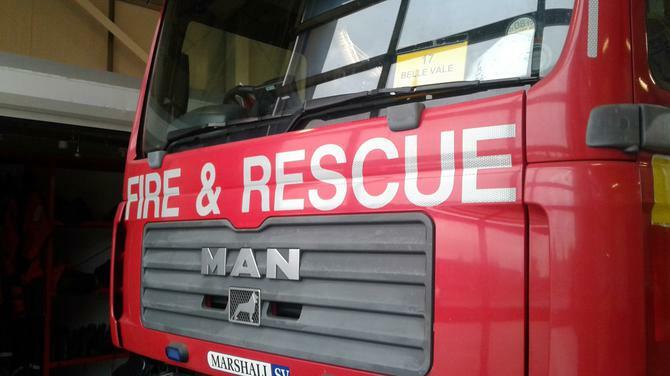 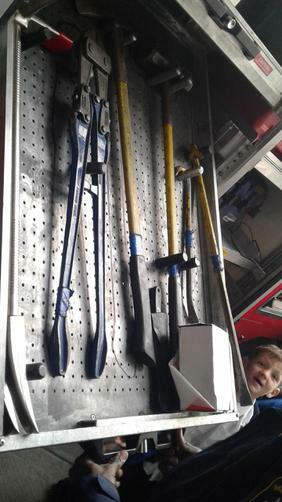 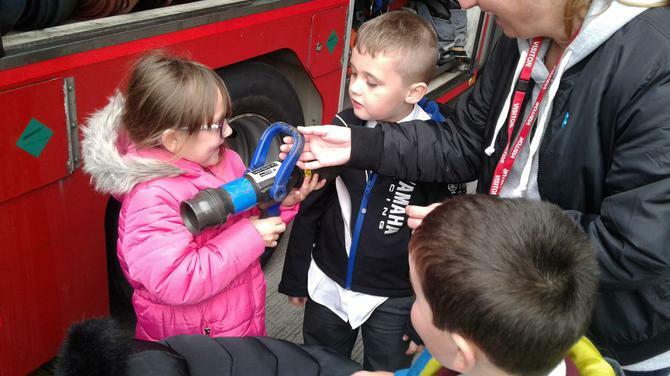 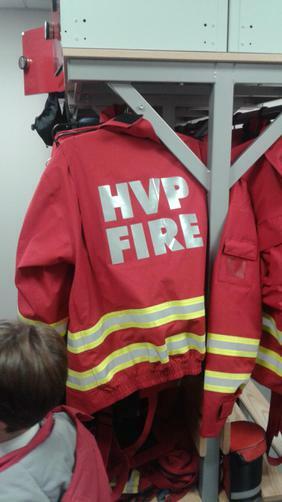 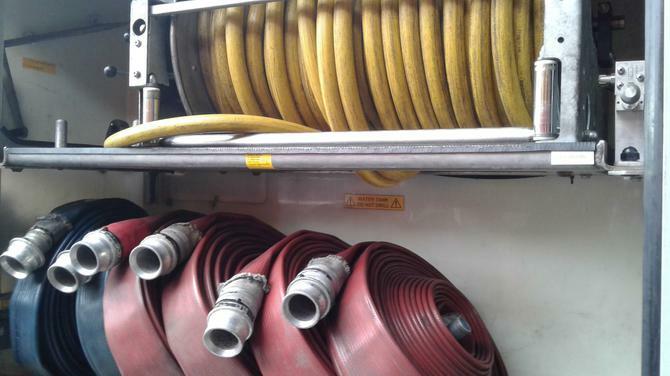 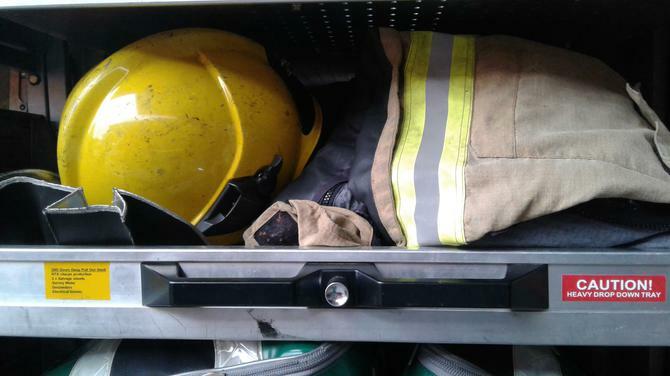 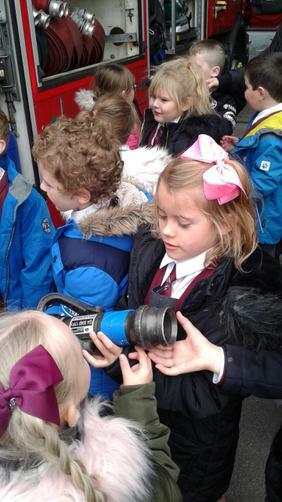 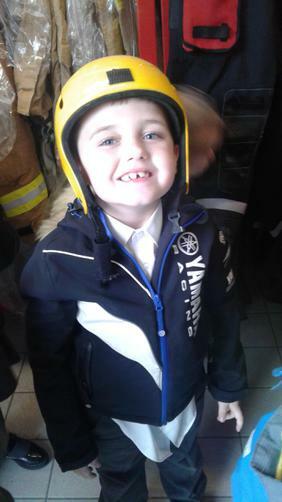 We also got to look inside the fire engine and look at all the important tools the fire fighters use in an emergency. 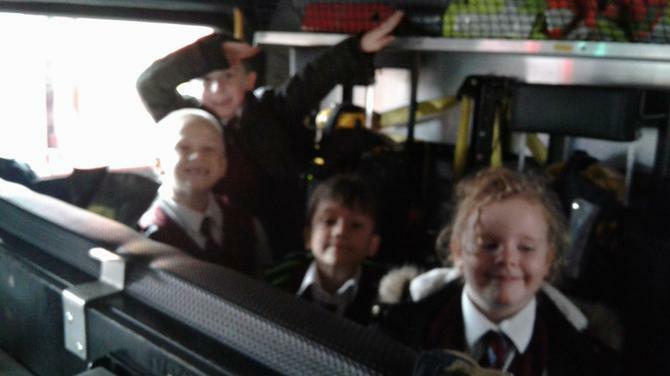 A BIG thank you to the fire fighters for having us and showing us around, we loved it! 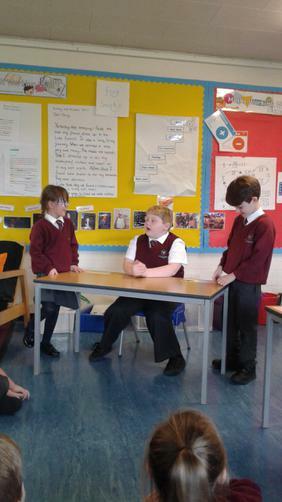 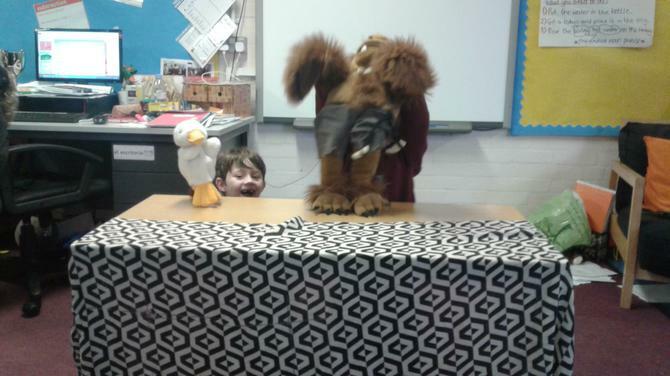 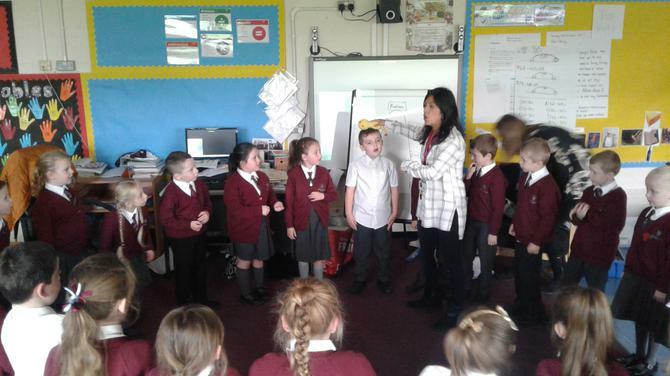 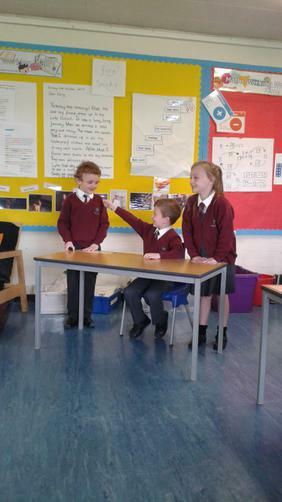 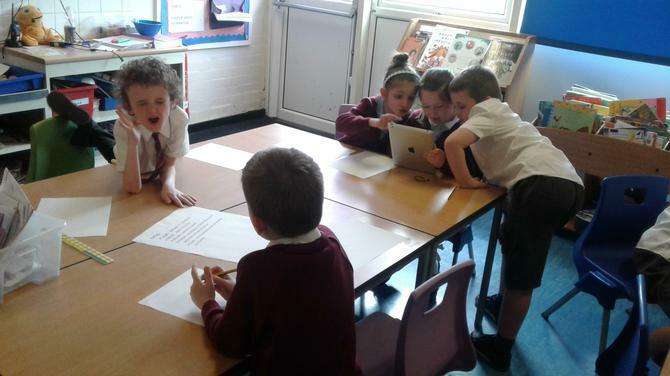 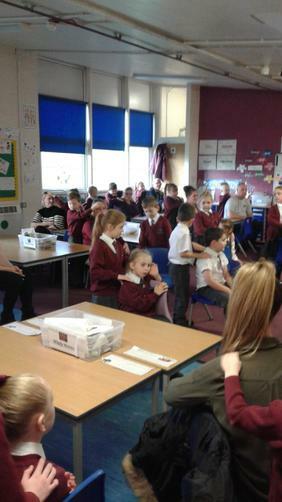 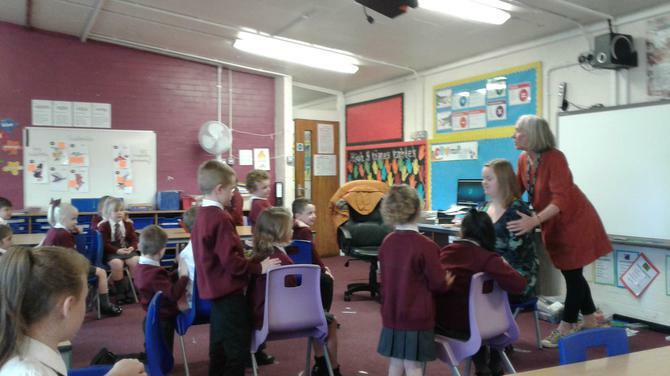 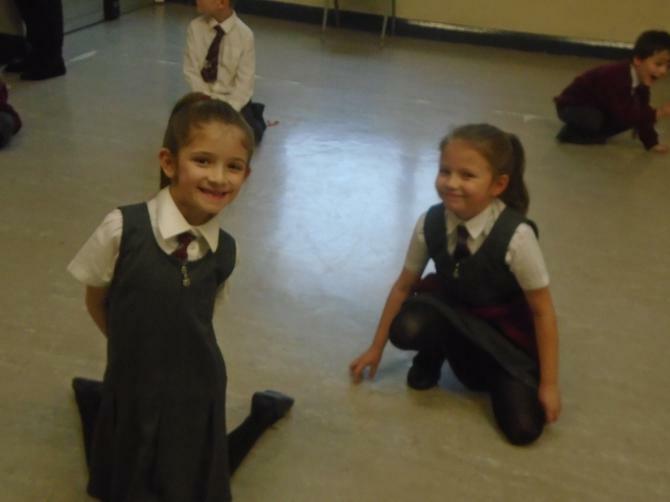 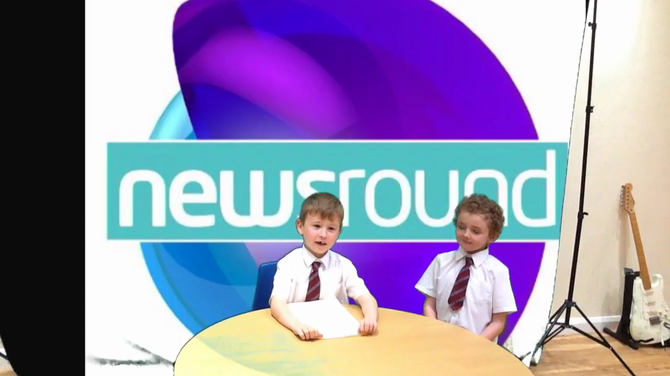 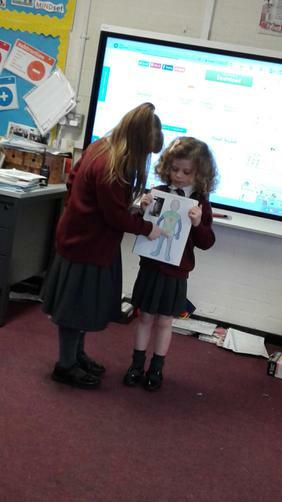 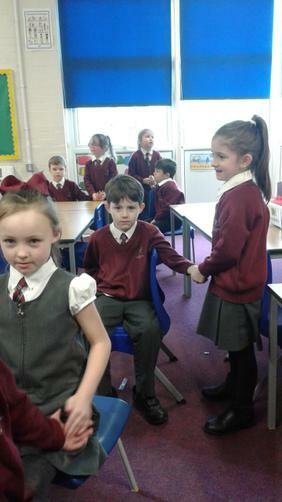 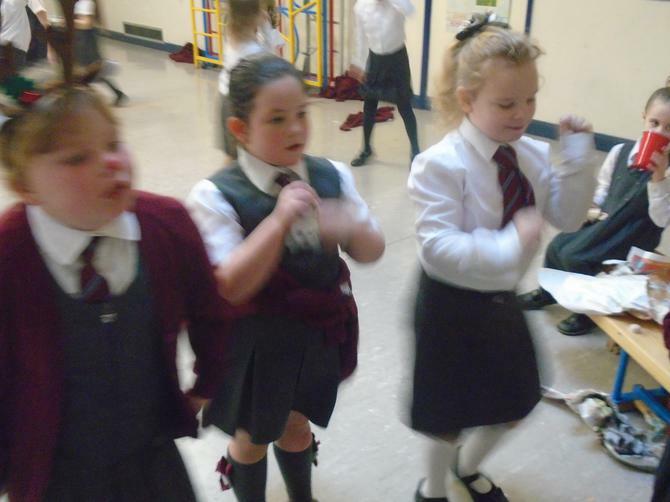 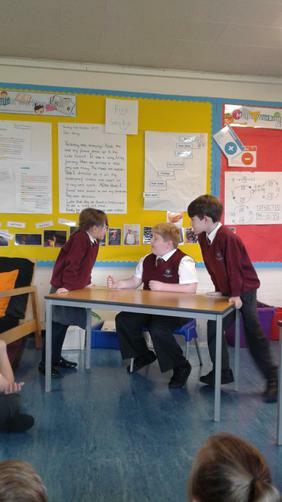 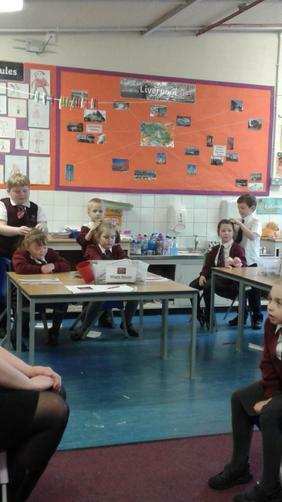 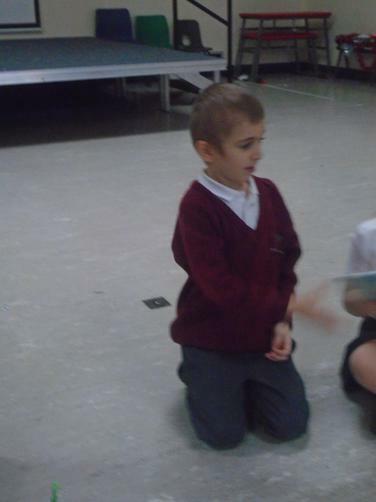 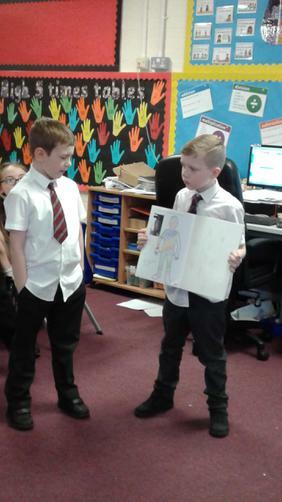 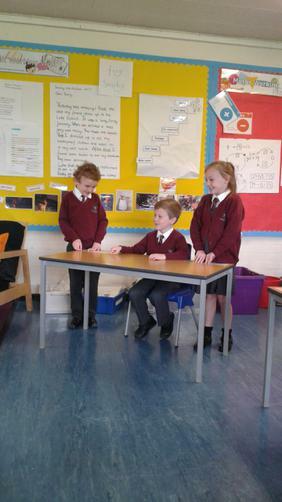 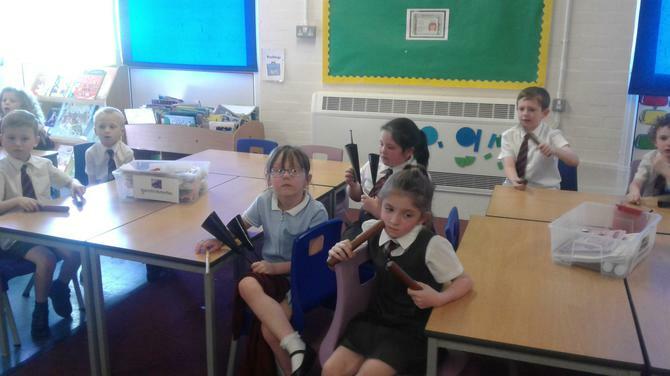 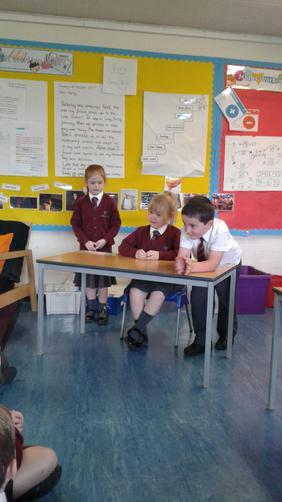 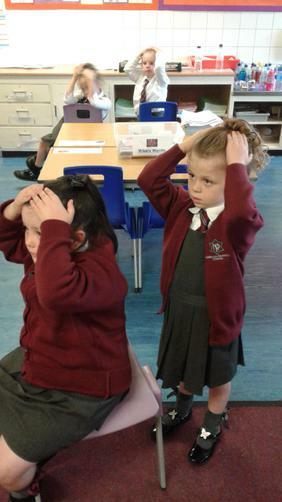 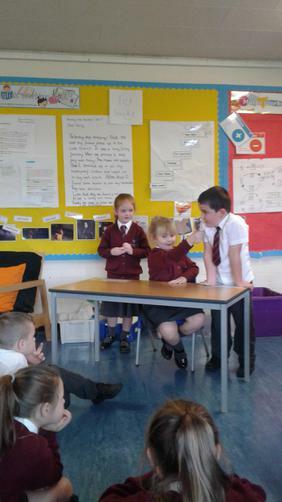 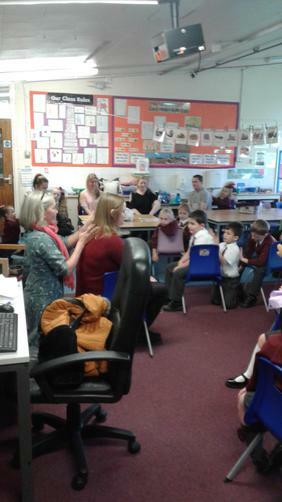 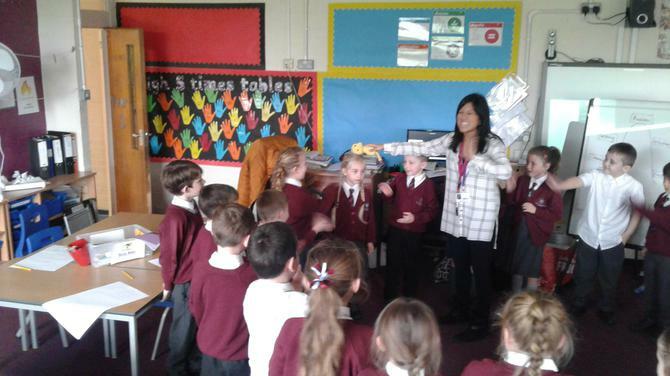 The children performed in class today acting as news reporters from The Great Fire of London. 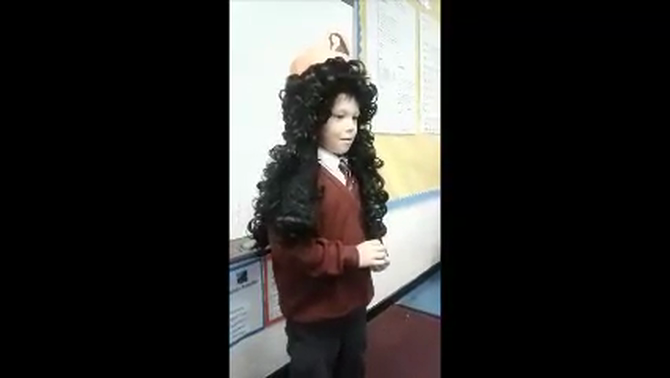 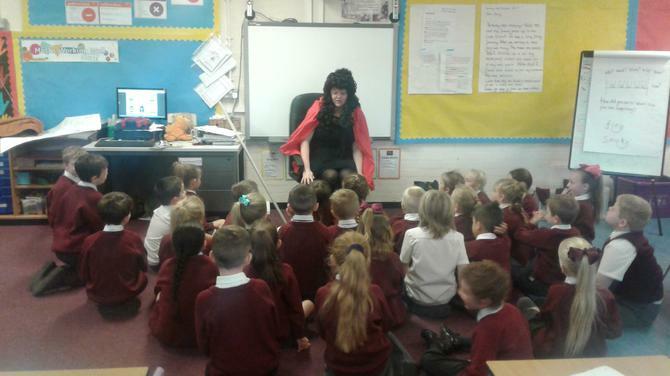 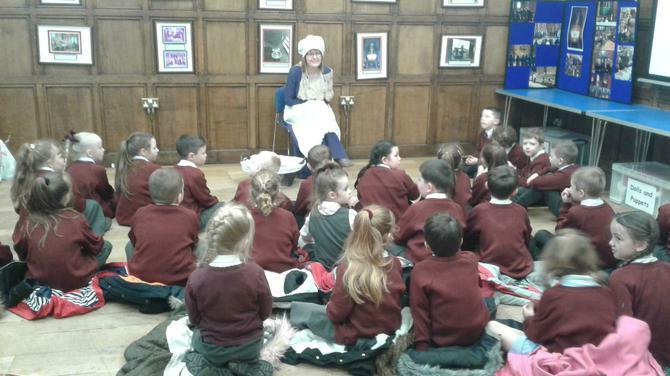 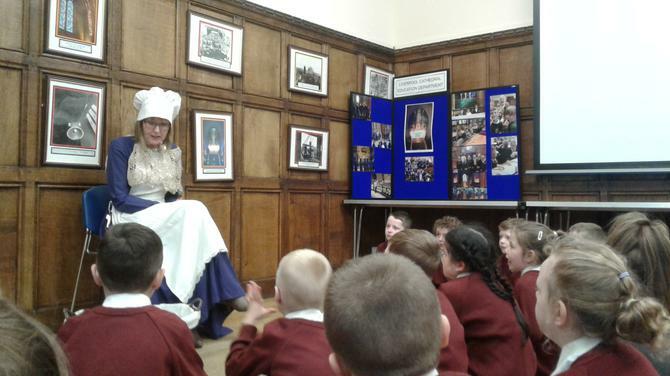 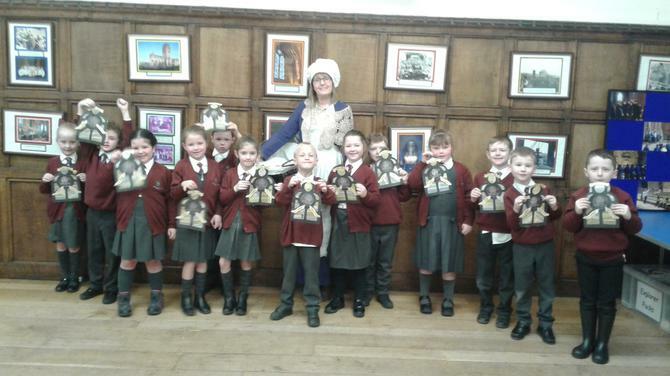 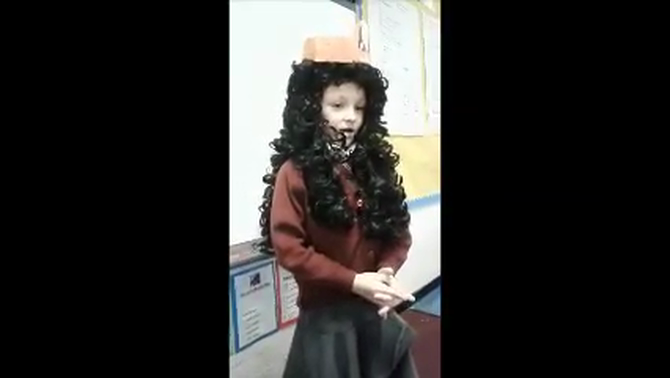 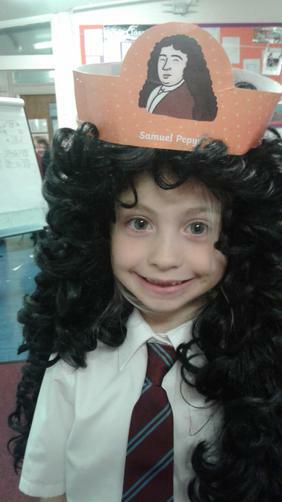 Some of the children dressed up as Samuel Pepys and then retold the story of The Great Fire of London. 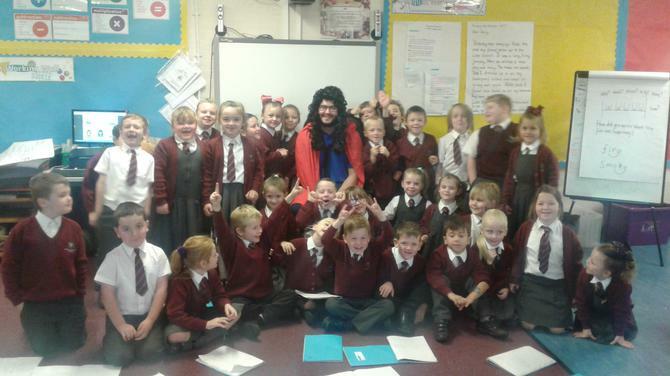 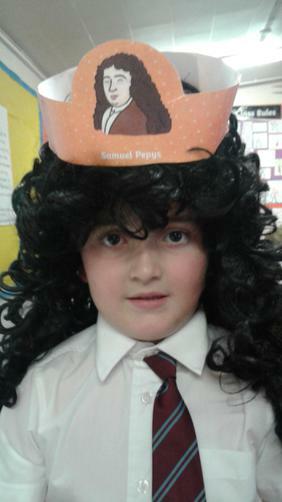 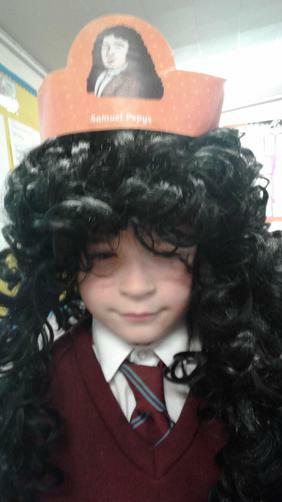 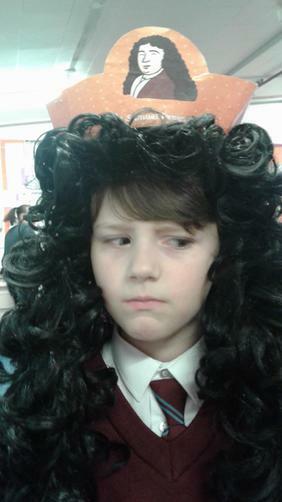 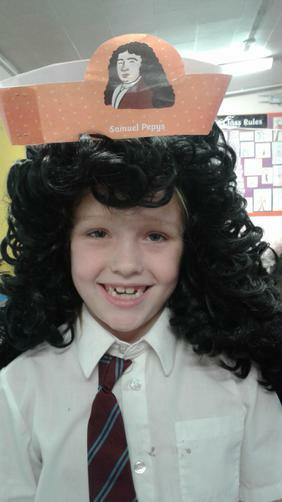 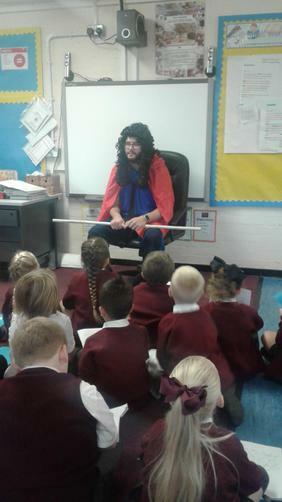 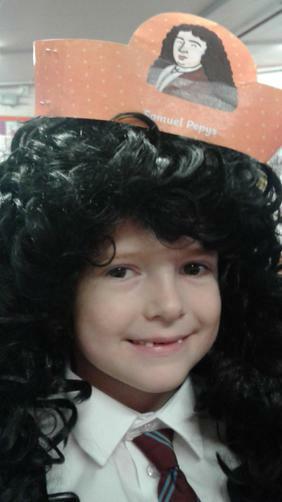 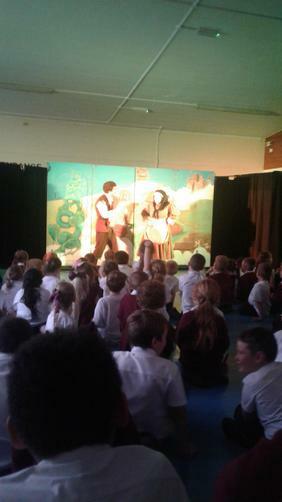 Today we had a visit from Samuel Pepys! 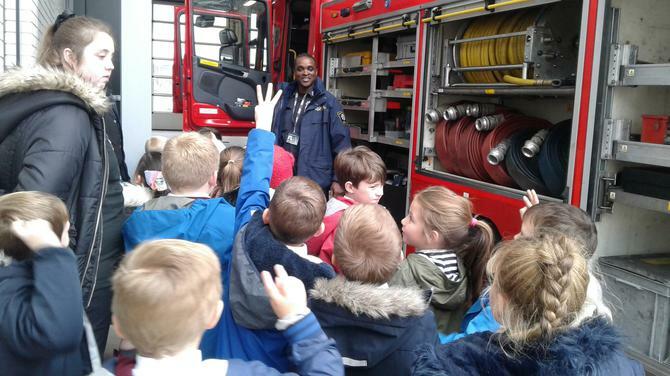 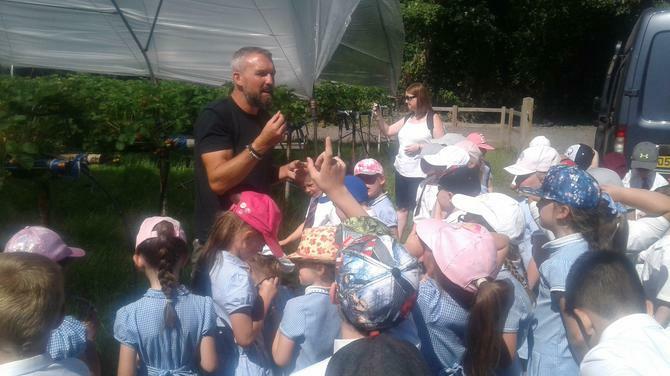 The children asked him lots of questions all about The Great Fire of London. 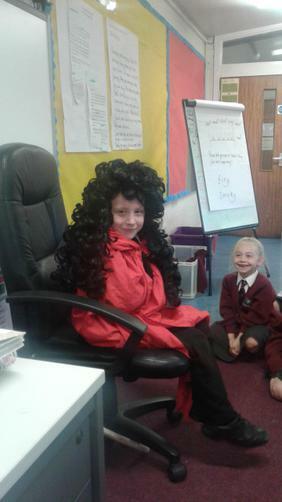 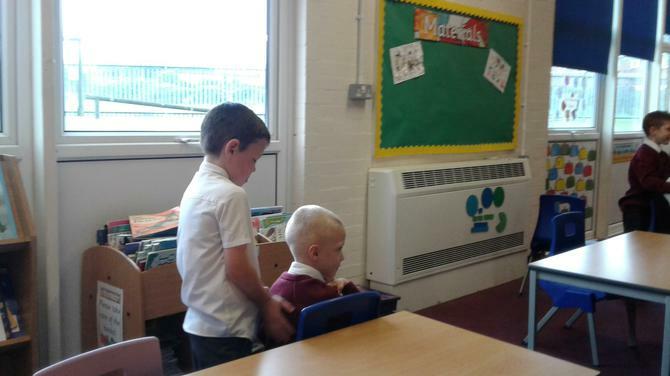 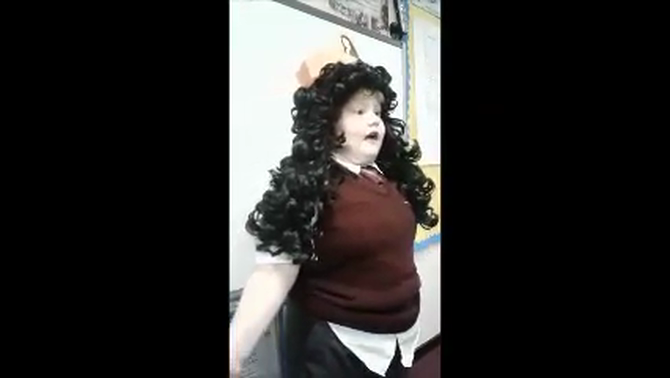 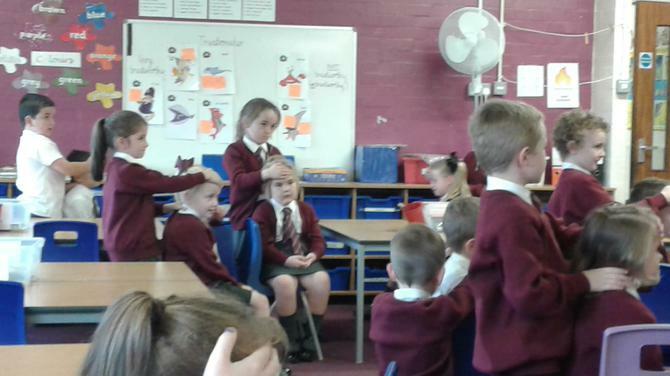 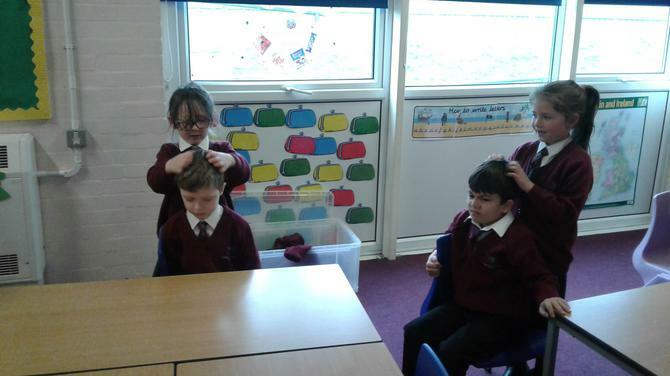 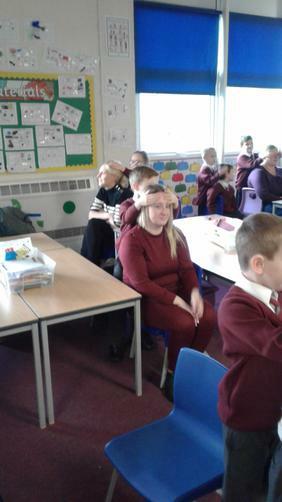 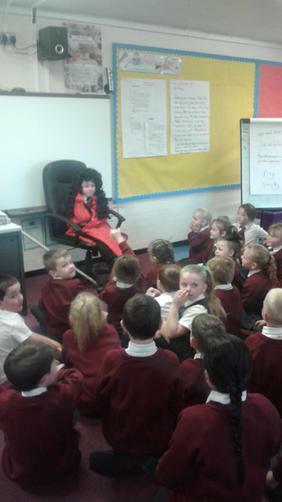 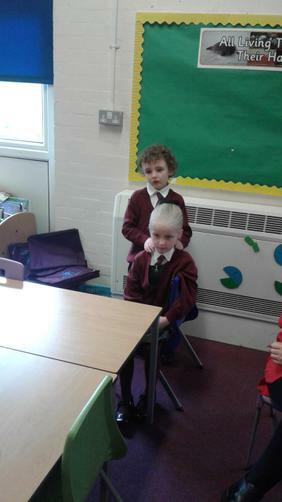 Miss Harrison also sat in the hot seat wearing Samuel's wig and Ryan had a turn. 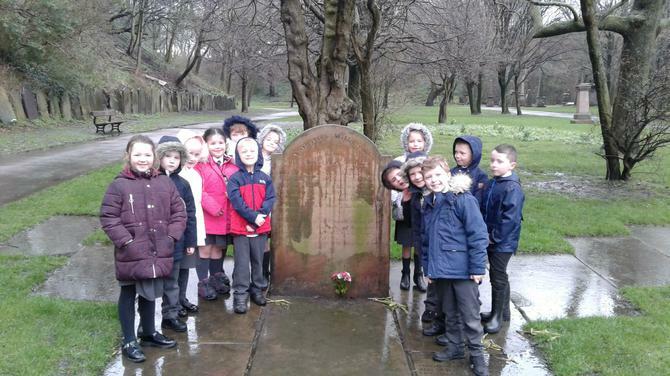 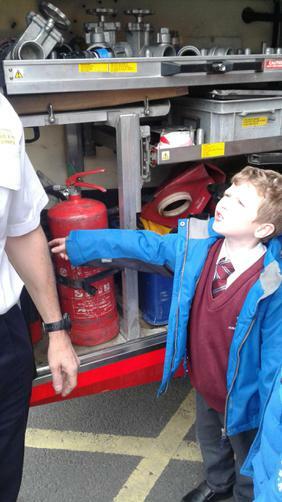 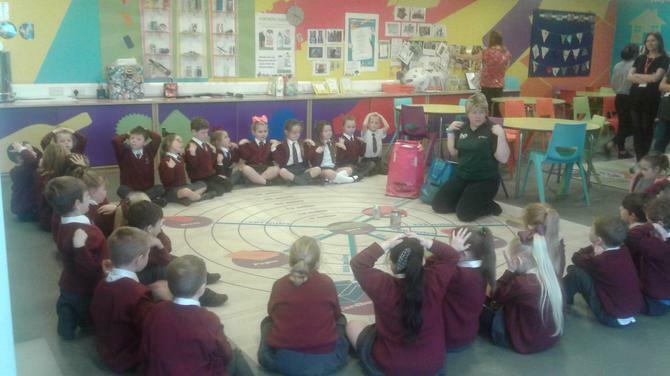 The children continued to ask questions to find out how Samuel was feeling at the time of the fire. 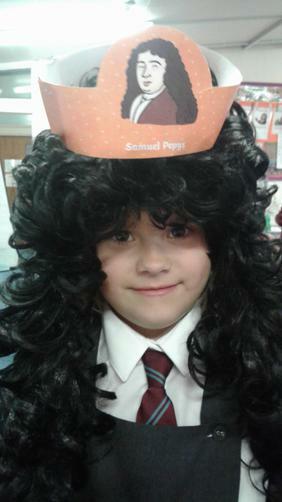 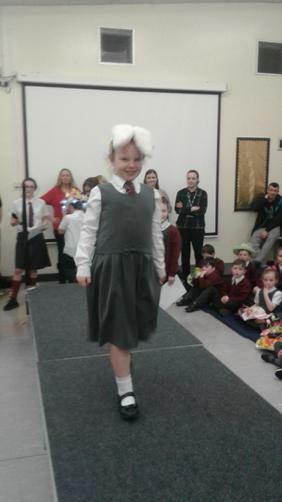 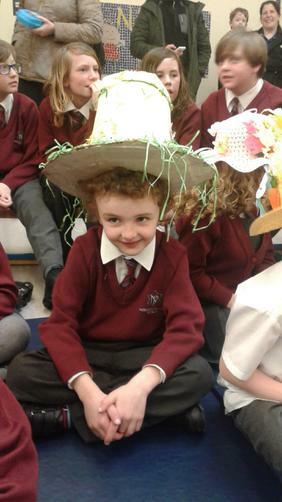 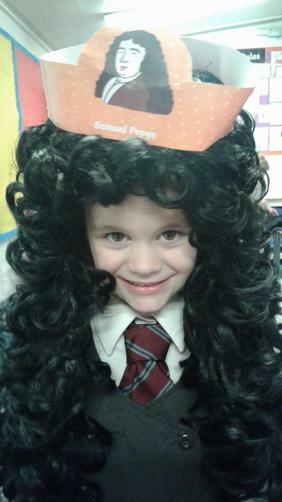 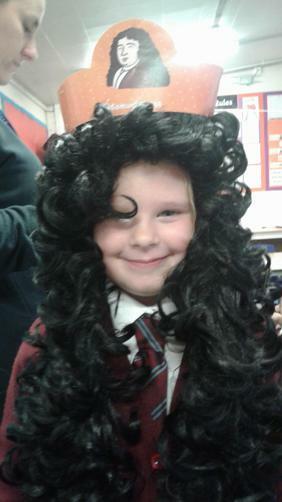 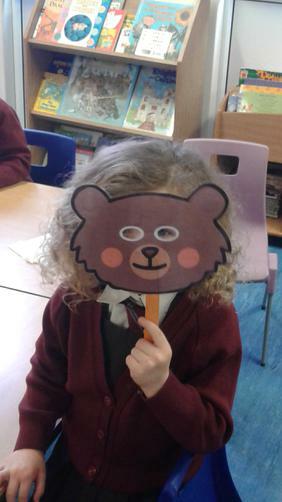 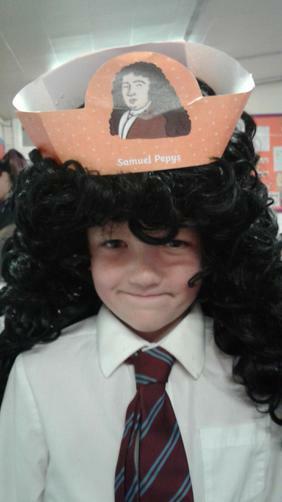 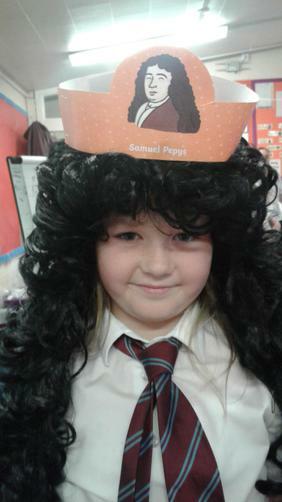 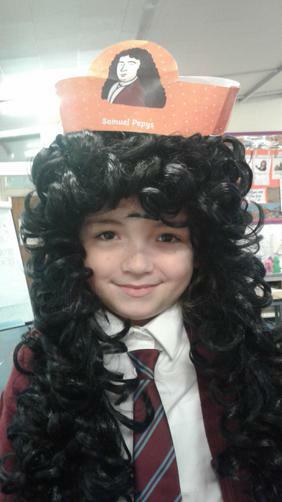 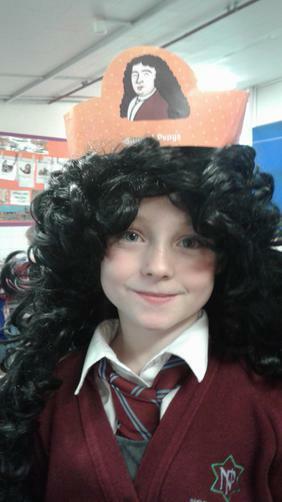 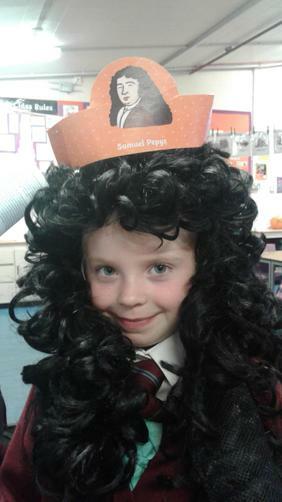 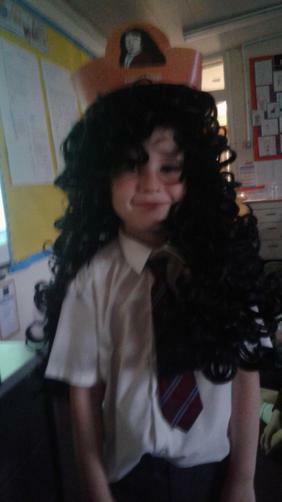 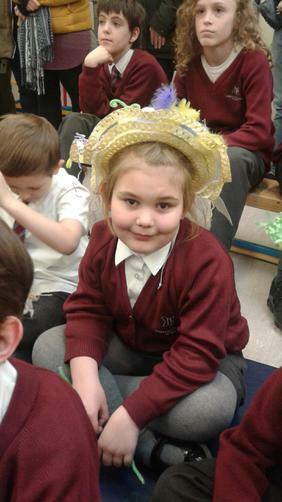 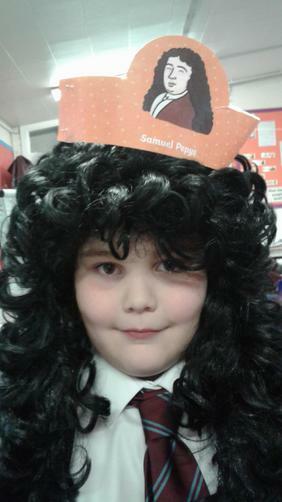 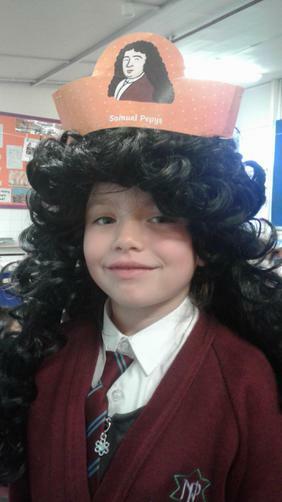 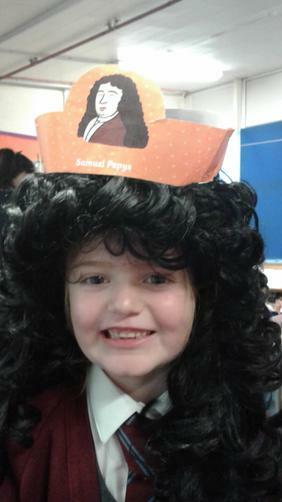 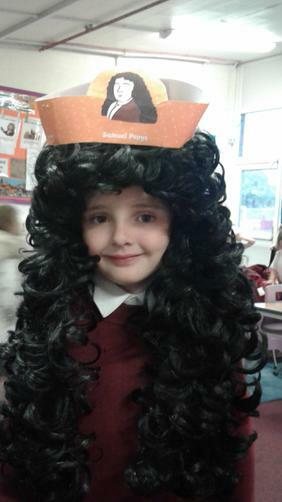 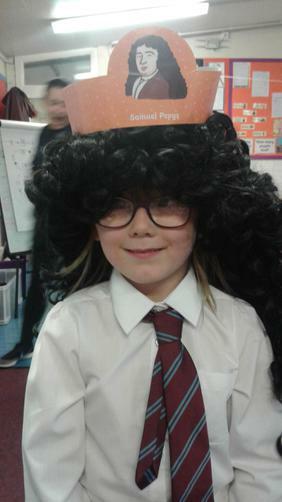 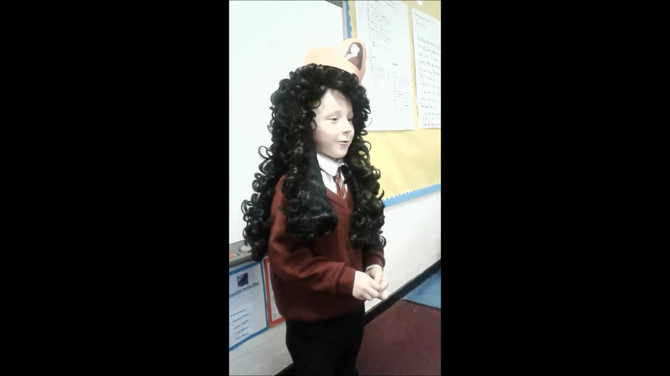 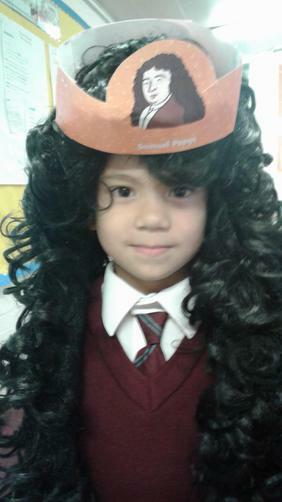 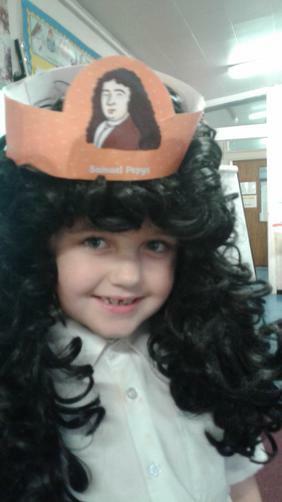 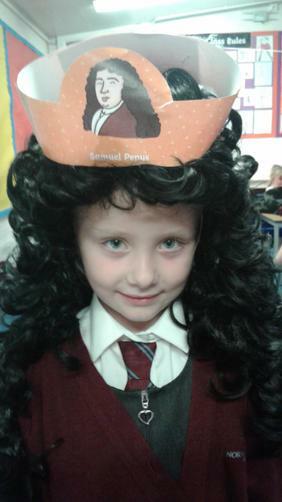 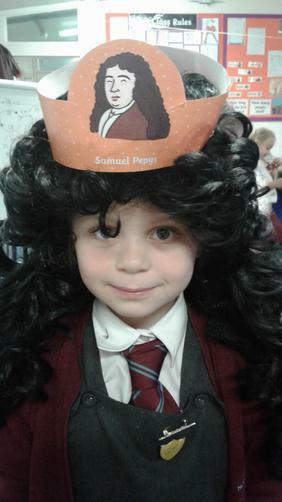 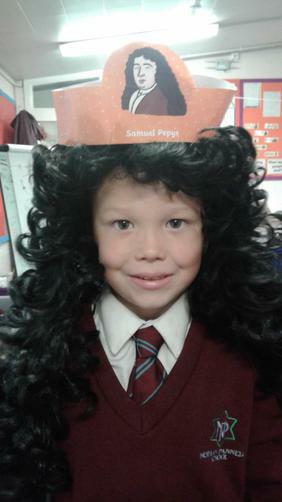 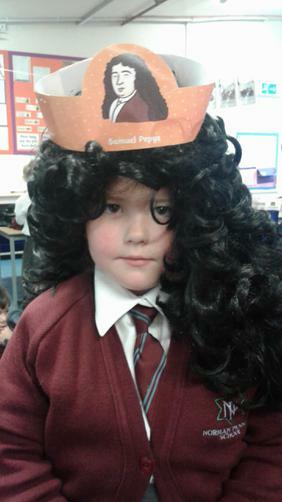 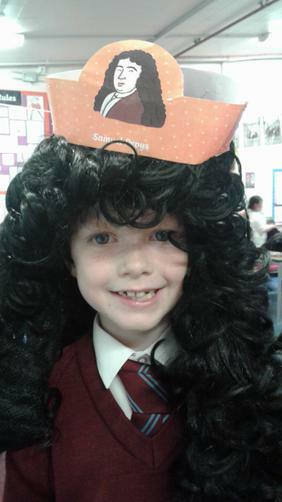 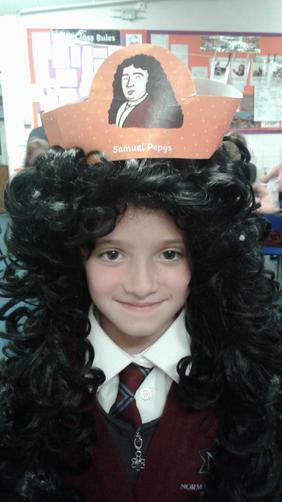 The children loved dressing up as Samuel Pepys. 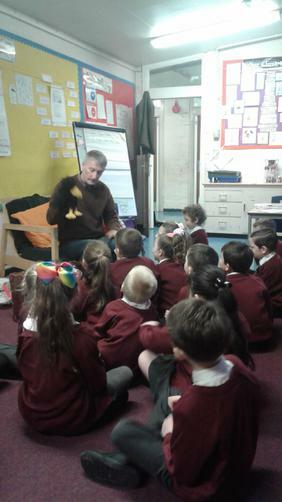 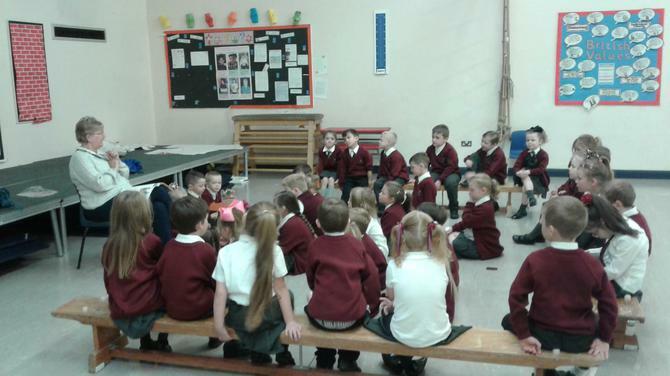 The children in year 1 and 2 enjoyed a lovely assembly this morning with Chris from Christ church. 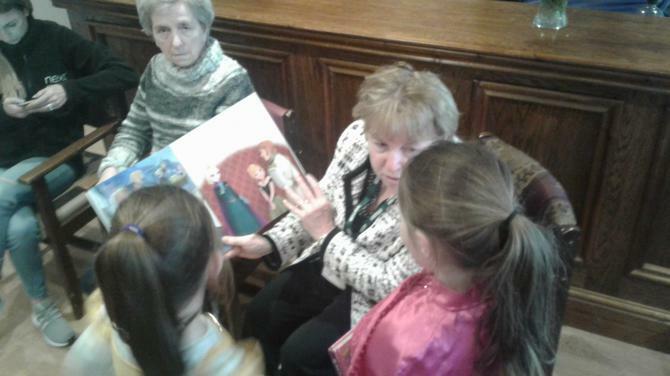 She reads the children bible stories every Tuesday. 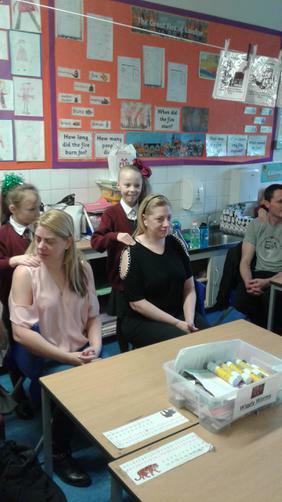 We had another session today with Kate doing childrens massage. 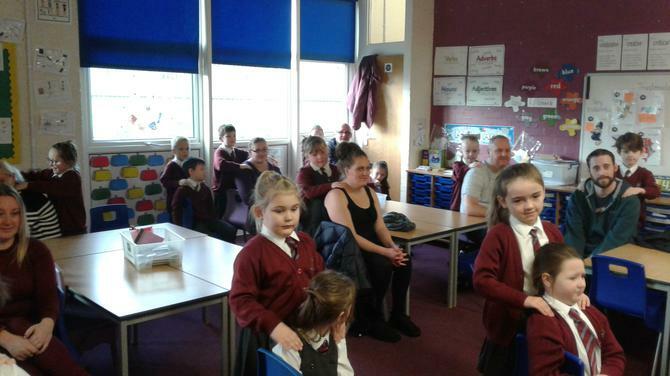 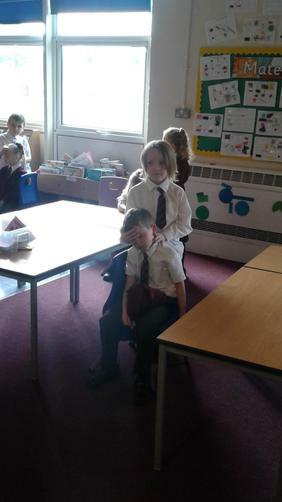 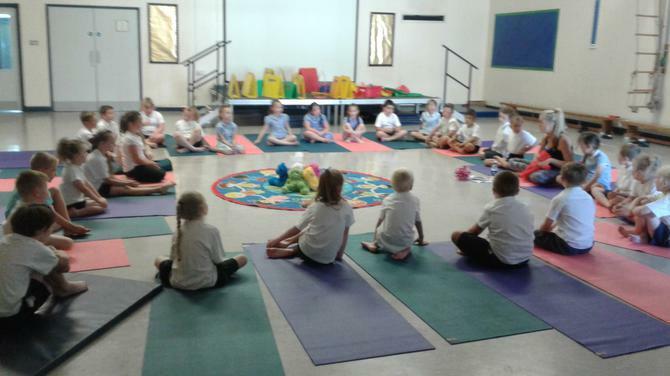 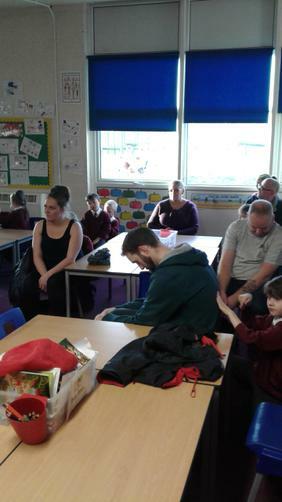 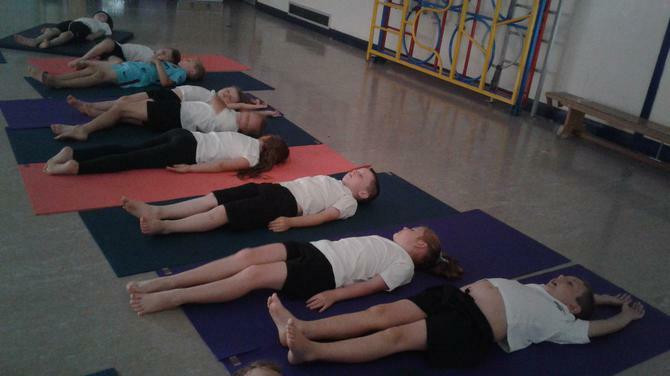 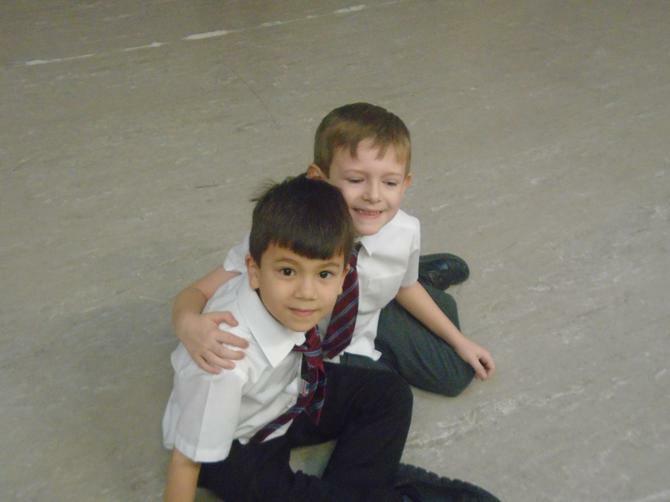 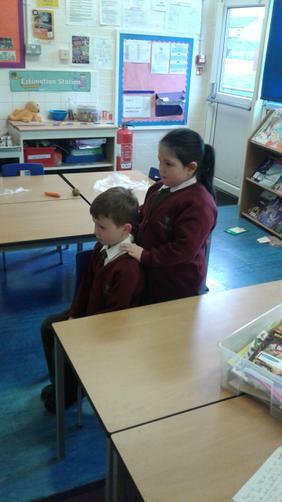 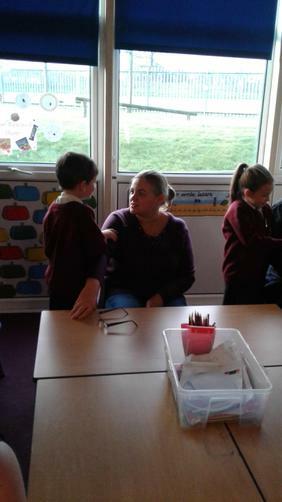 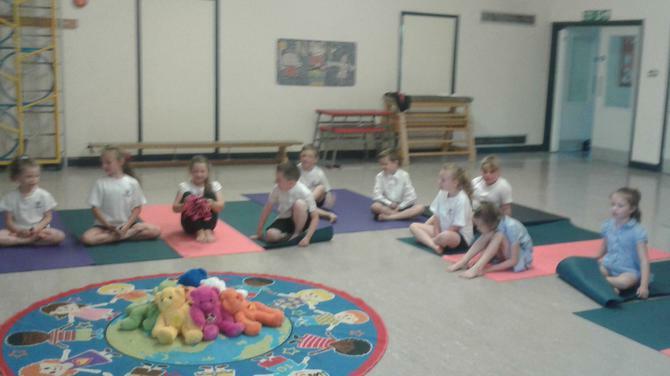 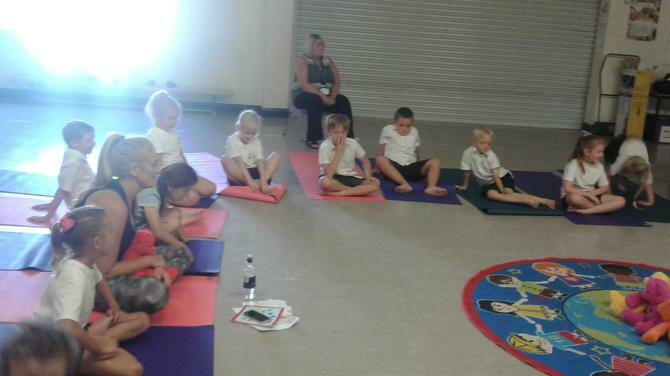 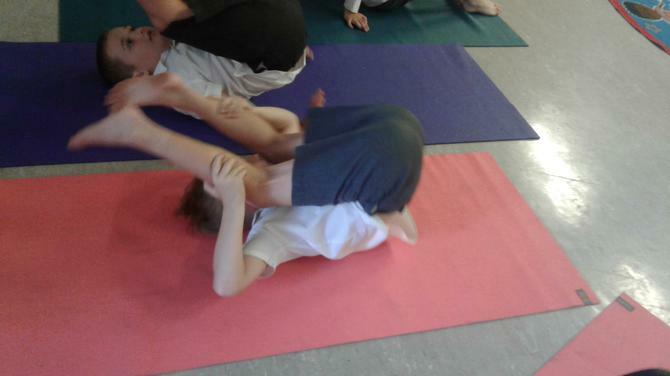 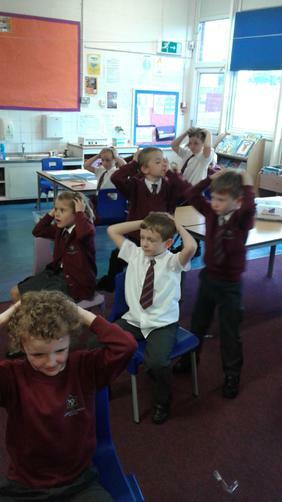 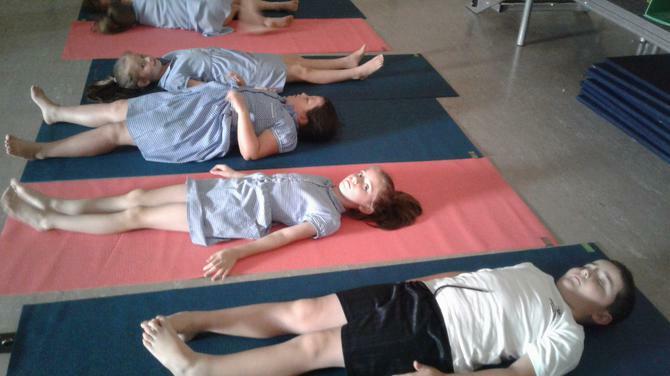 The children were very relaxed and calm, they really enjoy their massage sessions. 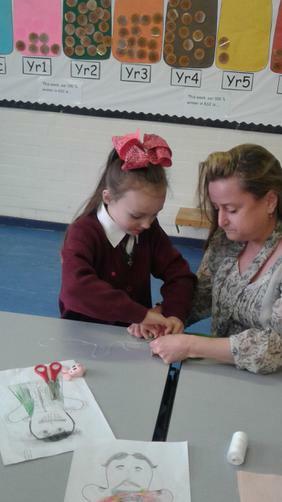 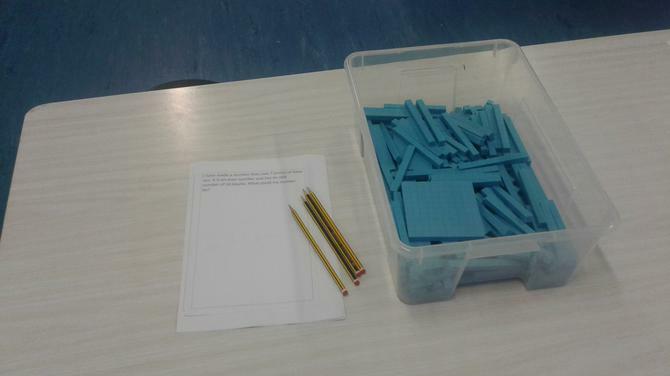 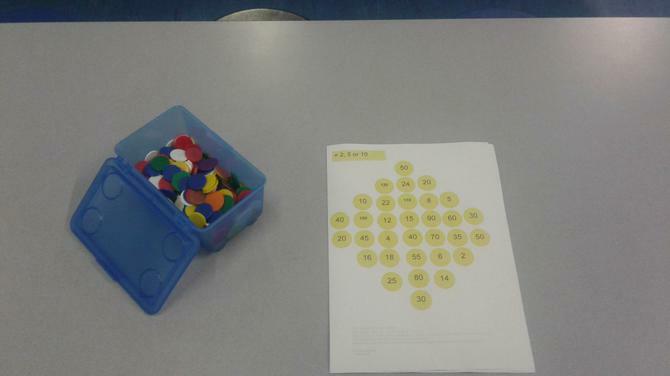 Ask your children to show you the strokes we learn, they can practise them at home. 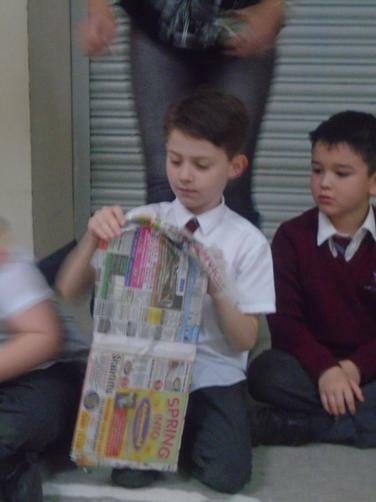 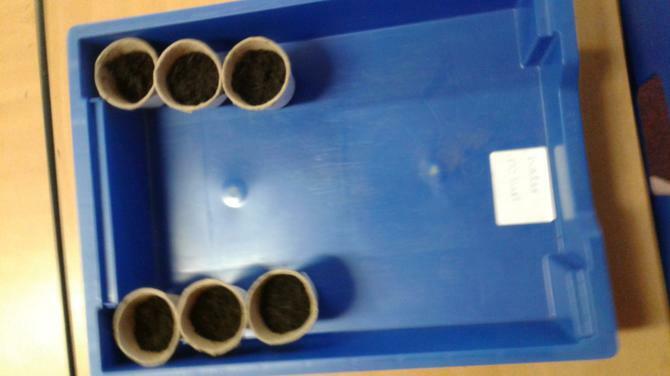 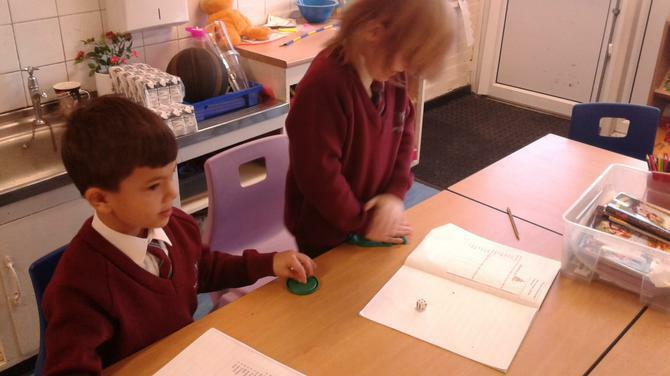 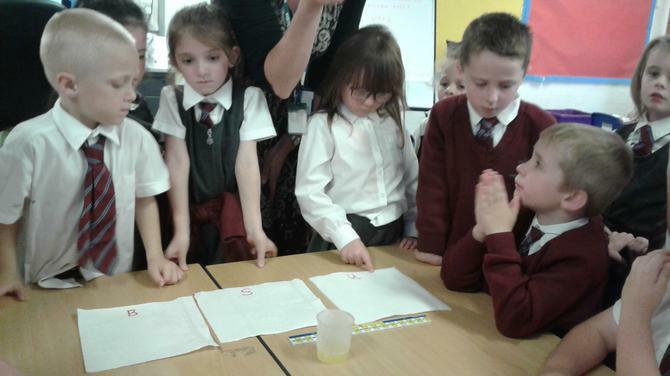 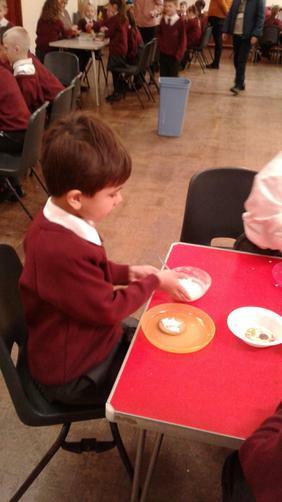 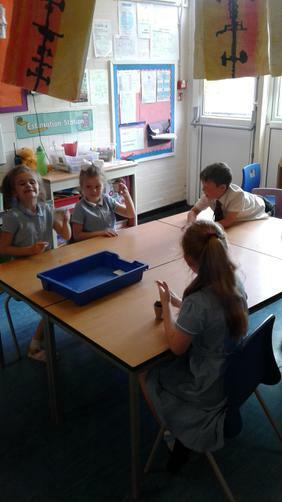 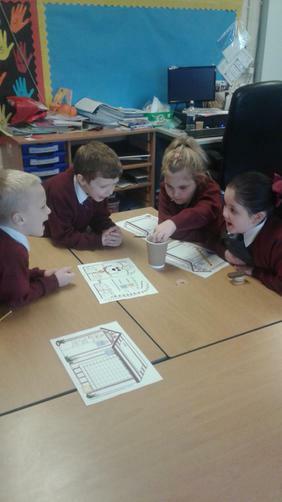 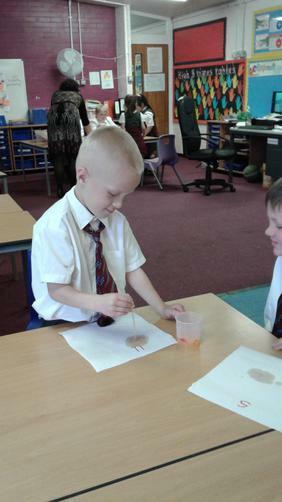 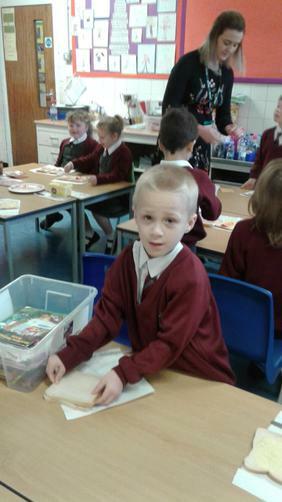 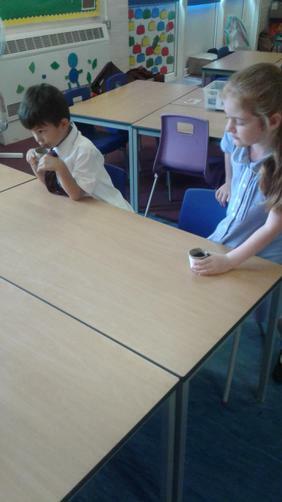 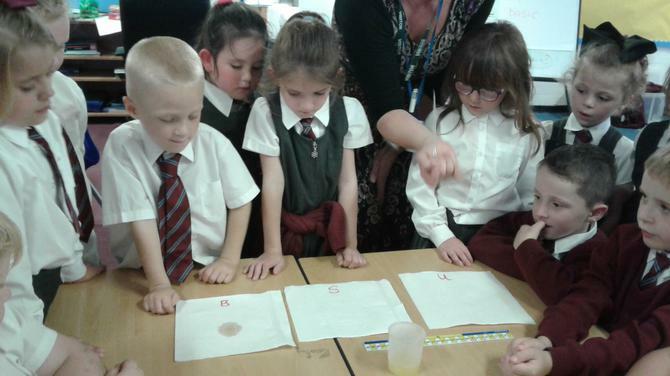 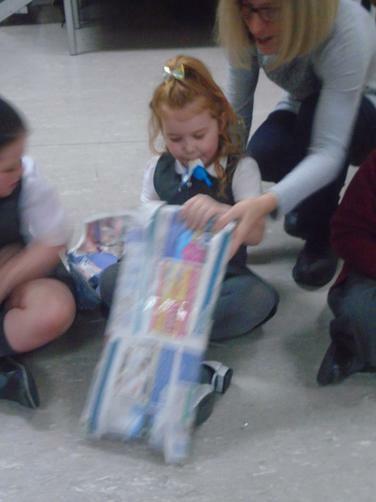 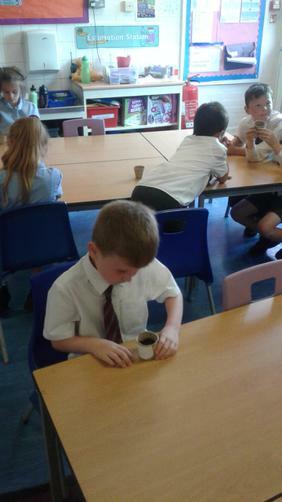 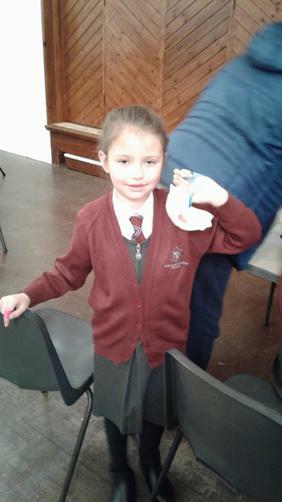 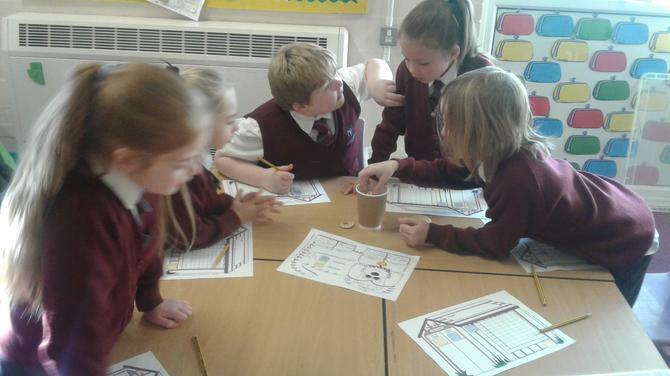 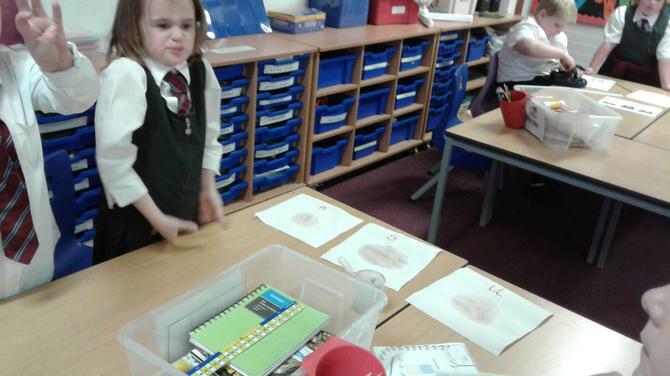 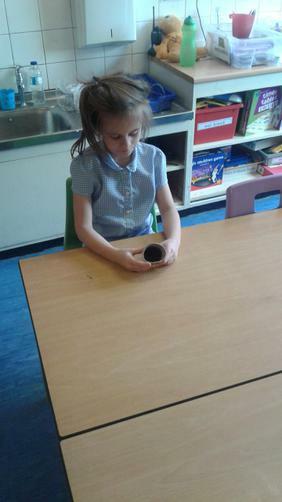 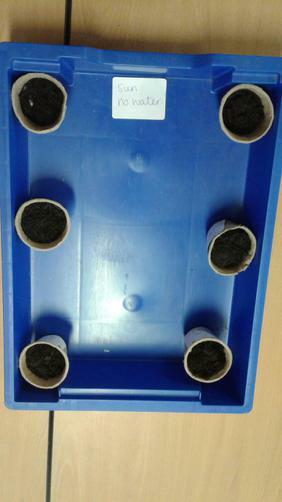 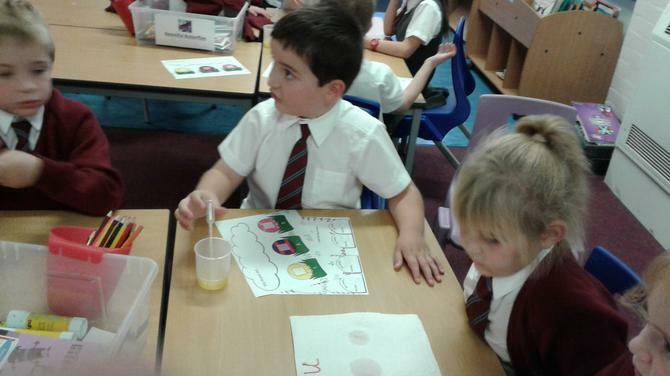 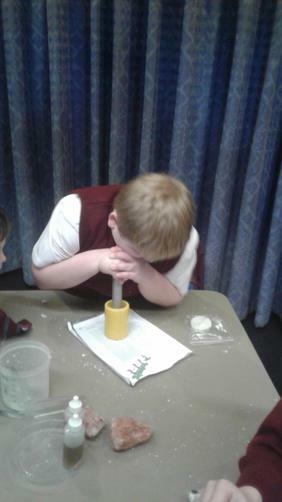 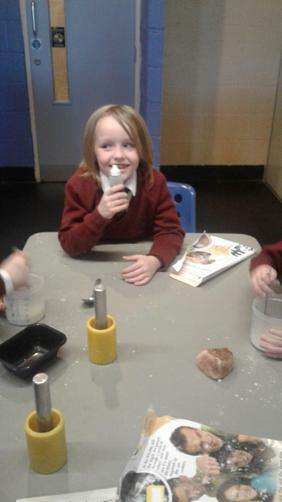 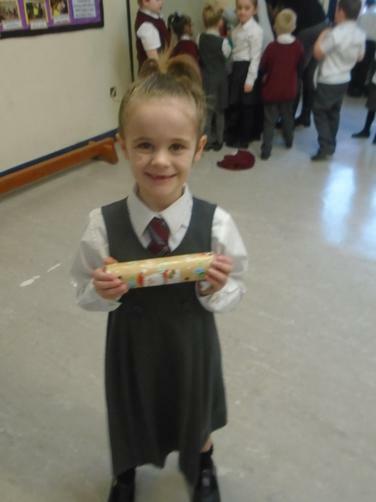 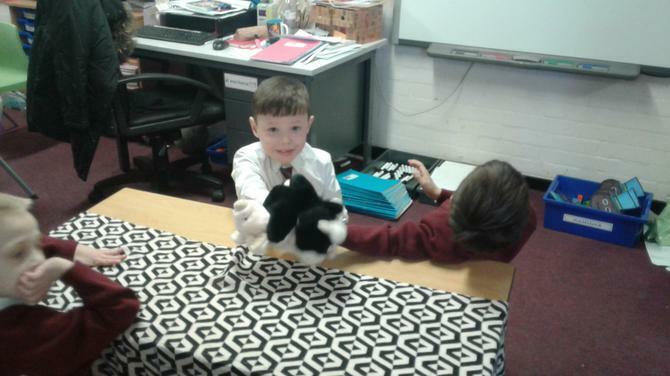 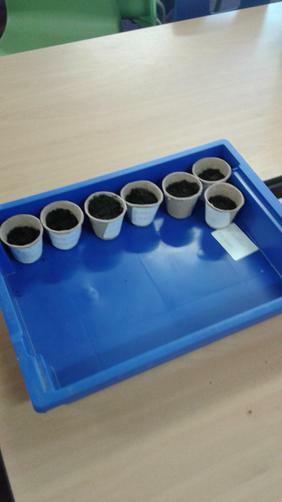 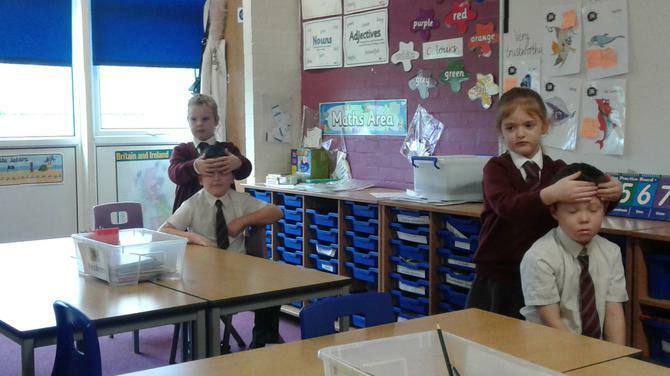 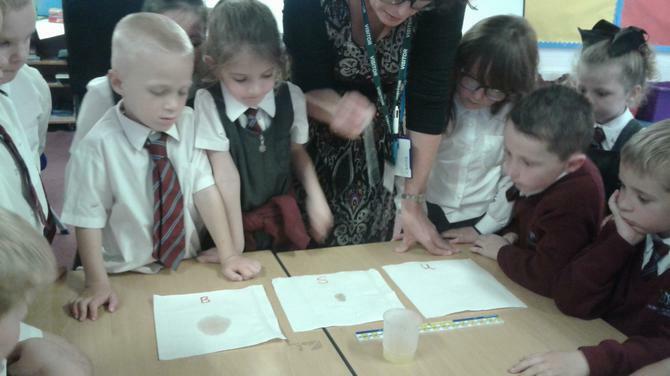 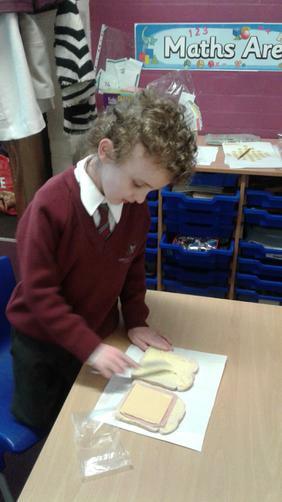 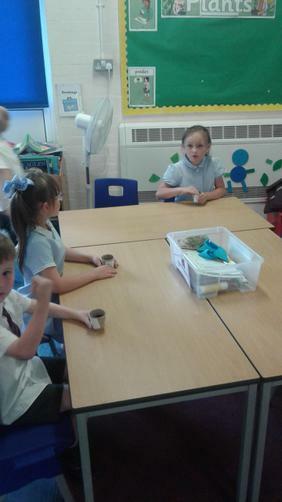 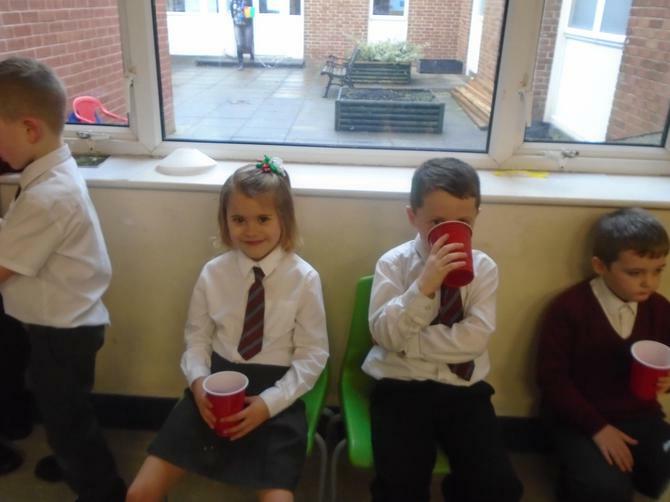 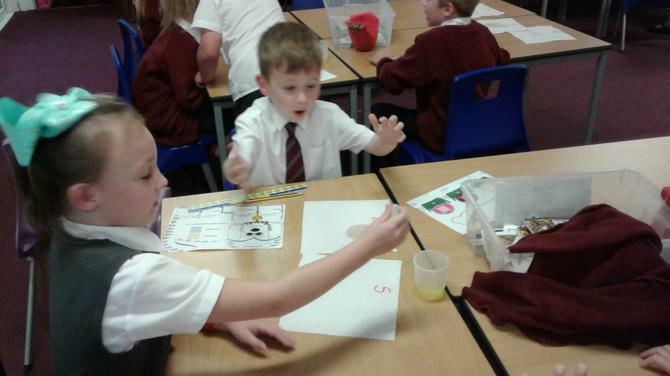 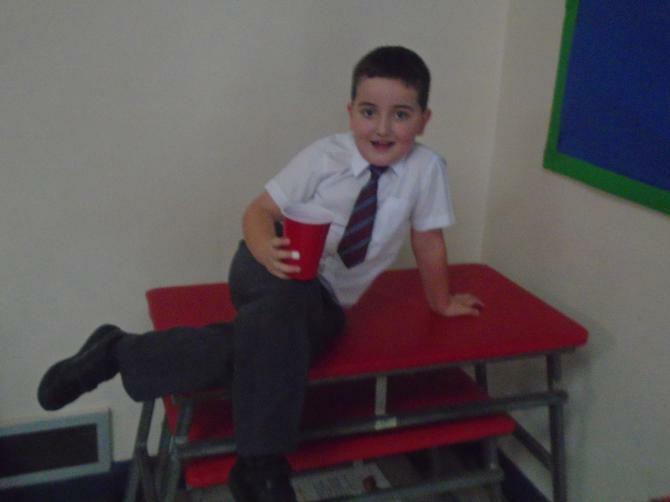 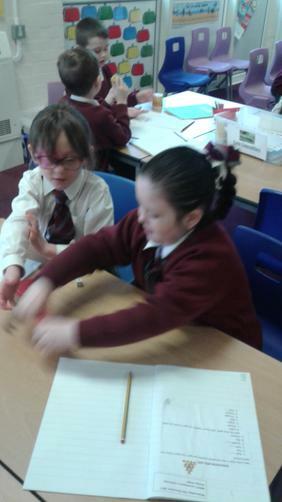 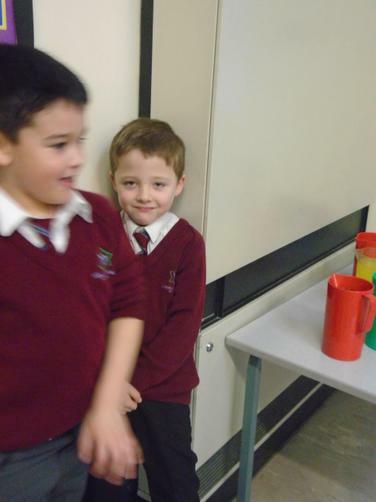 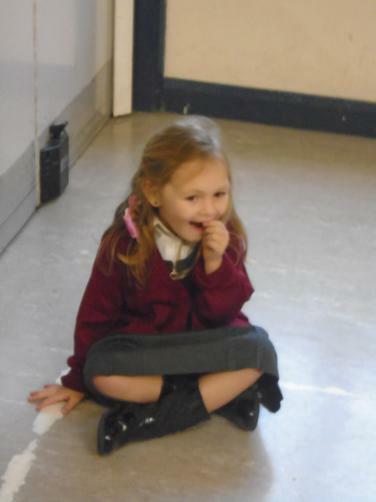 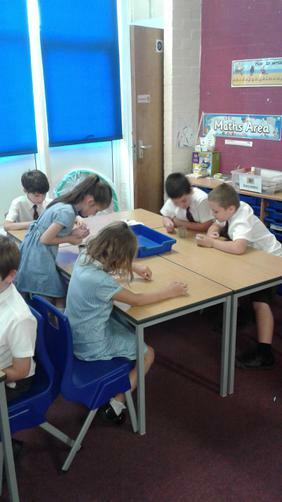 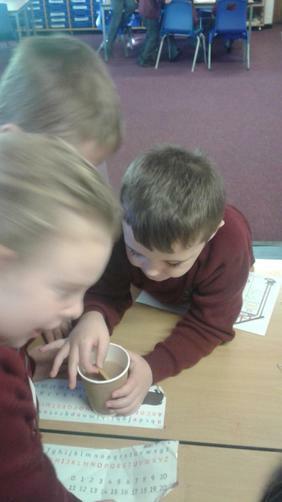 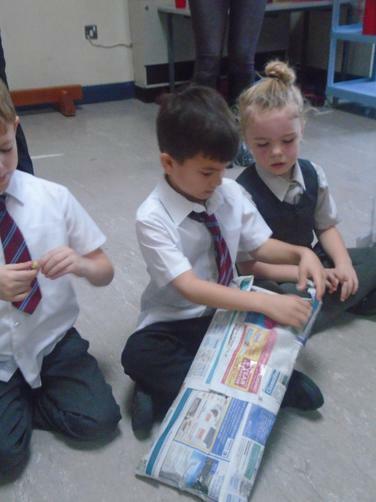 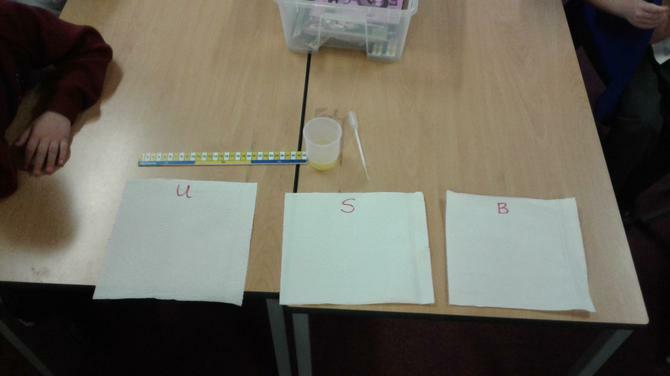 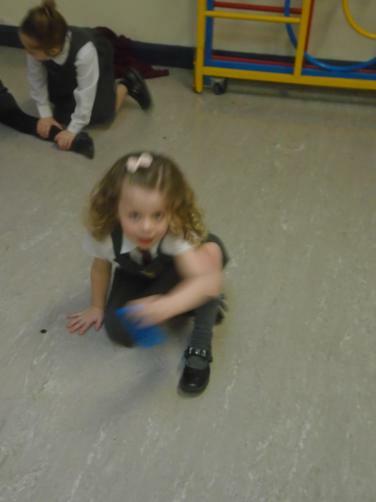 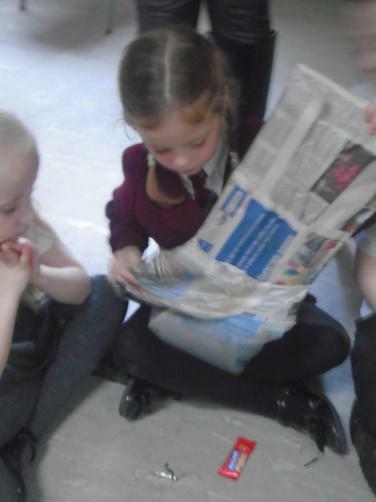 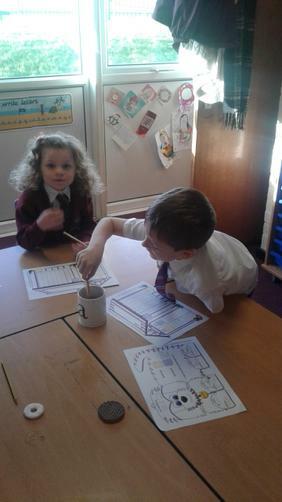 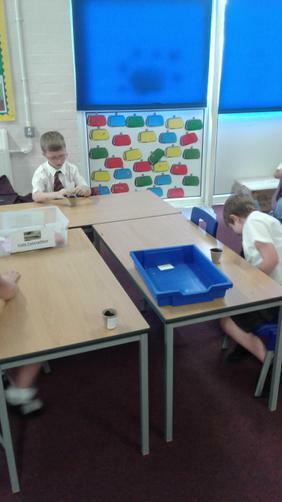 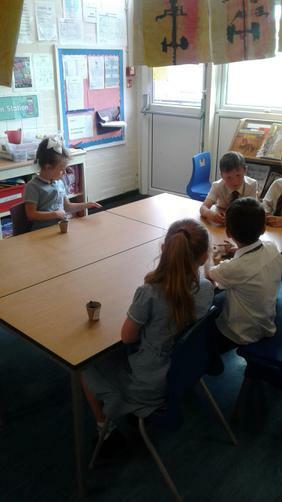 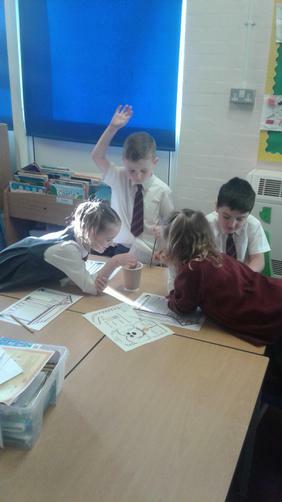 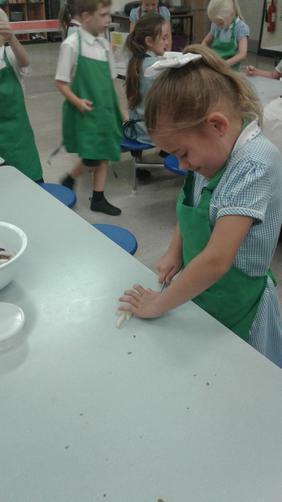 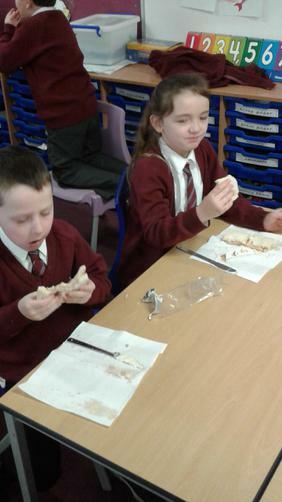 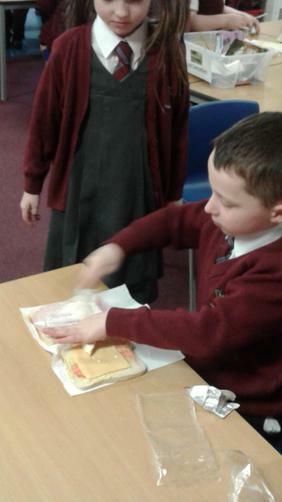 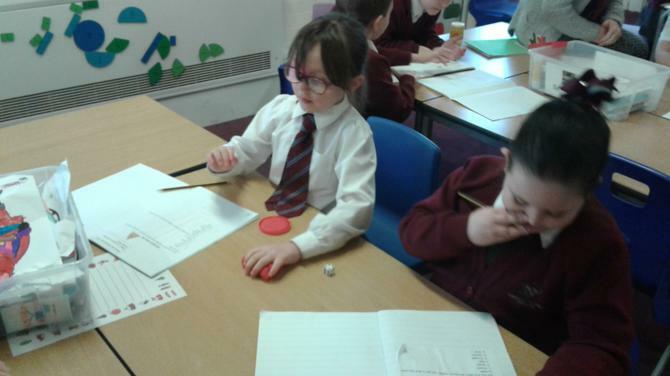 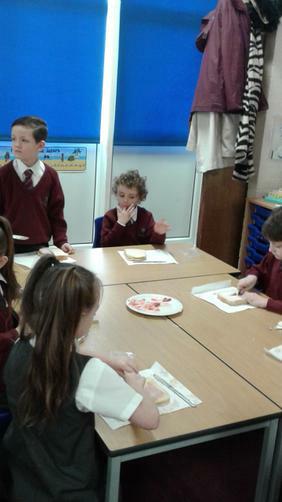 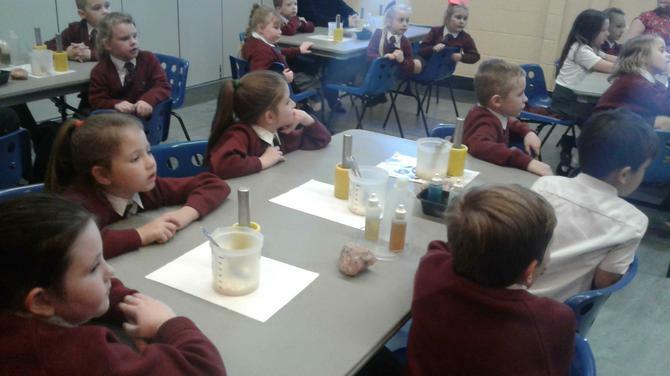 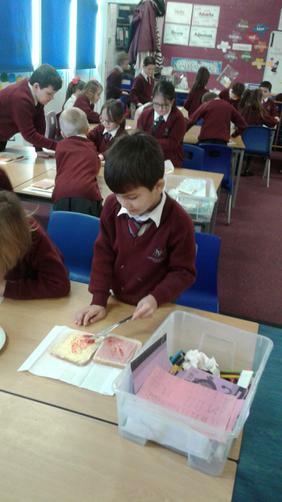 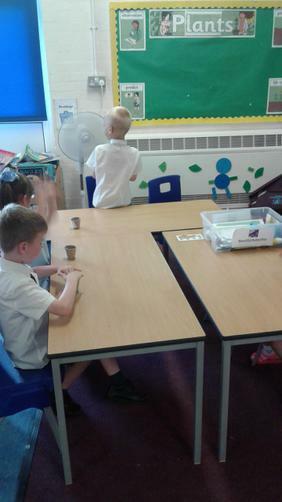 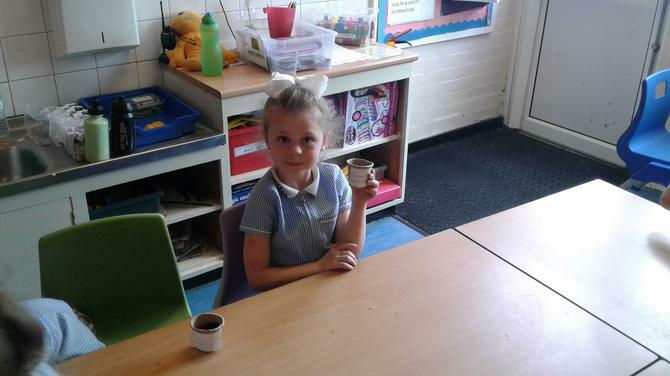 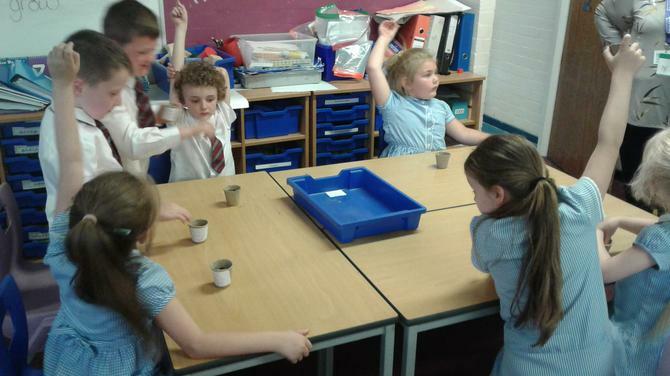 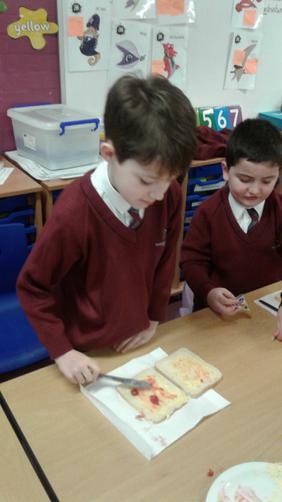 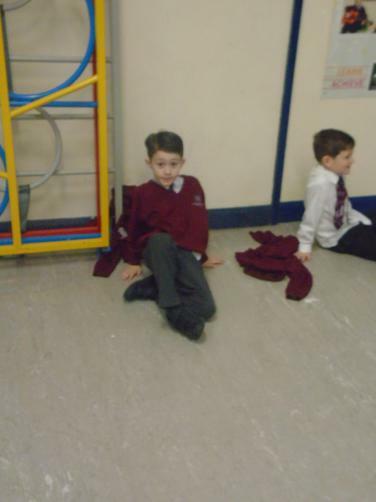 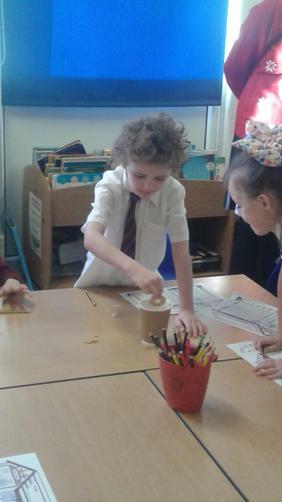 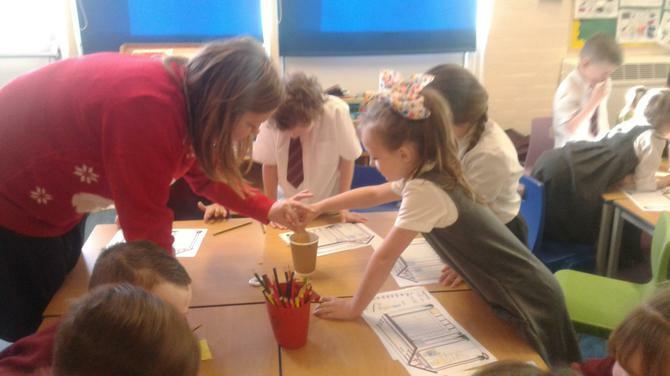 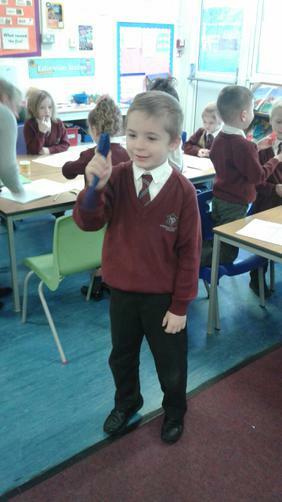 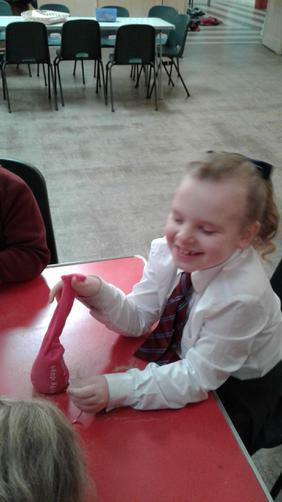 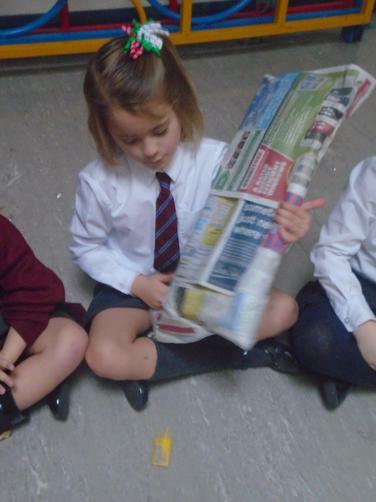 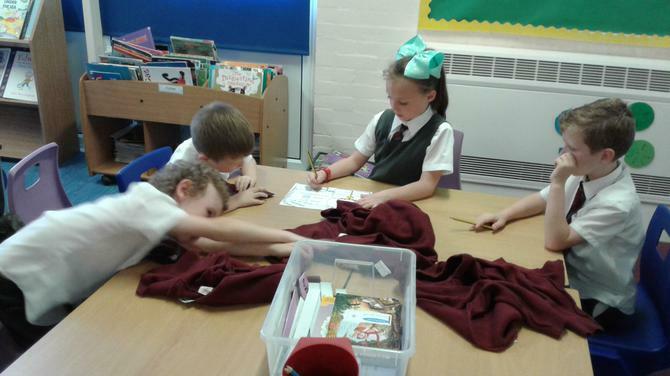 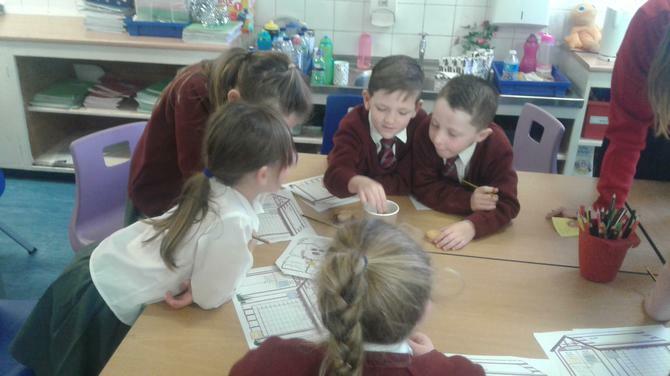 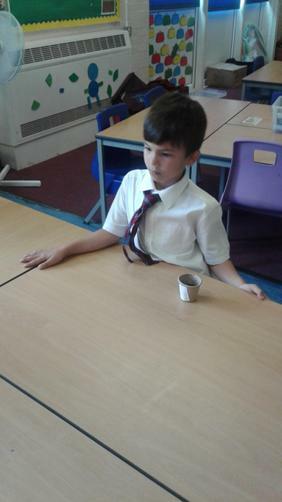 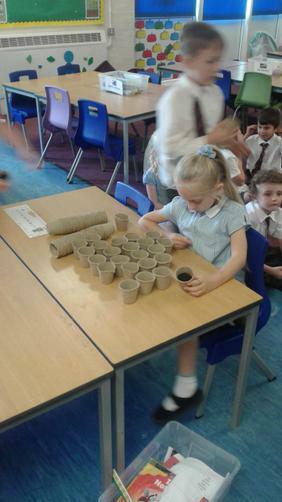 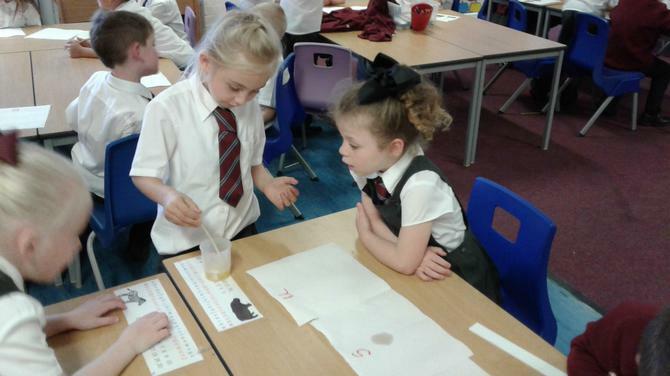 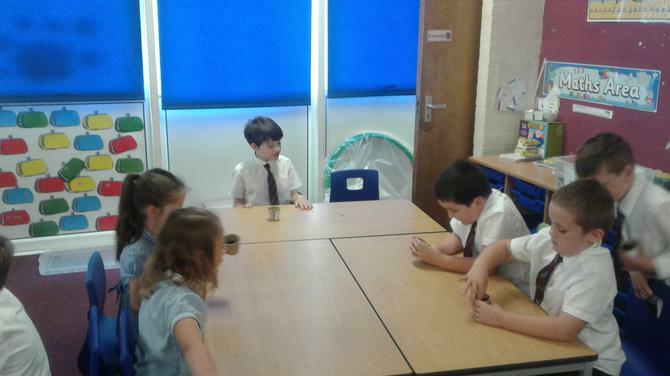 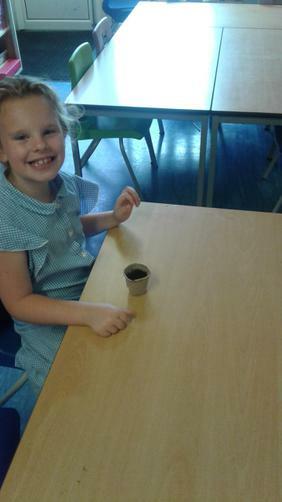 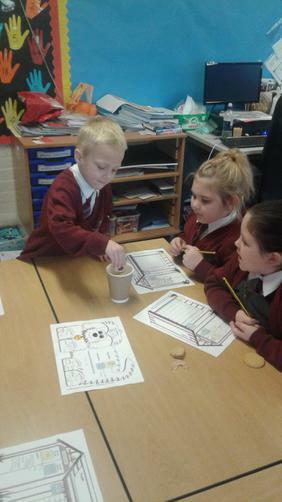 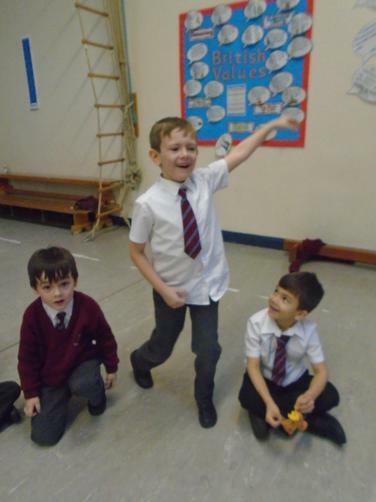 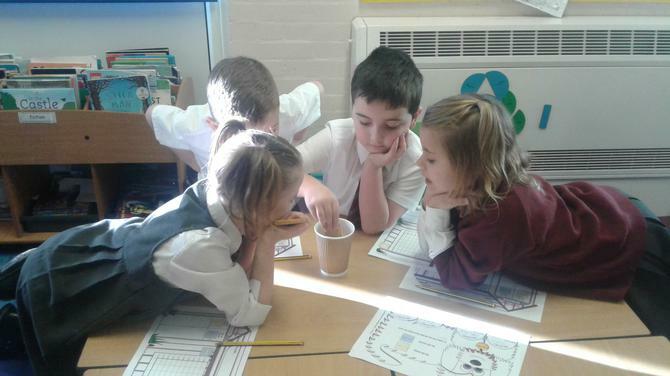 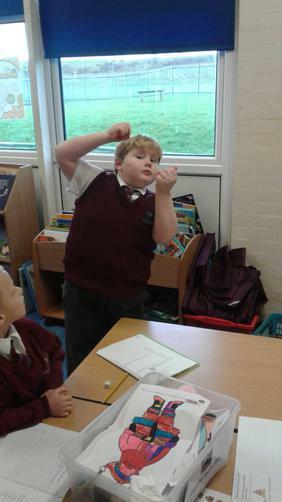 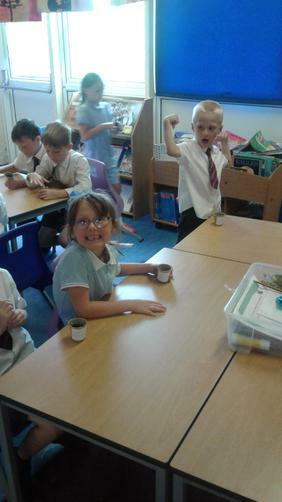 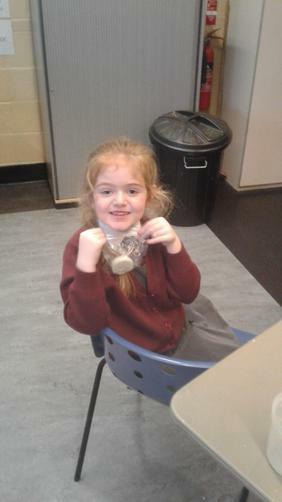 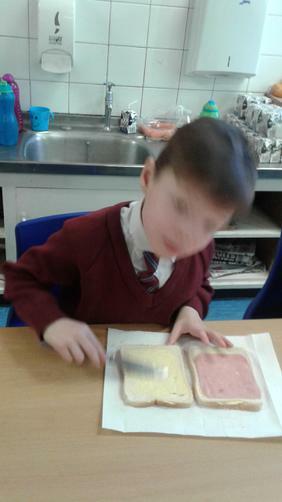 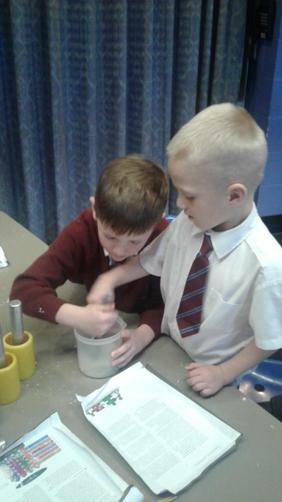 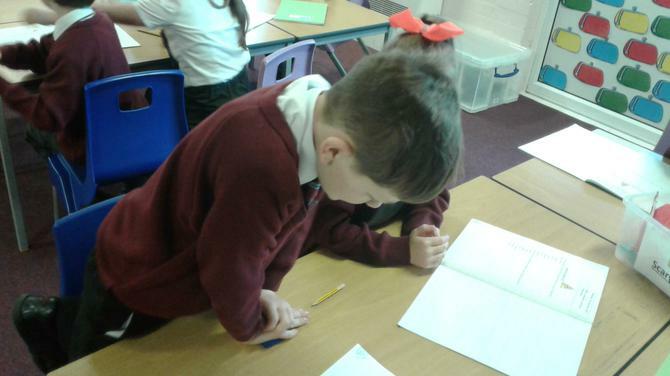 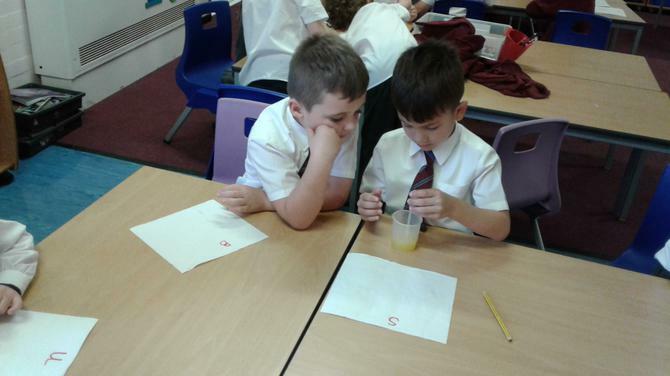 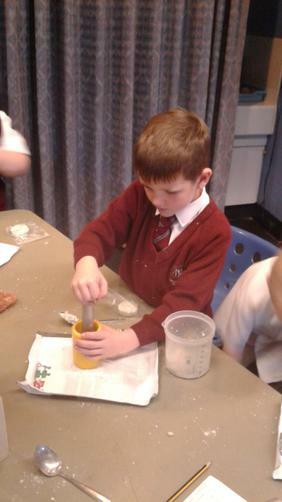 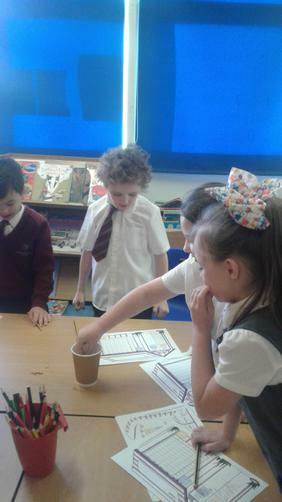 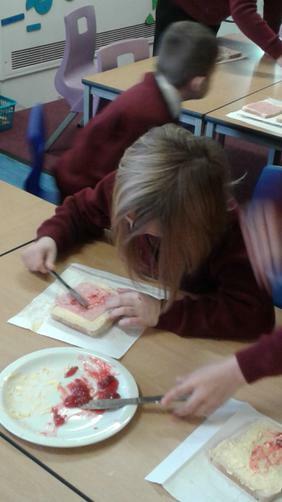 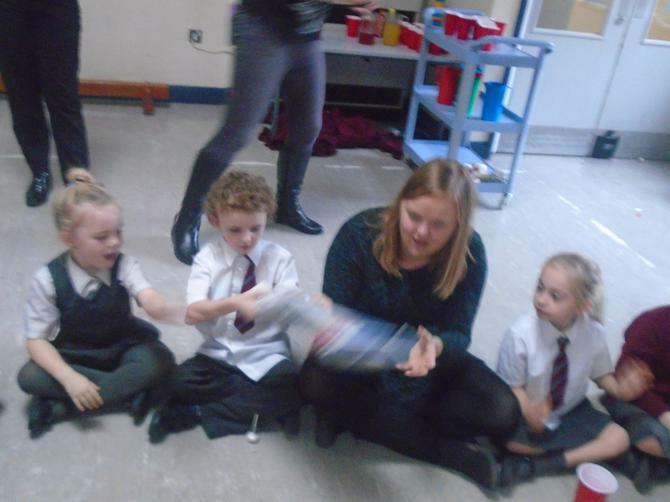 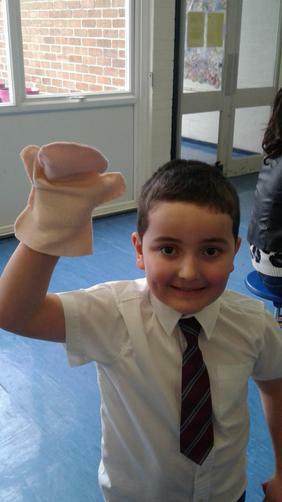 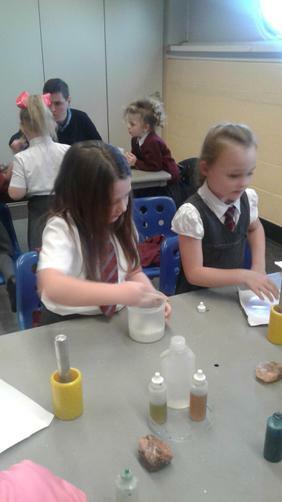 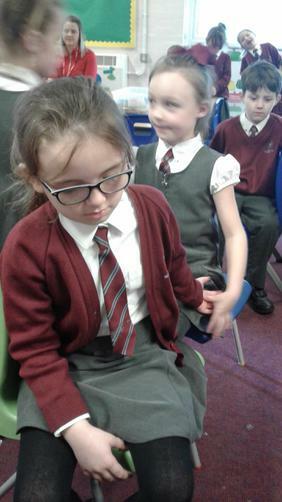 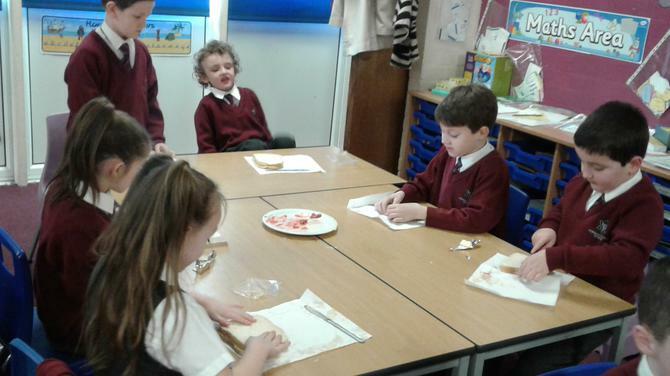 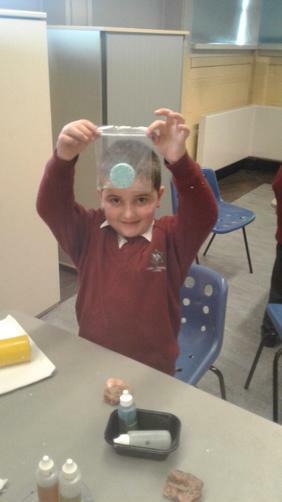 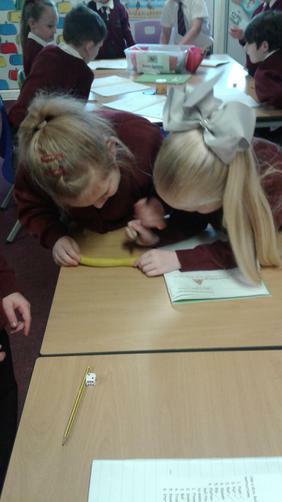 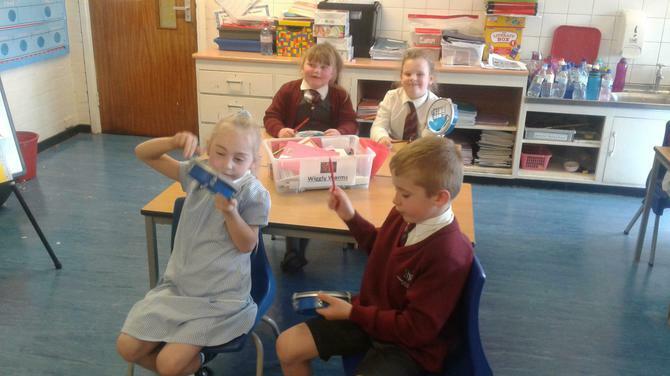 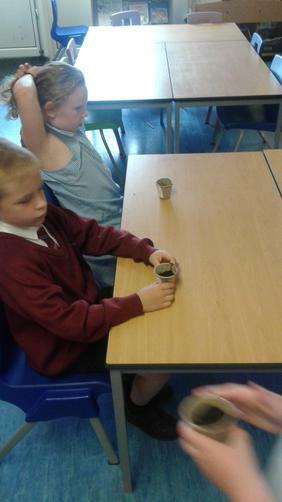 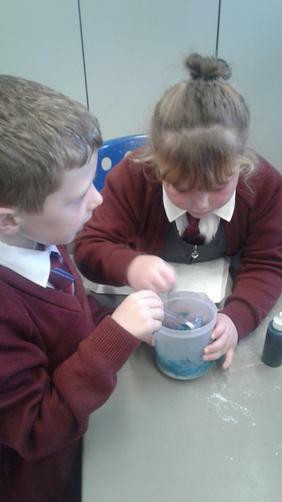 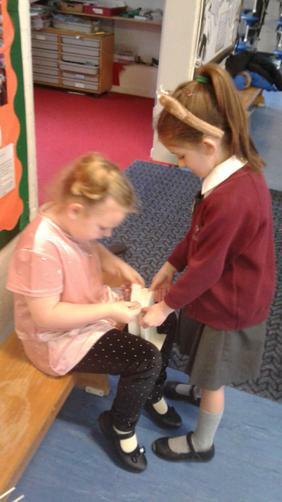 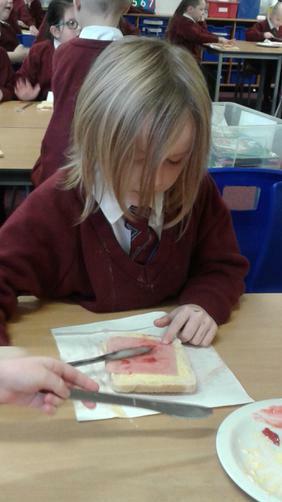 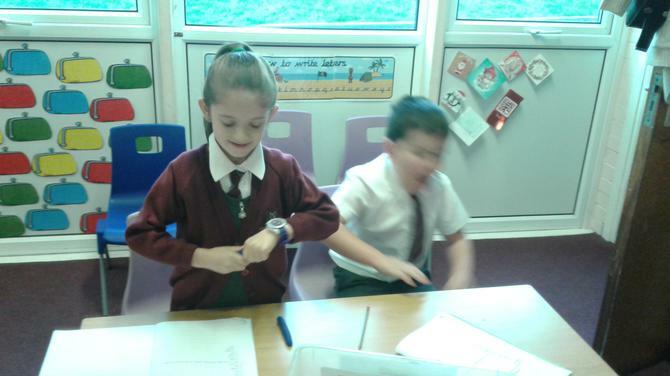 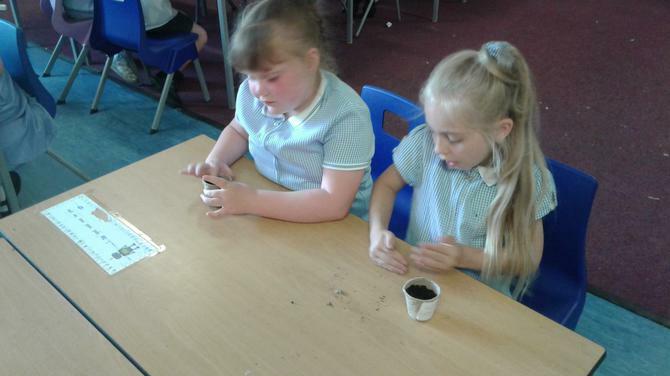 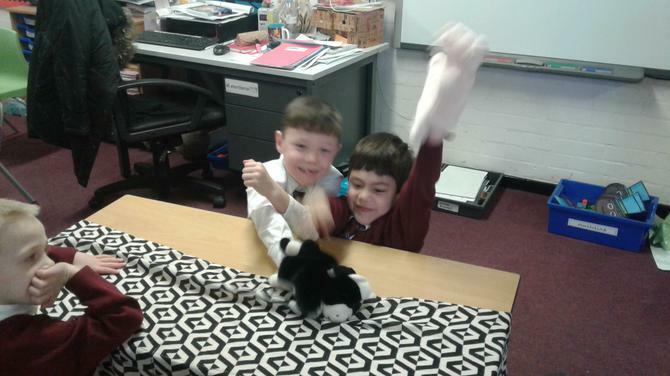 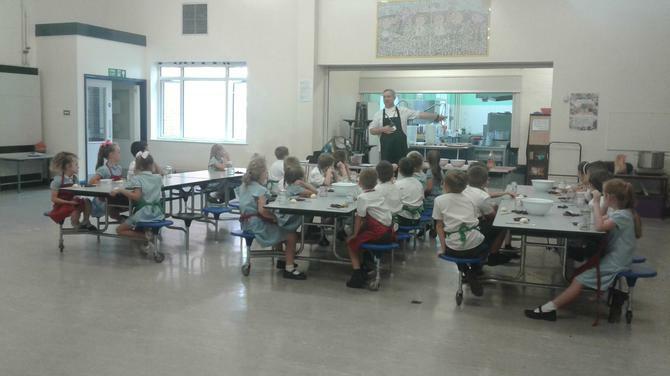 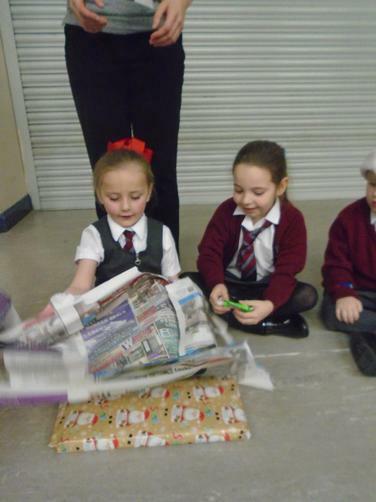 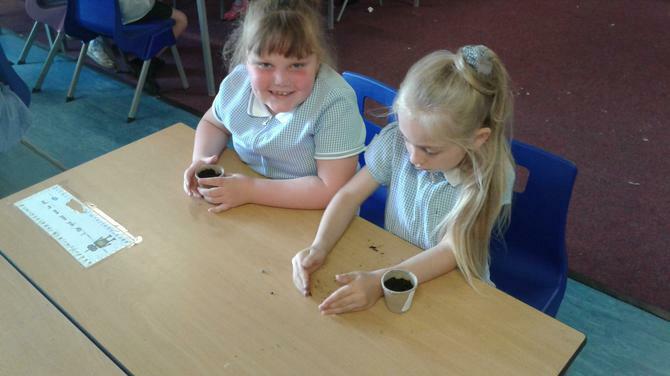 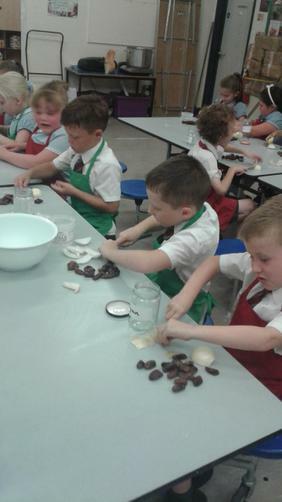 Year 2 took part in a science experiment, testing whick kitchen roll was most absorbent. 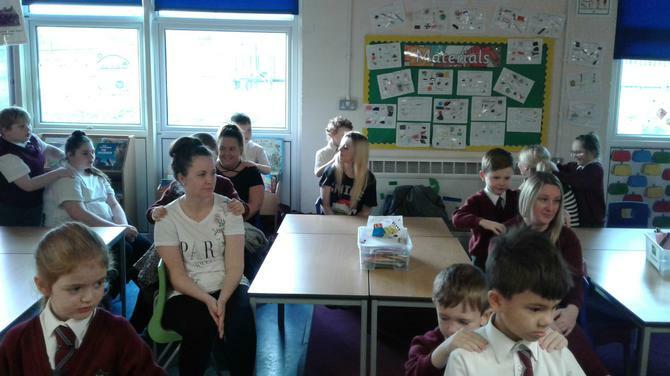 We have had a lovely relaxing morning learning new massage techniques. 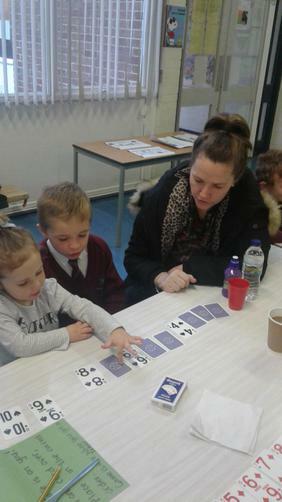 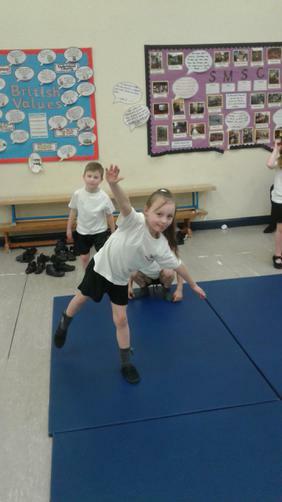 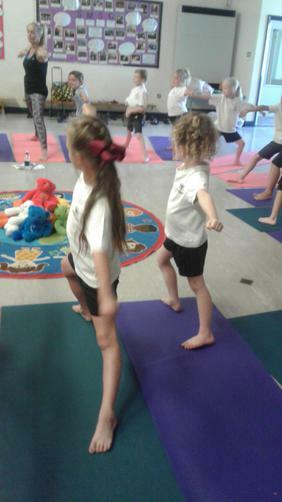 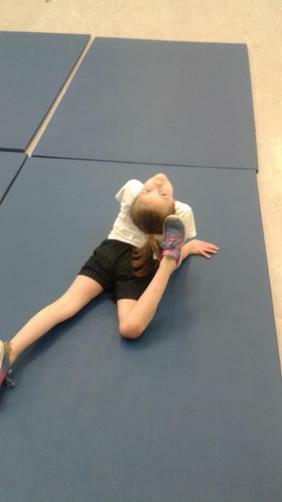 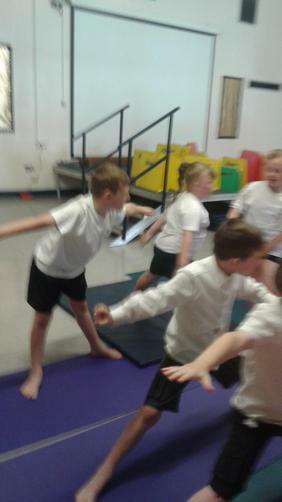 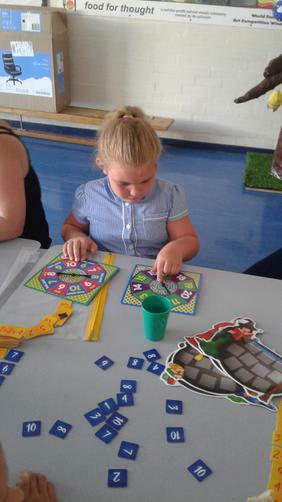 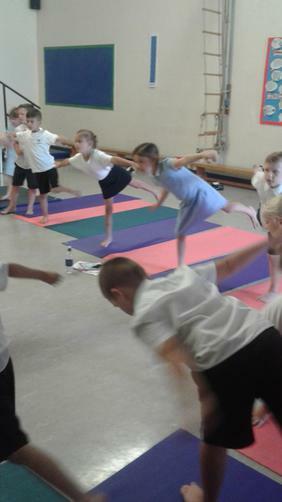 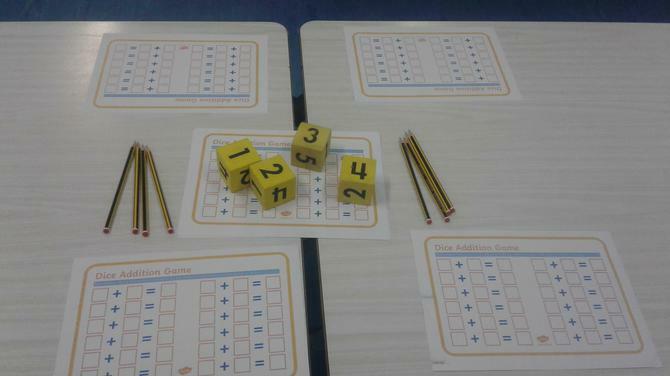 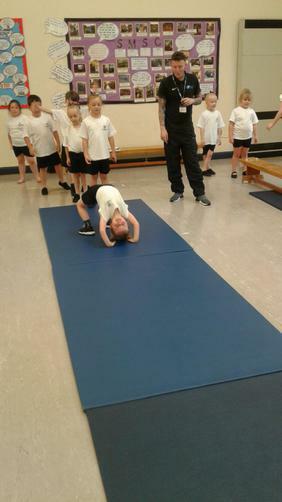 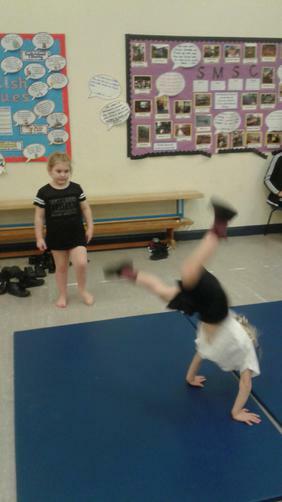 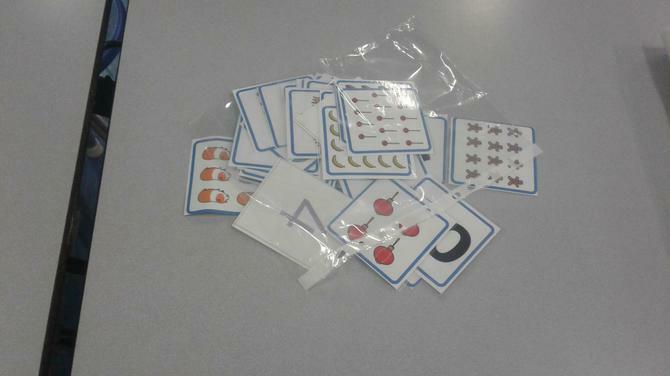 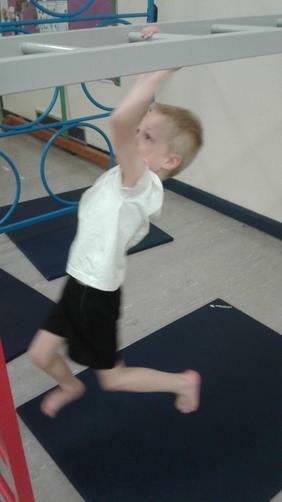 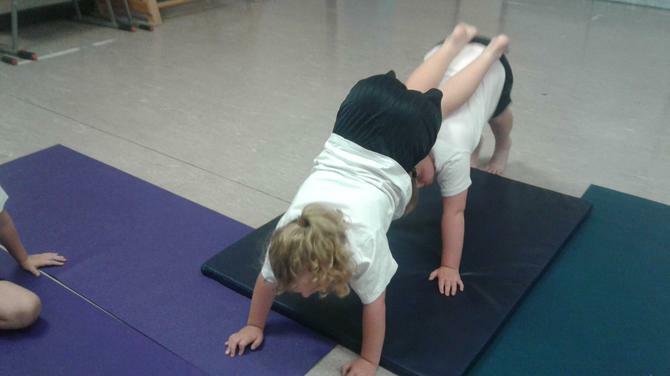 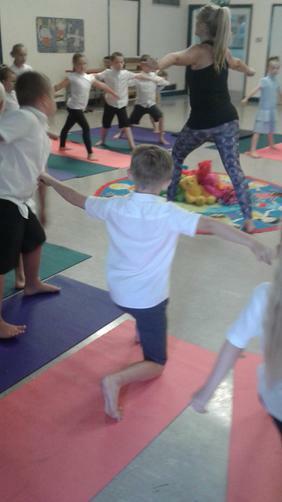 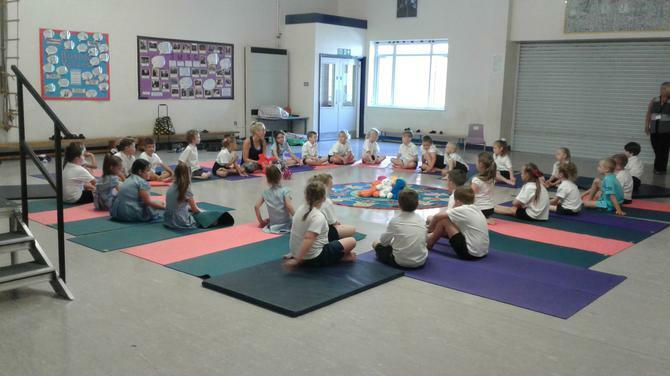 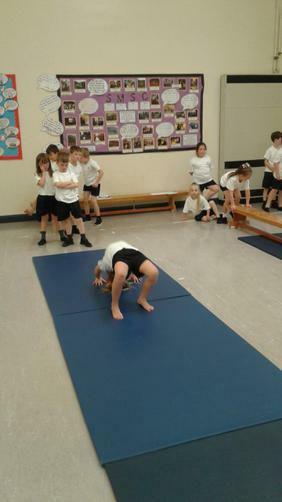 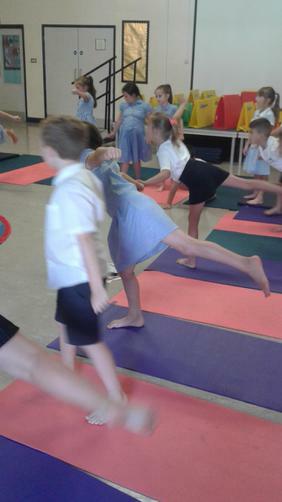 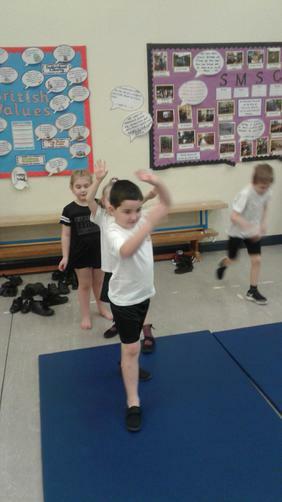 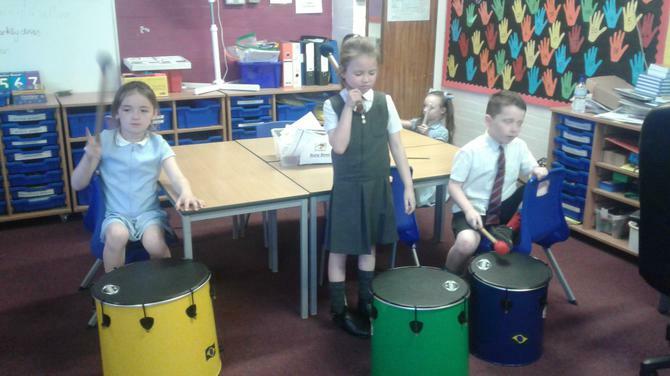 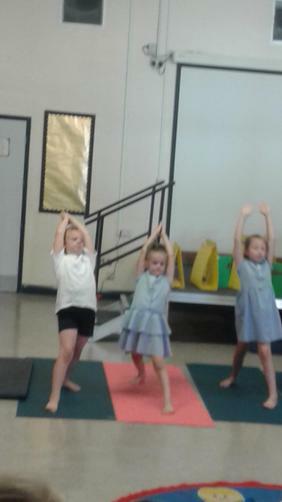 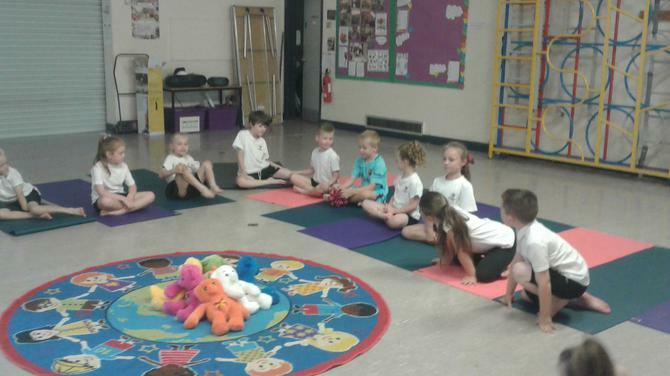 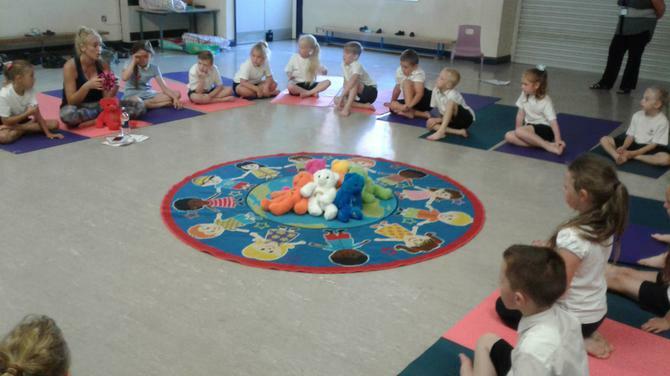 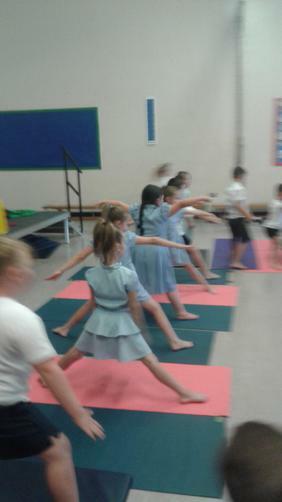 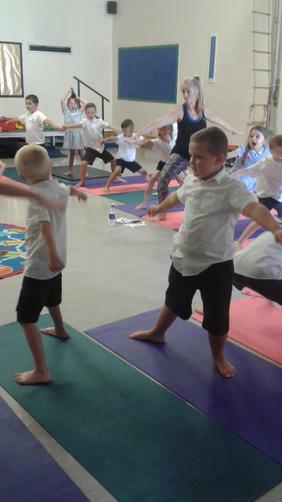 The children really enjoy these sessions and can practice them at home. 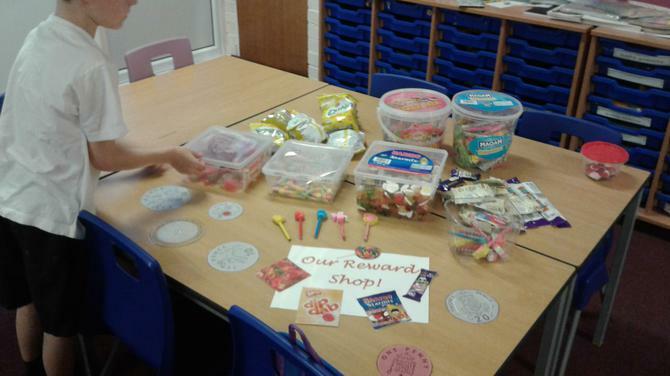 Year 2 shop! 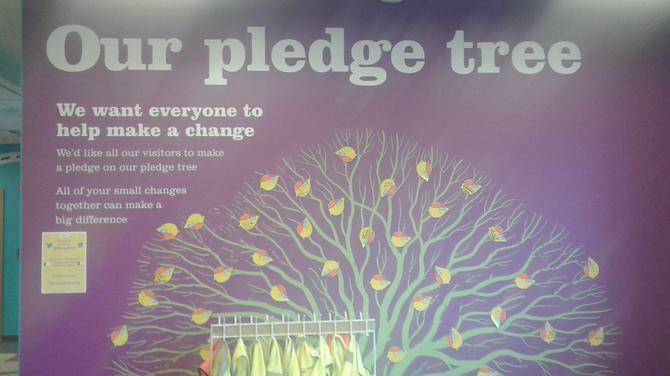 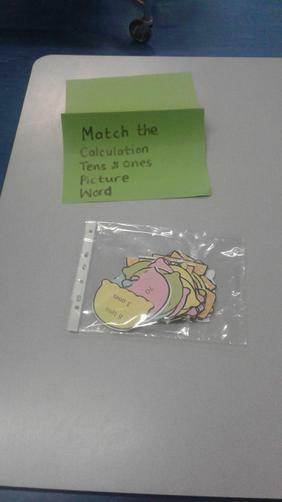 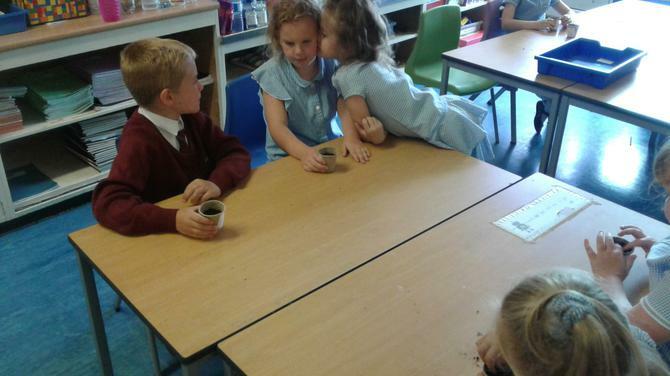 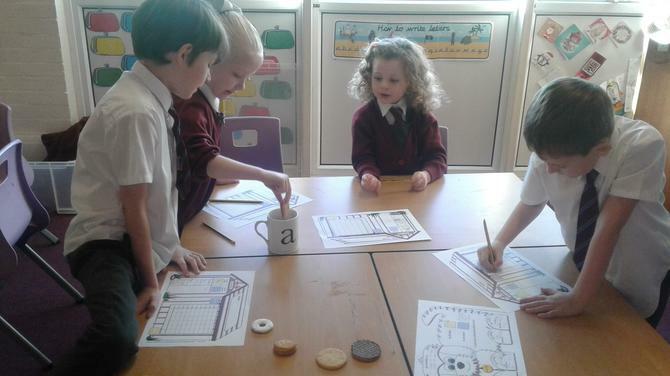 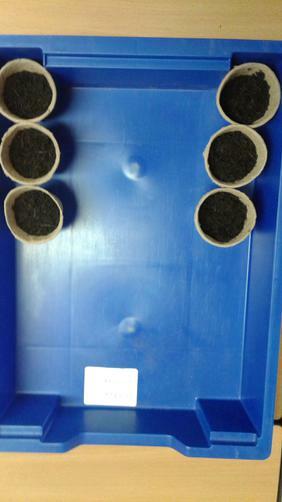 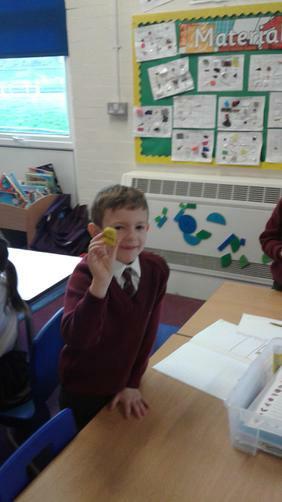 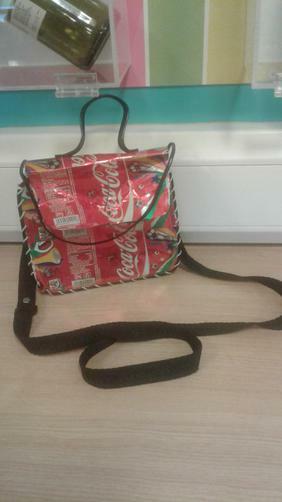 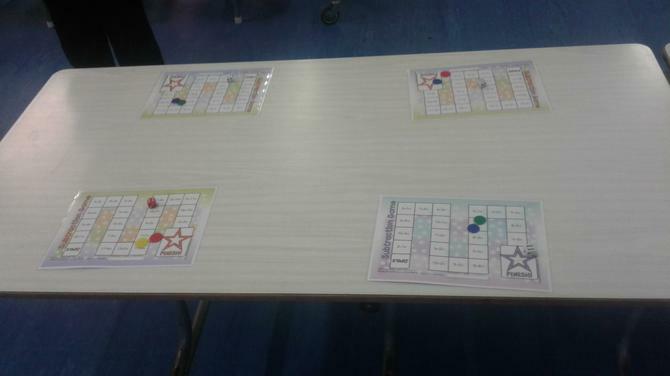 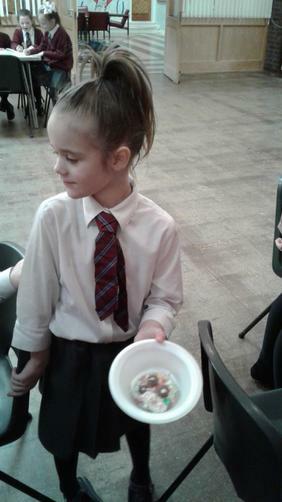 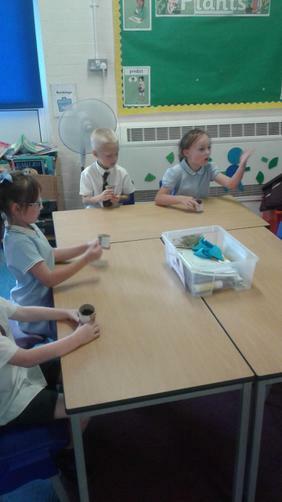 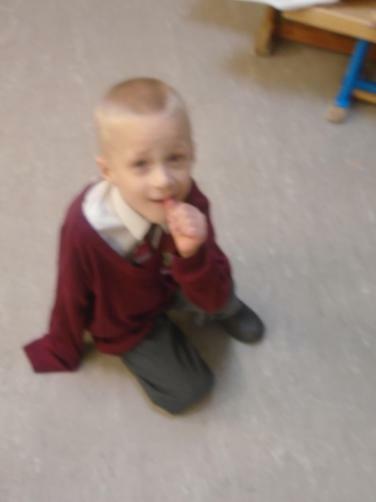 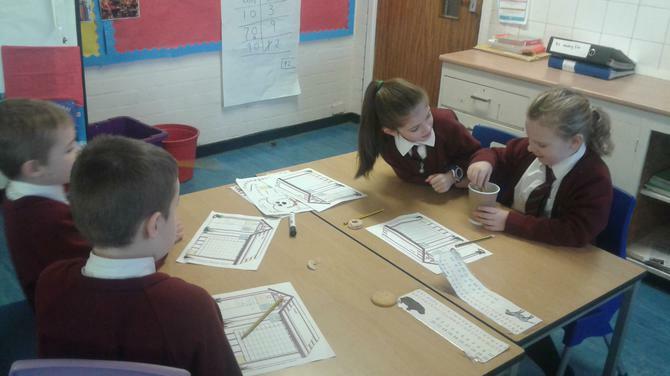 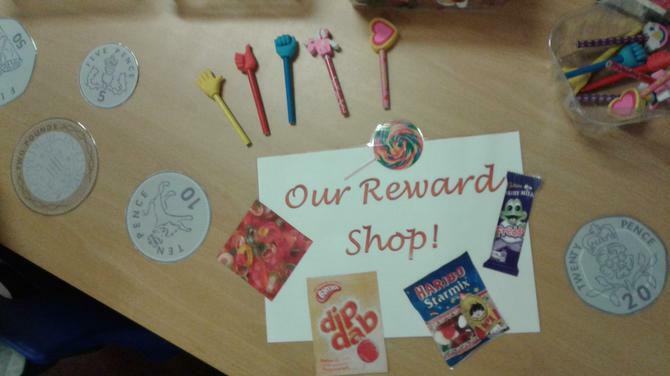 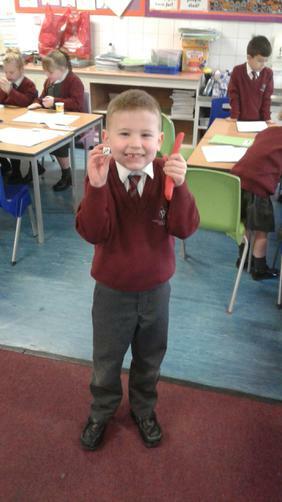 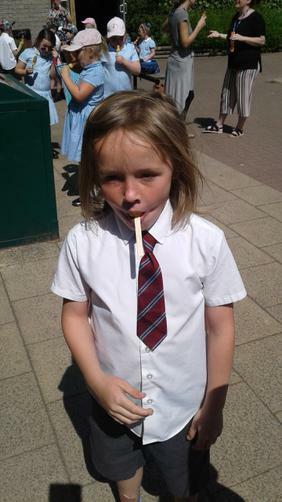 The children can earn pennies during the week for good work and behaviour.